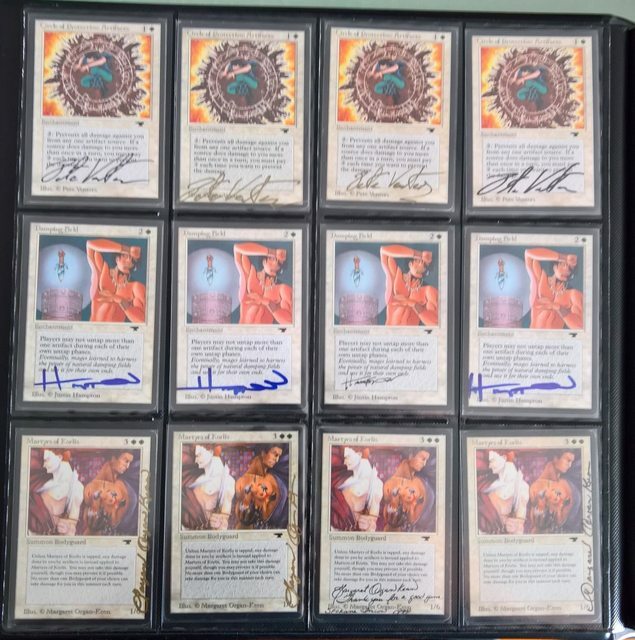 It's been a long time since I posted. 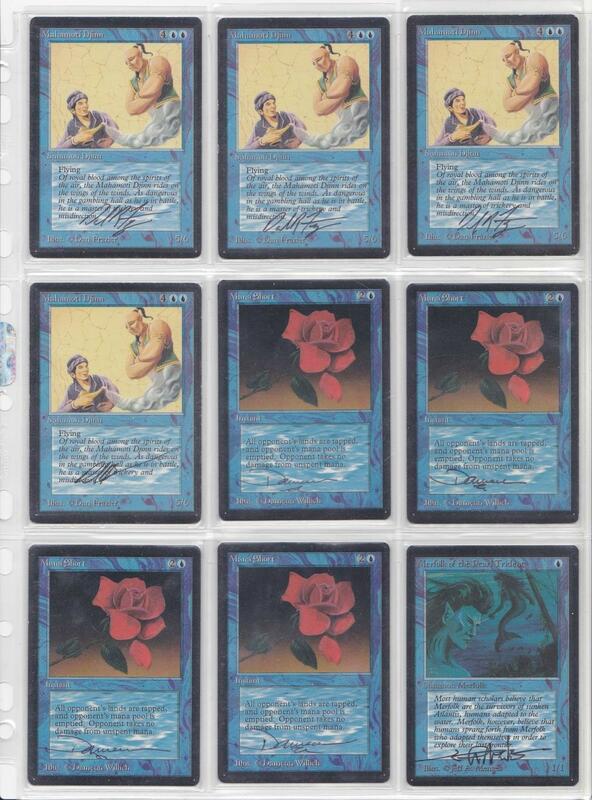 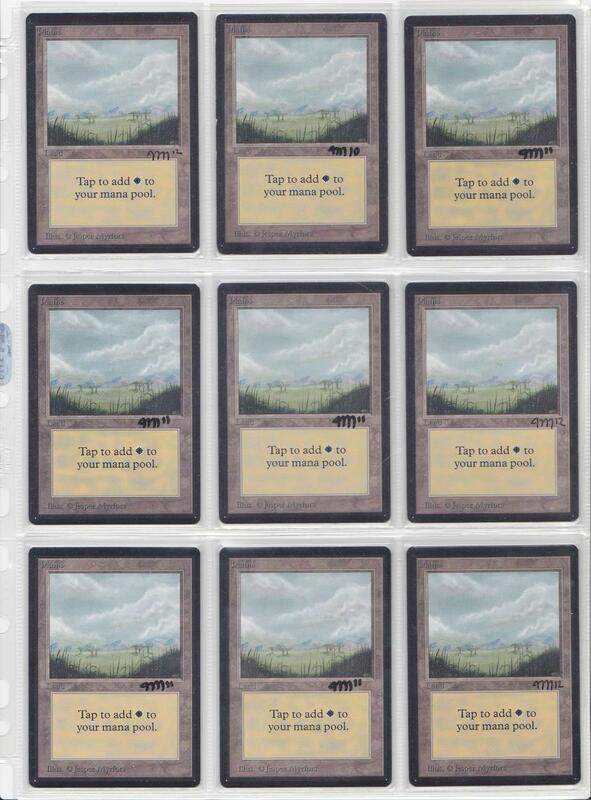 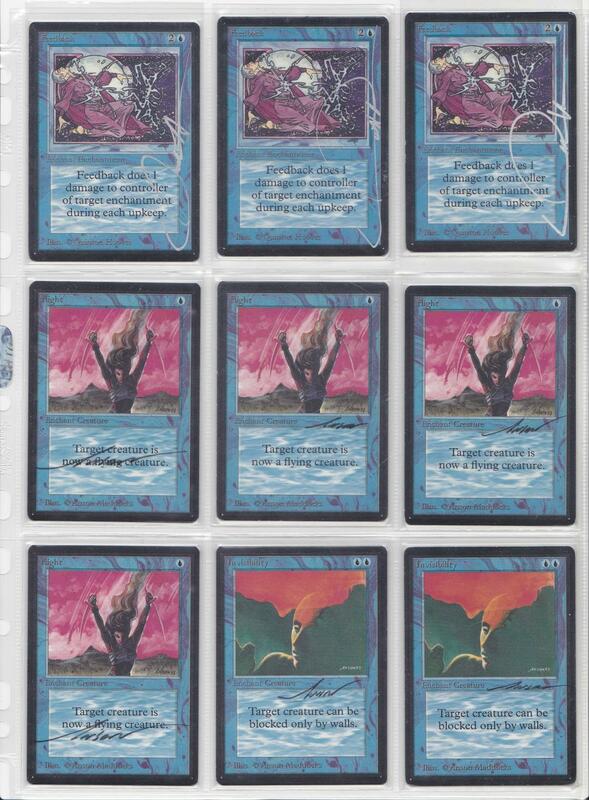 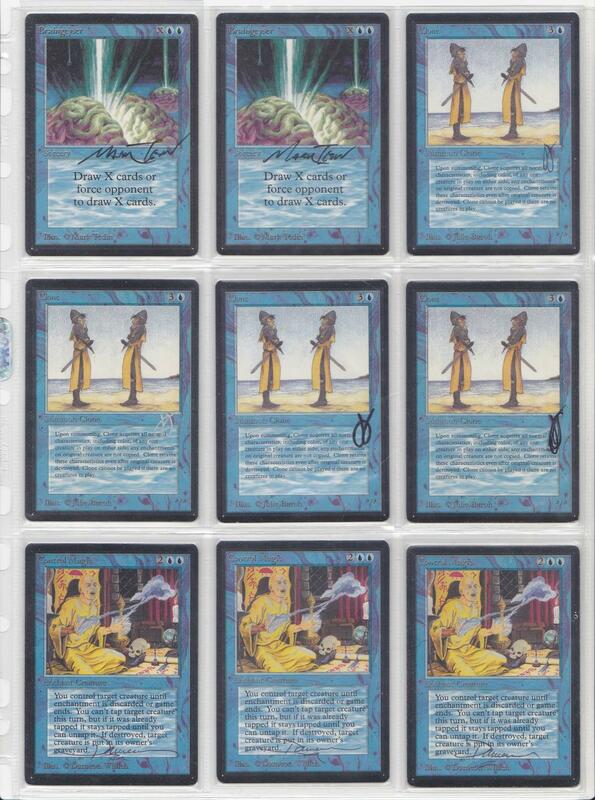 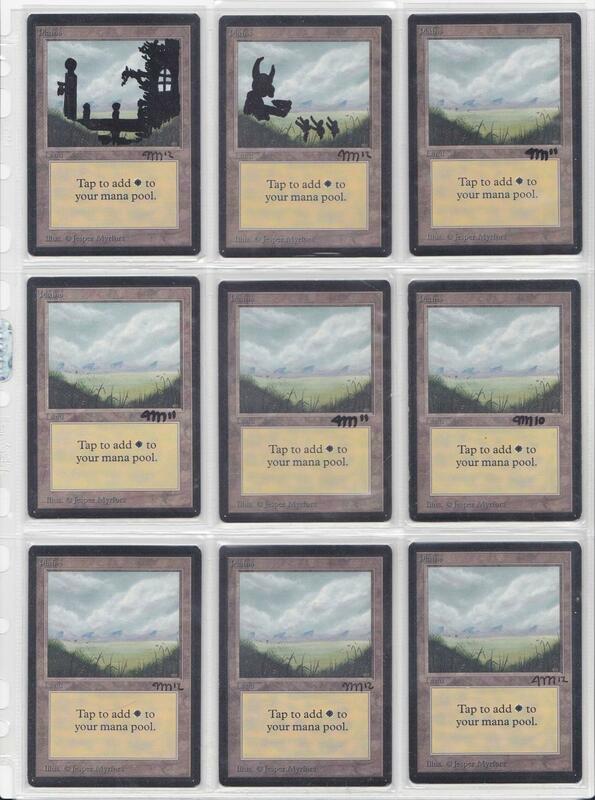 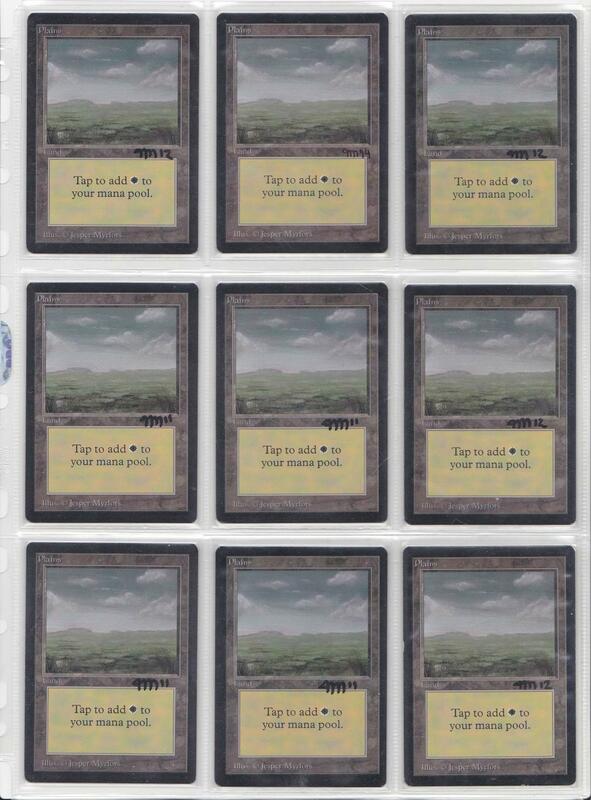 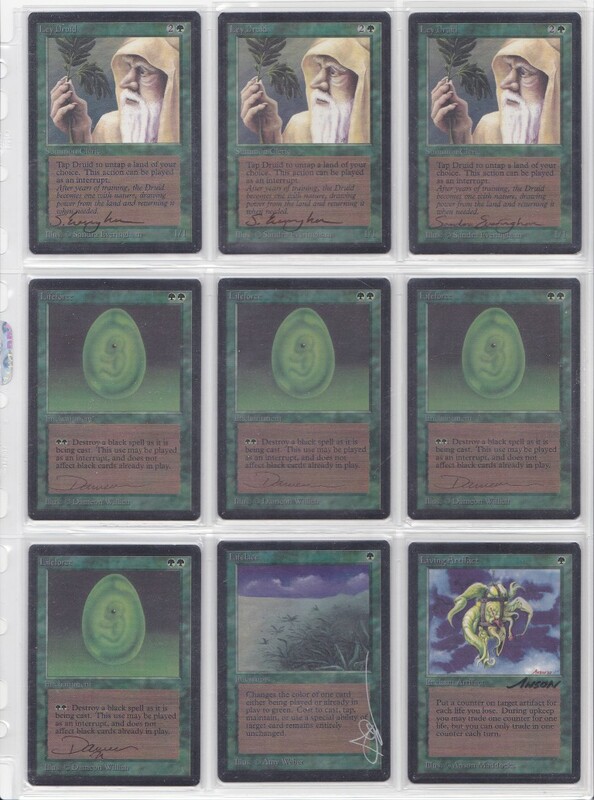 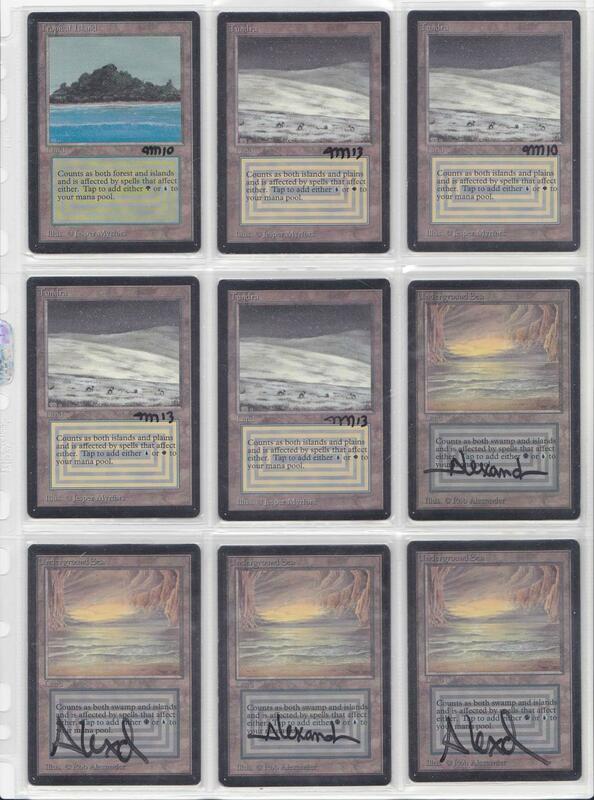 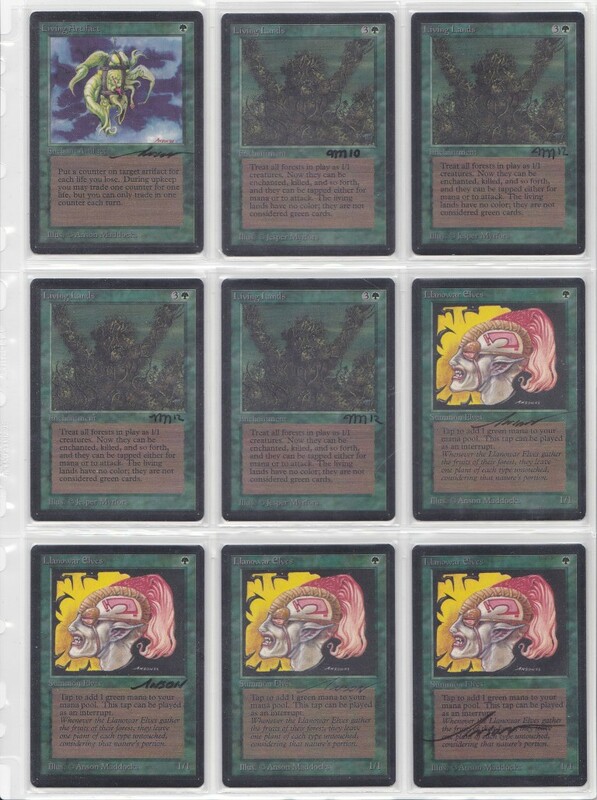 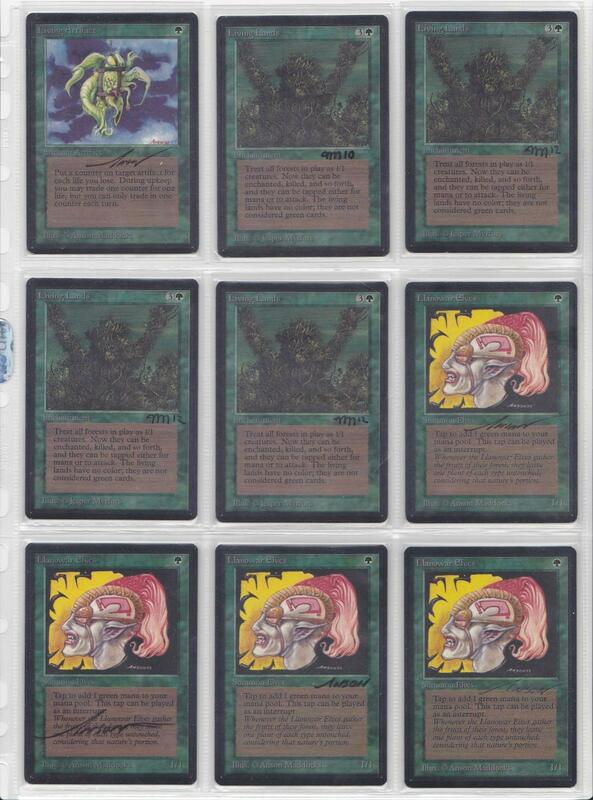 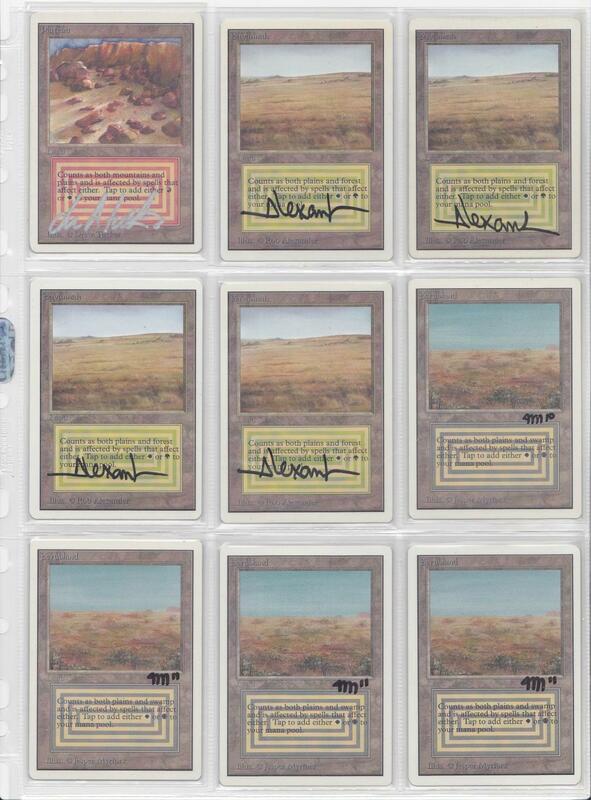 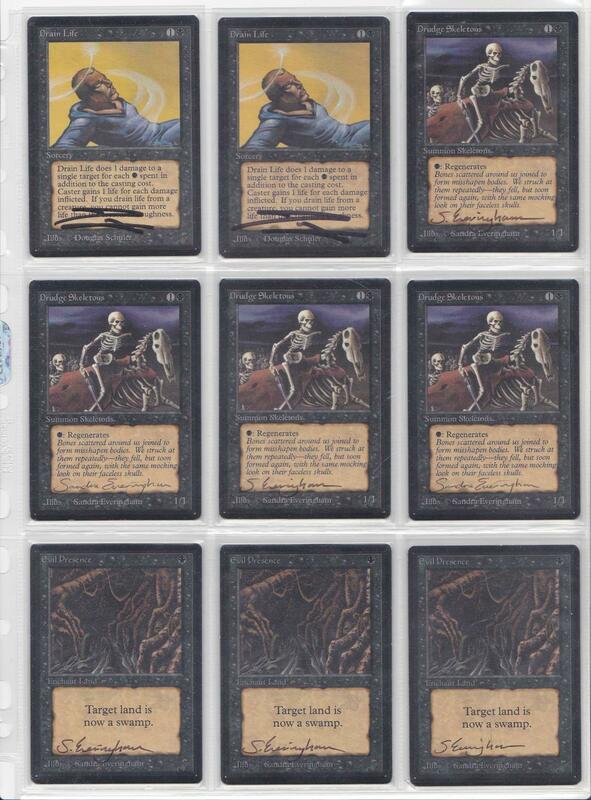 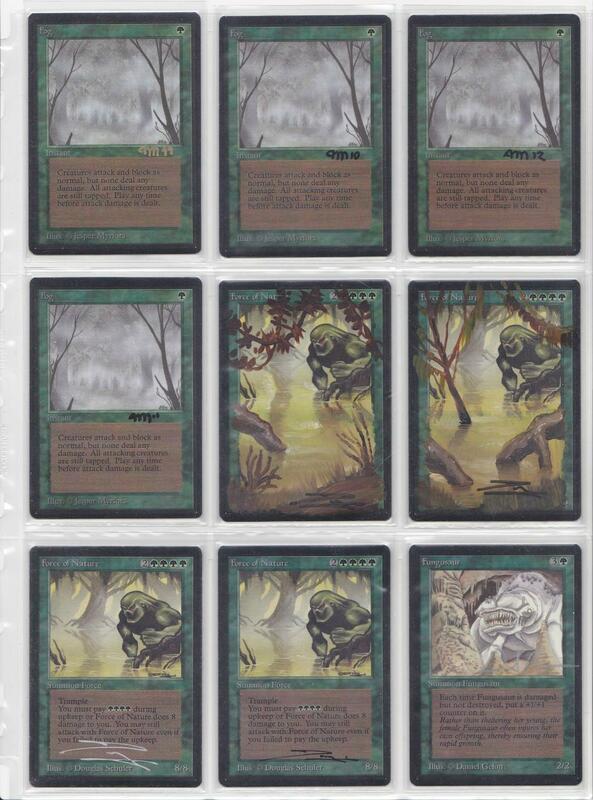 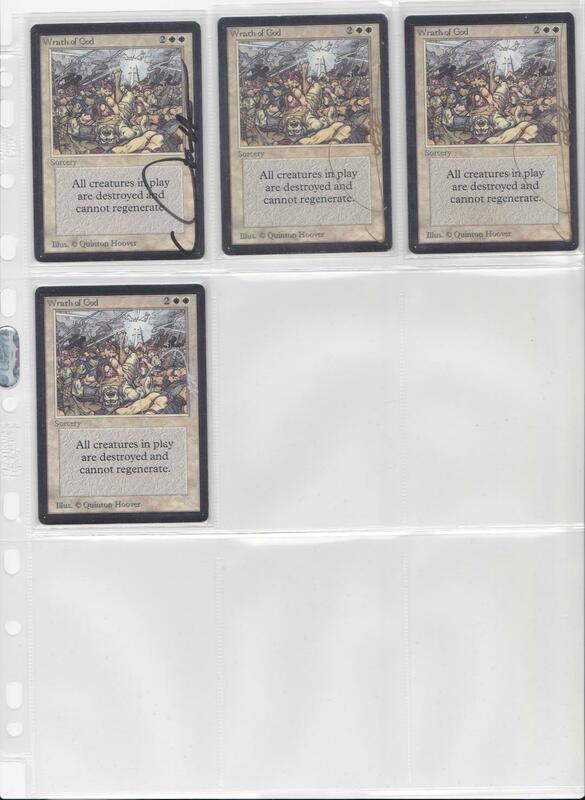 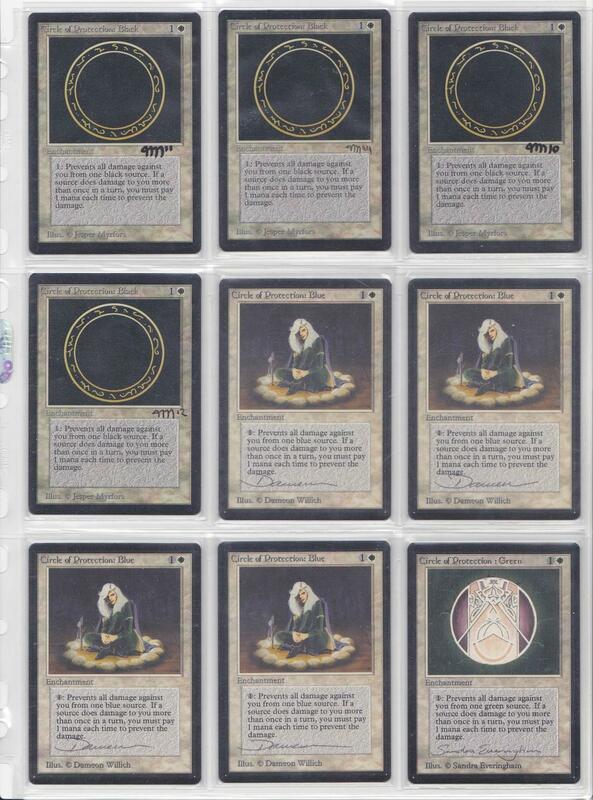 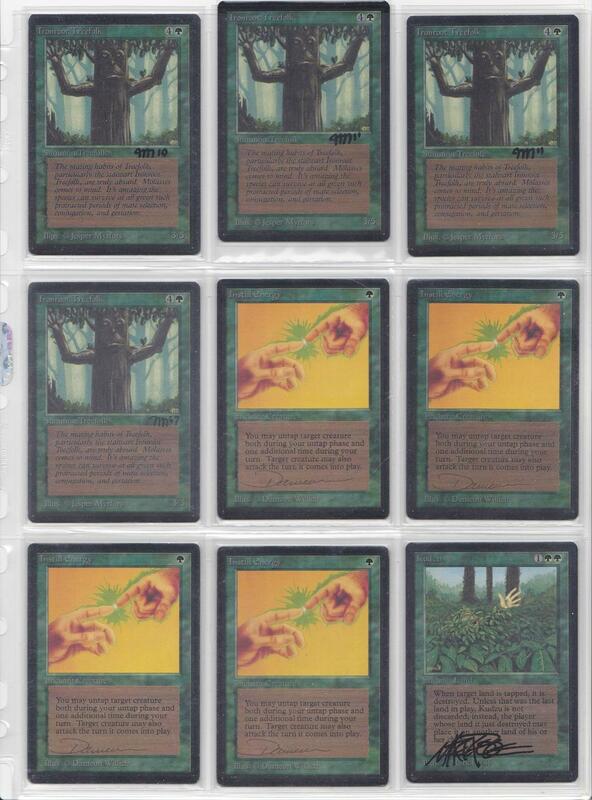 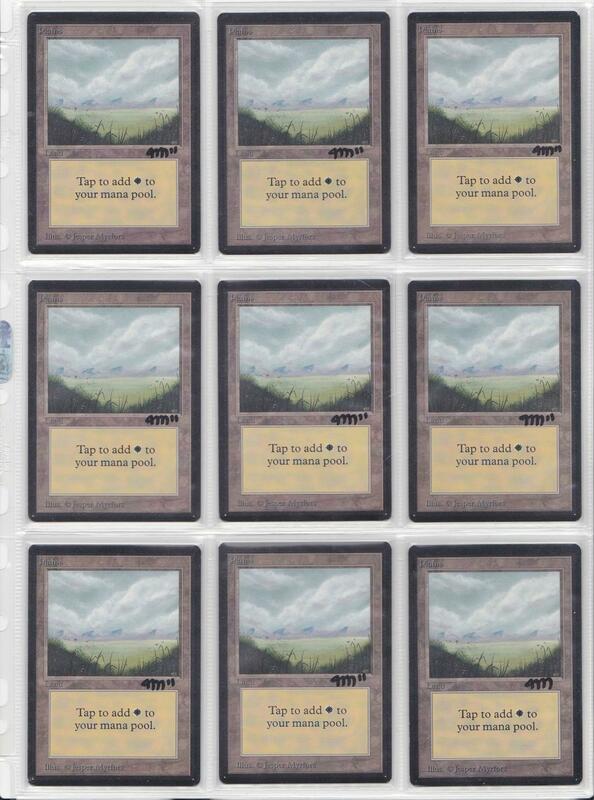 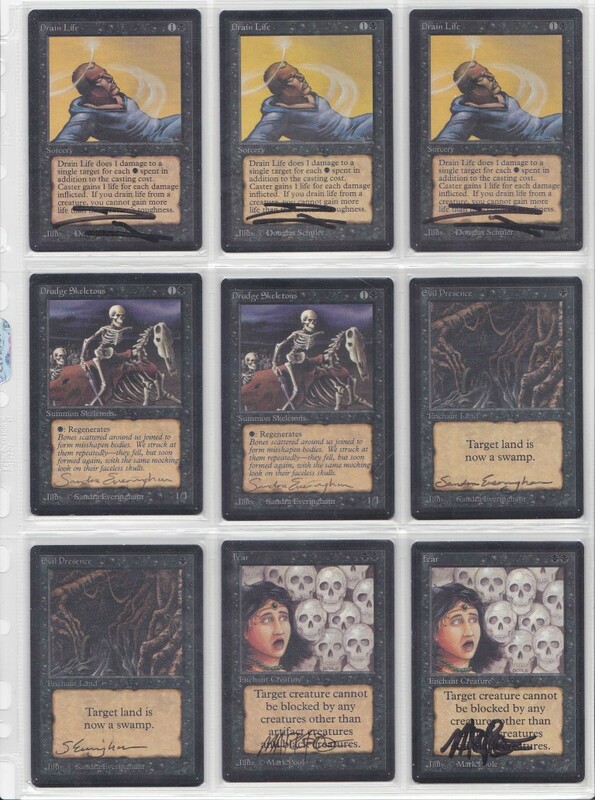 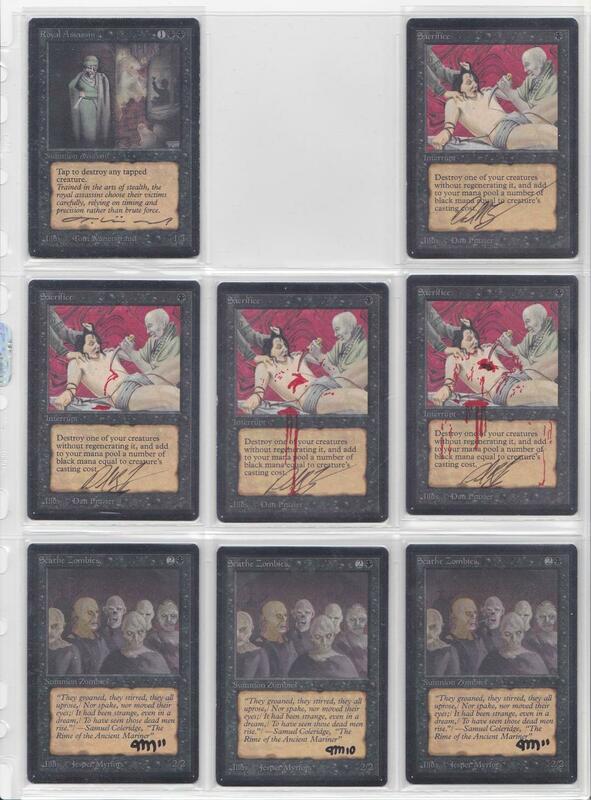 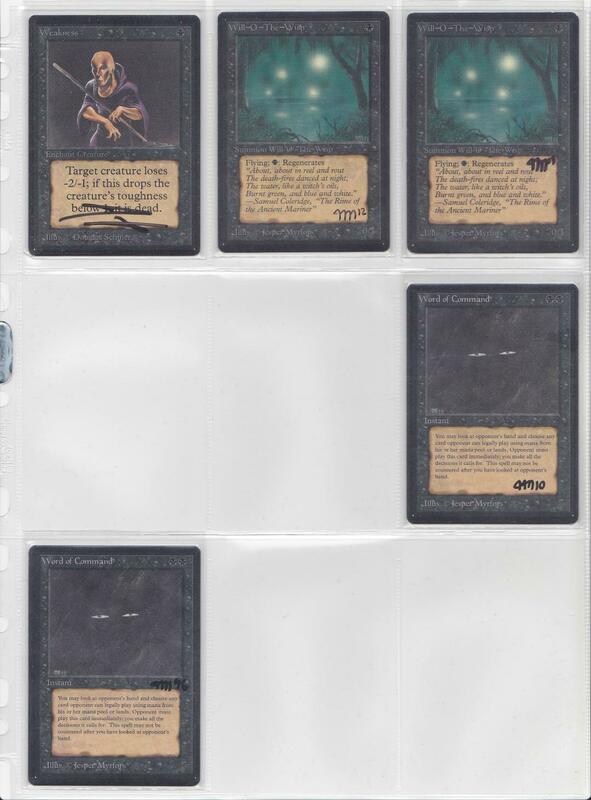 One reason was that my original collection thread started to look a bit odd. 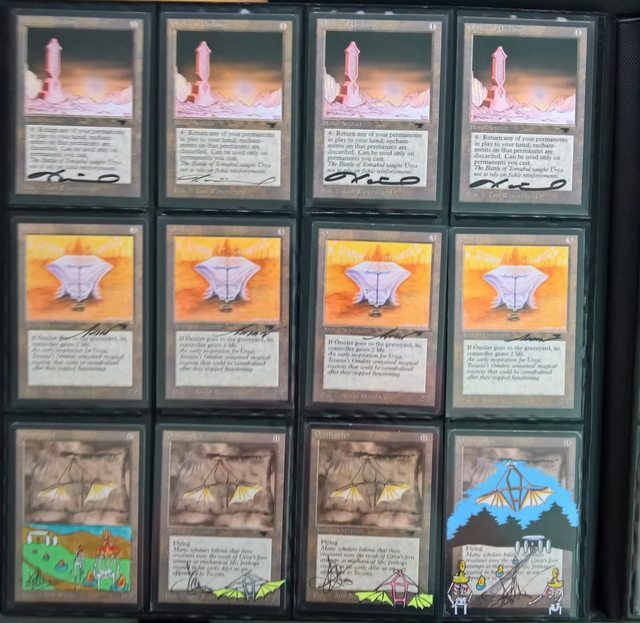 The different sets were all over the place. 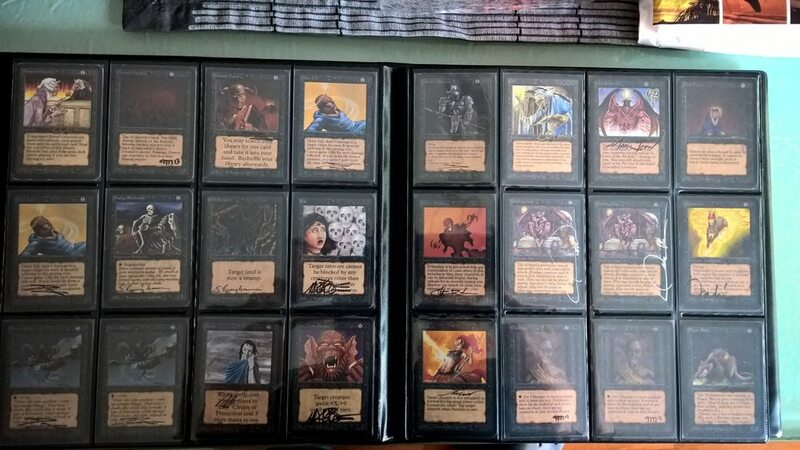 With this thread I want to show all the sets (in biographical order...High Fidelity FTW!) 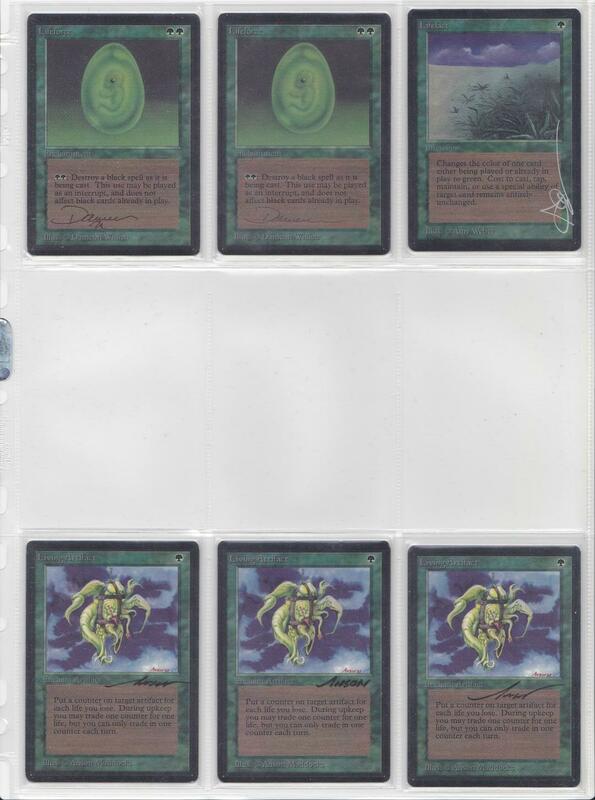 on the first page. 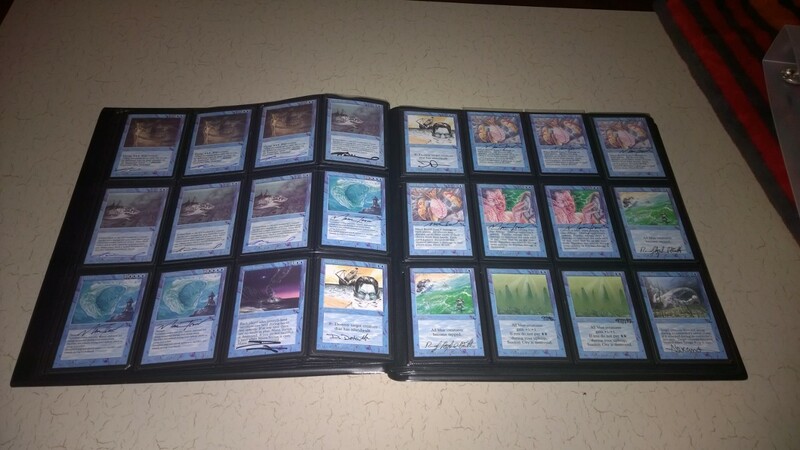 3rd Set - 6th December 2011 - Beta ---> This post includes the updates of the set from 2012 and 2013 at the end. 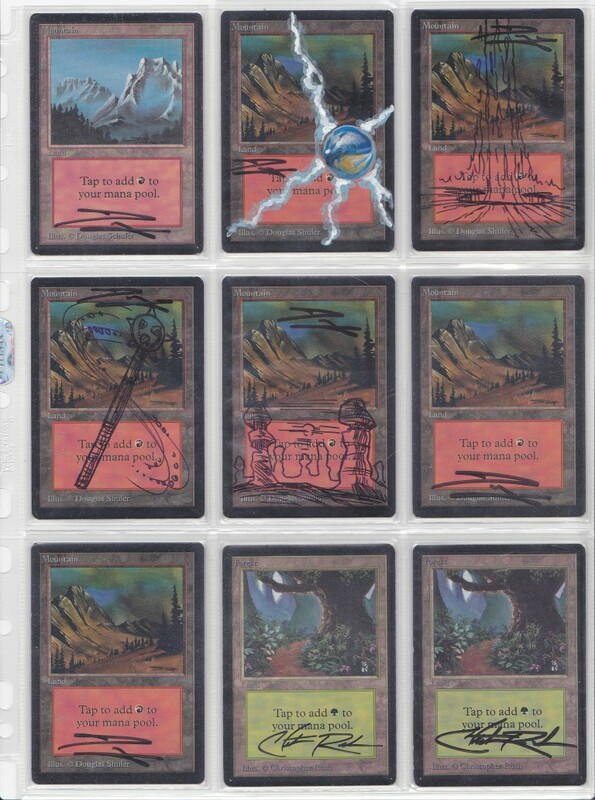 Last edited by markers on Wed Apr 18, 2018 2:28 pm, edited 16 times in total. 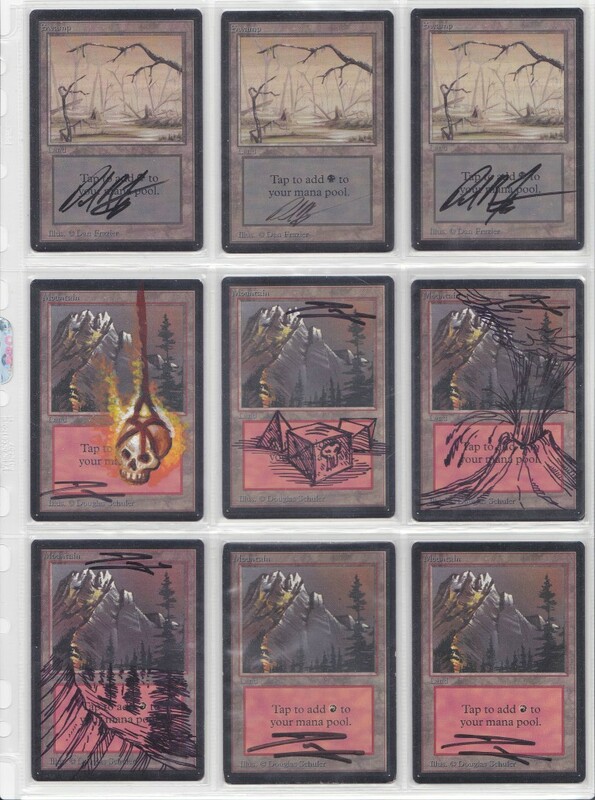 Last edited by markers on Sat May 27, 2017 3:04 pm, edited 3 times in total. 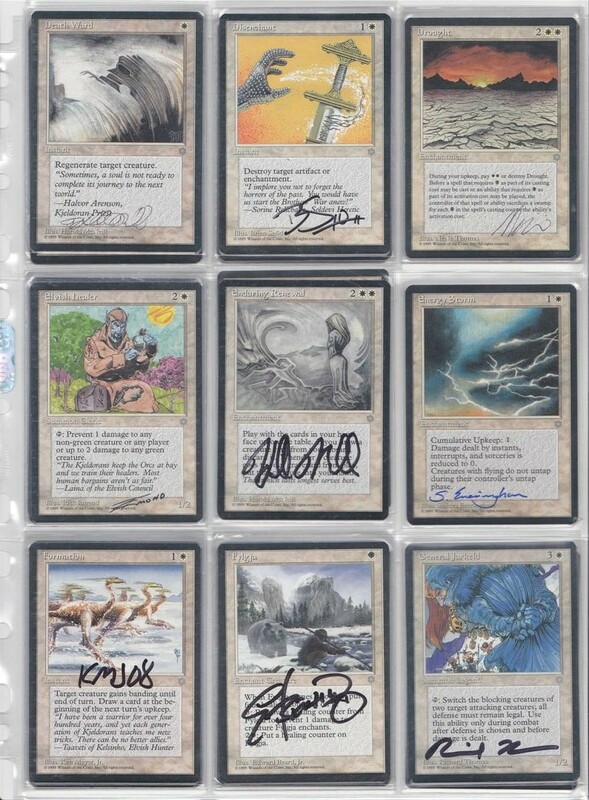 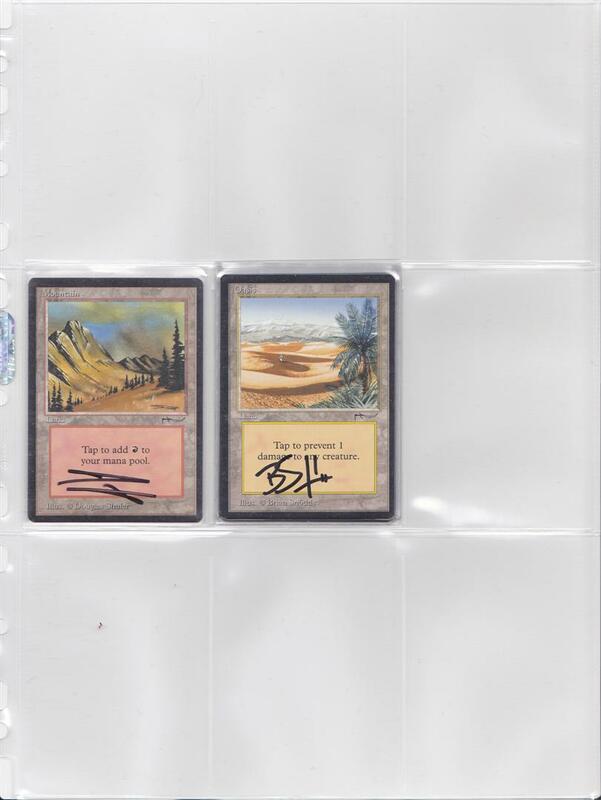 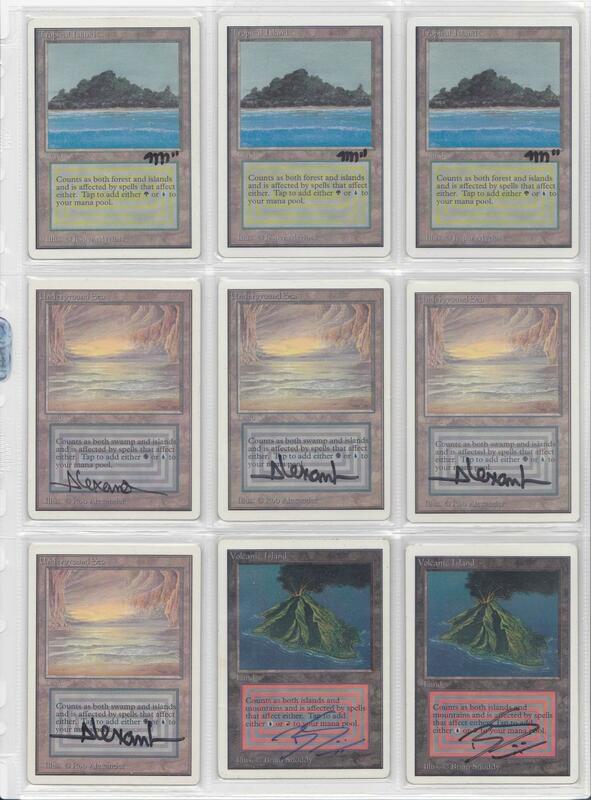 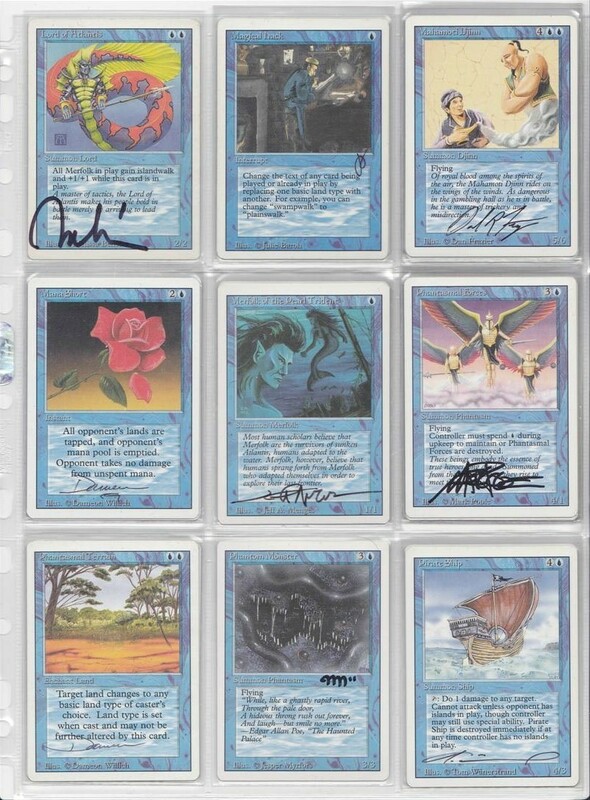 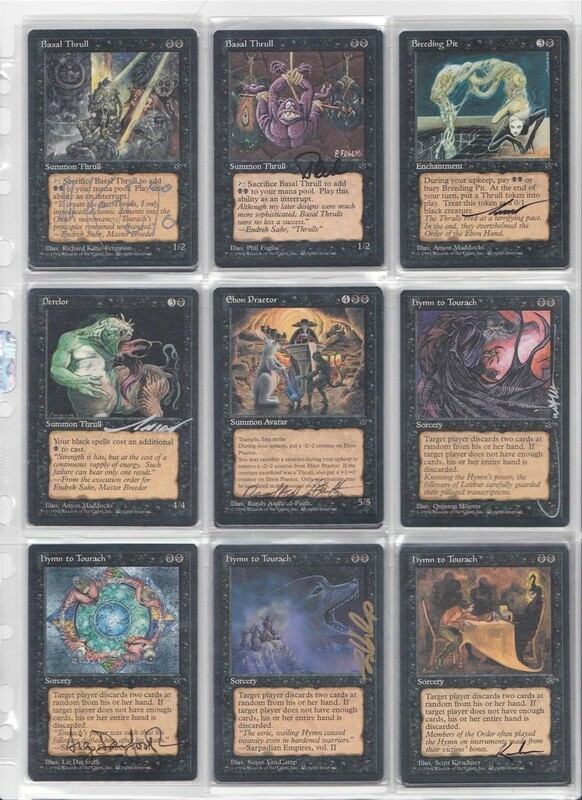 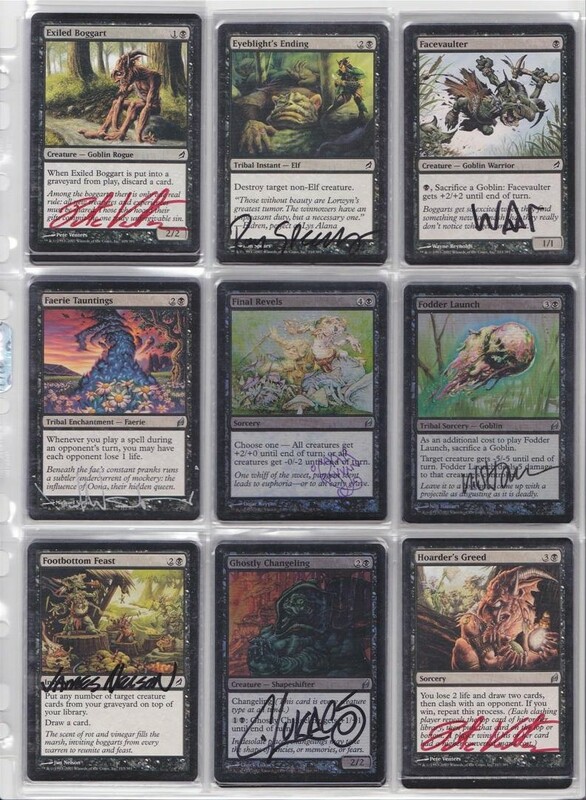 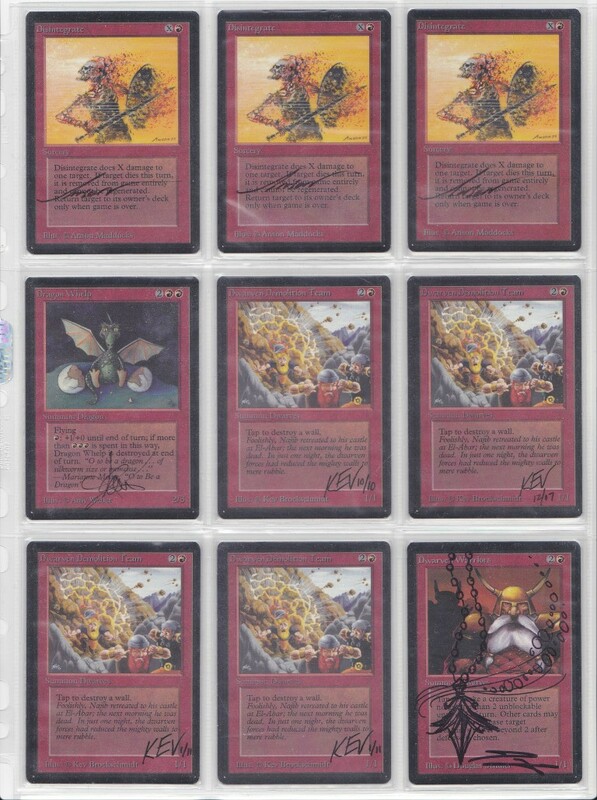 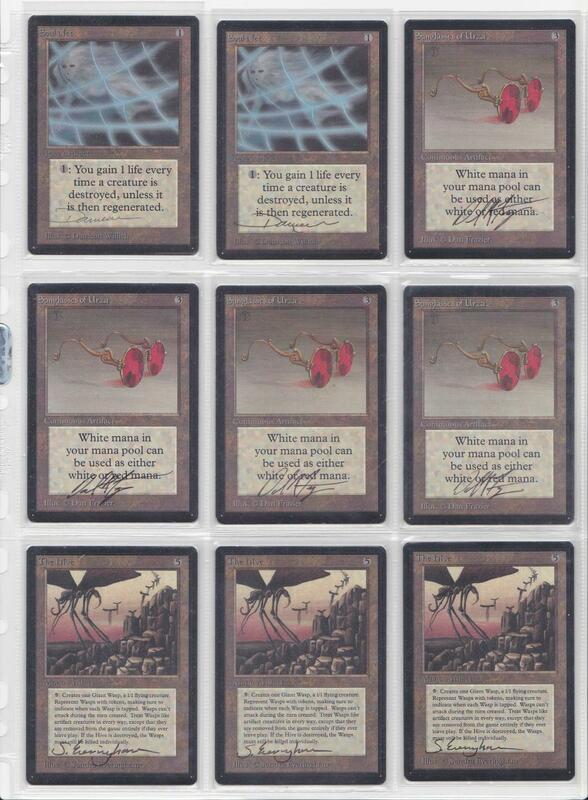 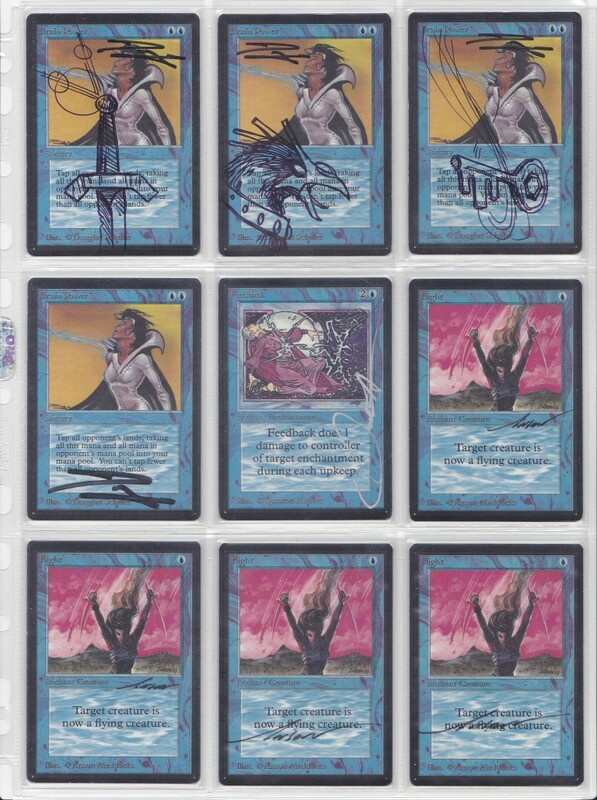 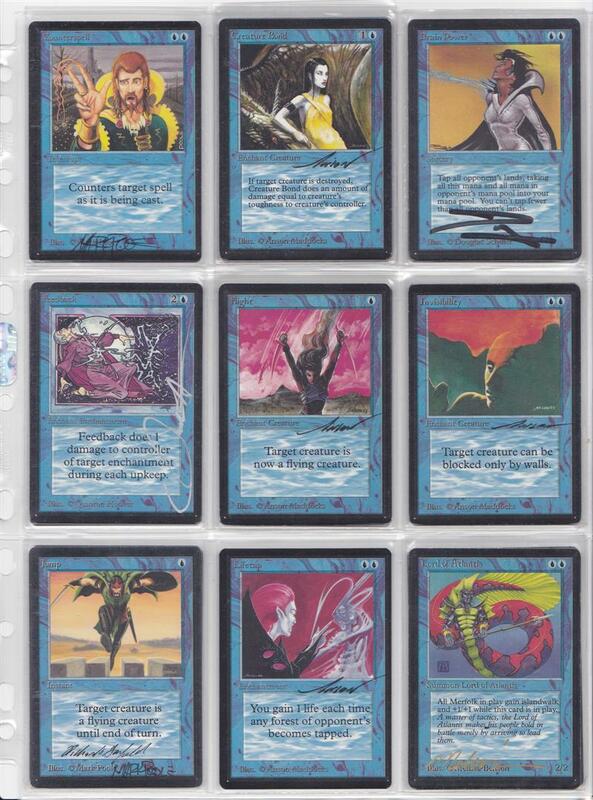 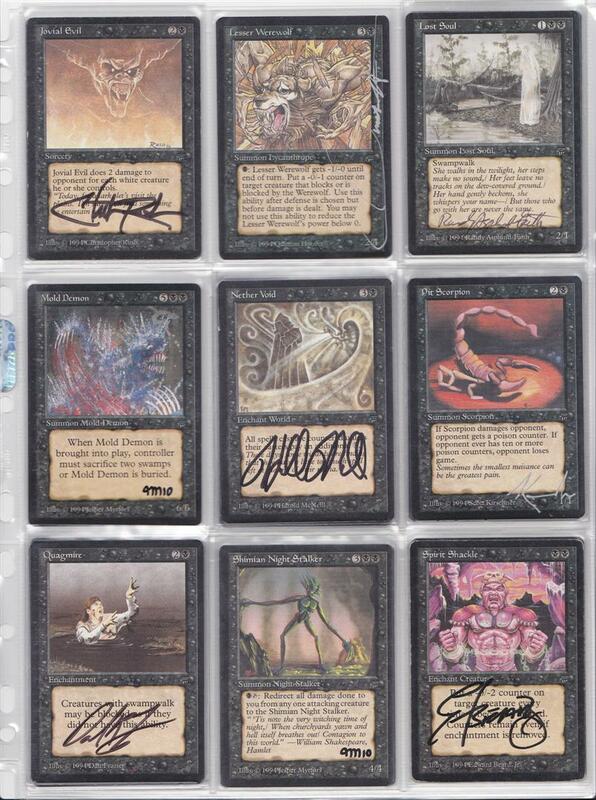 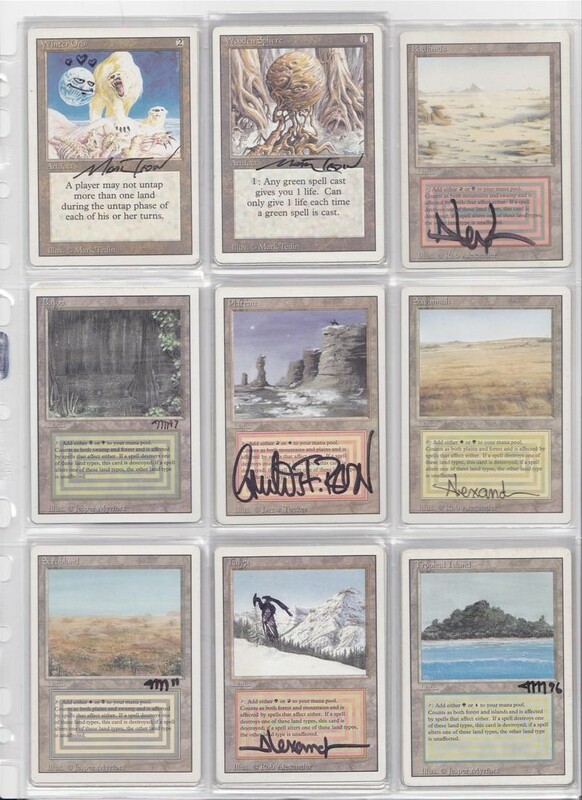 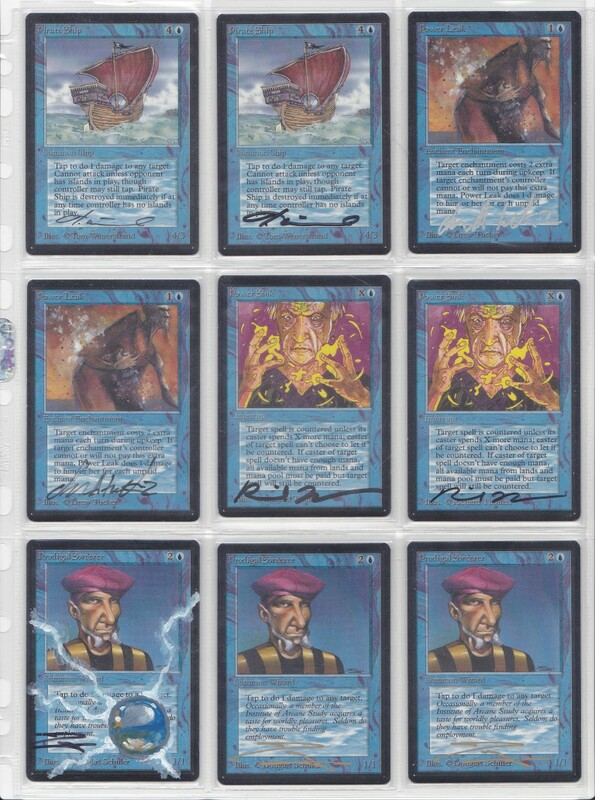 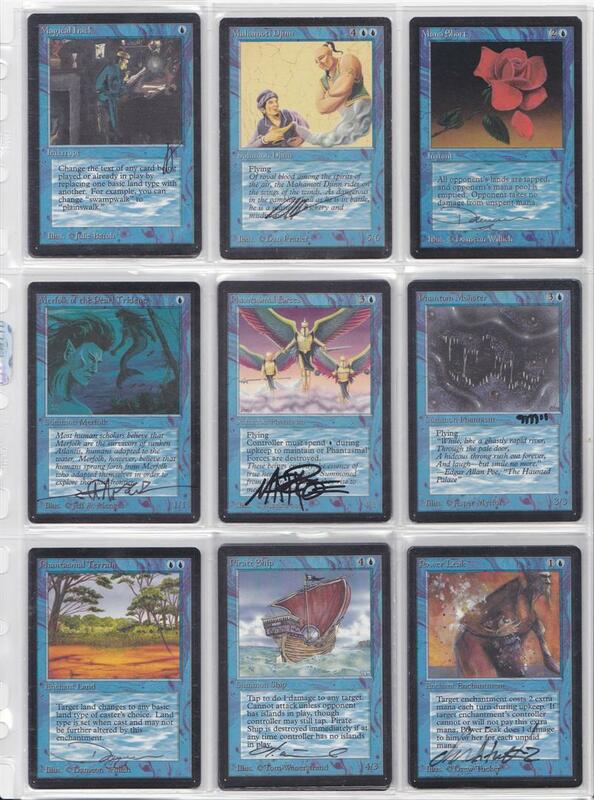 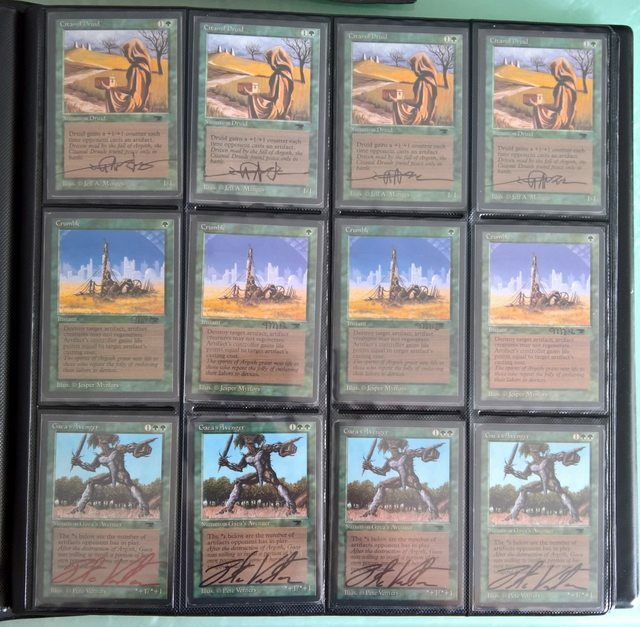 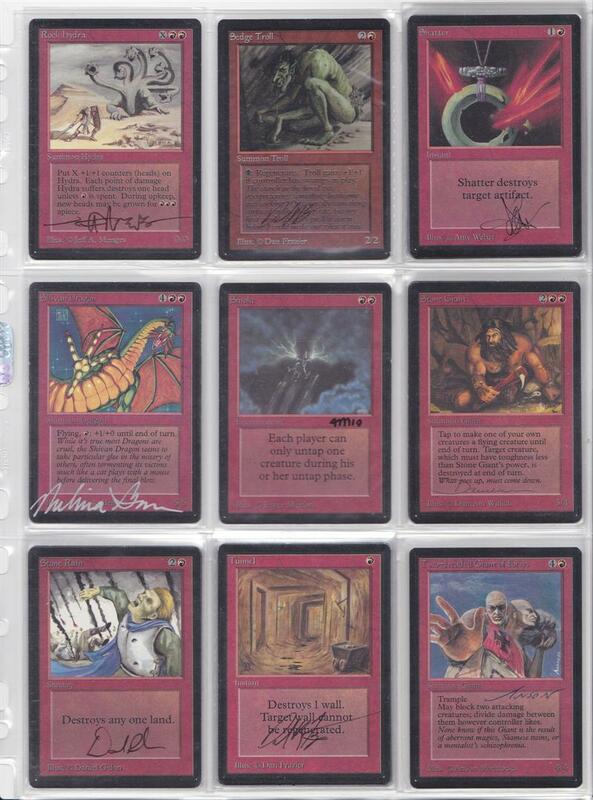 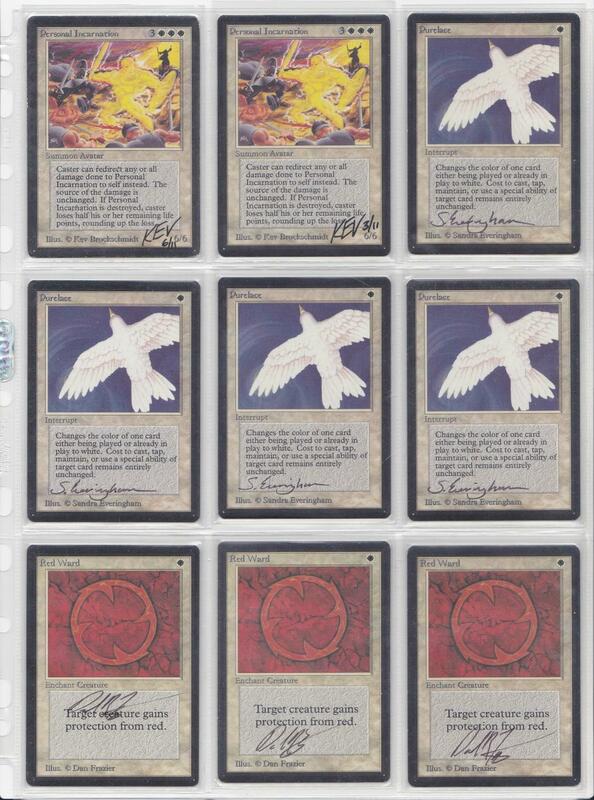 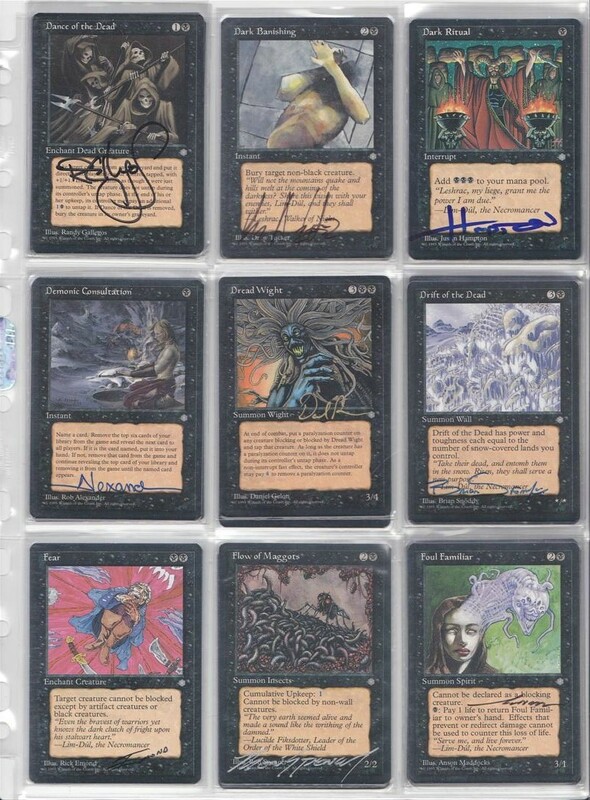 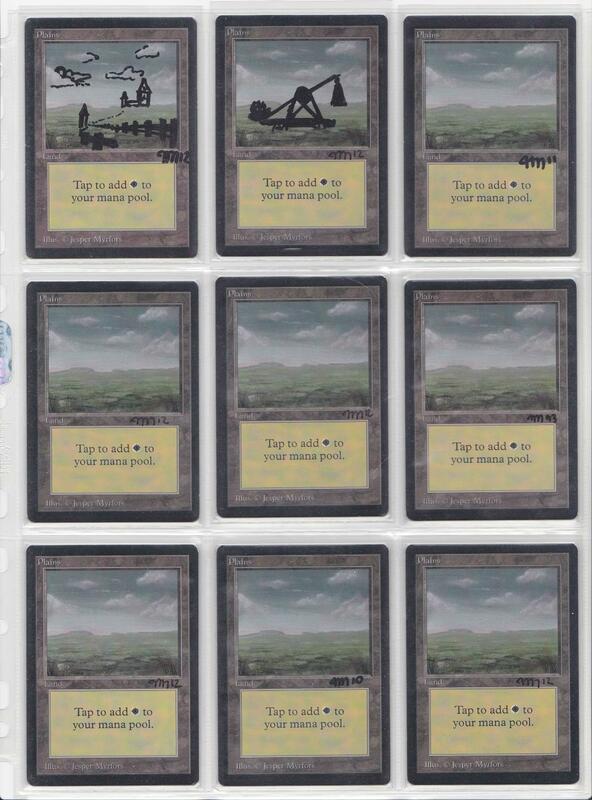 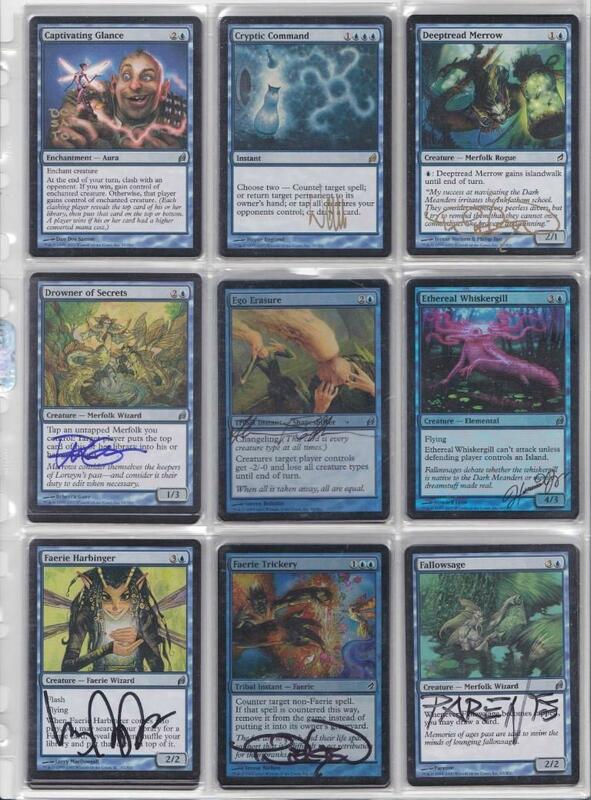 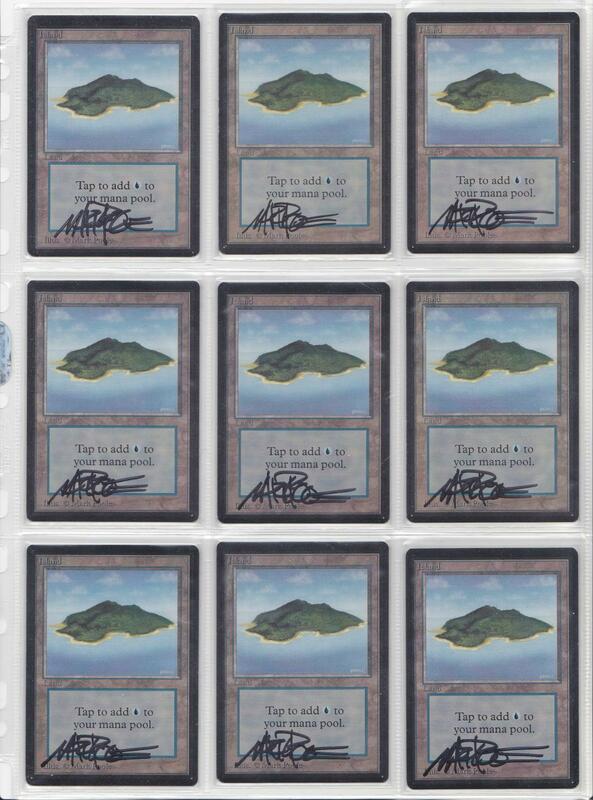 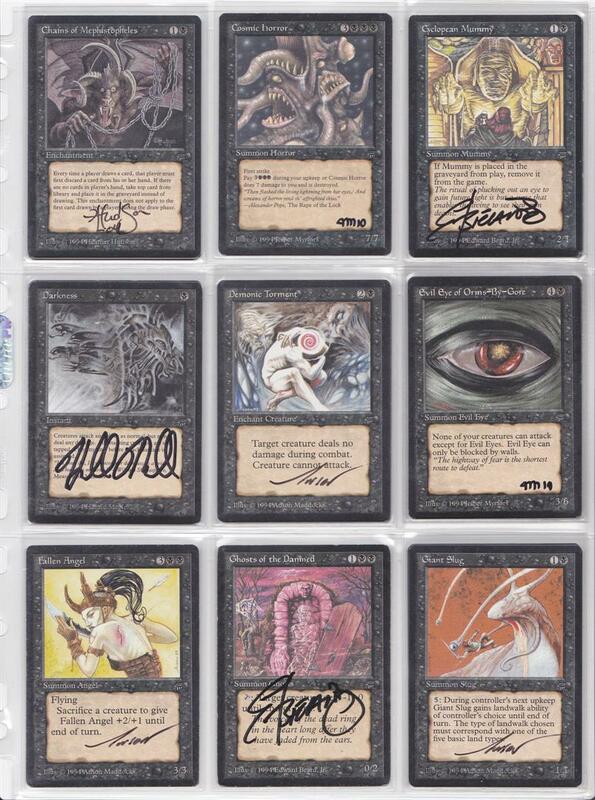 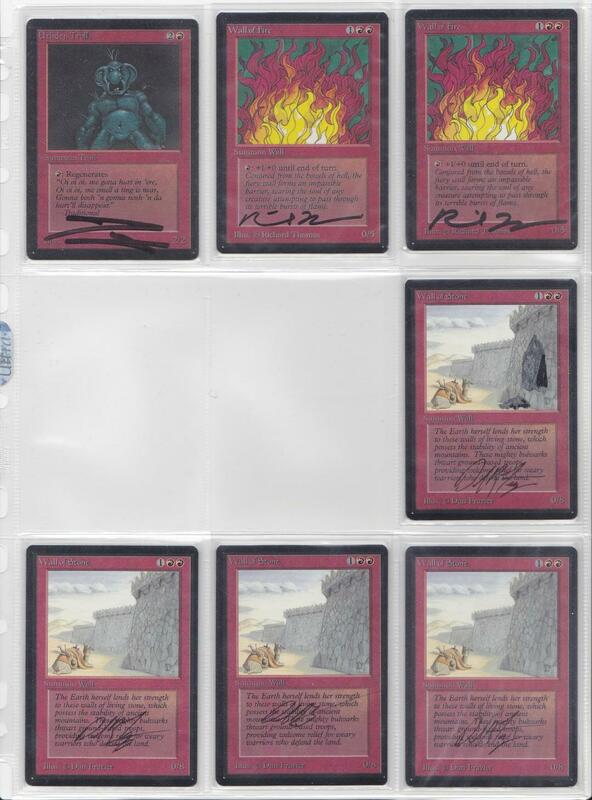 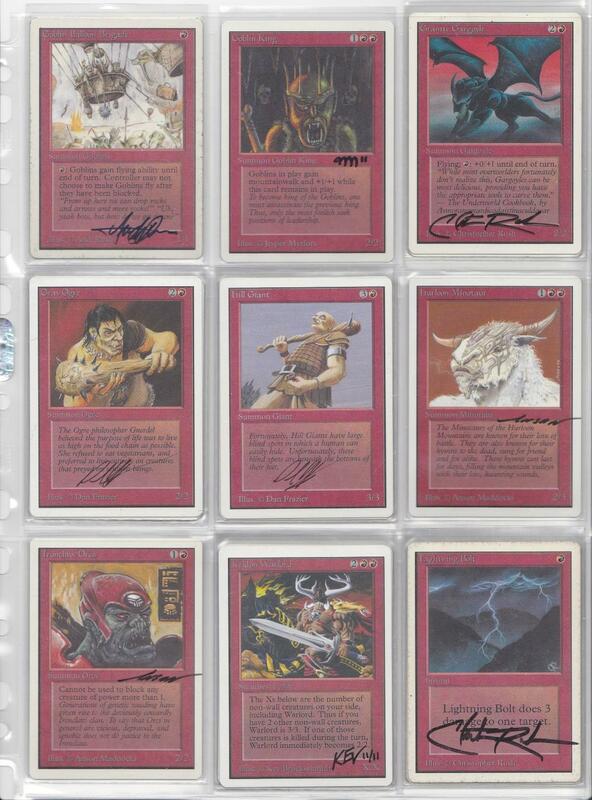 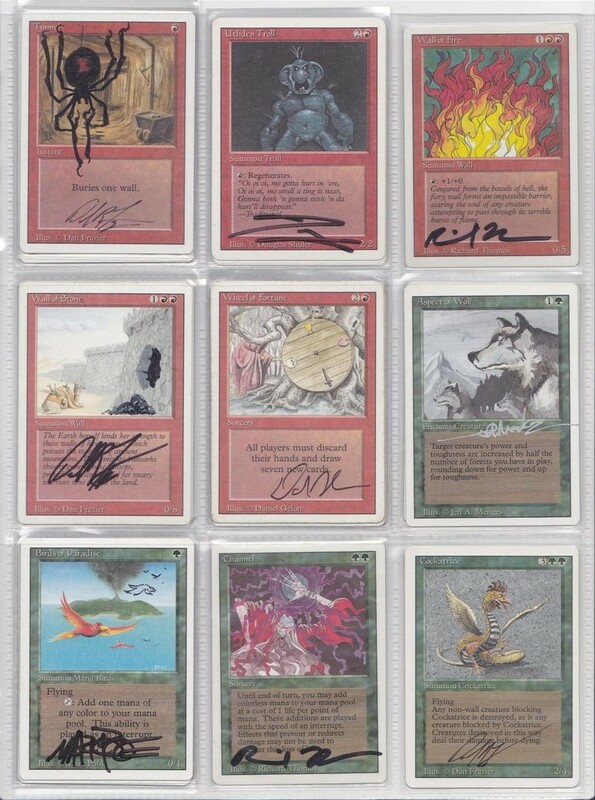 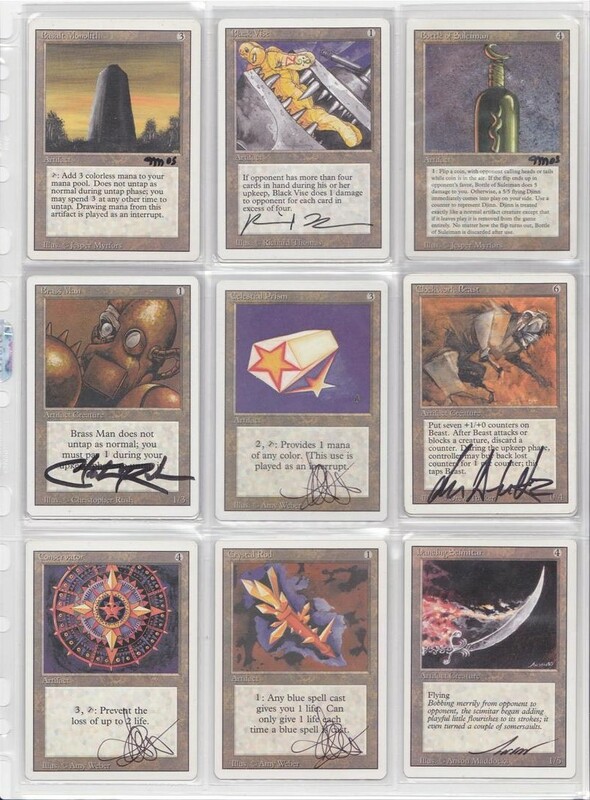 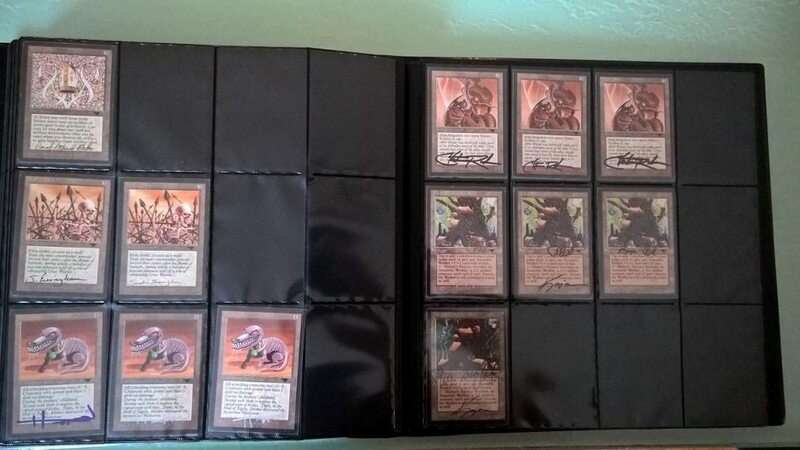 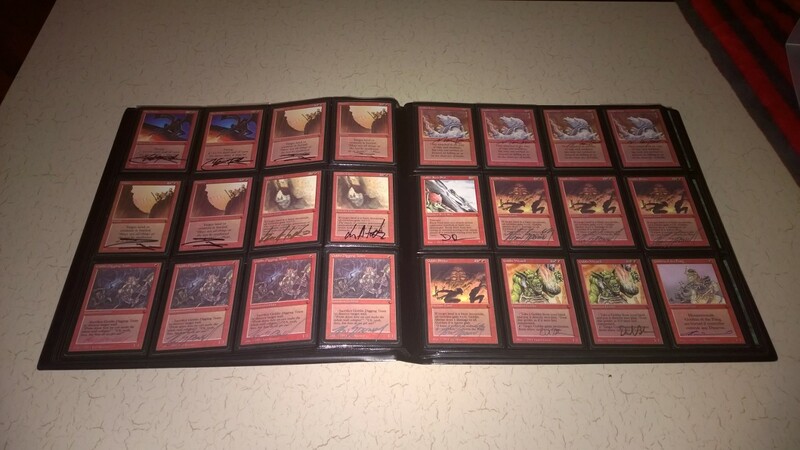 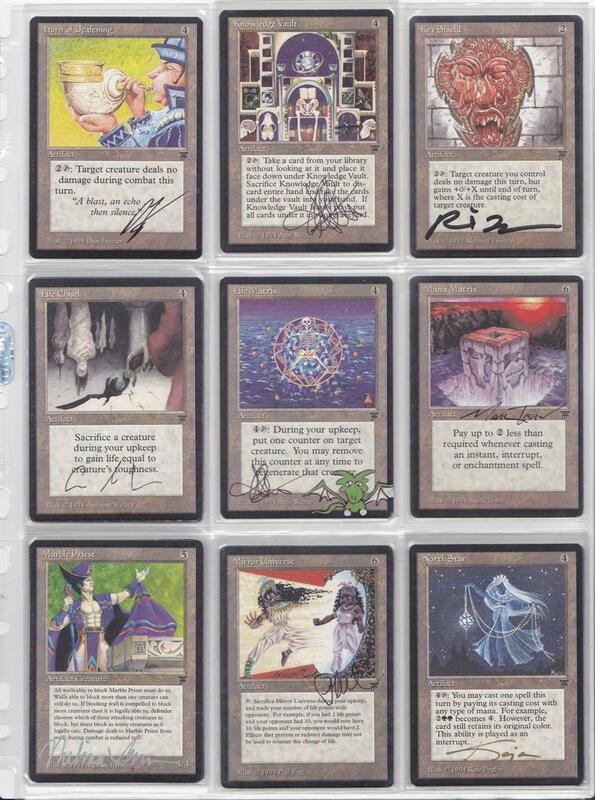 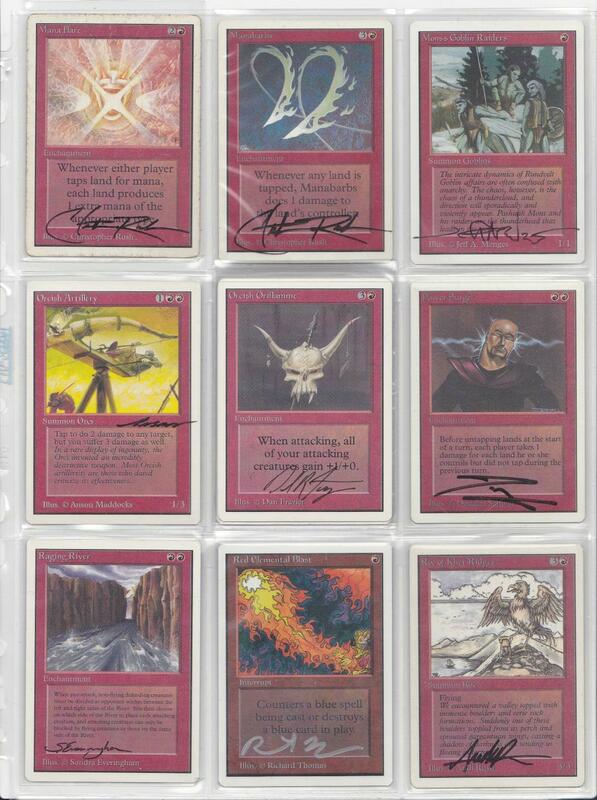 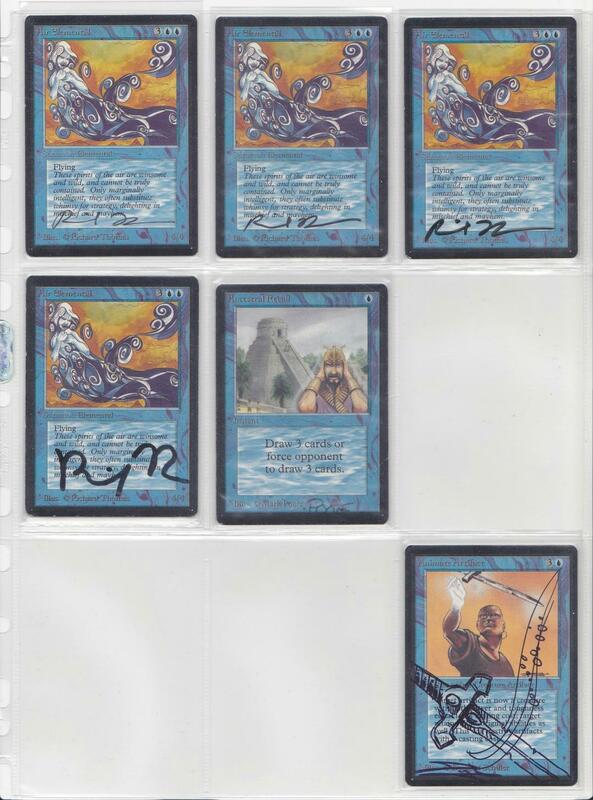 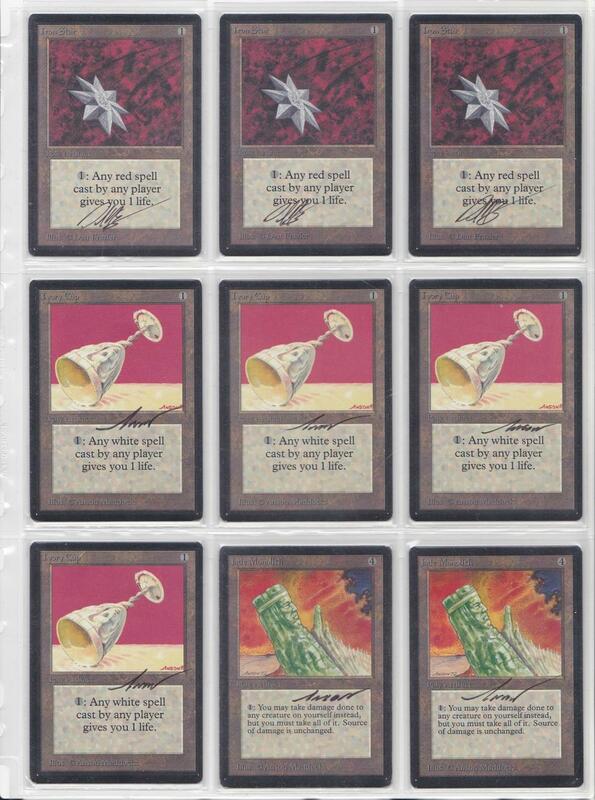 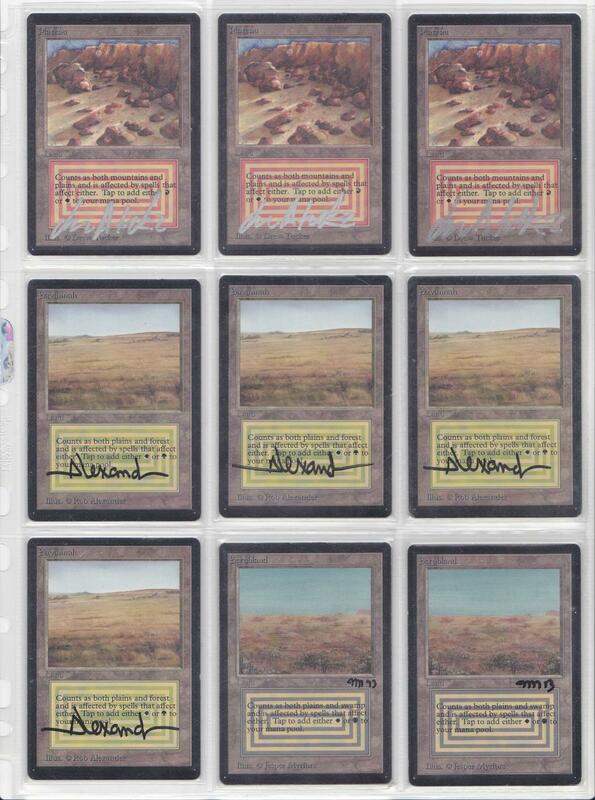 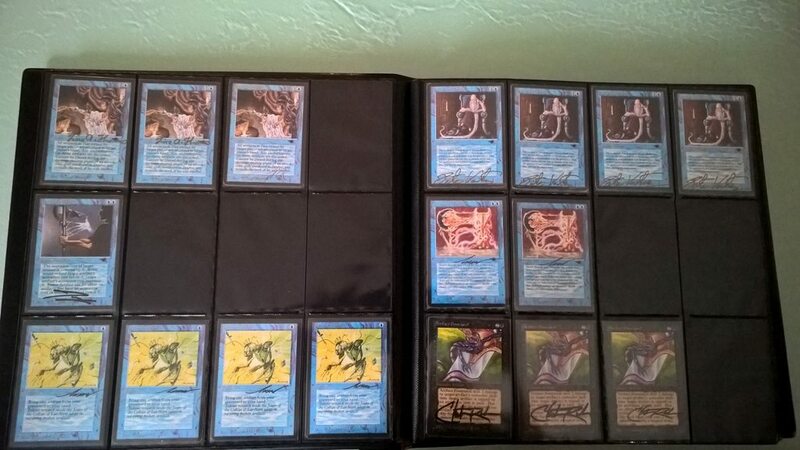 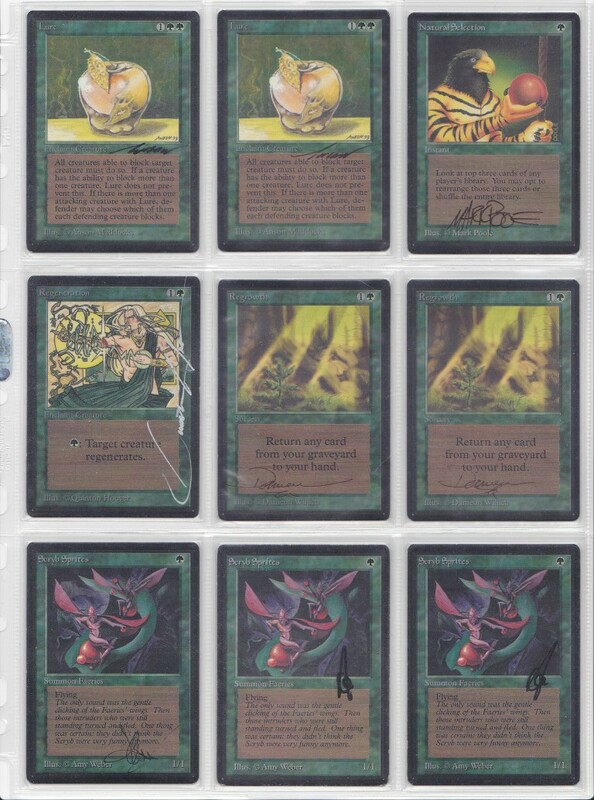 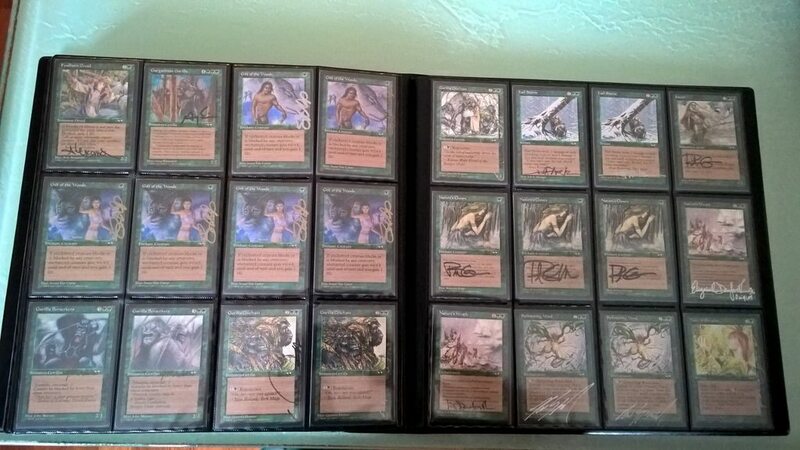 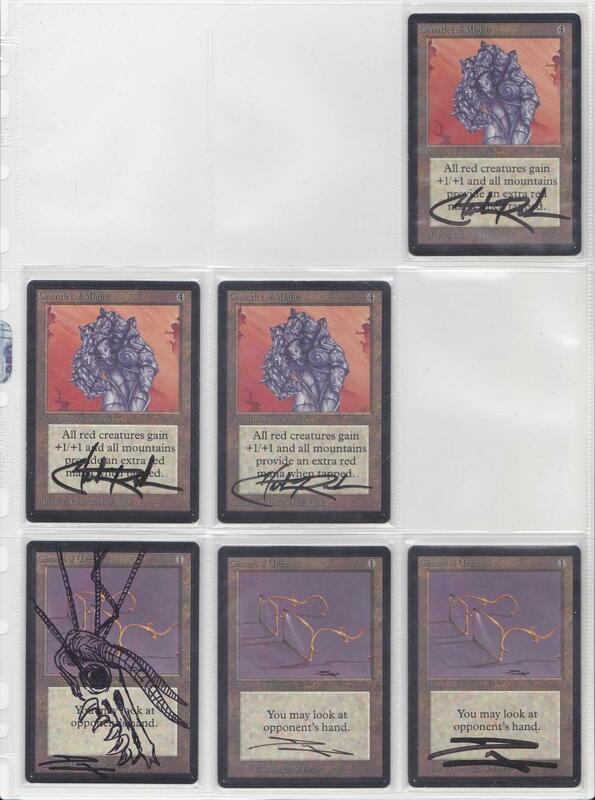 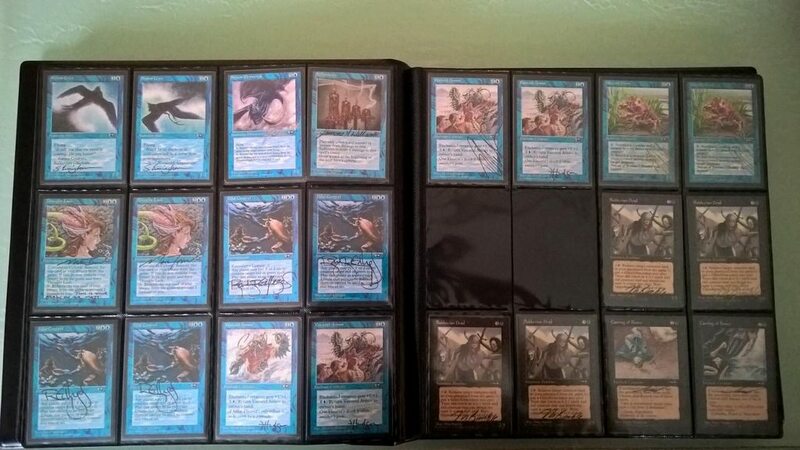 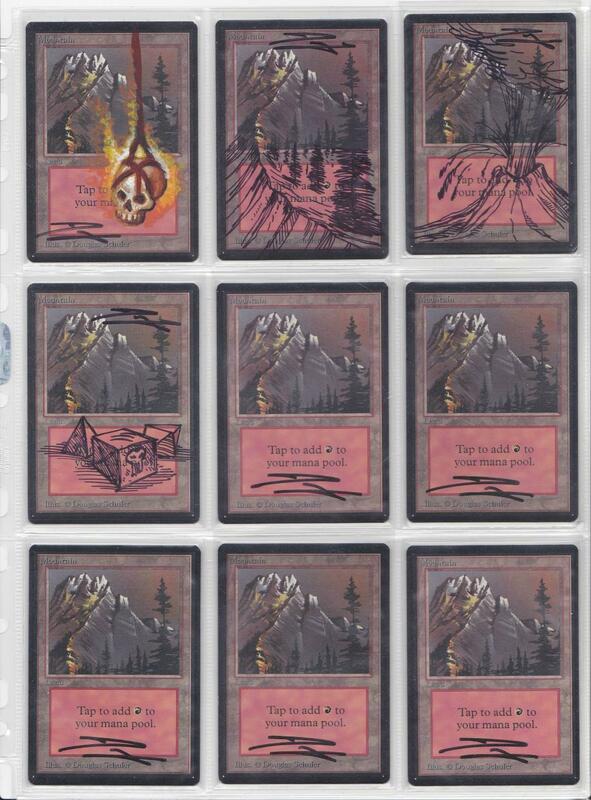 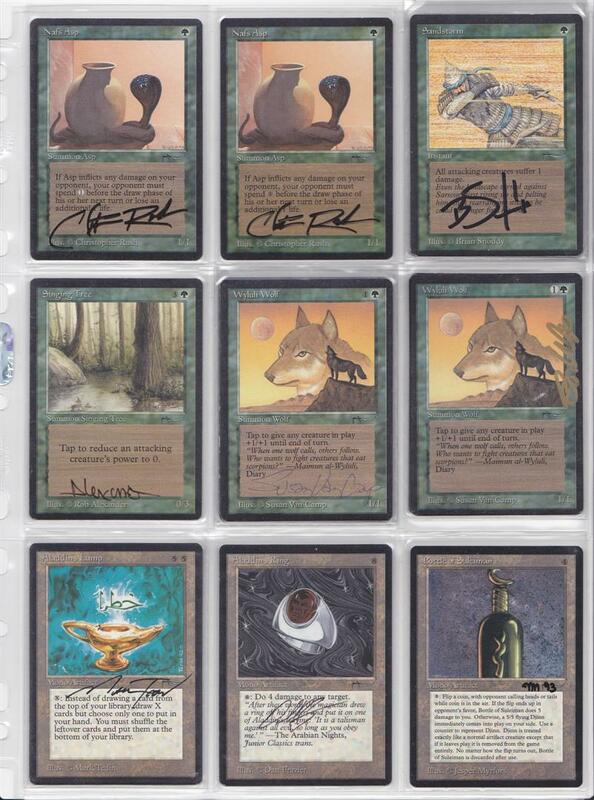 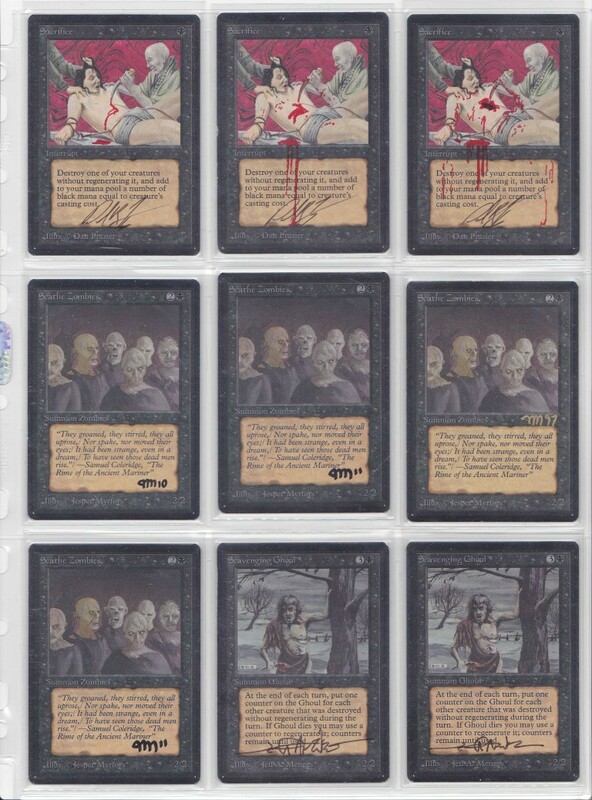 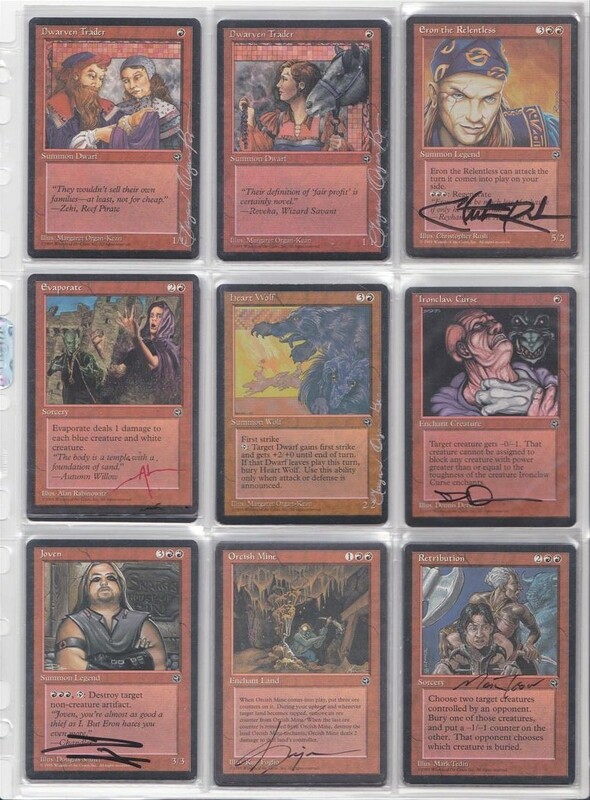 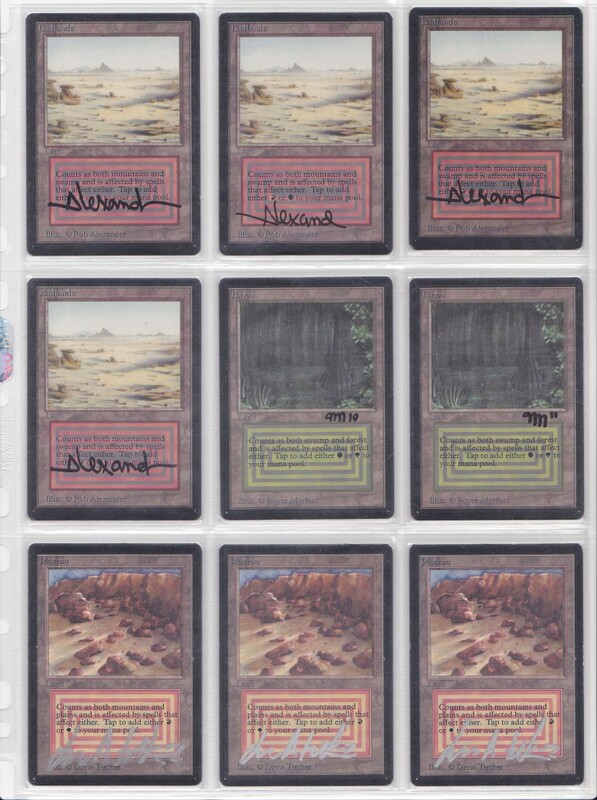 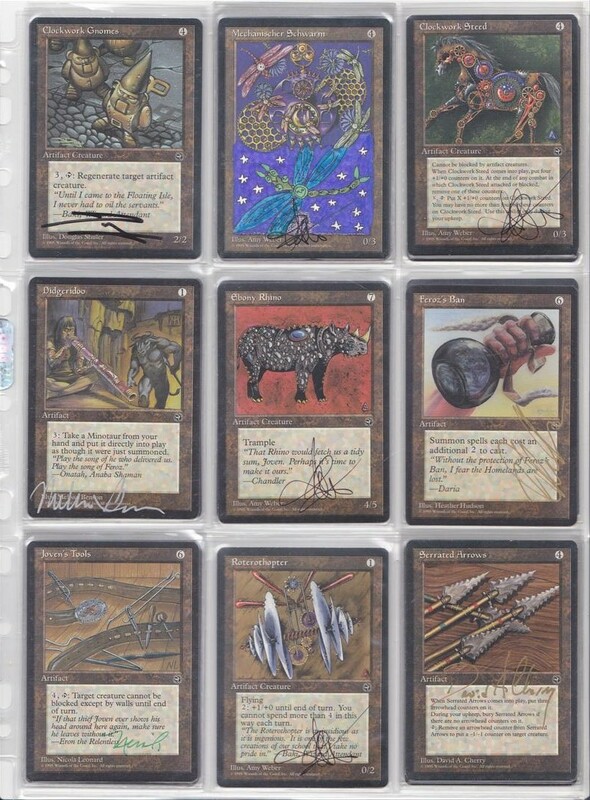 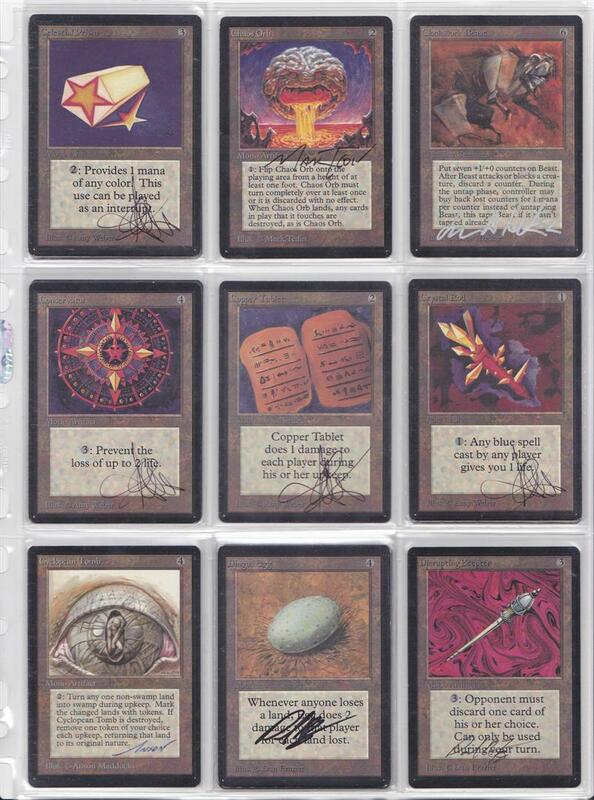 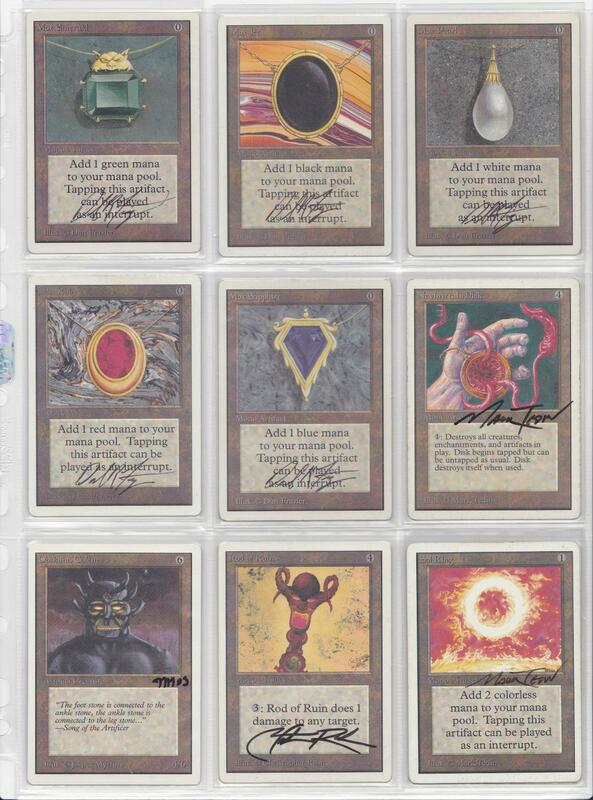 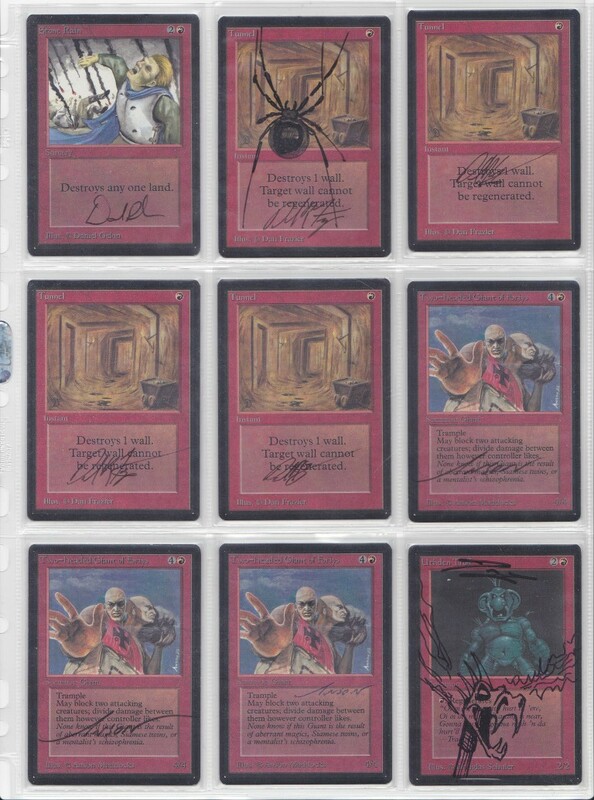 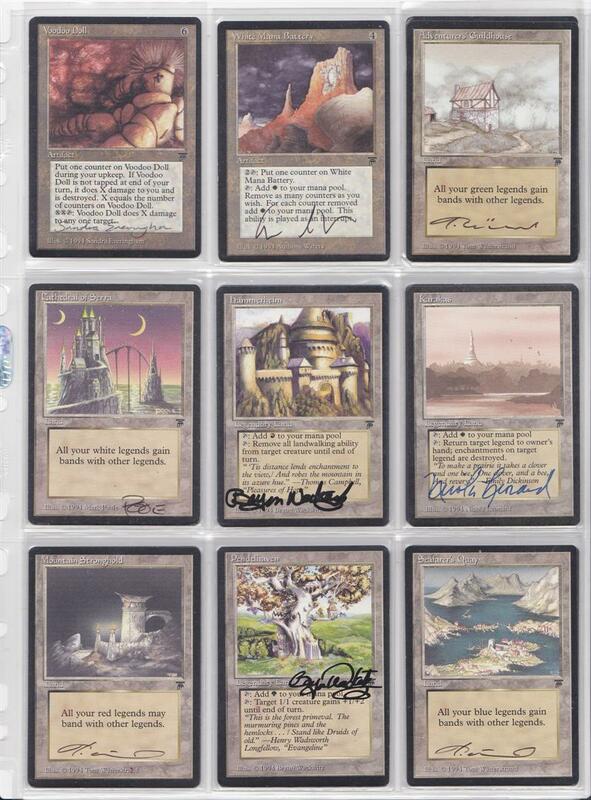 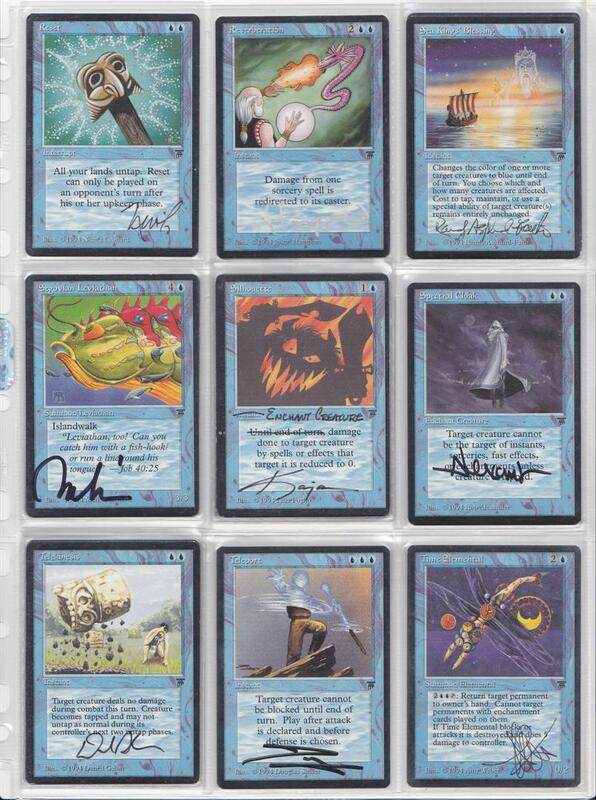 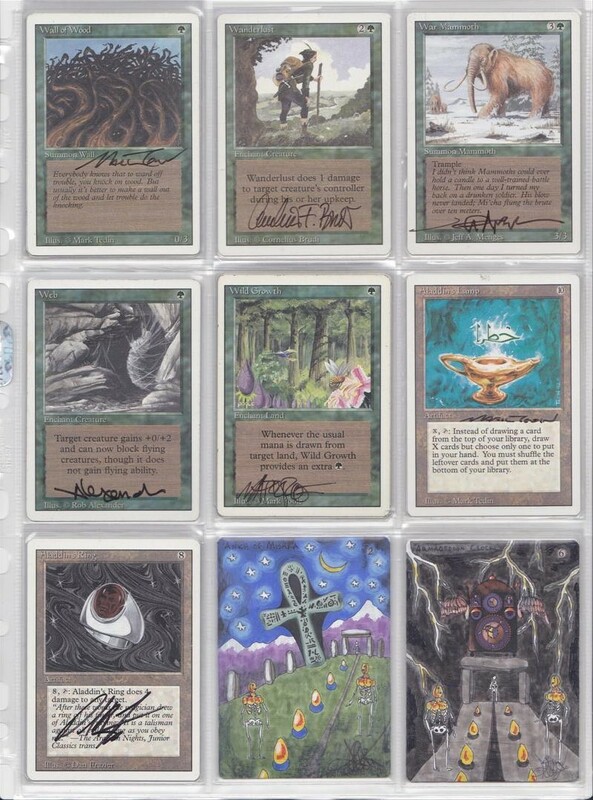 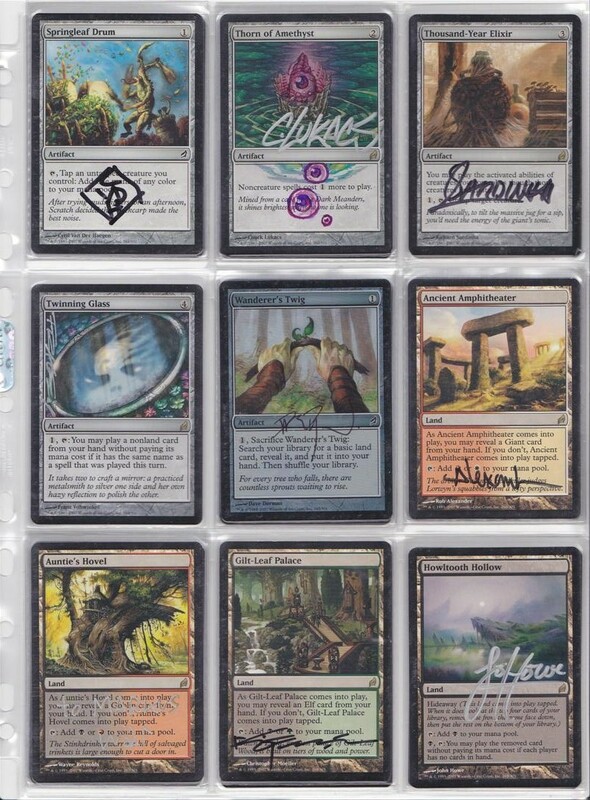 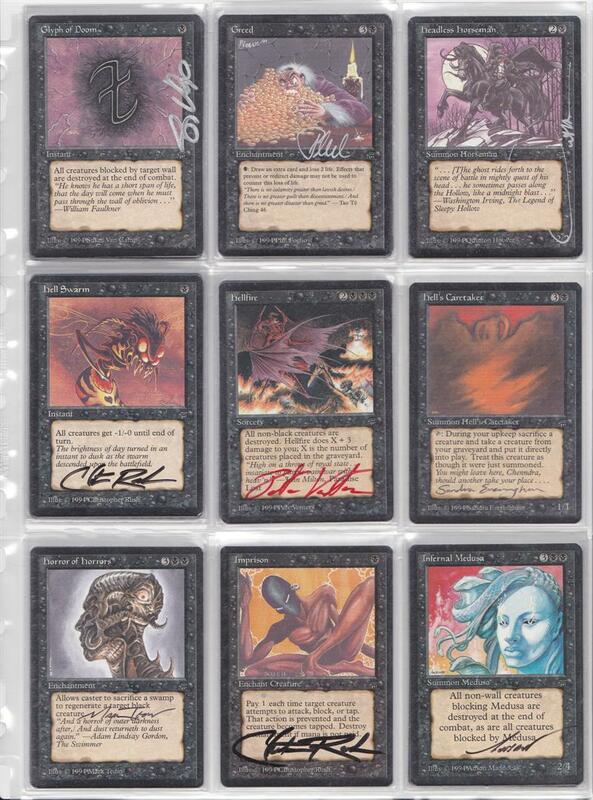 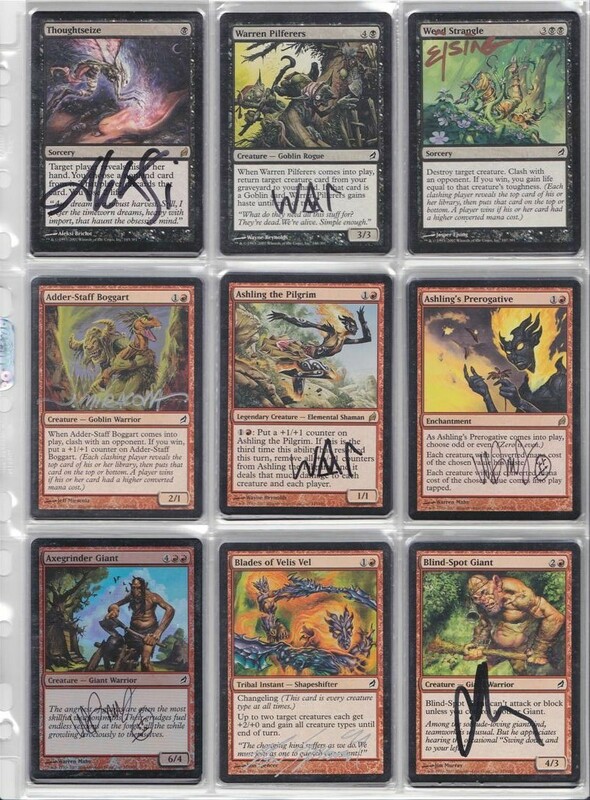 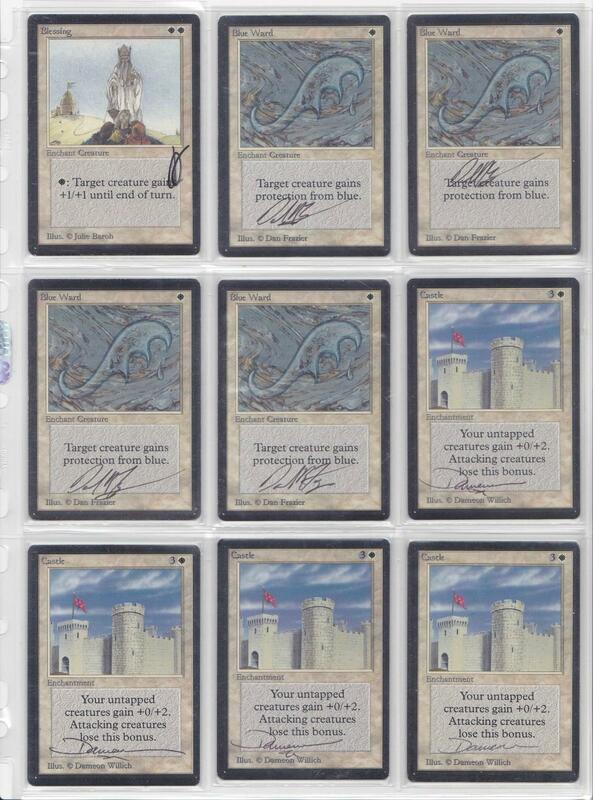 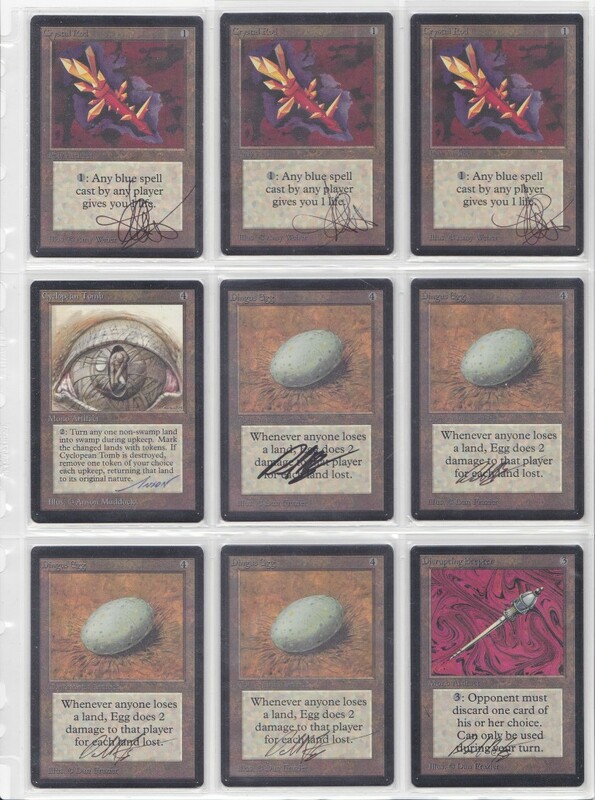 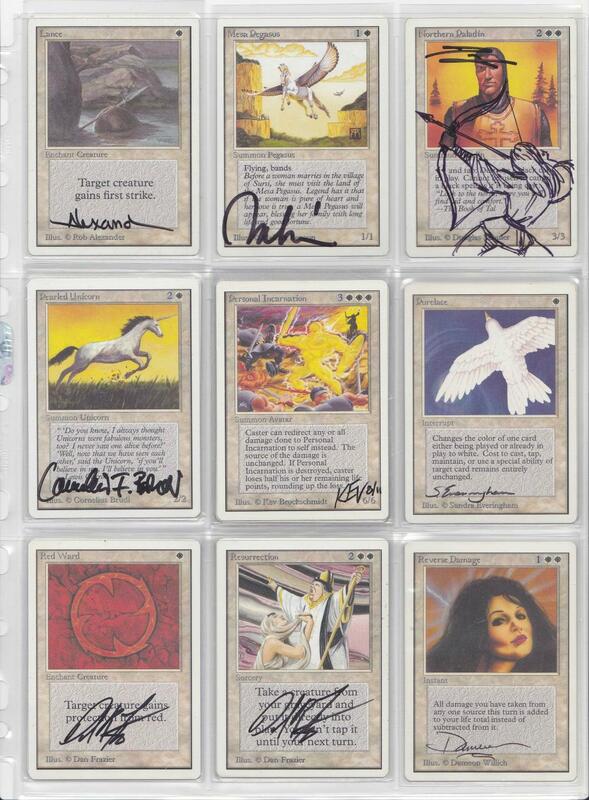 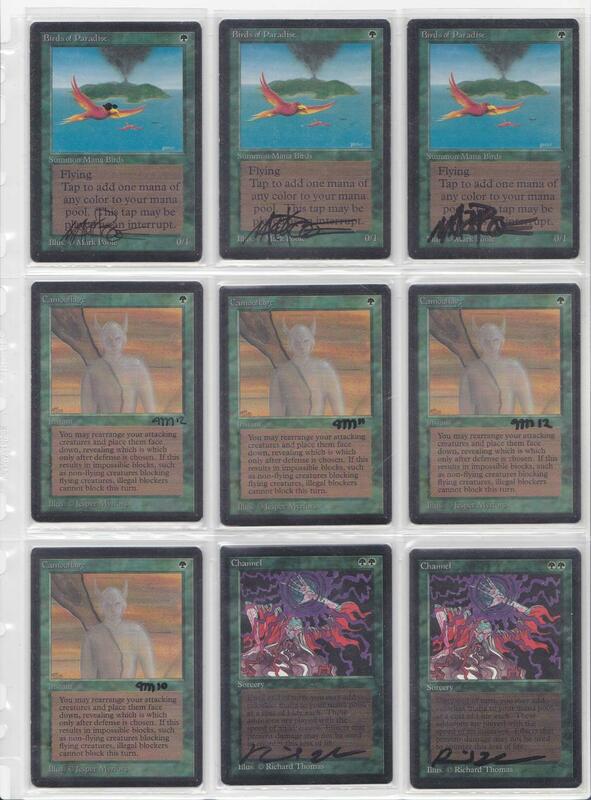 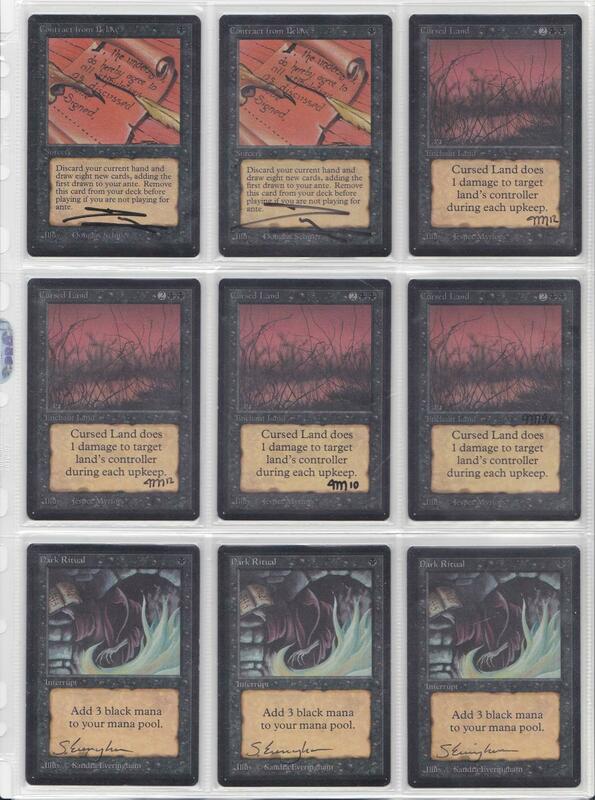 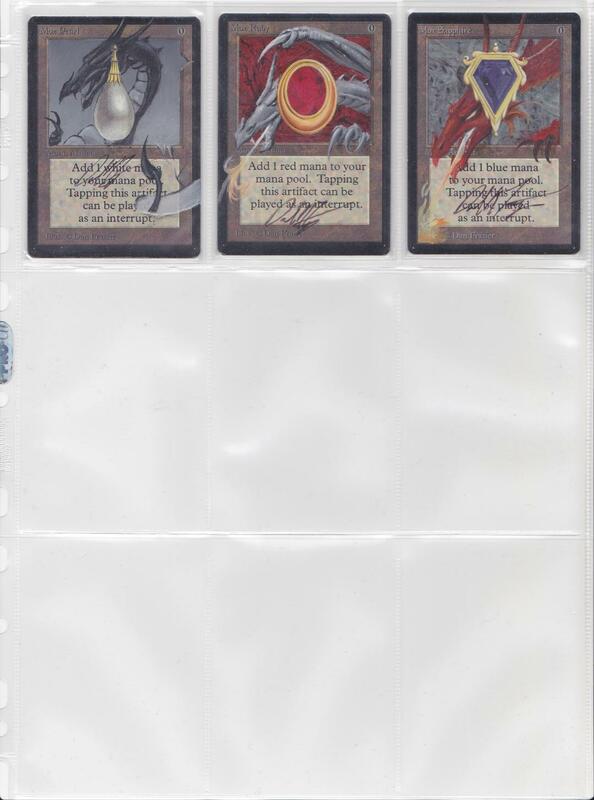 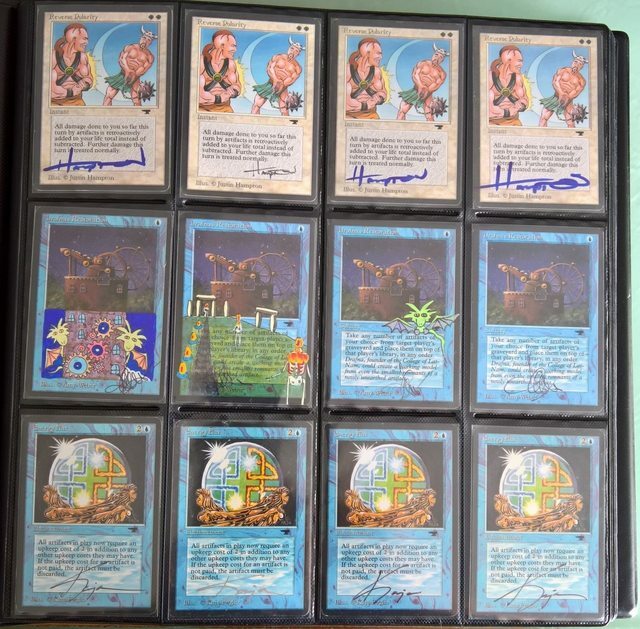 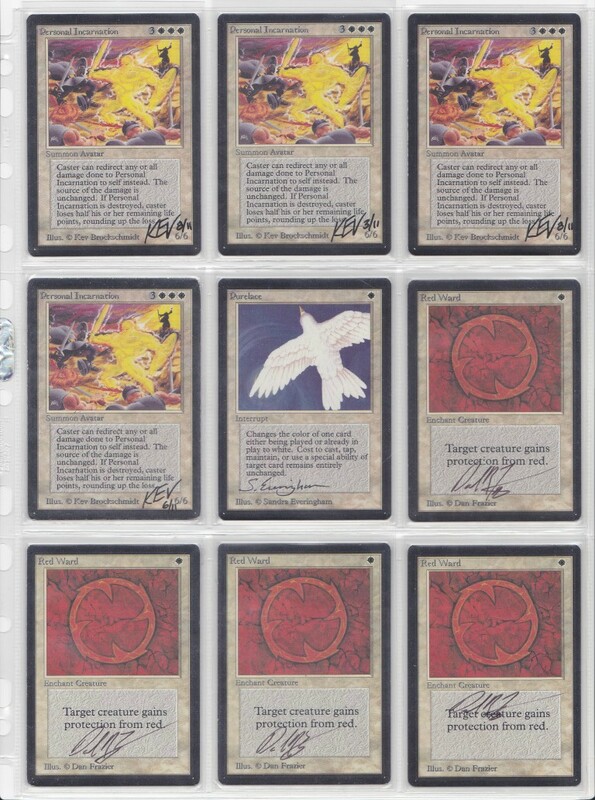 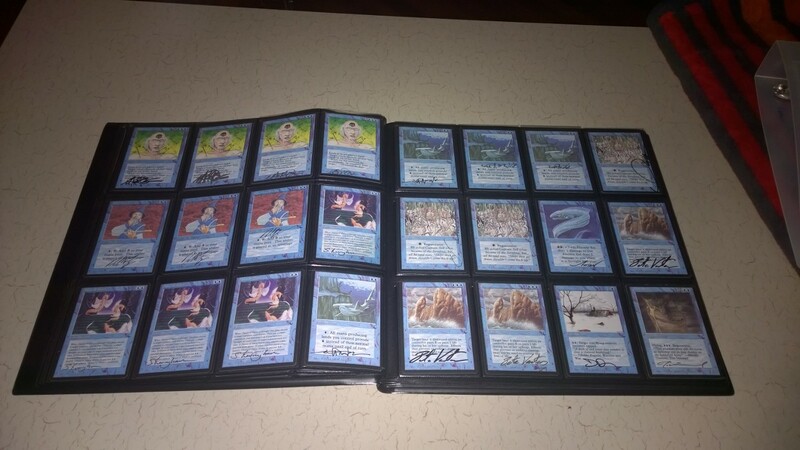 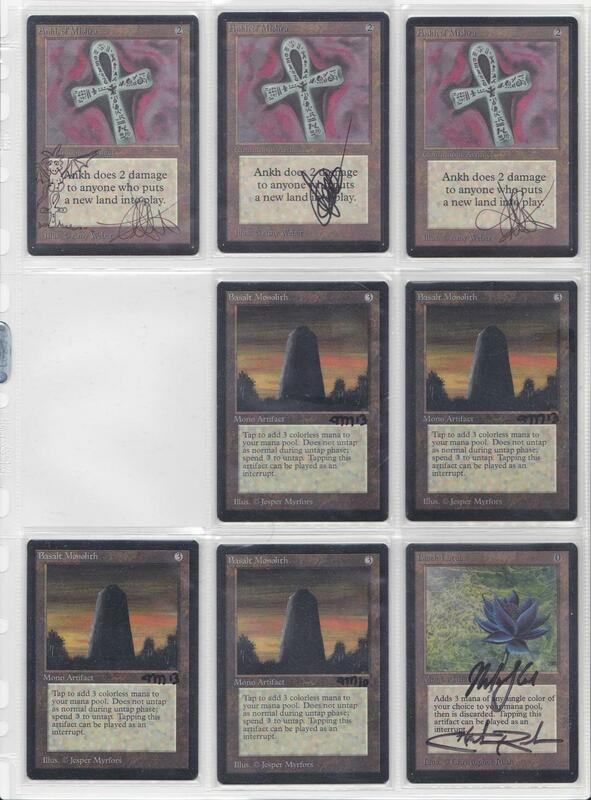 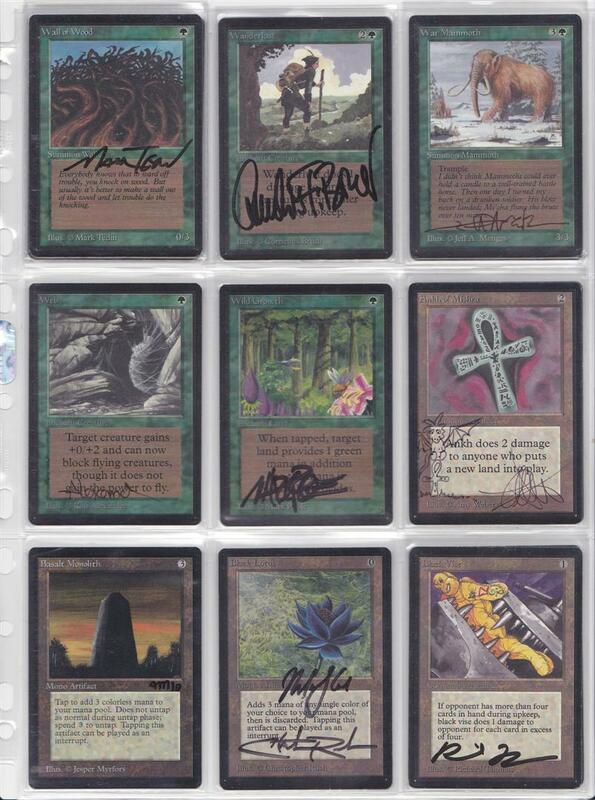 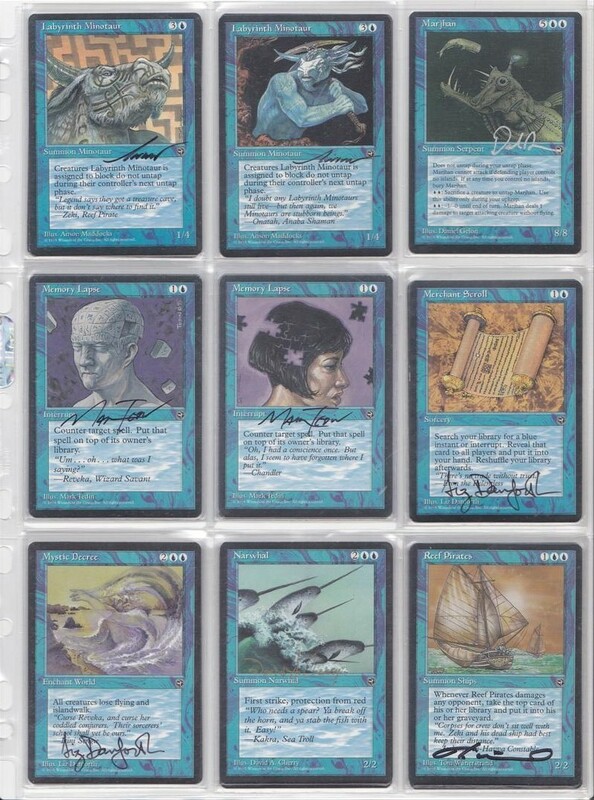 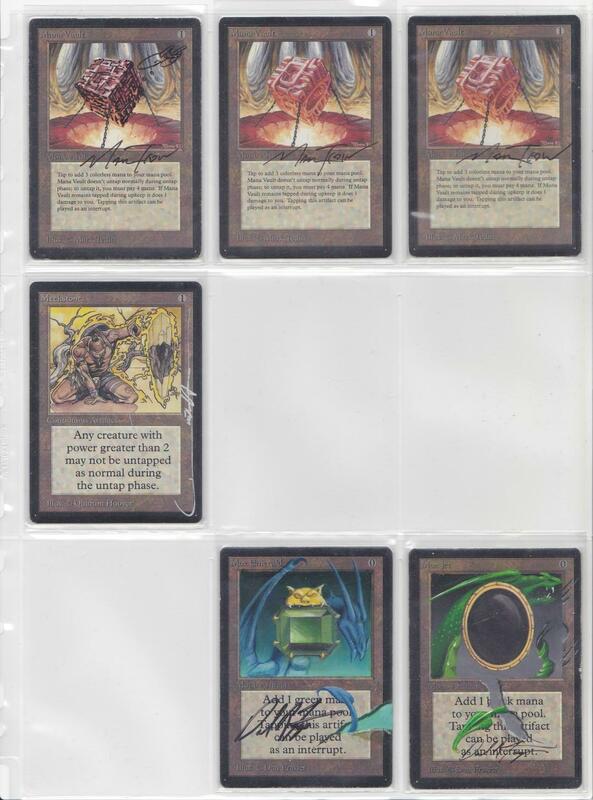 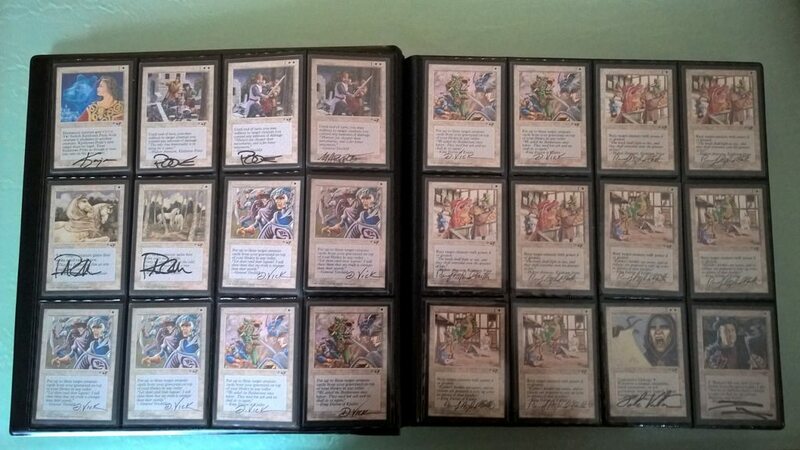 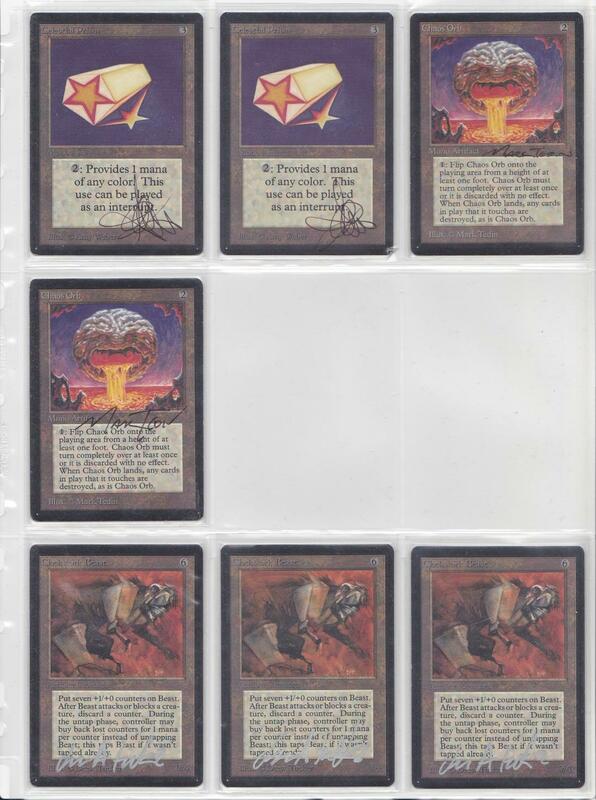 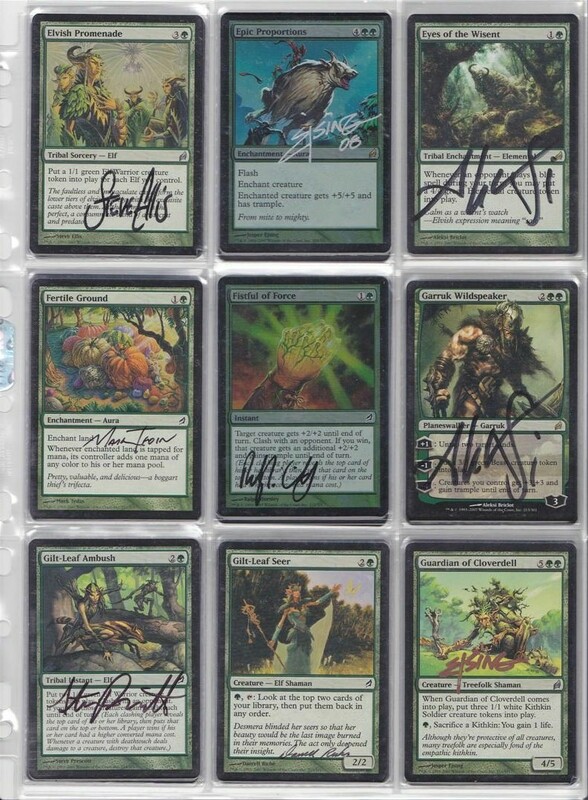 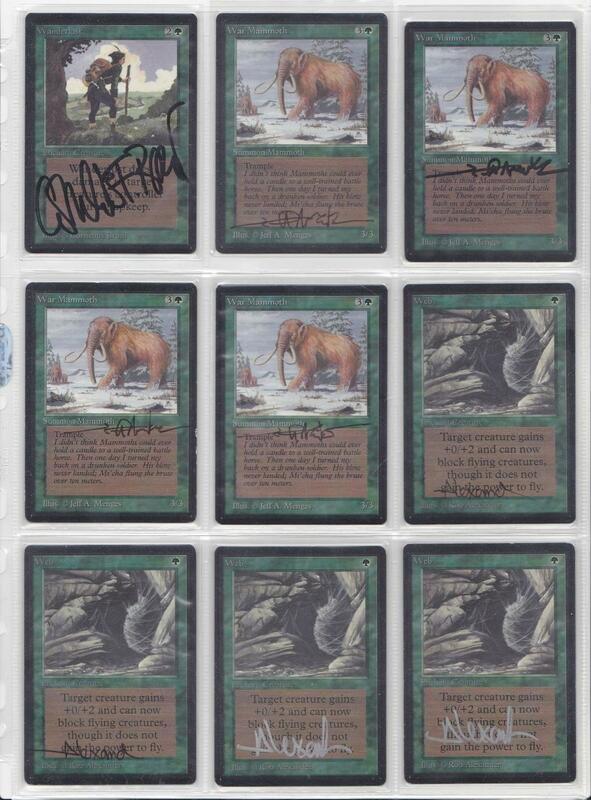 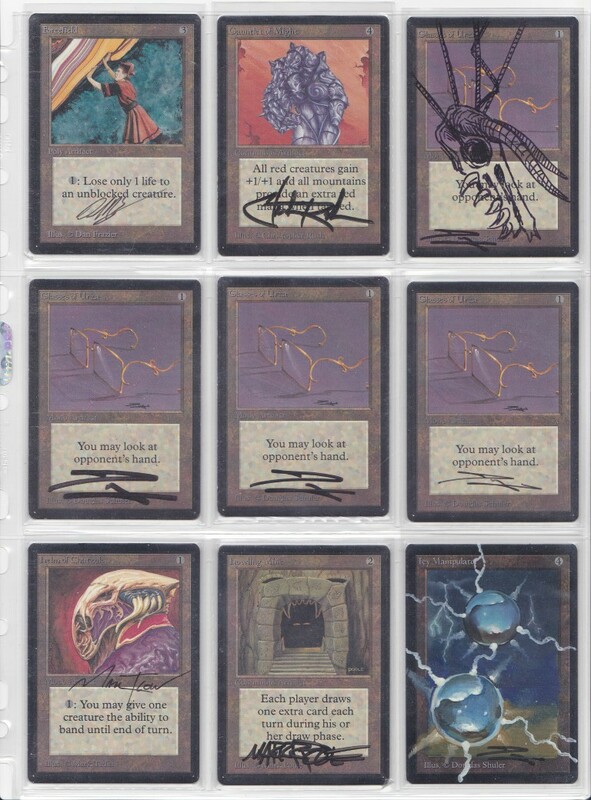 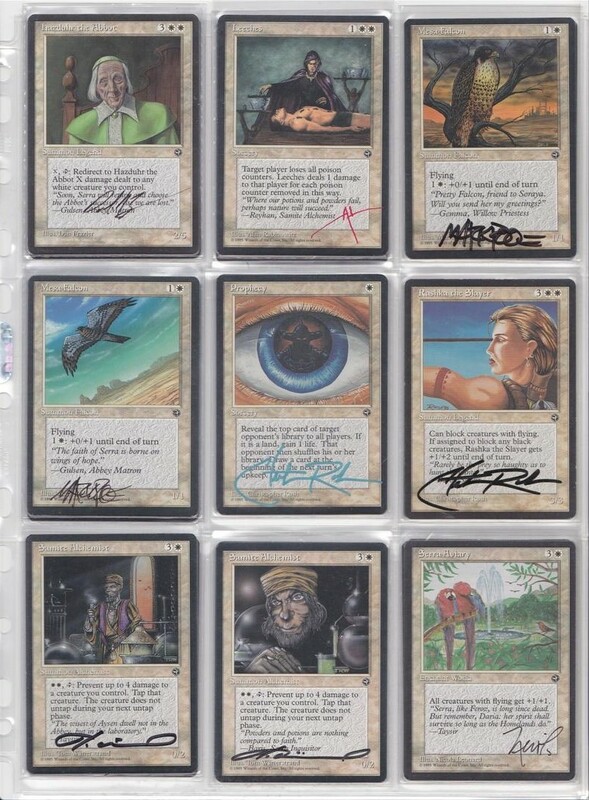 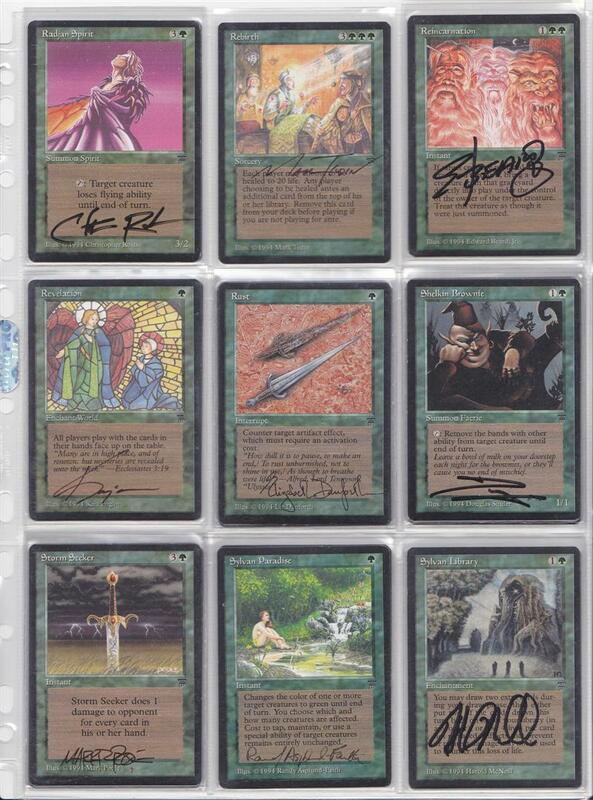 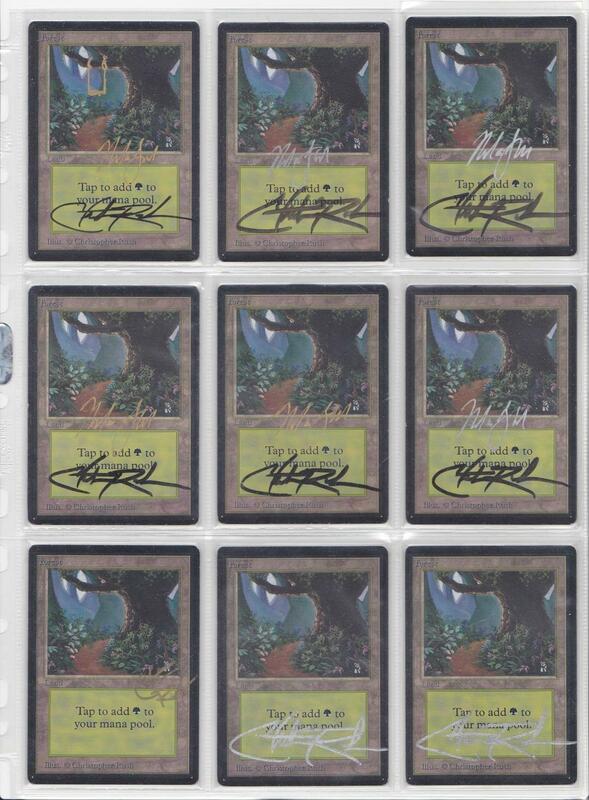 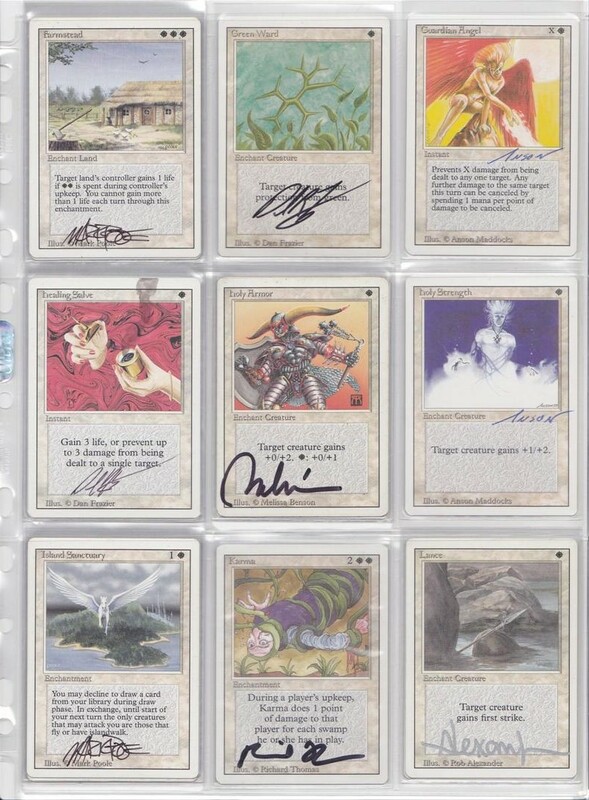 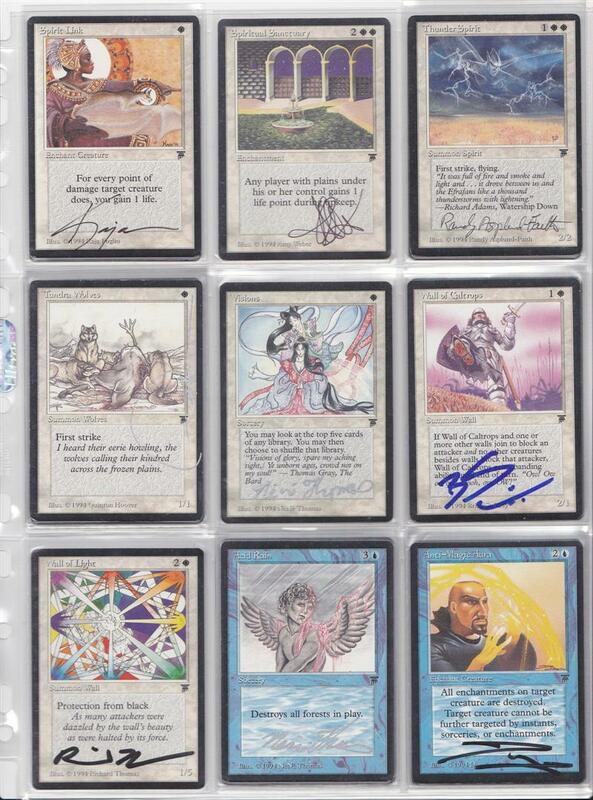 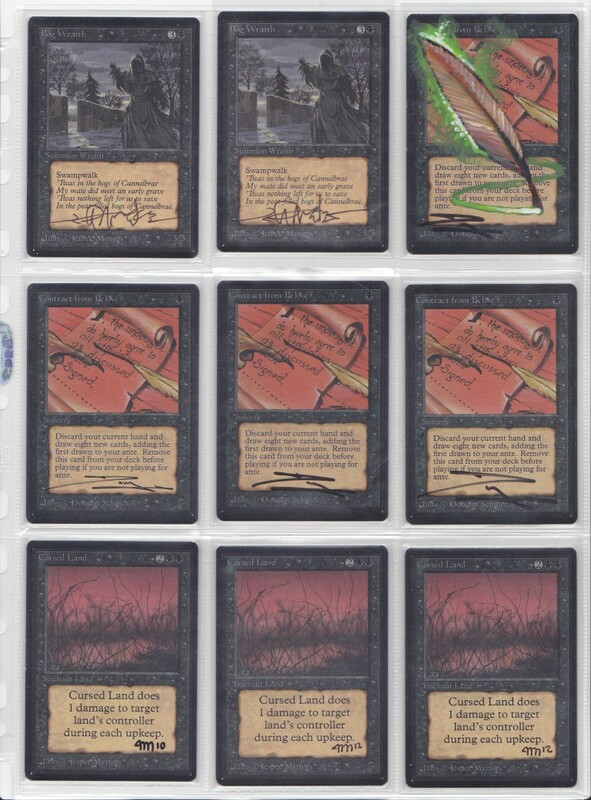 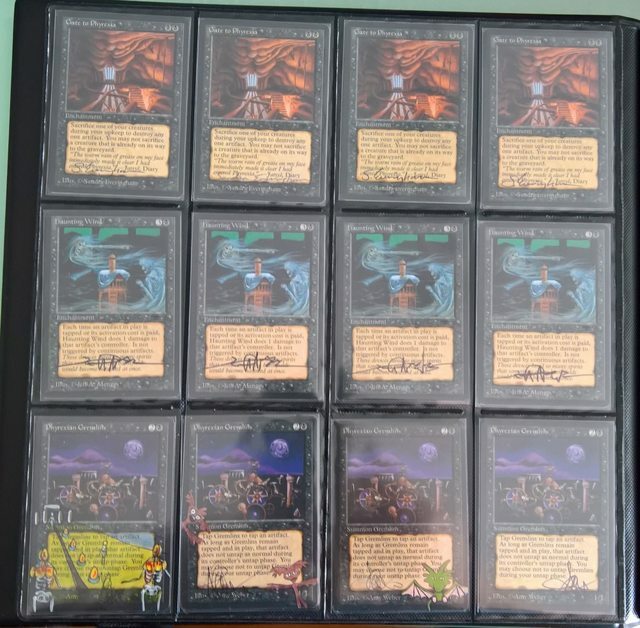 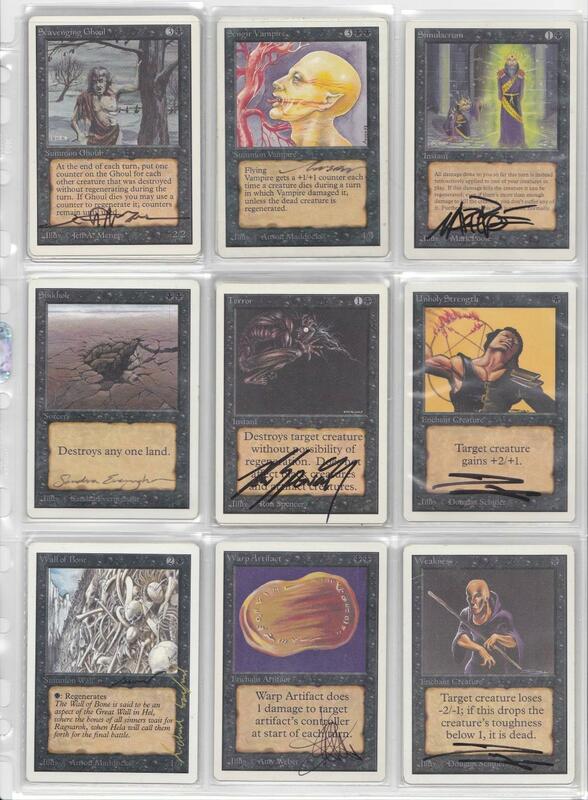 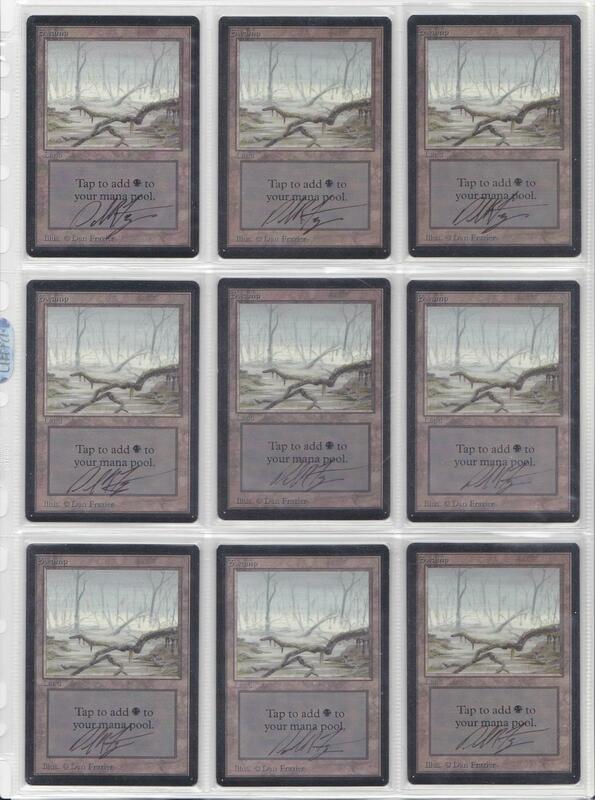 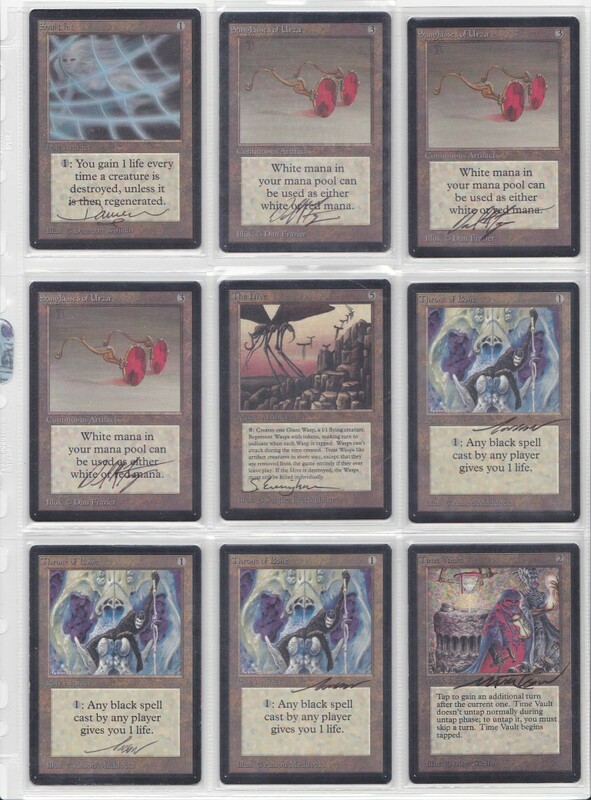 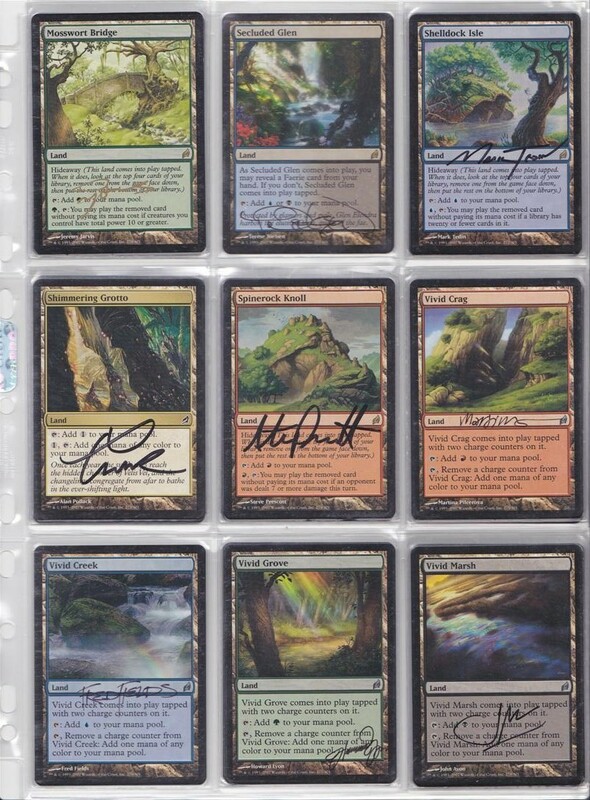 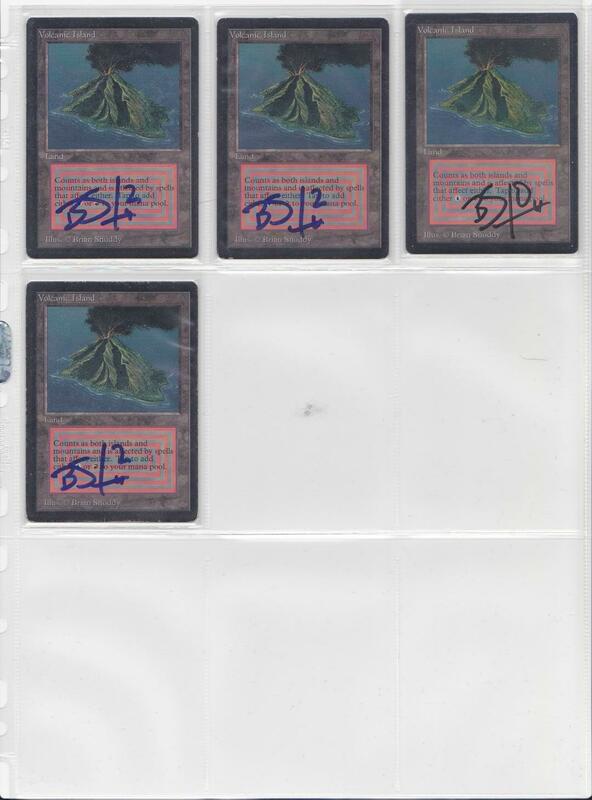 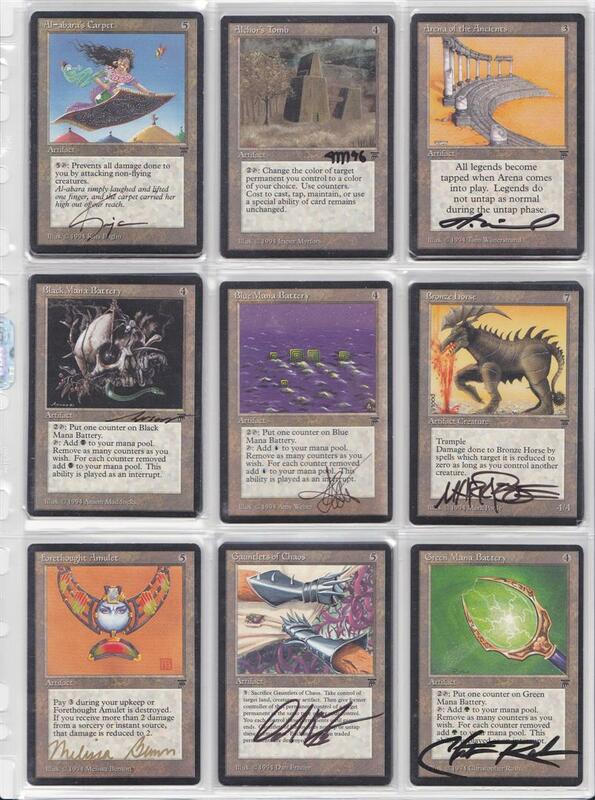 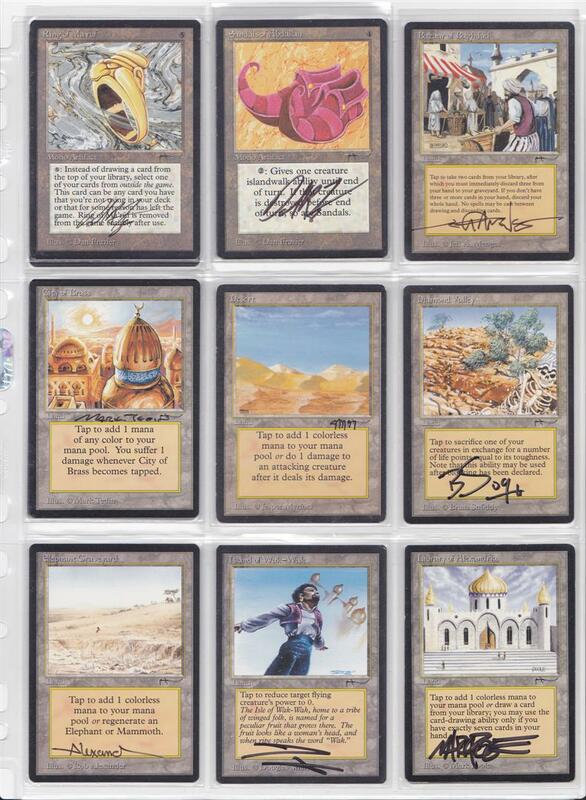 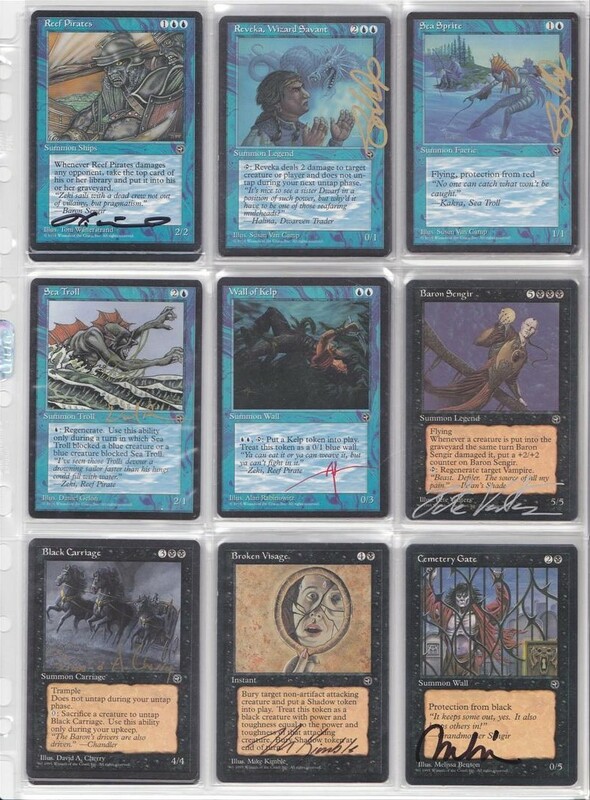 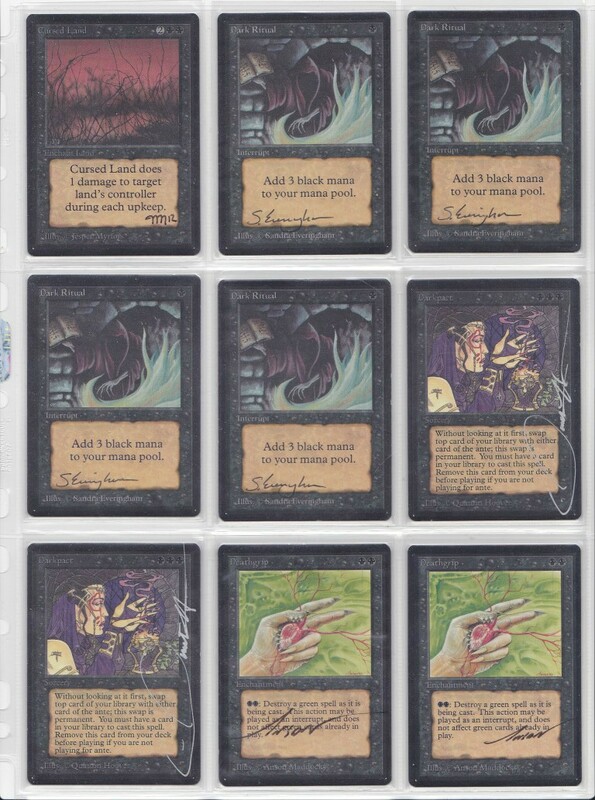 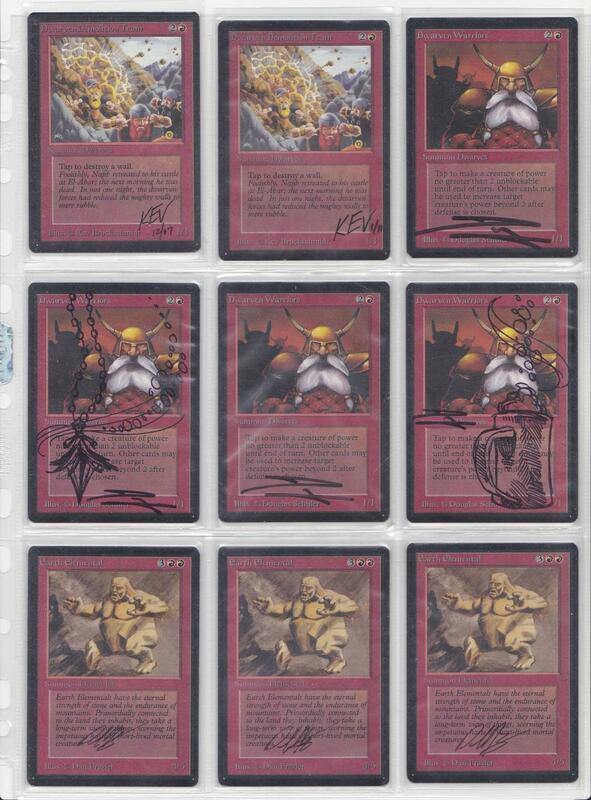 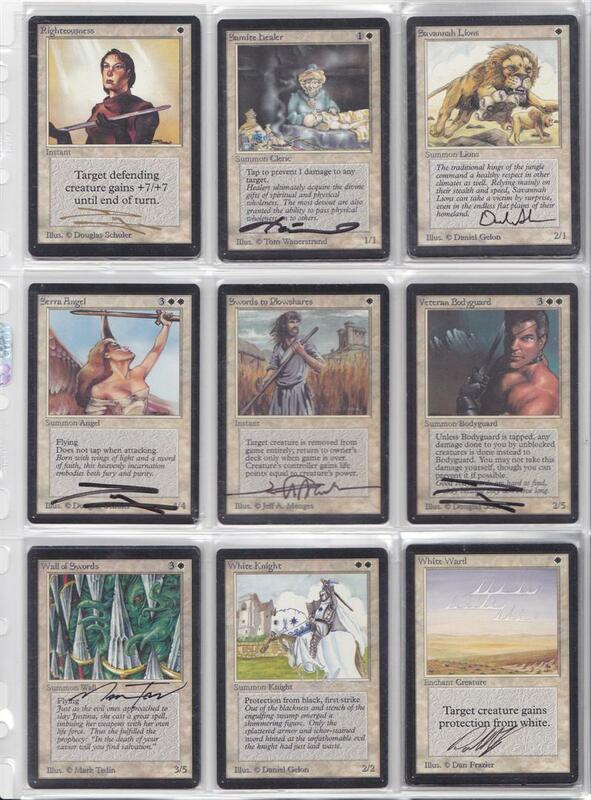 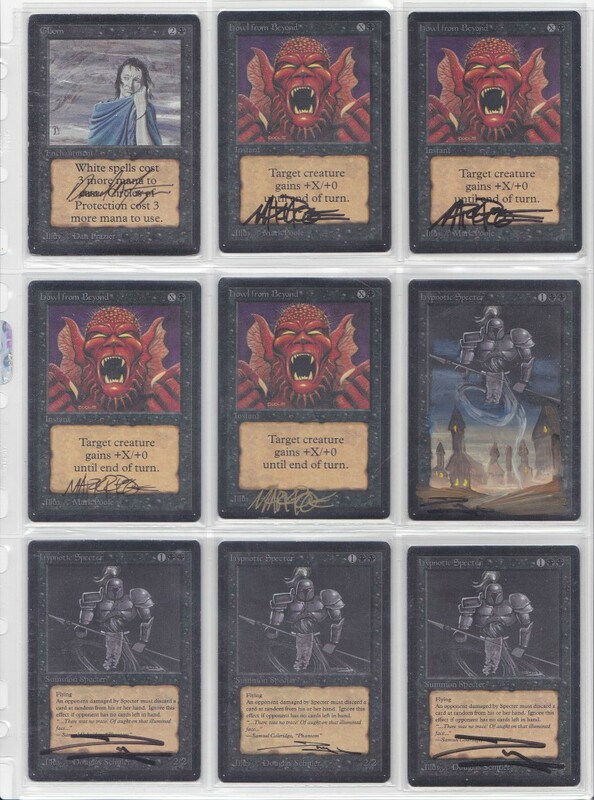 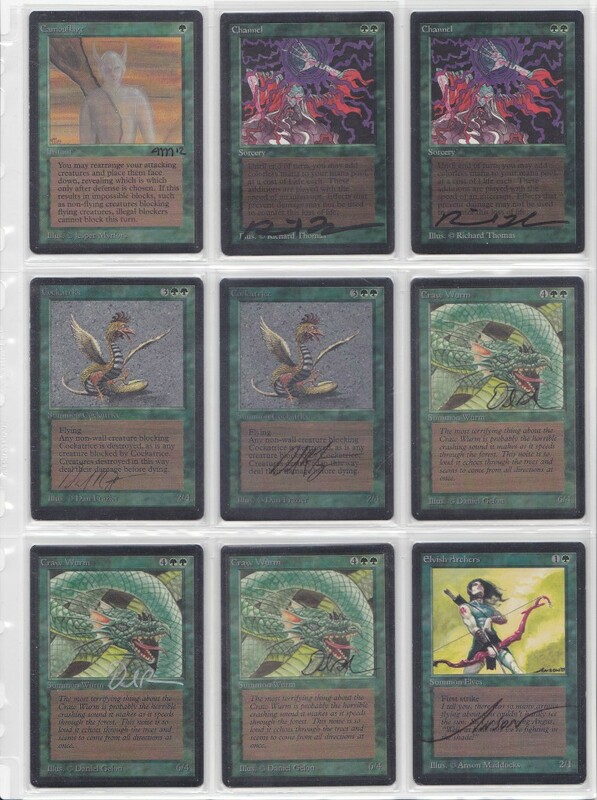 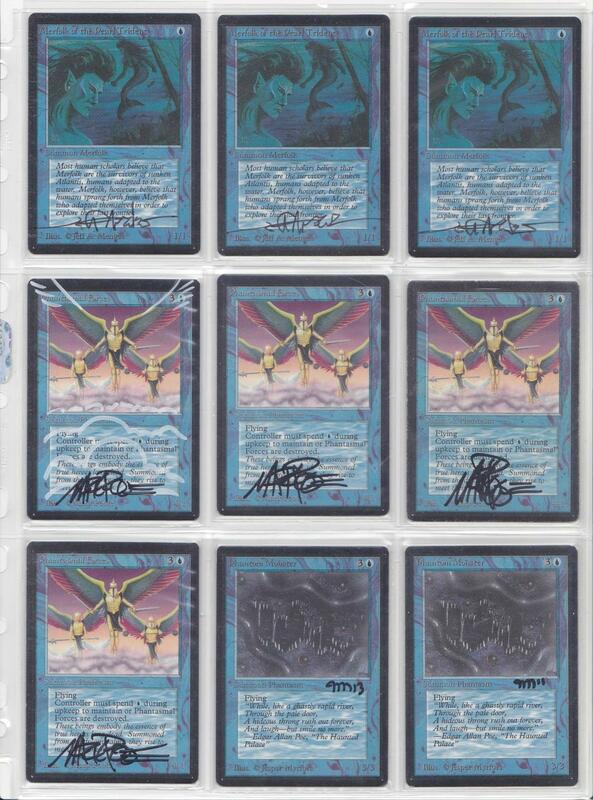 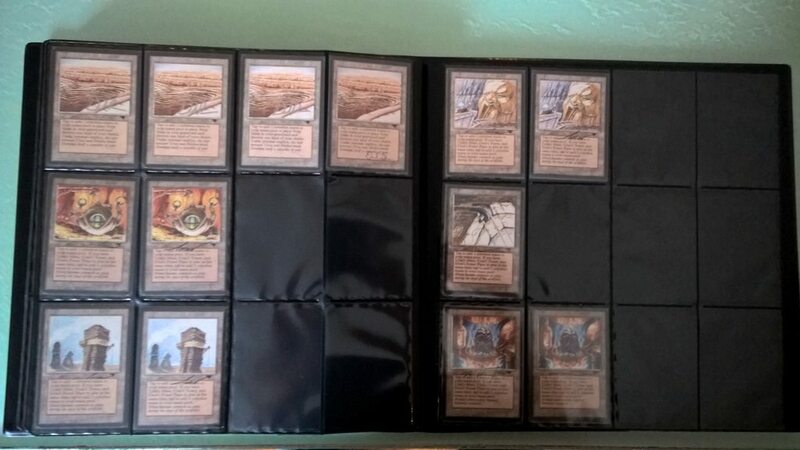 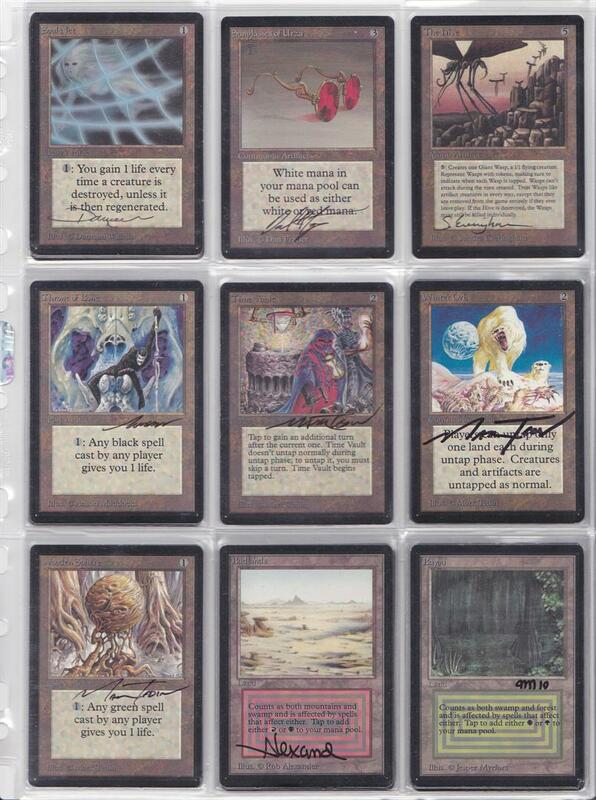 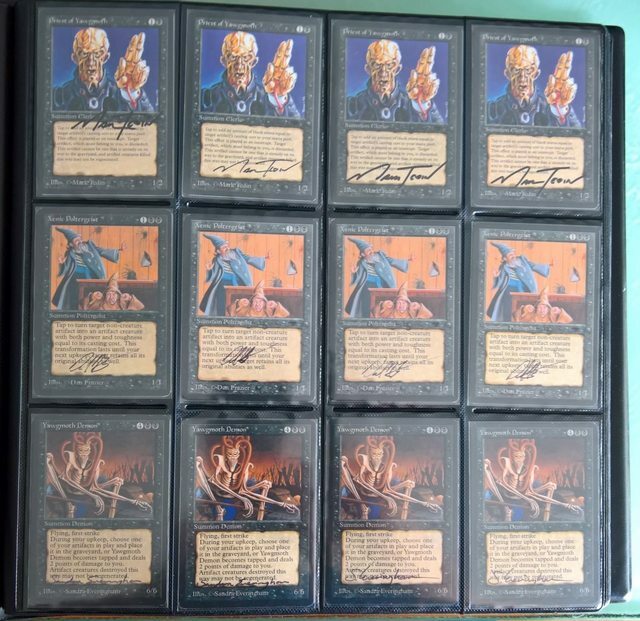 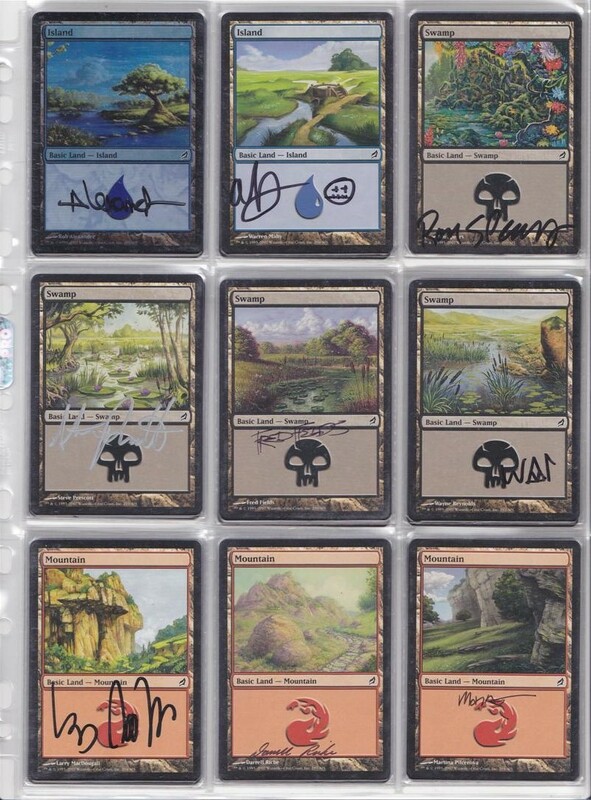 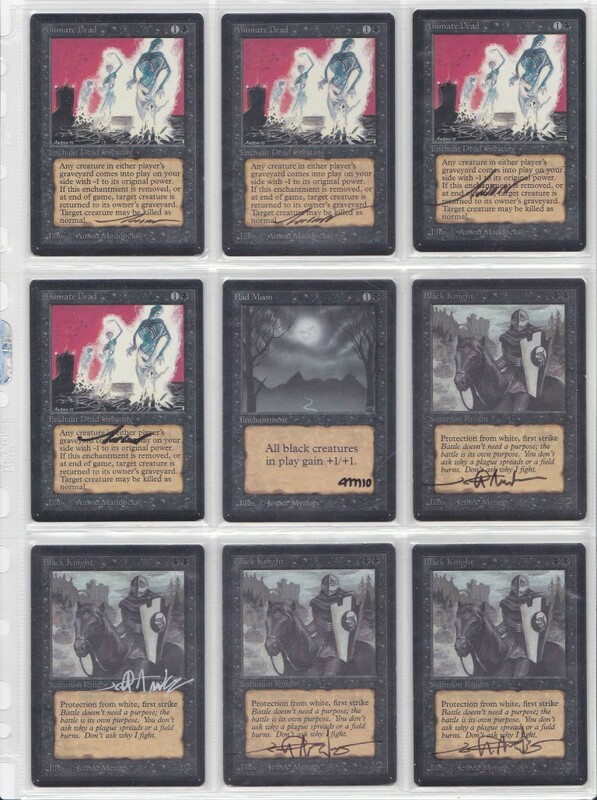 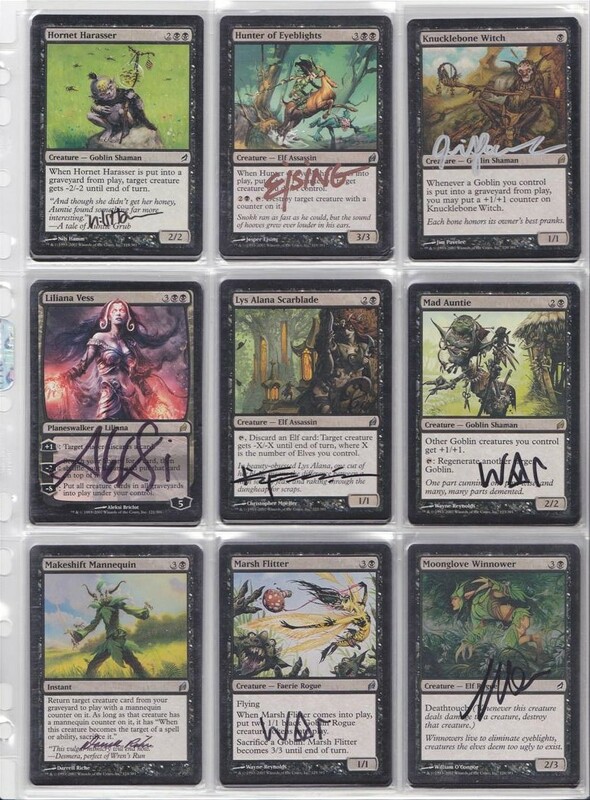 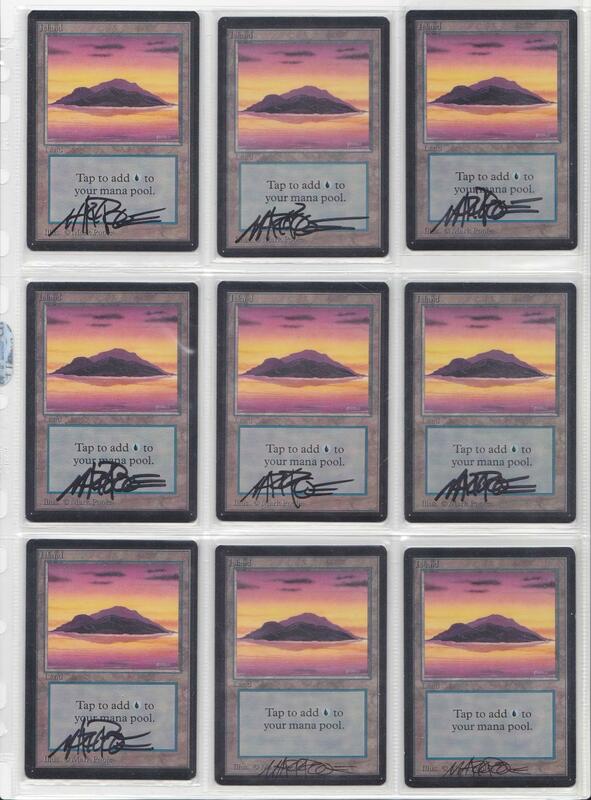 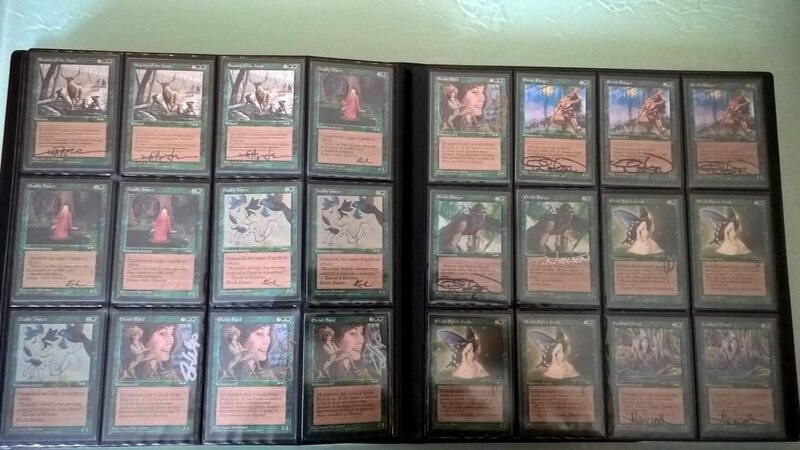 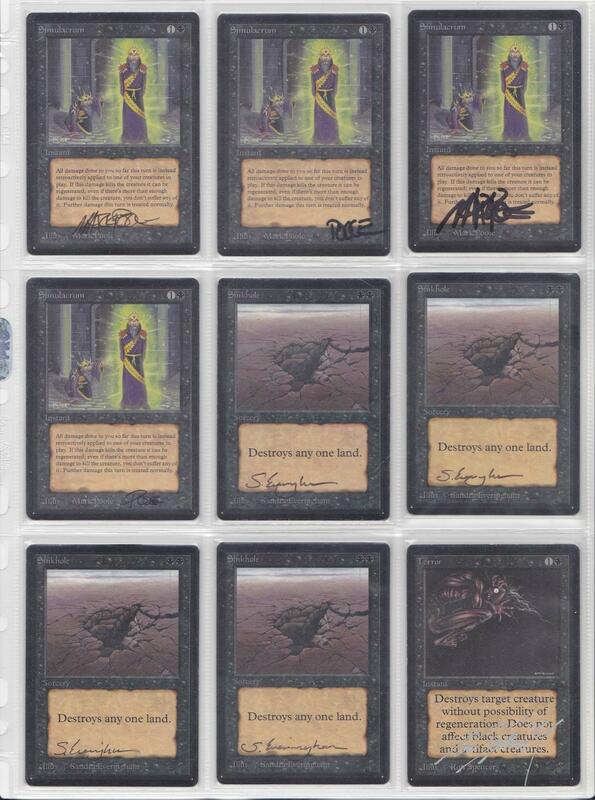 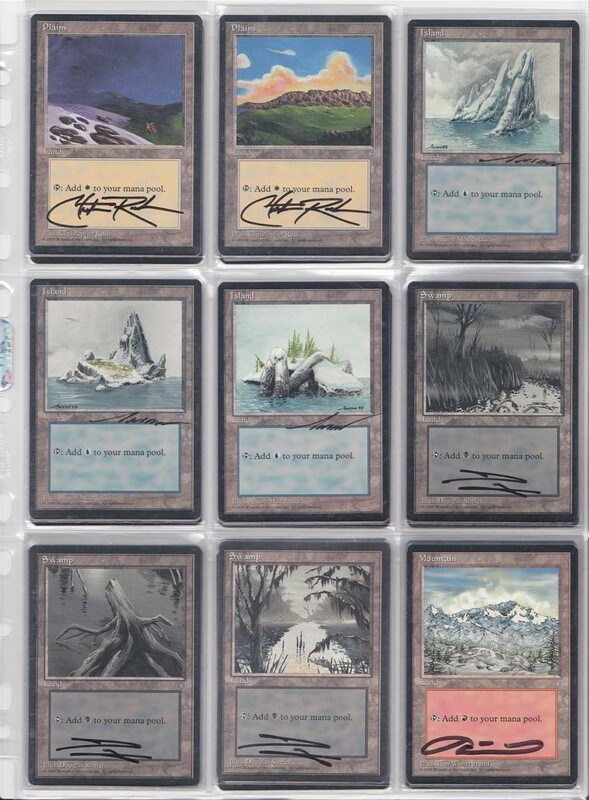 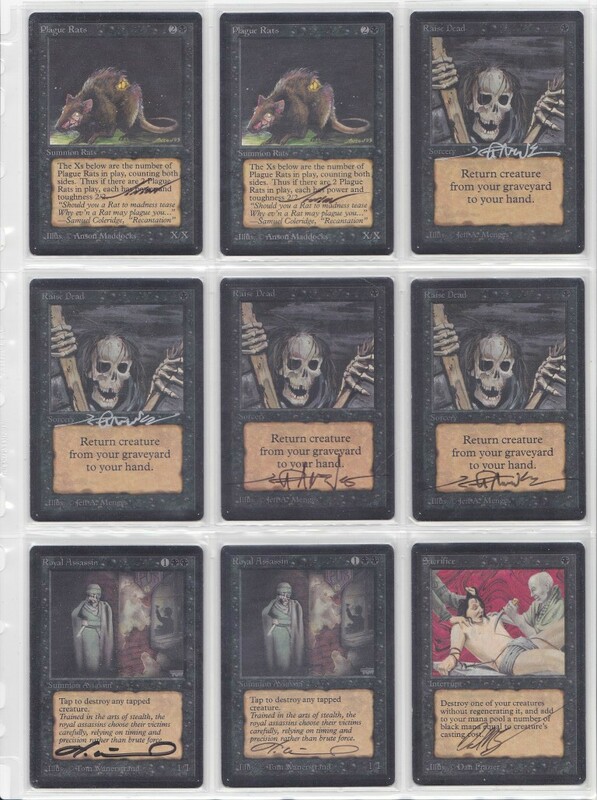 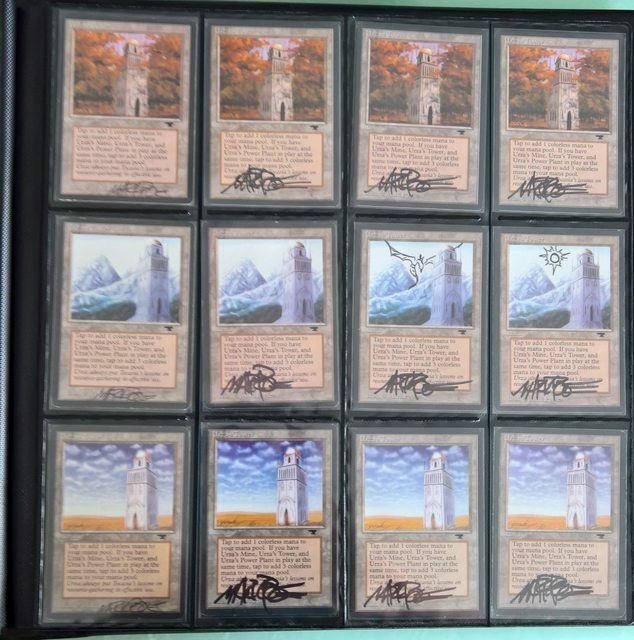 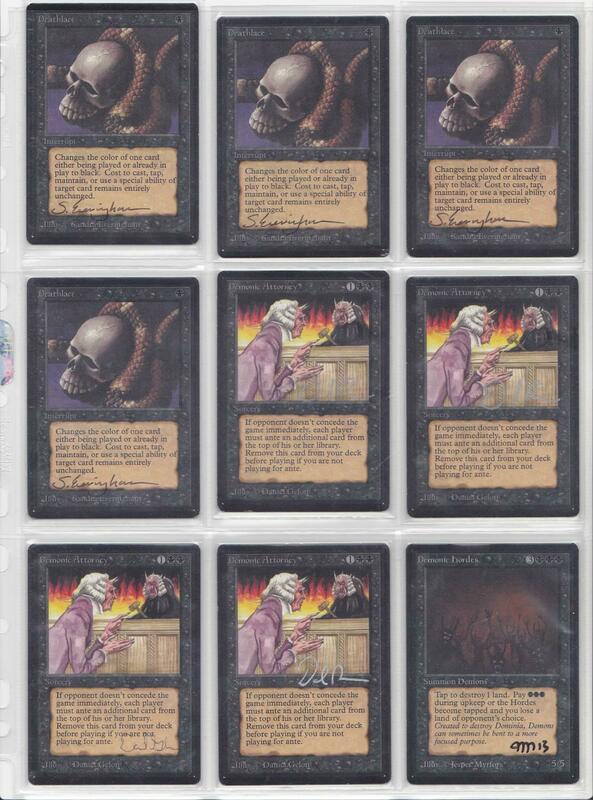 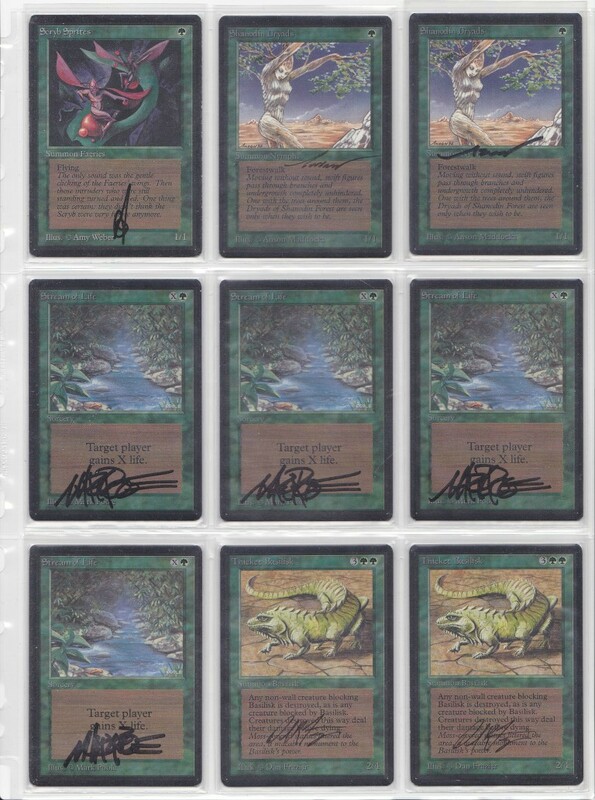 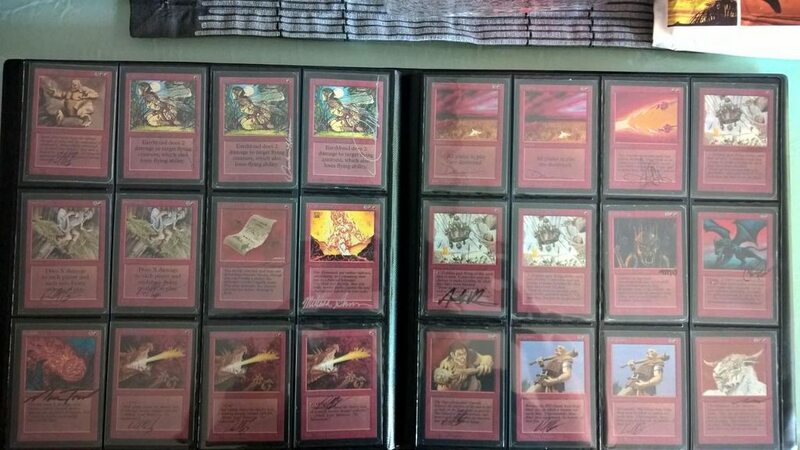 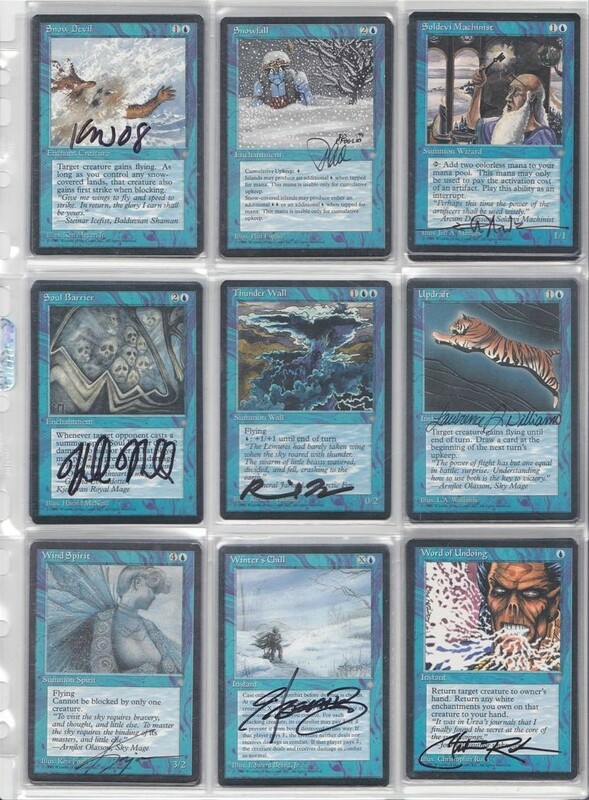 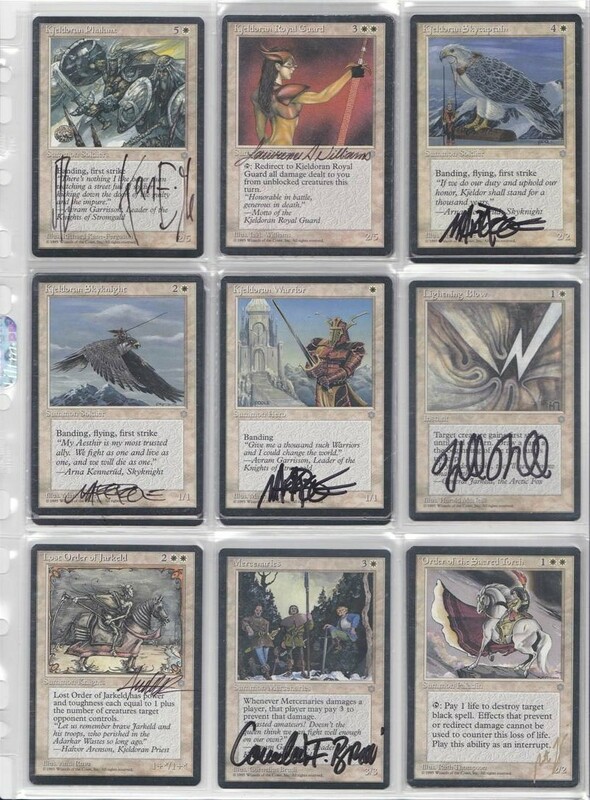 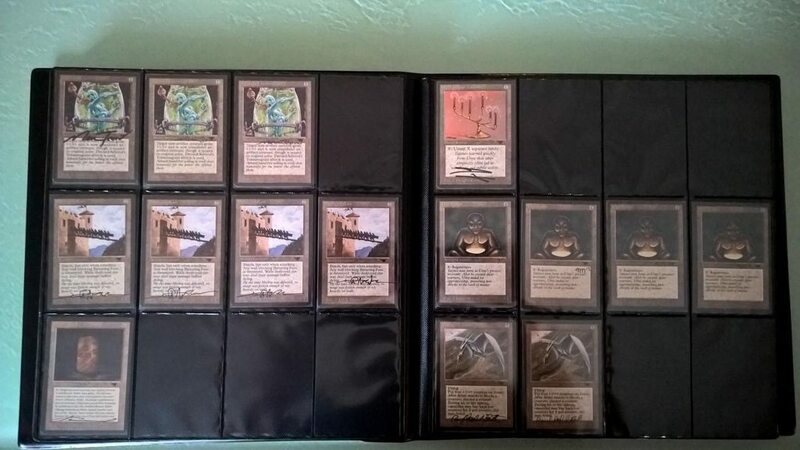 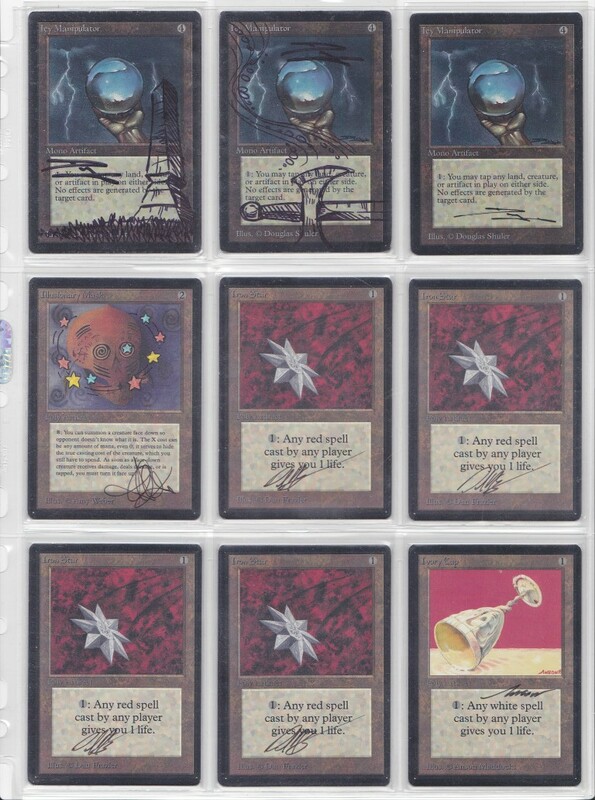 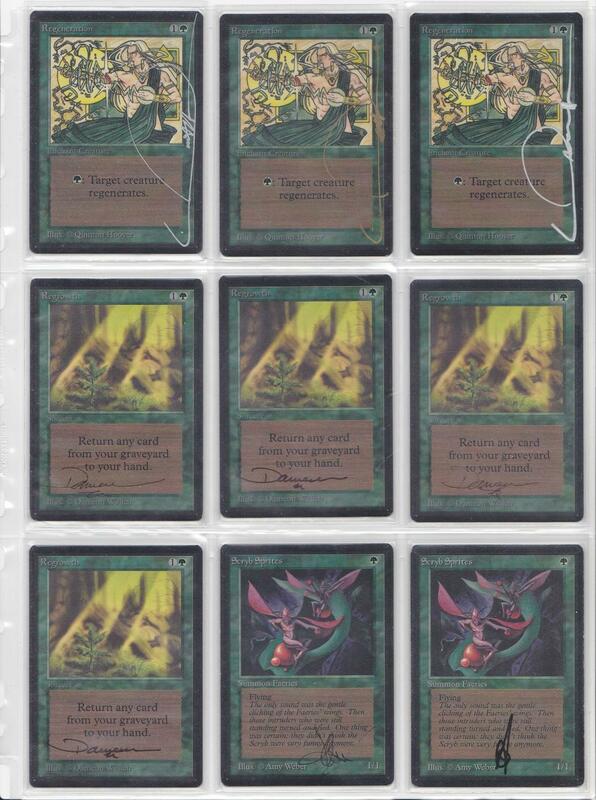 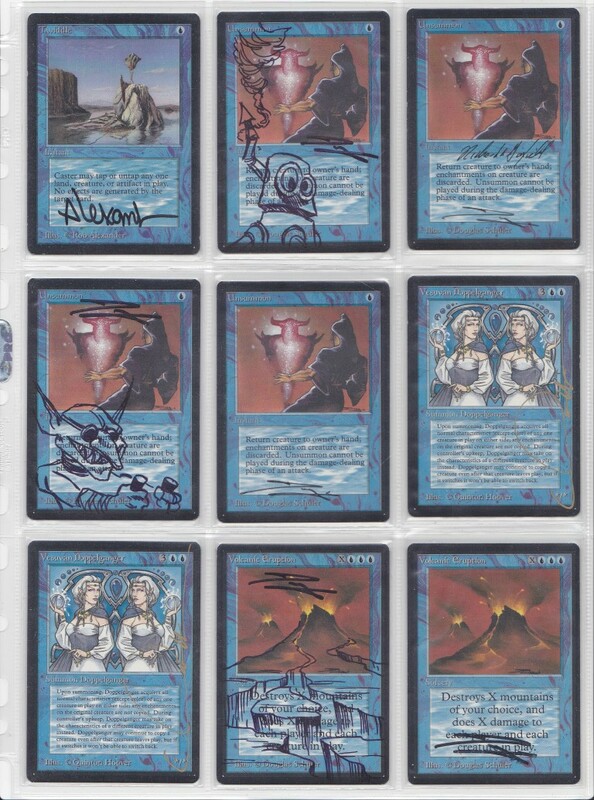 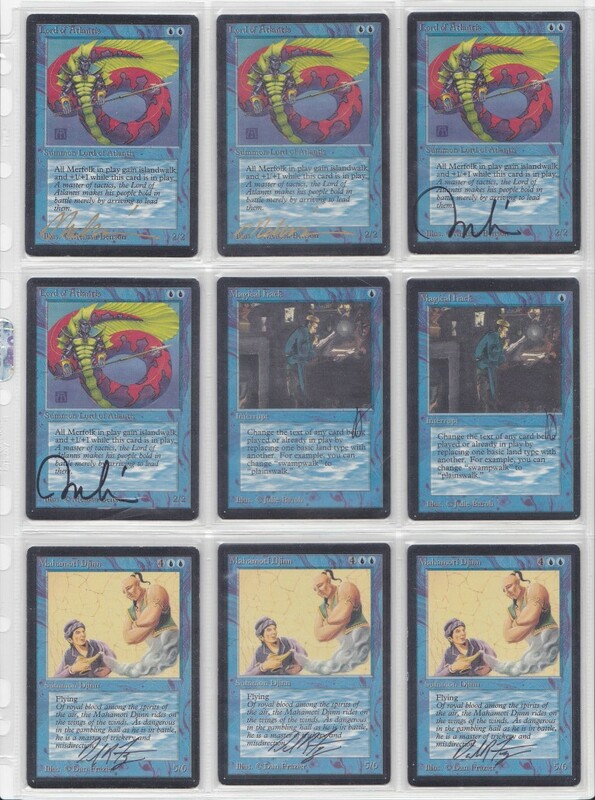 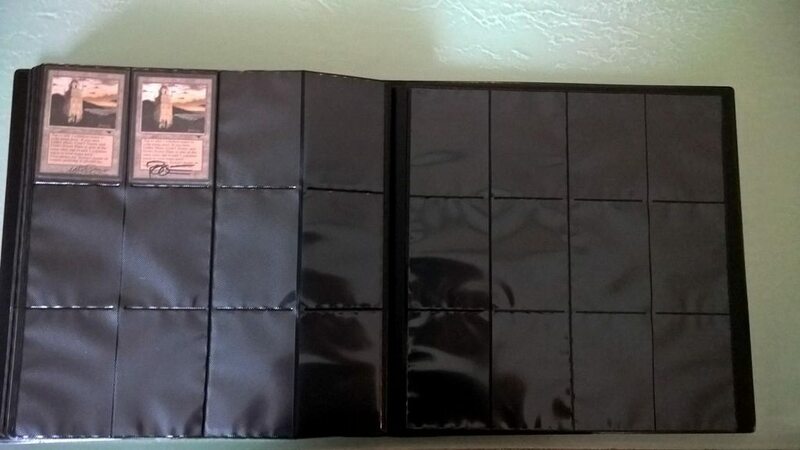 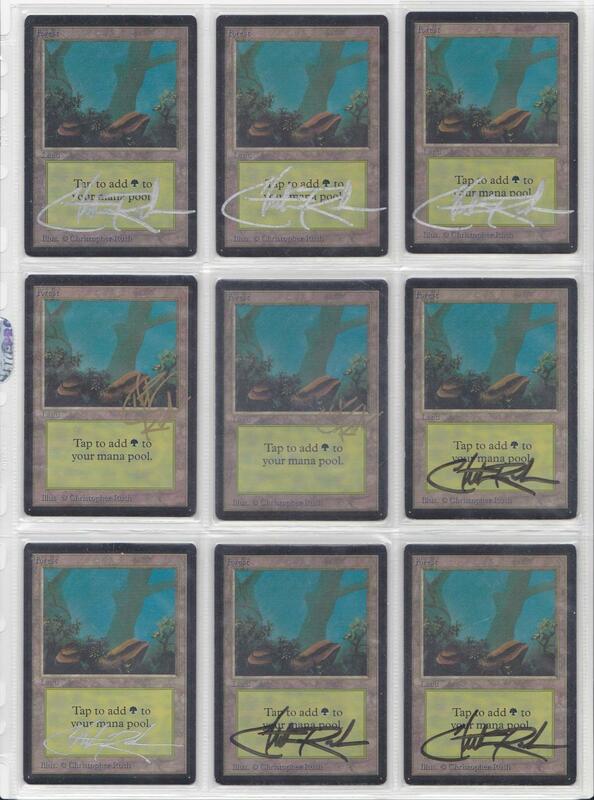 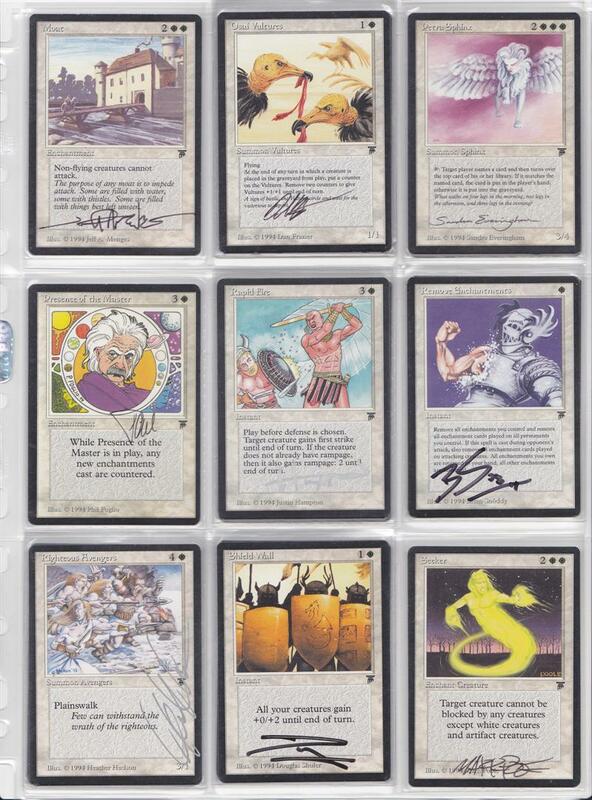 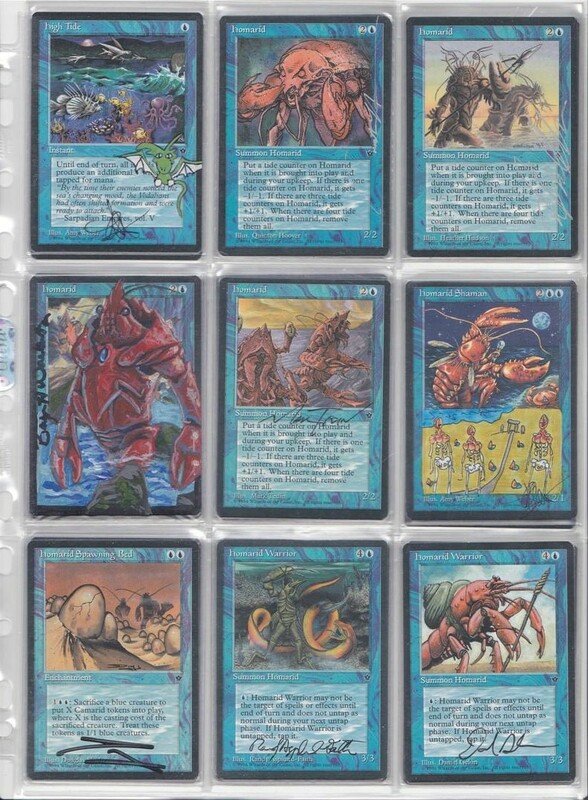 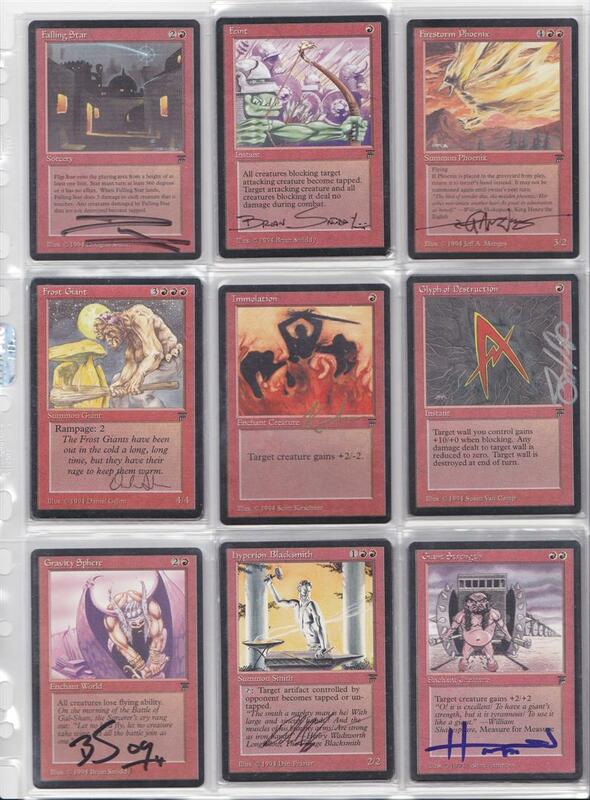 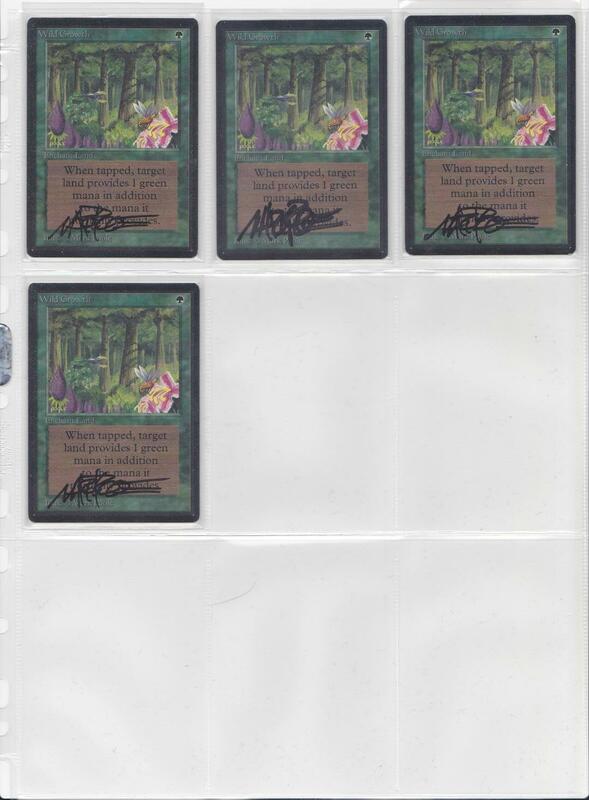 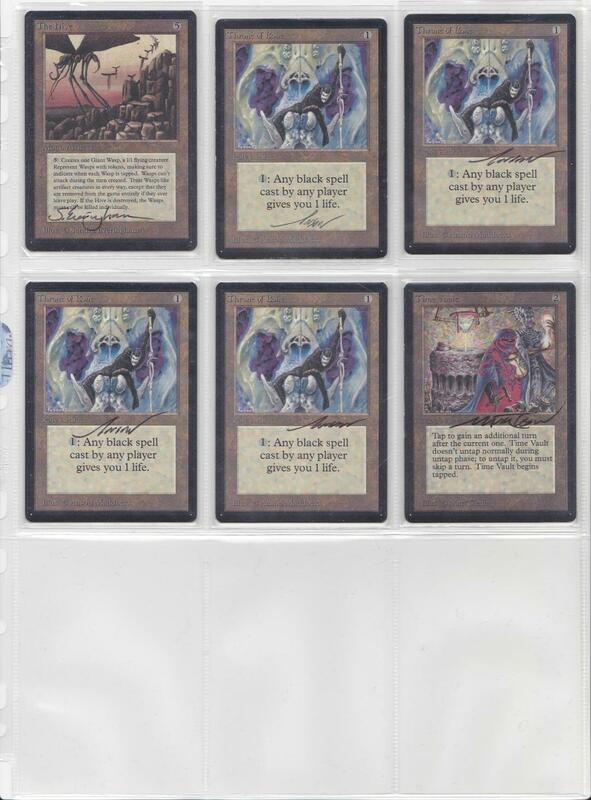 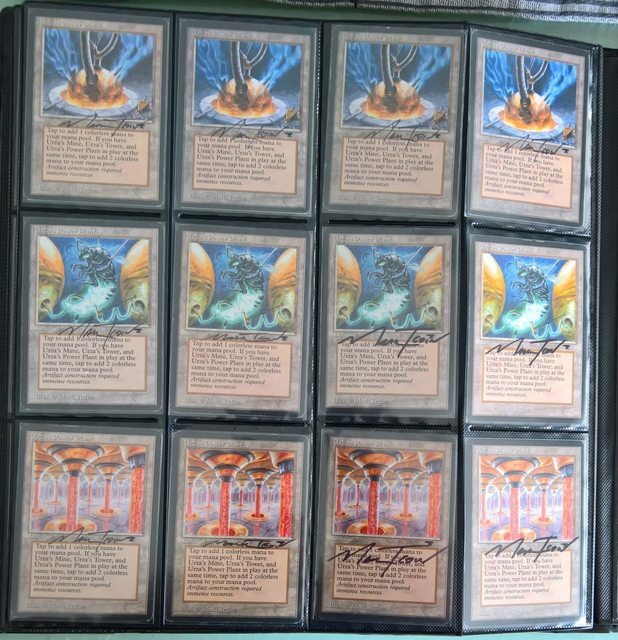 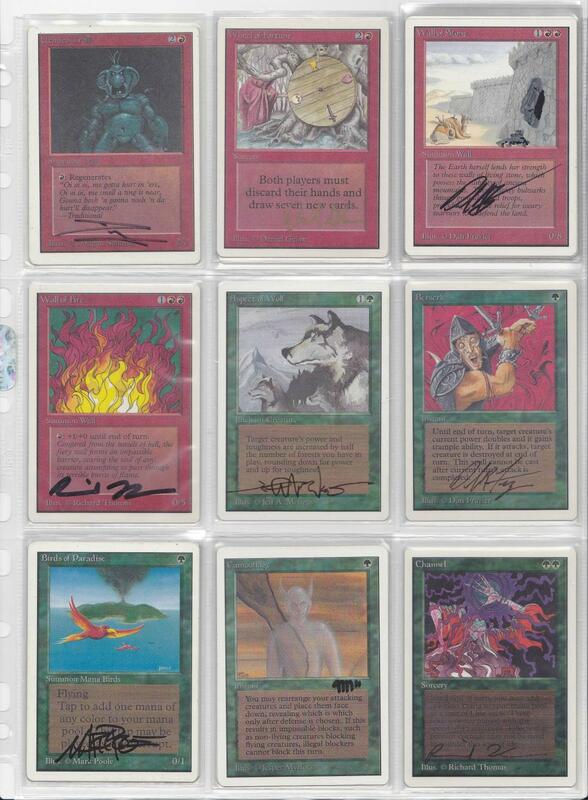 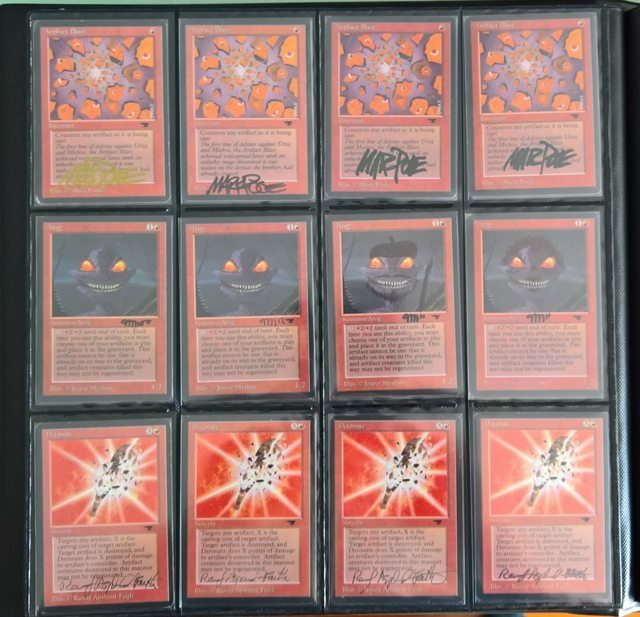 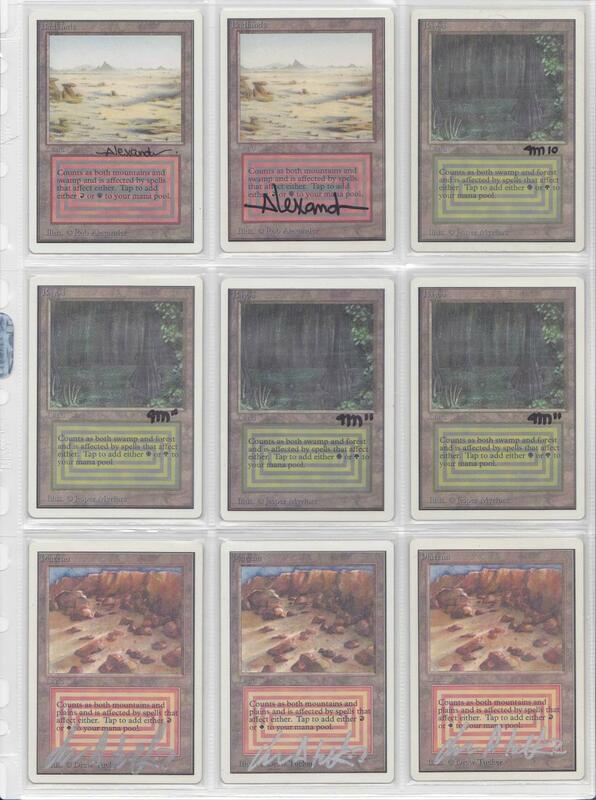 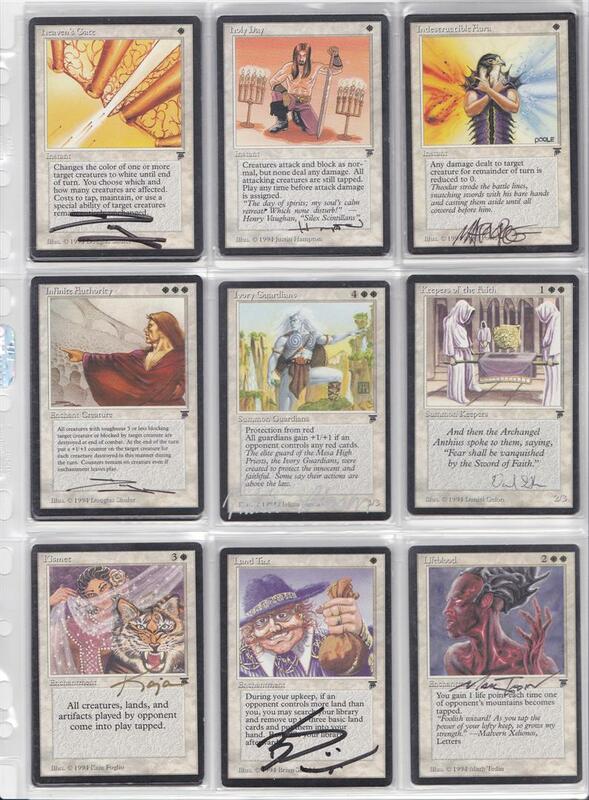 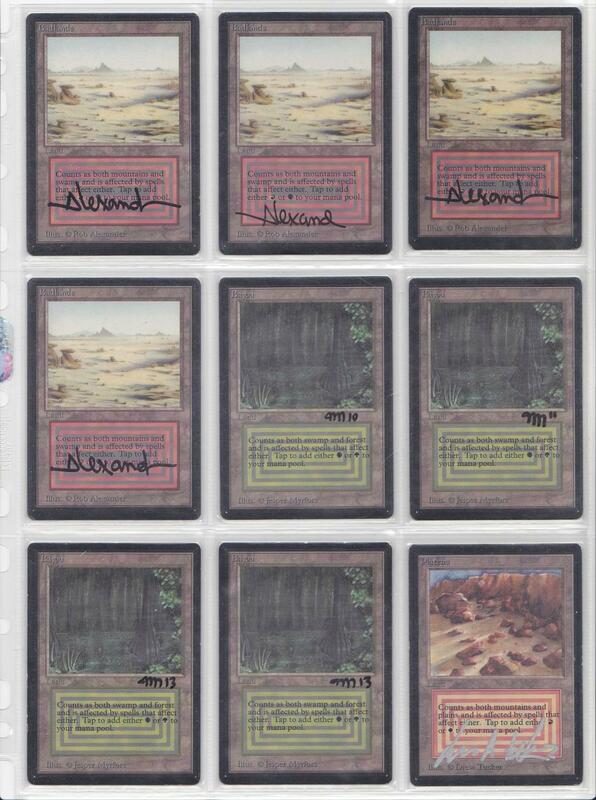 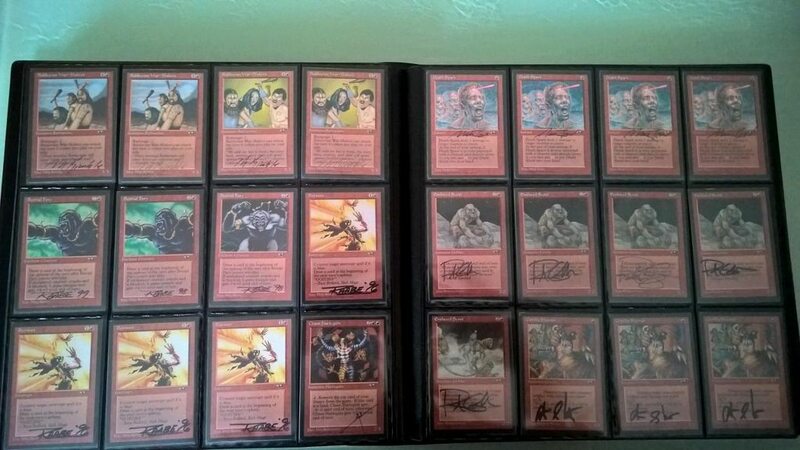 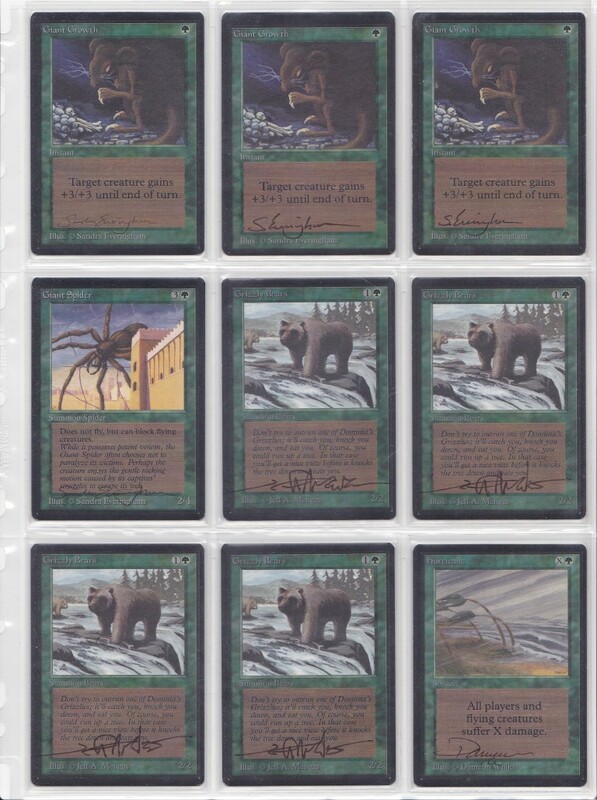 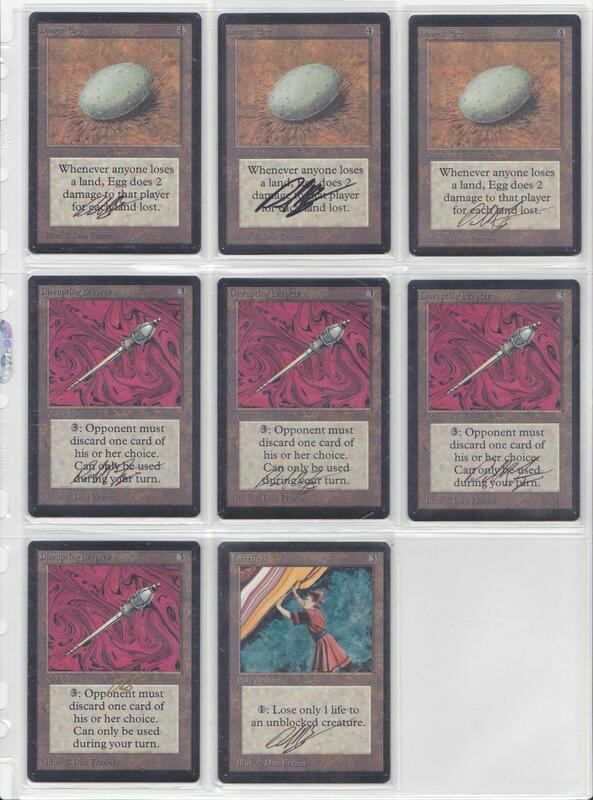 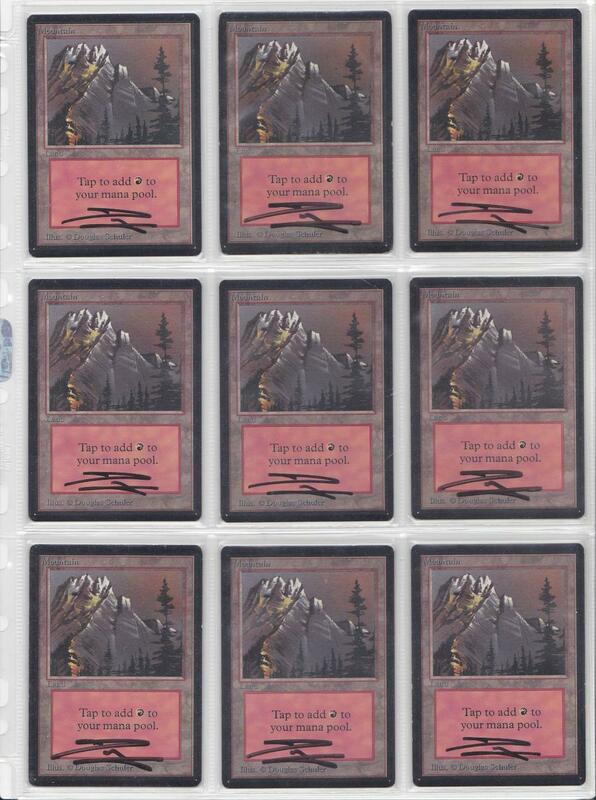 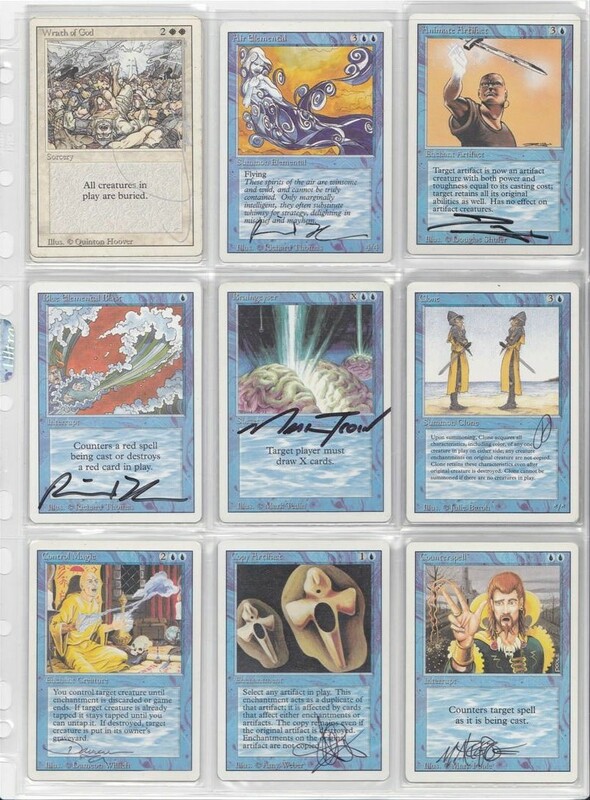 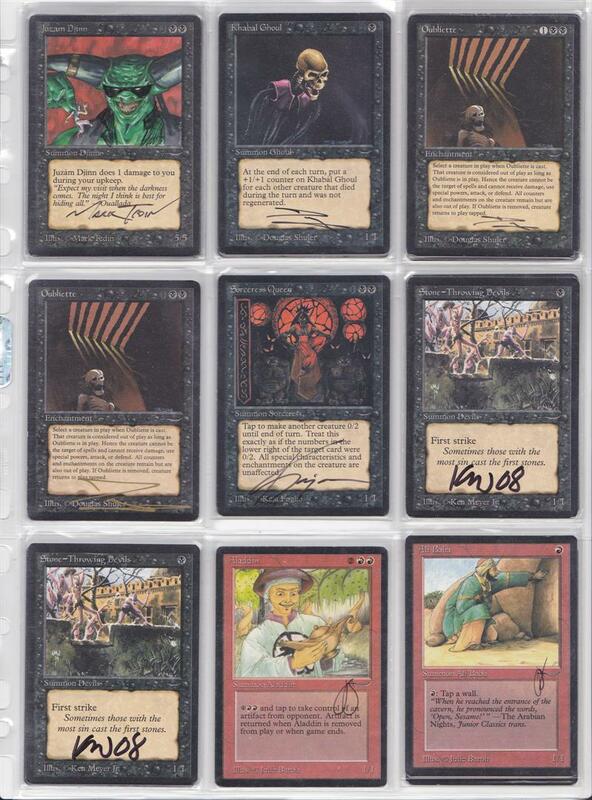 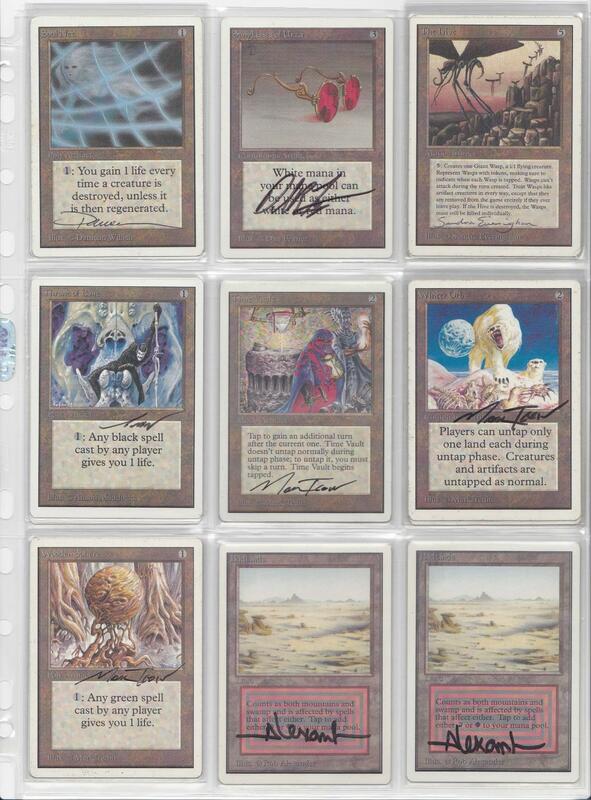 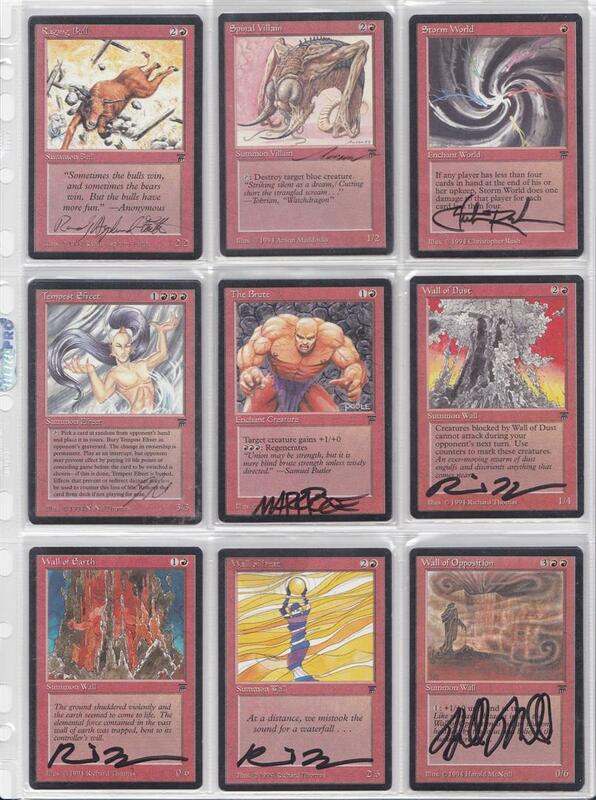 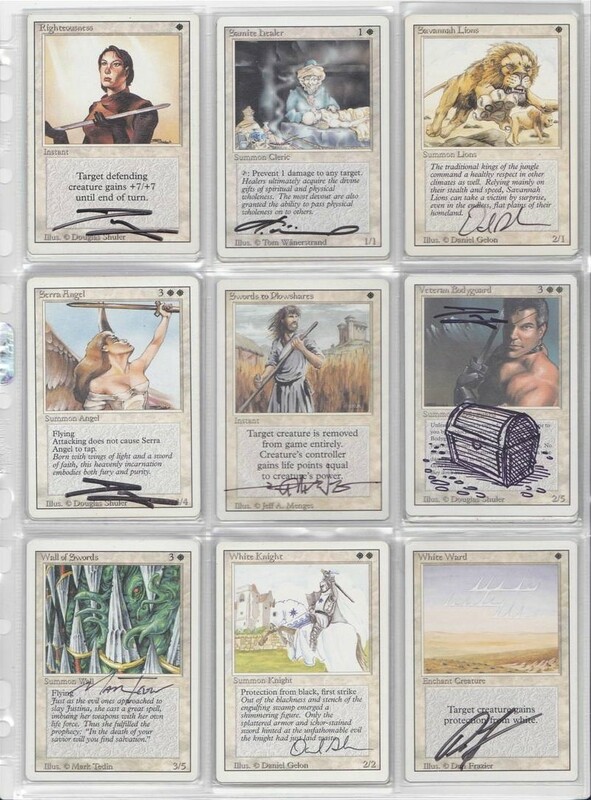 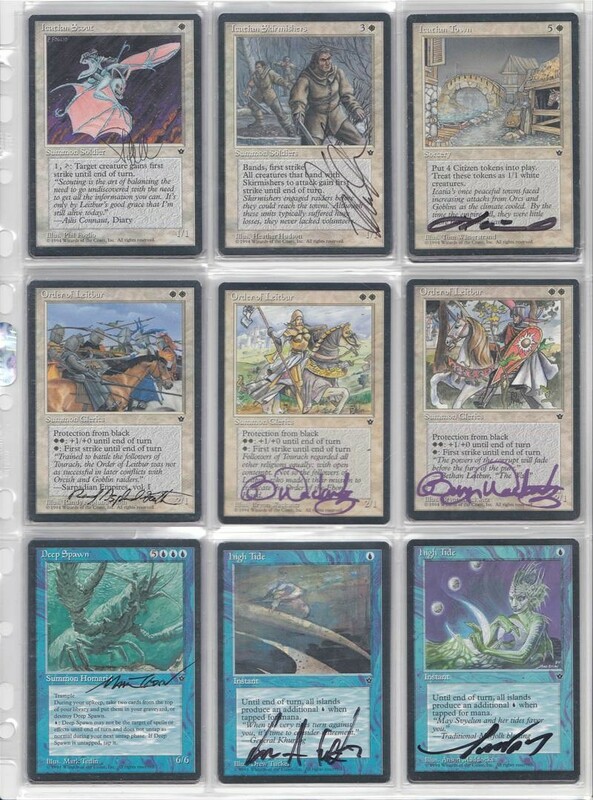 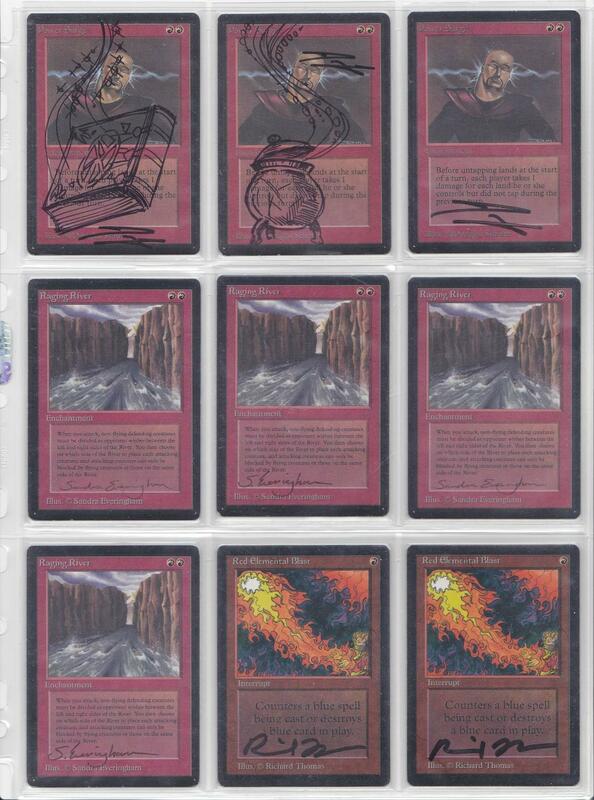 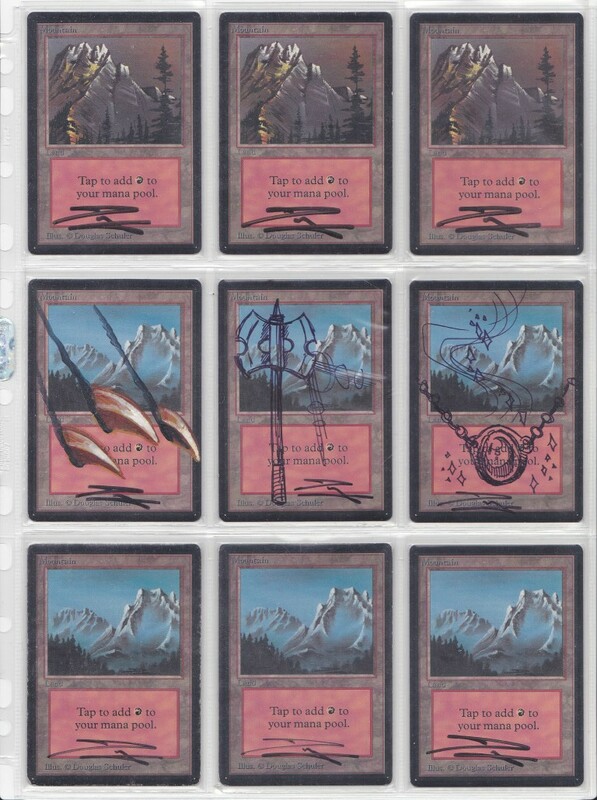 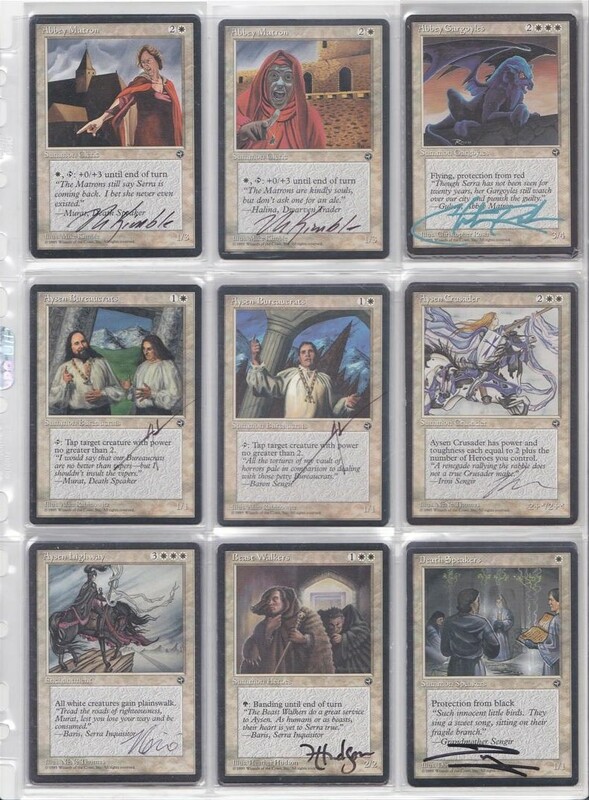 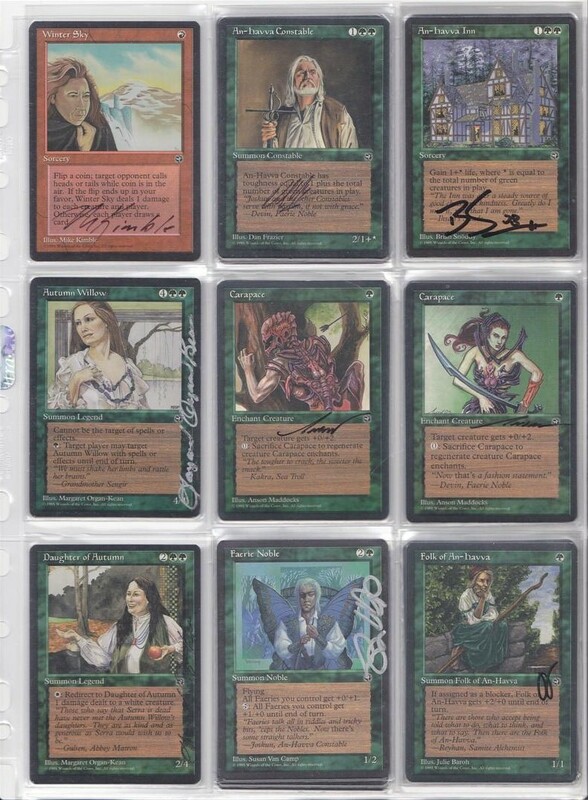 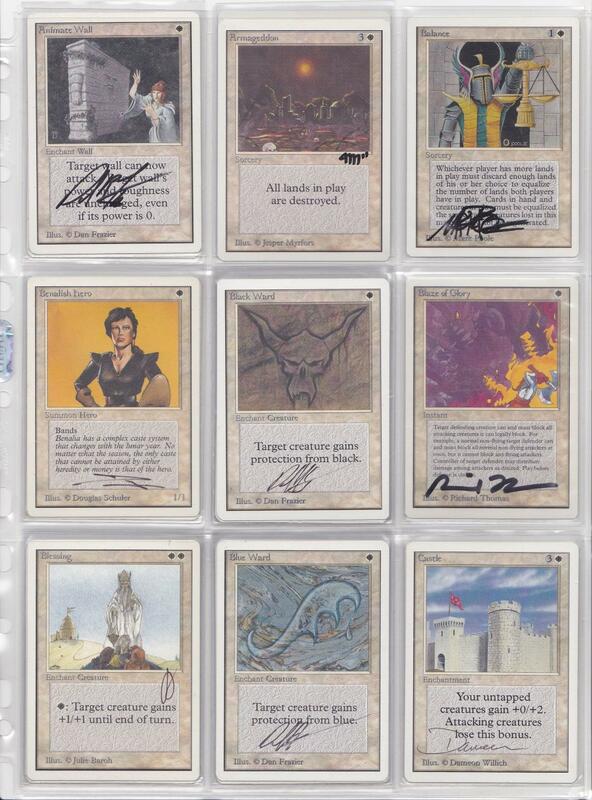 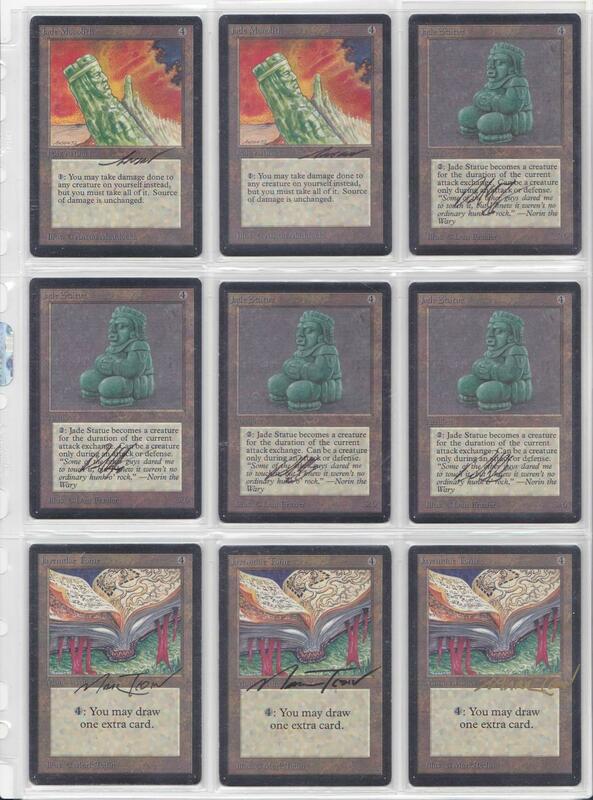 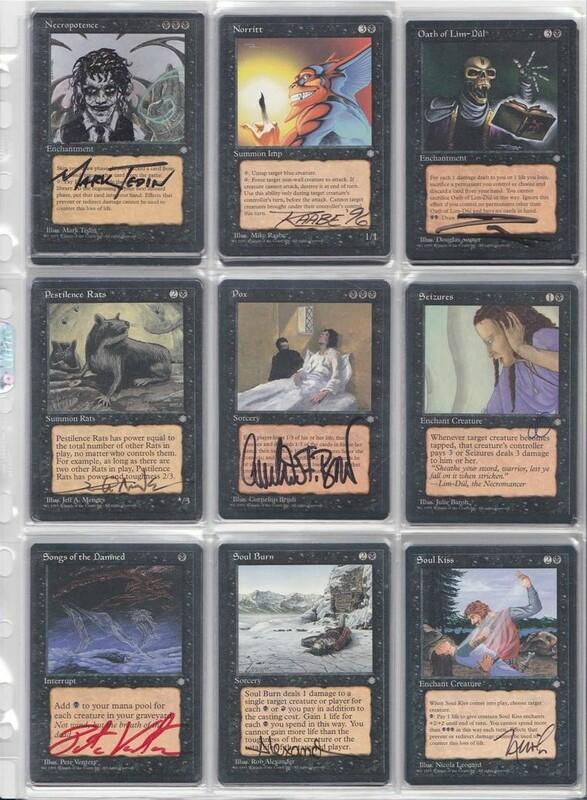 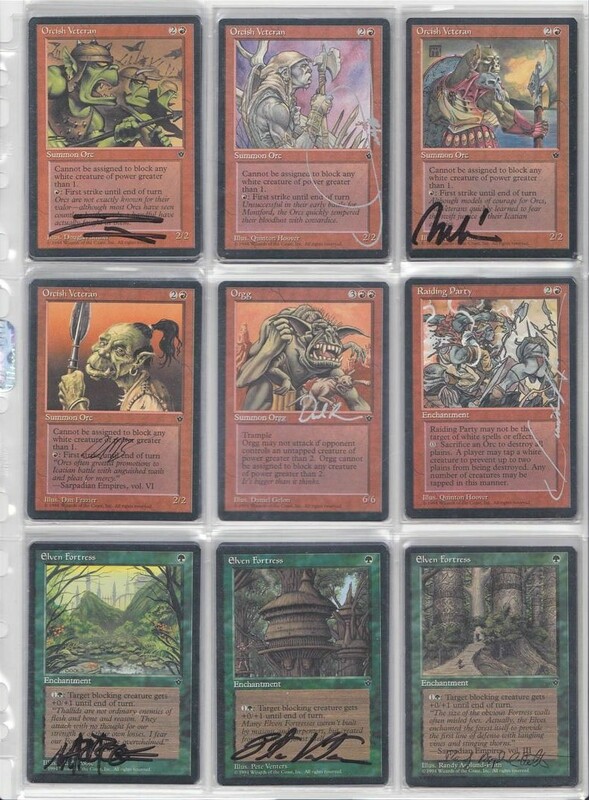 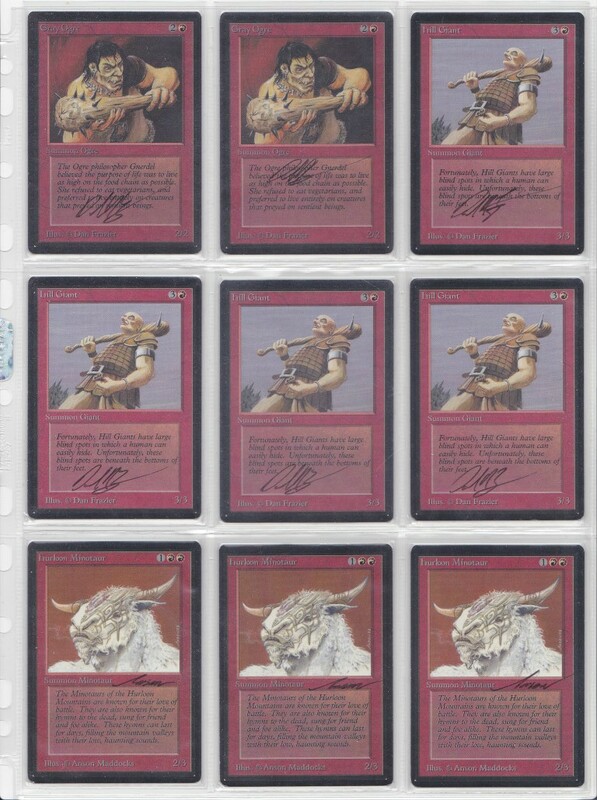 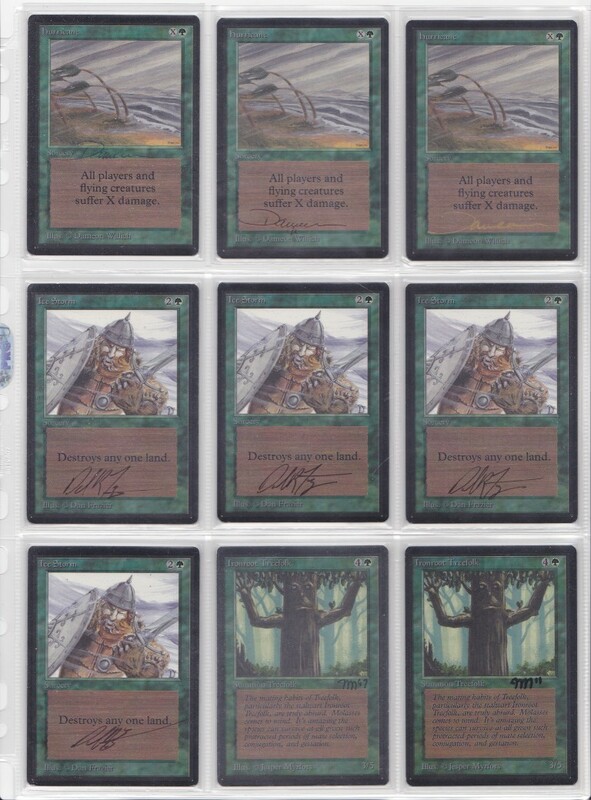 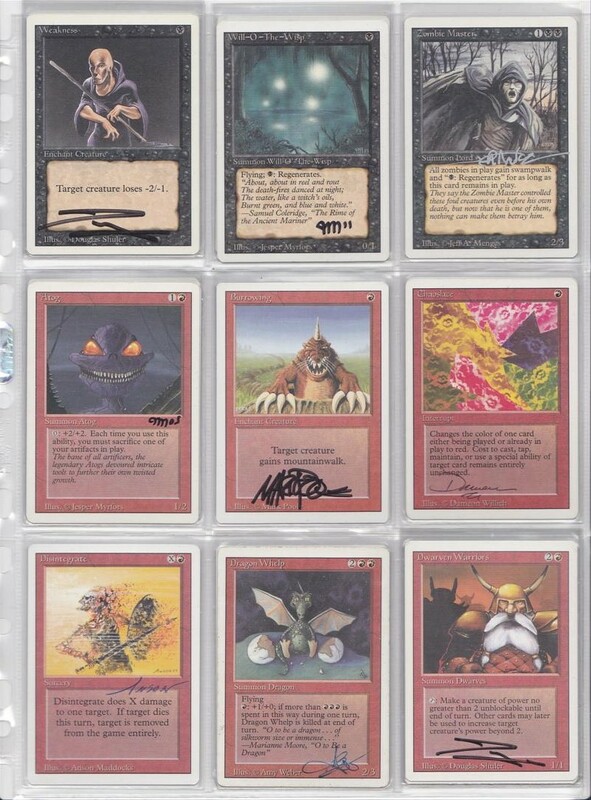 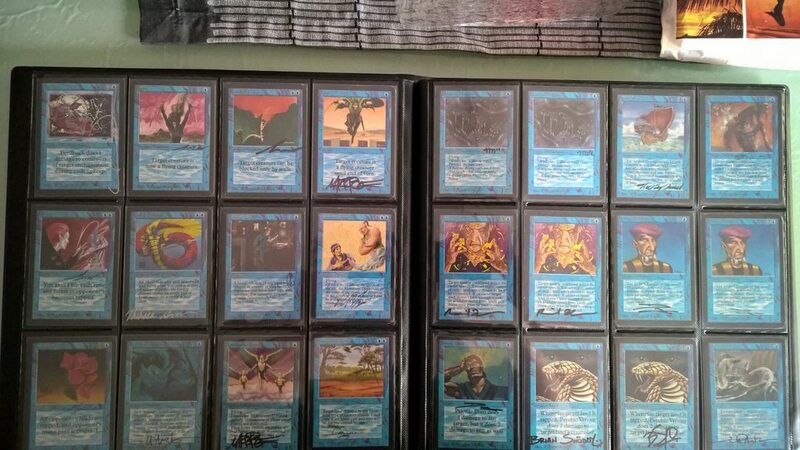 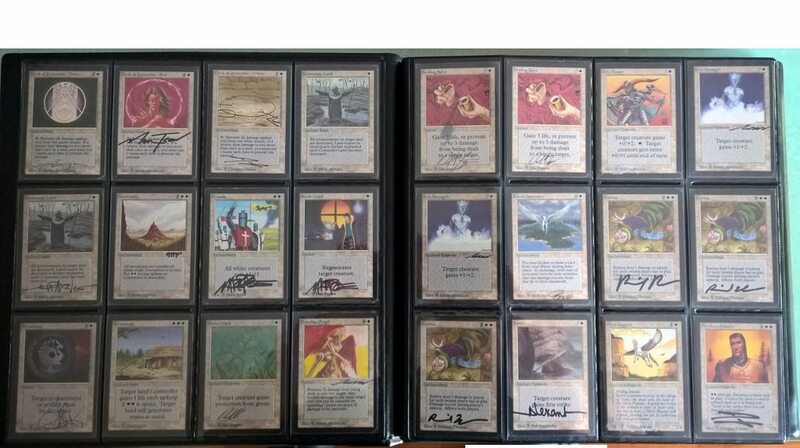 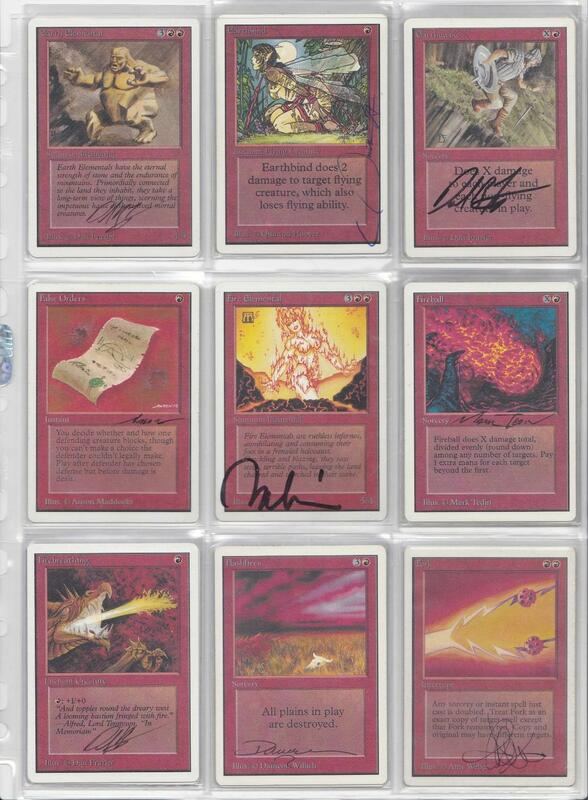 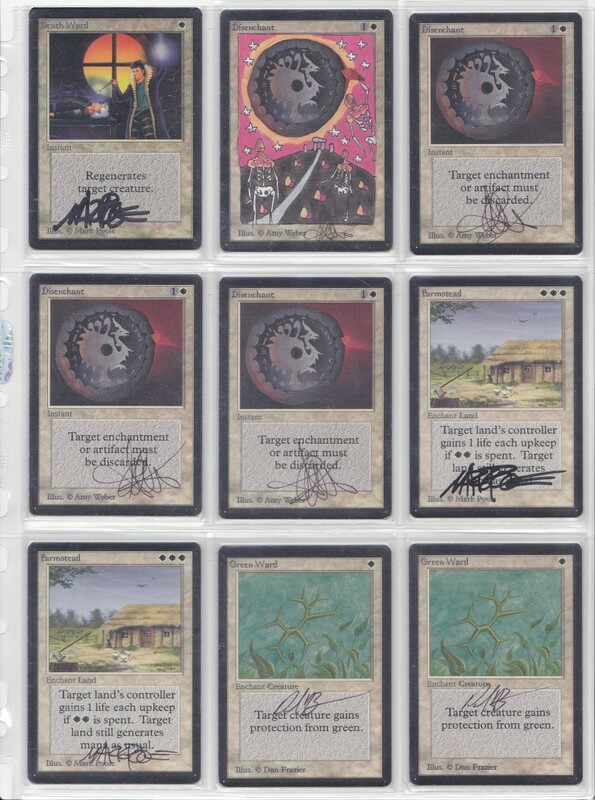 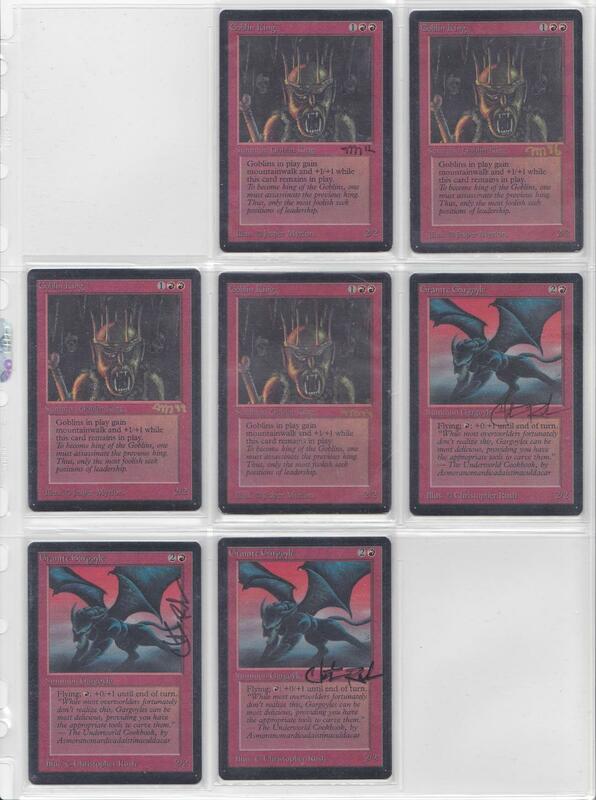 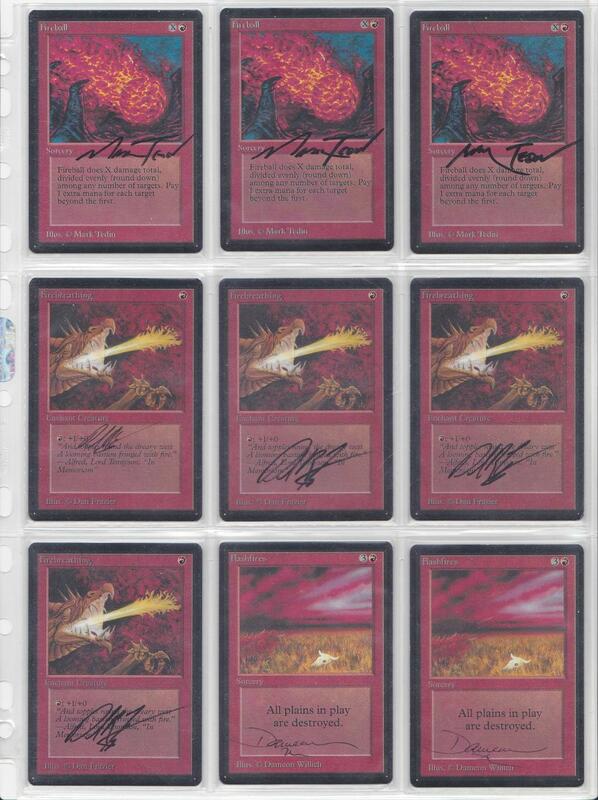 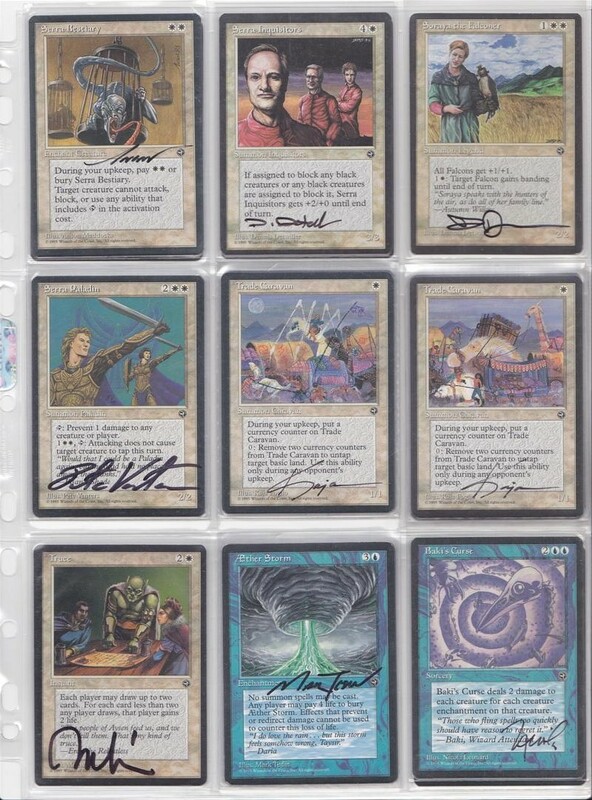 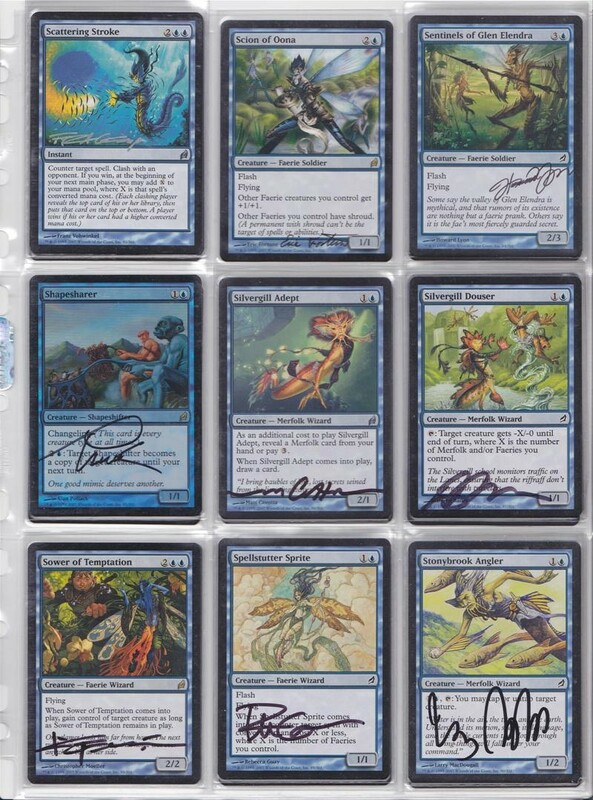 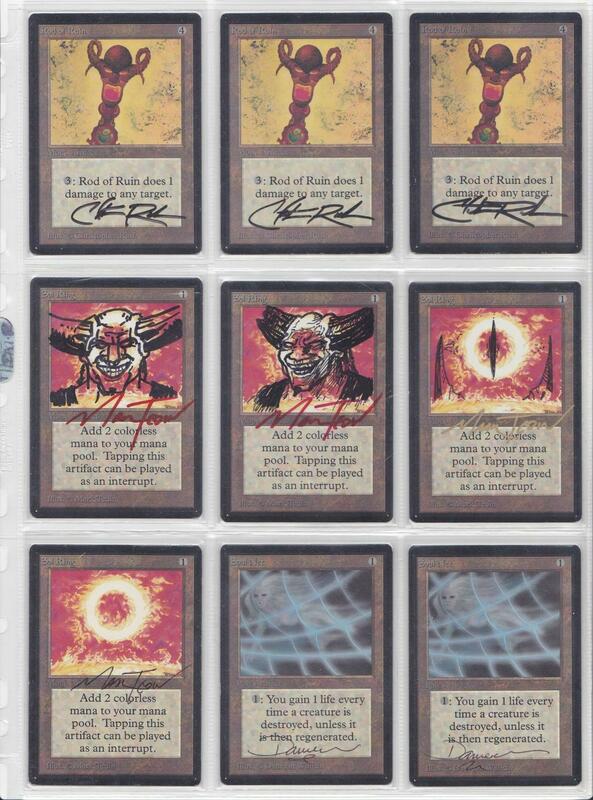 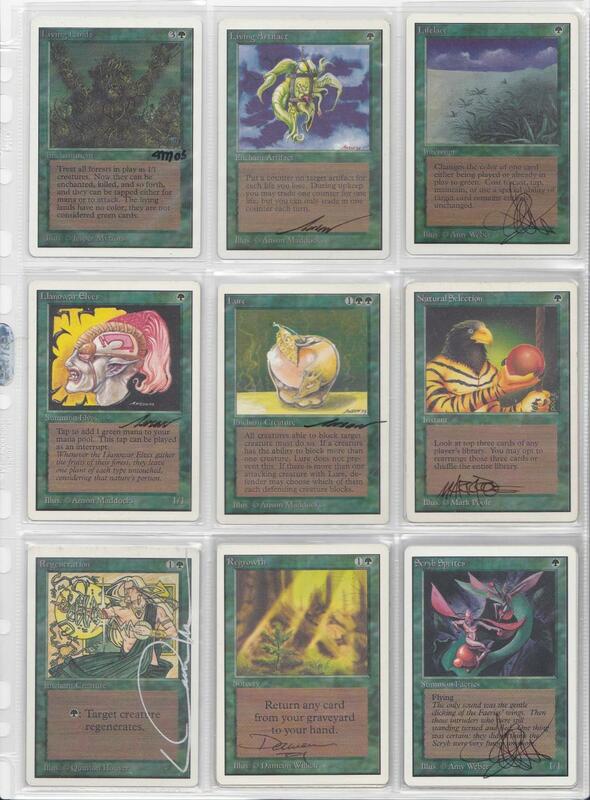 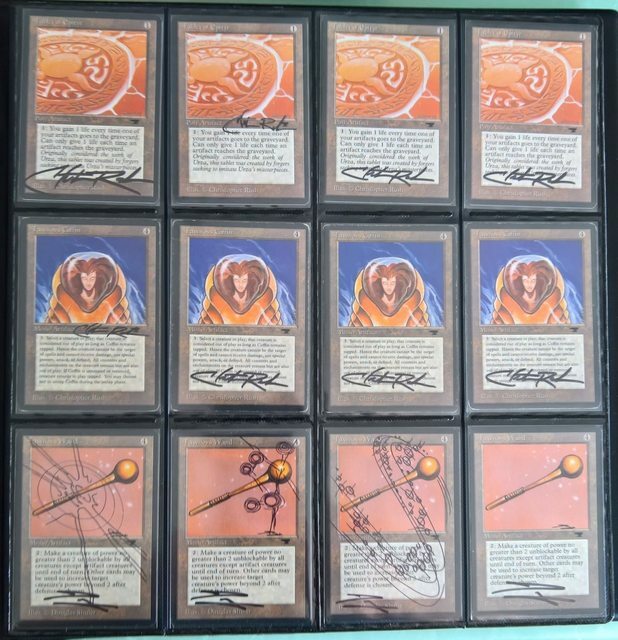 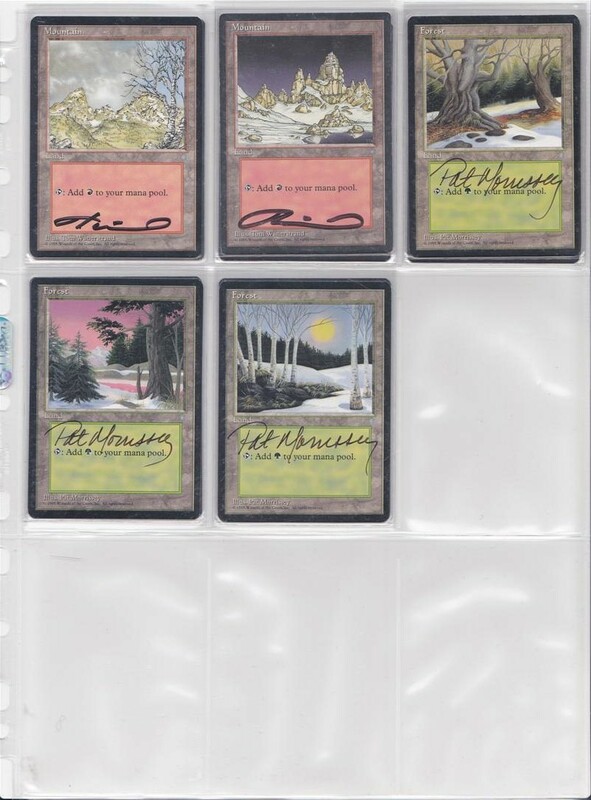 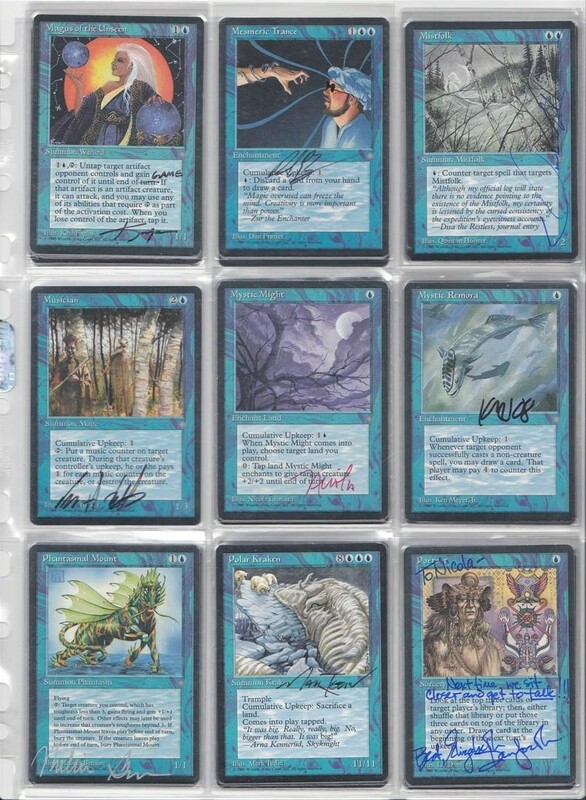 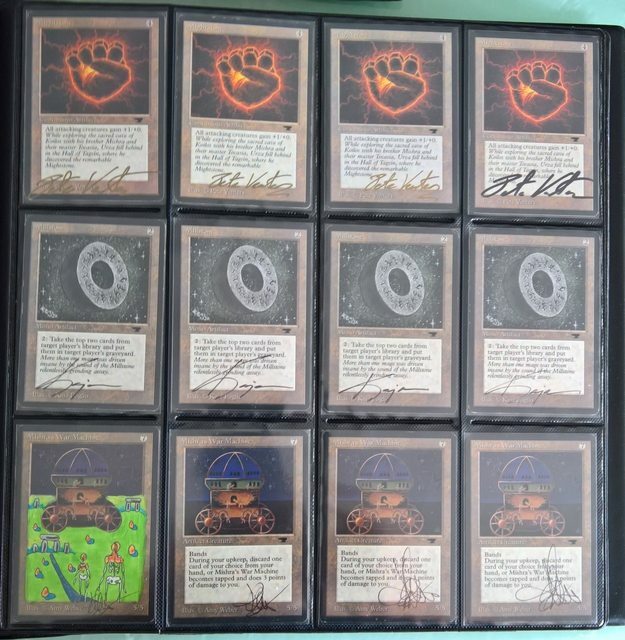 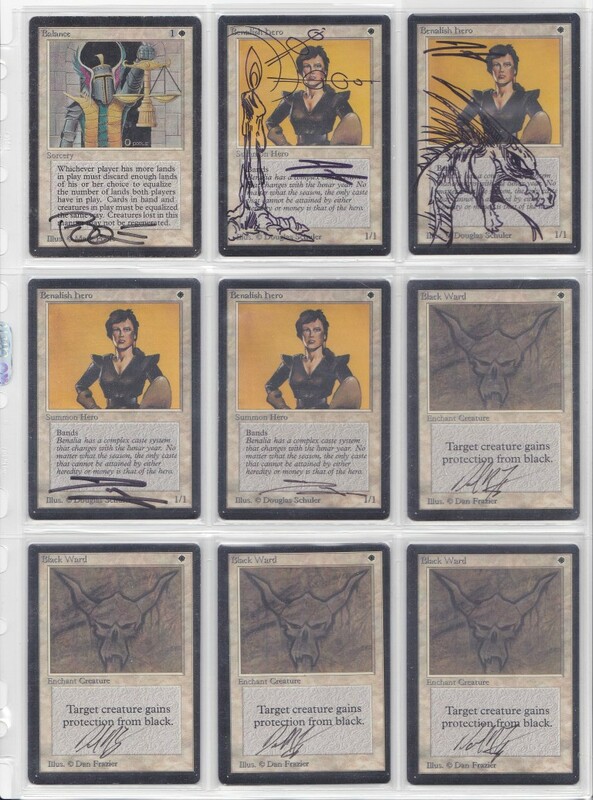 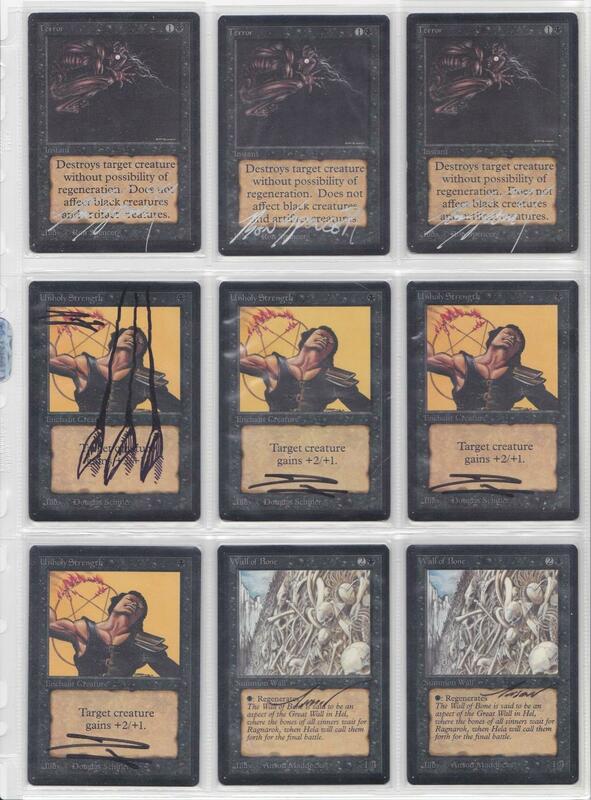 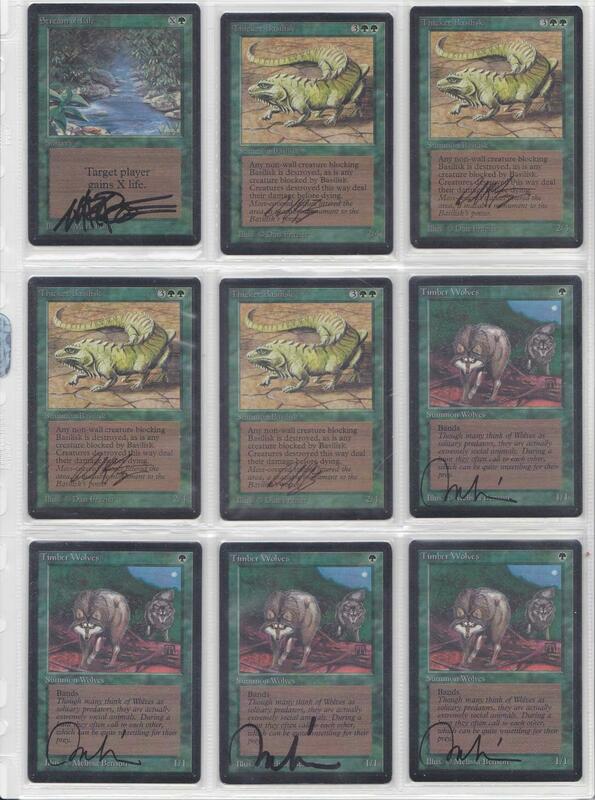 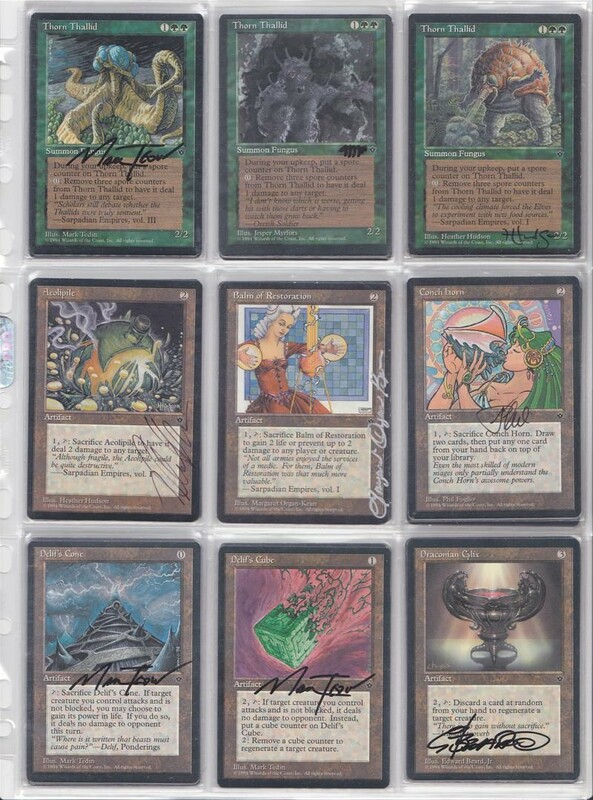 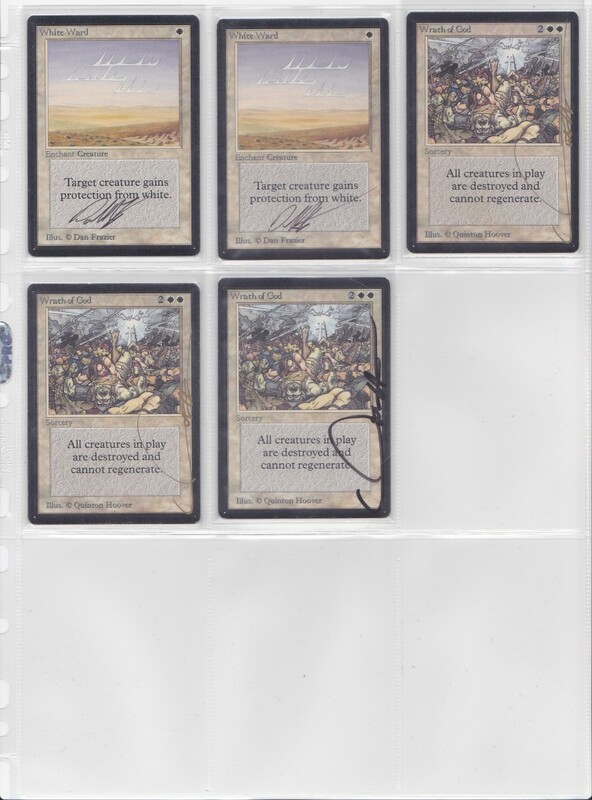 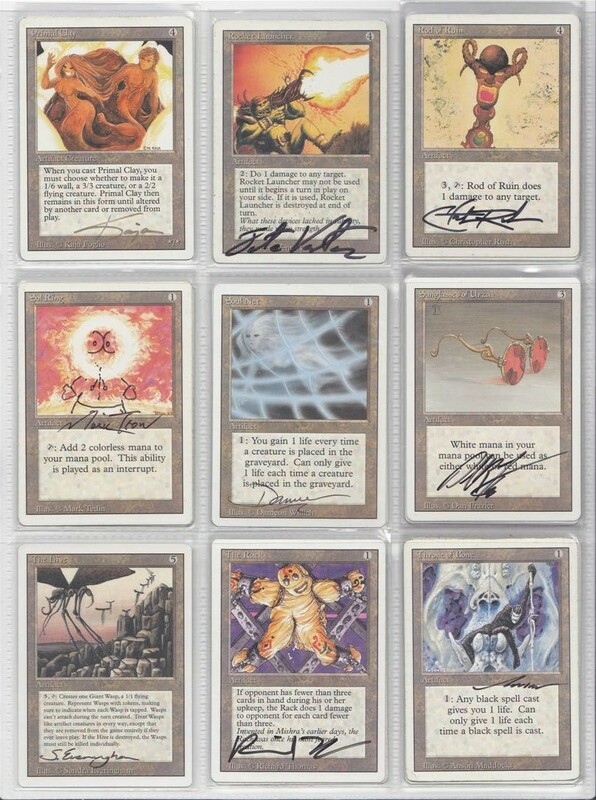 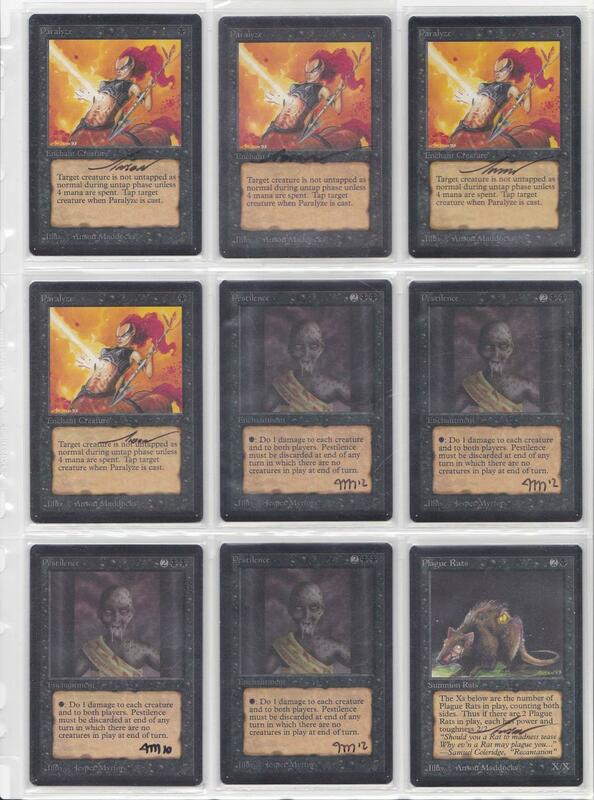 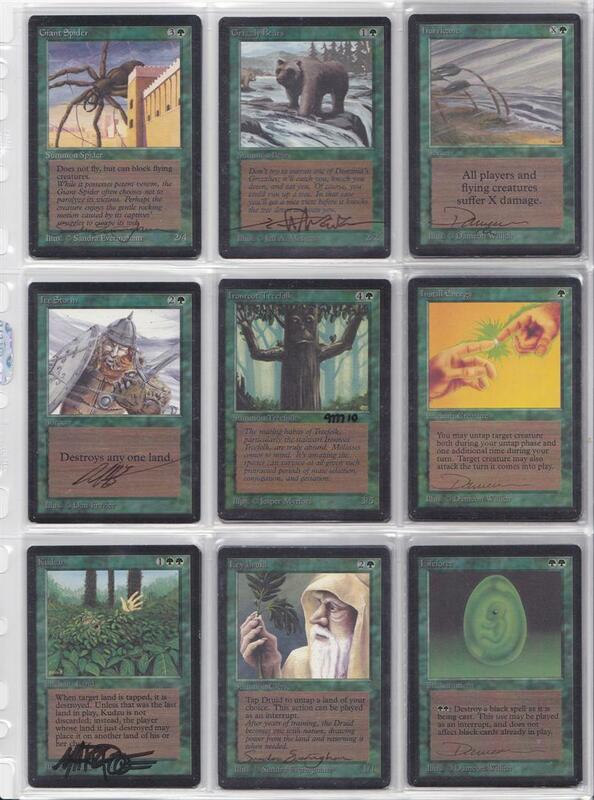 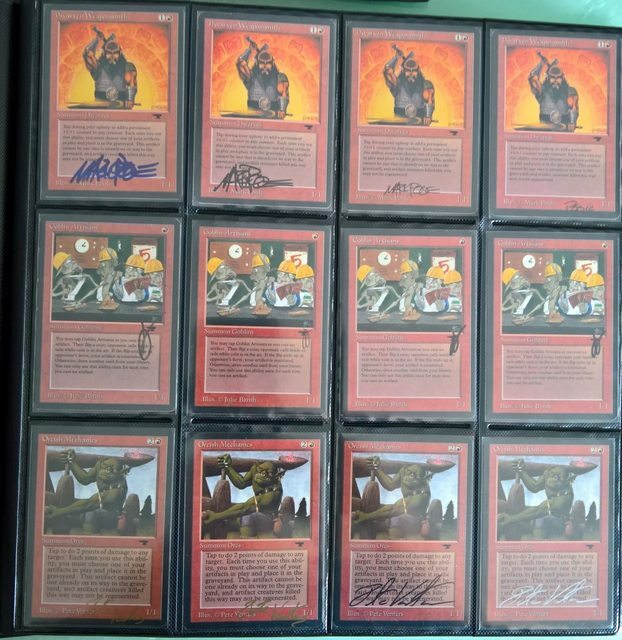 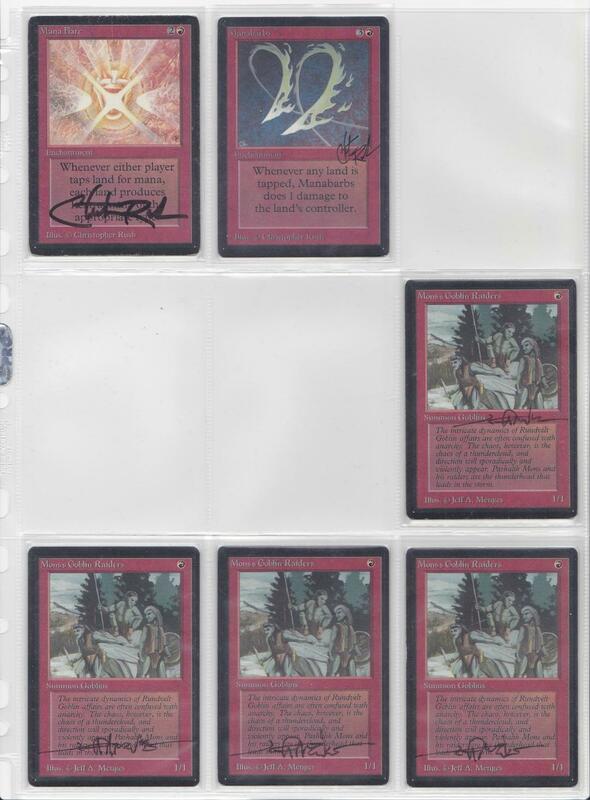 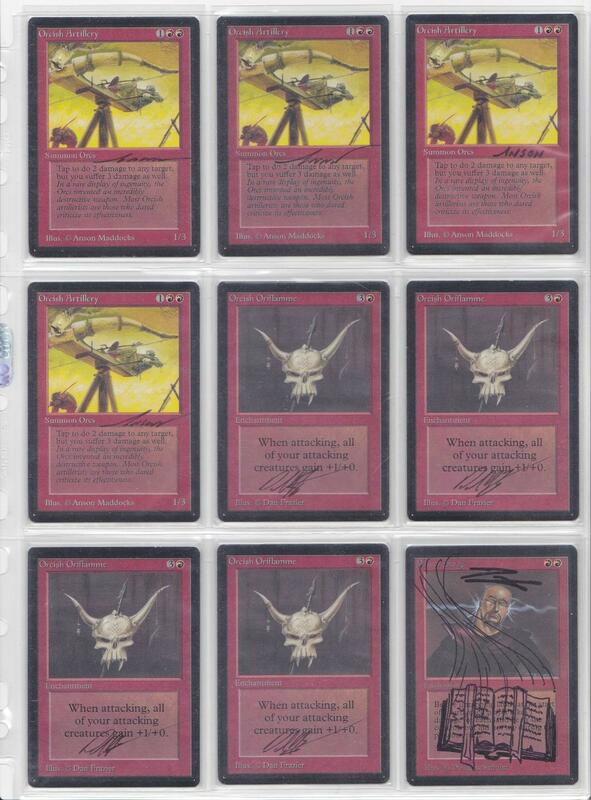 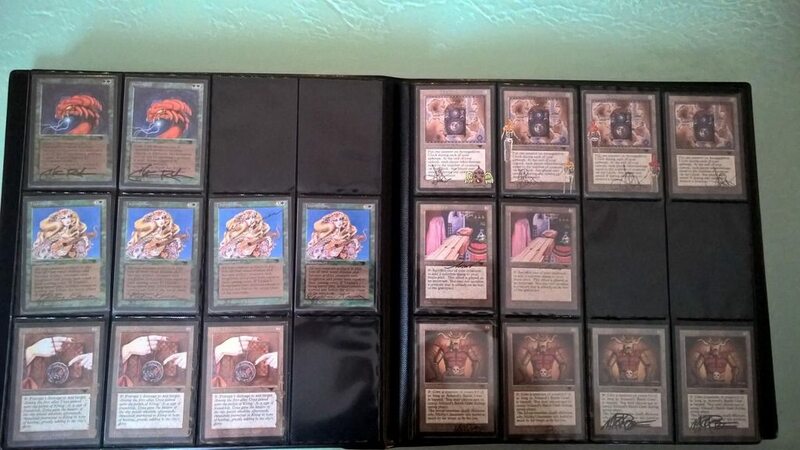 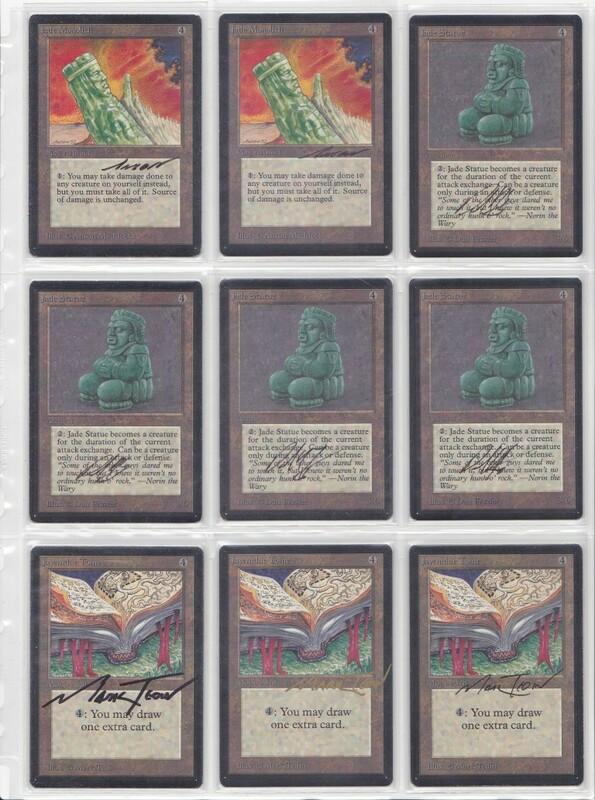 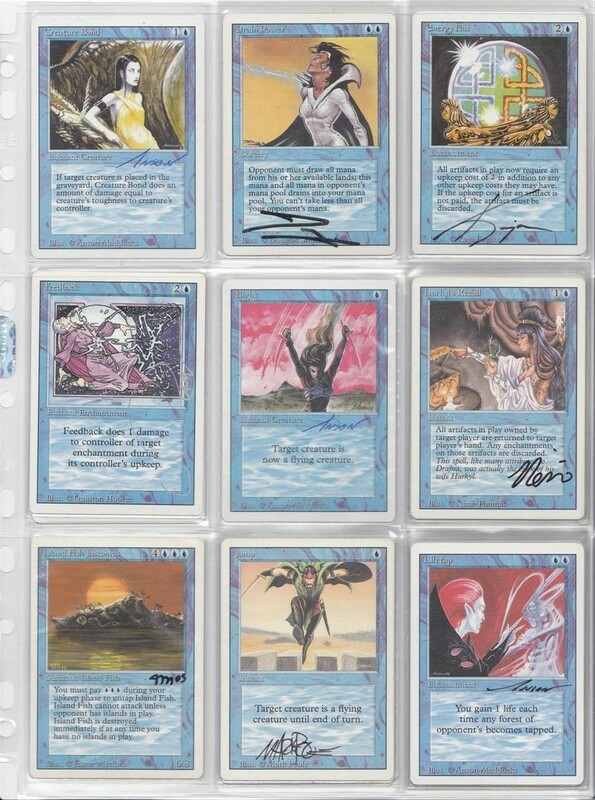 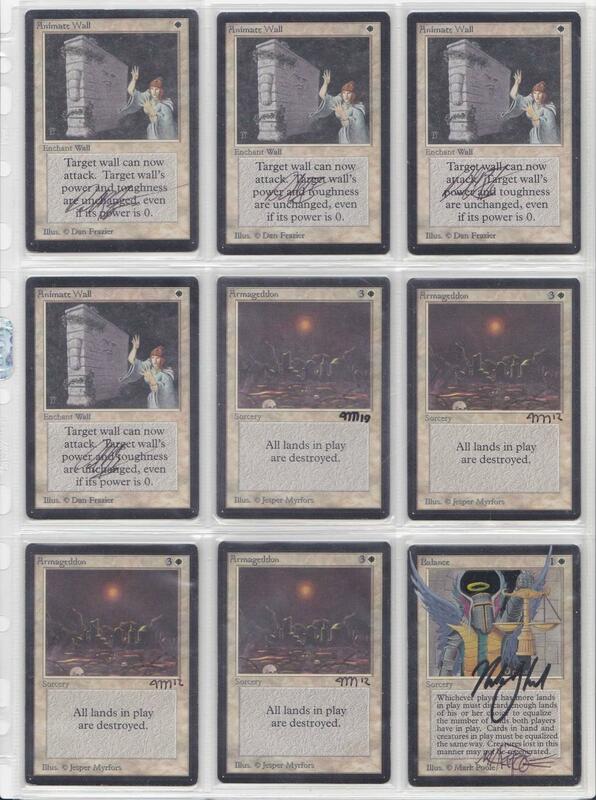 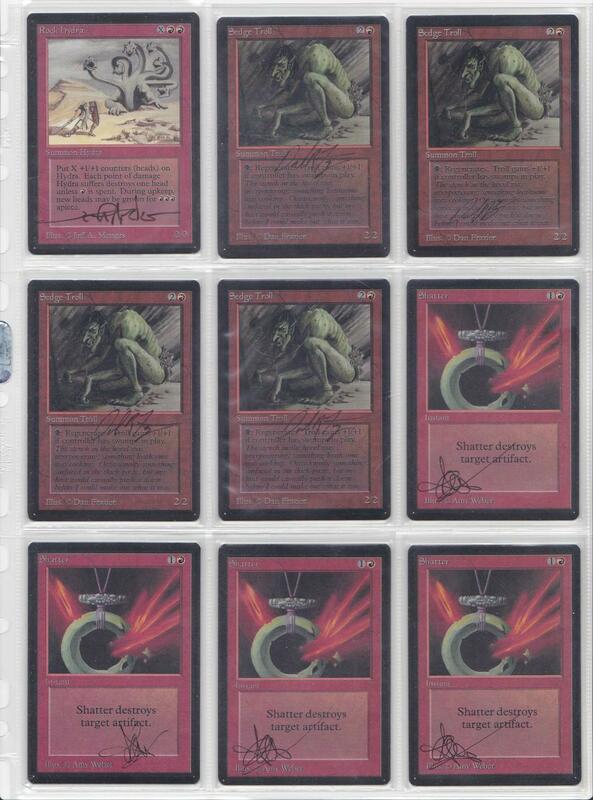 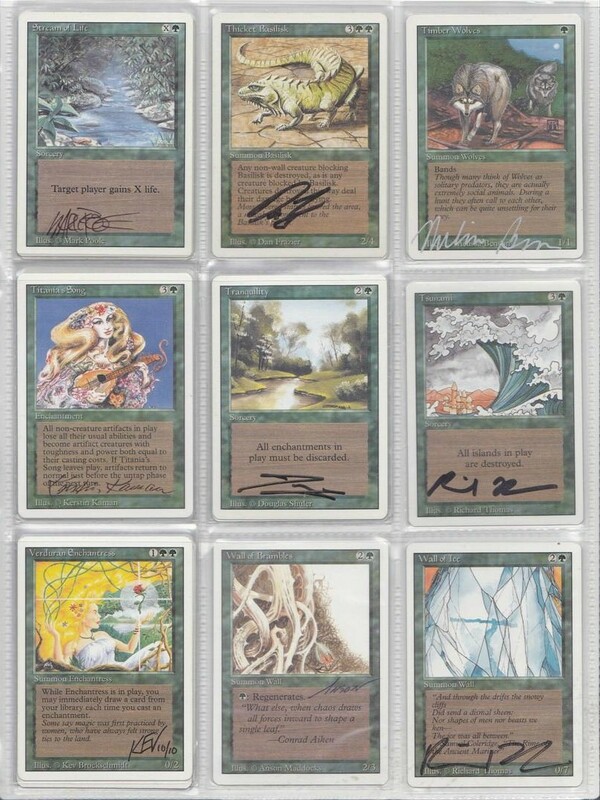 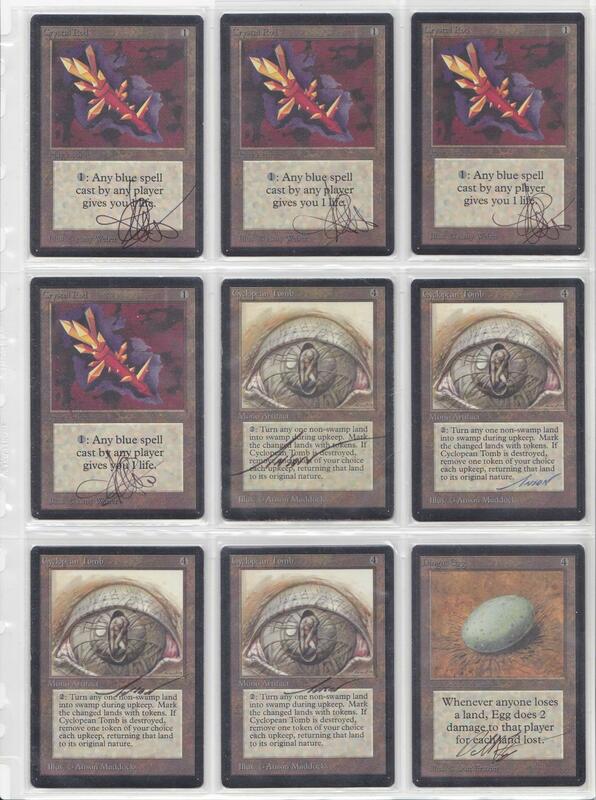 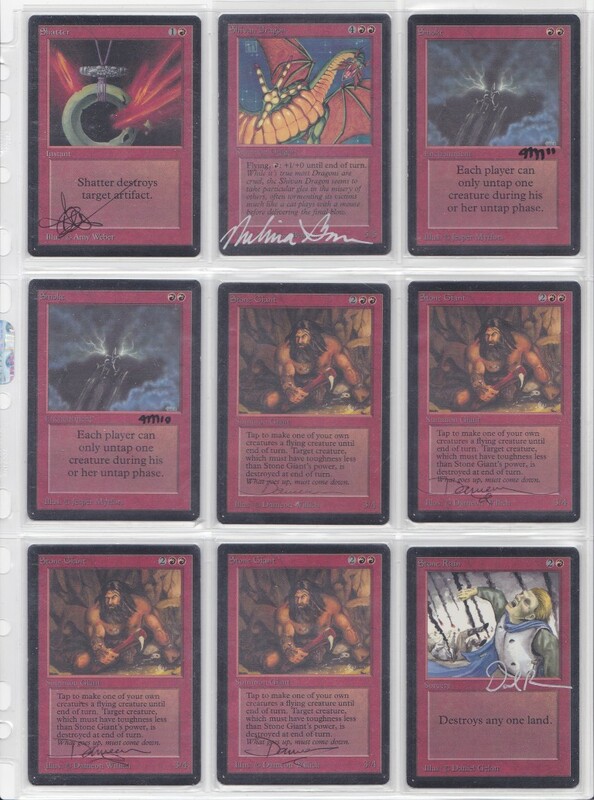 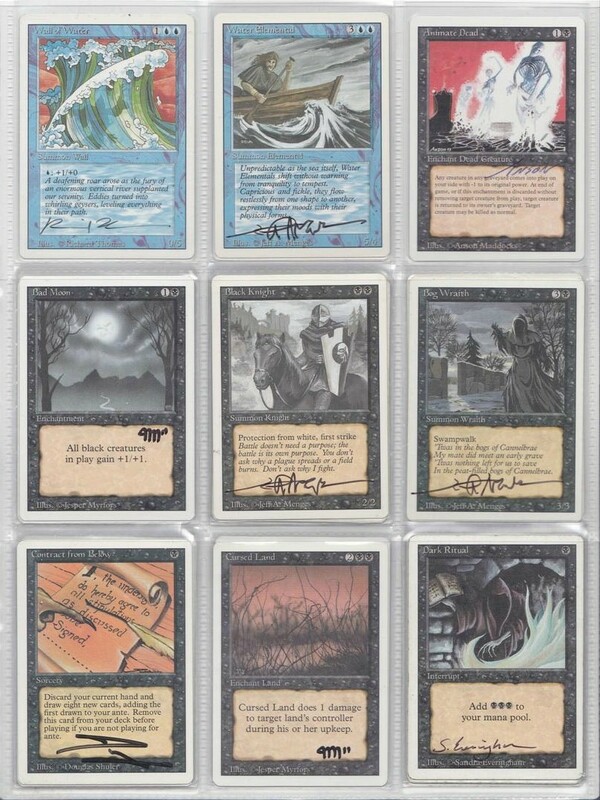 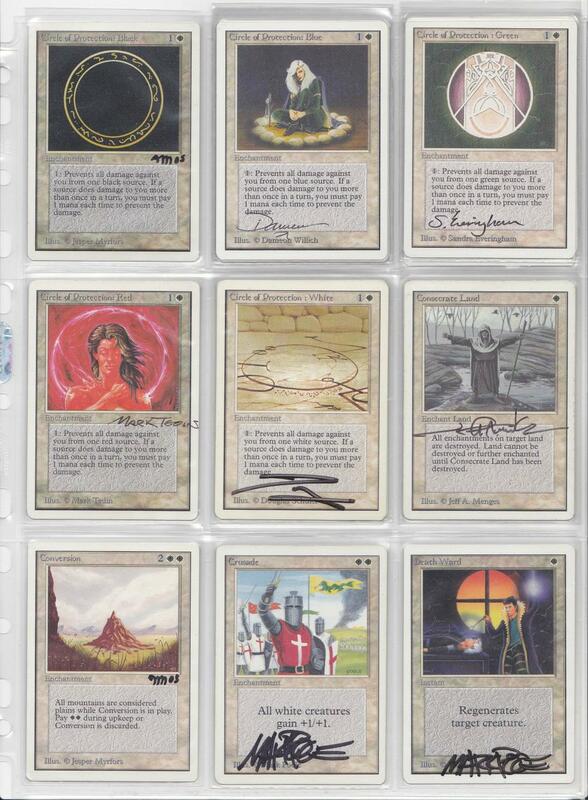 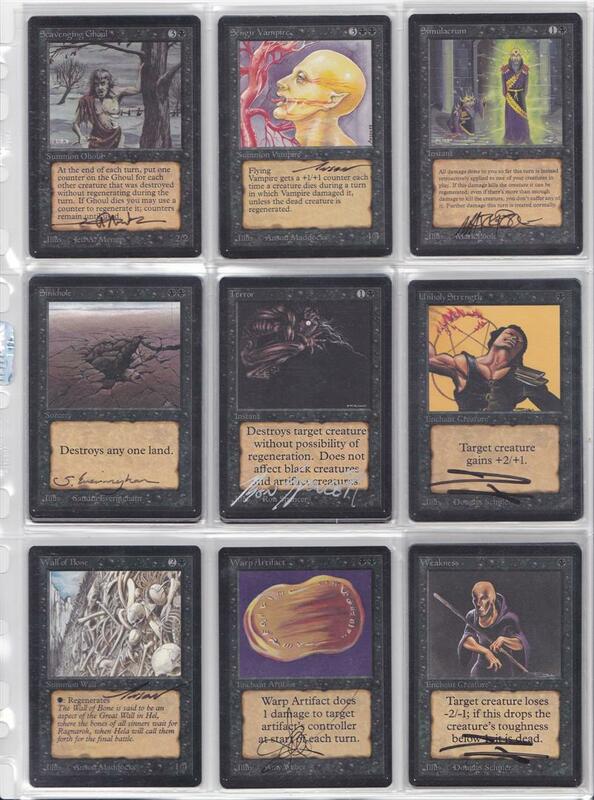 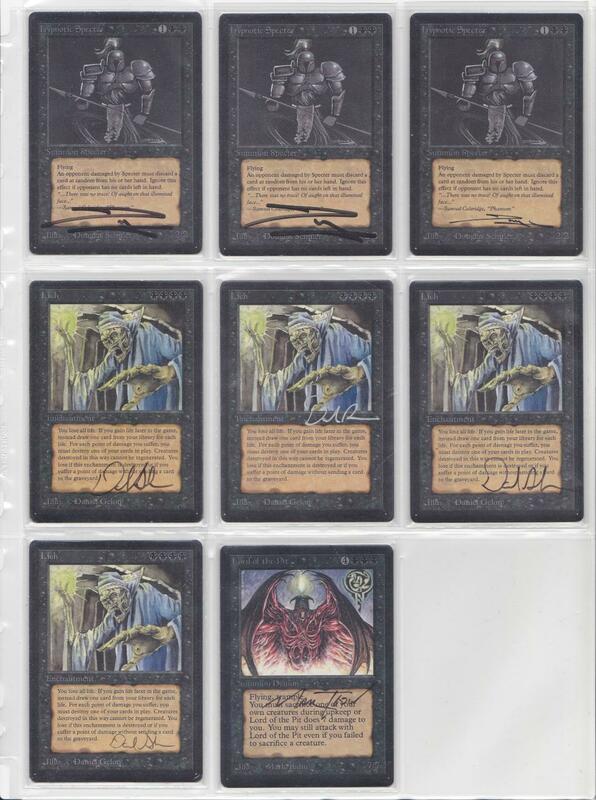 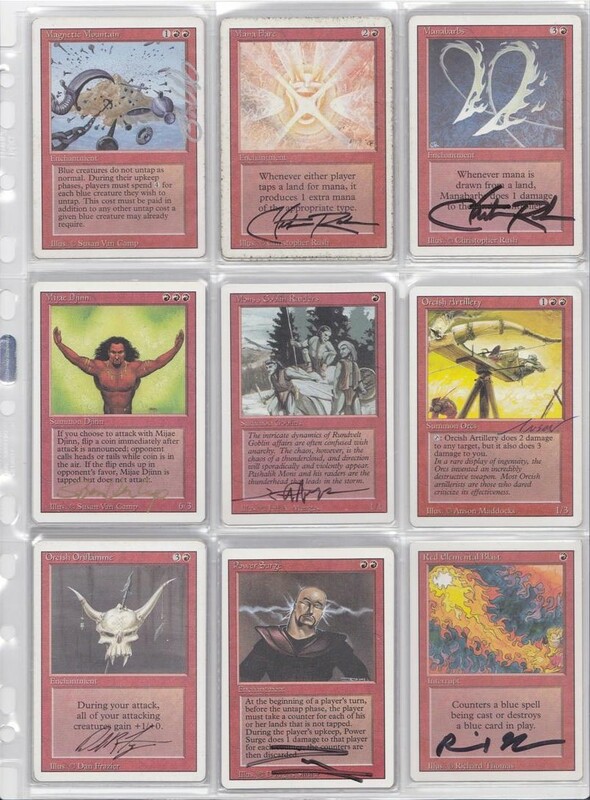 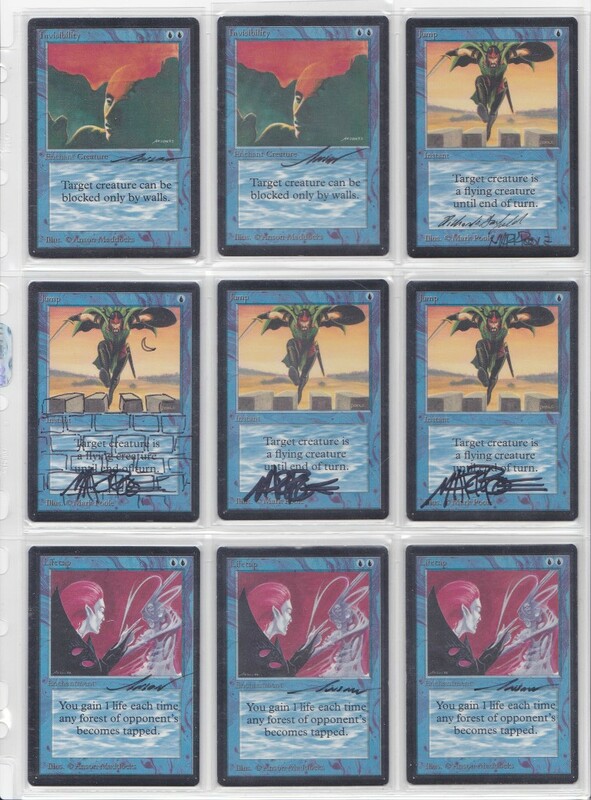 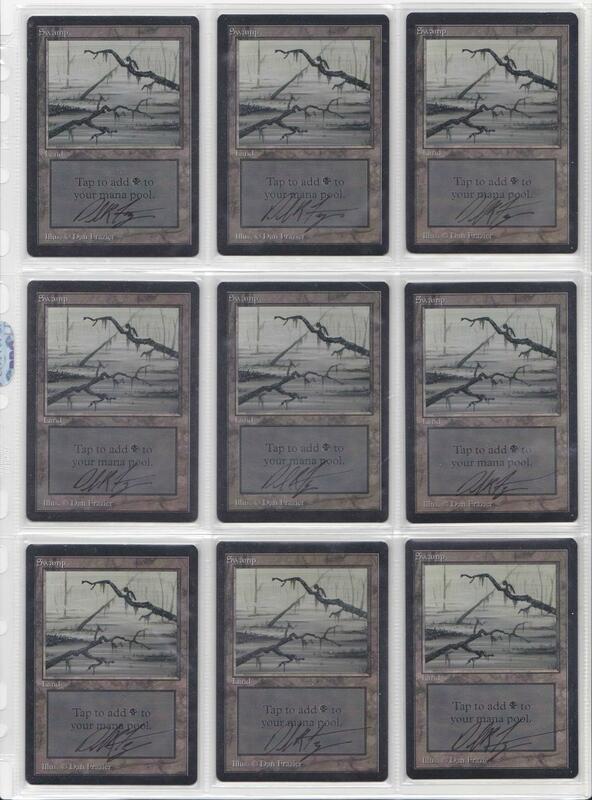 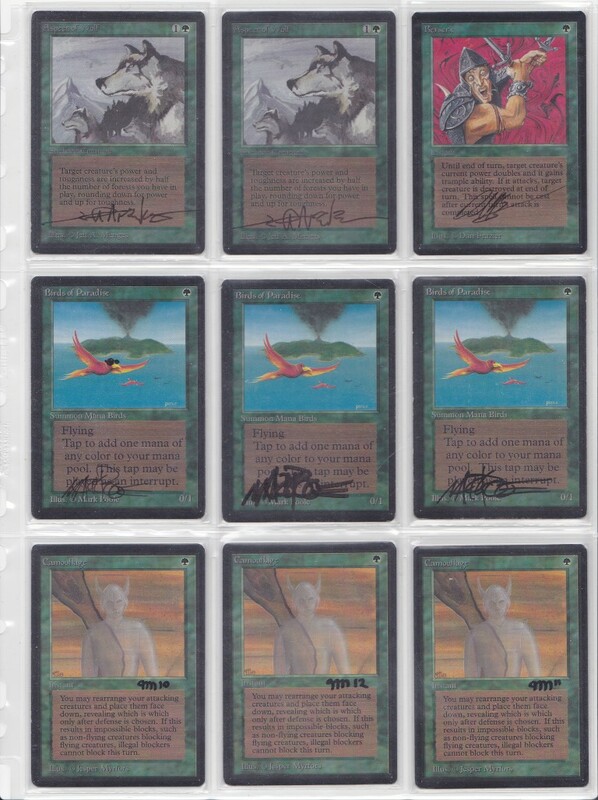 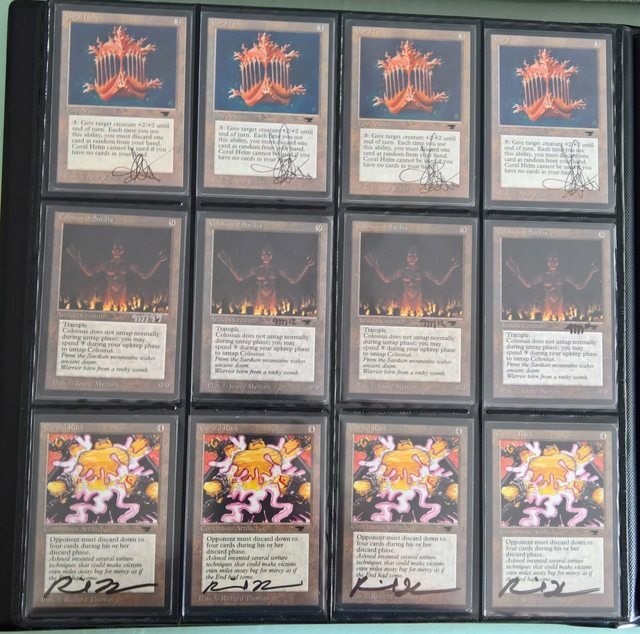 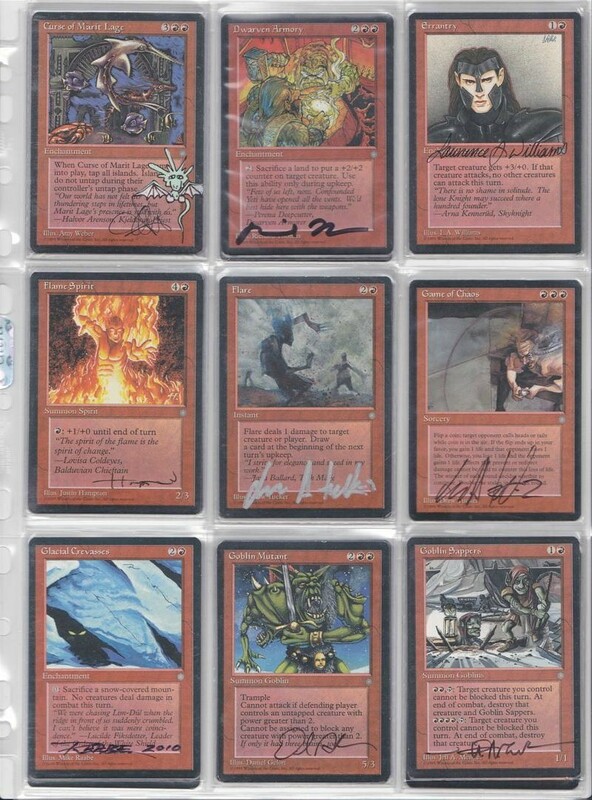 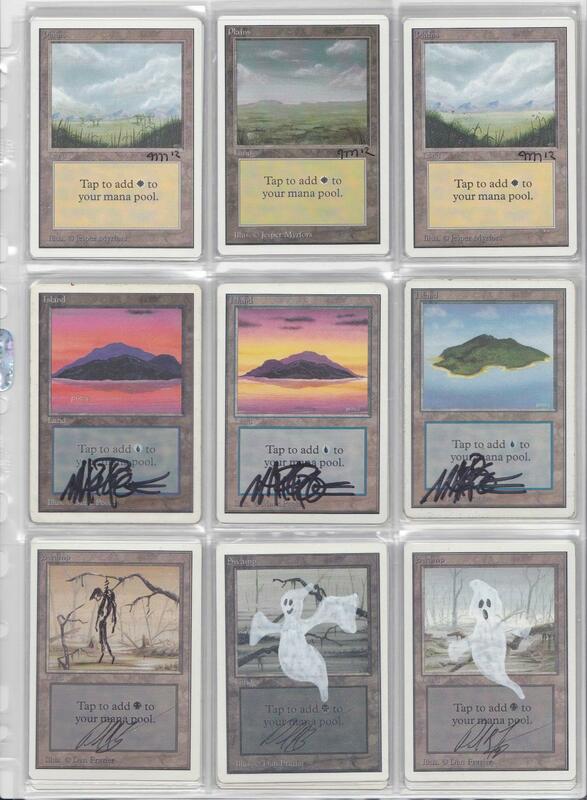 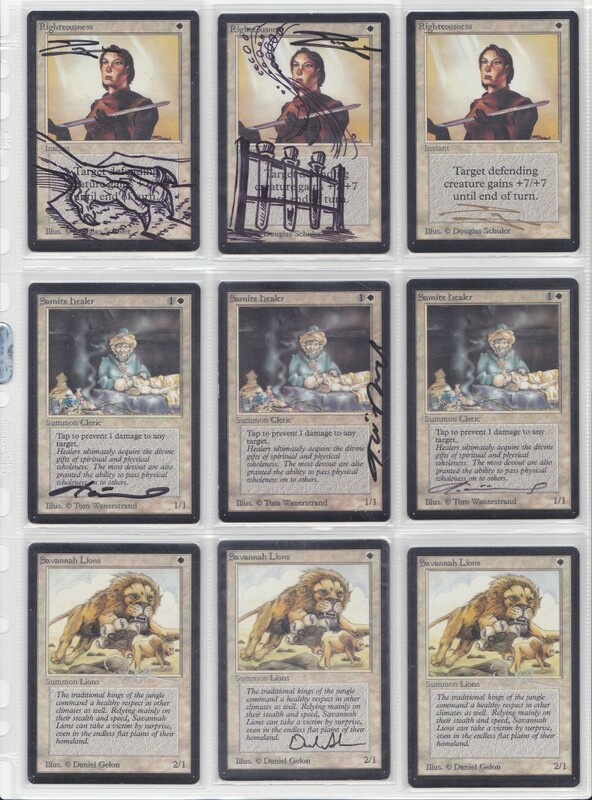 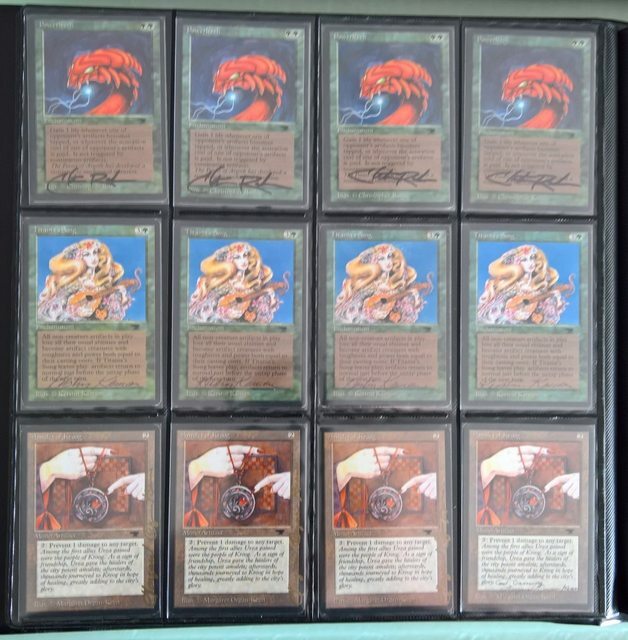 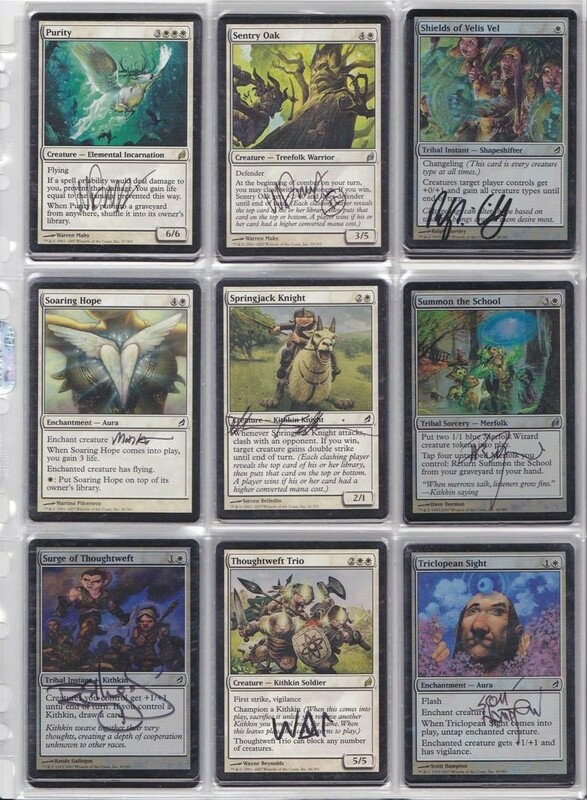 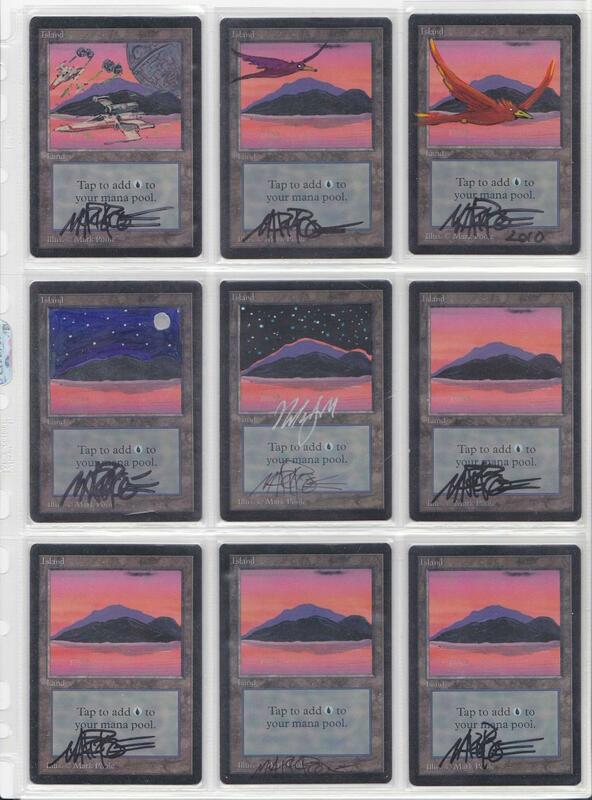 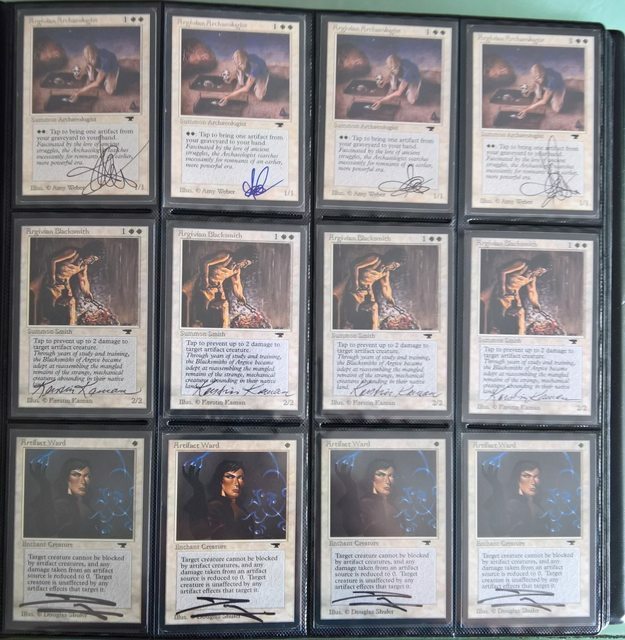 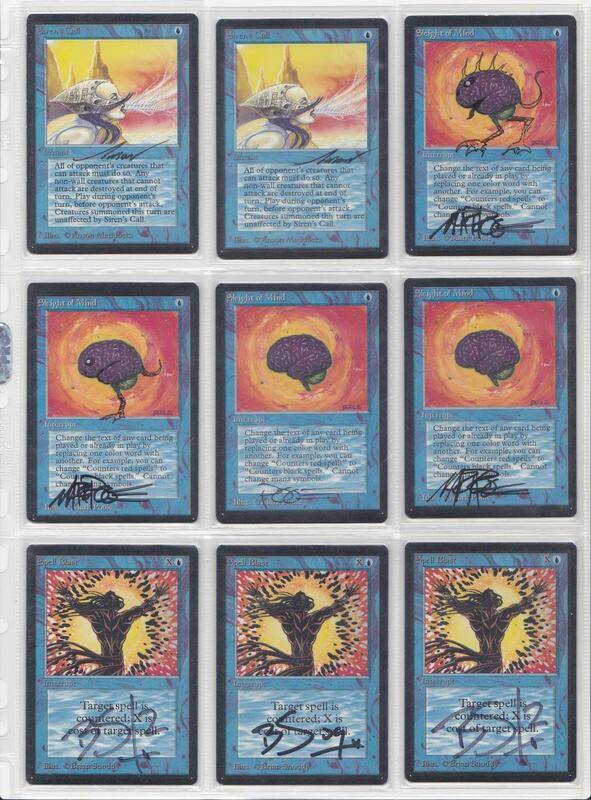 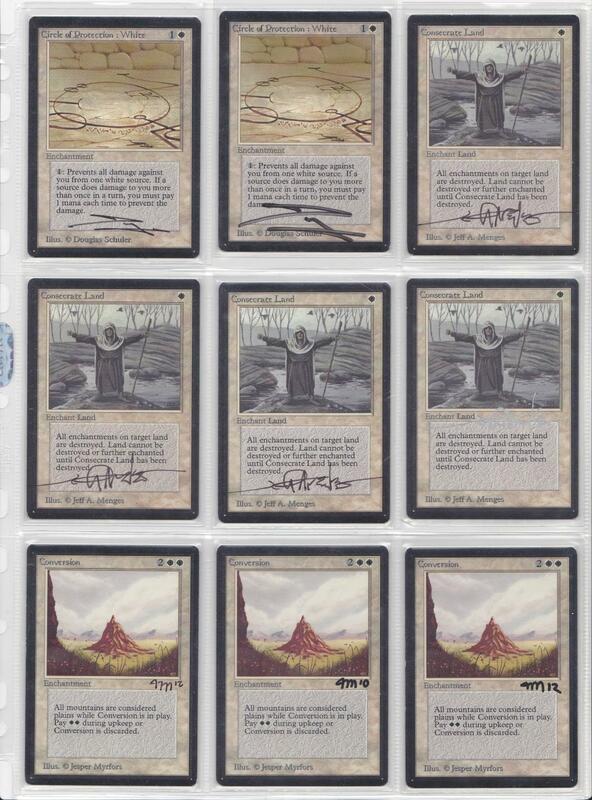 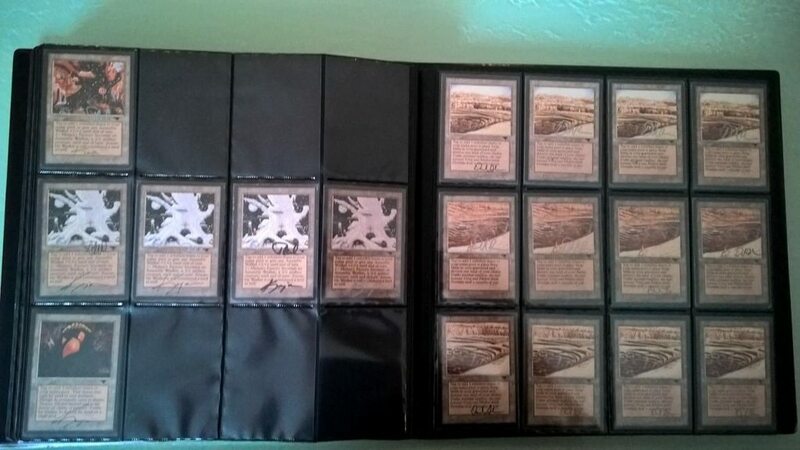 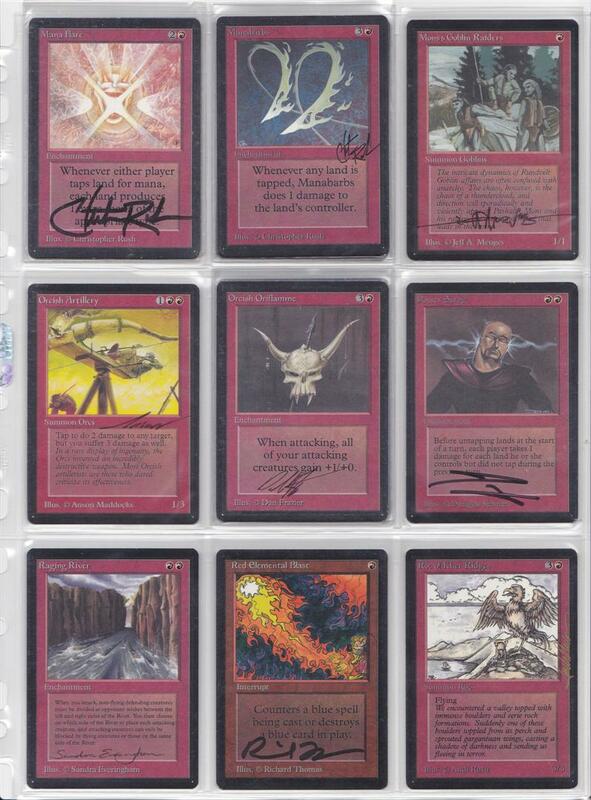 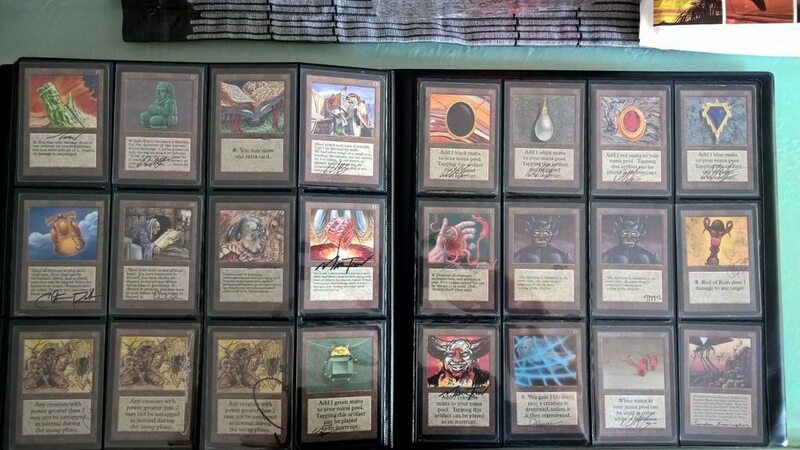 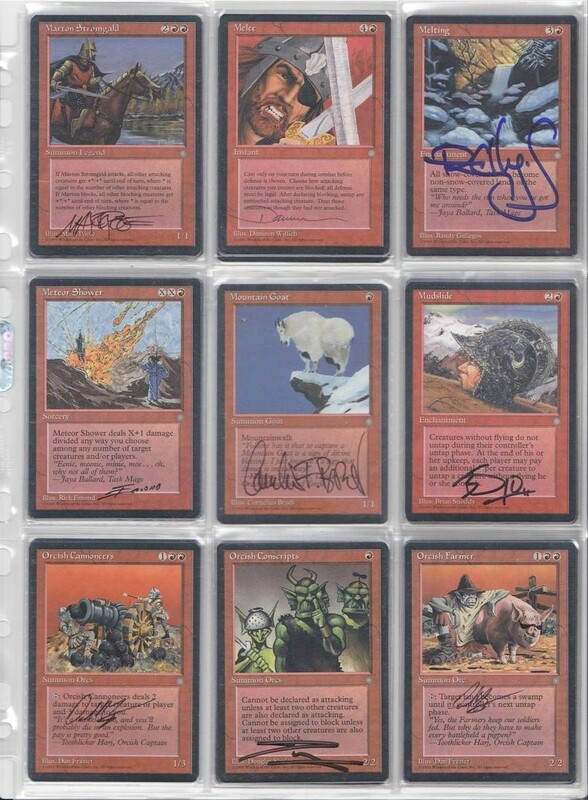 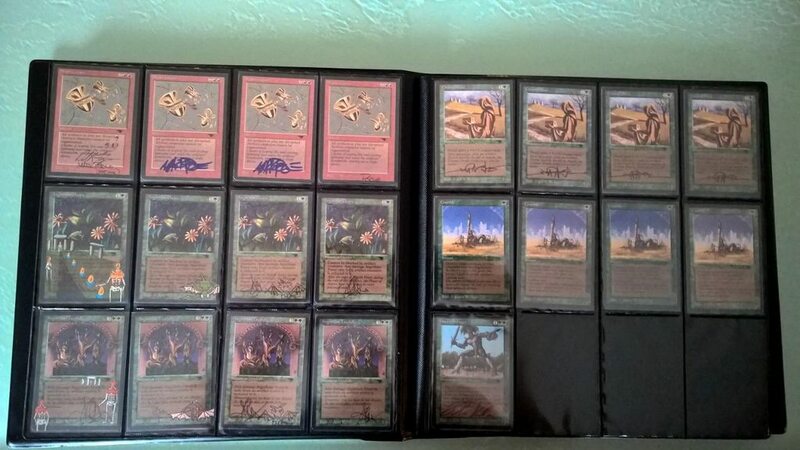 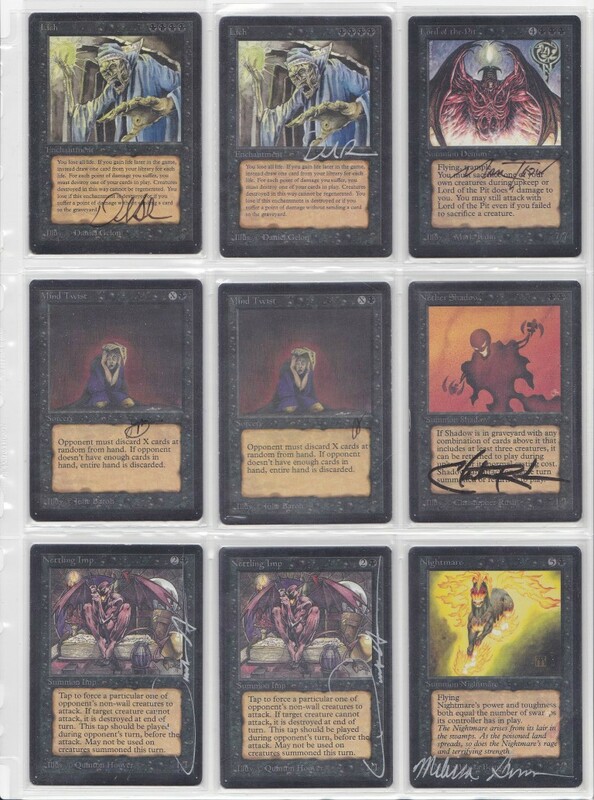 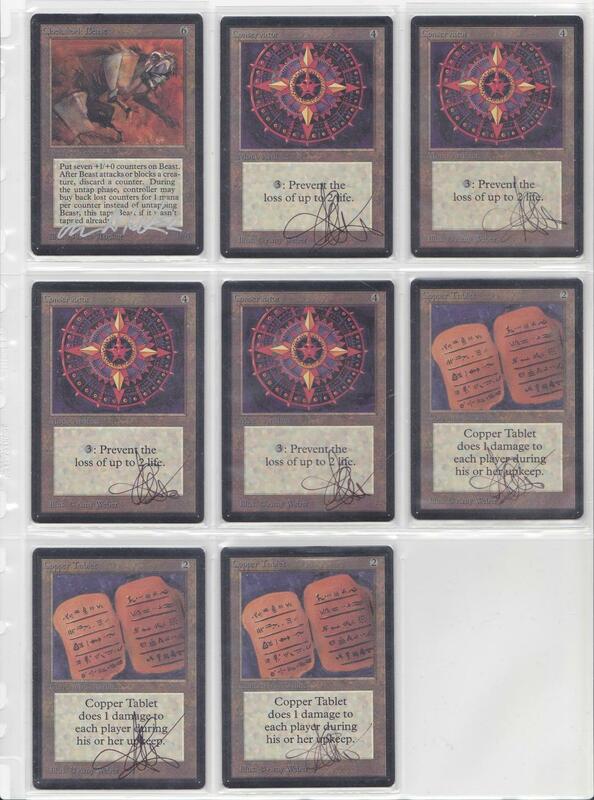 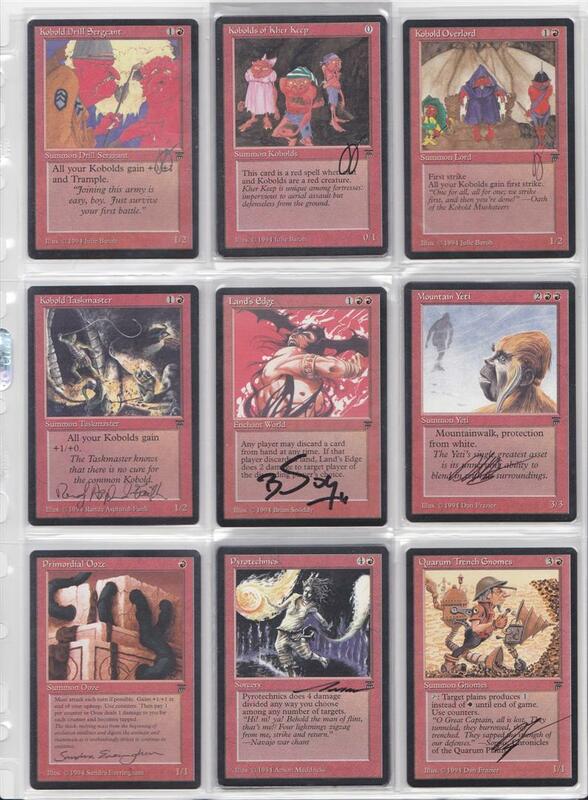 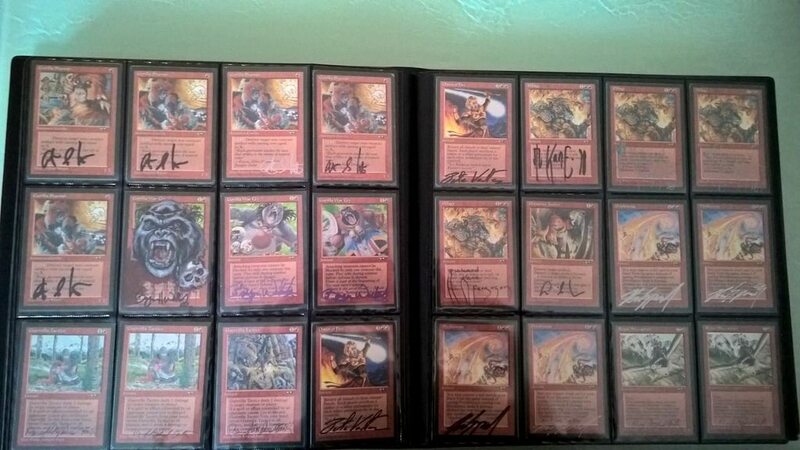 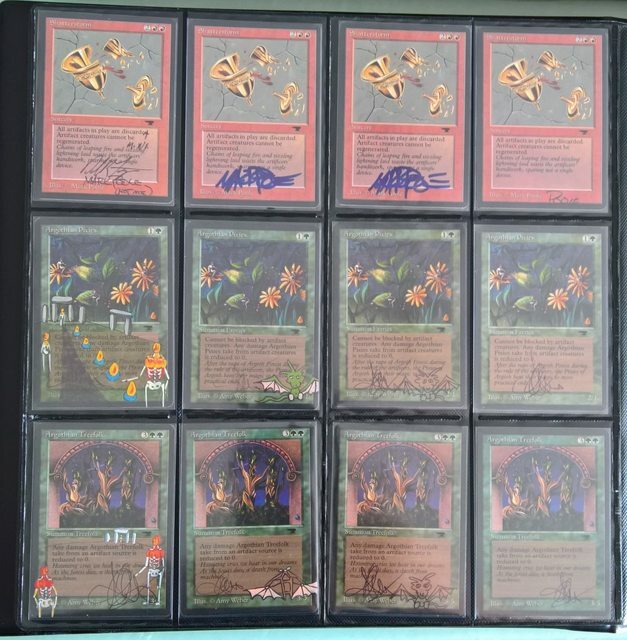 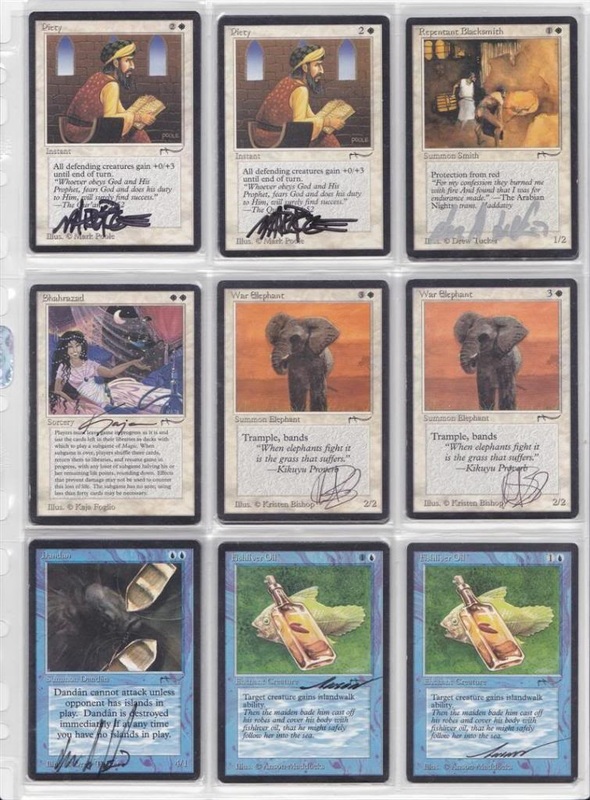 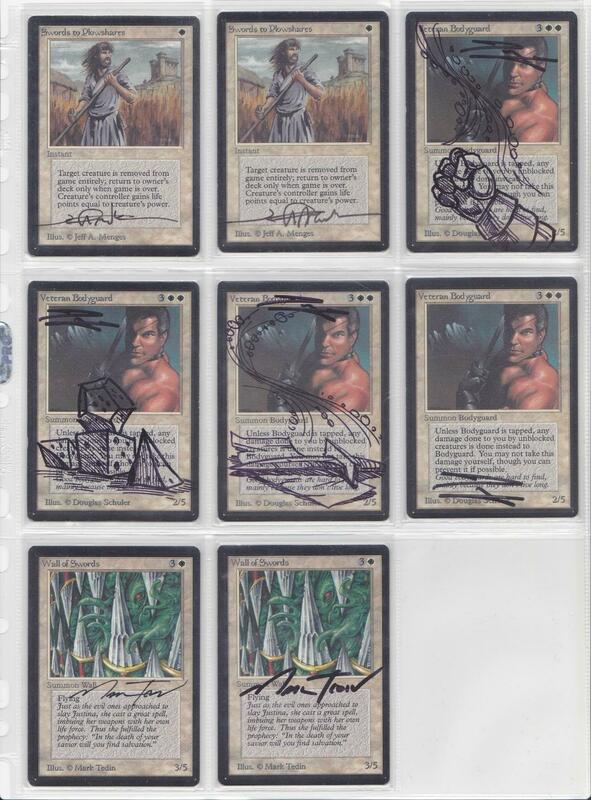 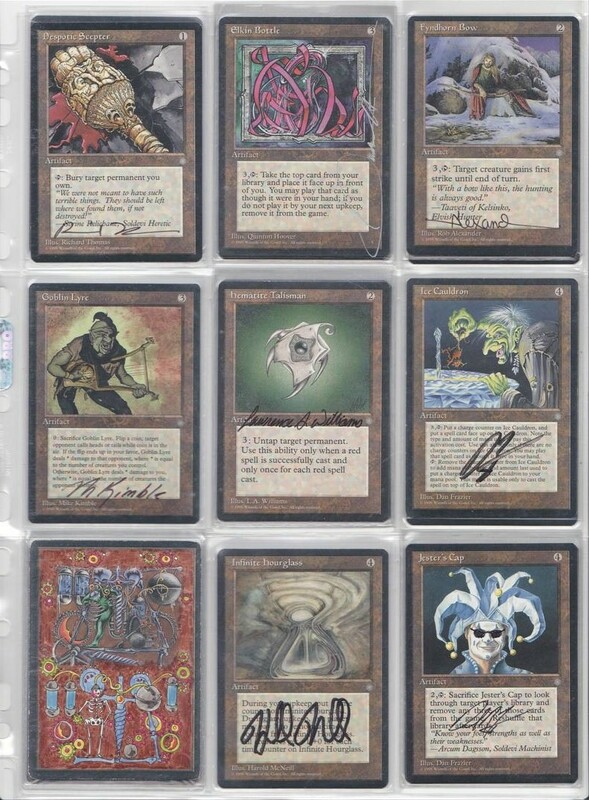 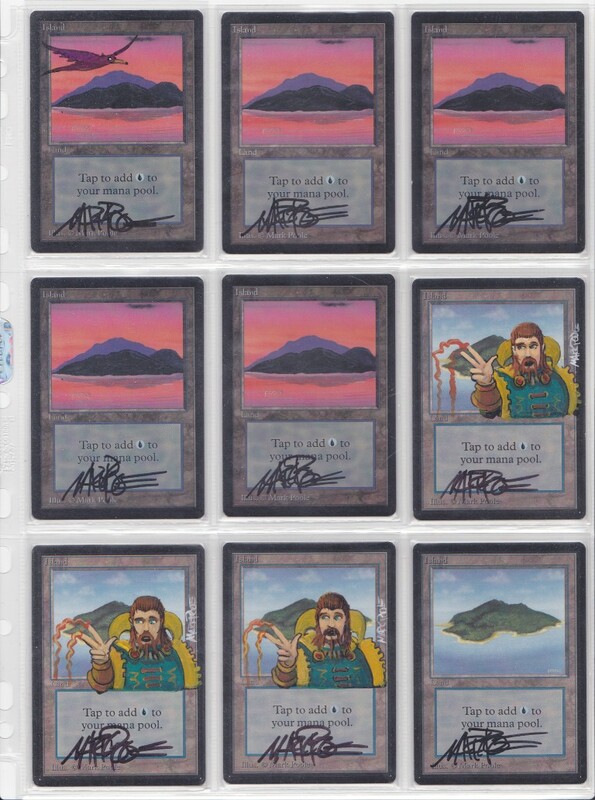 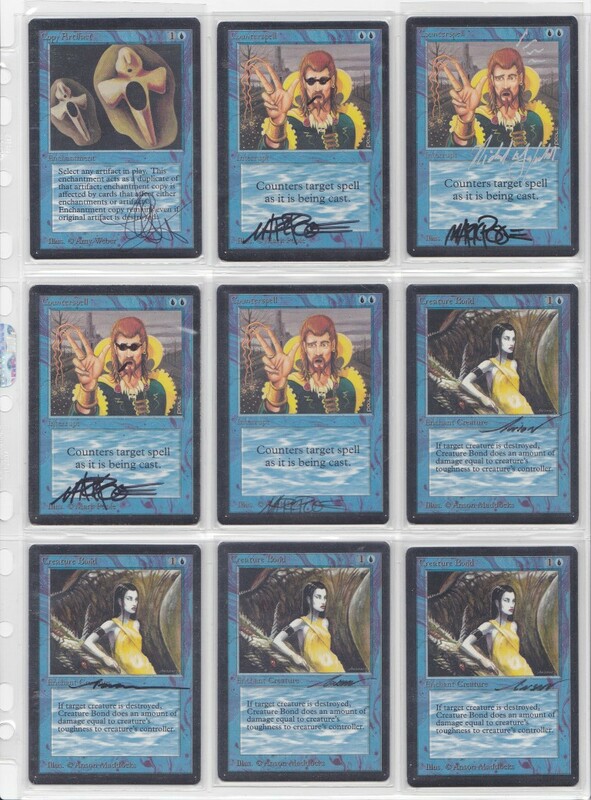 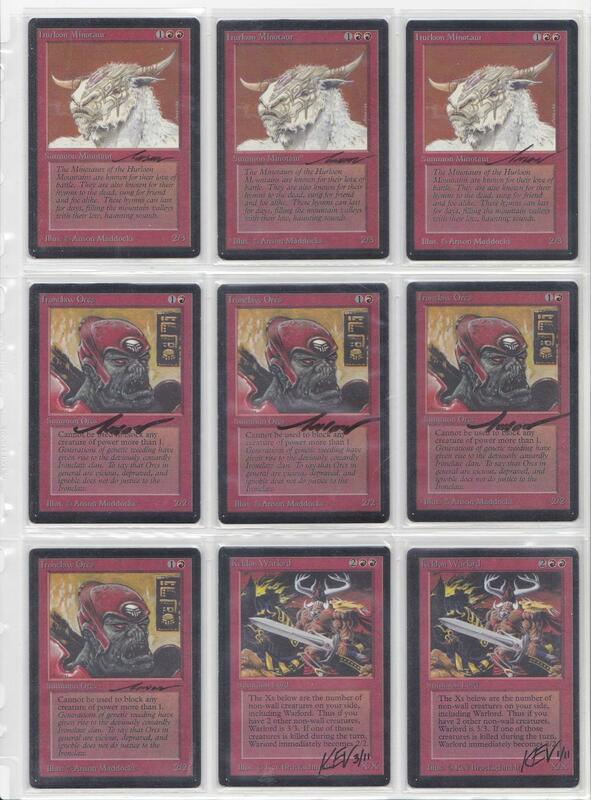 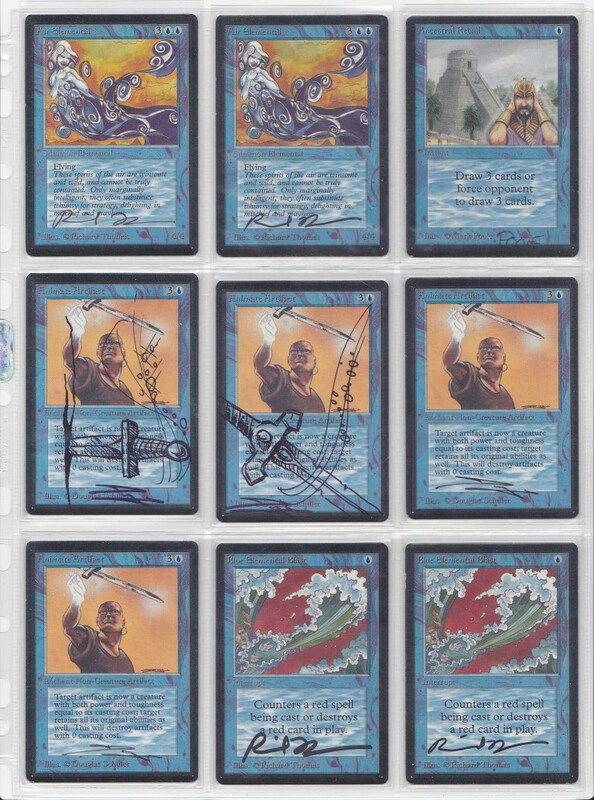 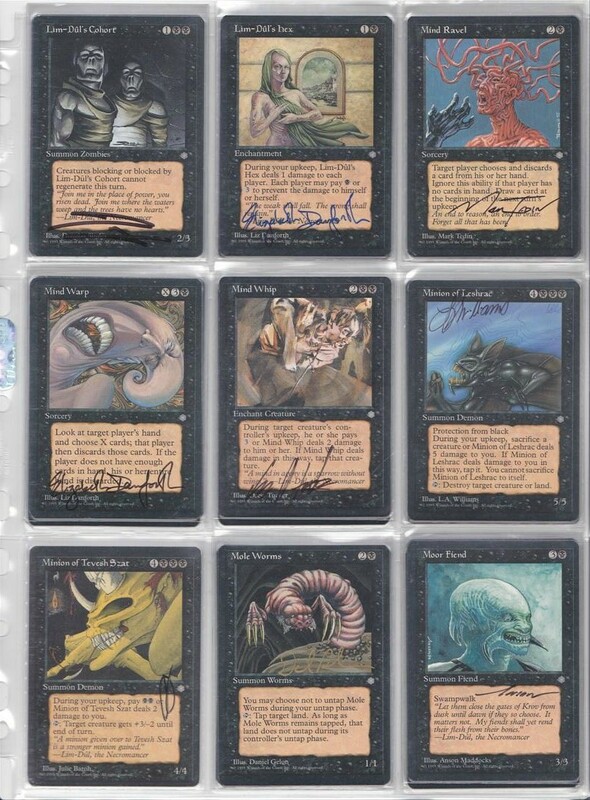 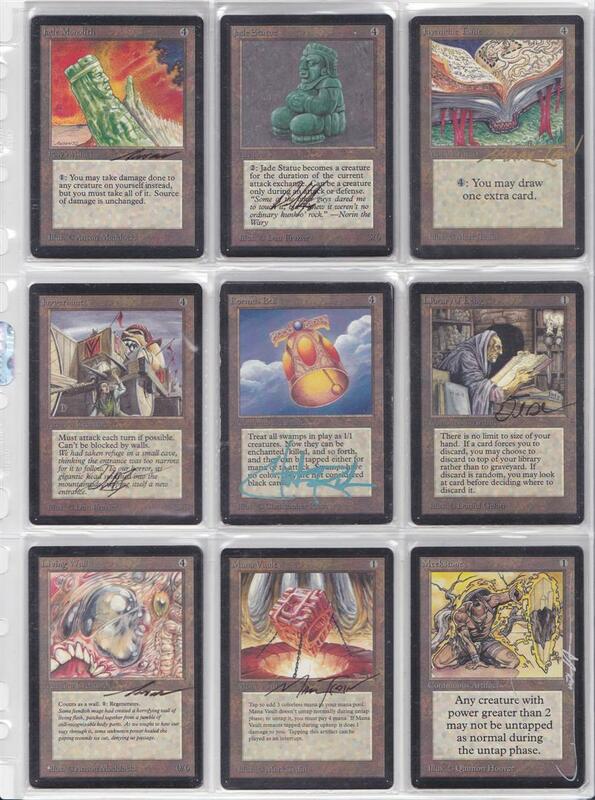 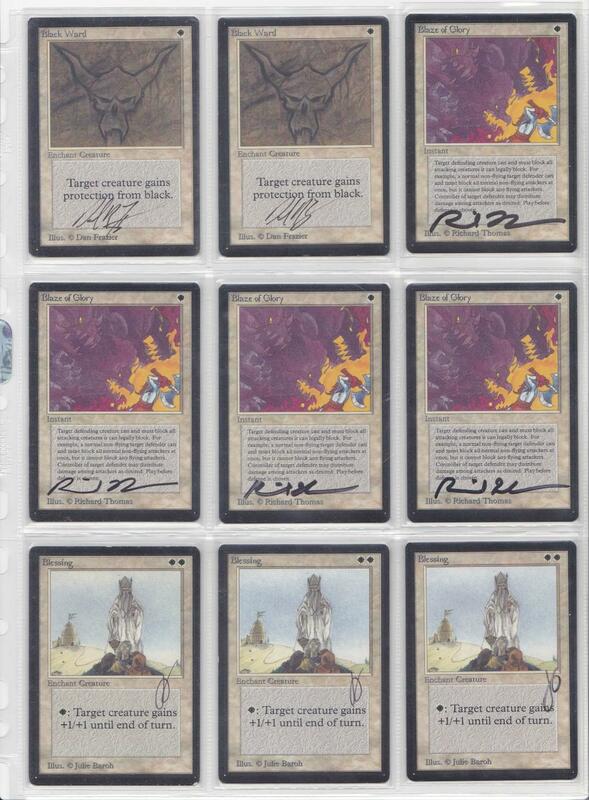 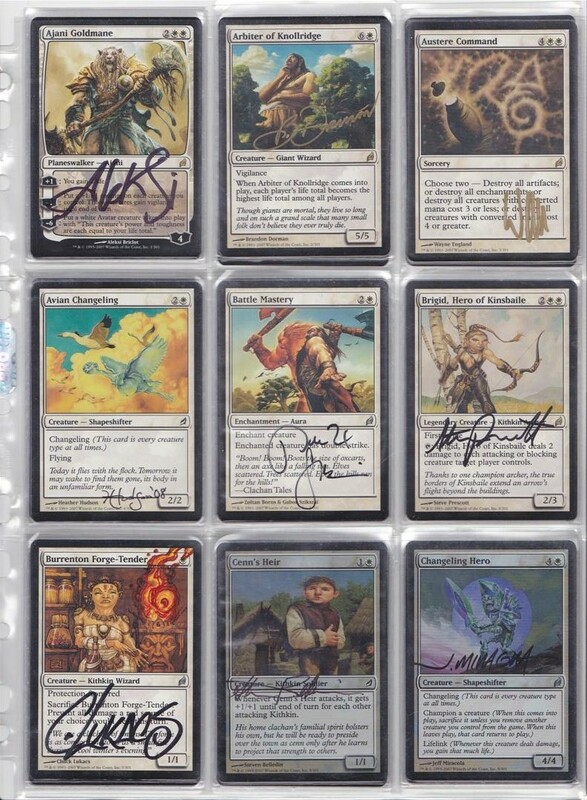 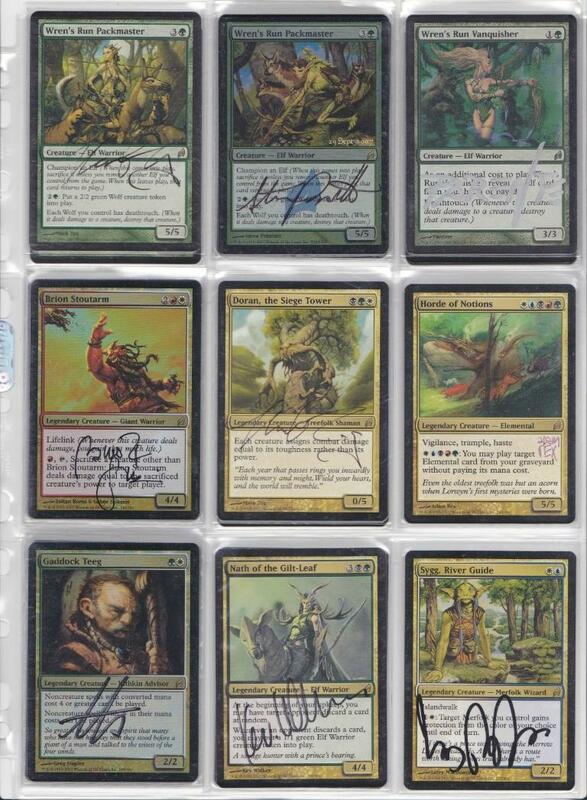 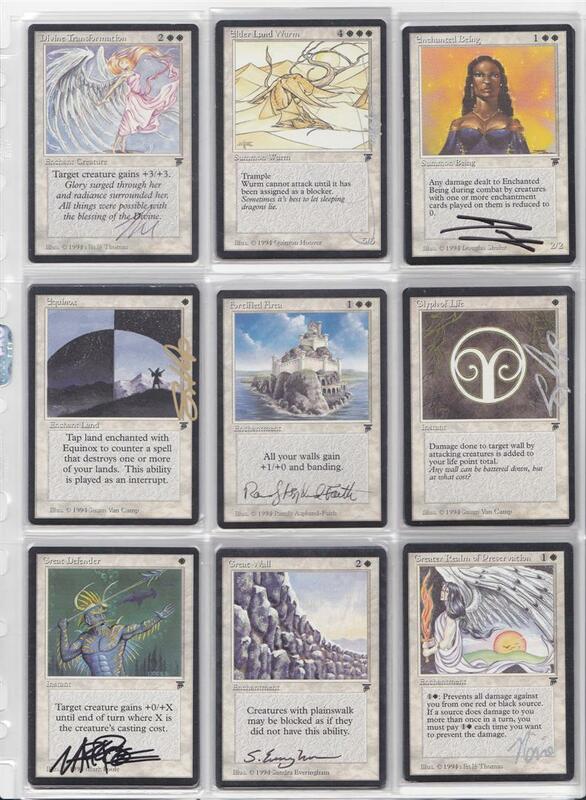 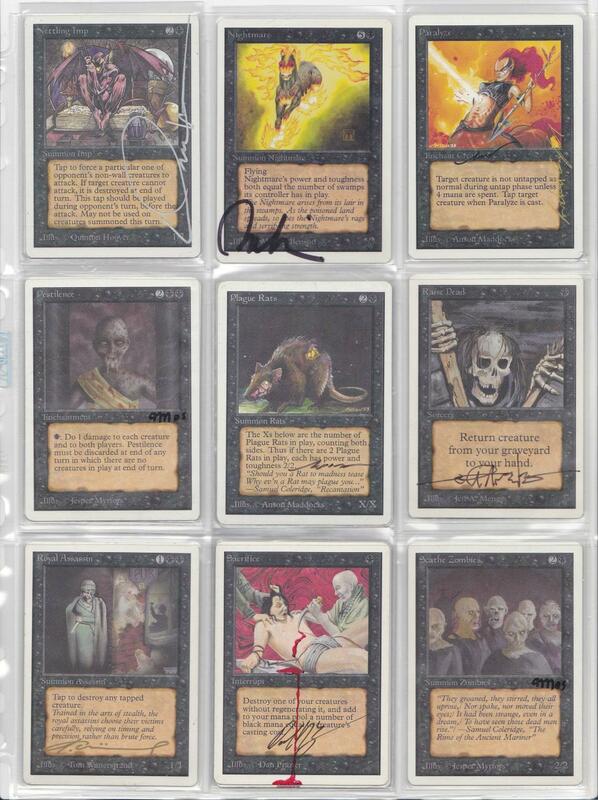 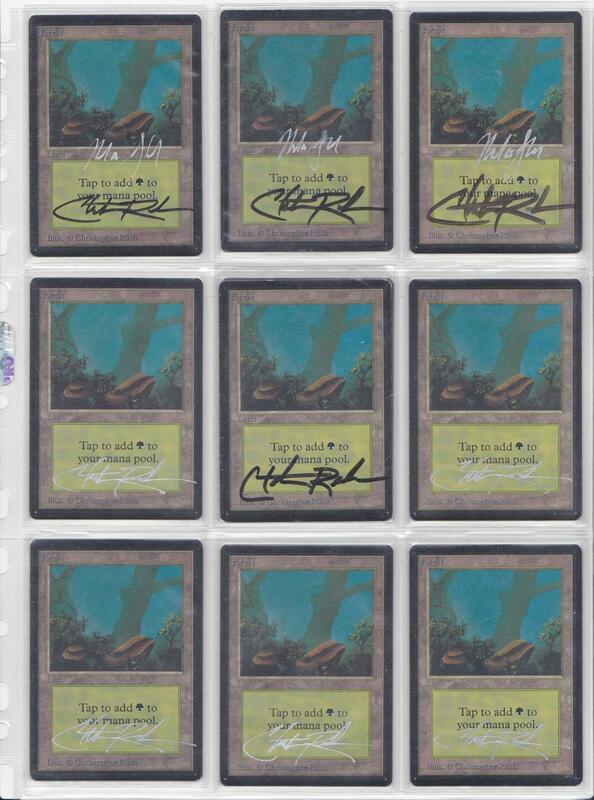 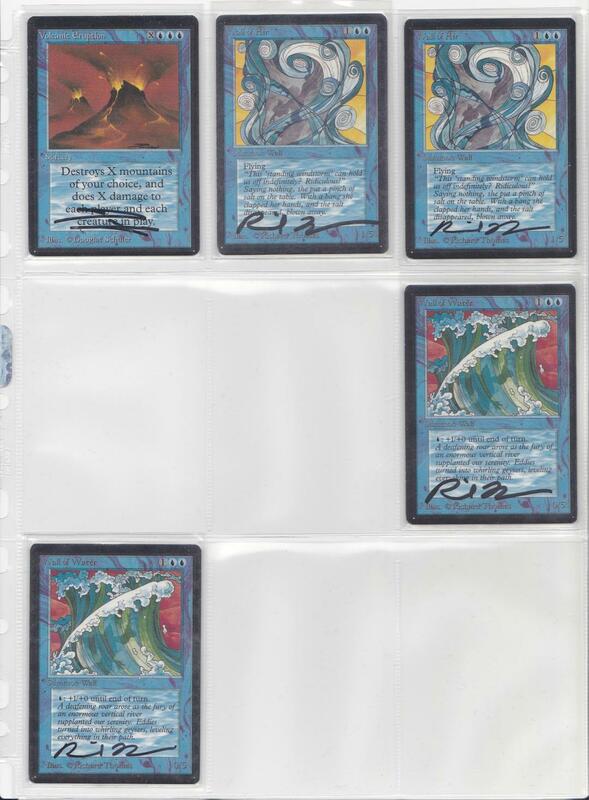 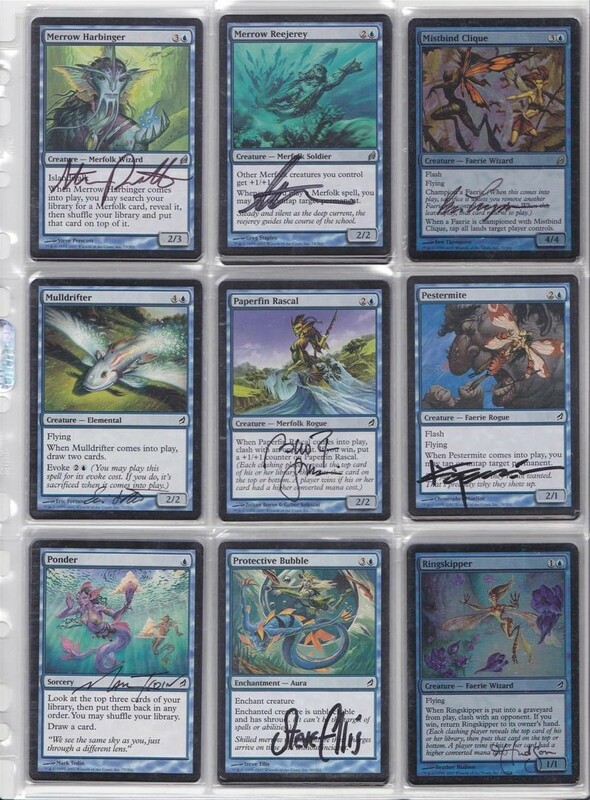 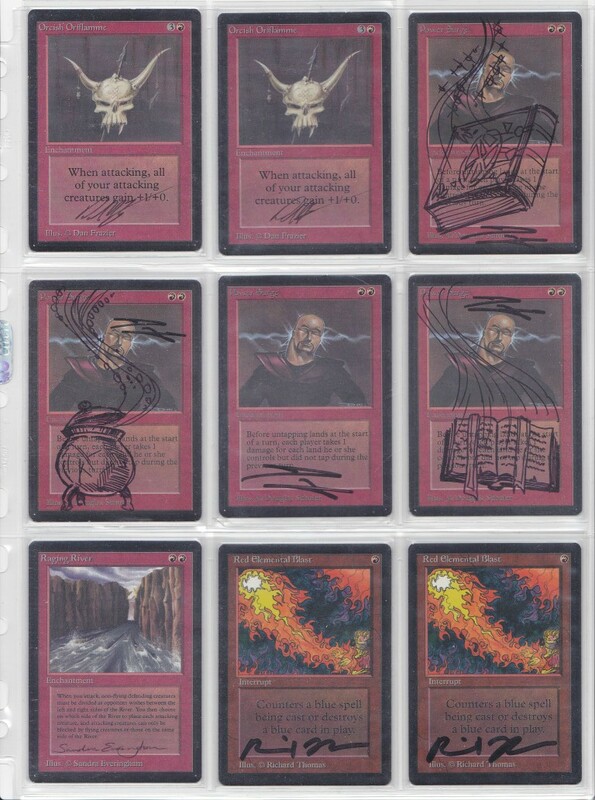 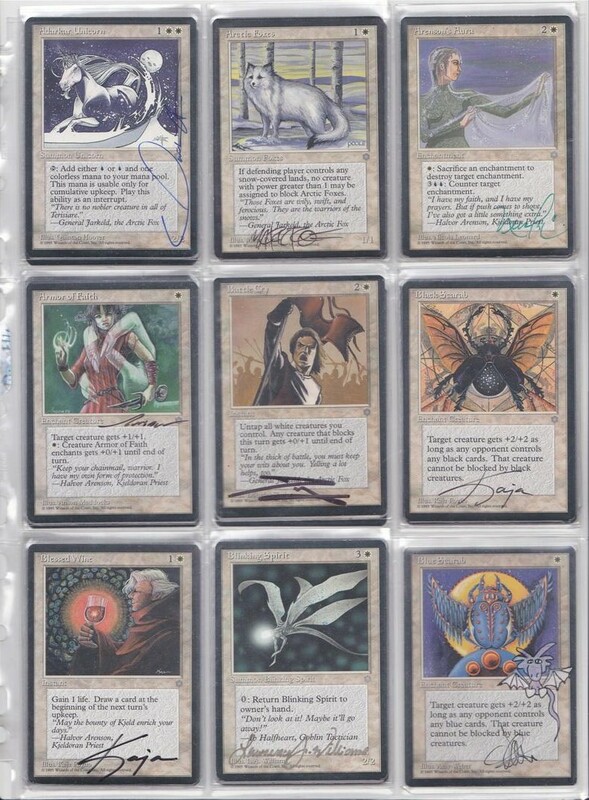 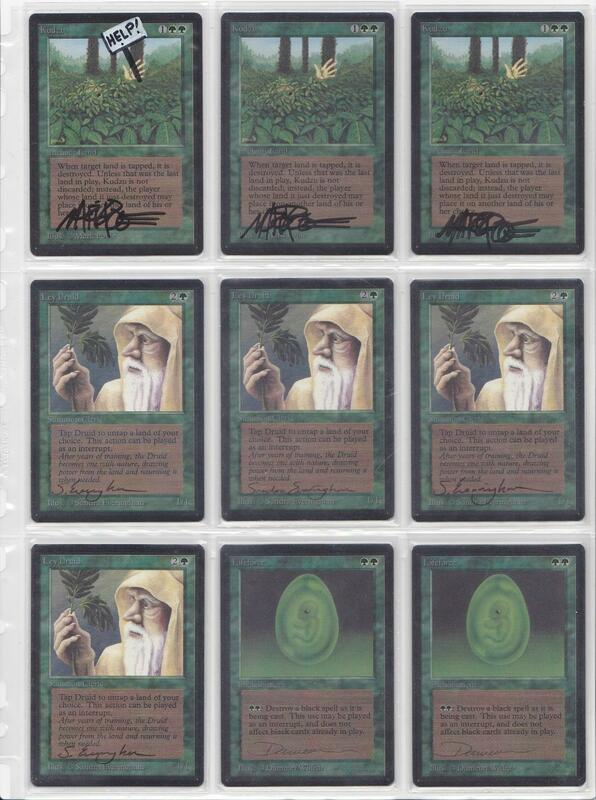 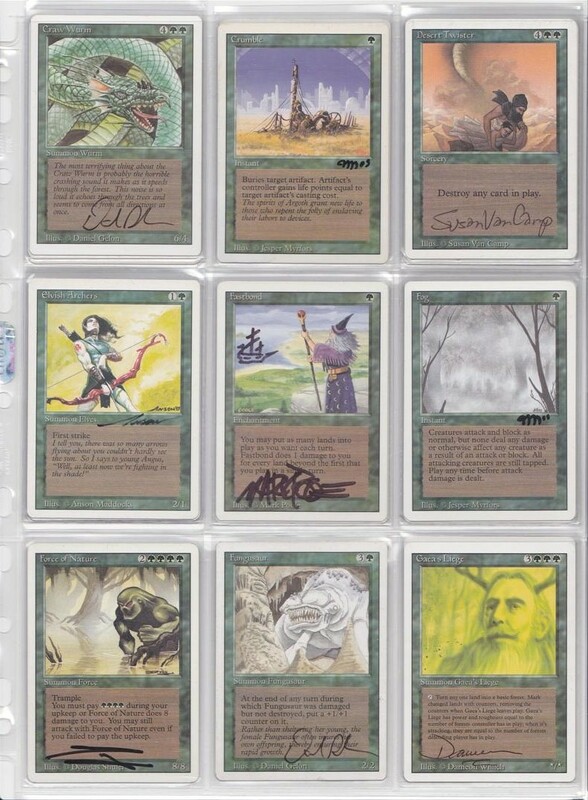 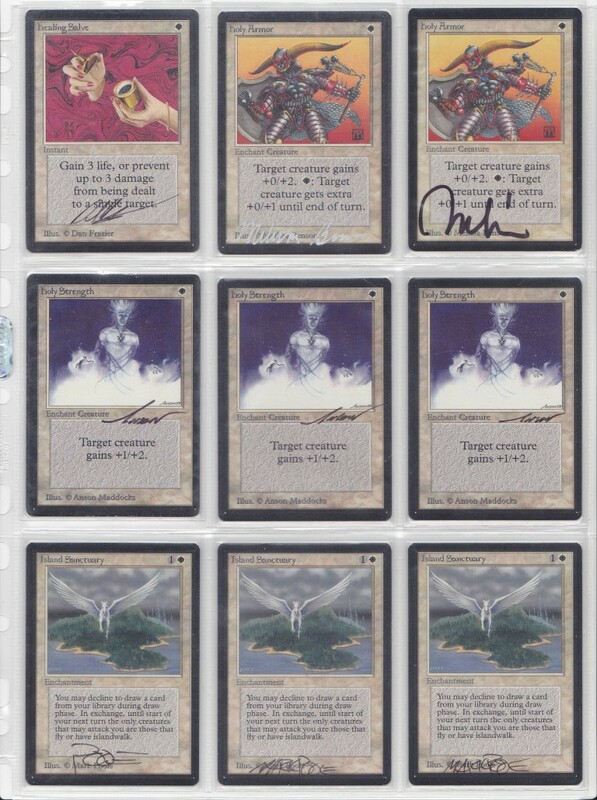 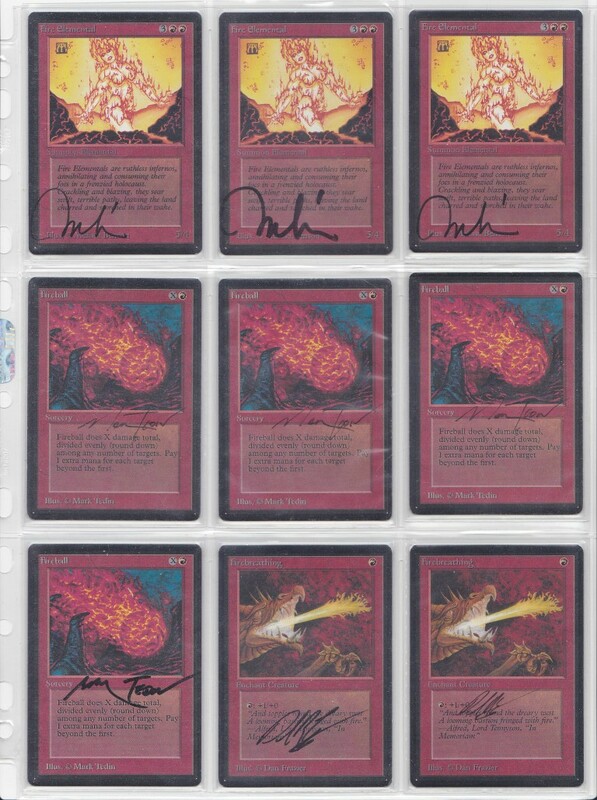 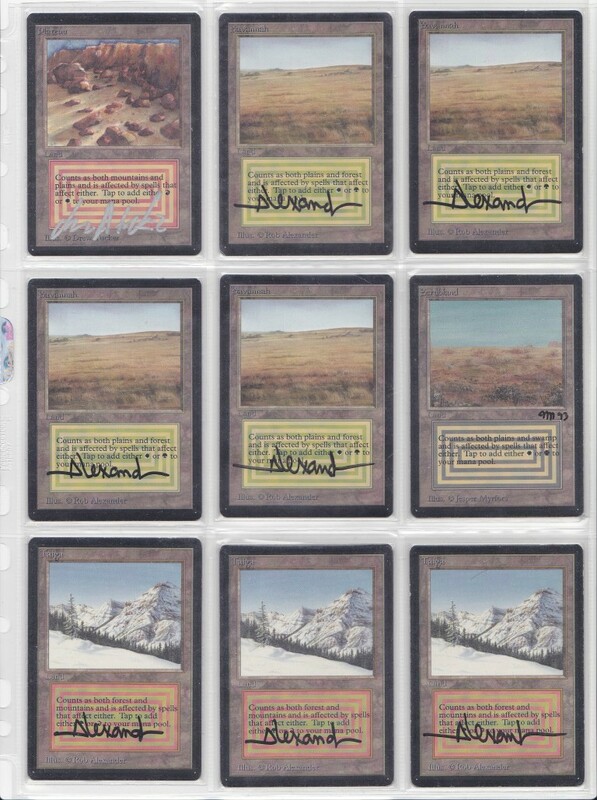 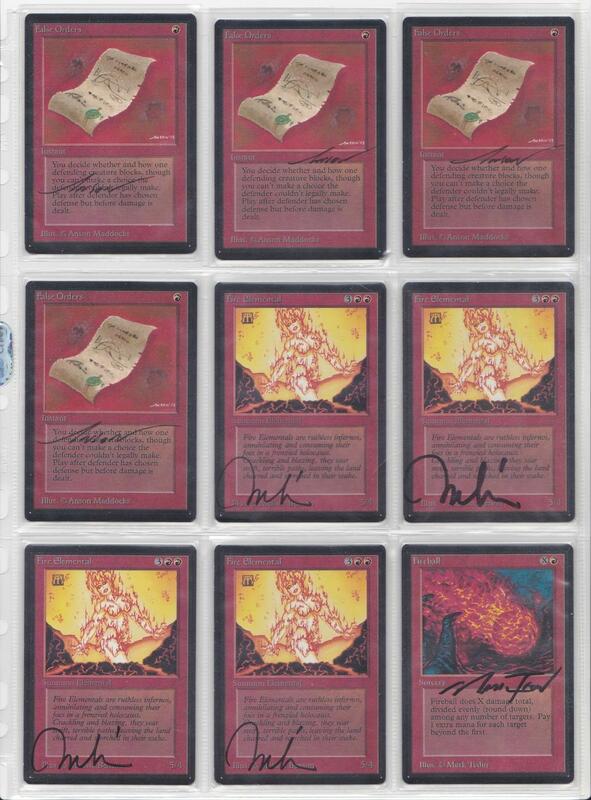 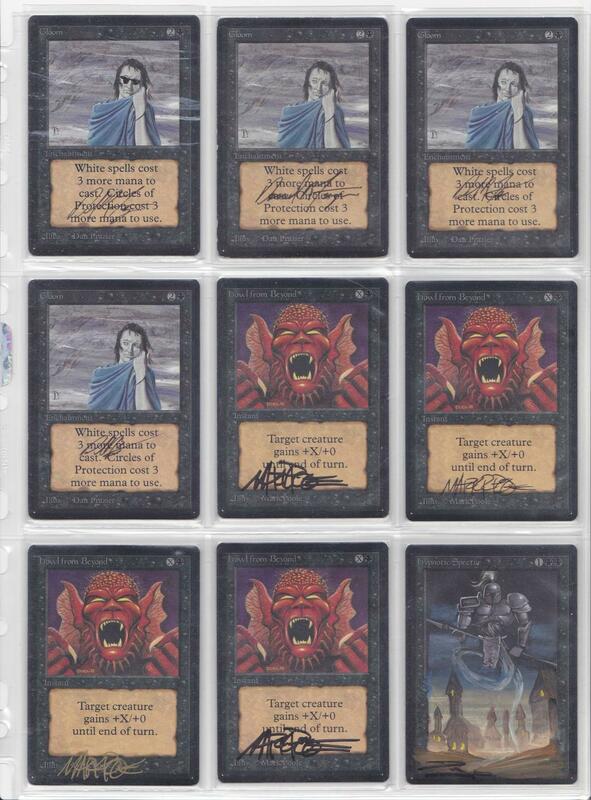 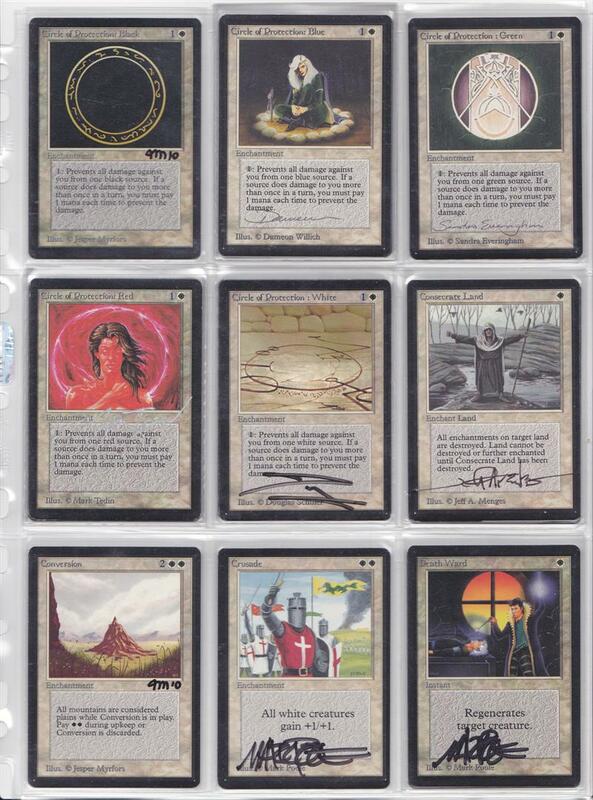 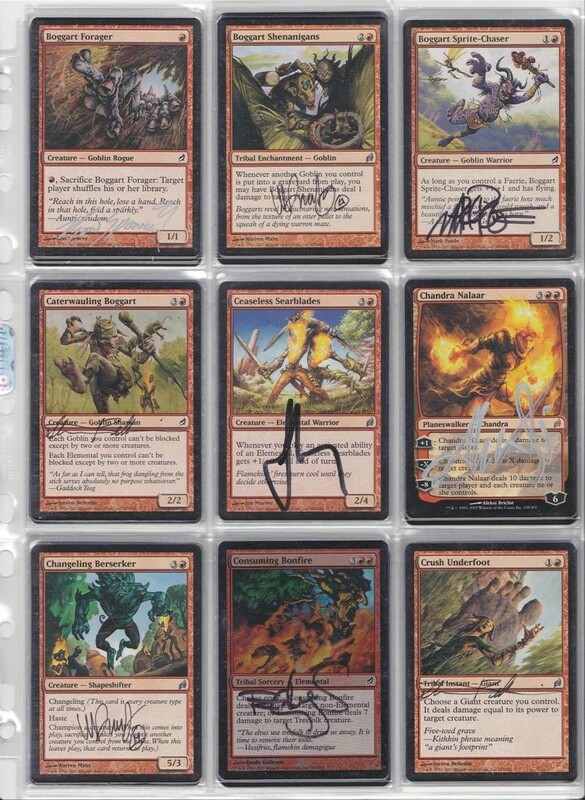 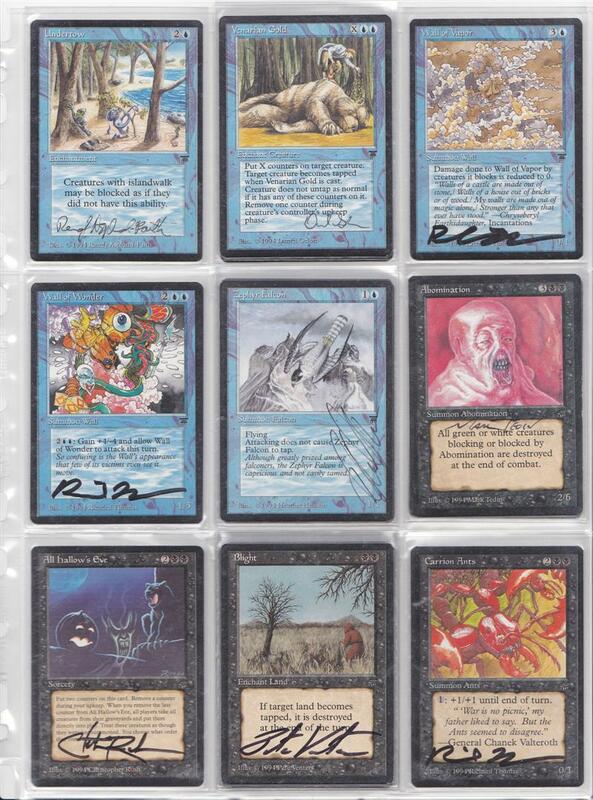 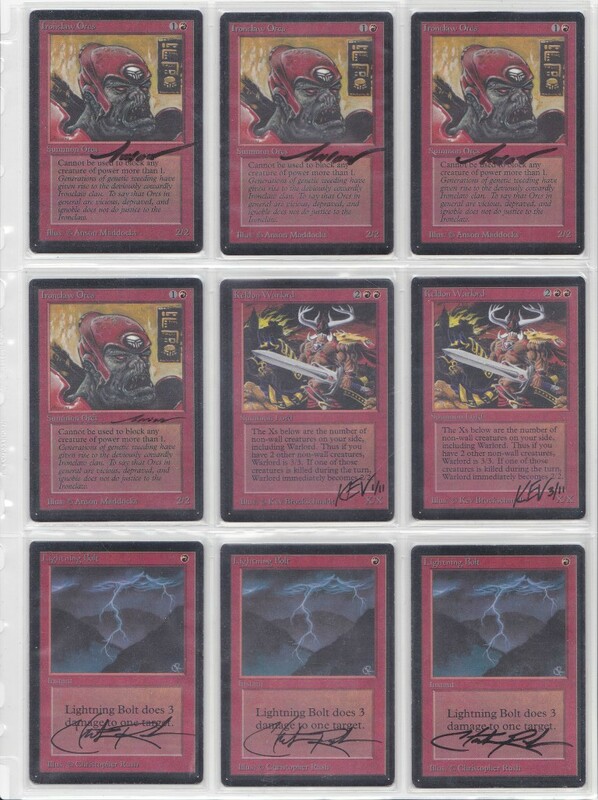 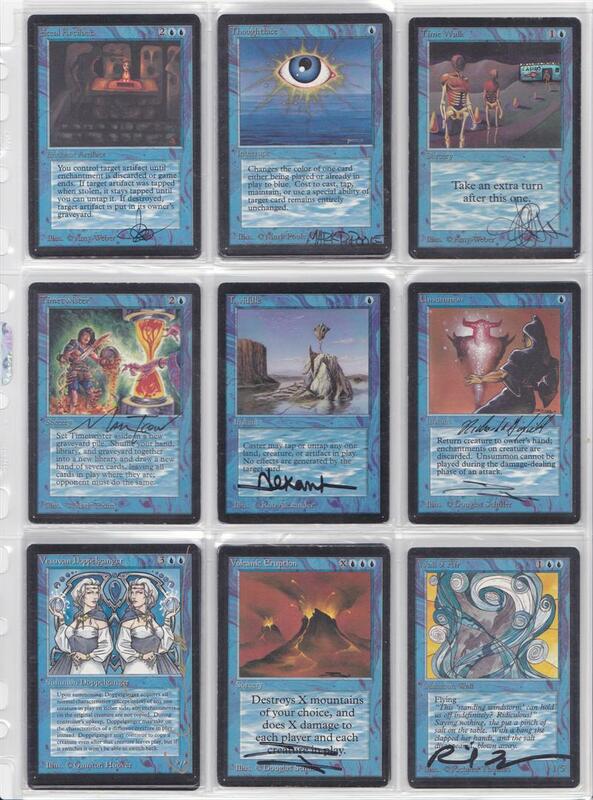 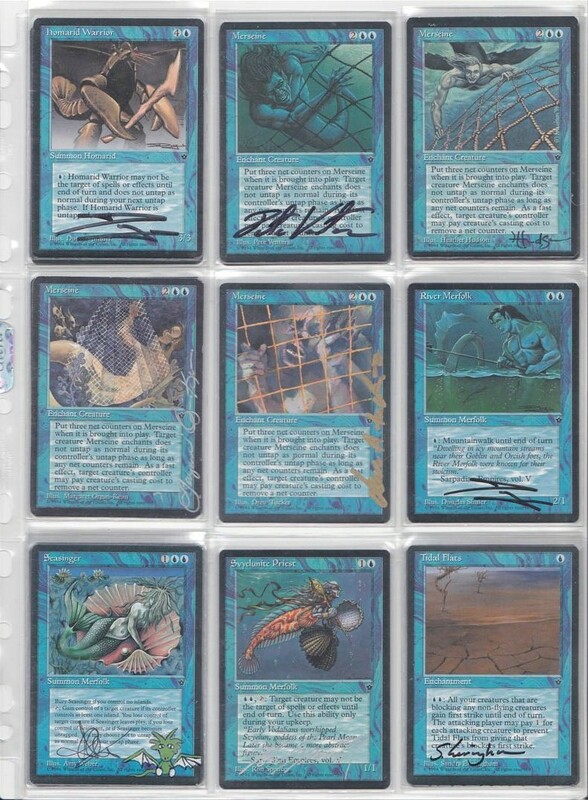 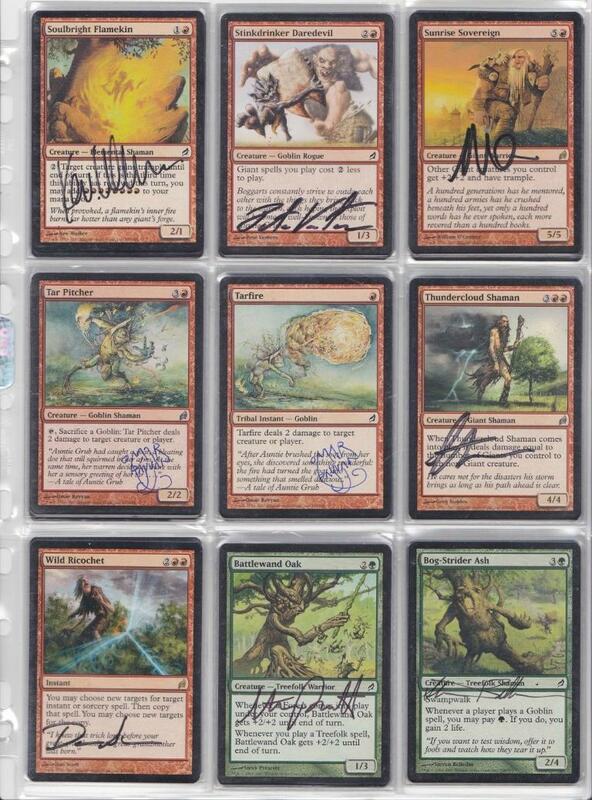 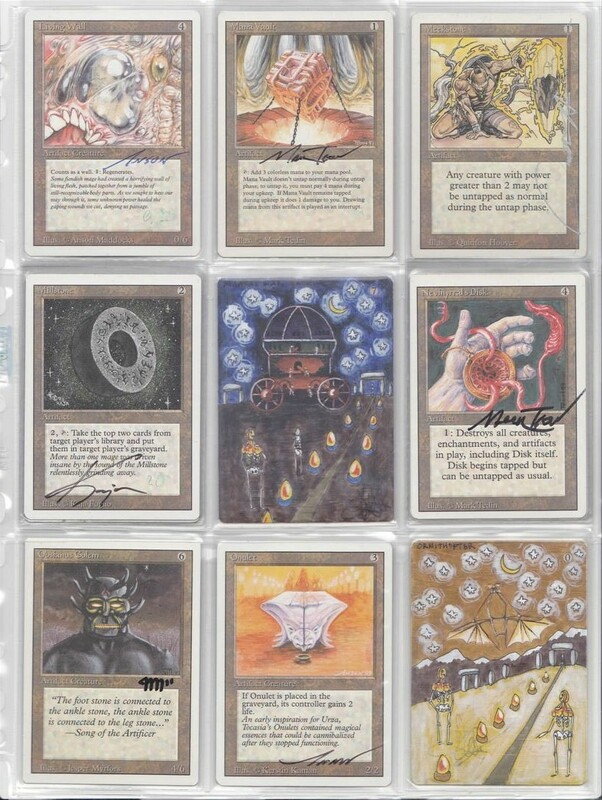 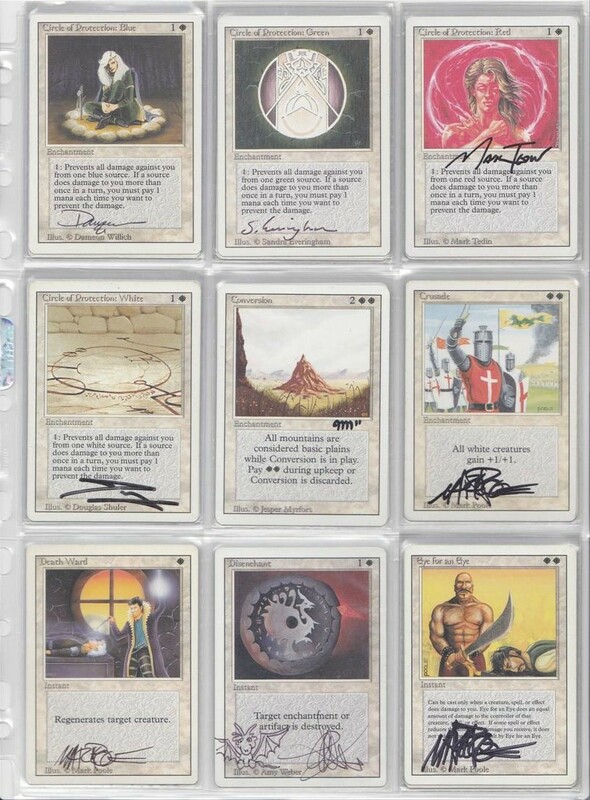 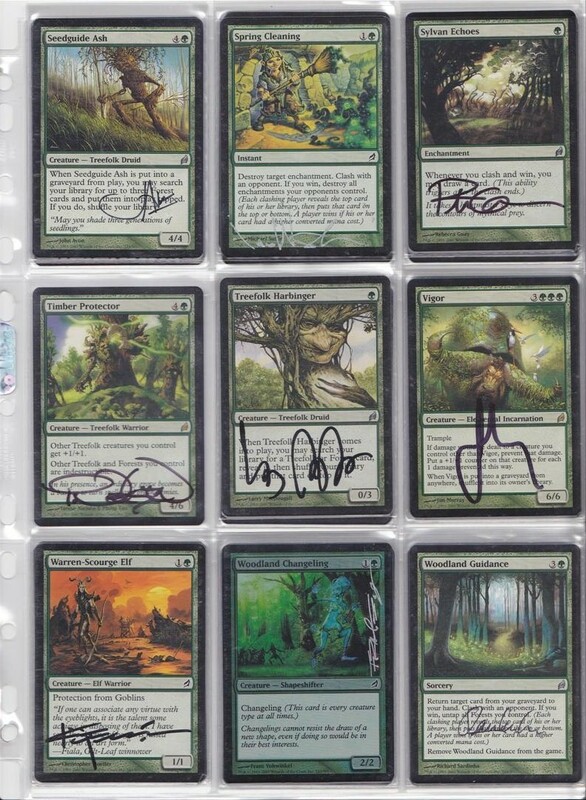 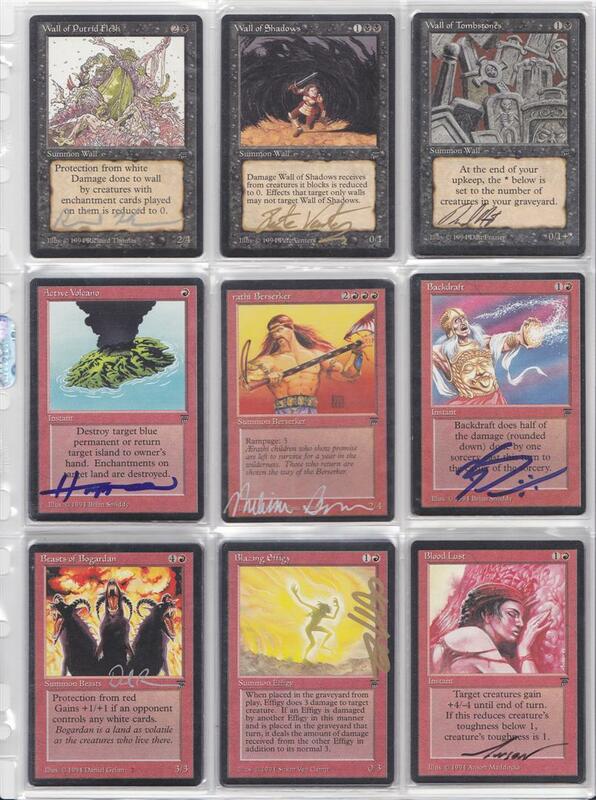 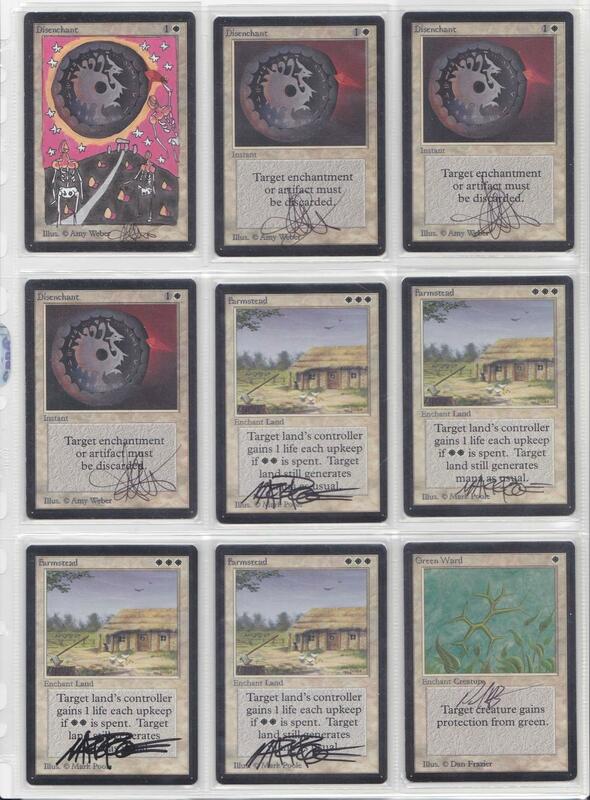 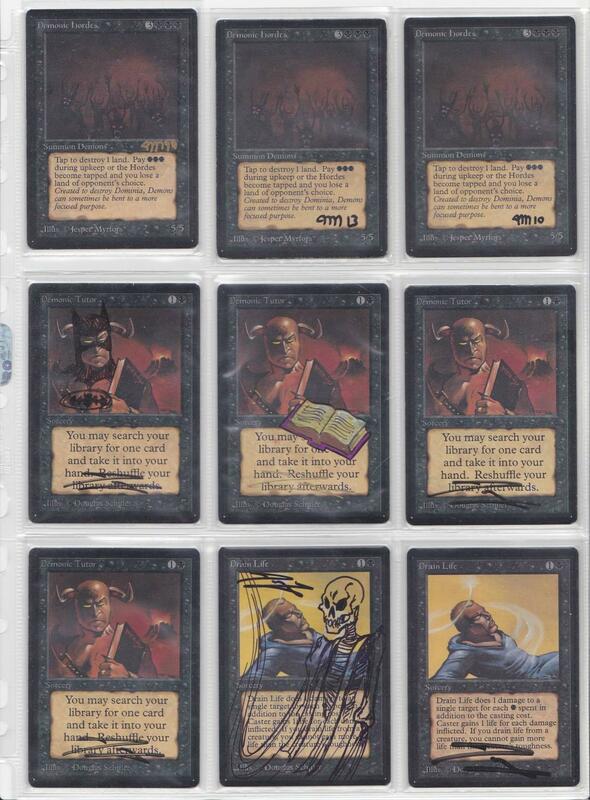 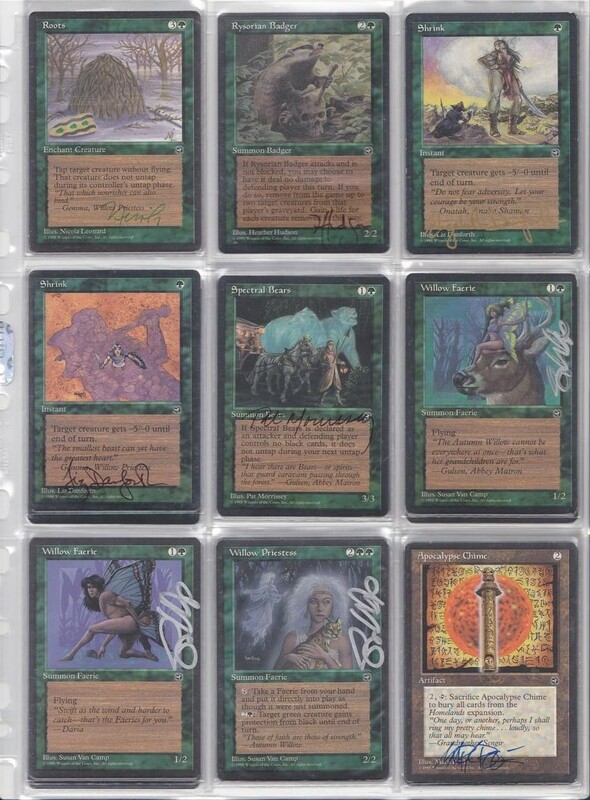 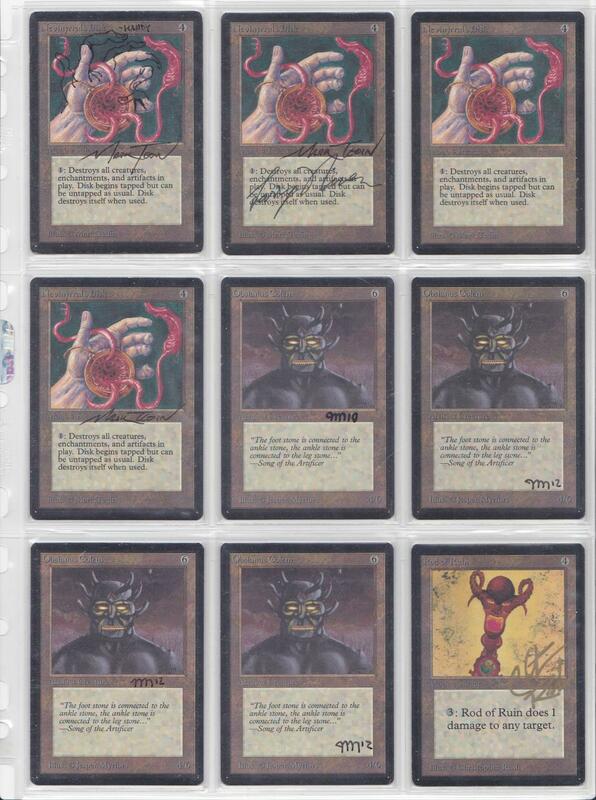 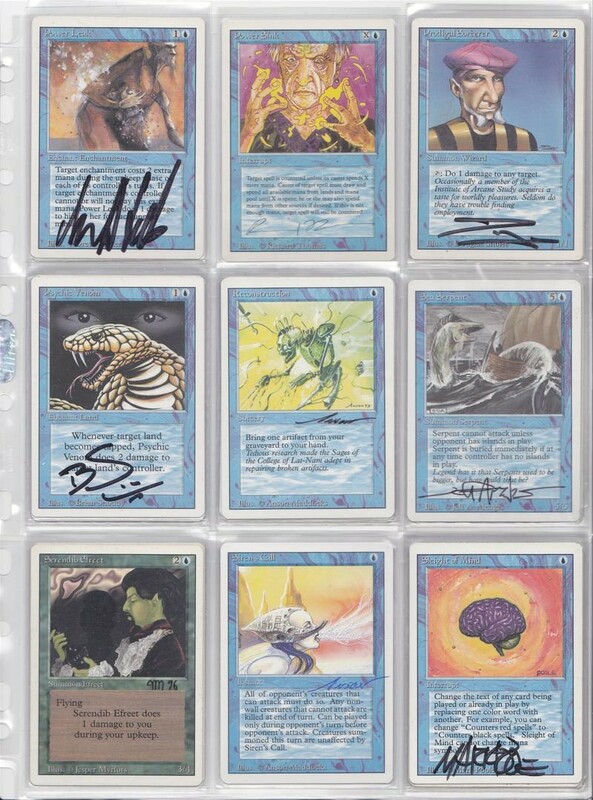 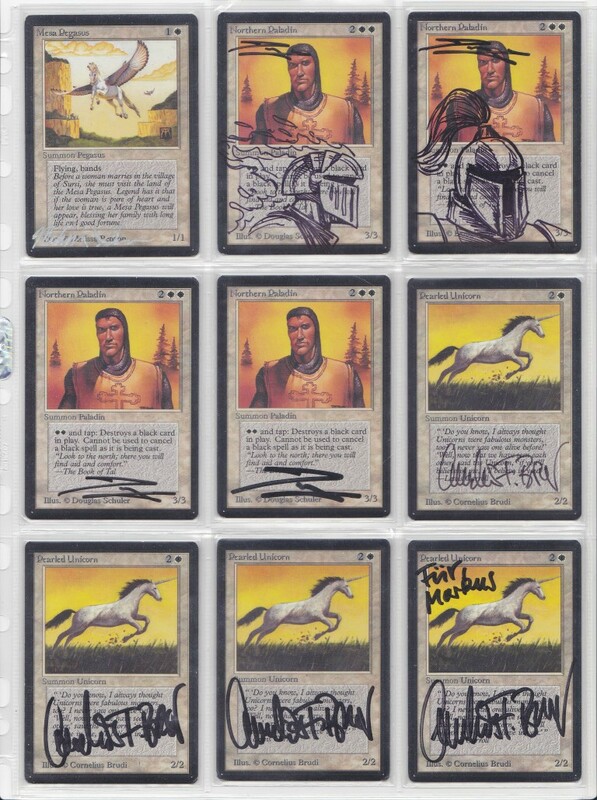 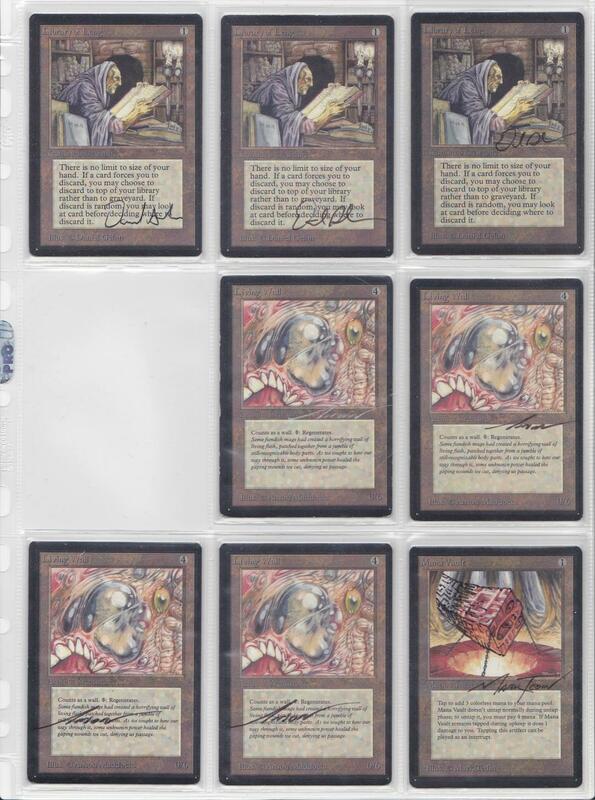 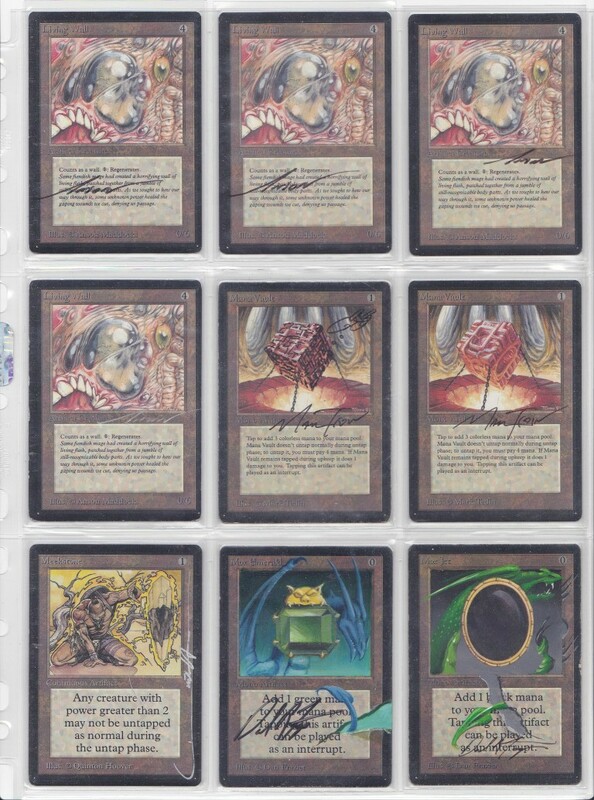 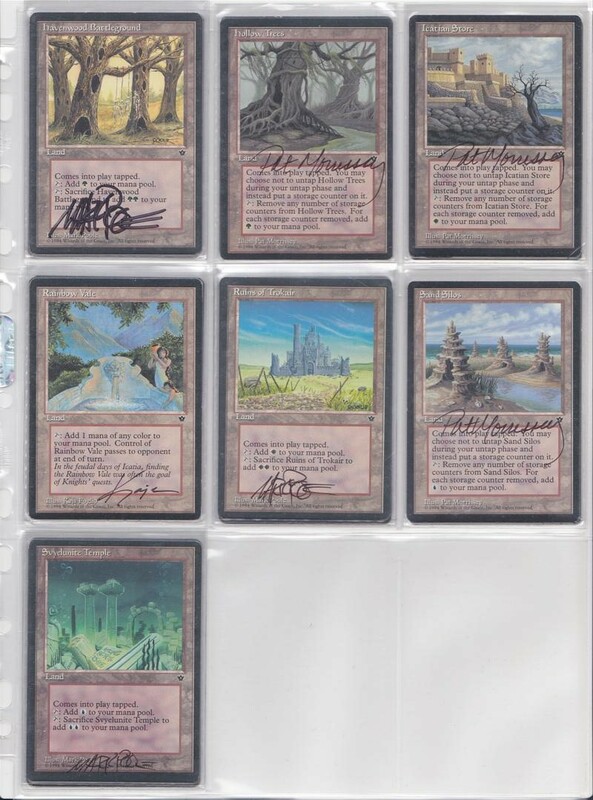 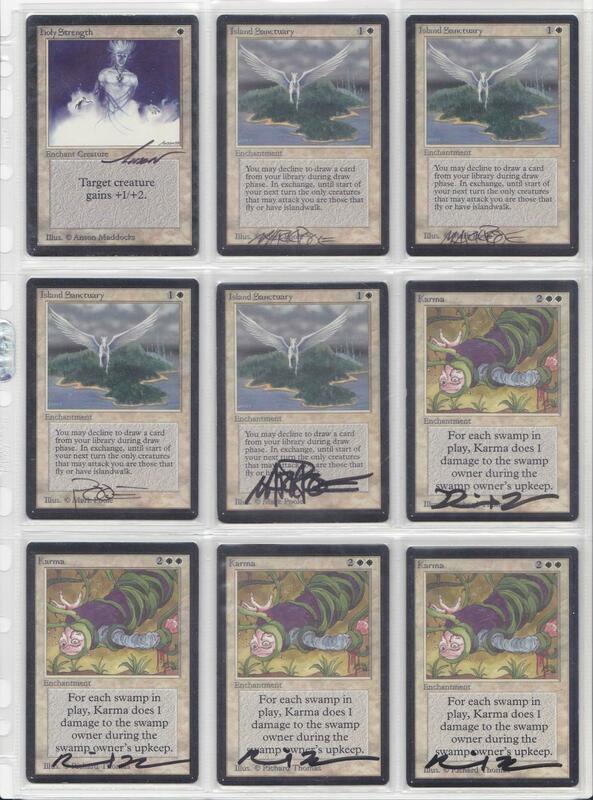 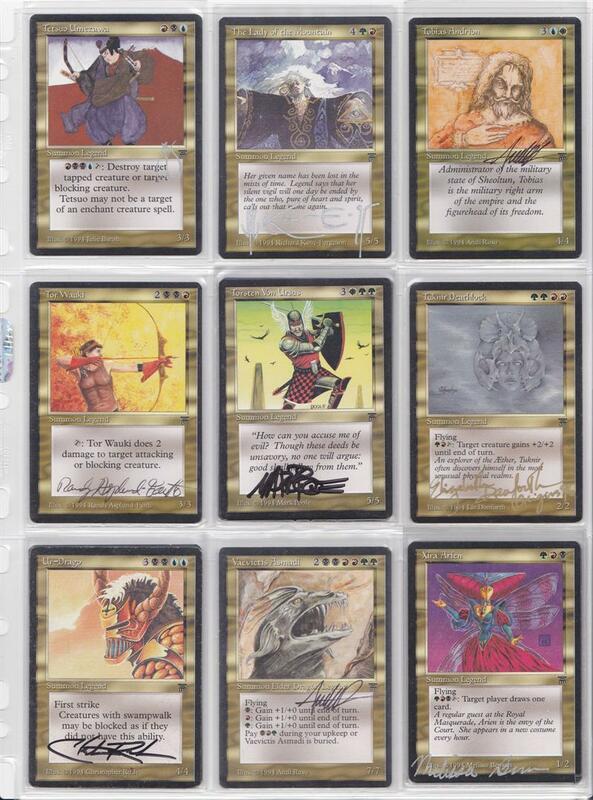 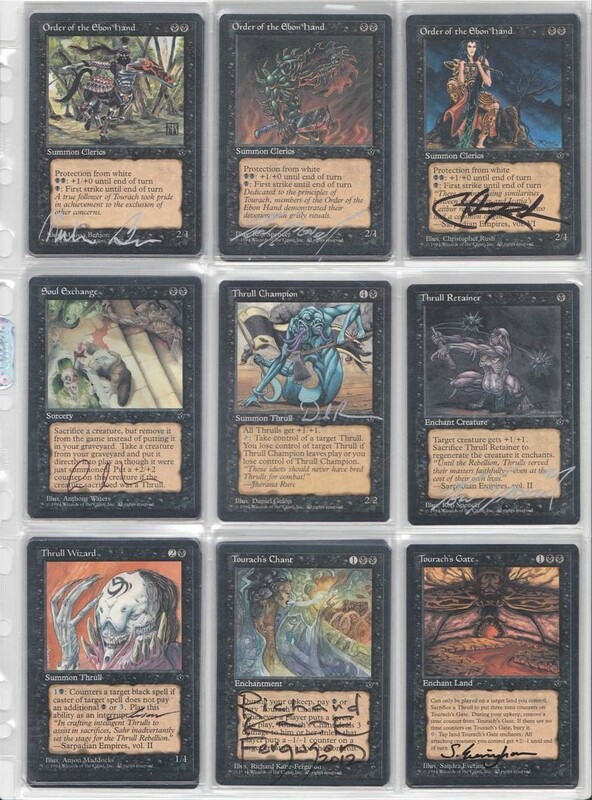 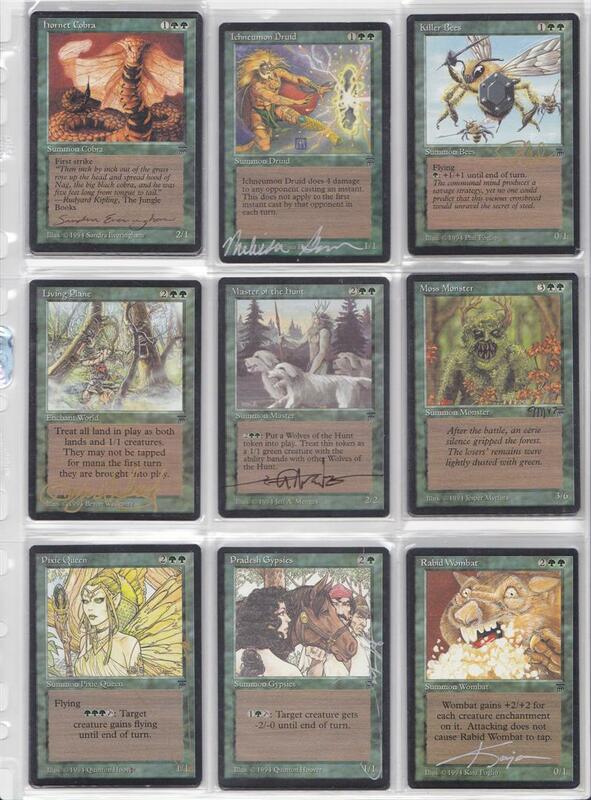 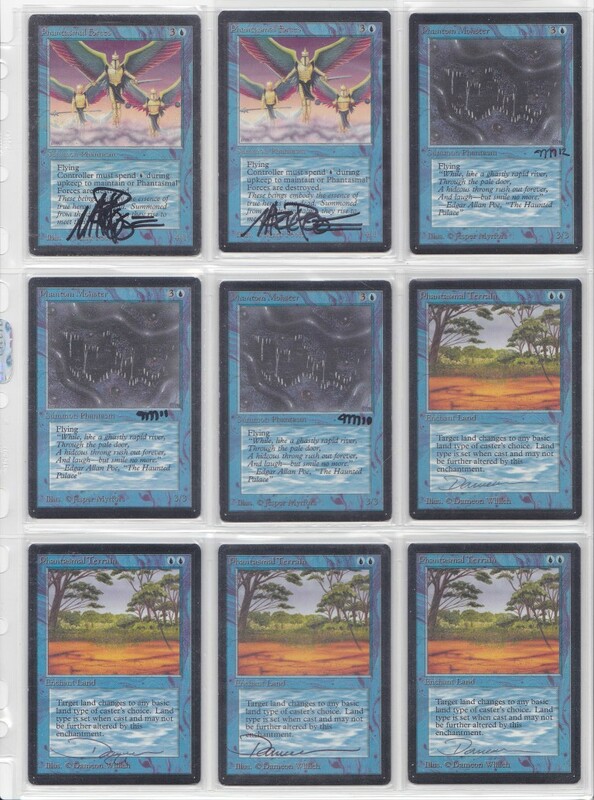 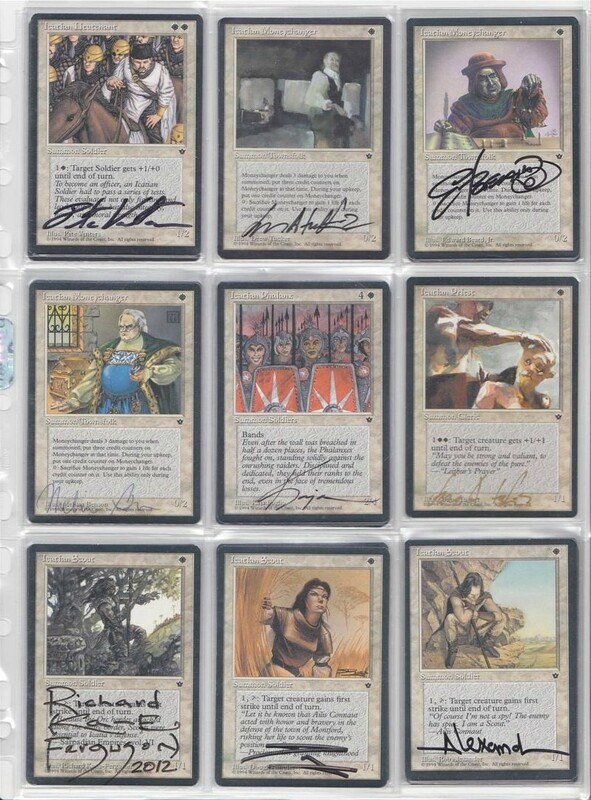 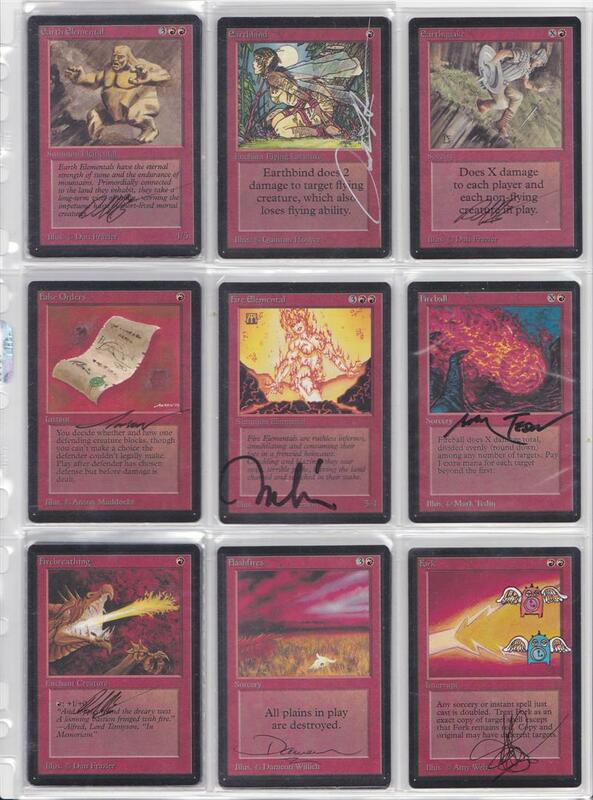 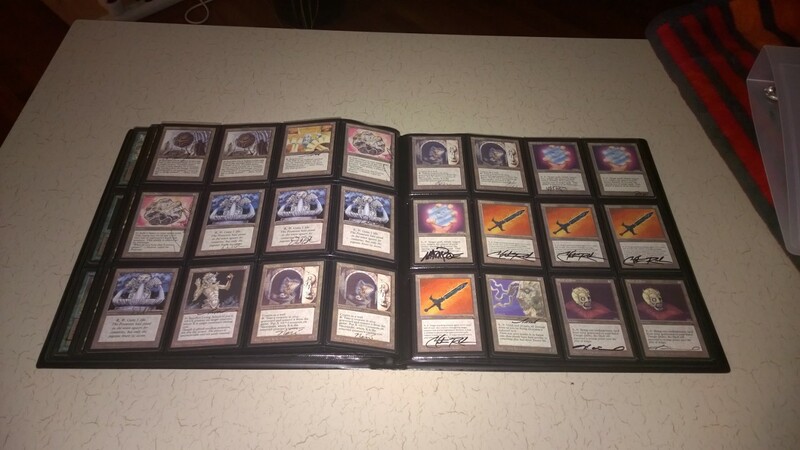 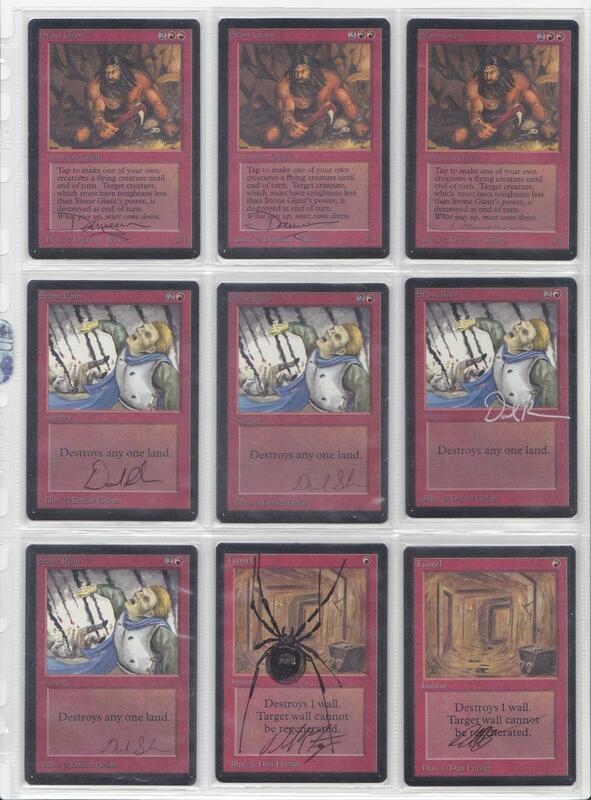 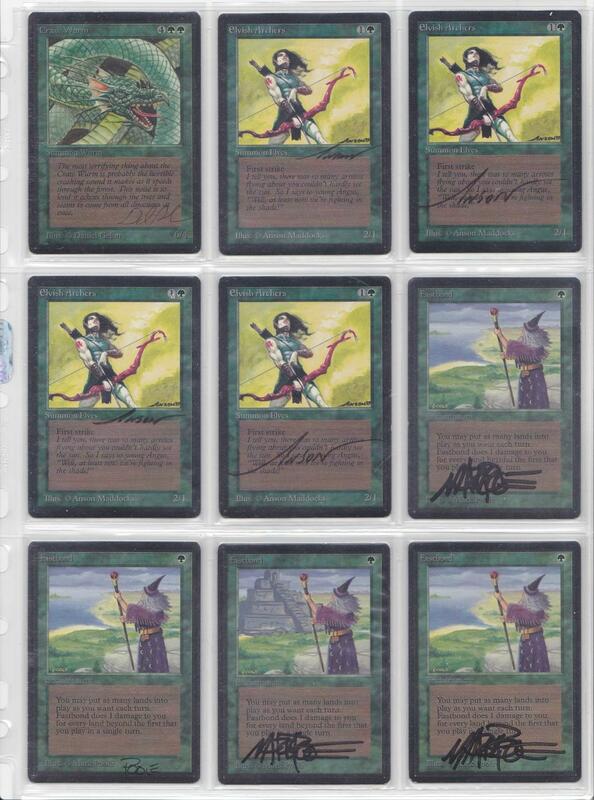 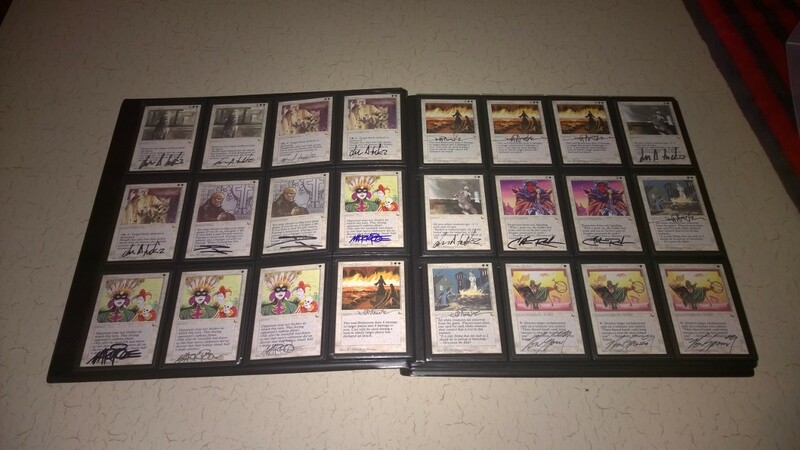 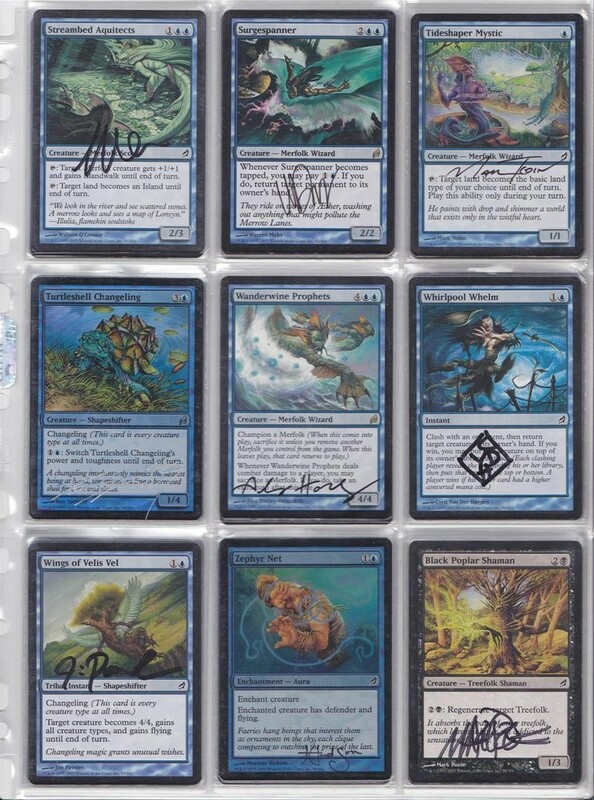 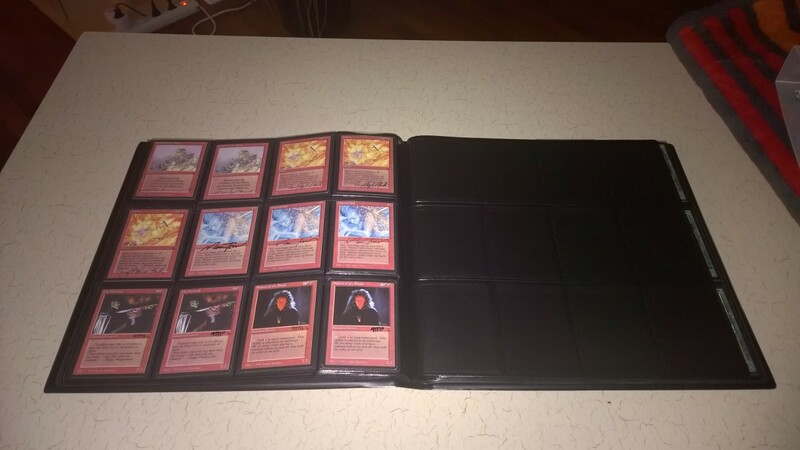 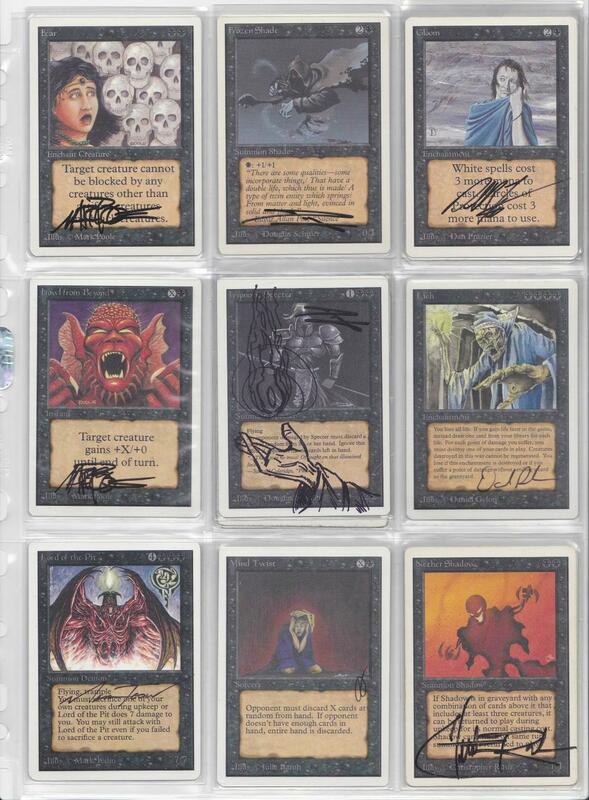 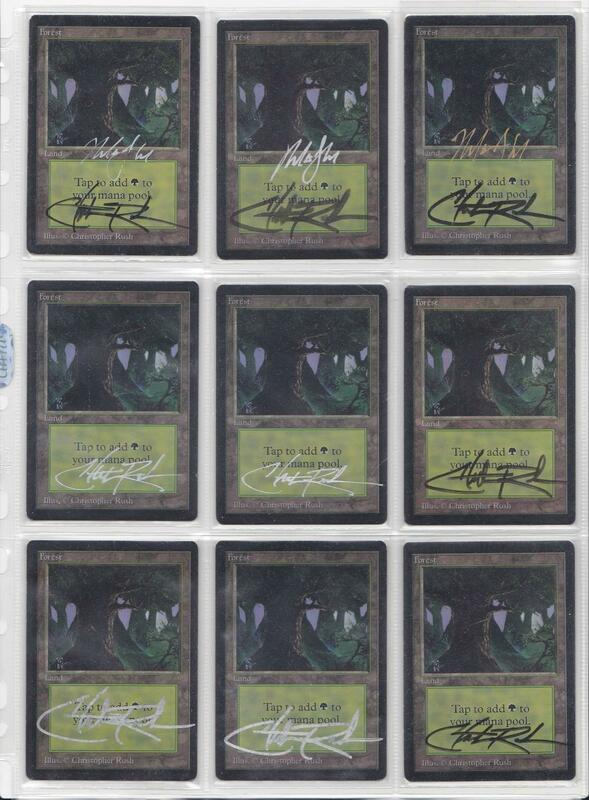 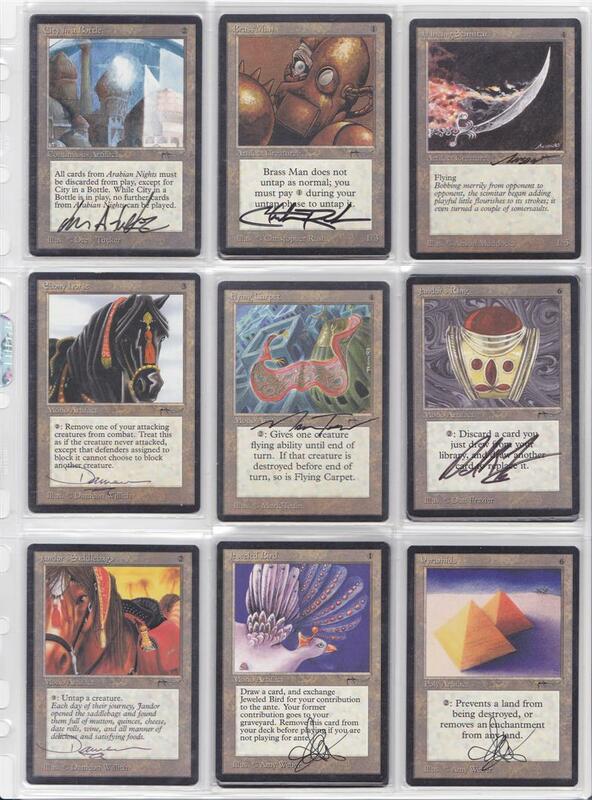 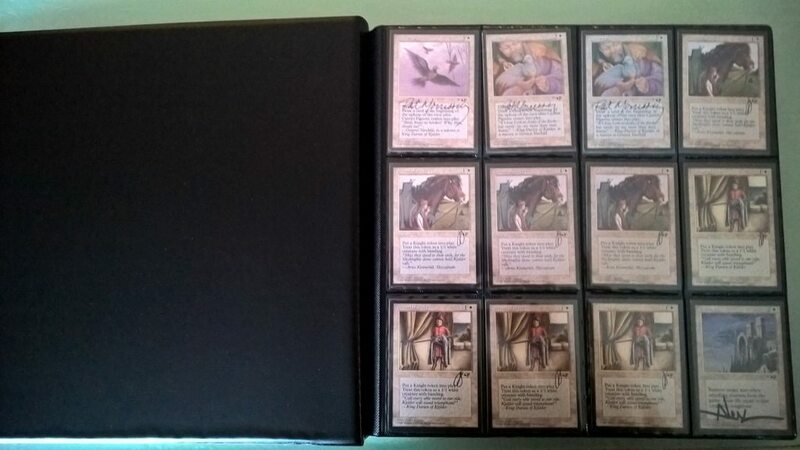 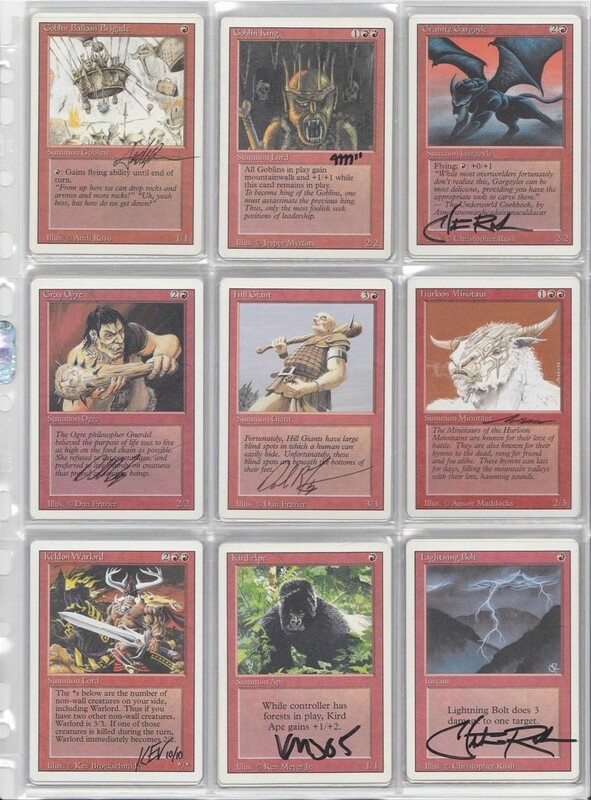 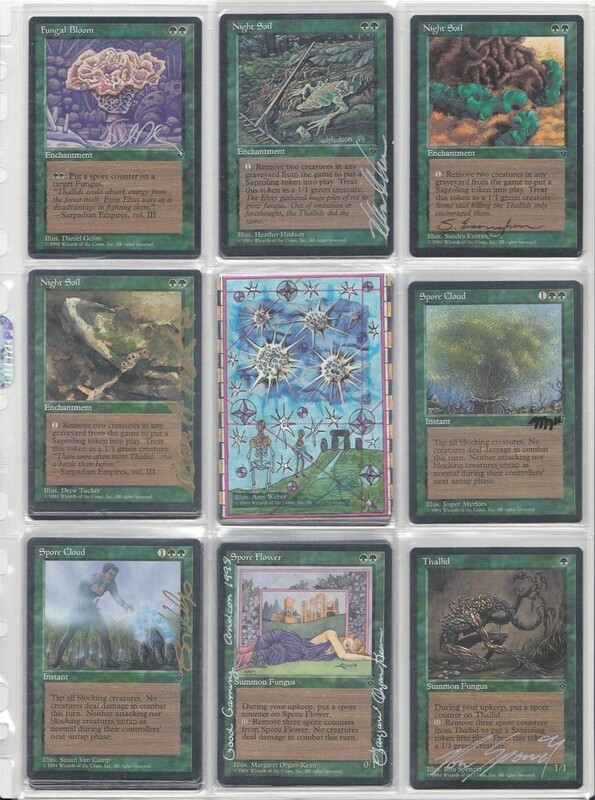 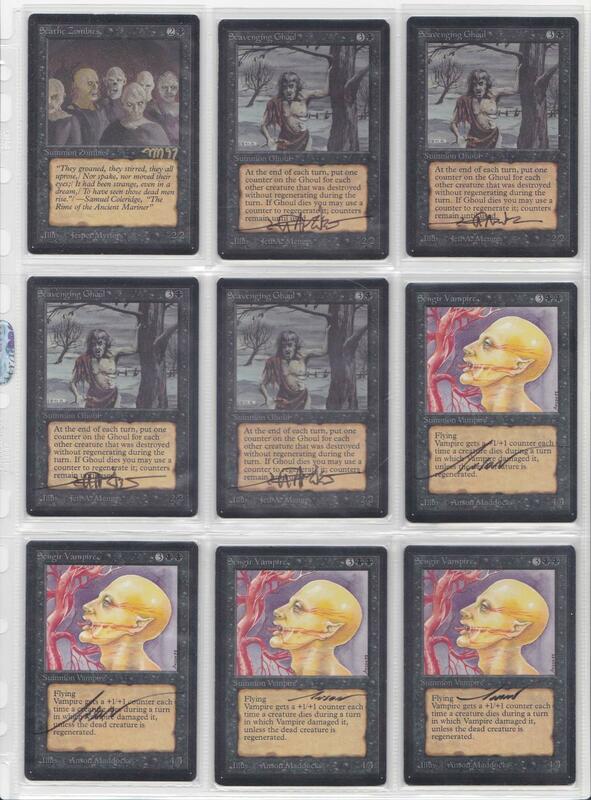 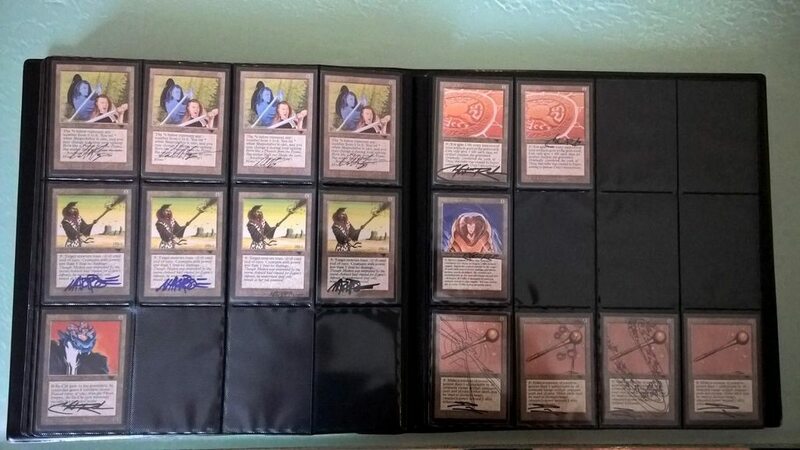 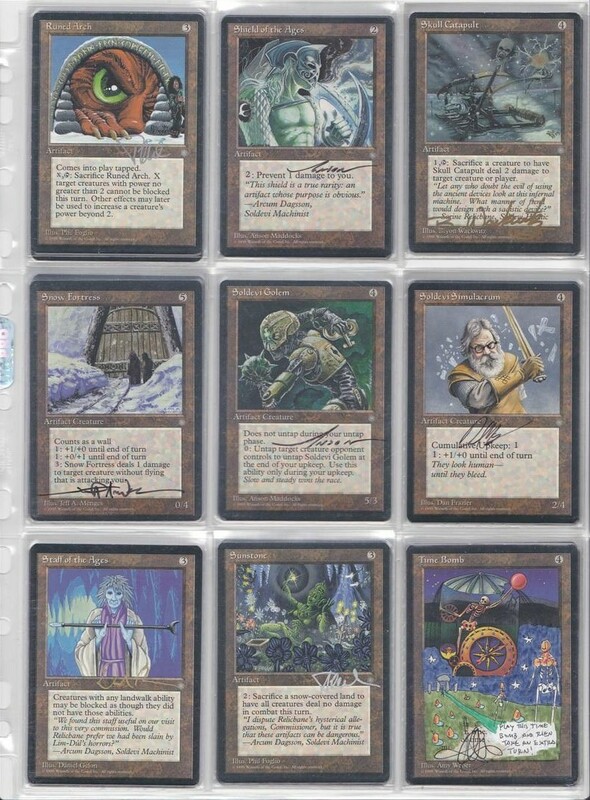 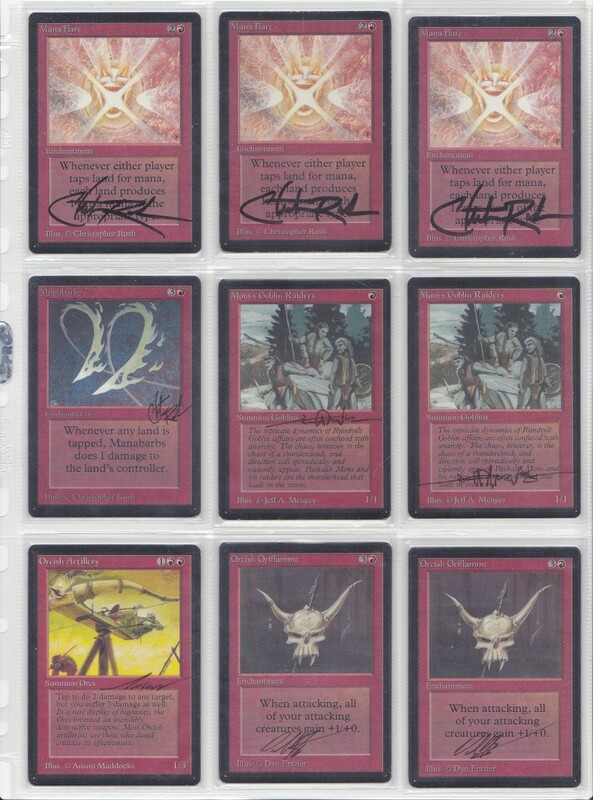 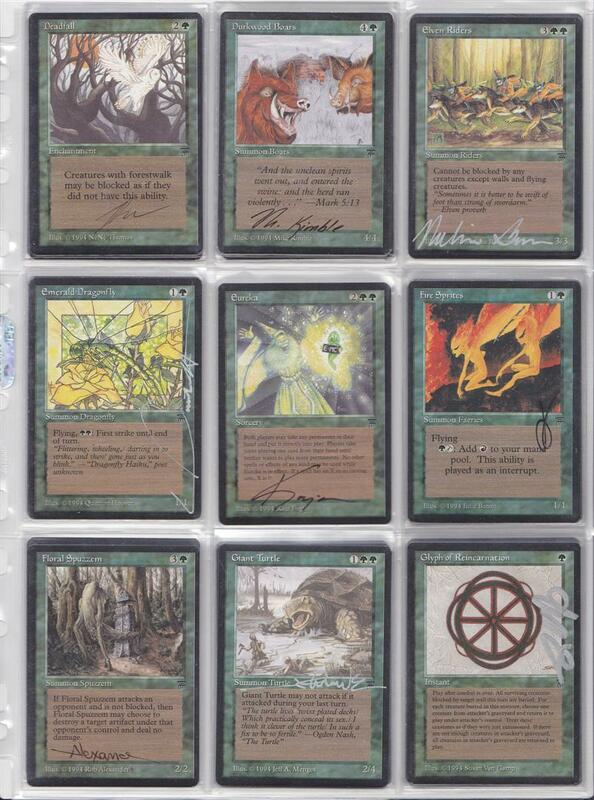 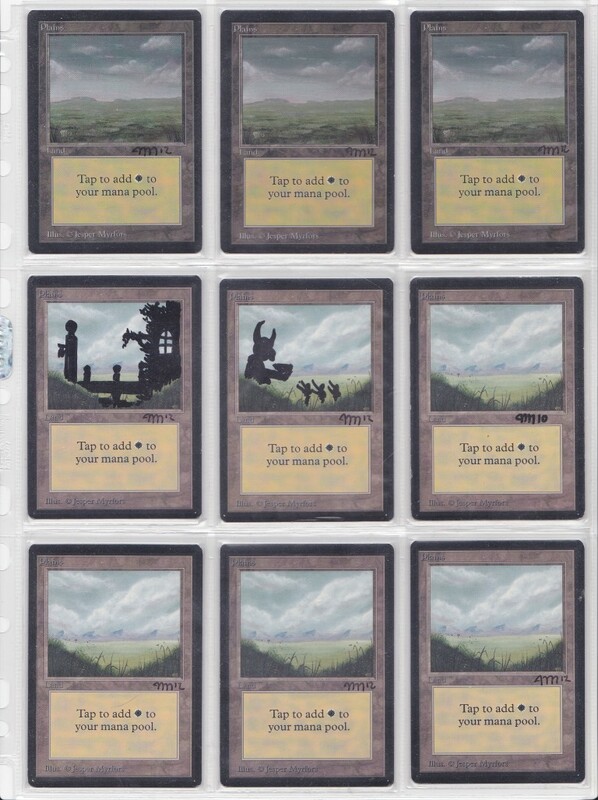 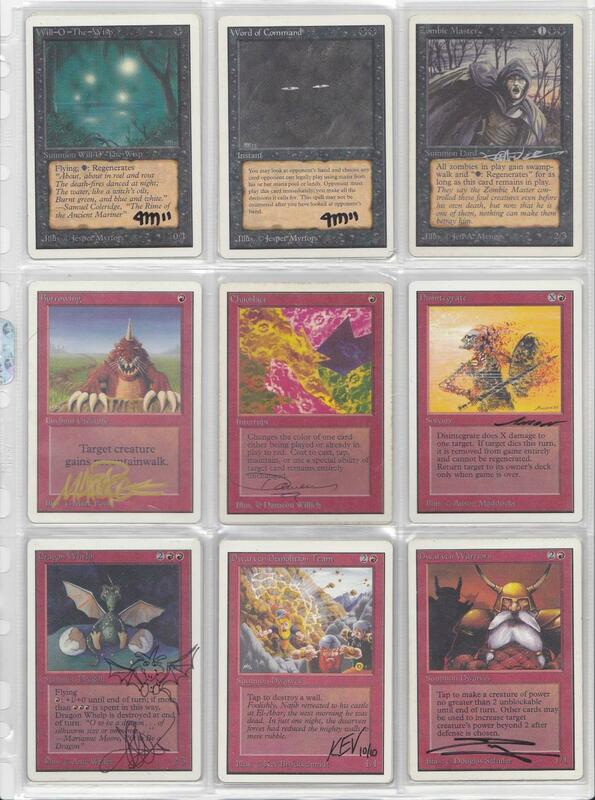 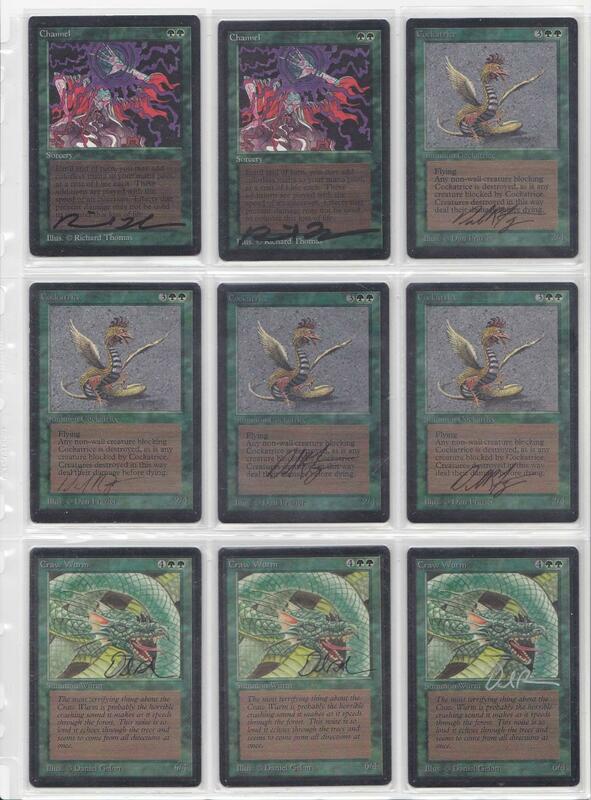 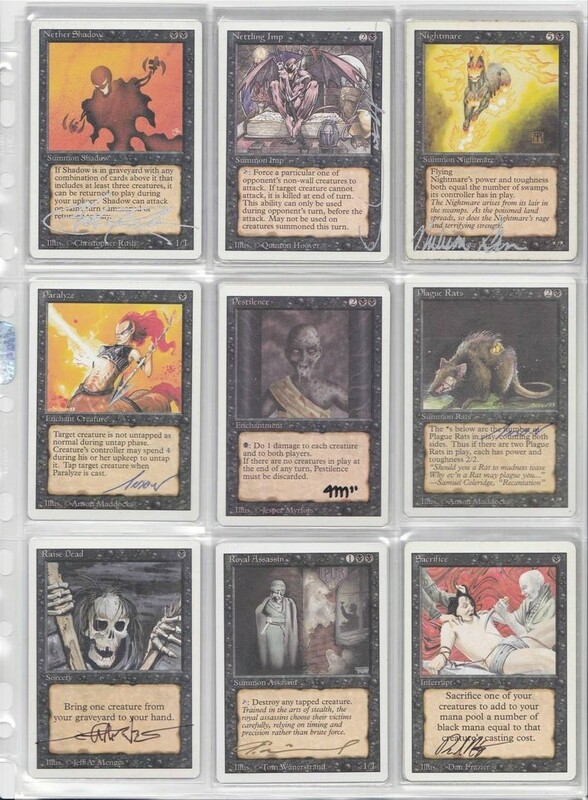 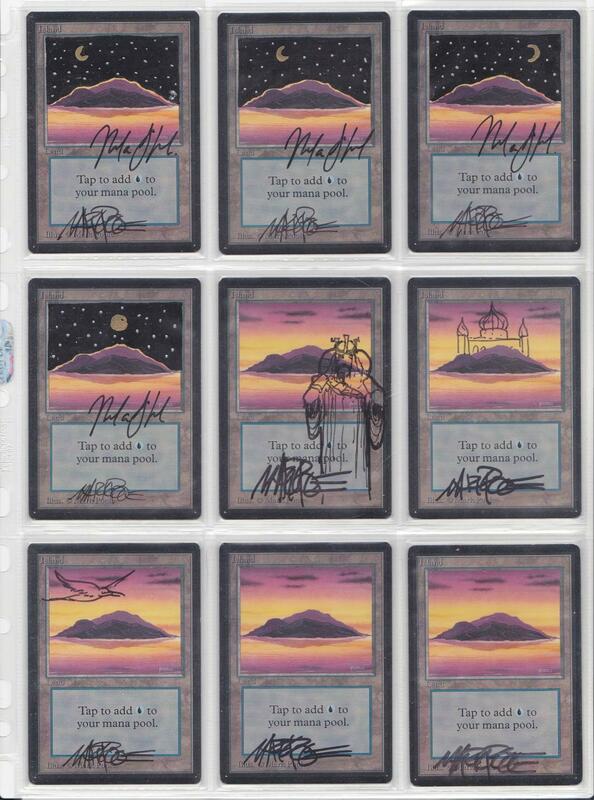 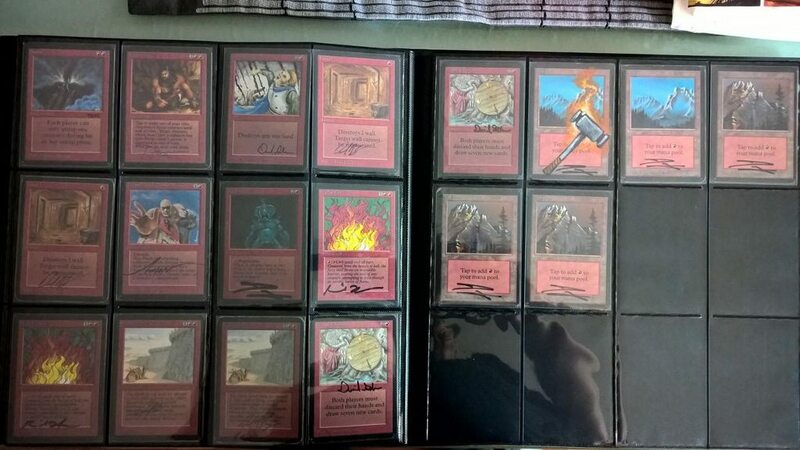 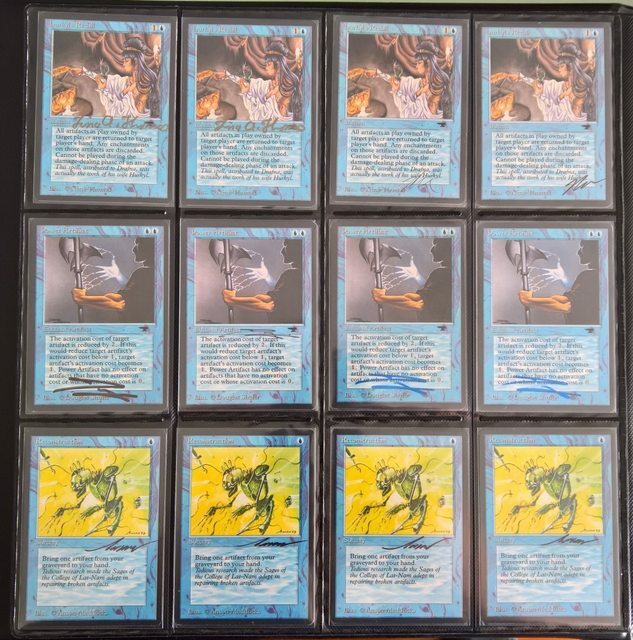 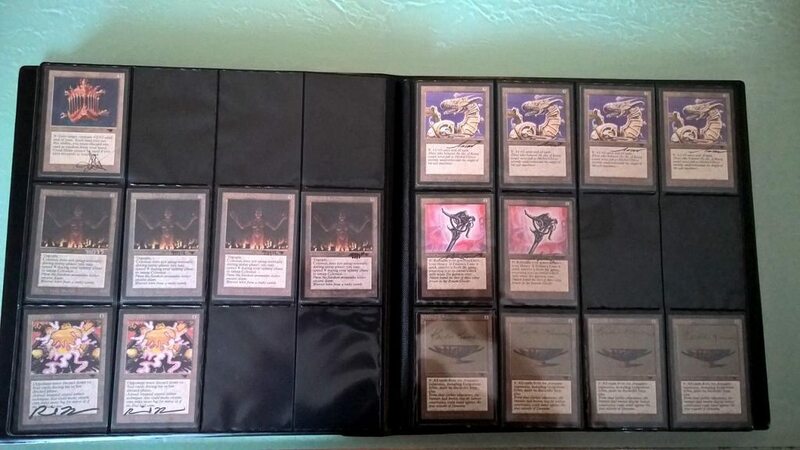 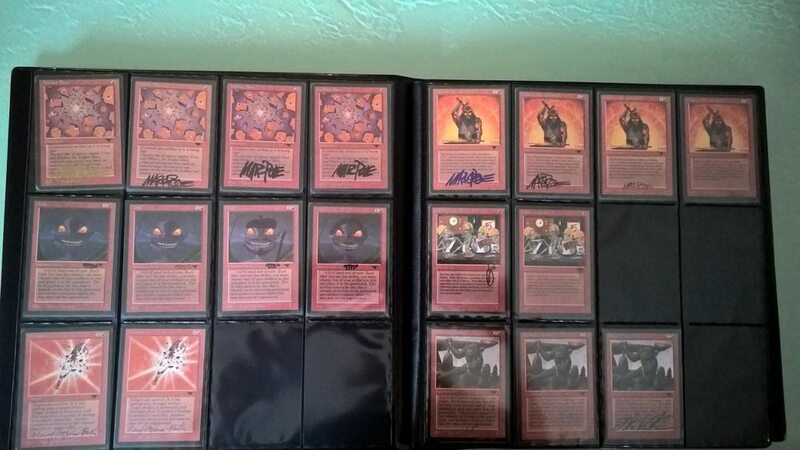 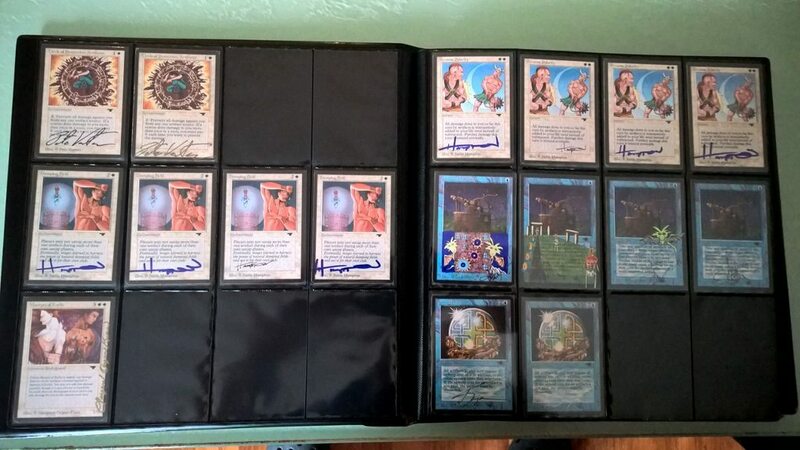 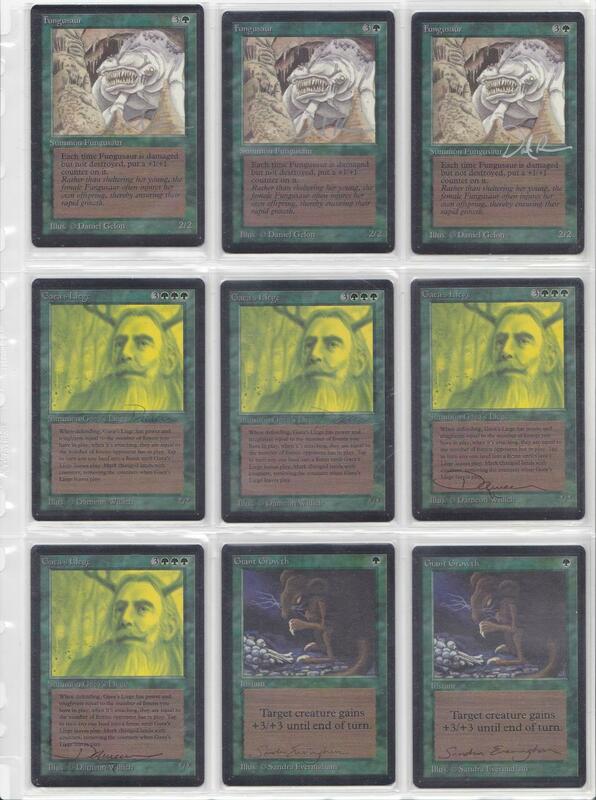 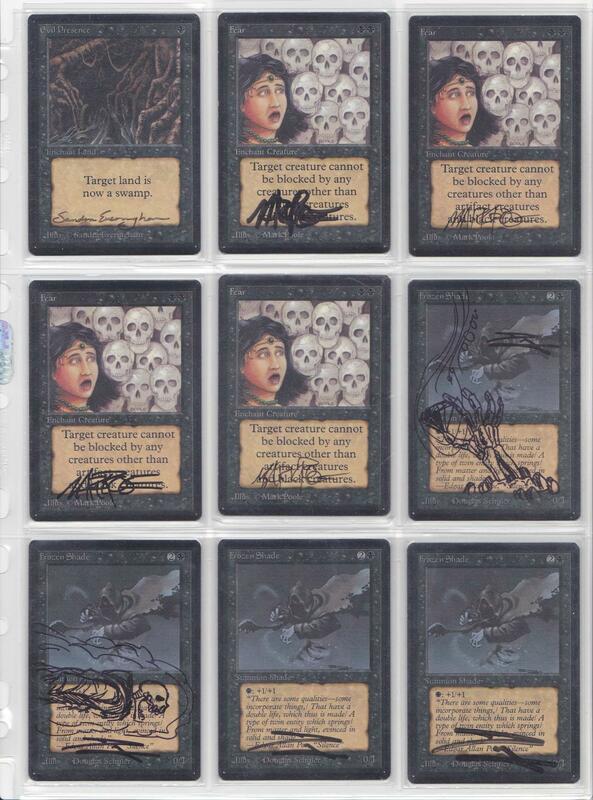 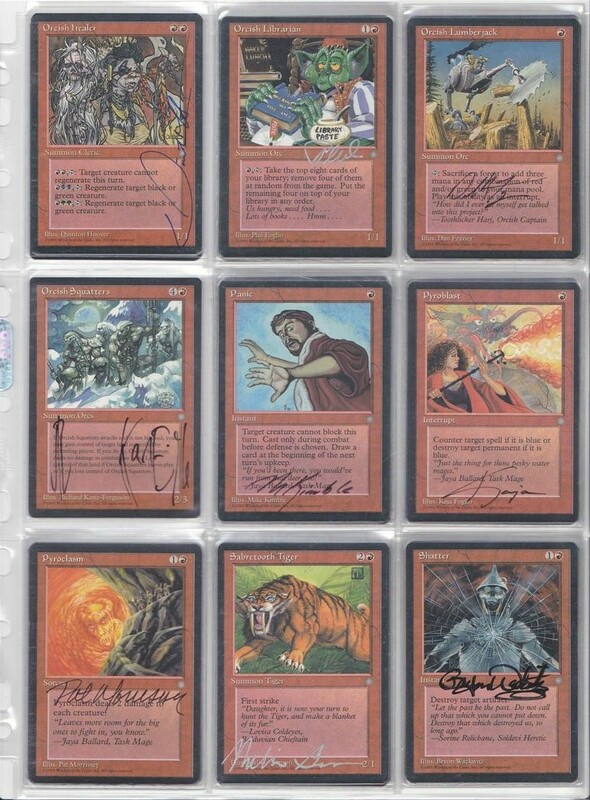 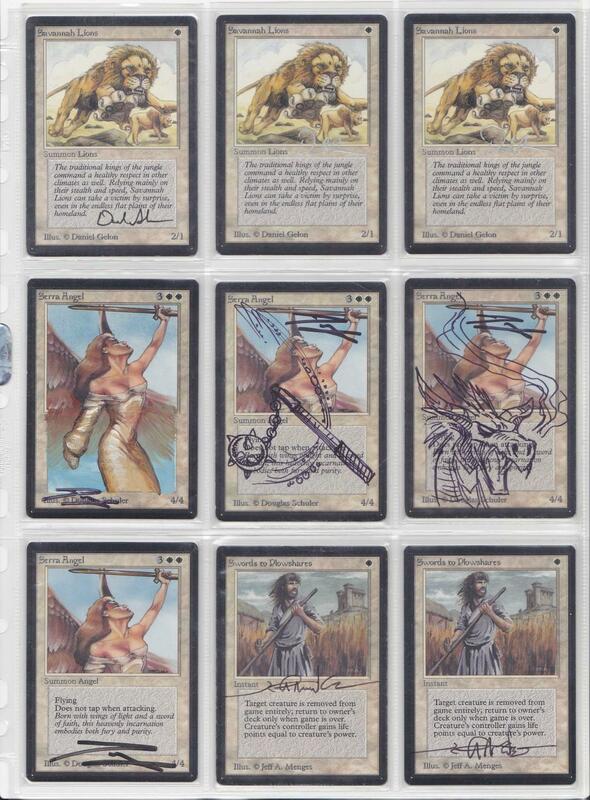 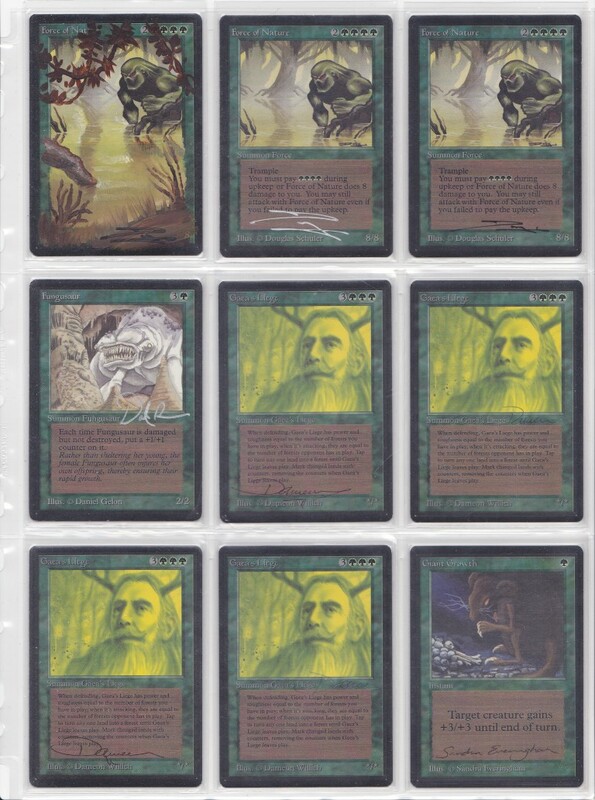 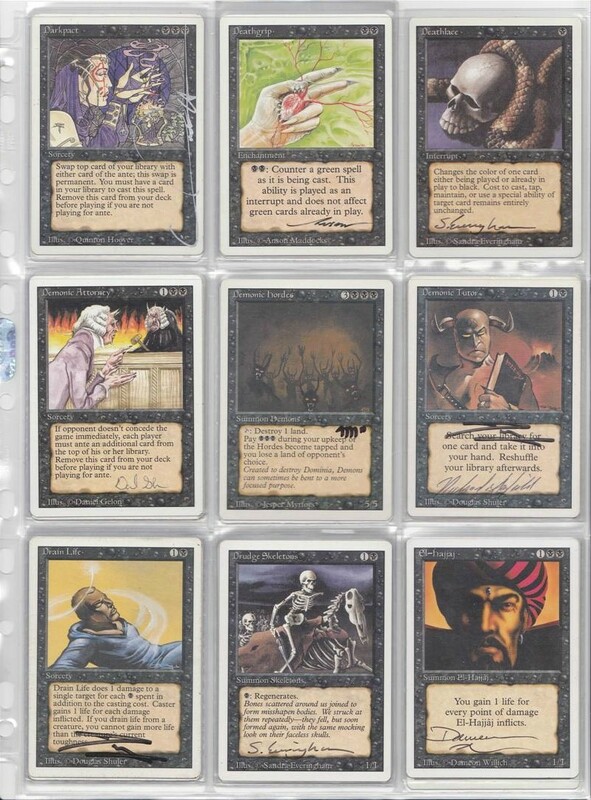 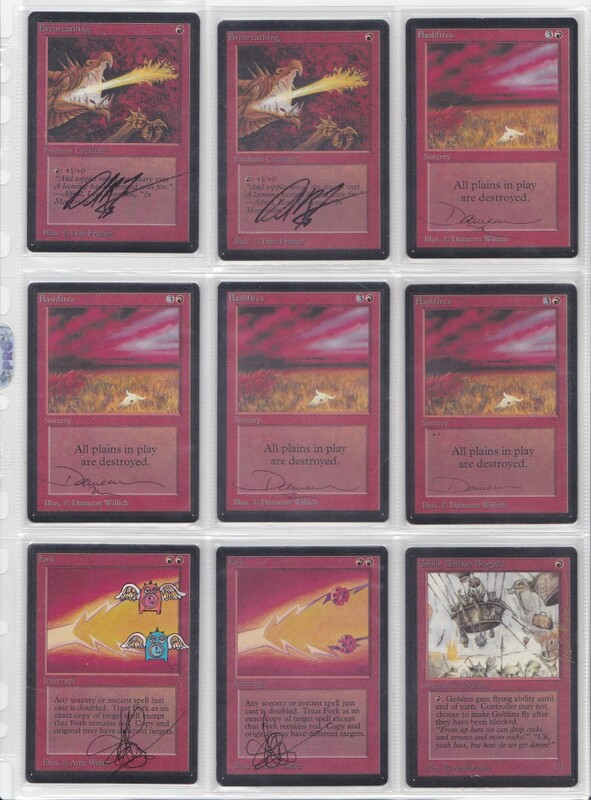 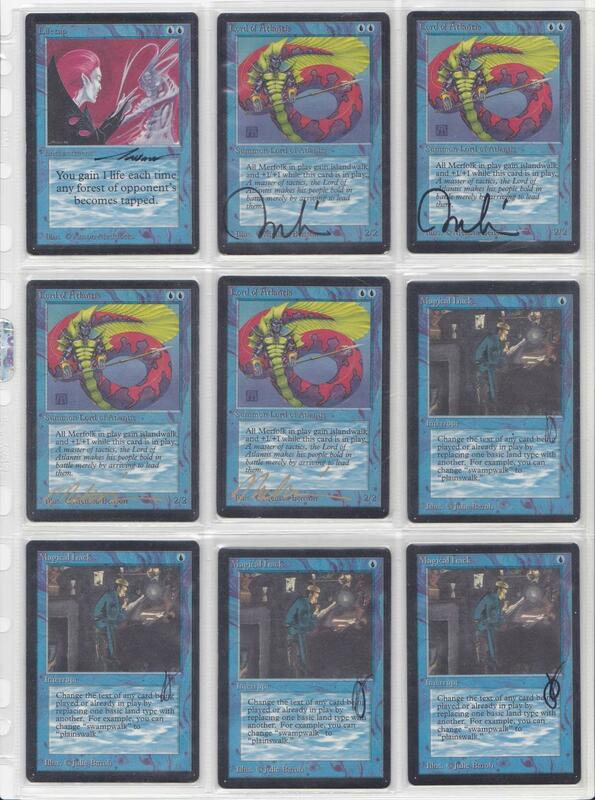 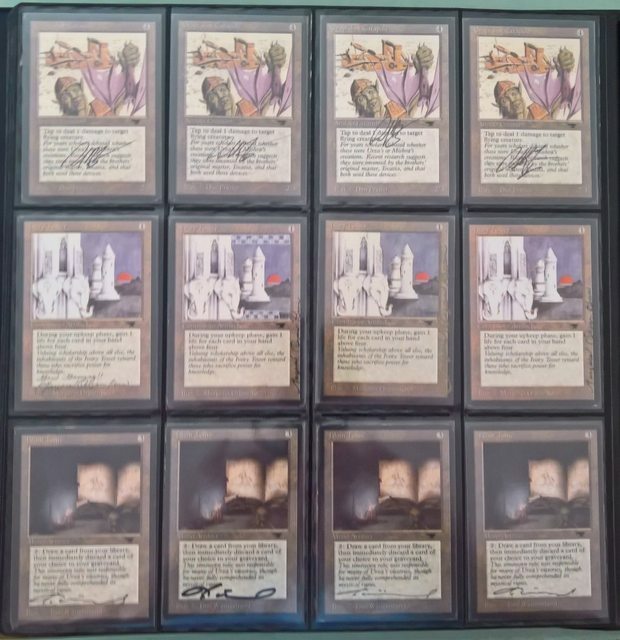 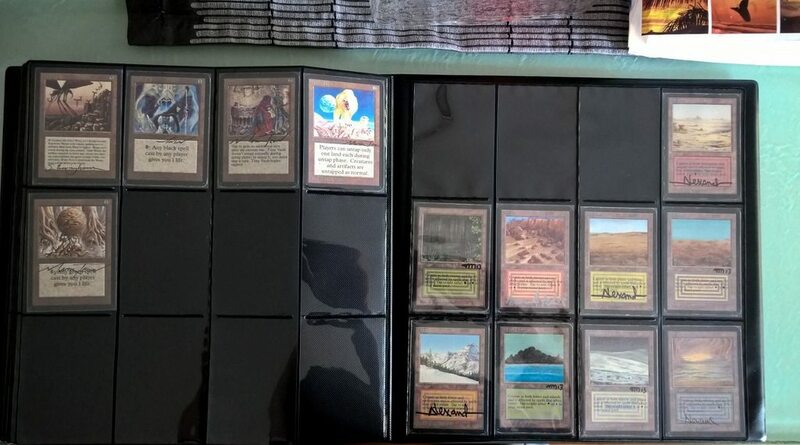 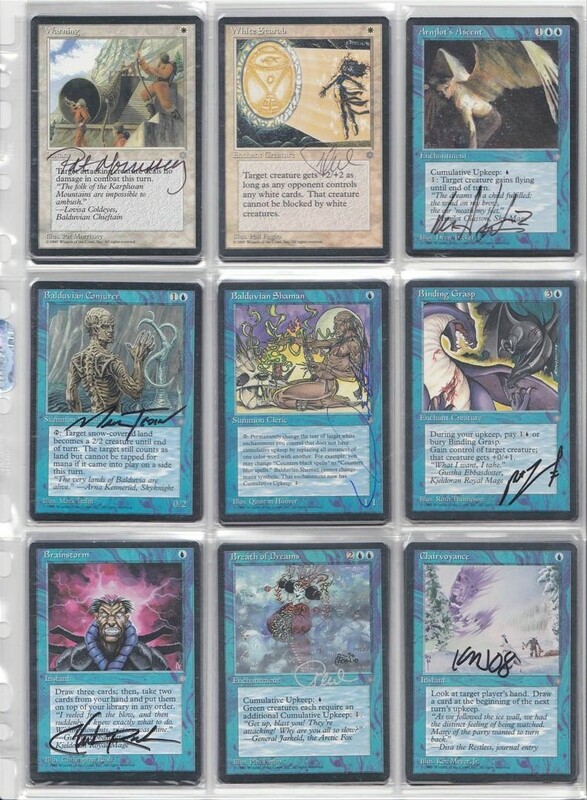 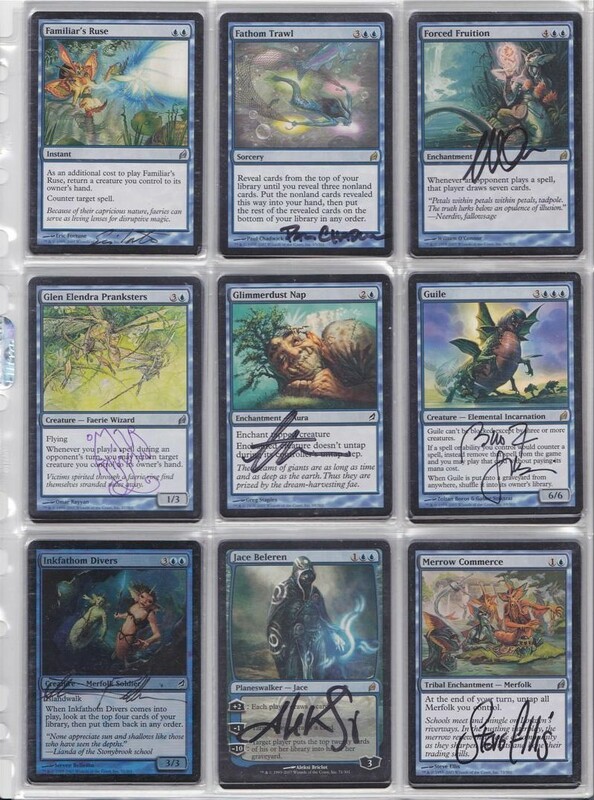 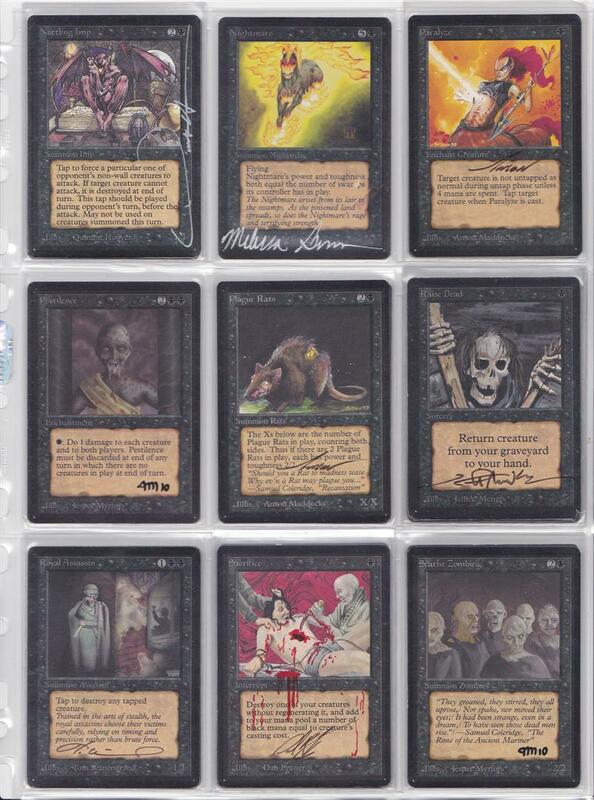 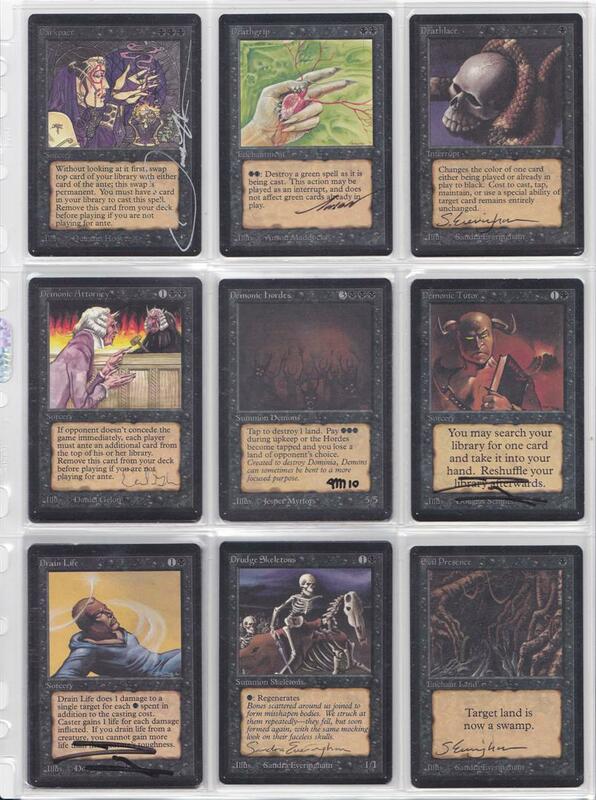 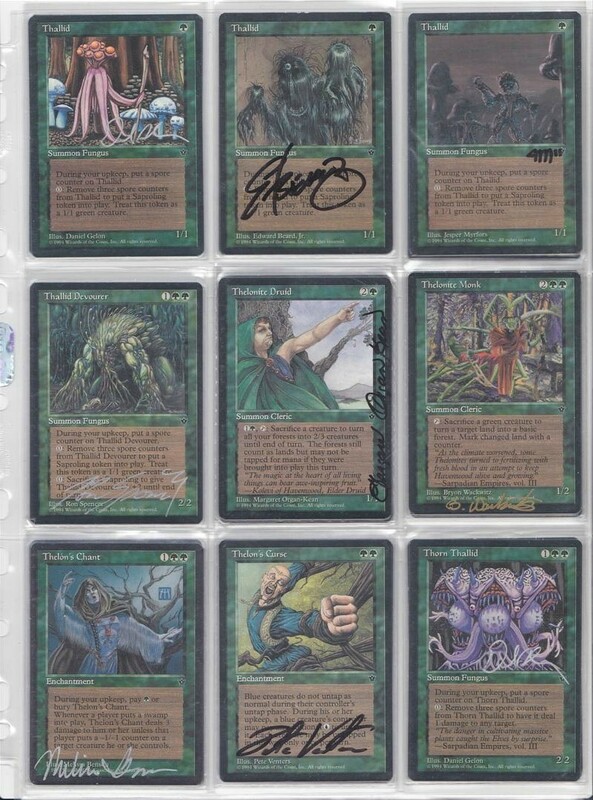 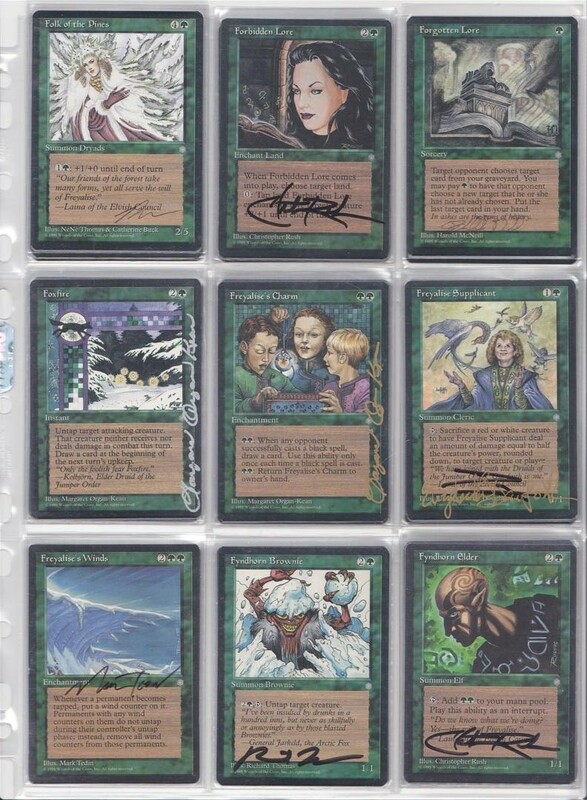 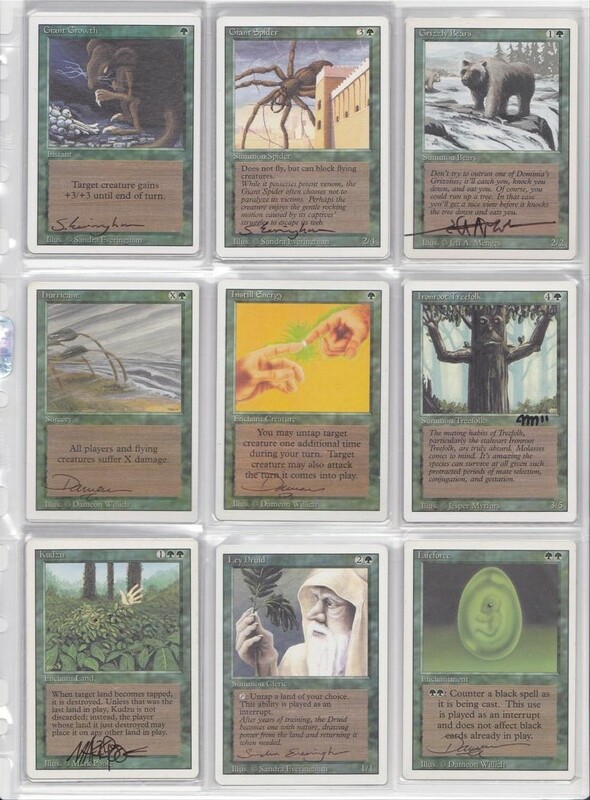 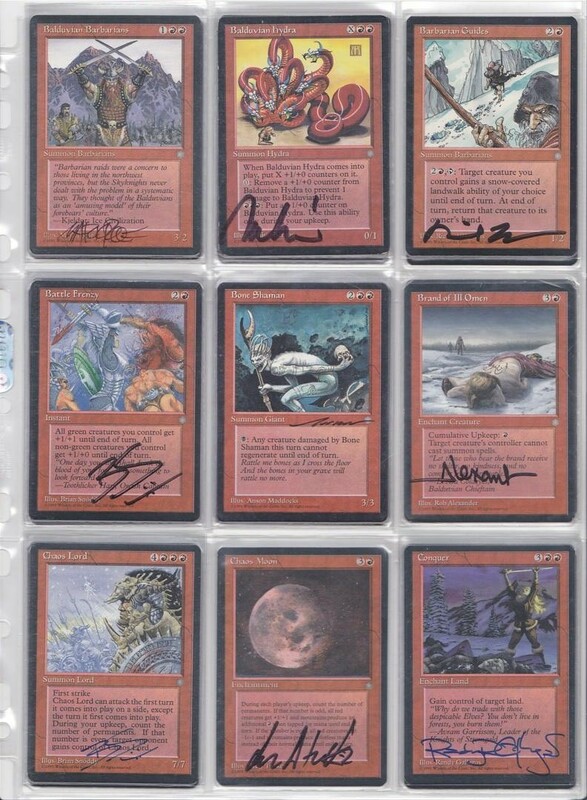 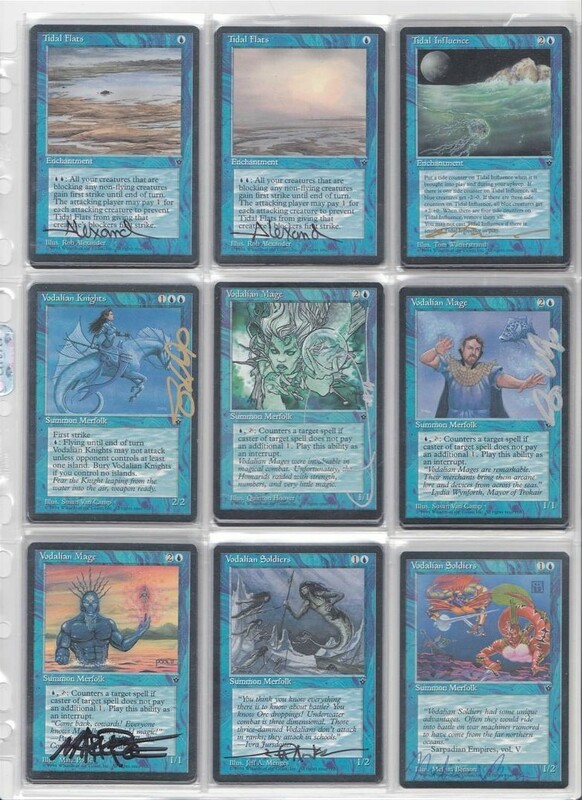 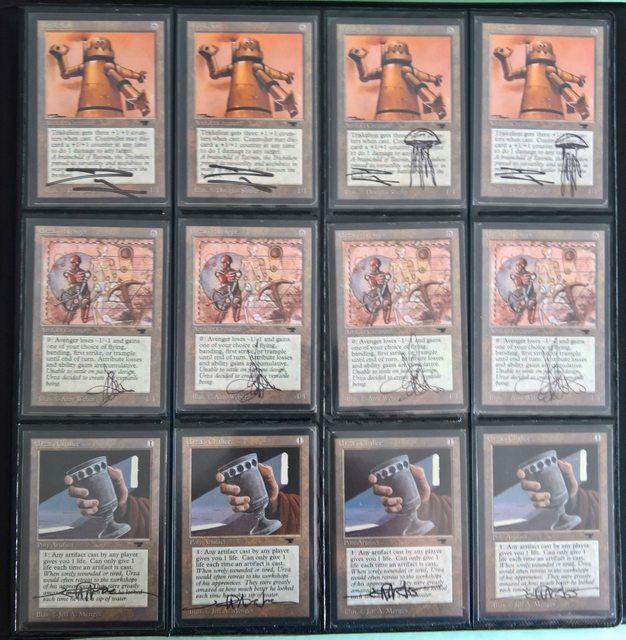 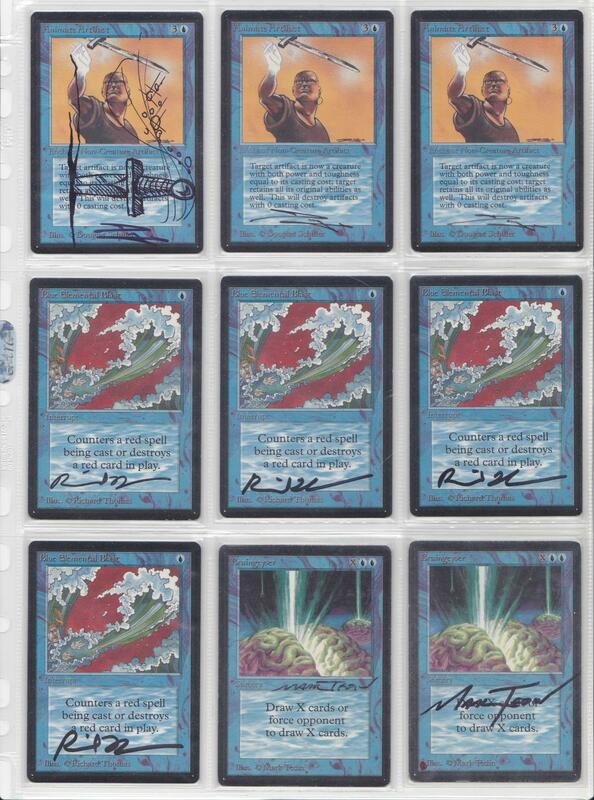 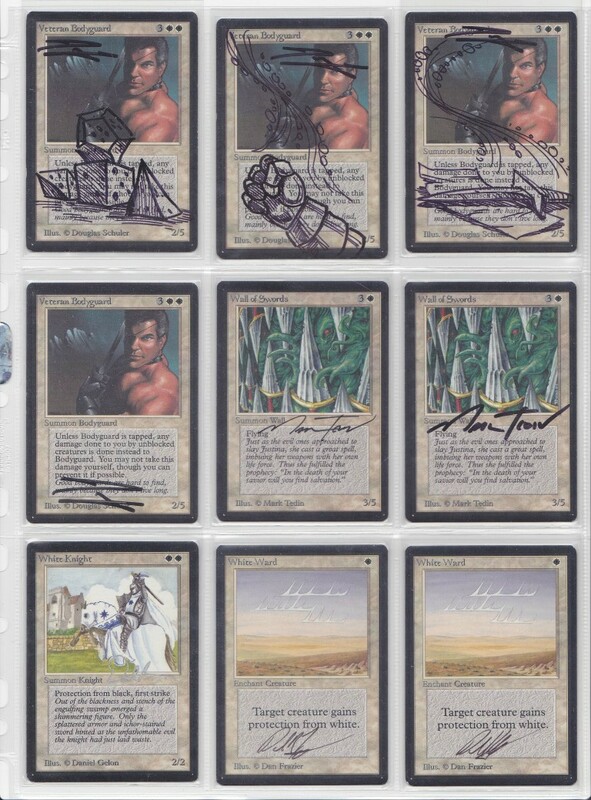 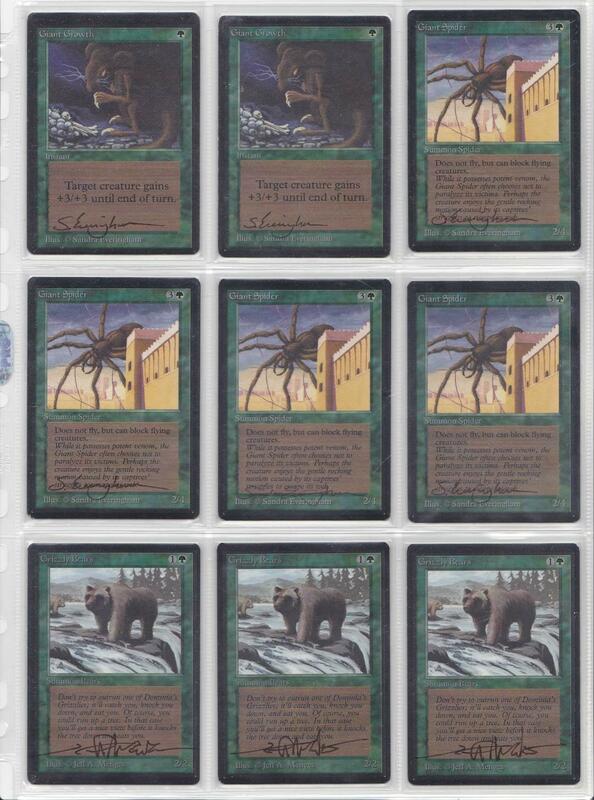 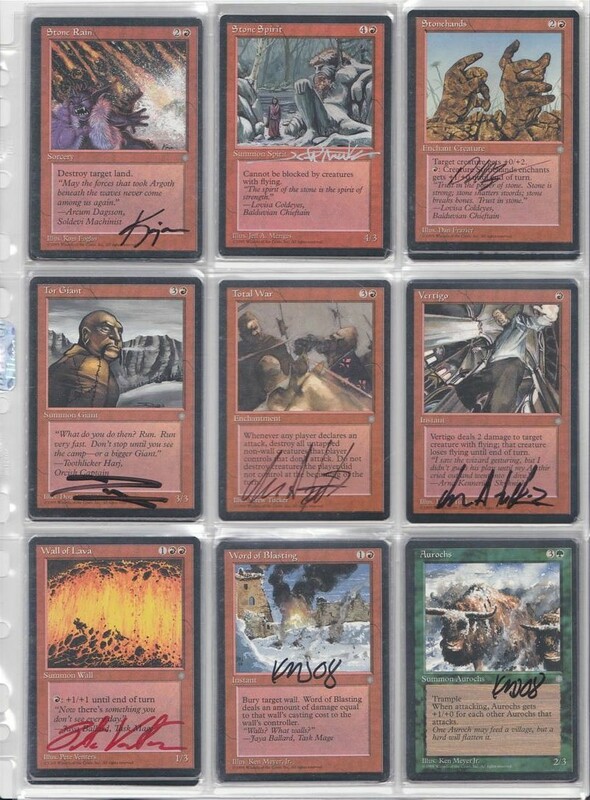 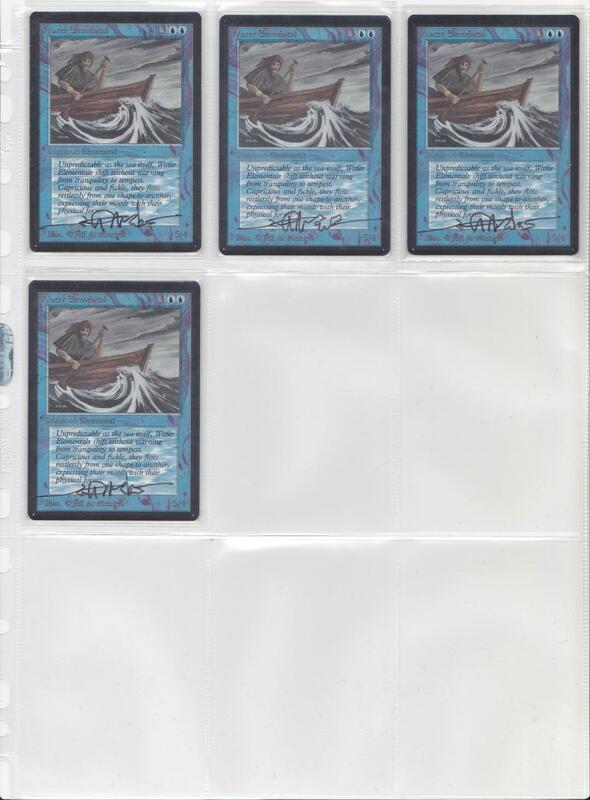 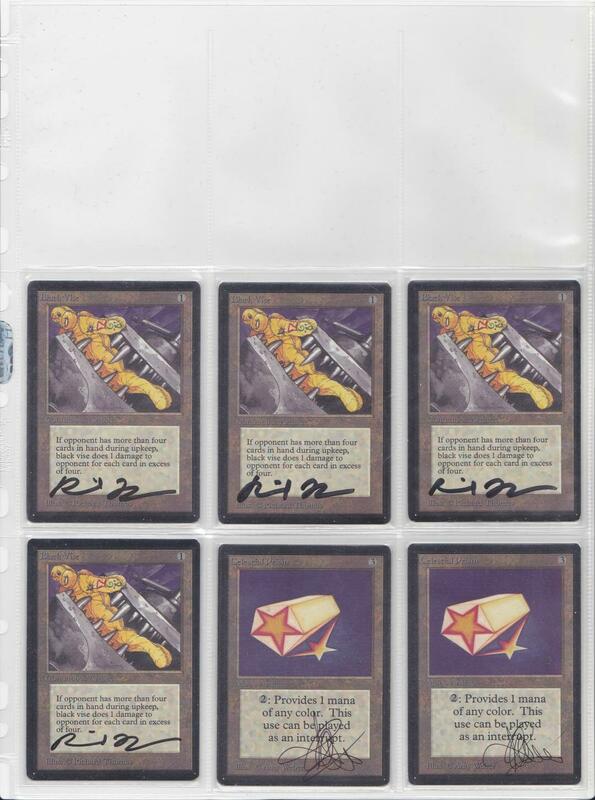 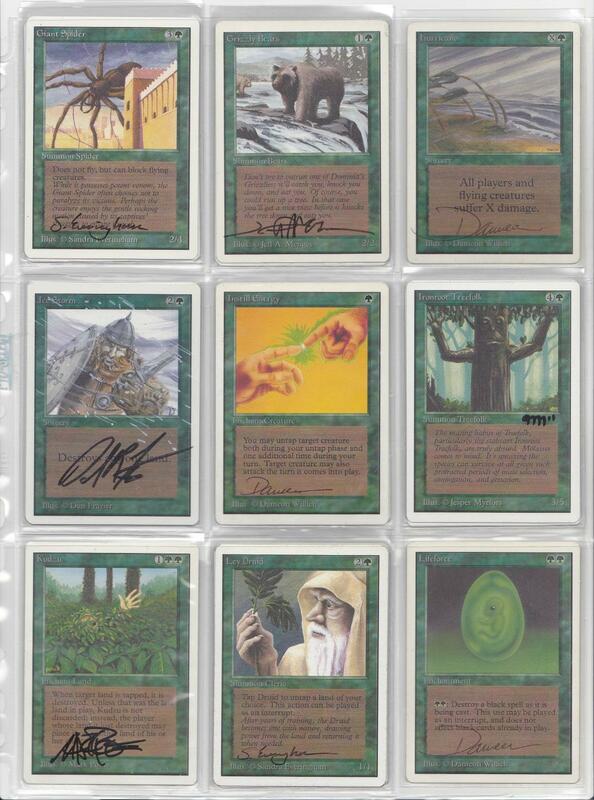 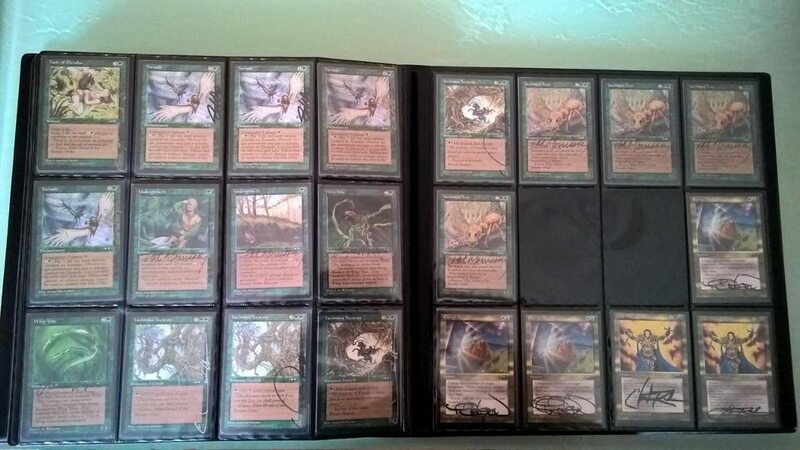 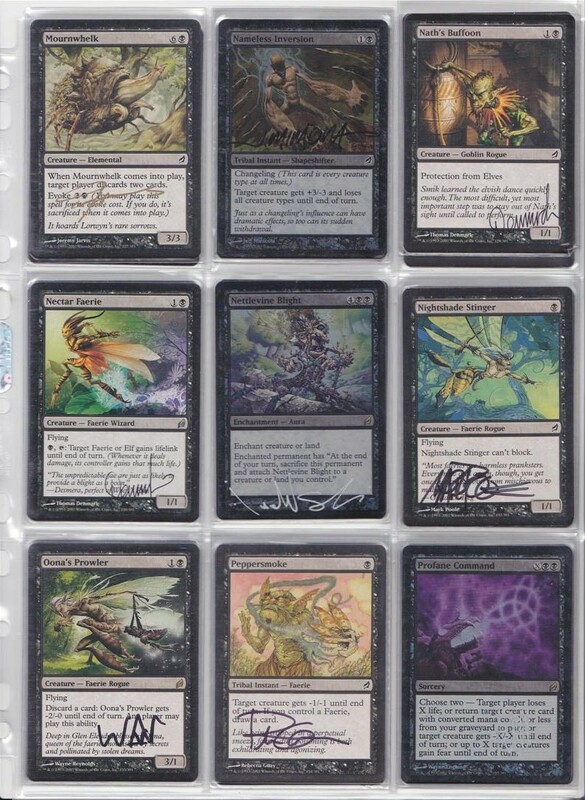 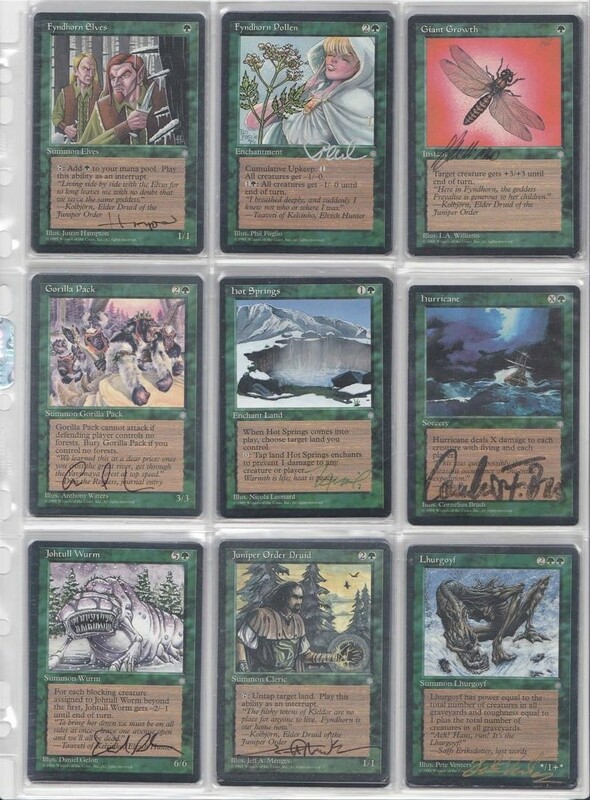 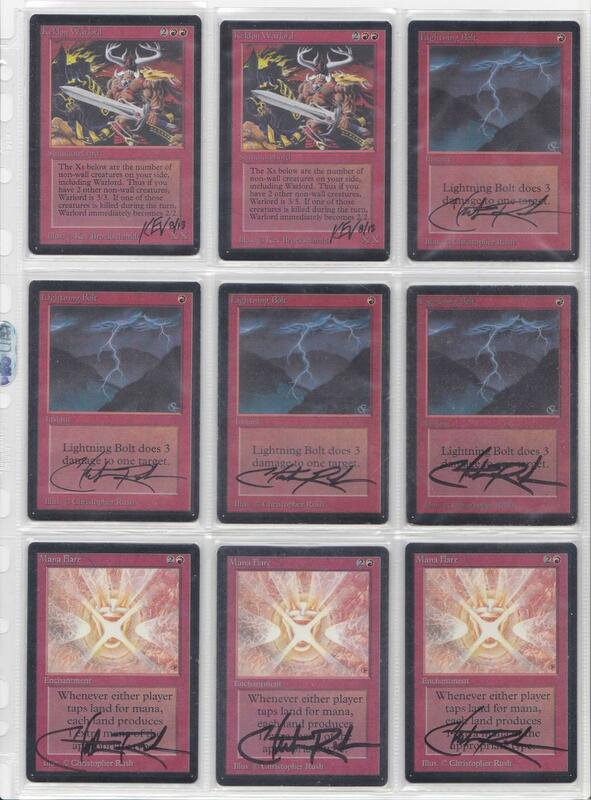 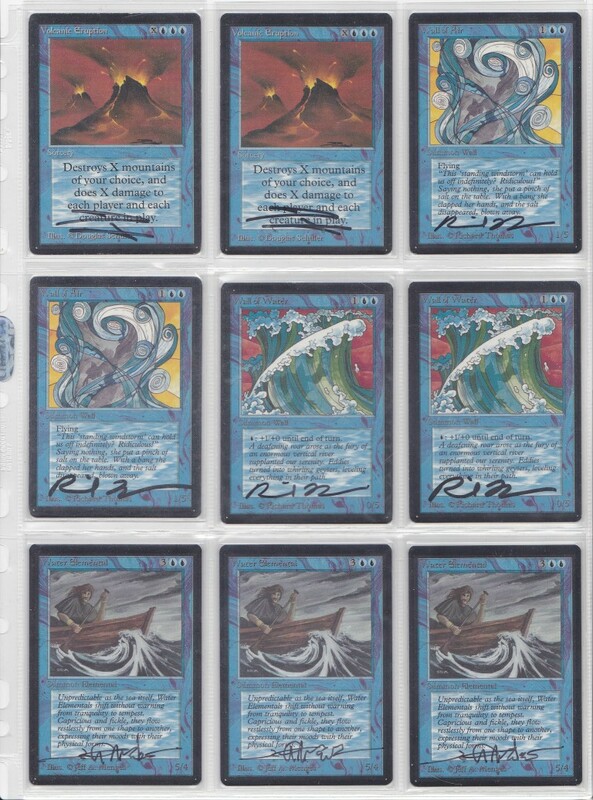 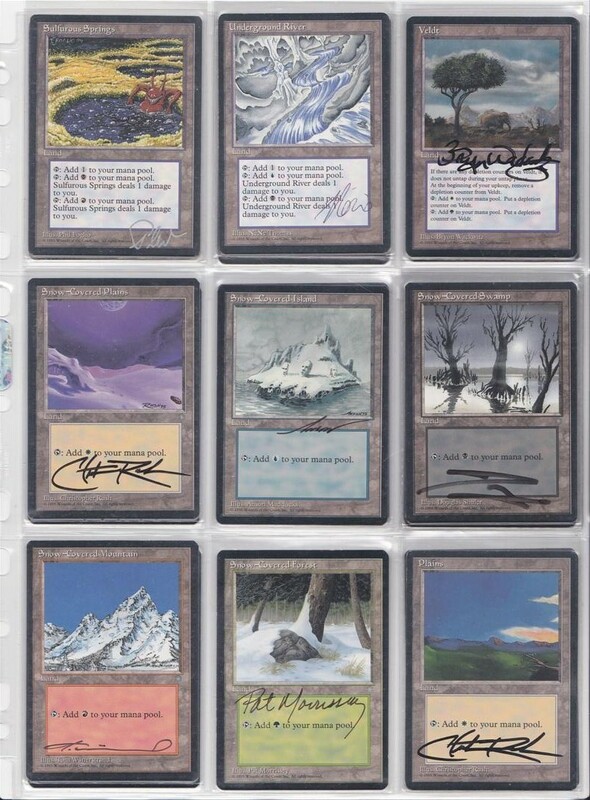 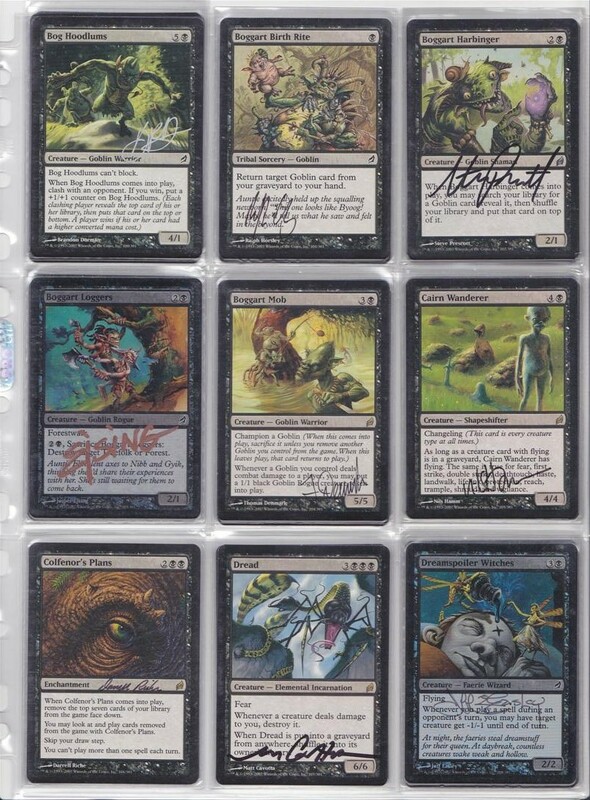 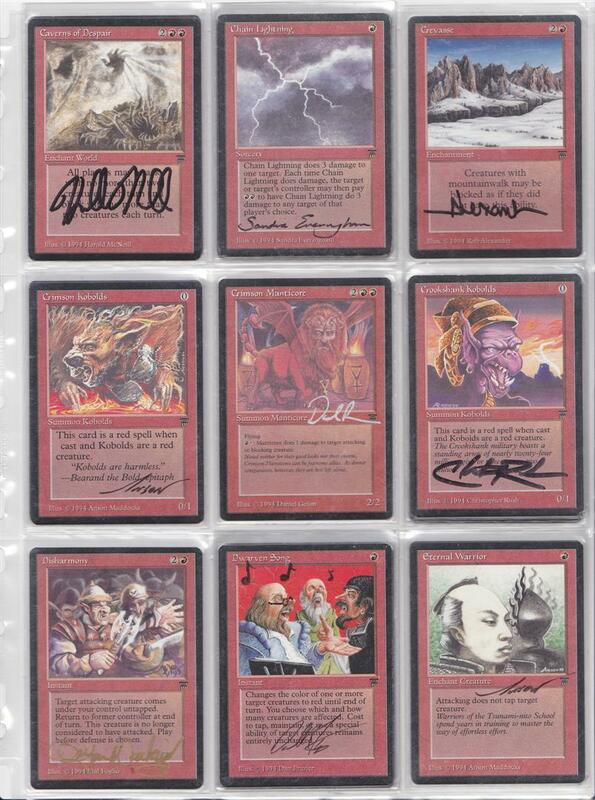 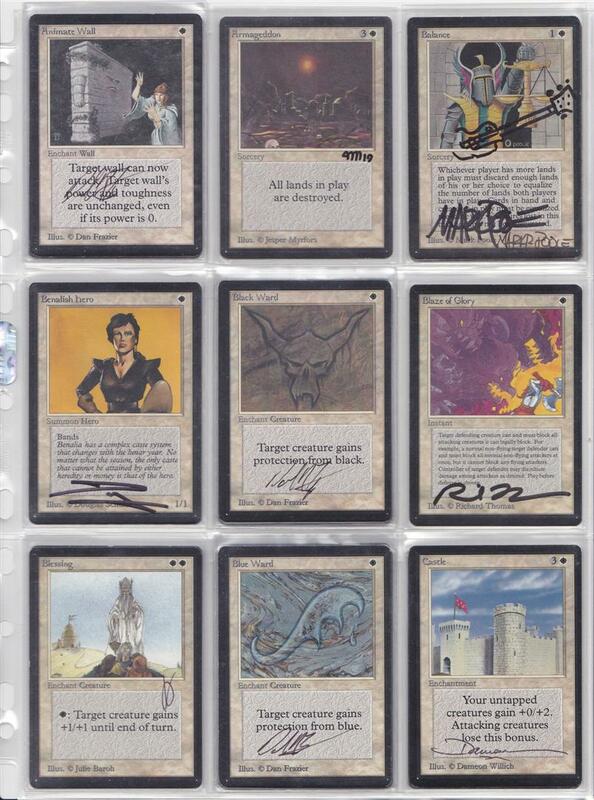 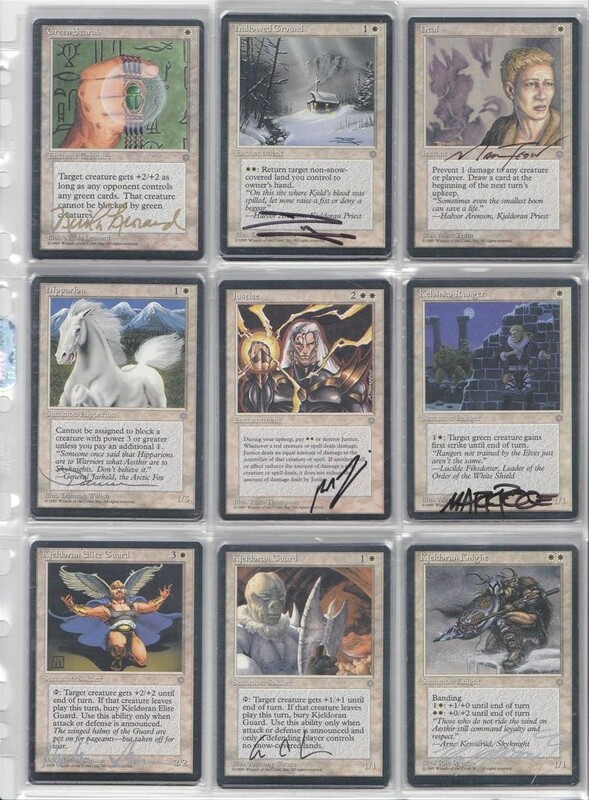 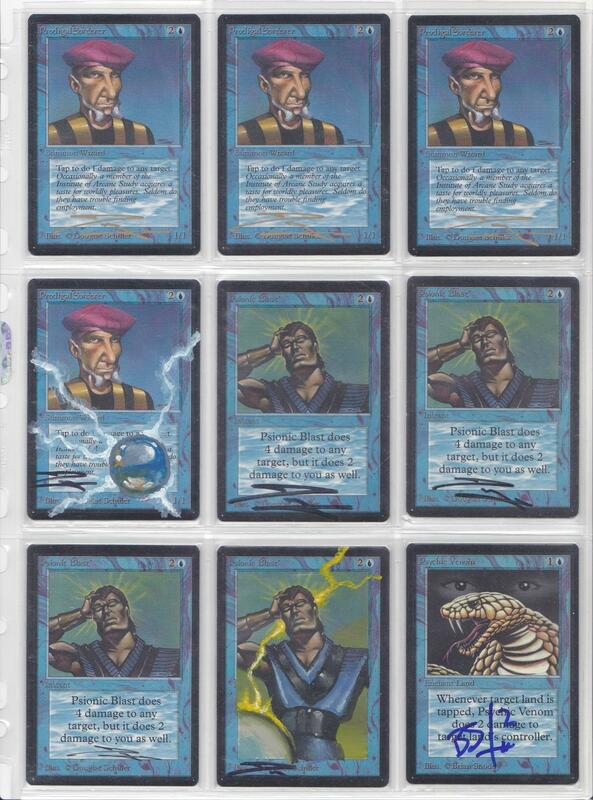 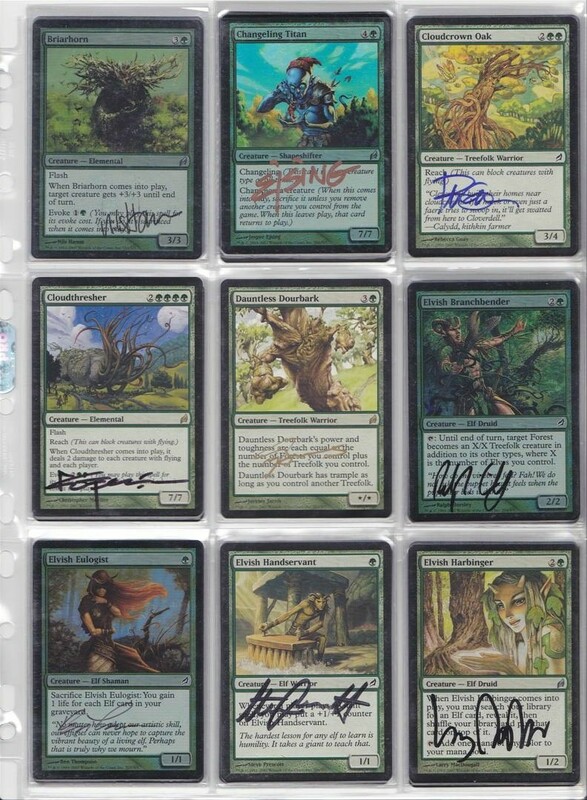 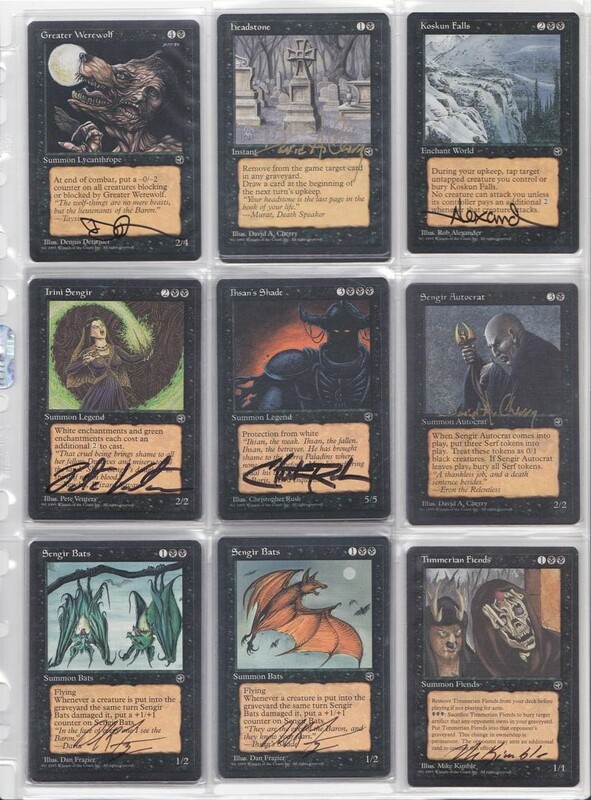 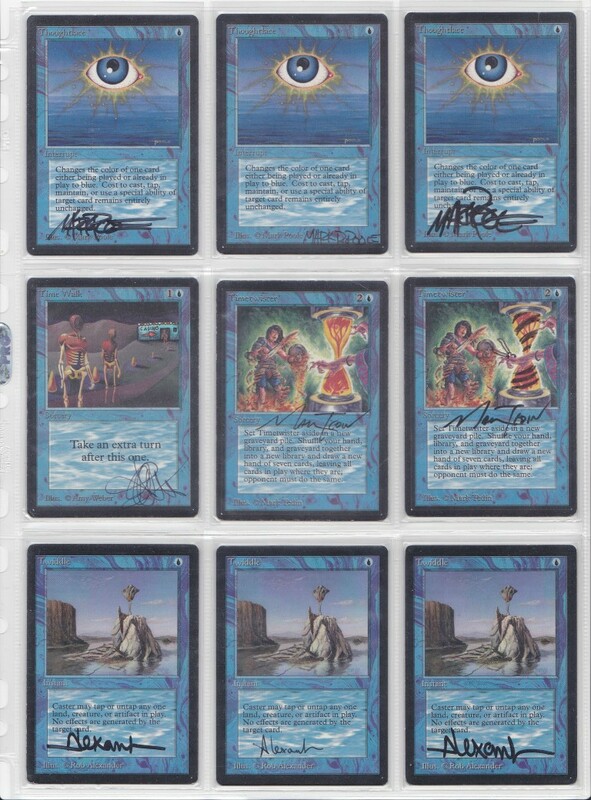 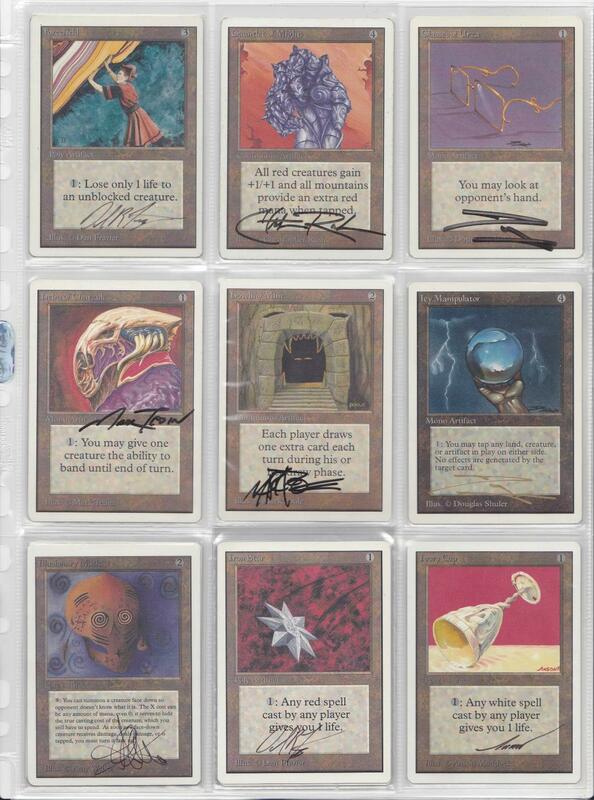 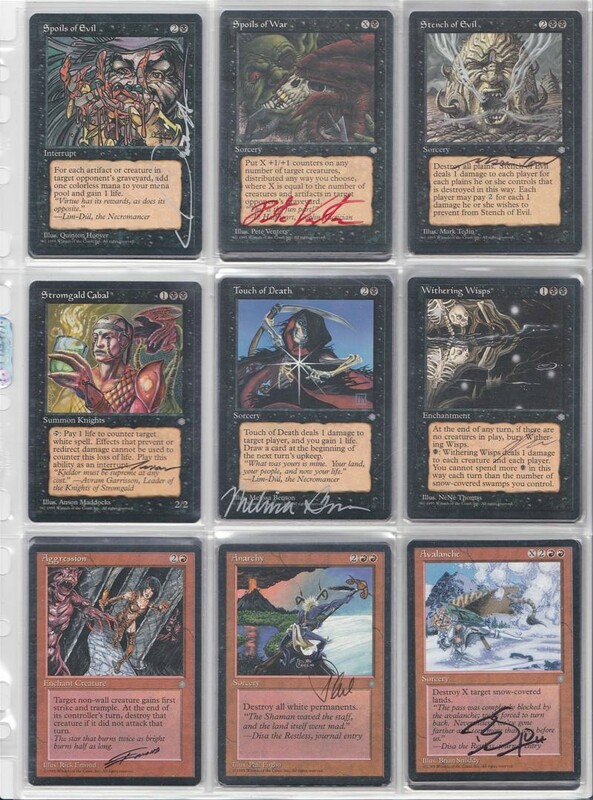 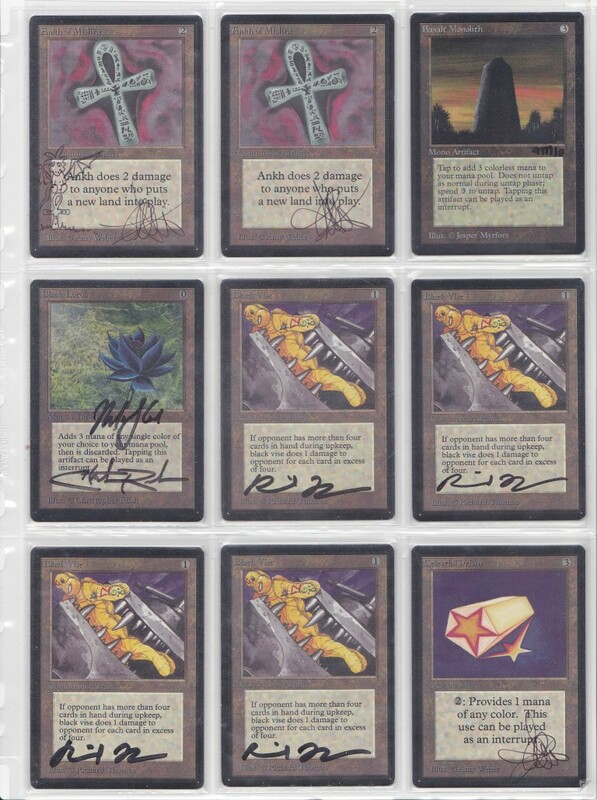 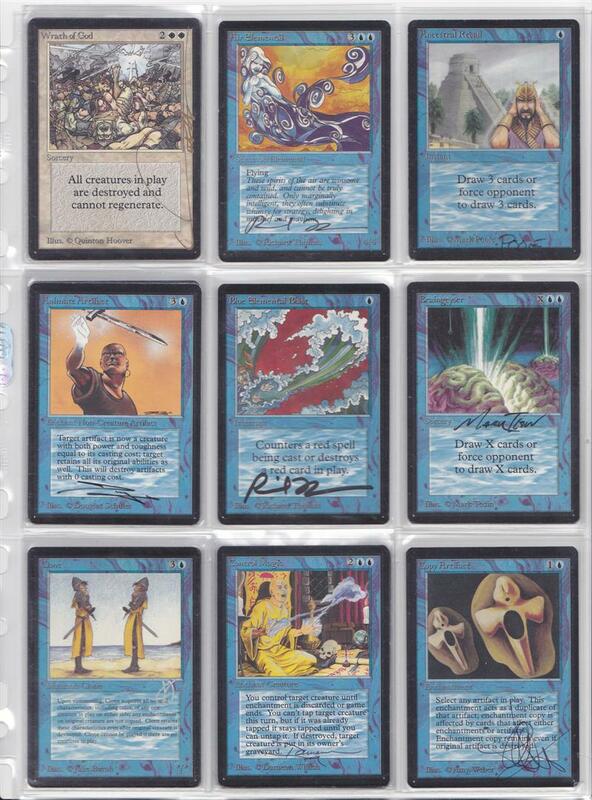 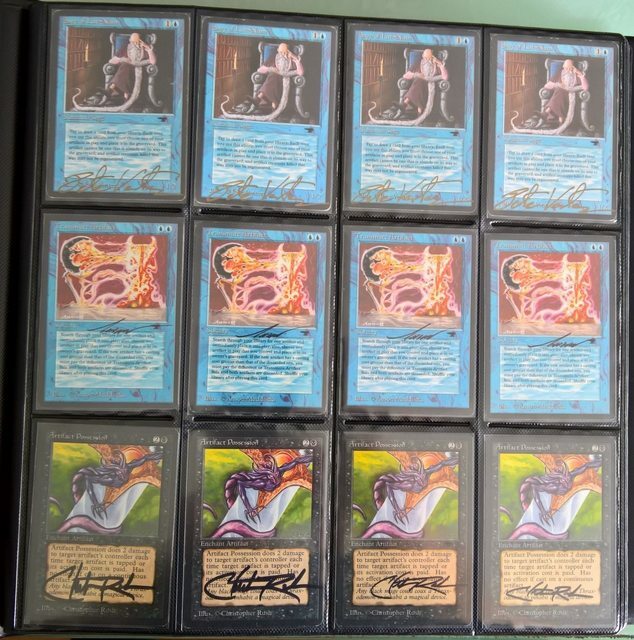 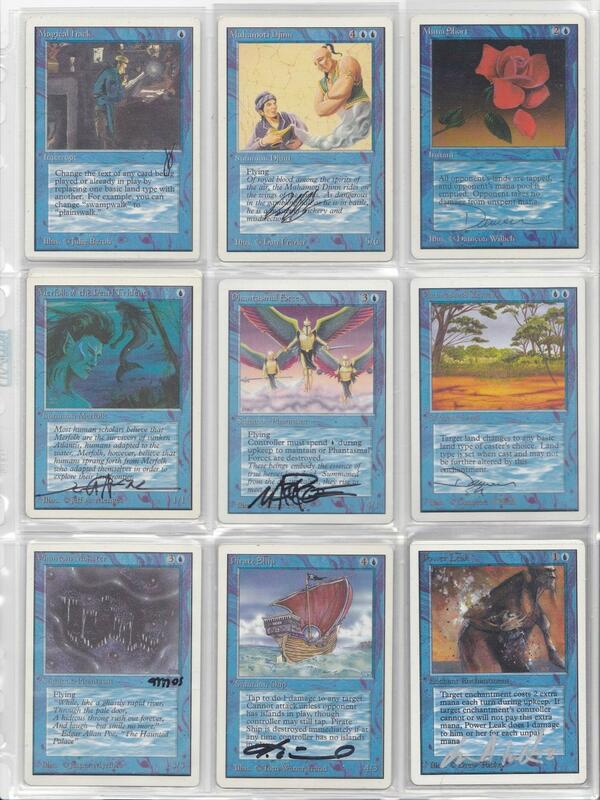 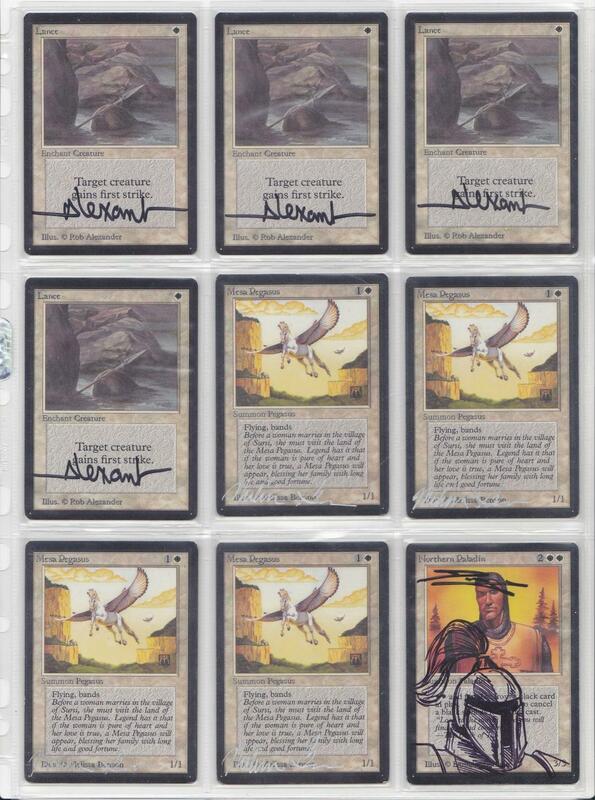 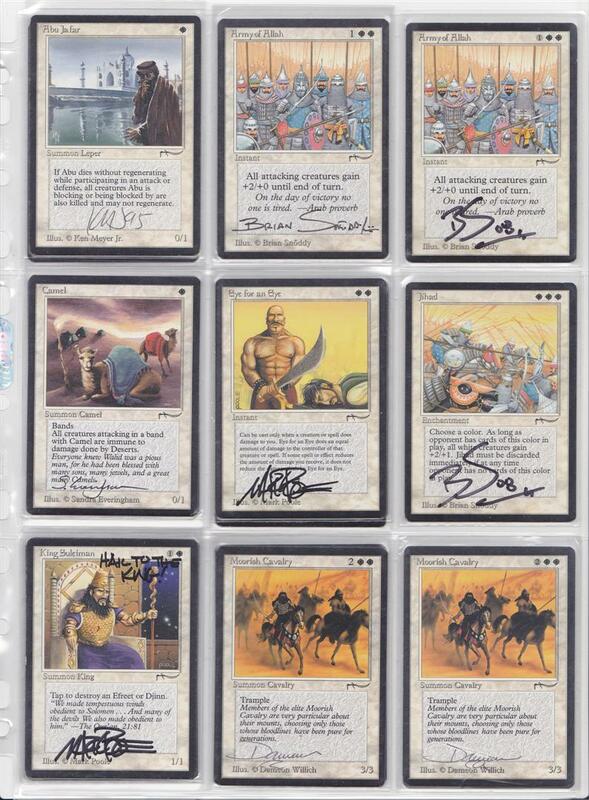 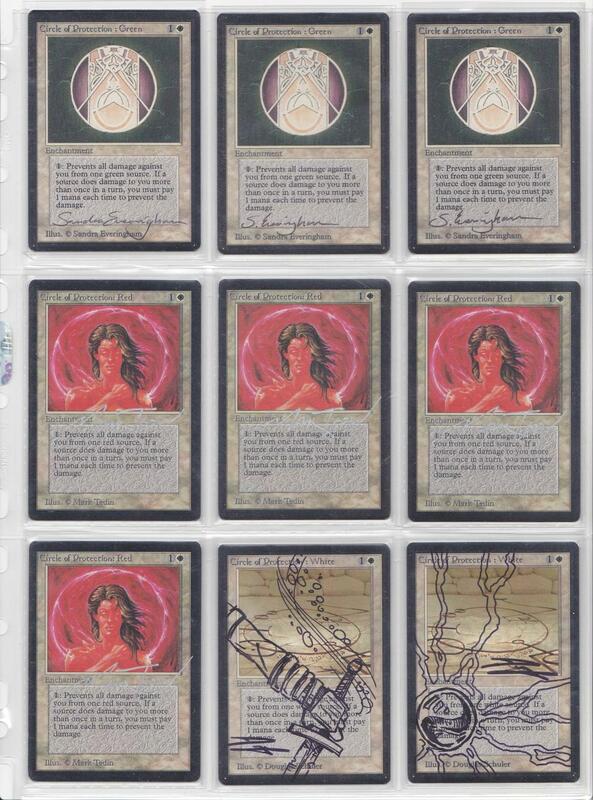 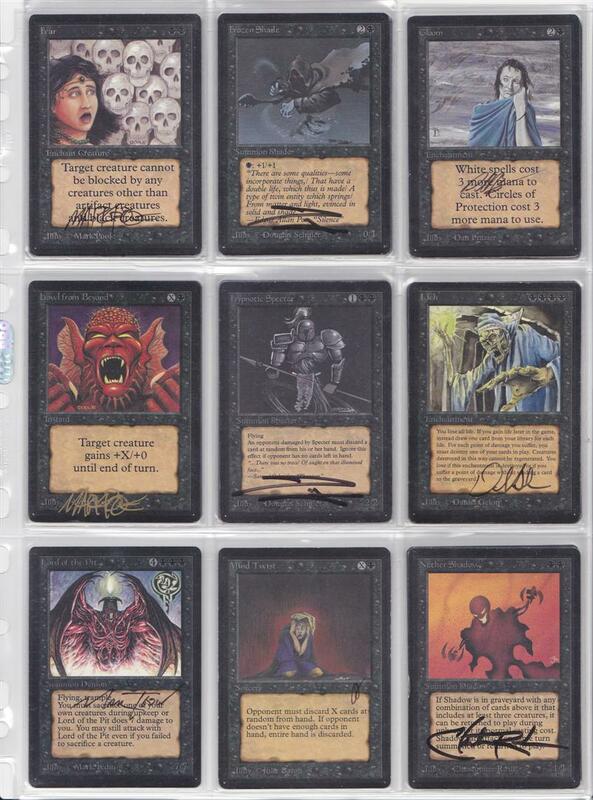 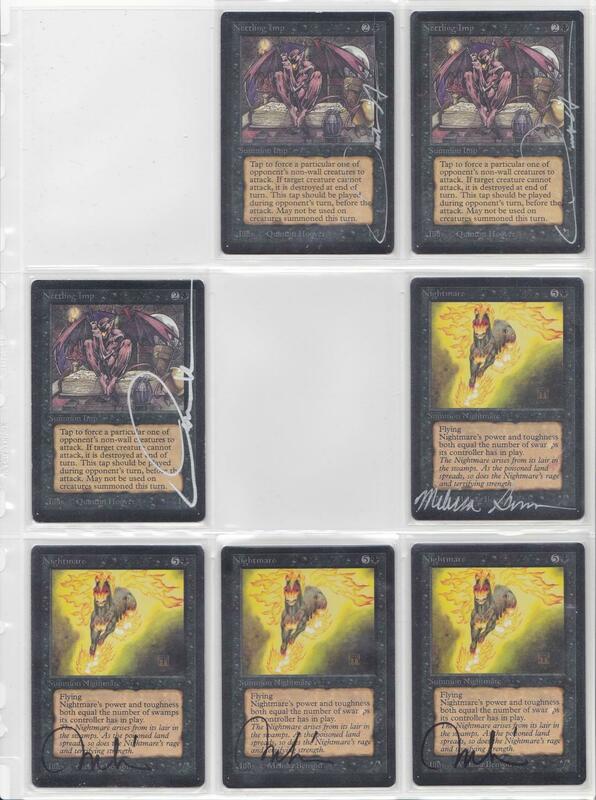 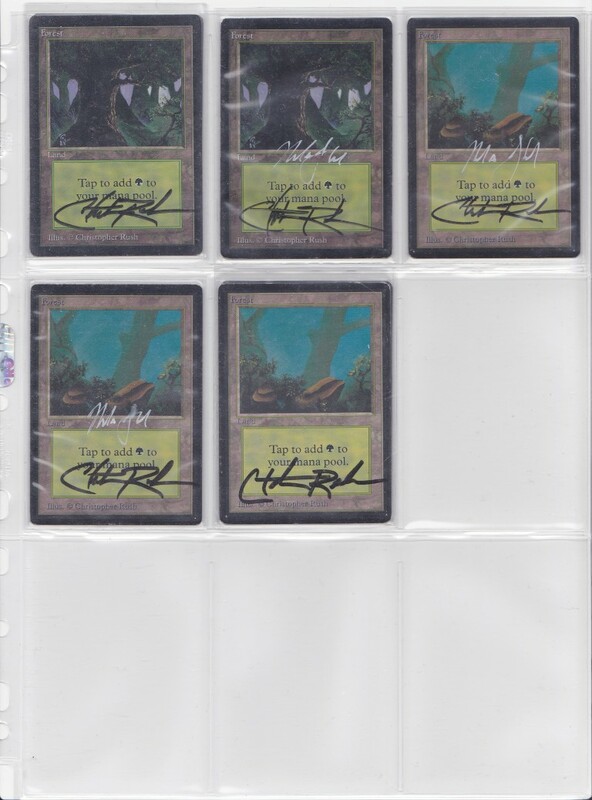 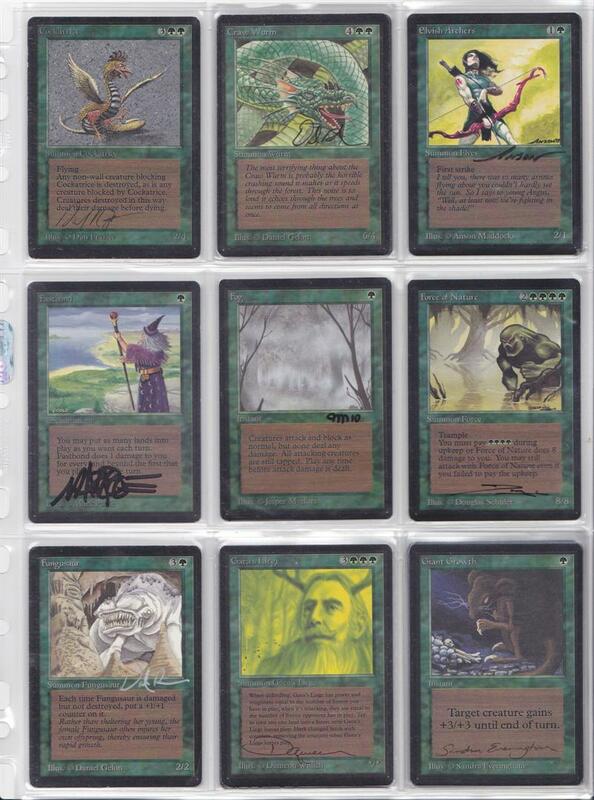 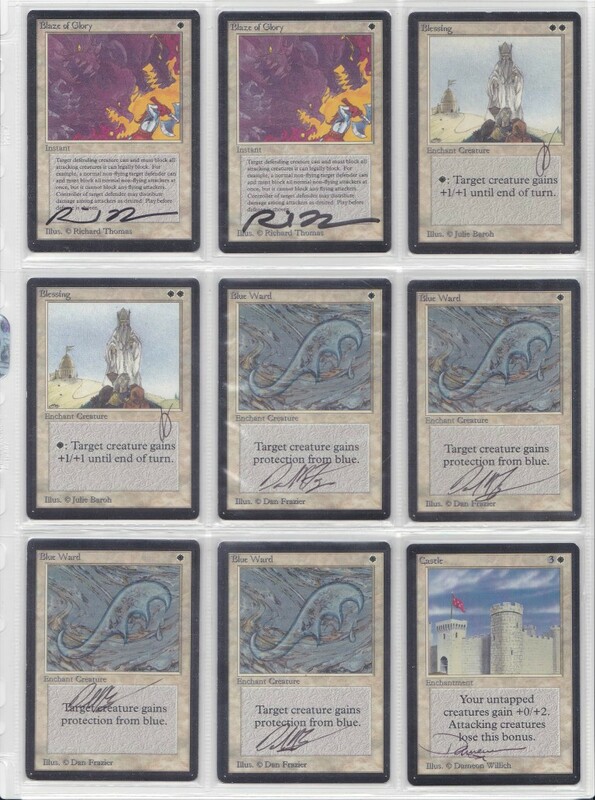 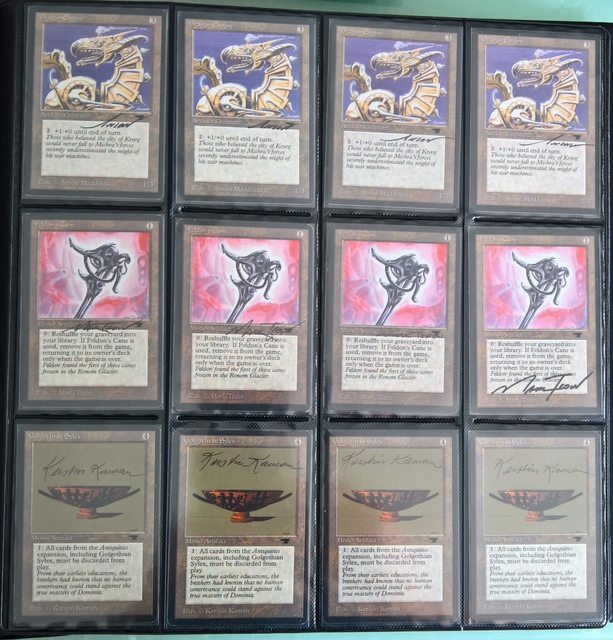 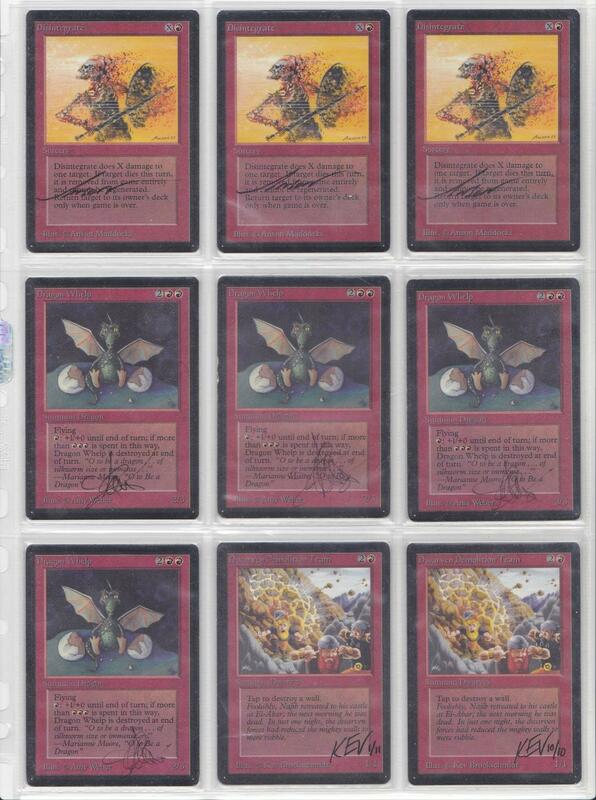 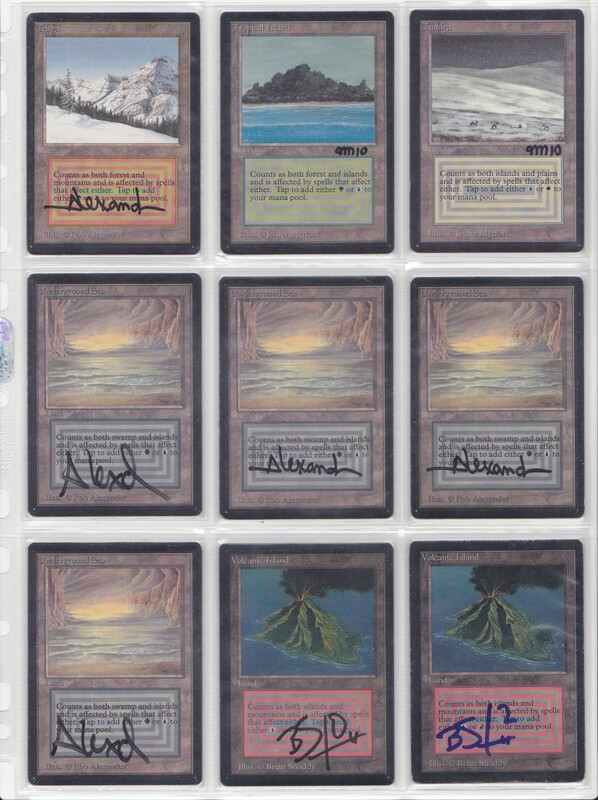 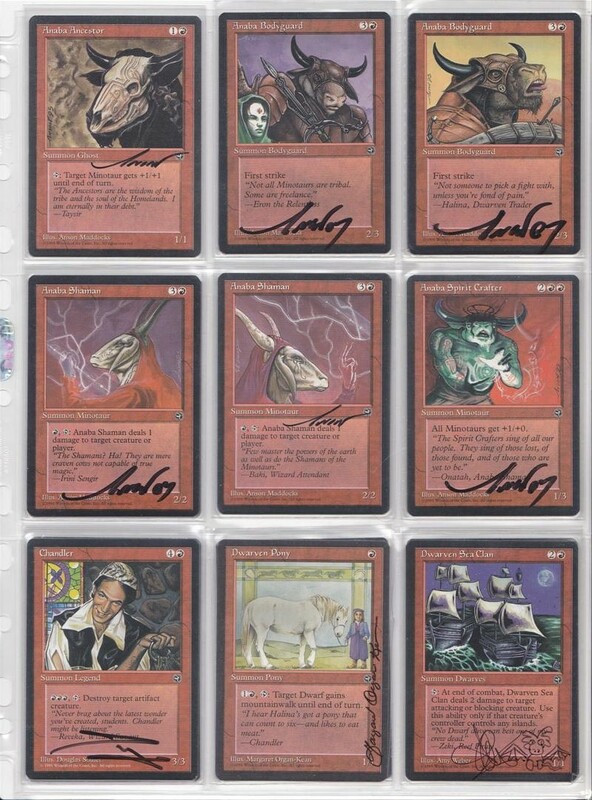 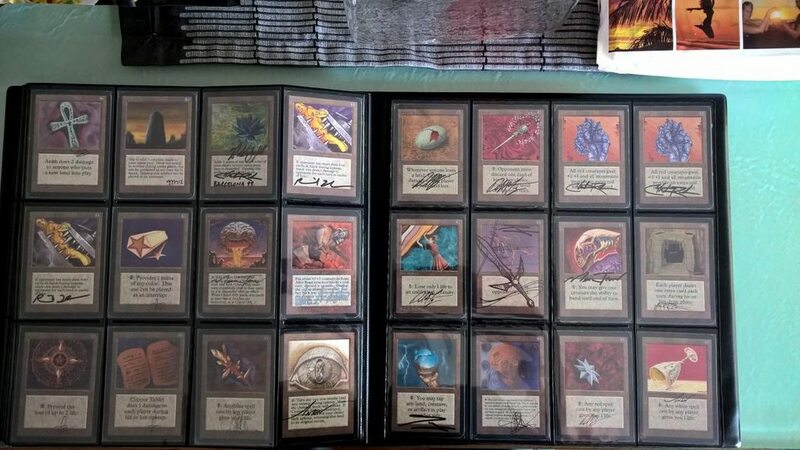 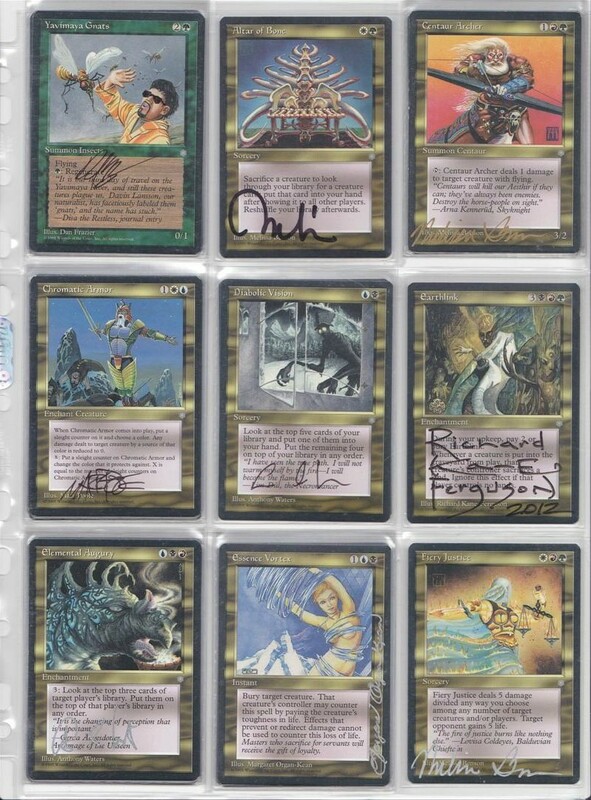 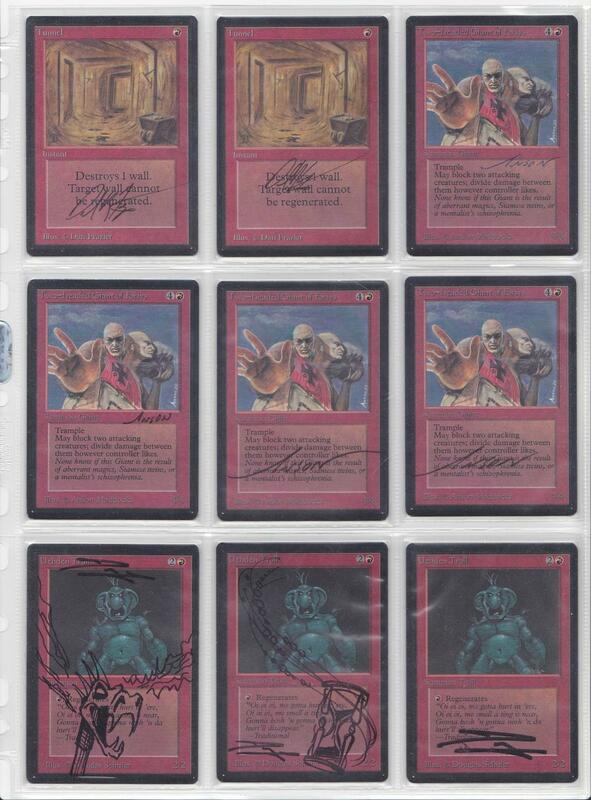 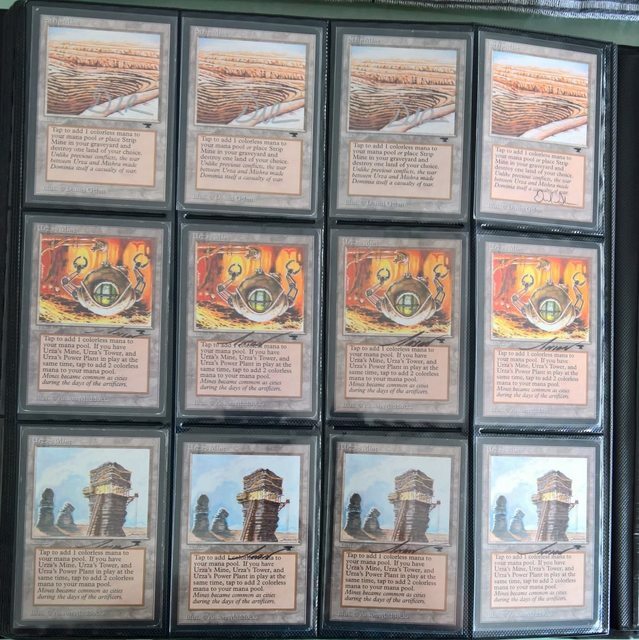 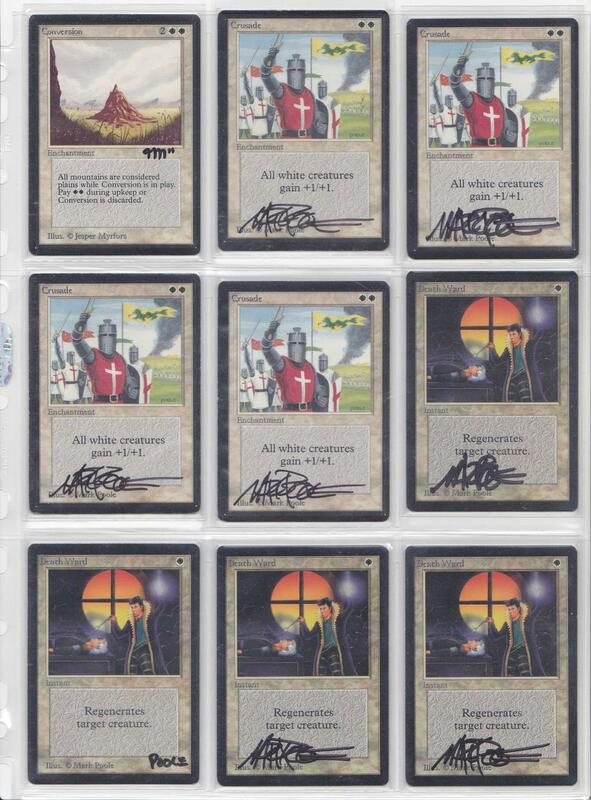 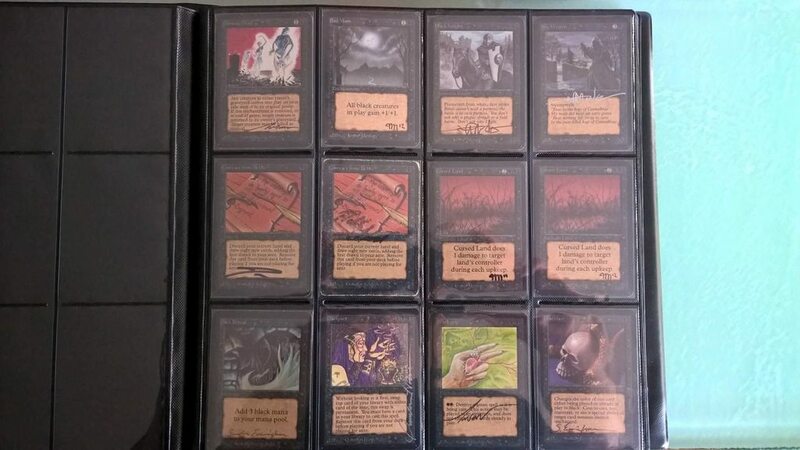 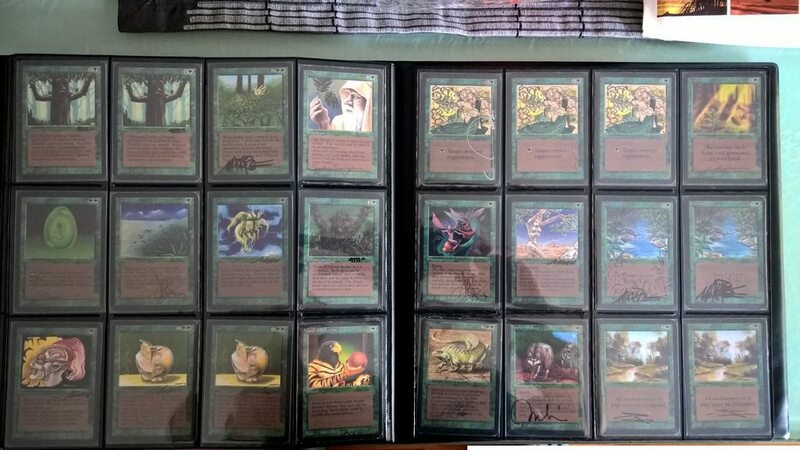 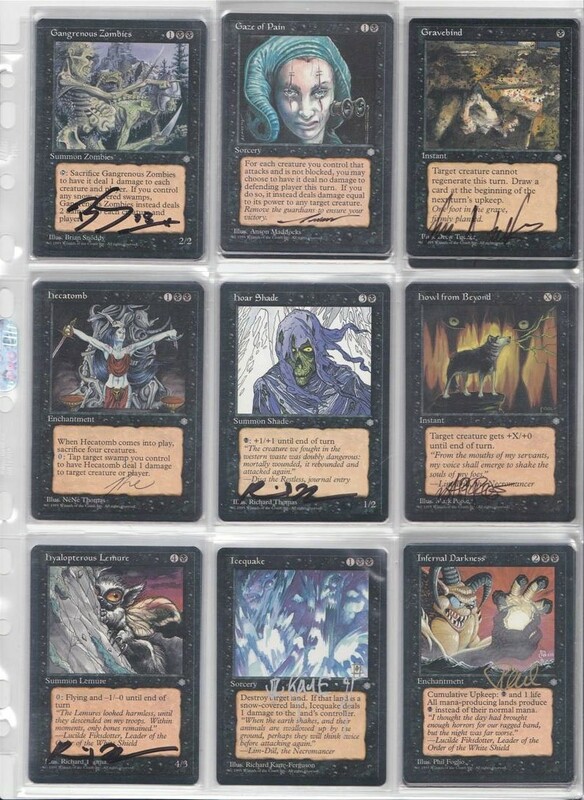 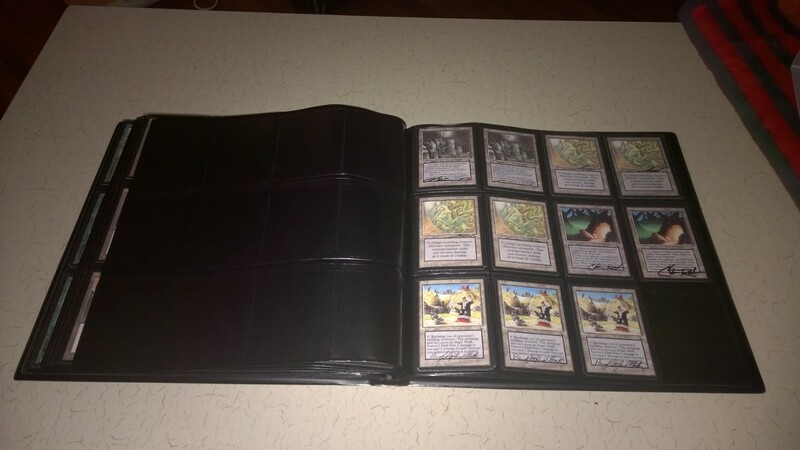 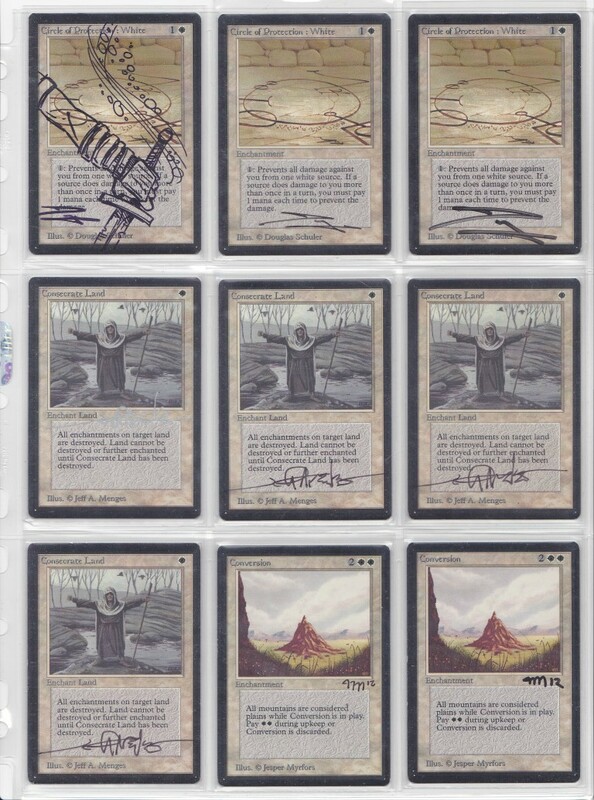 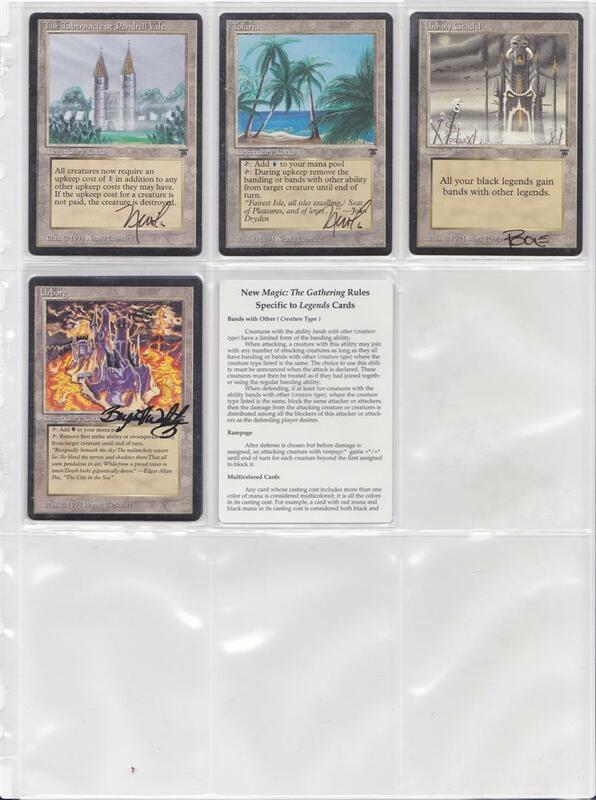 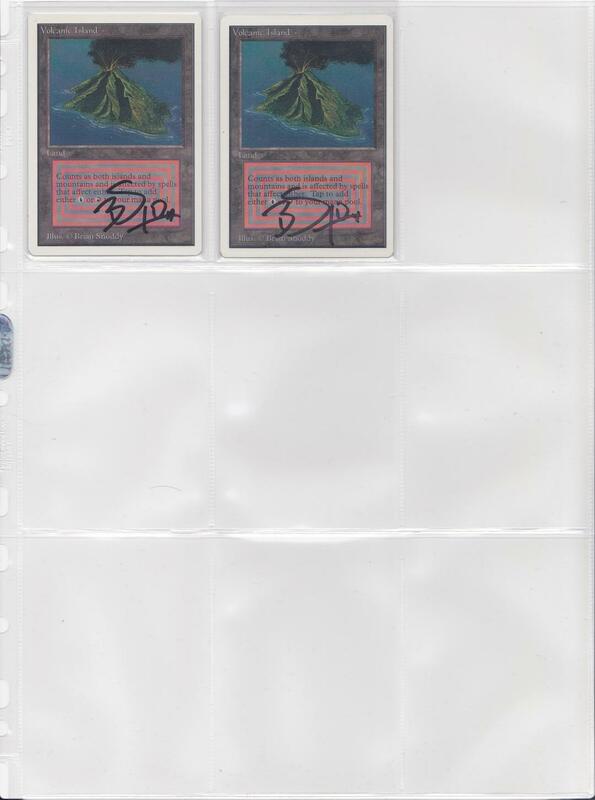 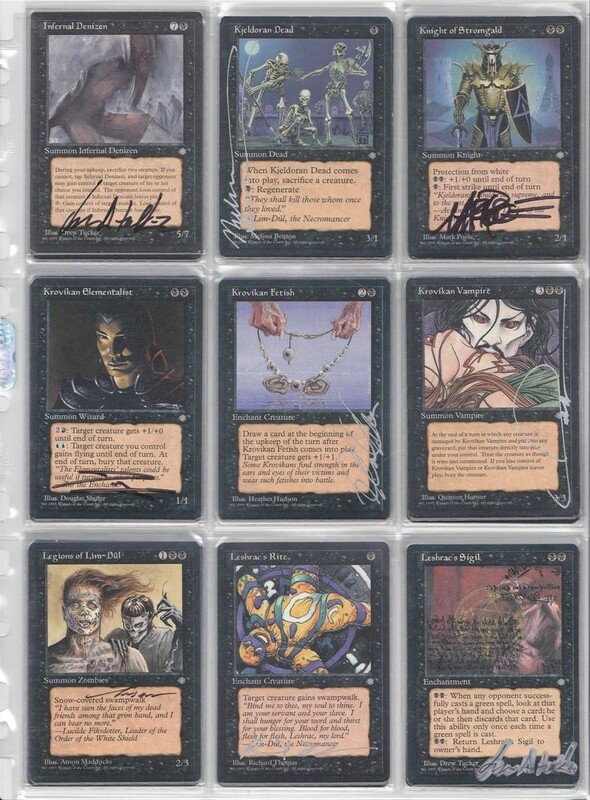 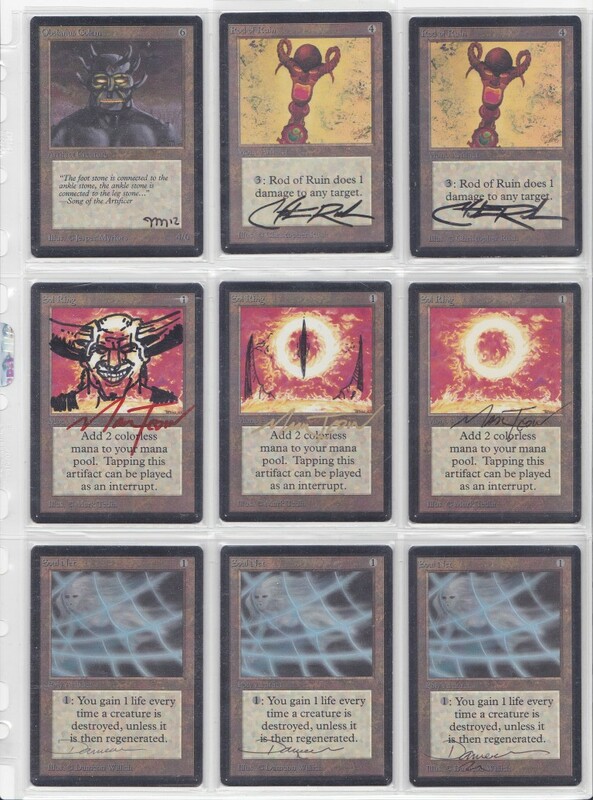 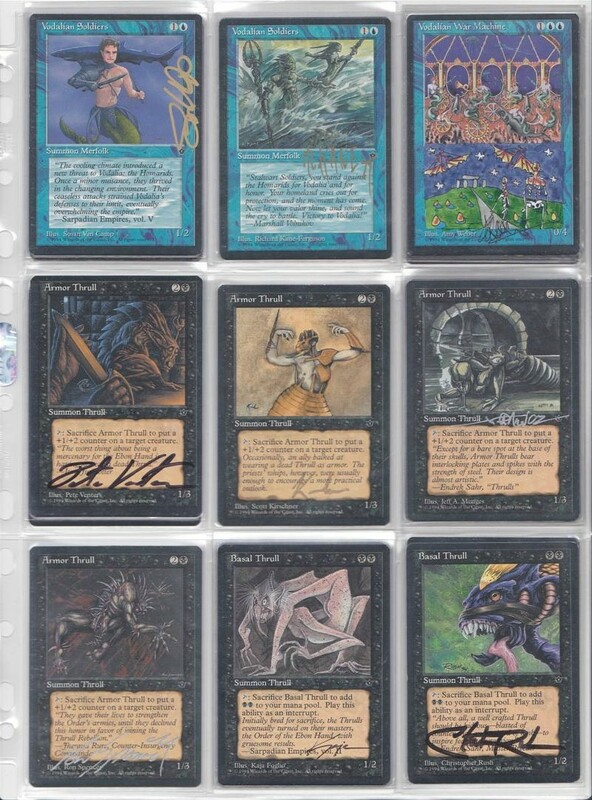 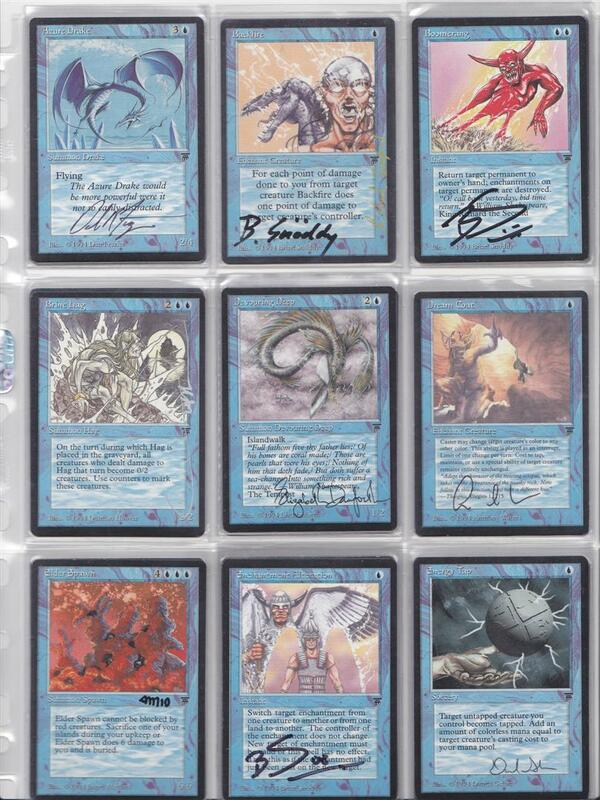 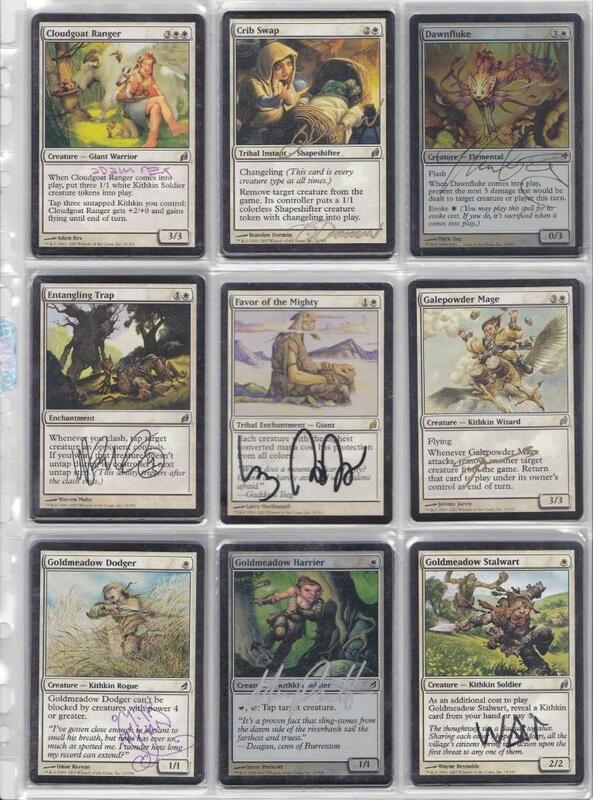 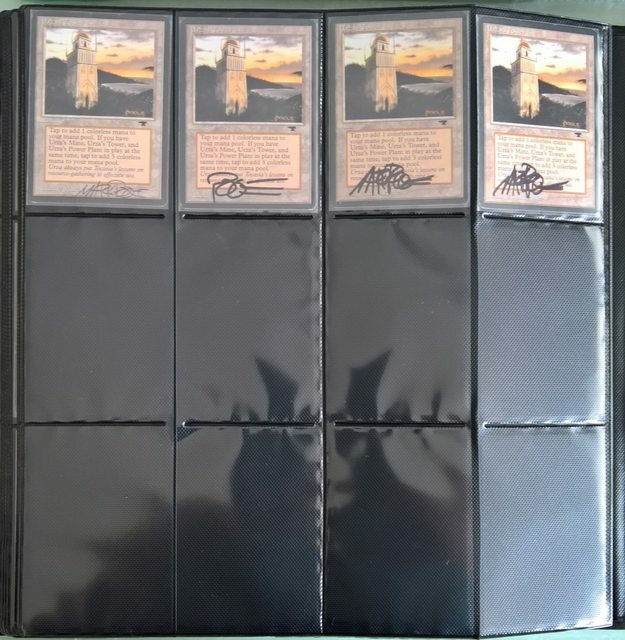 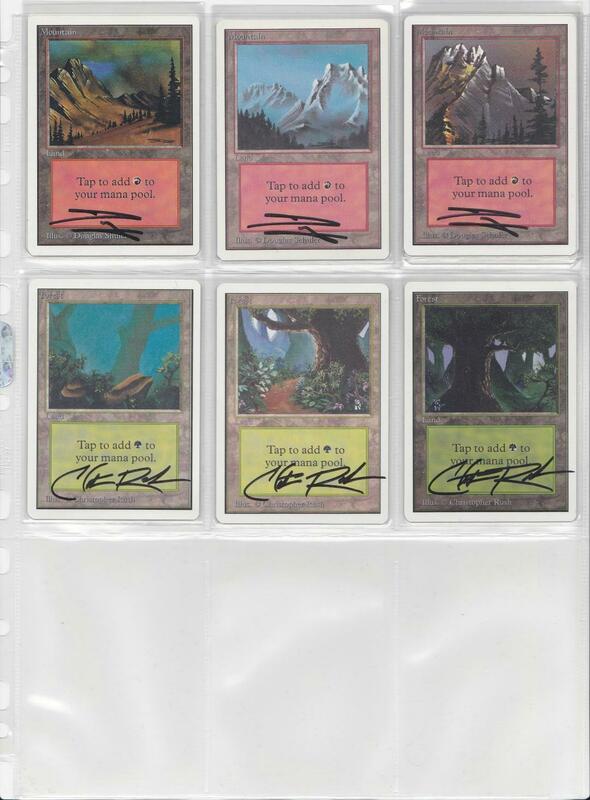 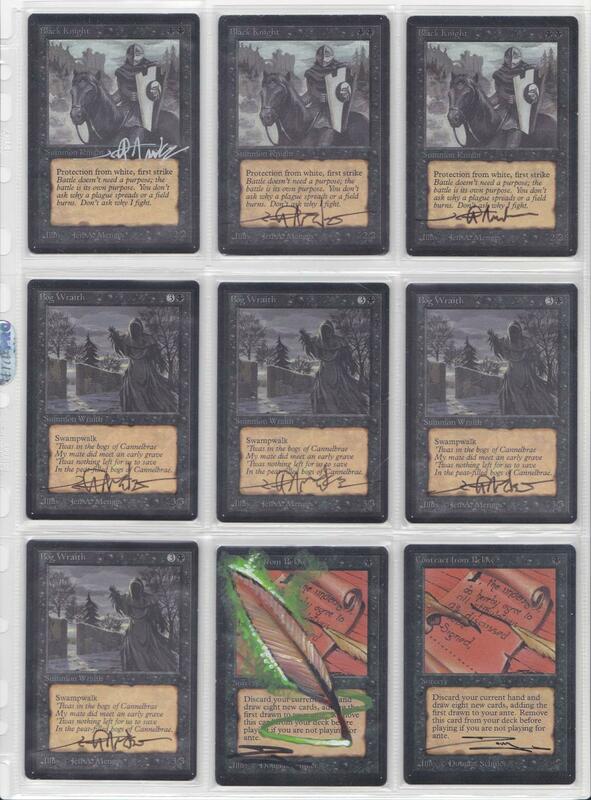 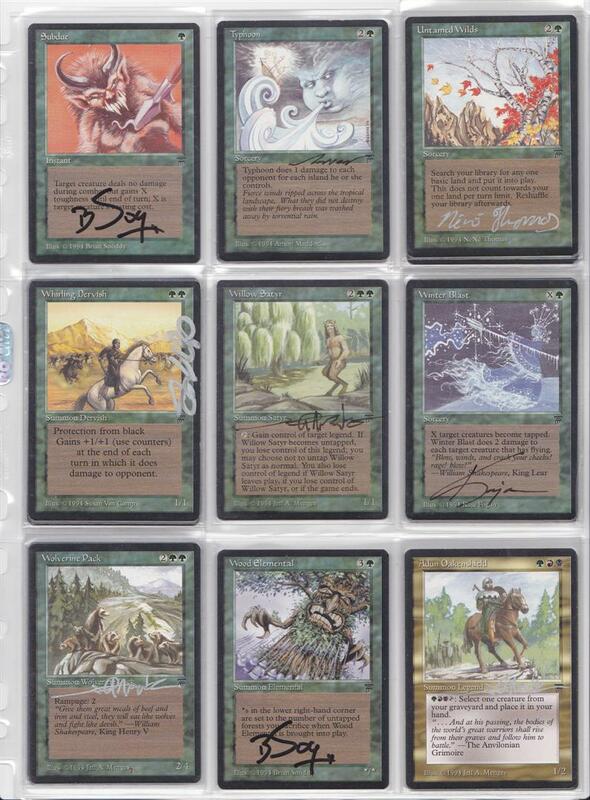 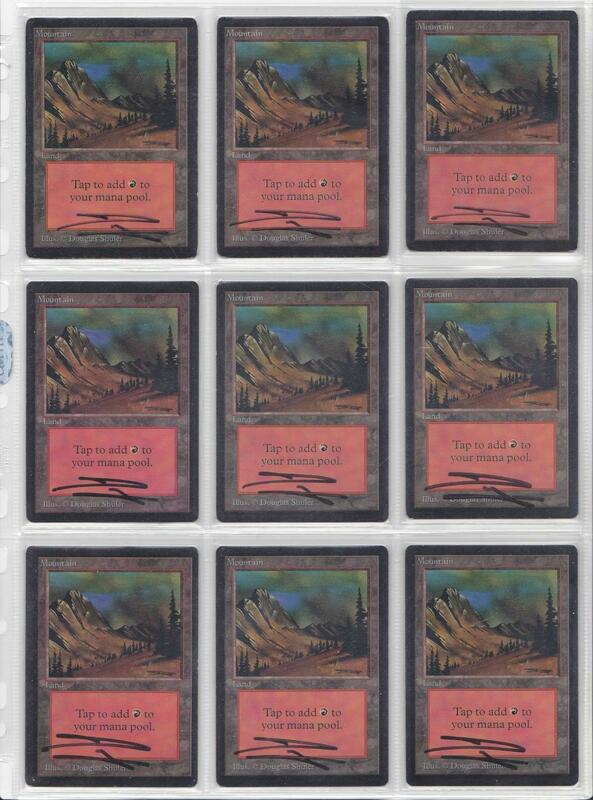 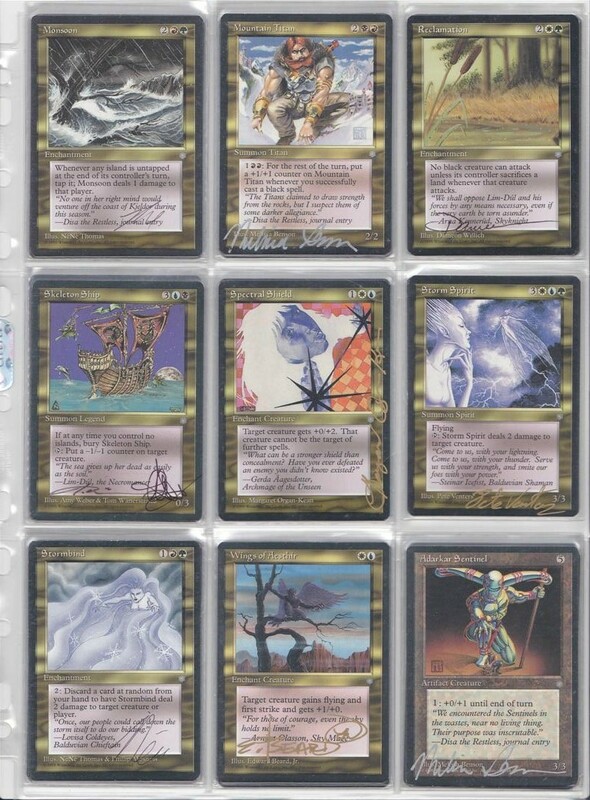 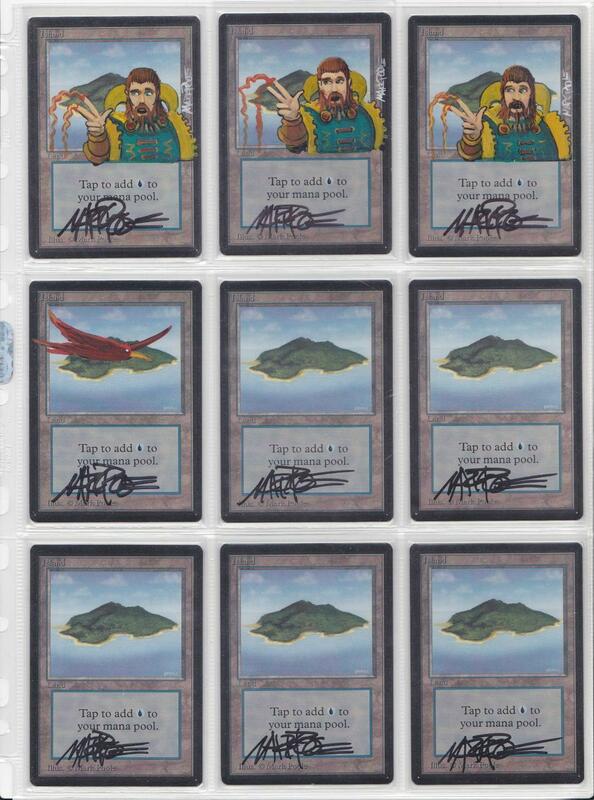 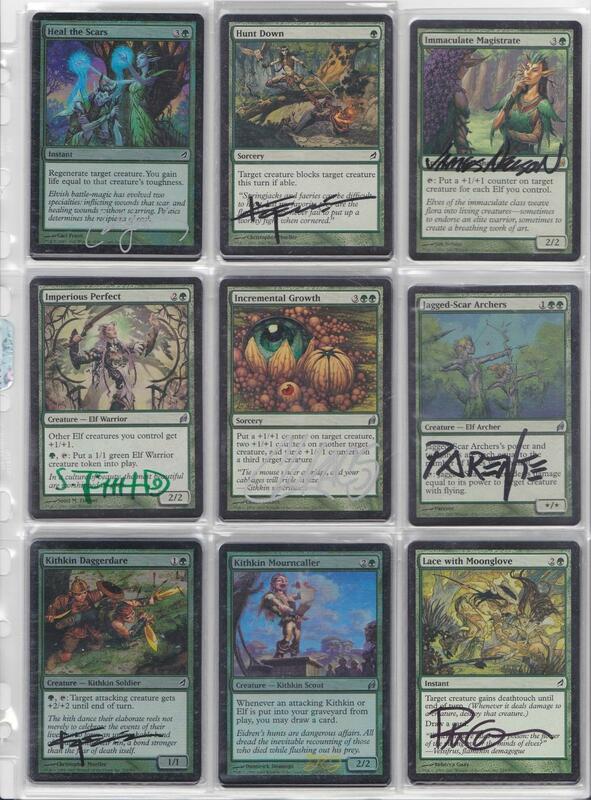 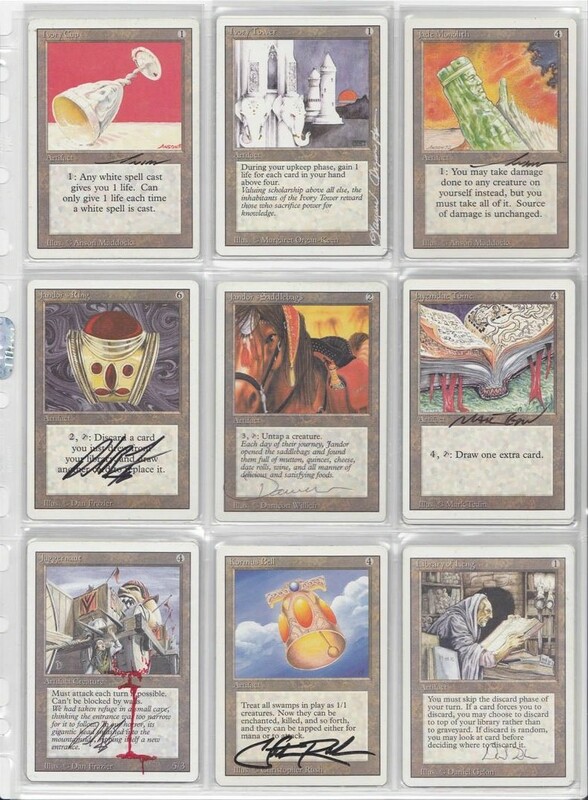 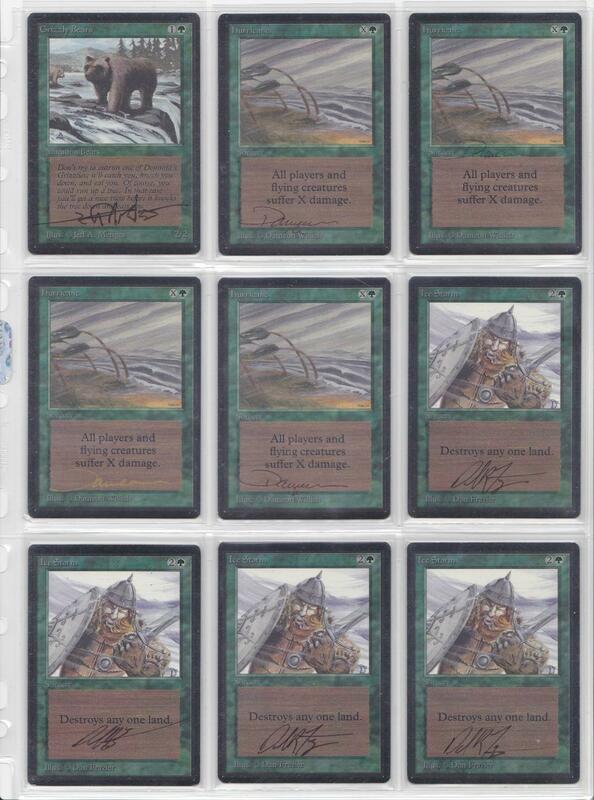 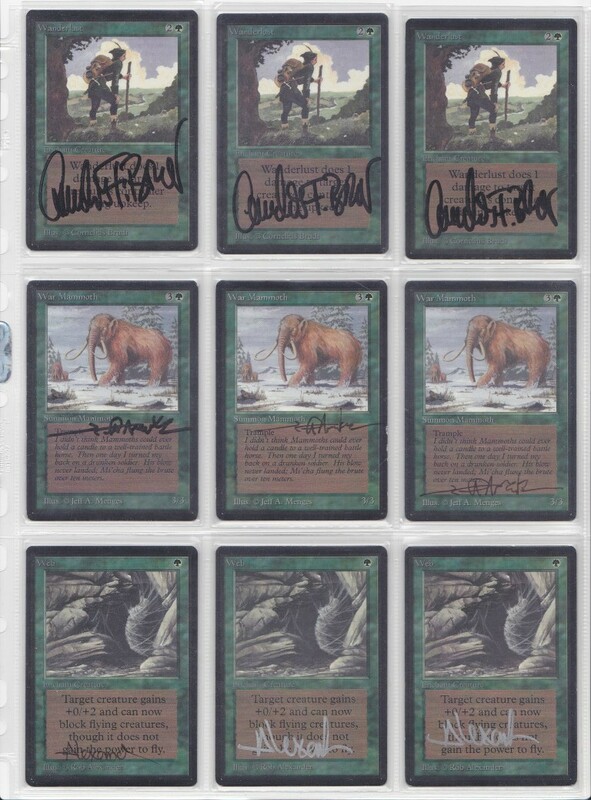 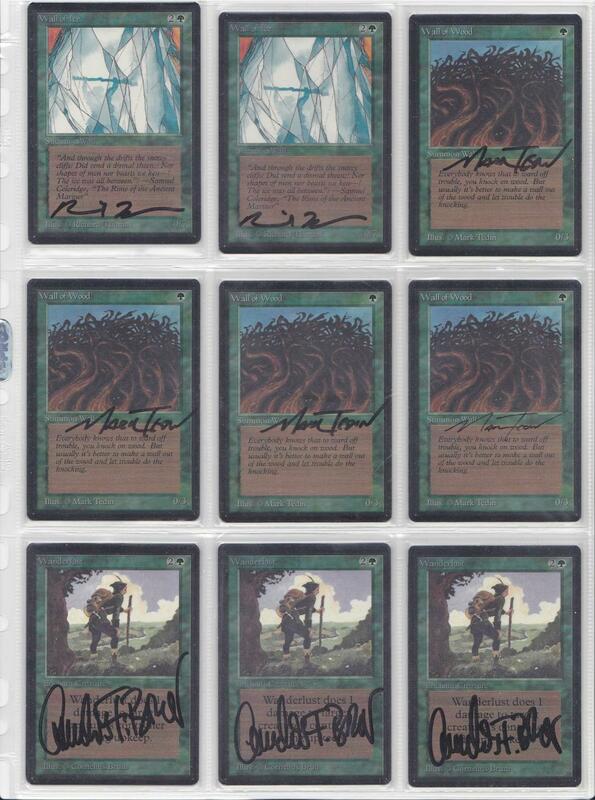 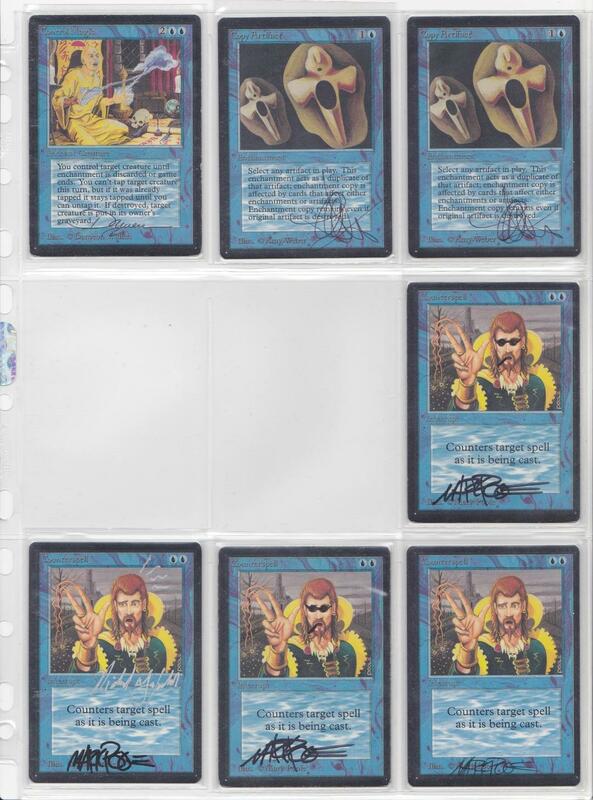 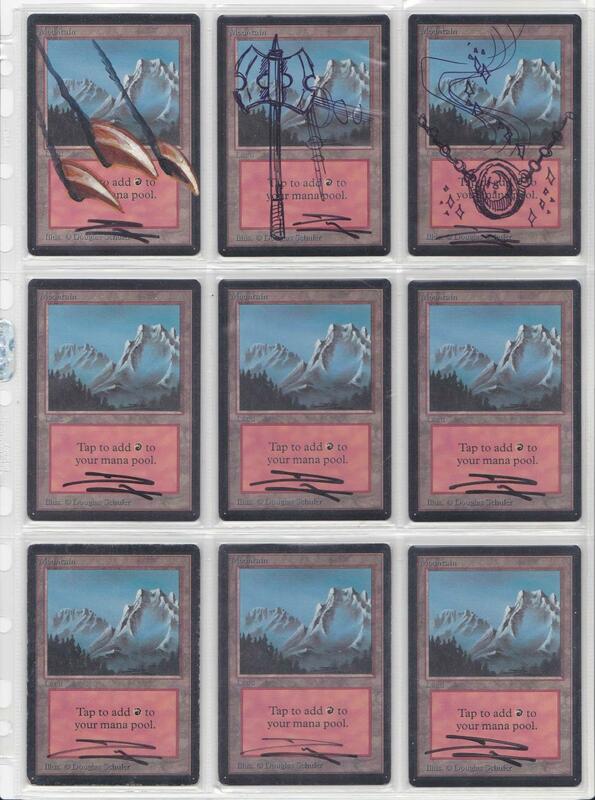 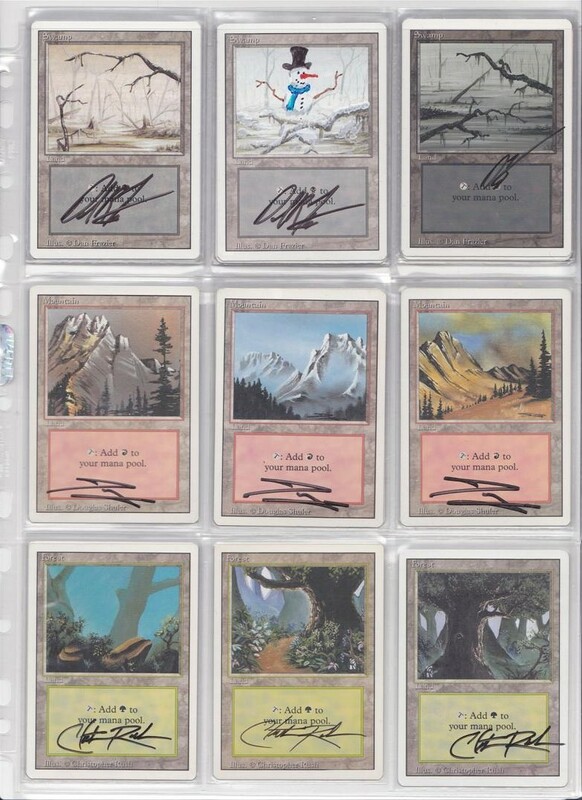 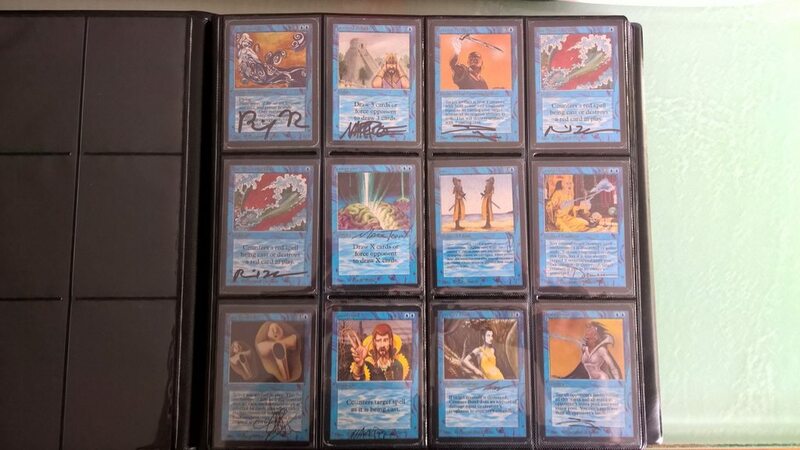 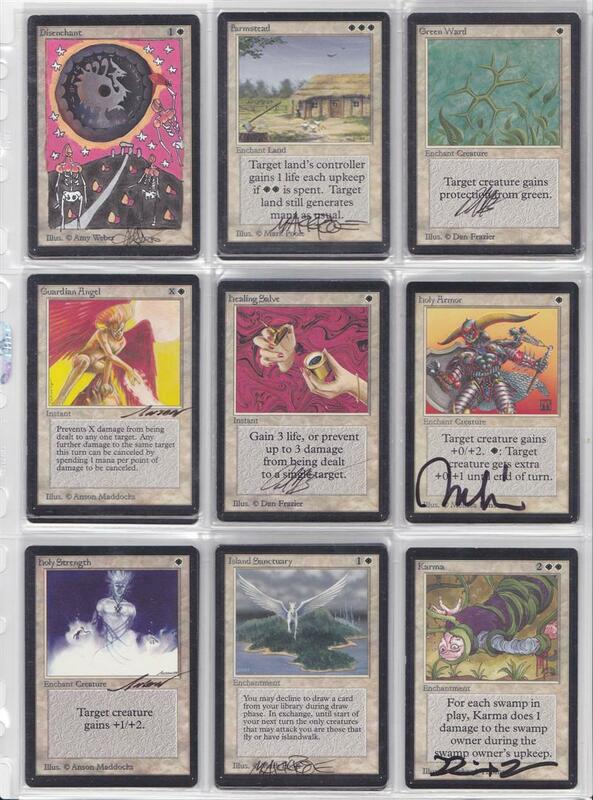 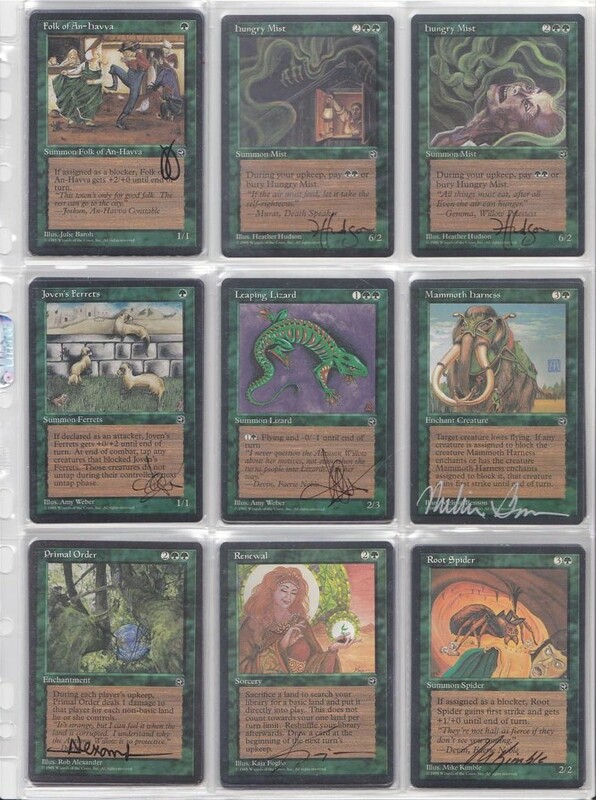 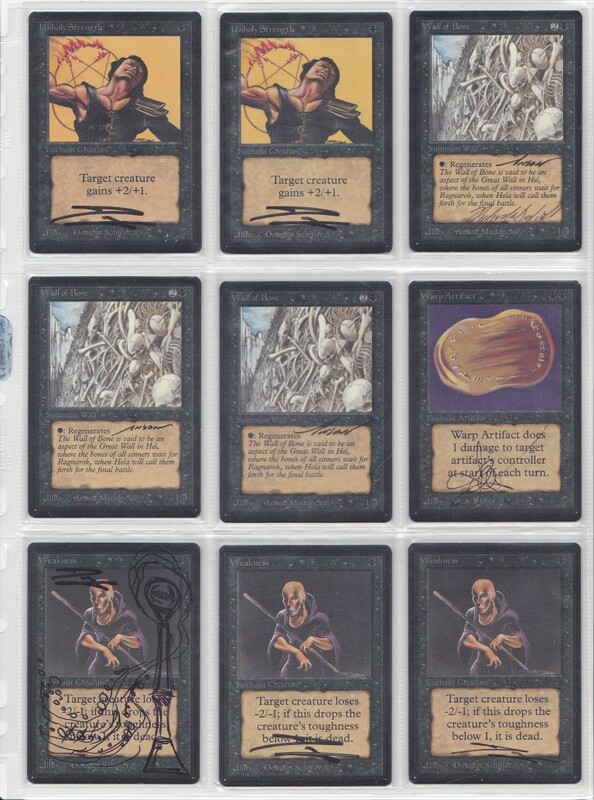 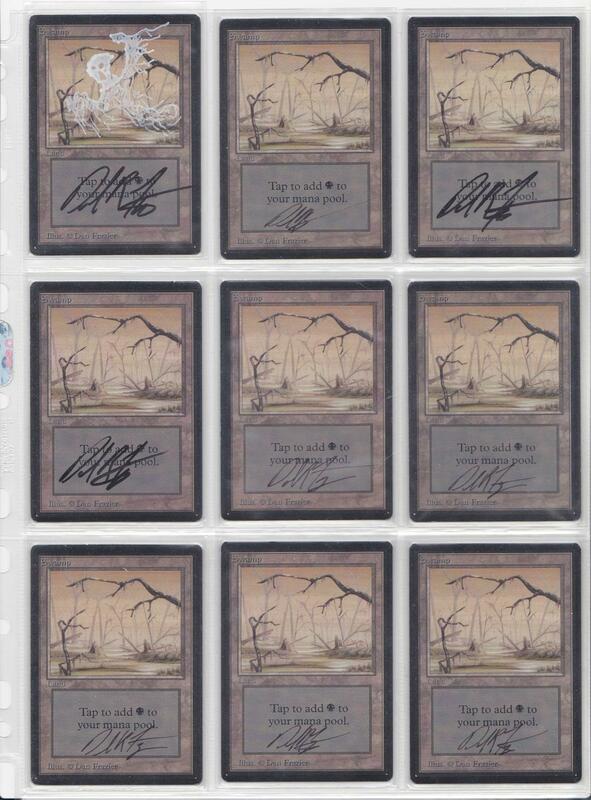 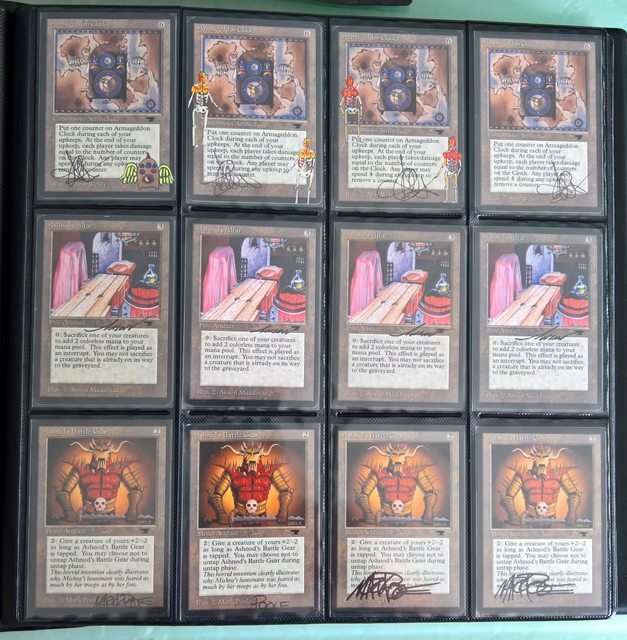 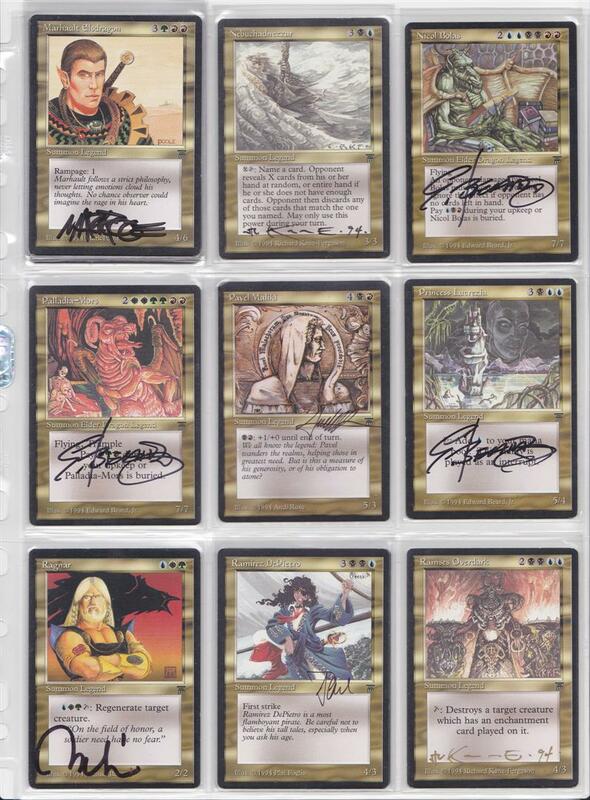 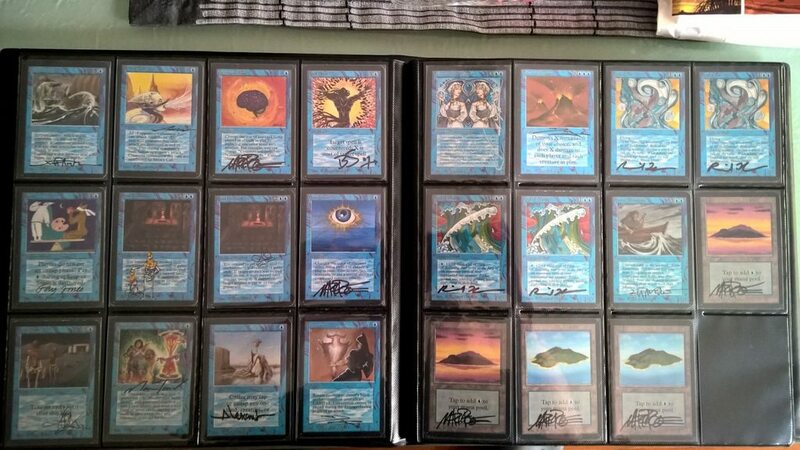 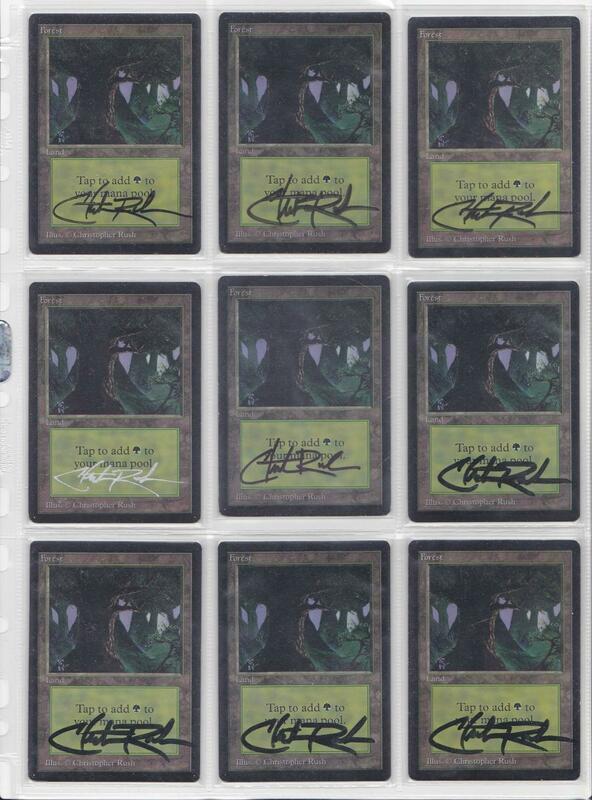 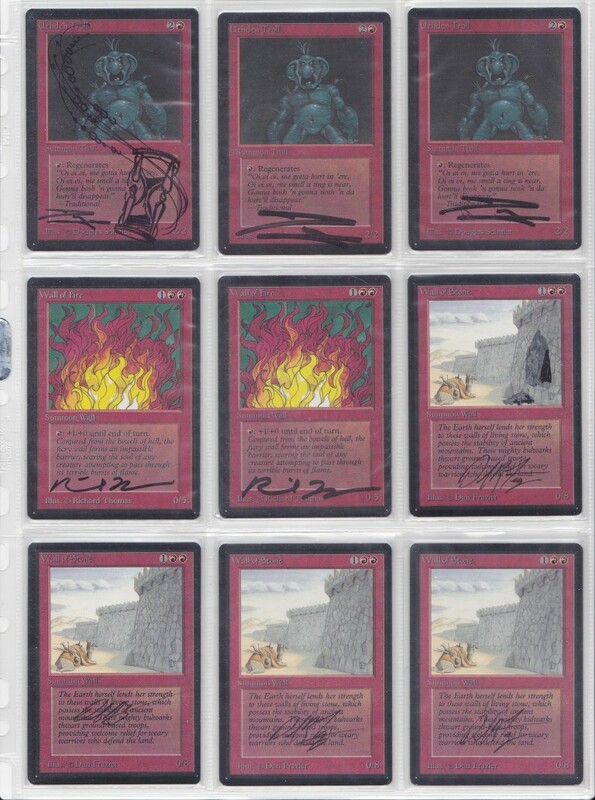 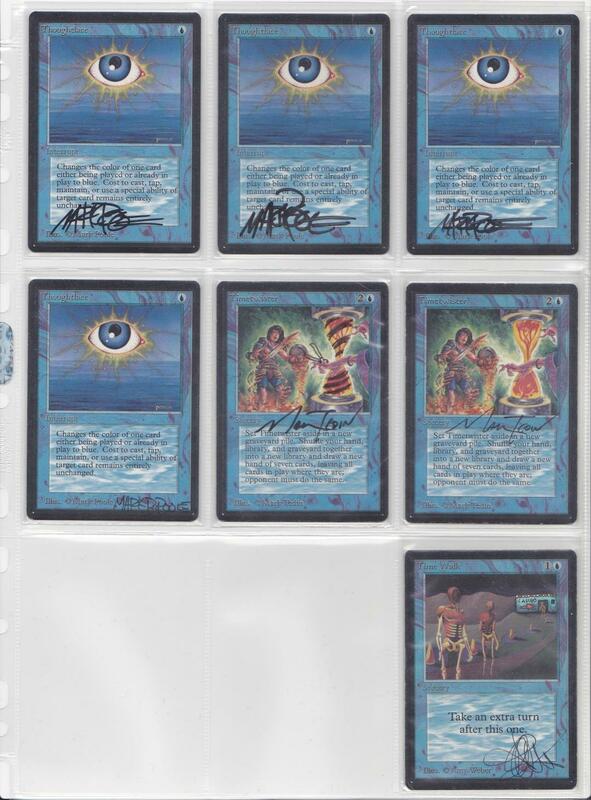 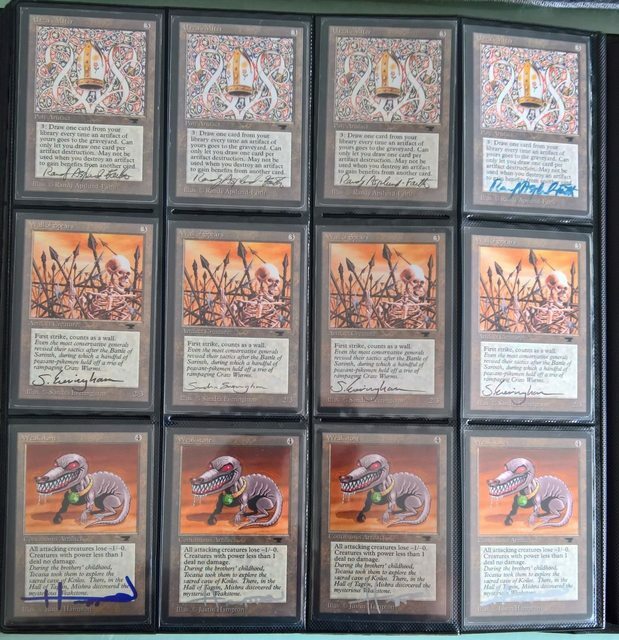 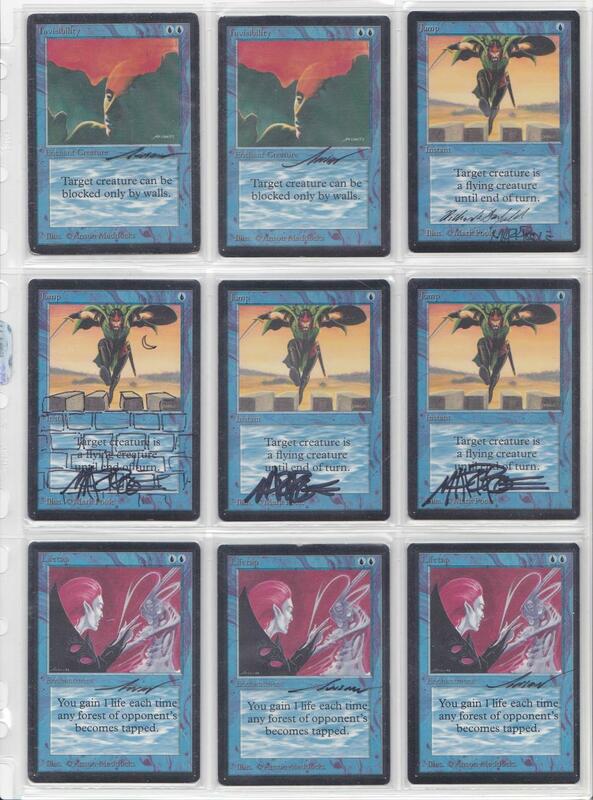 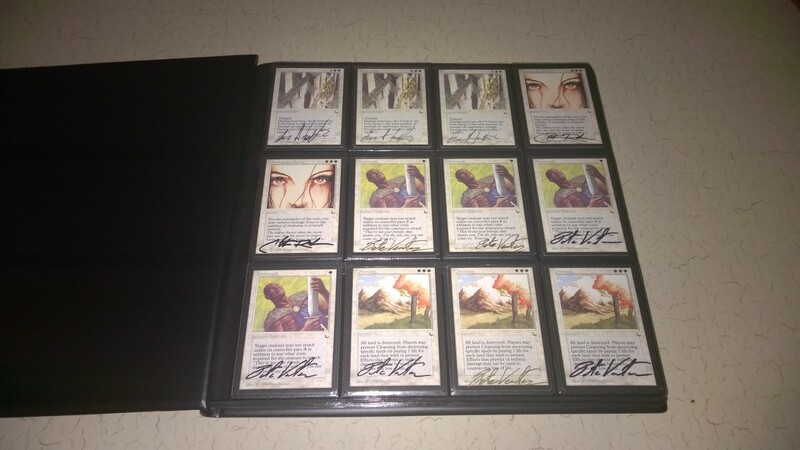 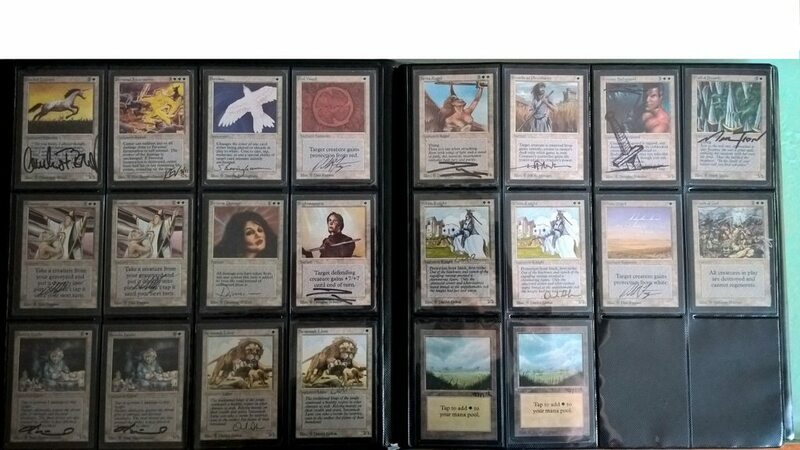 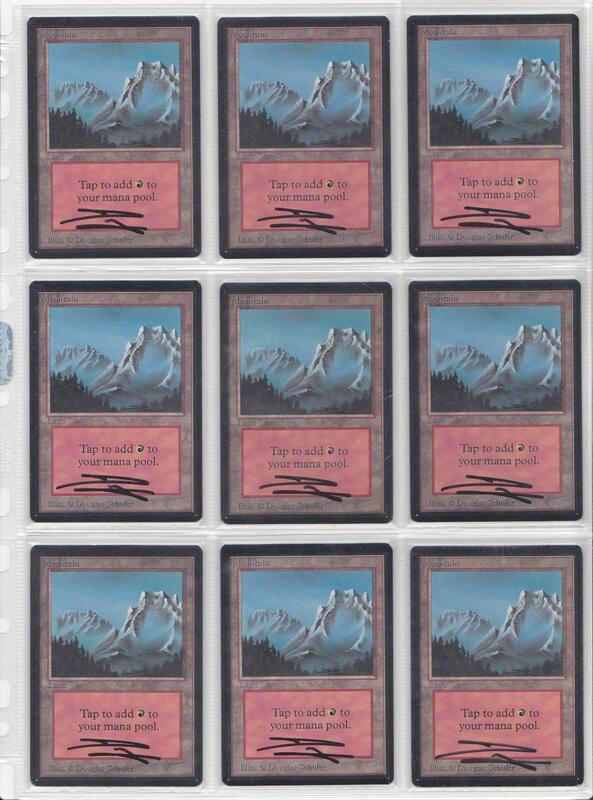 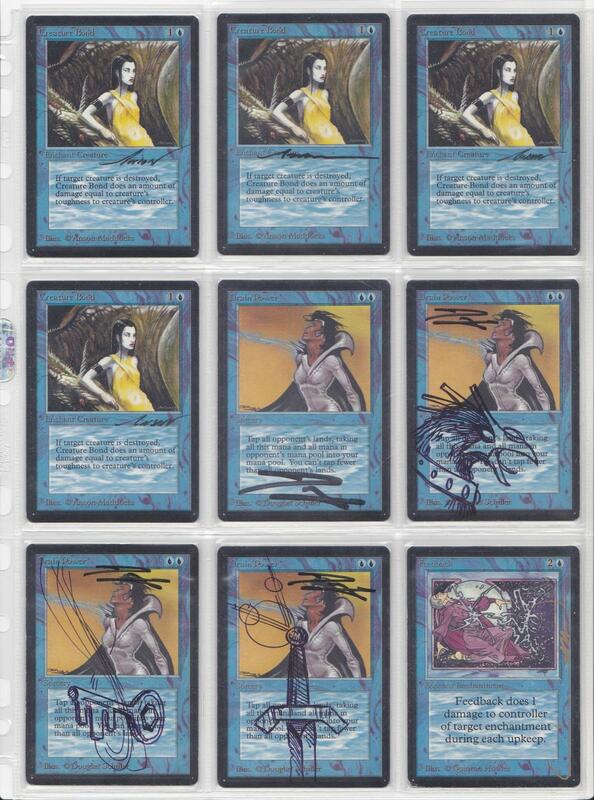 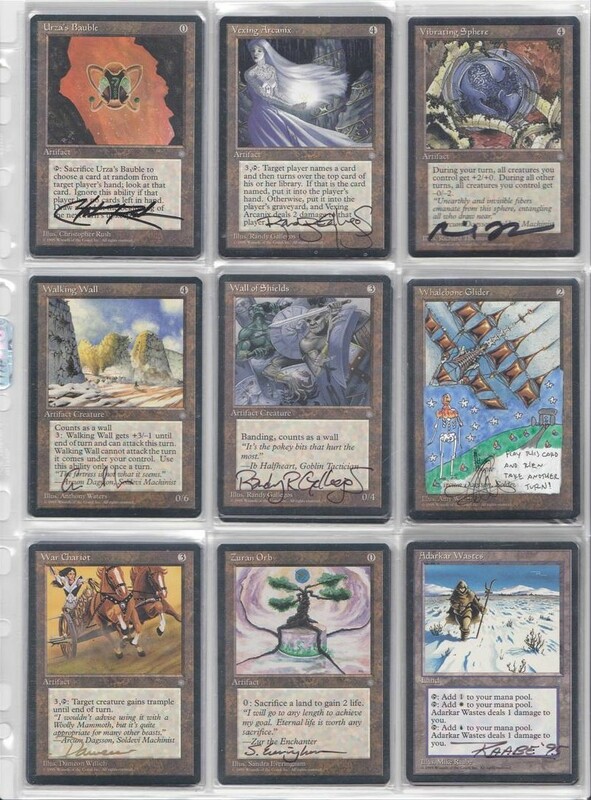 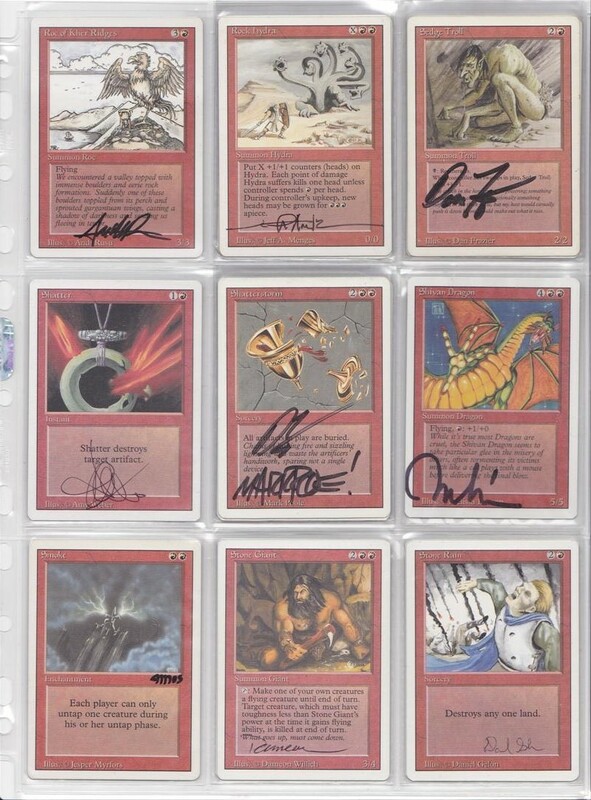 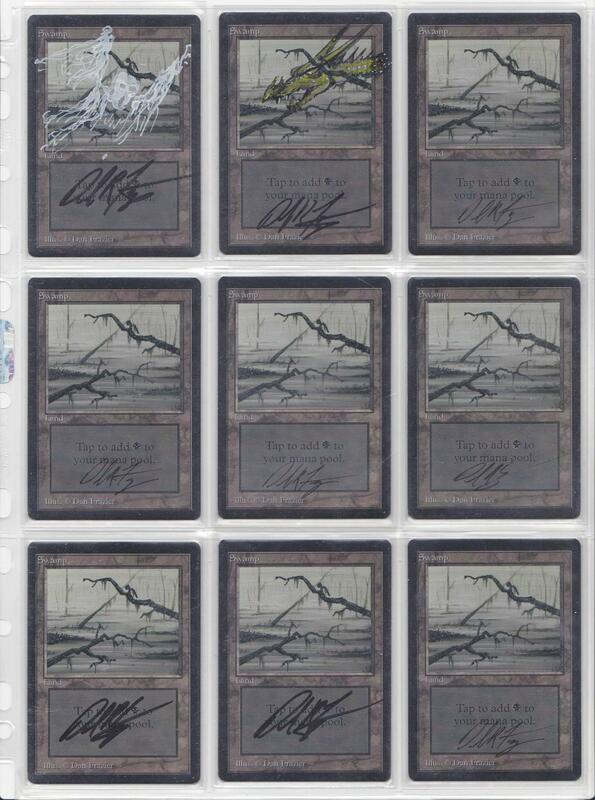 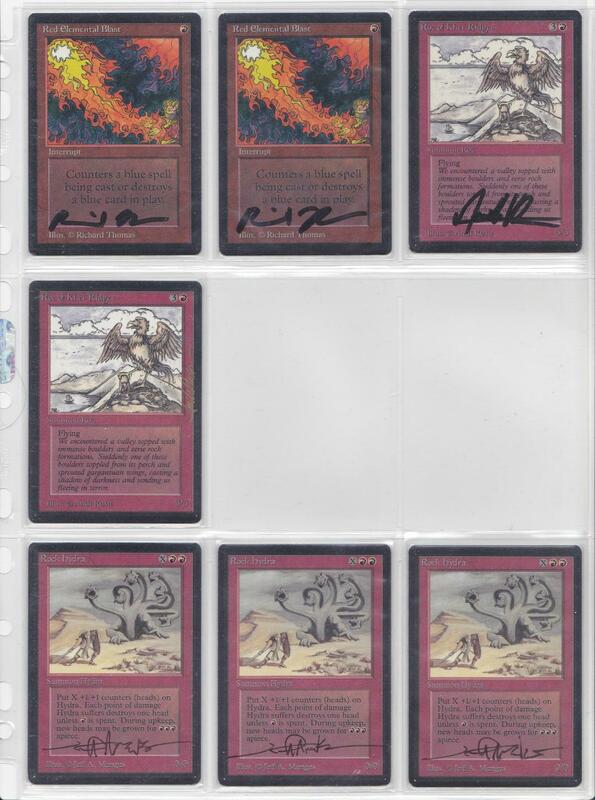 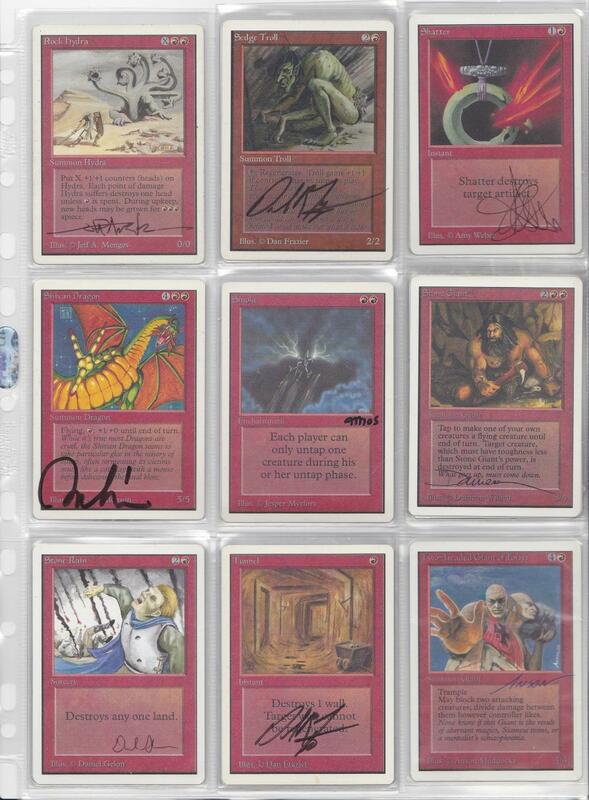 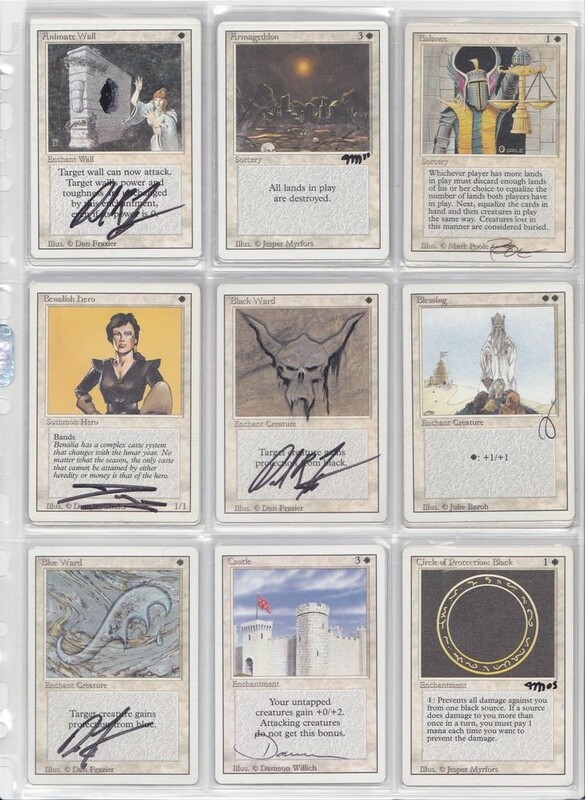 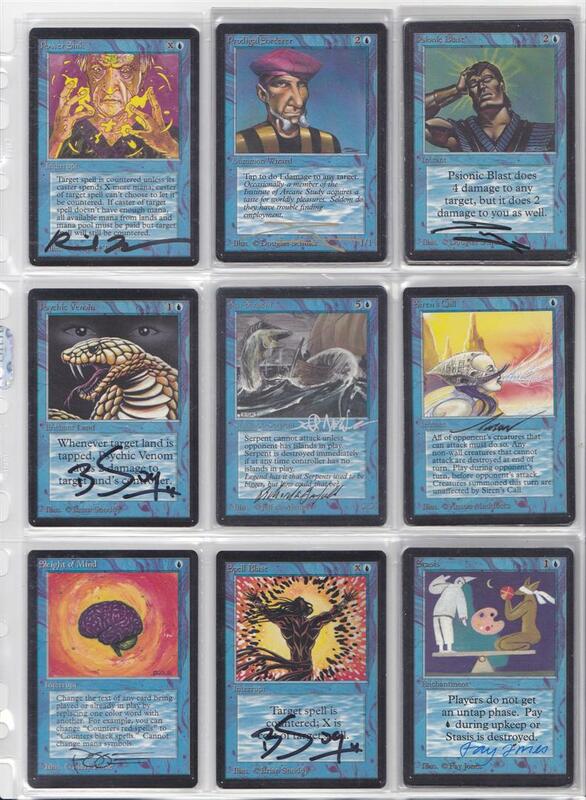 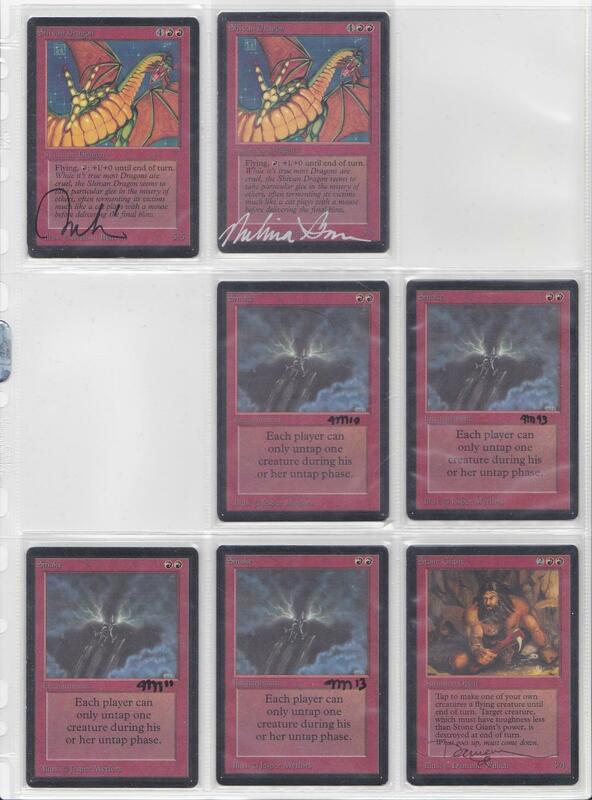 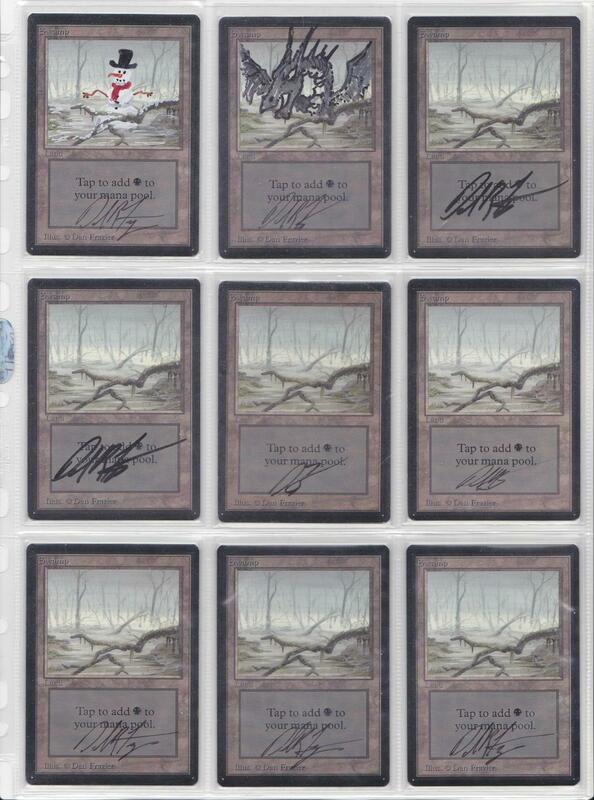 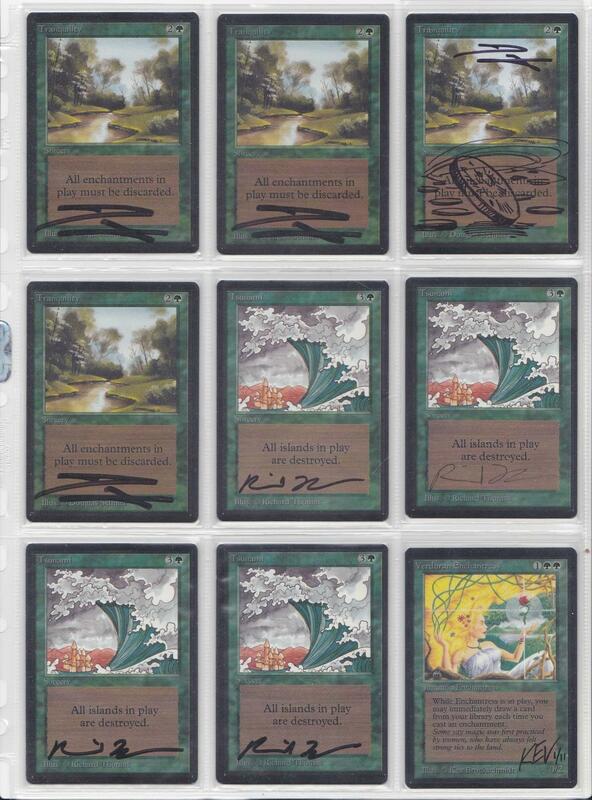 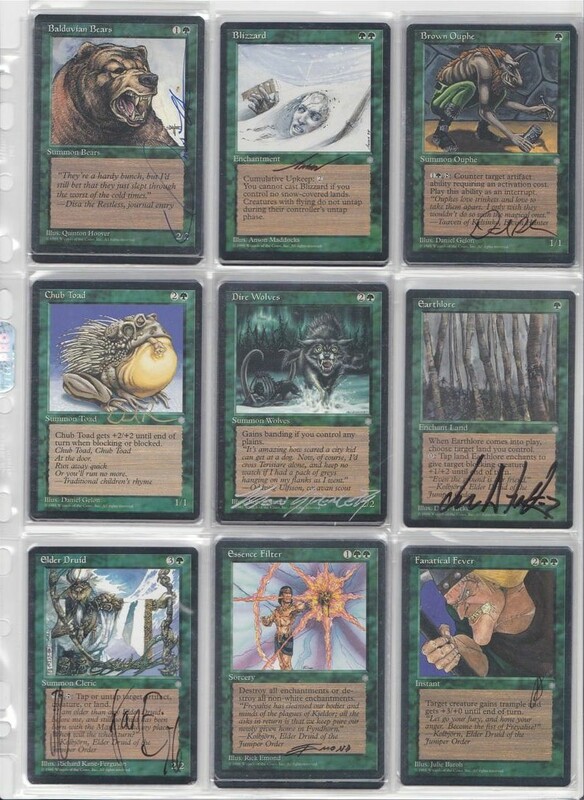 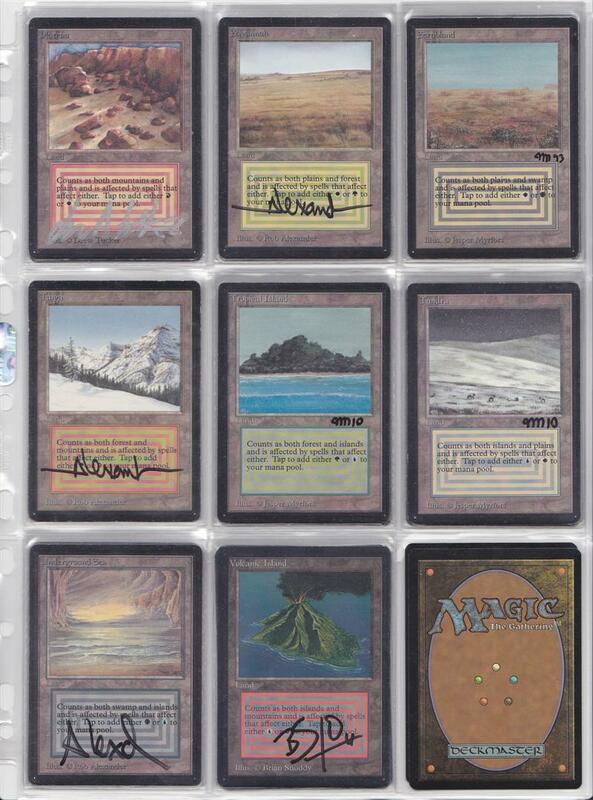 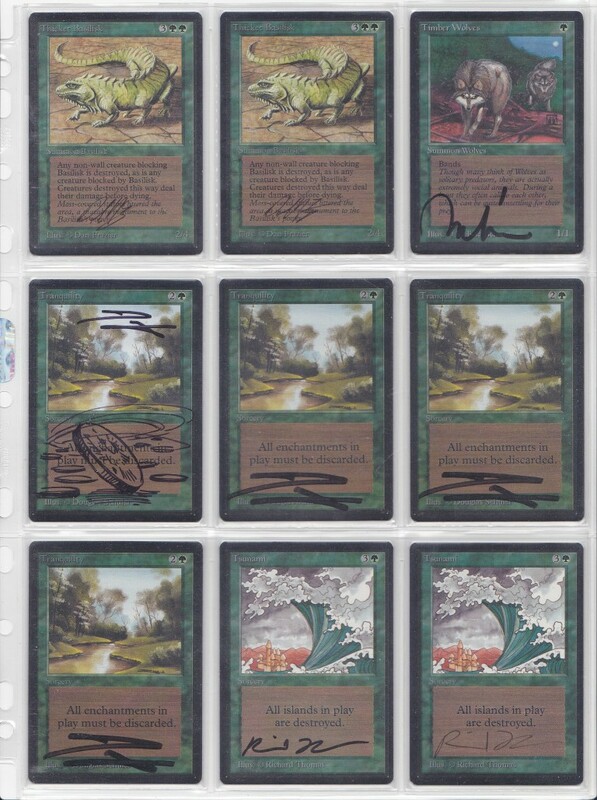 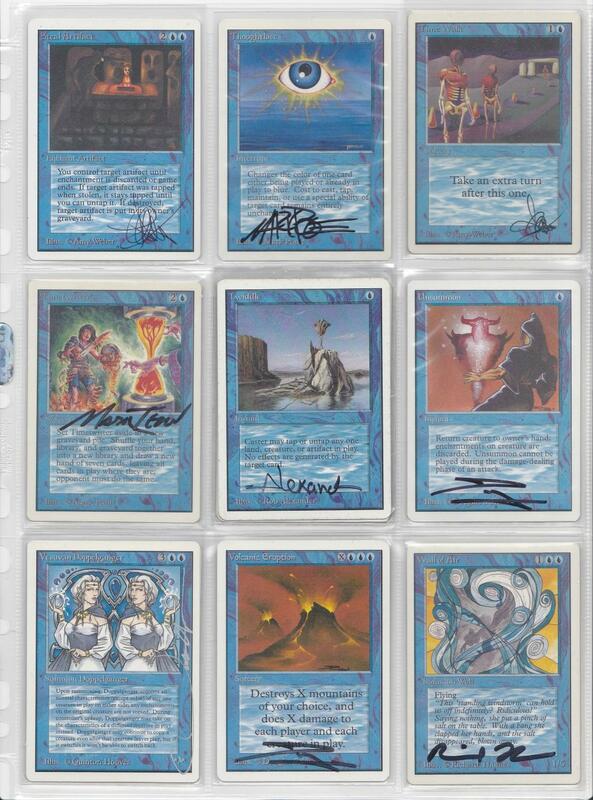 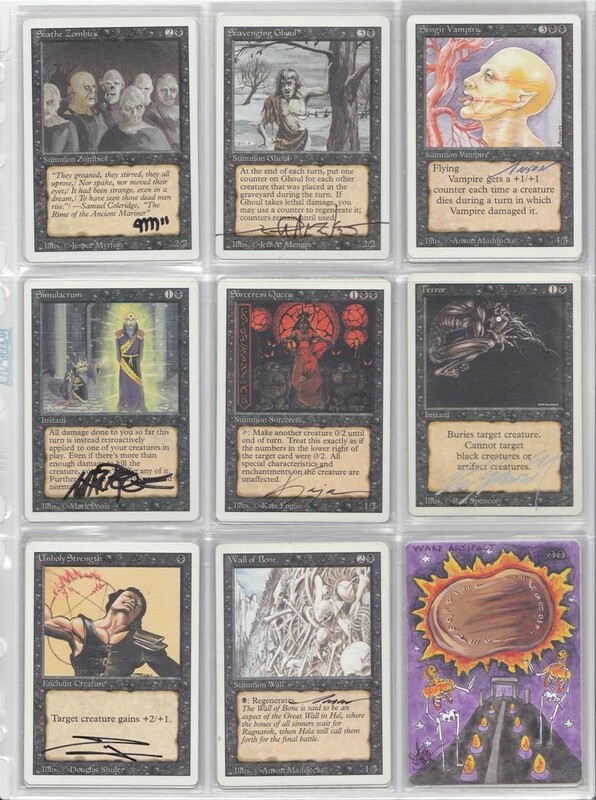 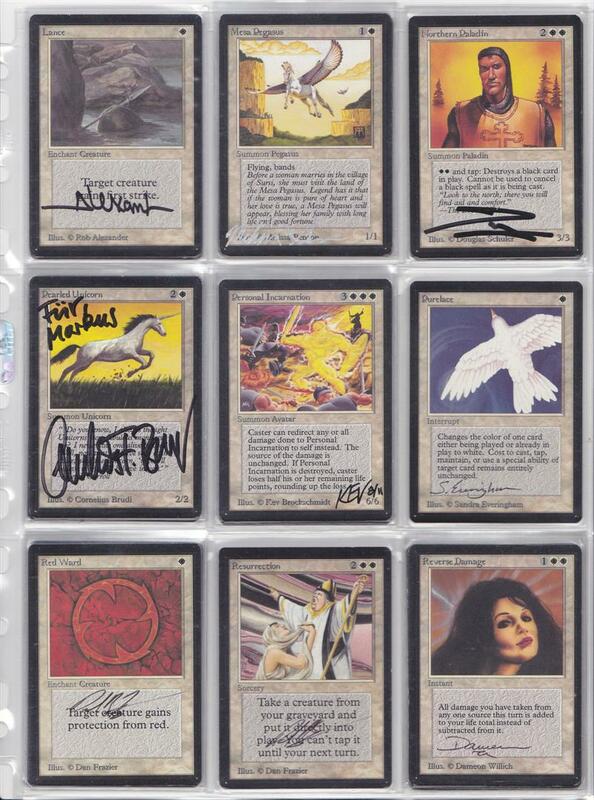 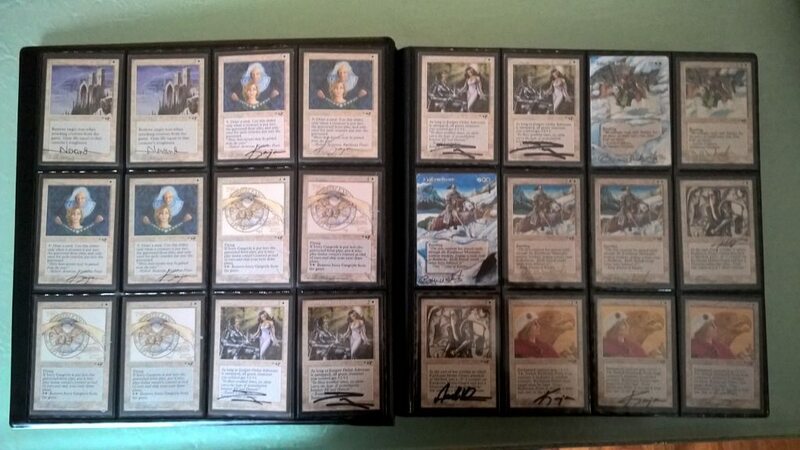 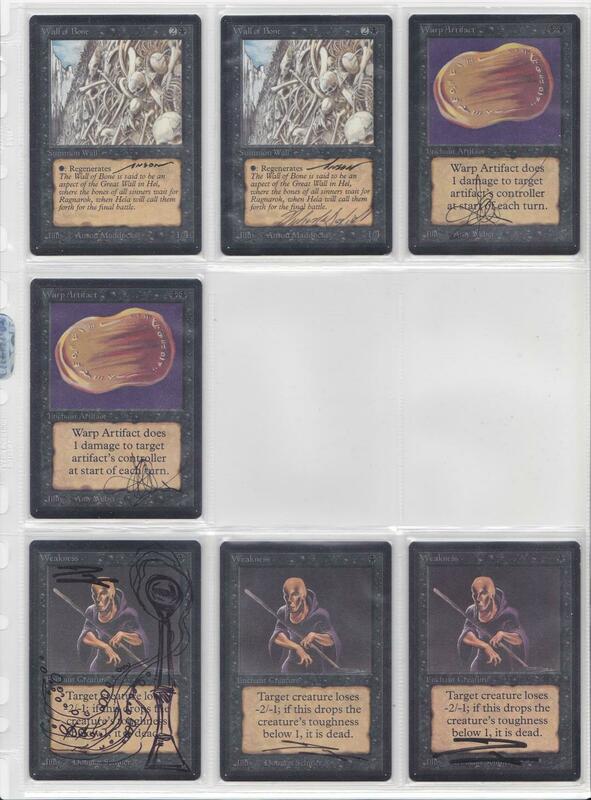 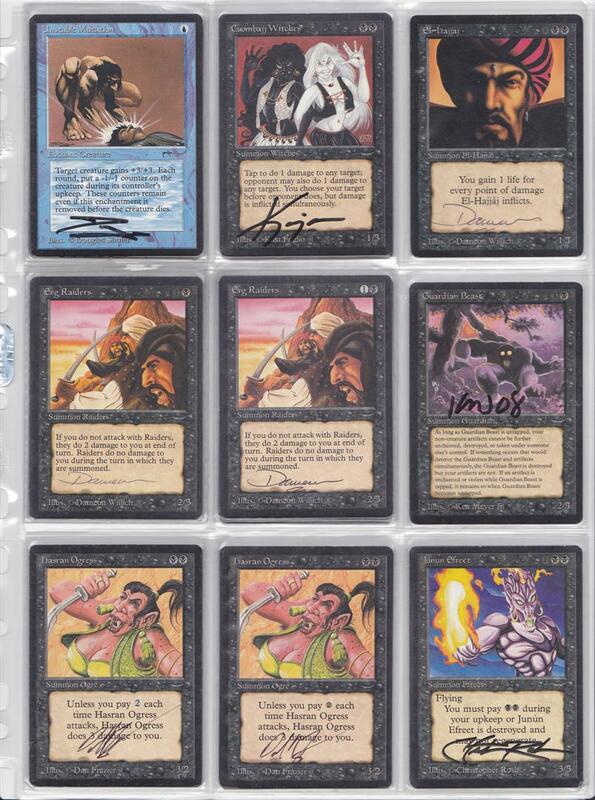 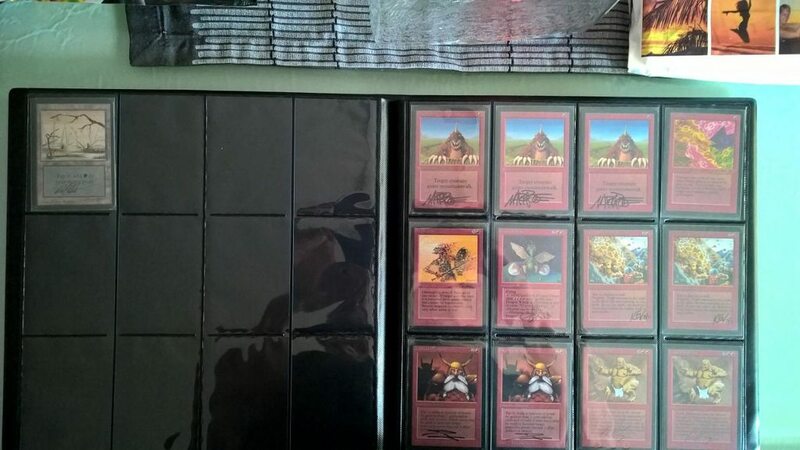 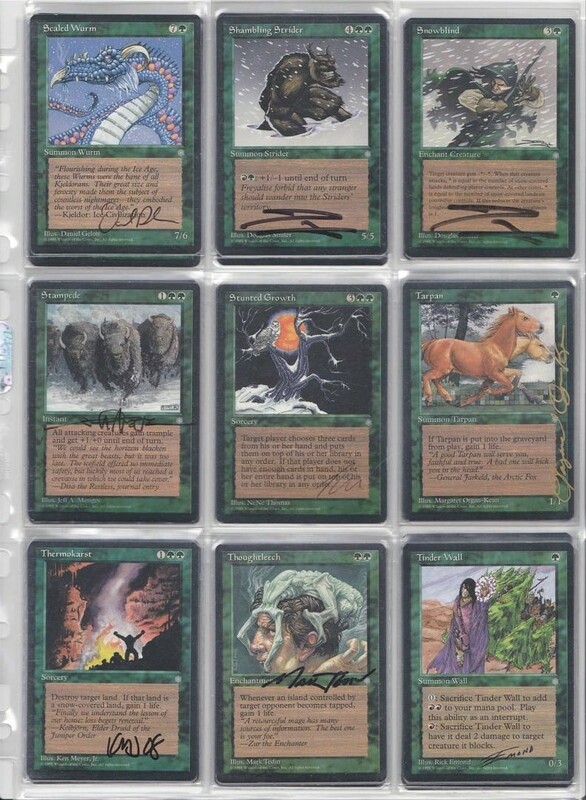 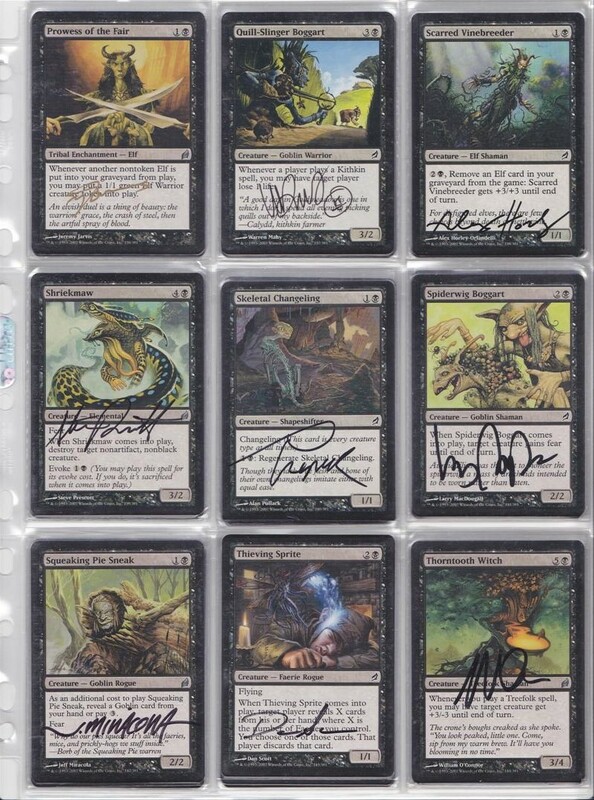 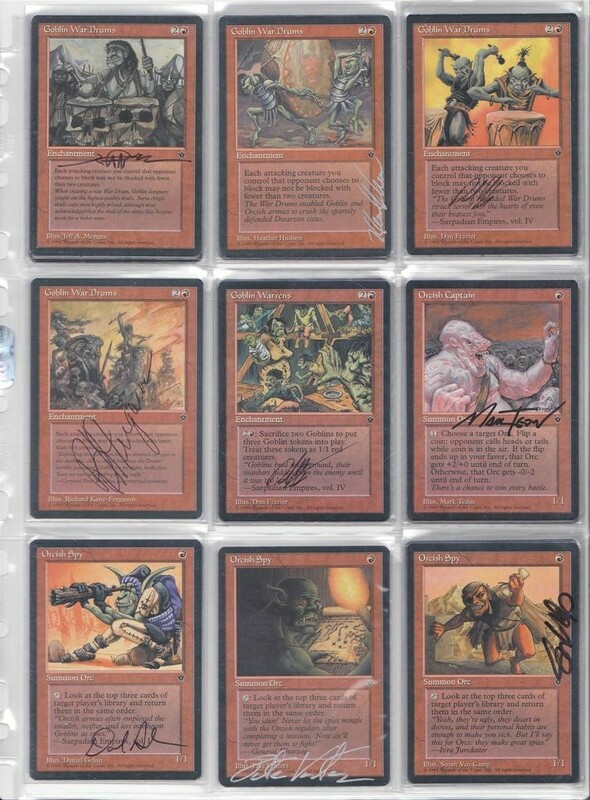 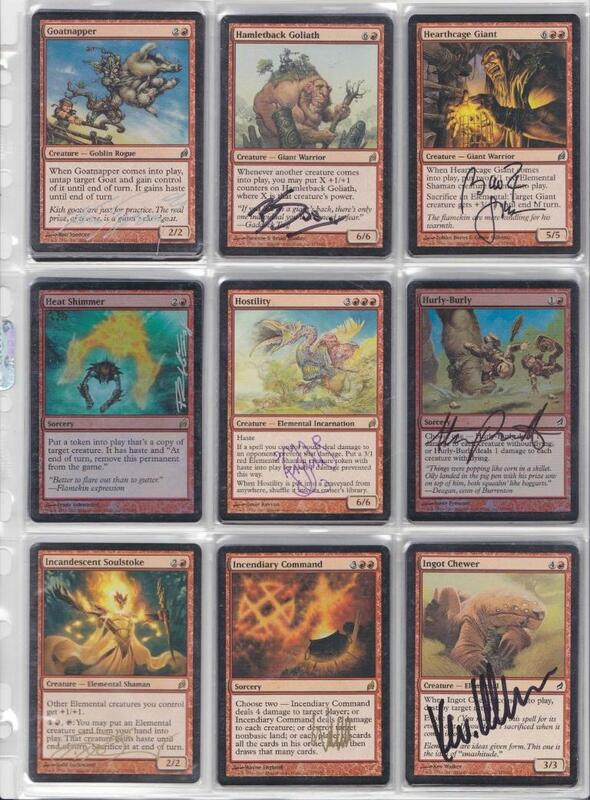 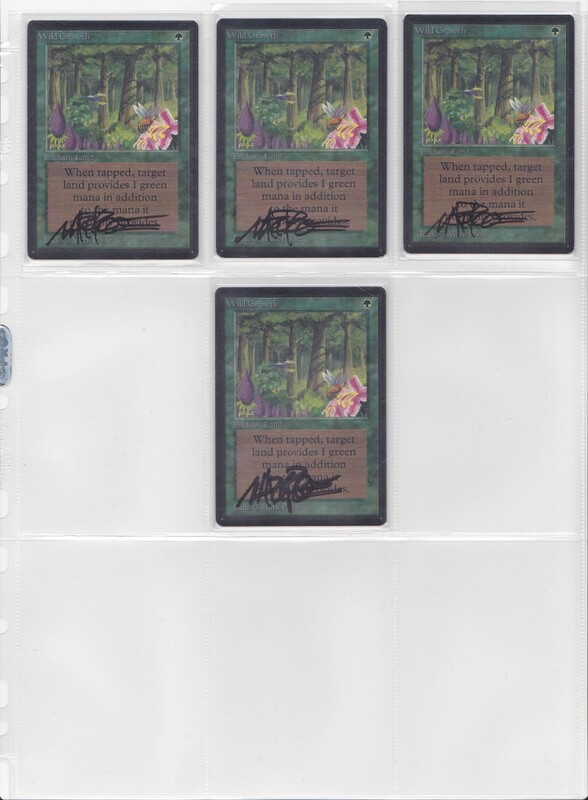 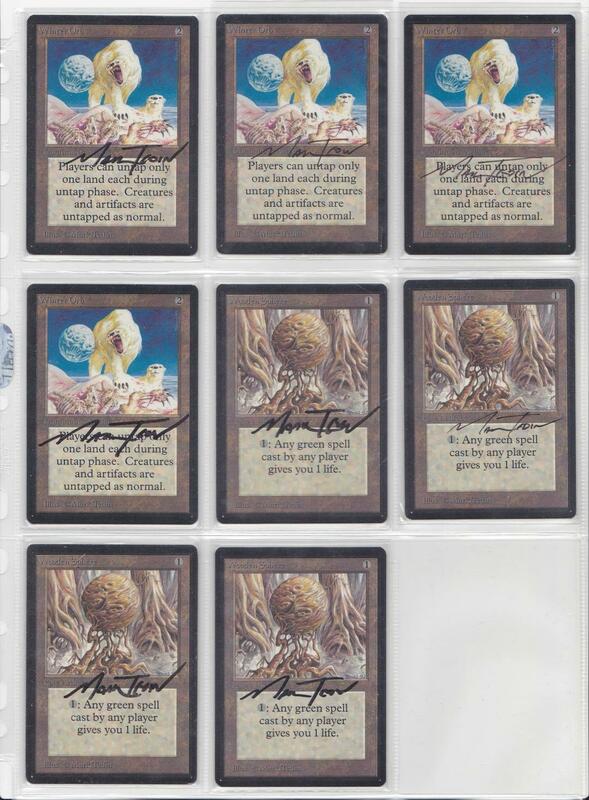 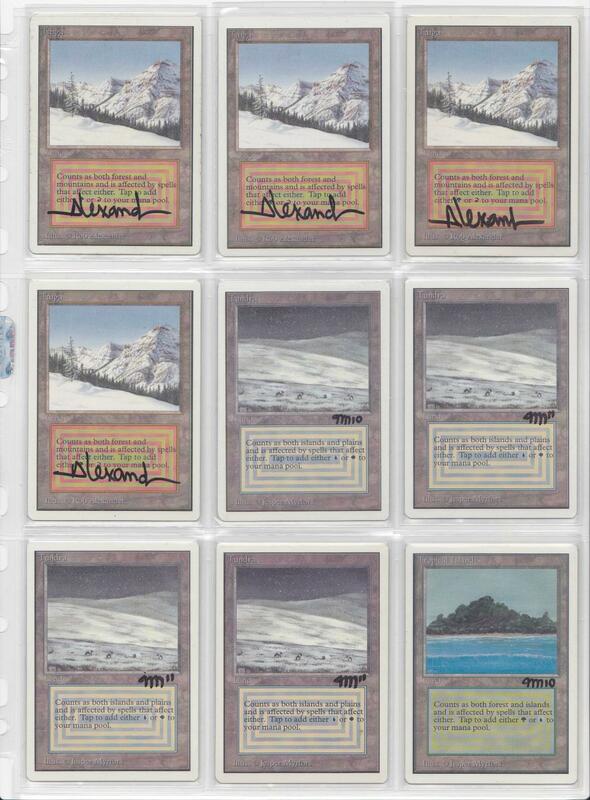 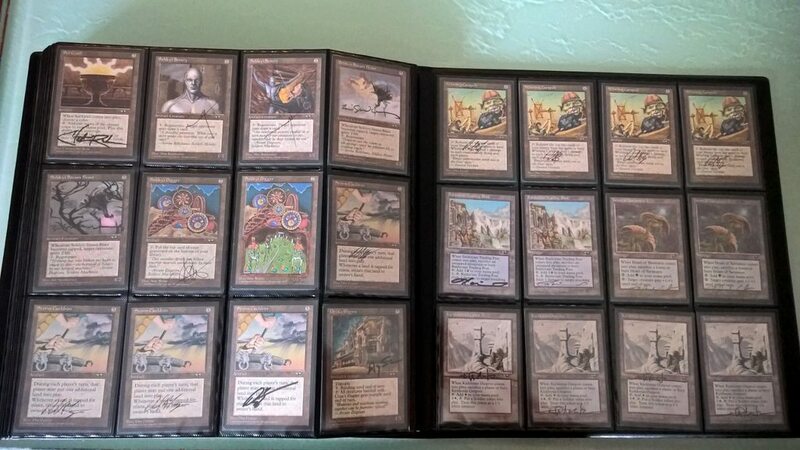 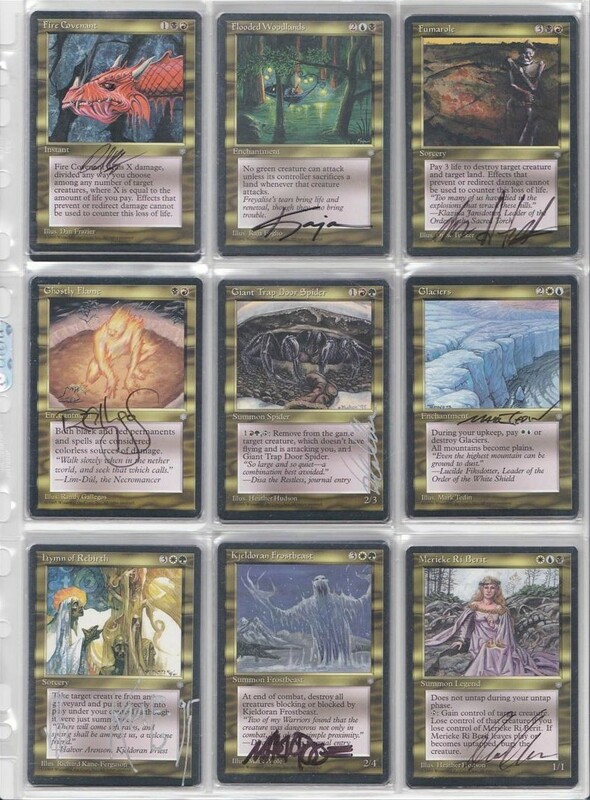 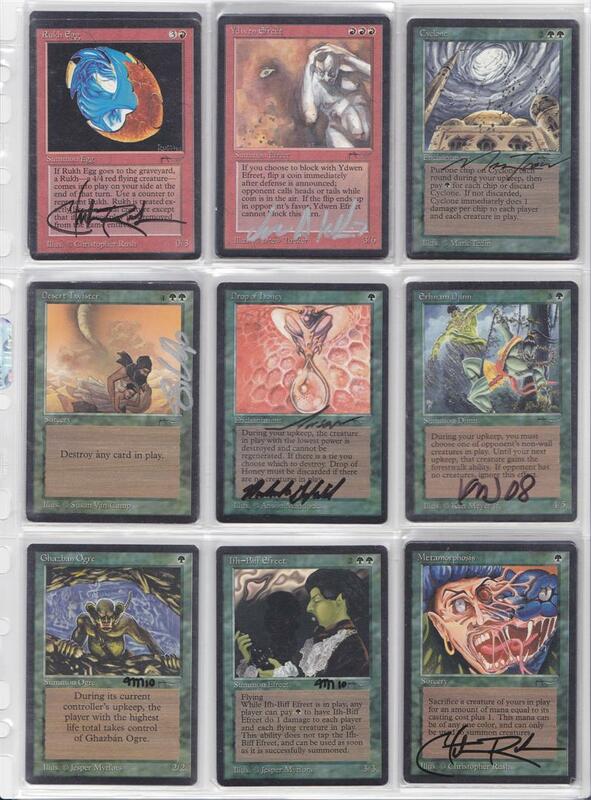 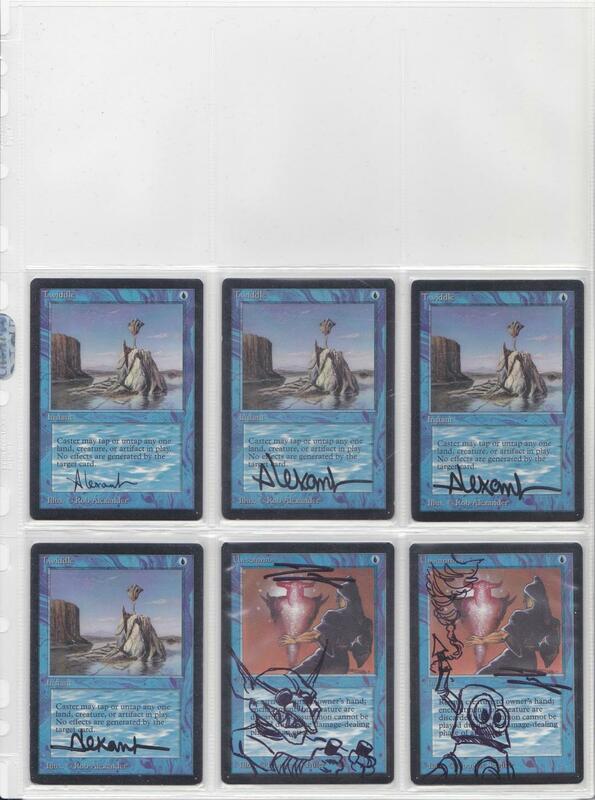 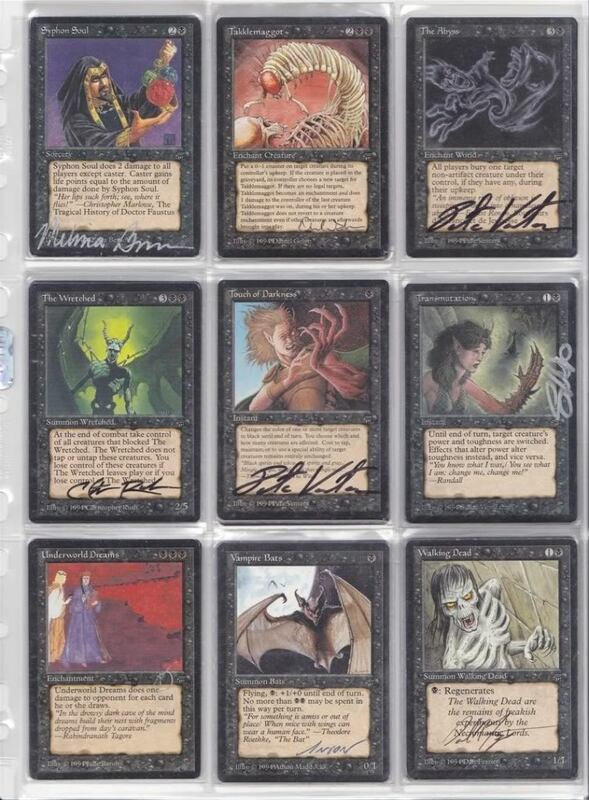 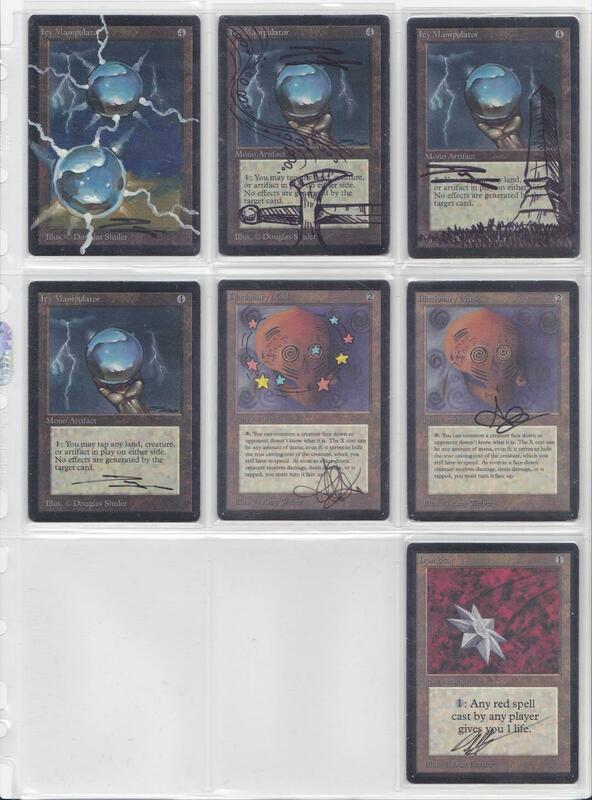 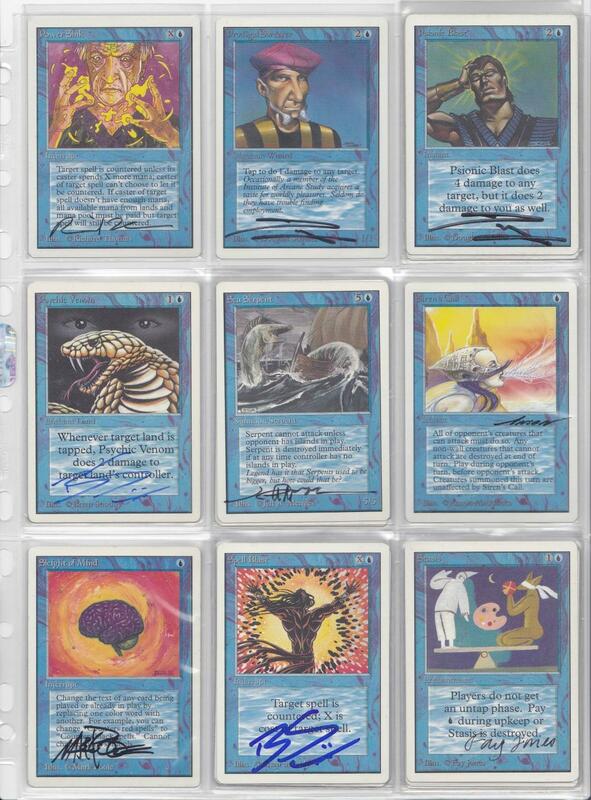 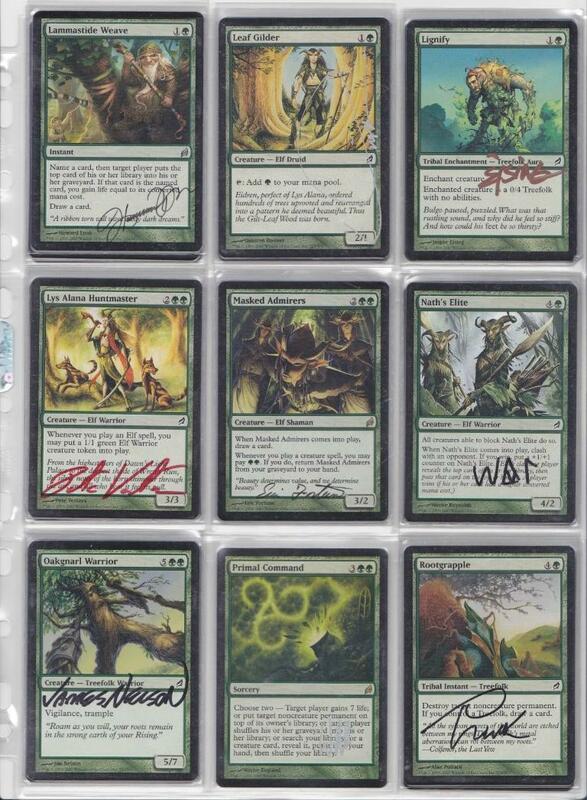 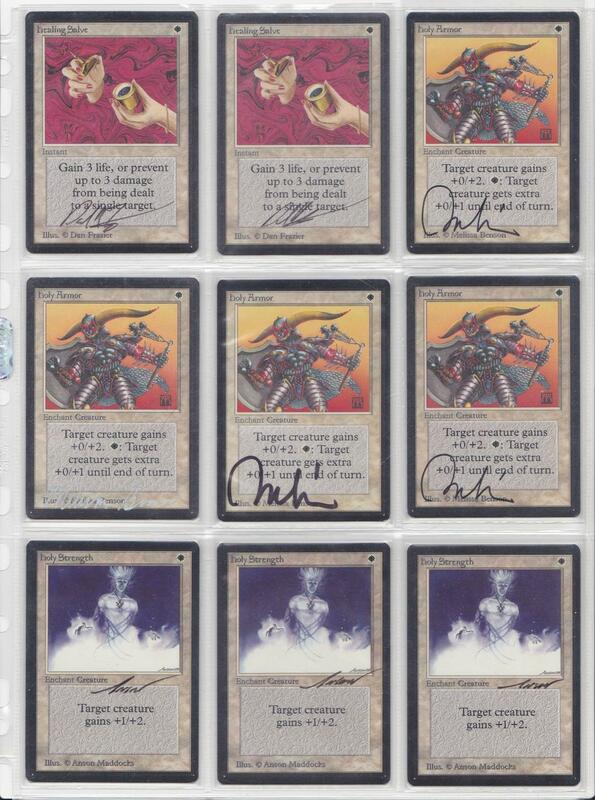 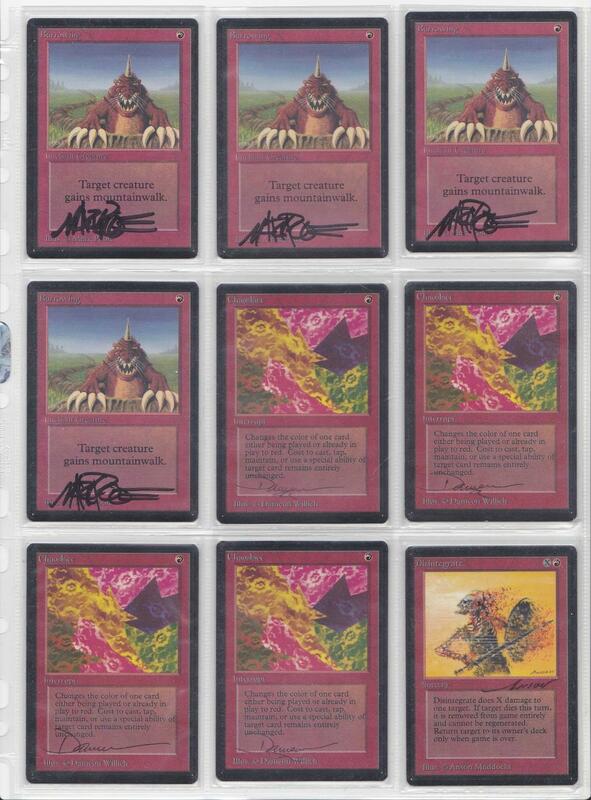 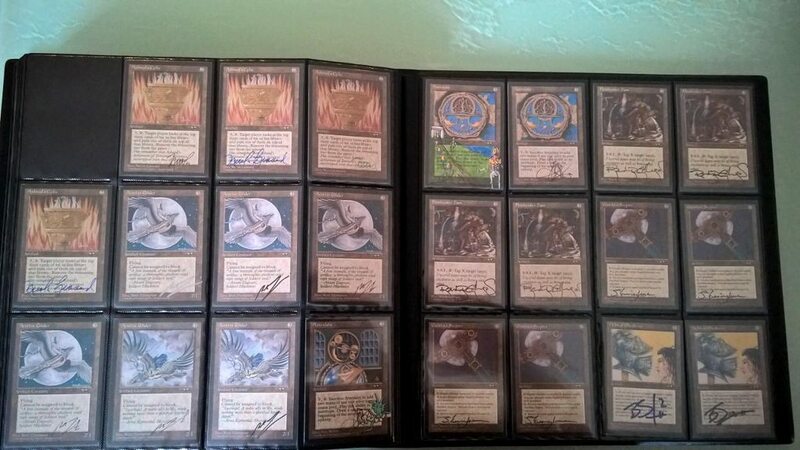 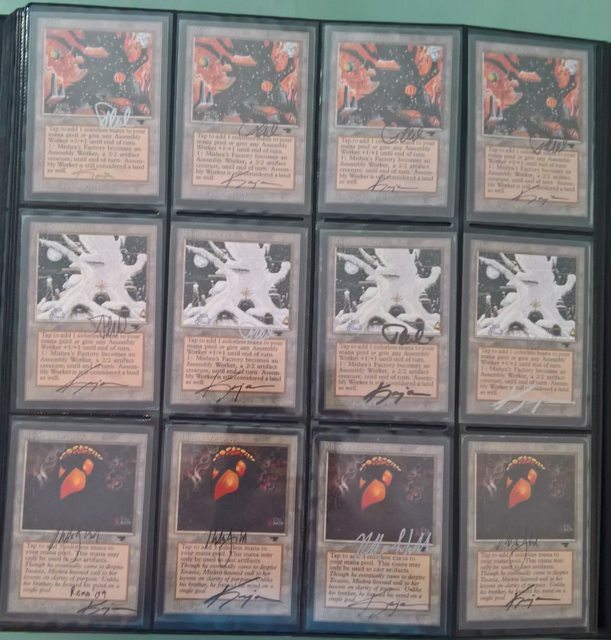 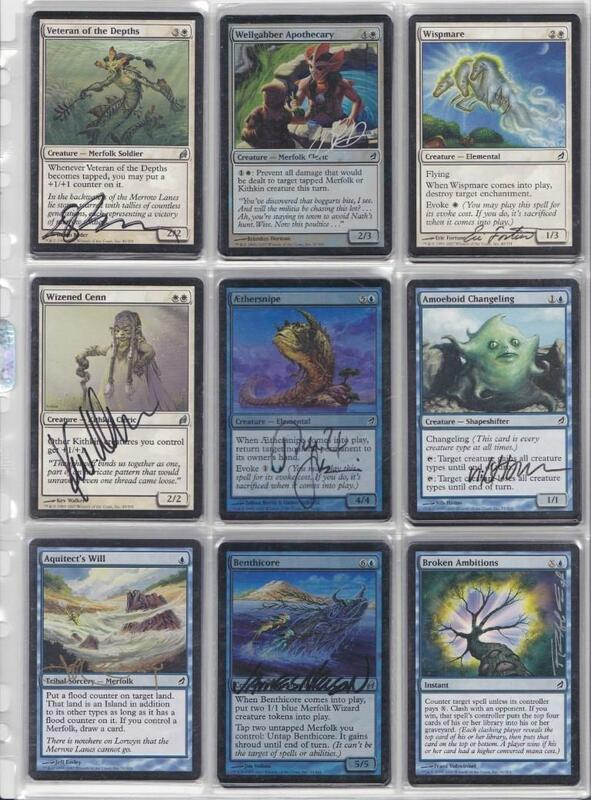 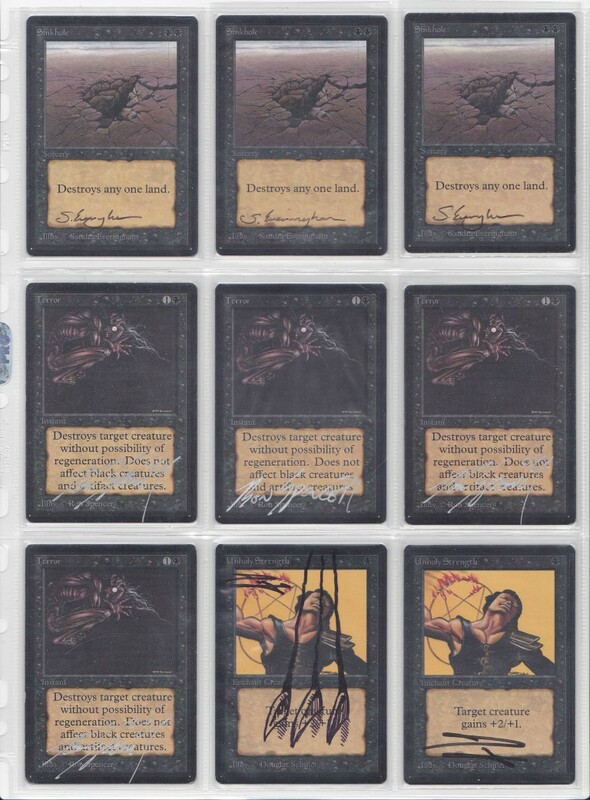 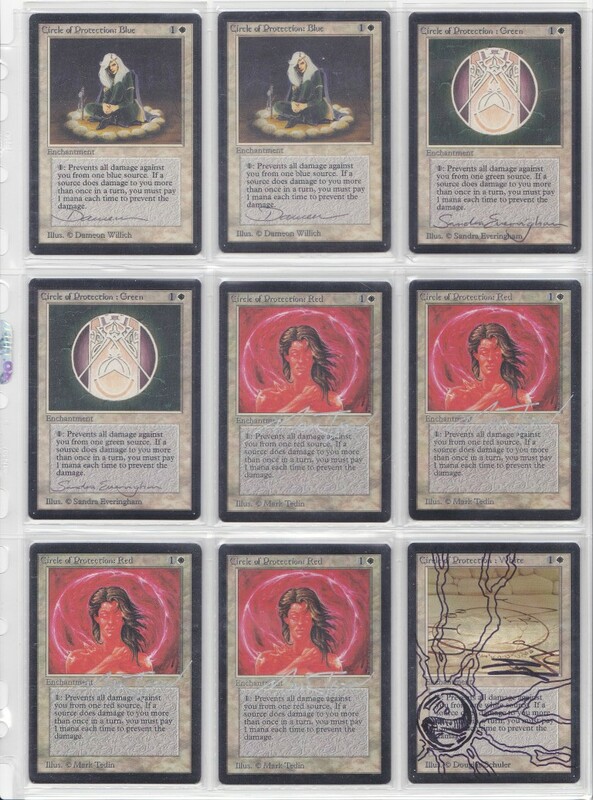 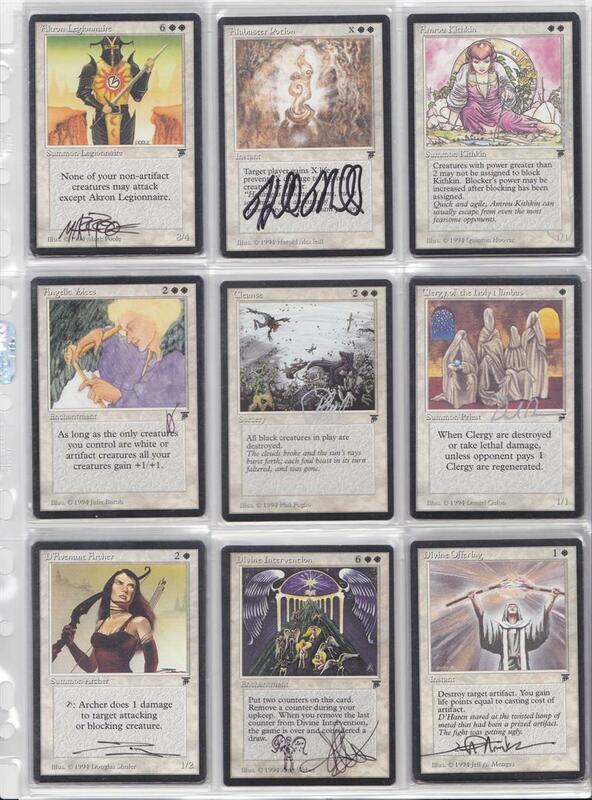 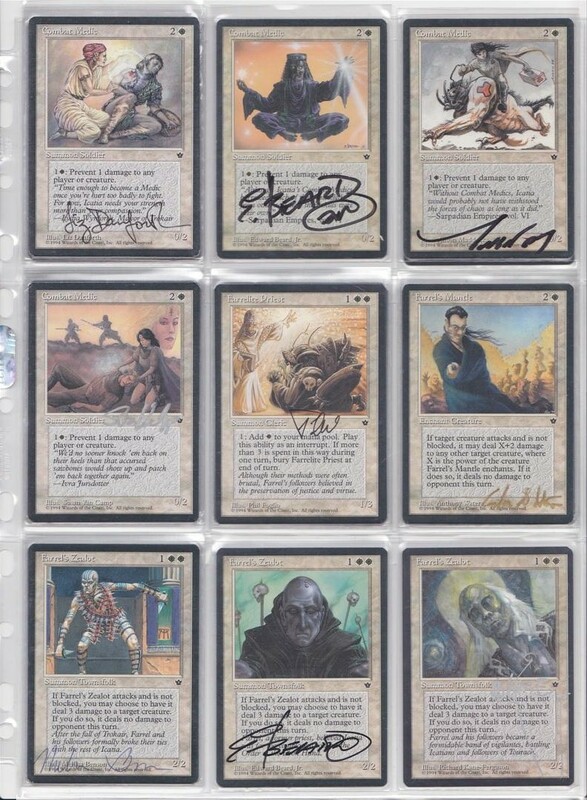 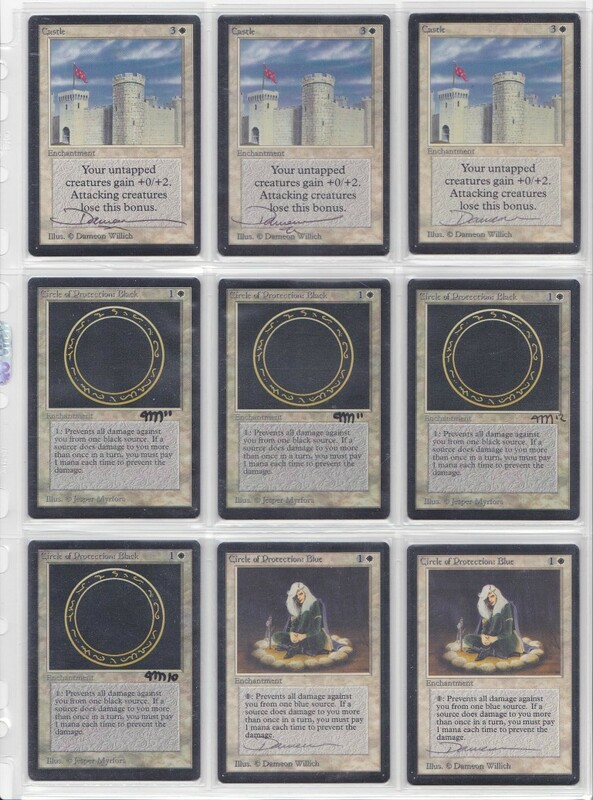 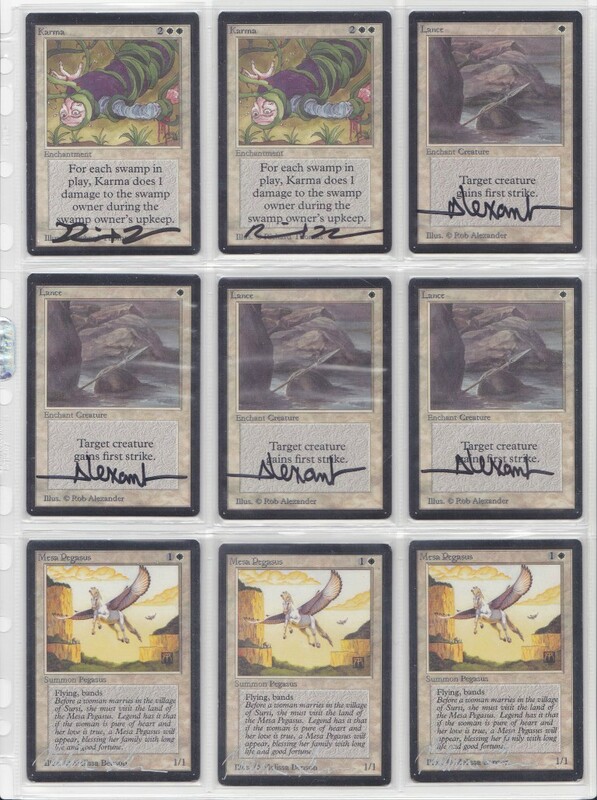 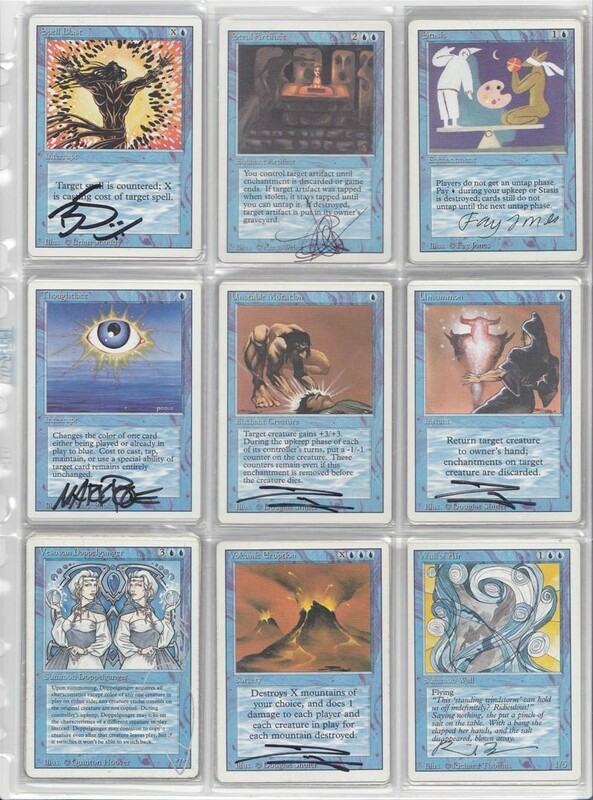 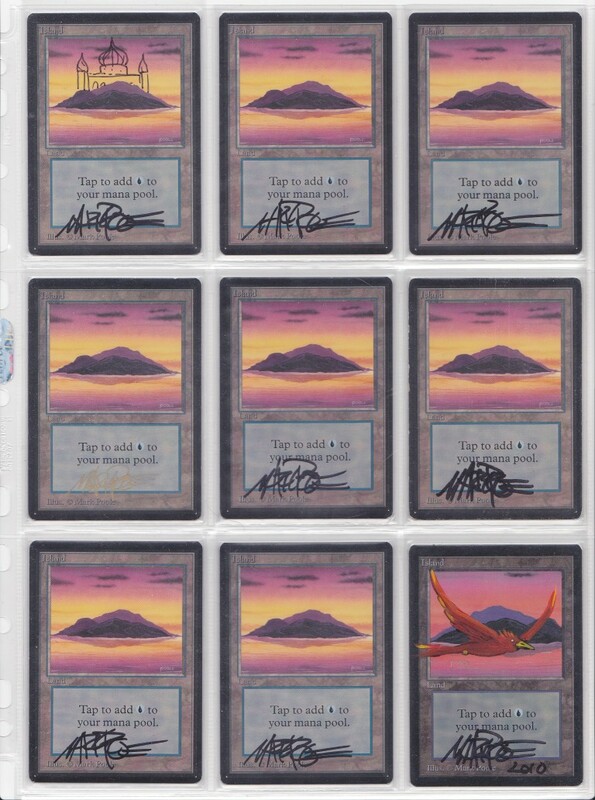 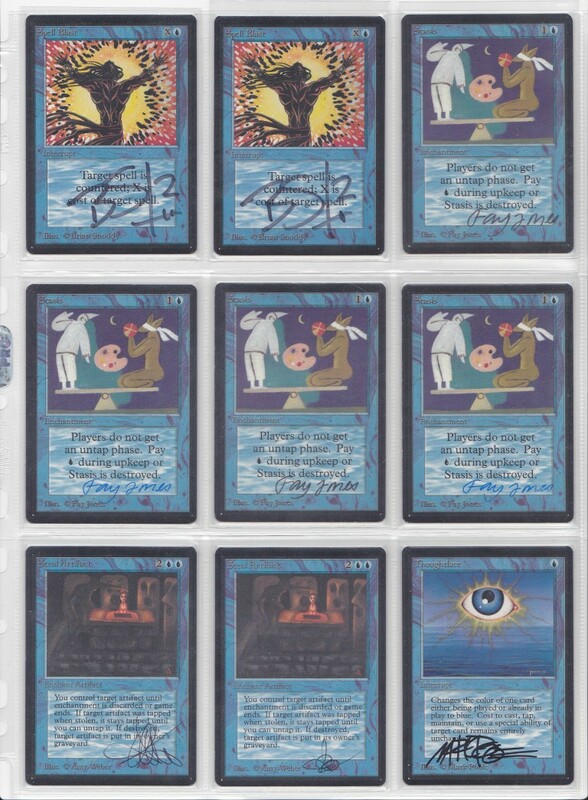 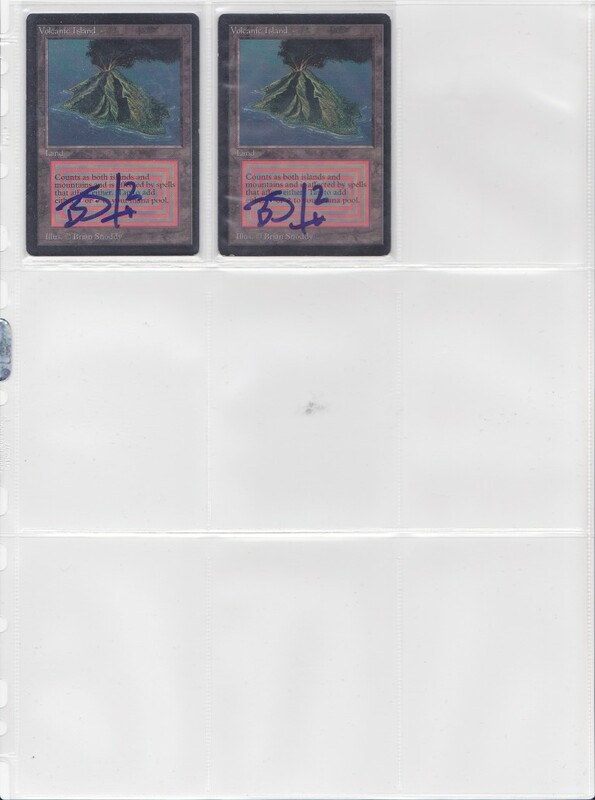 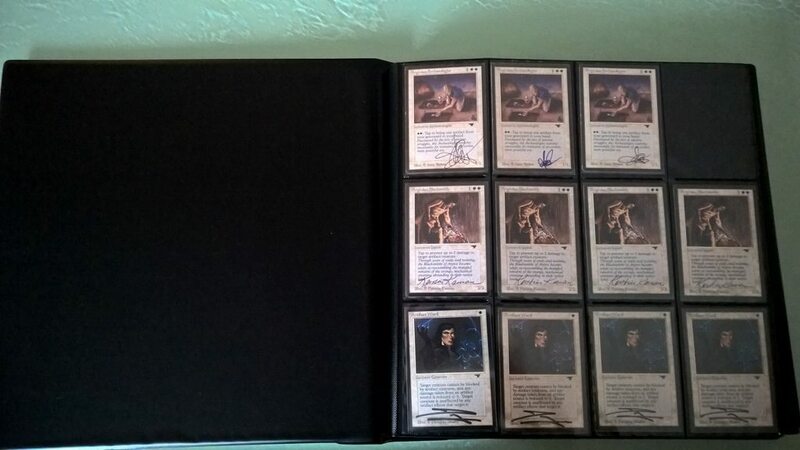 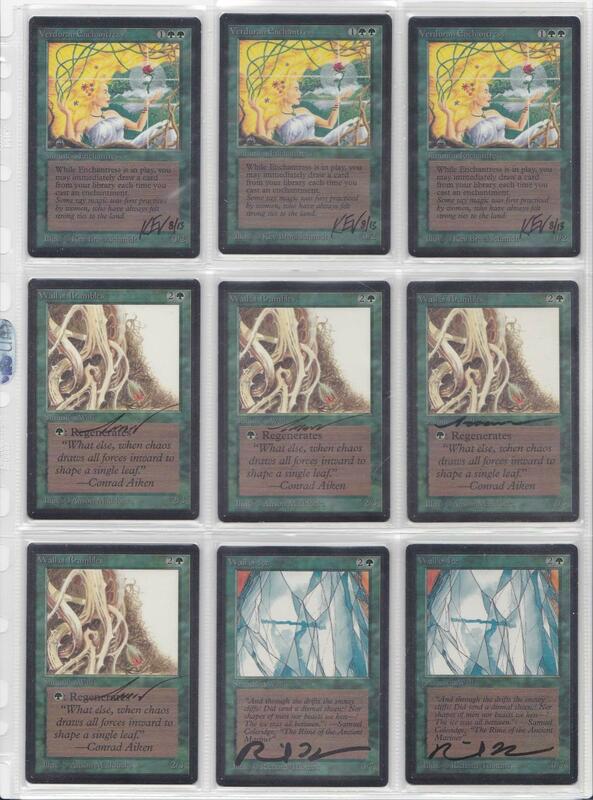 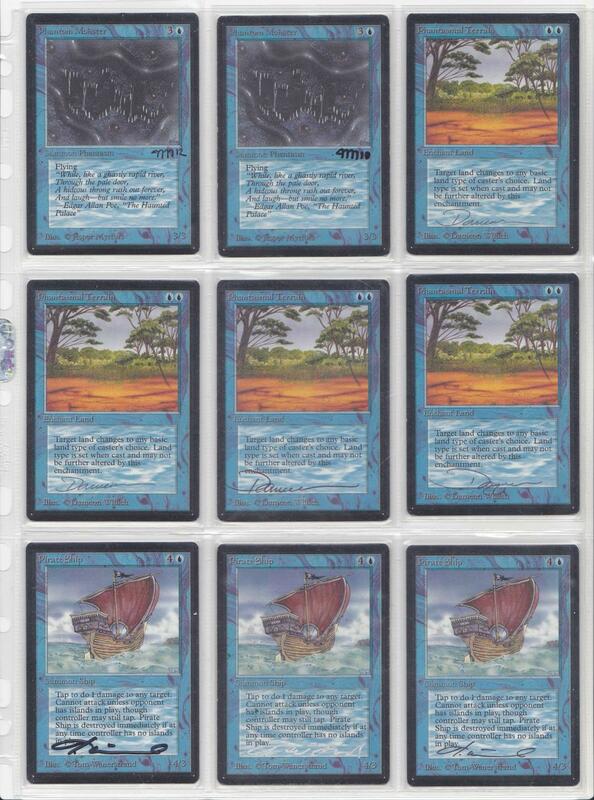 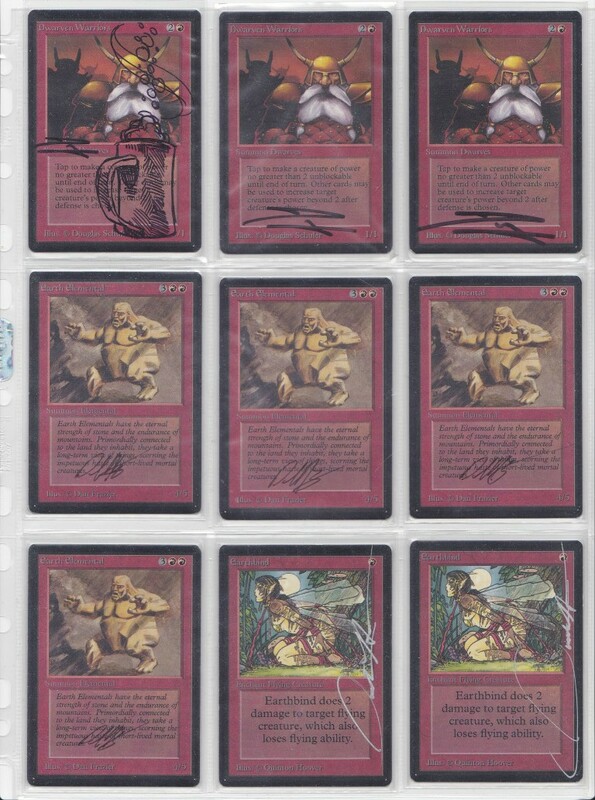 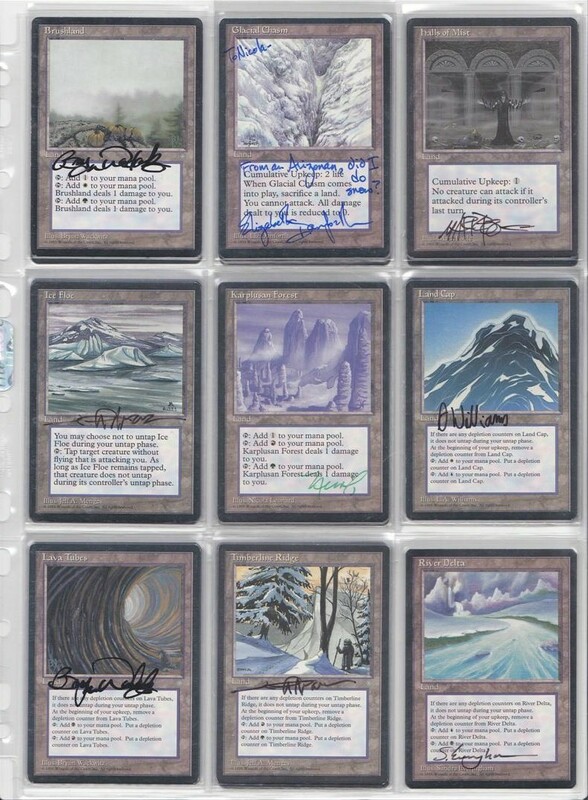 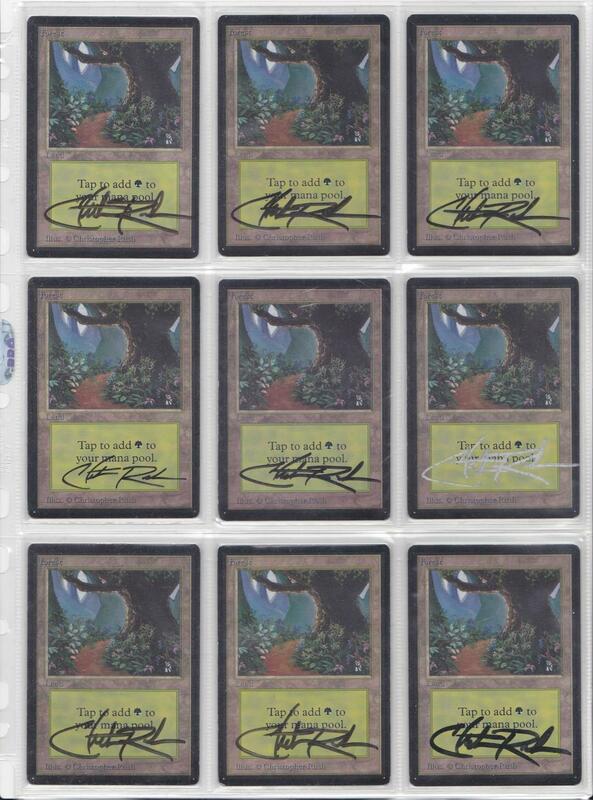 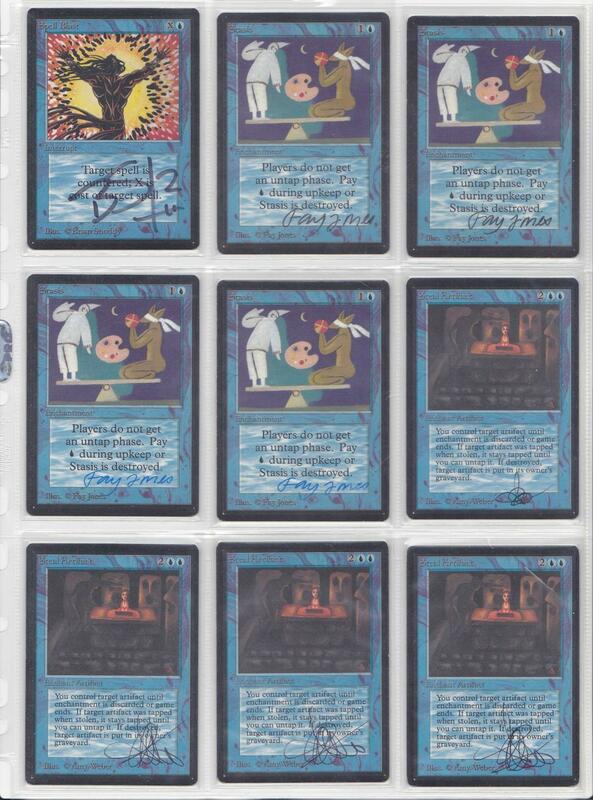 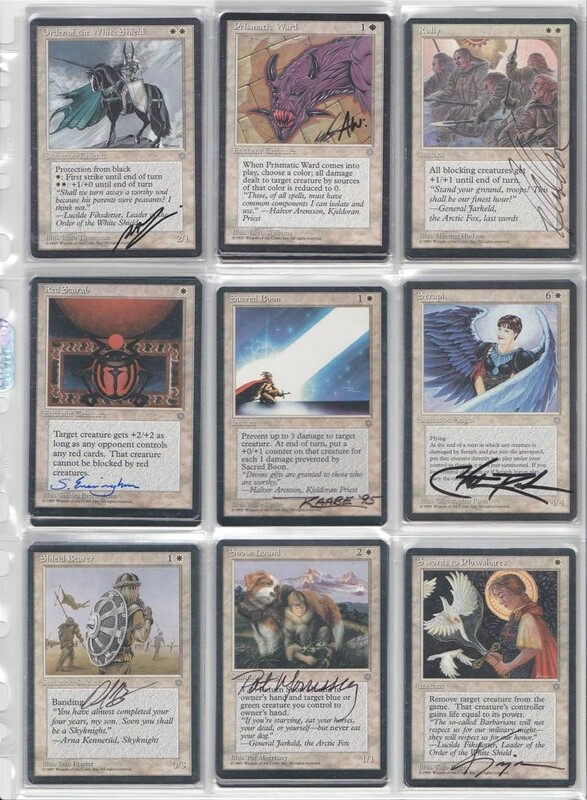 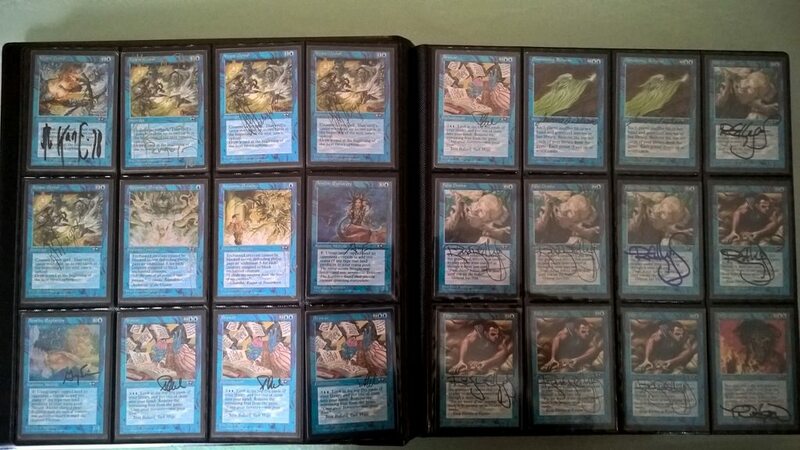 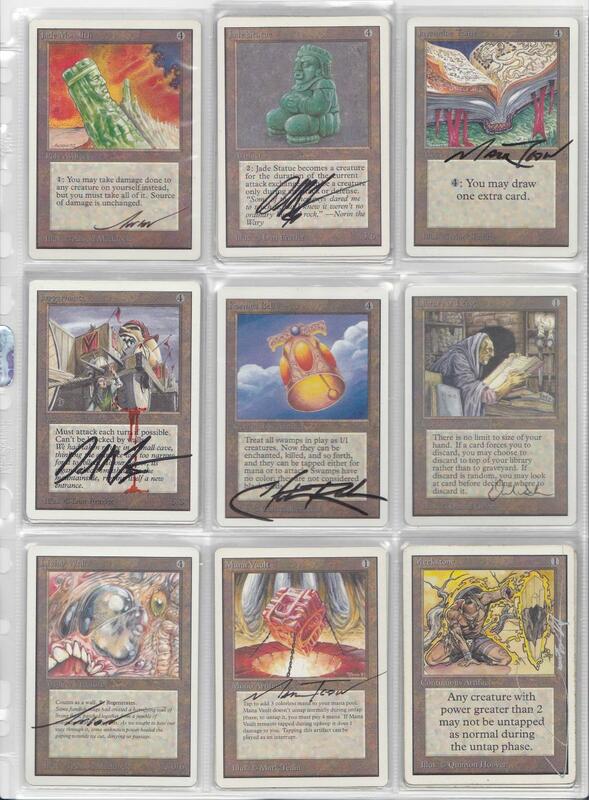 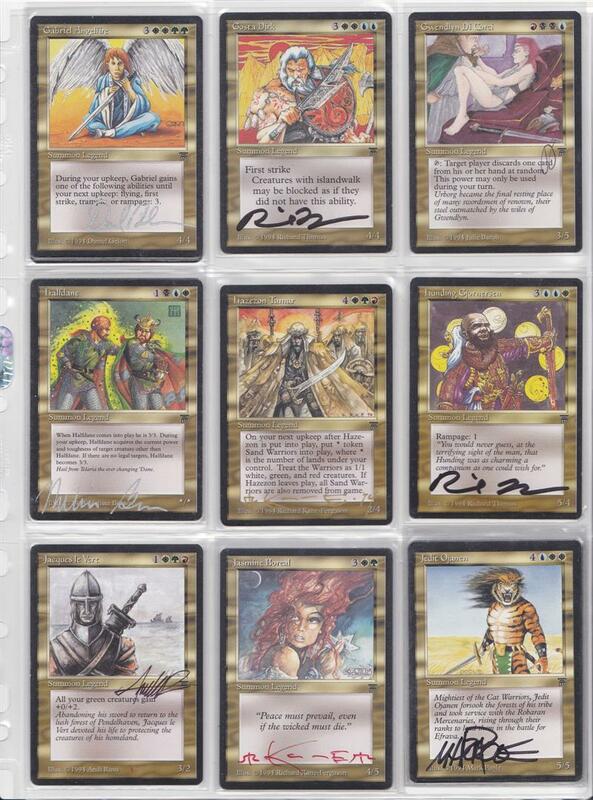 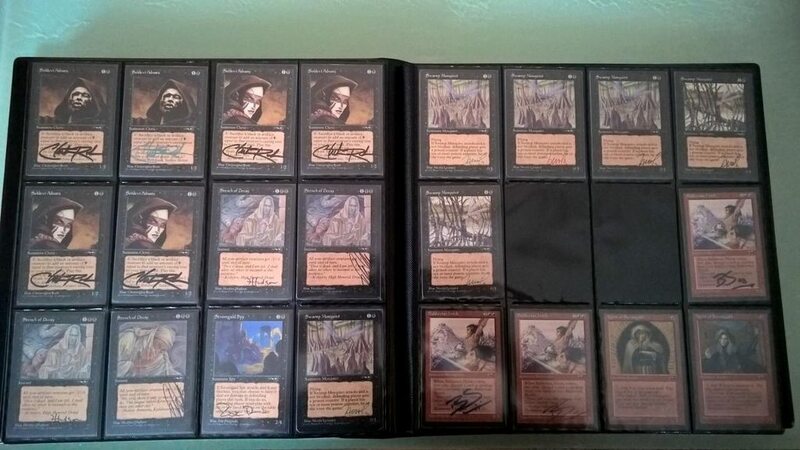 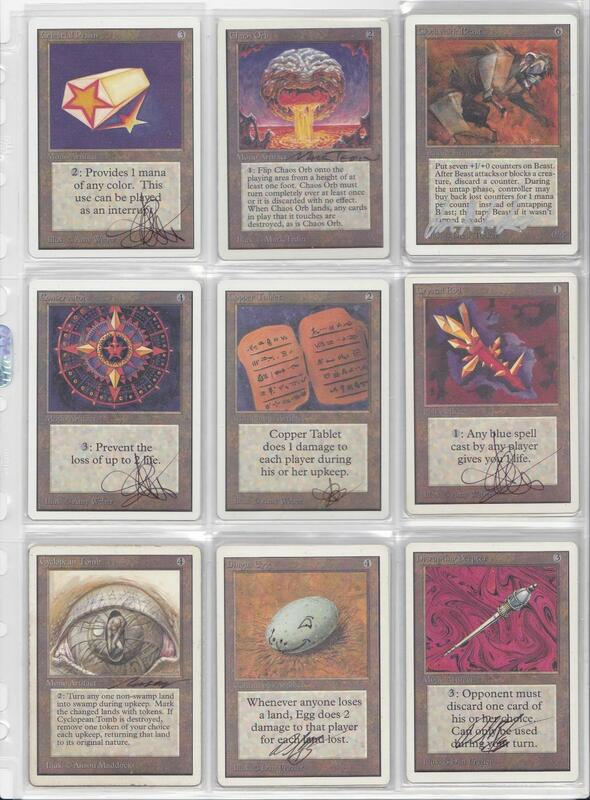 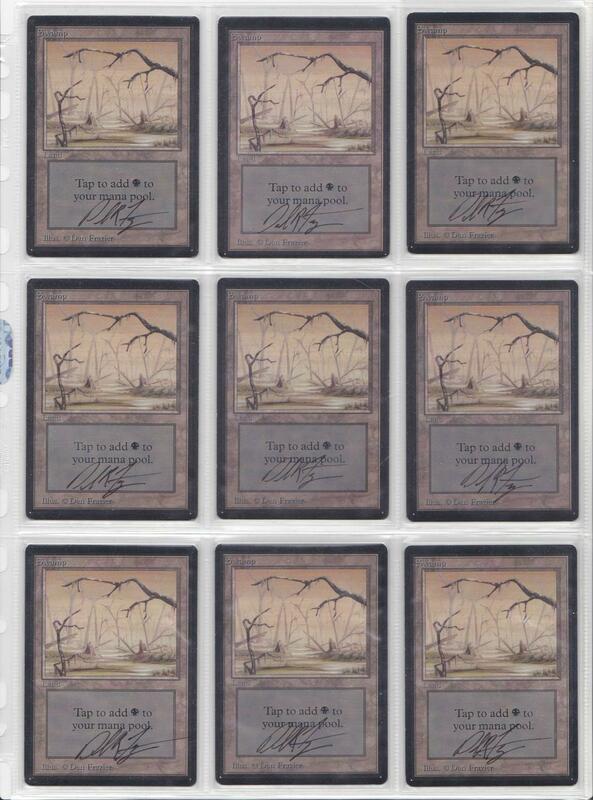 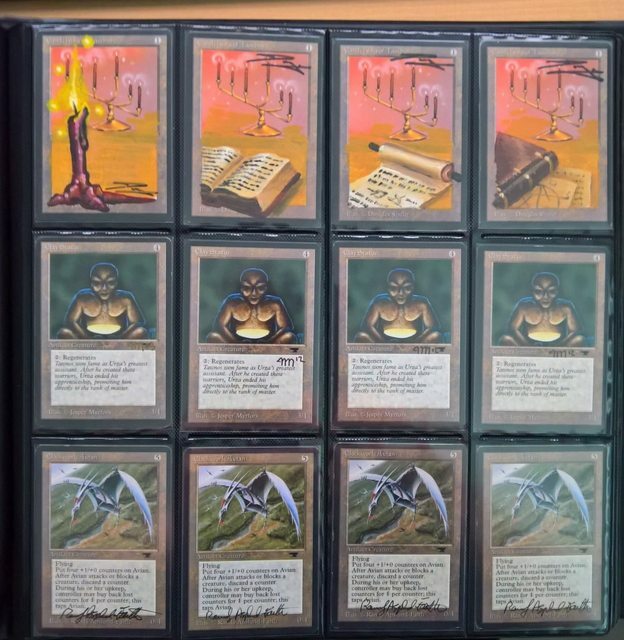 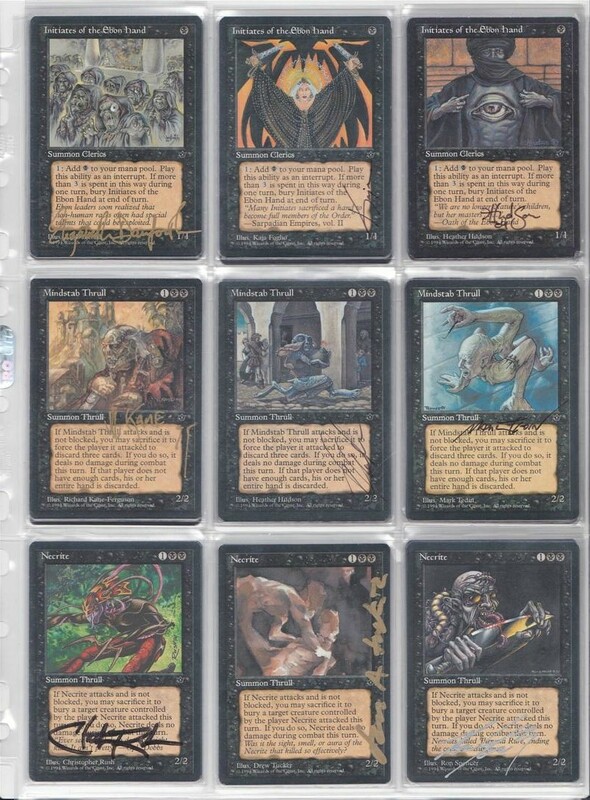 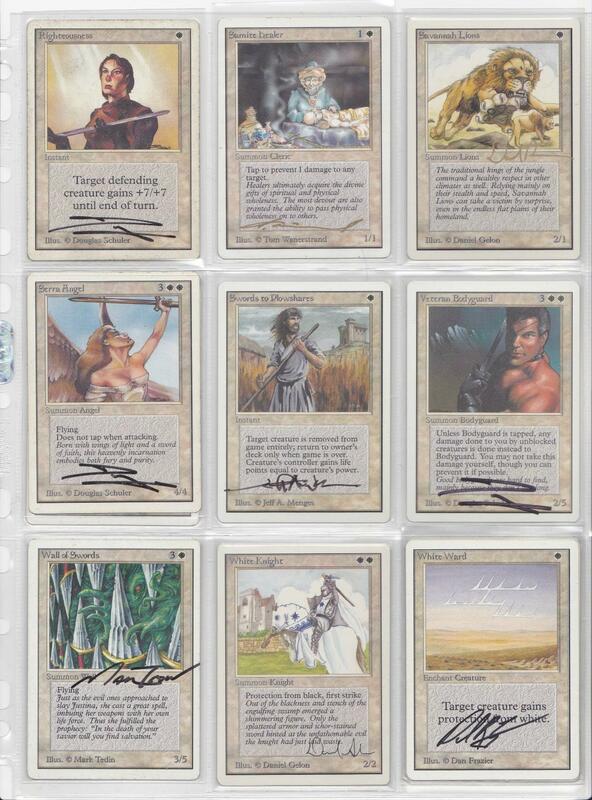 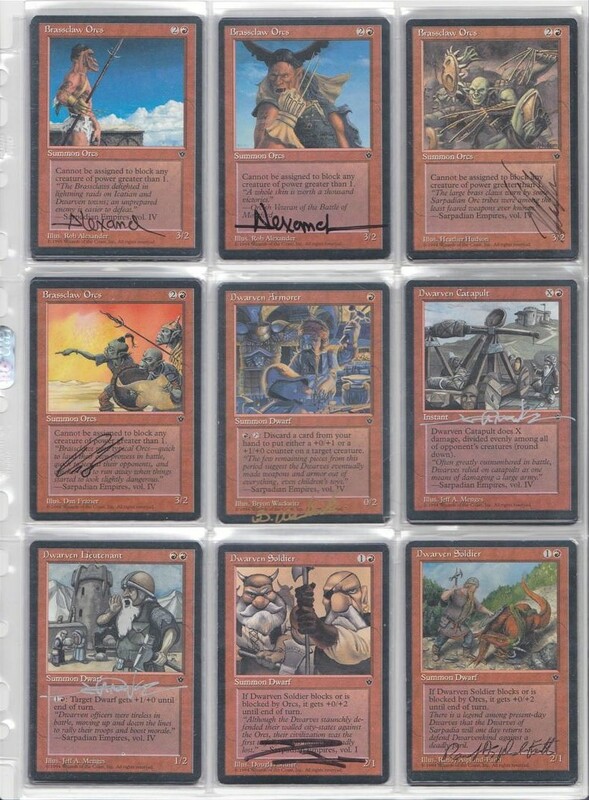 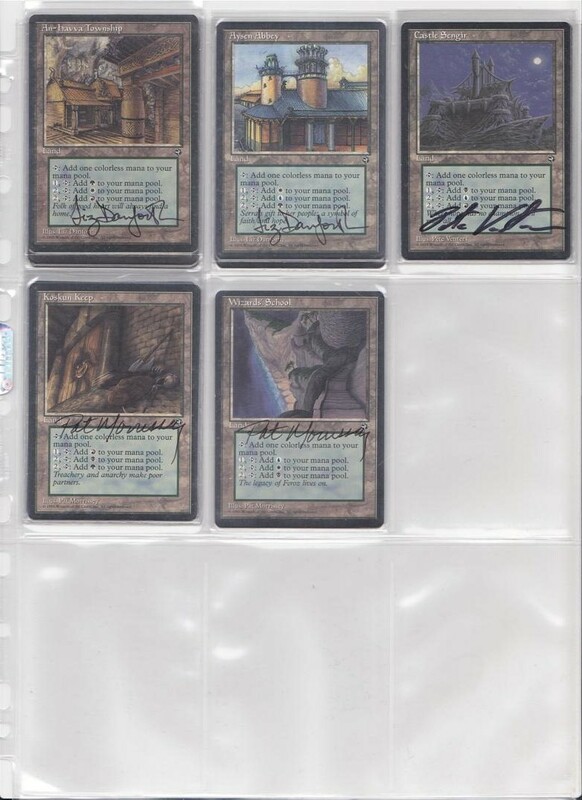 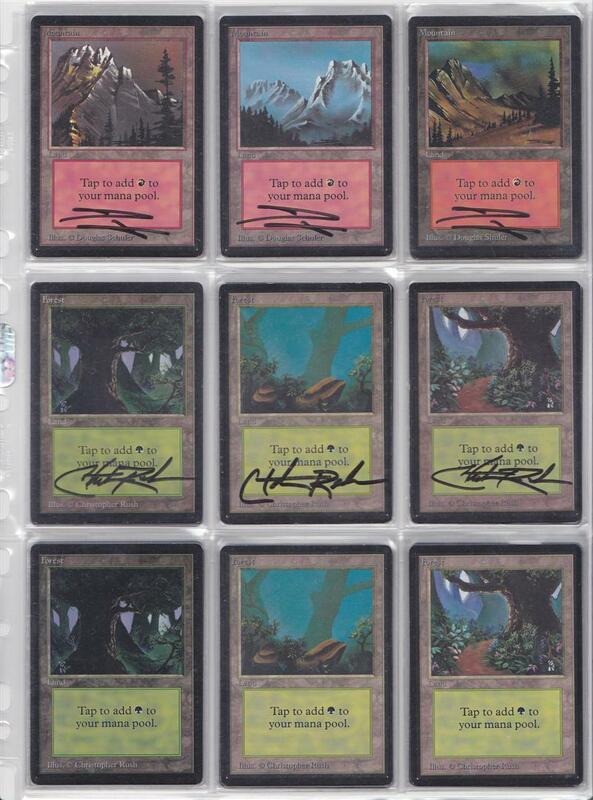 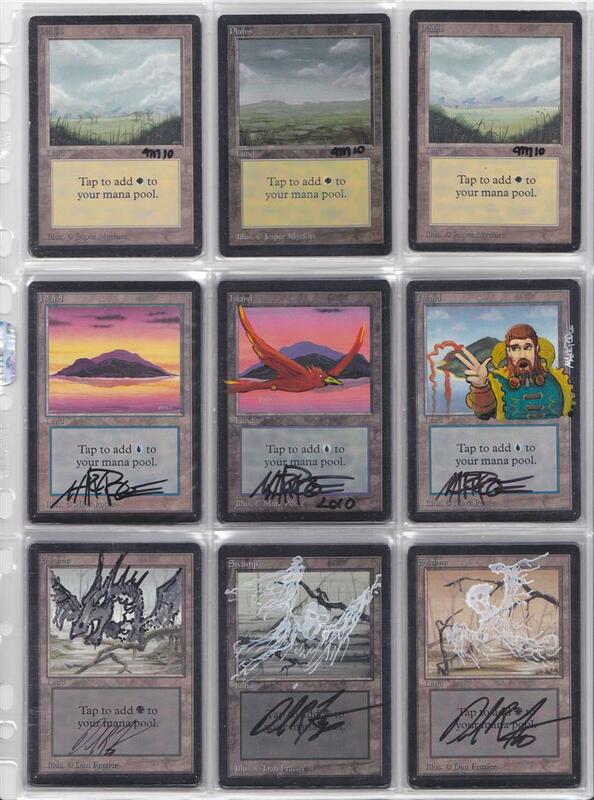 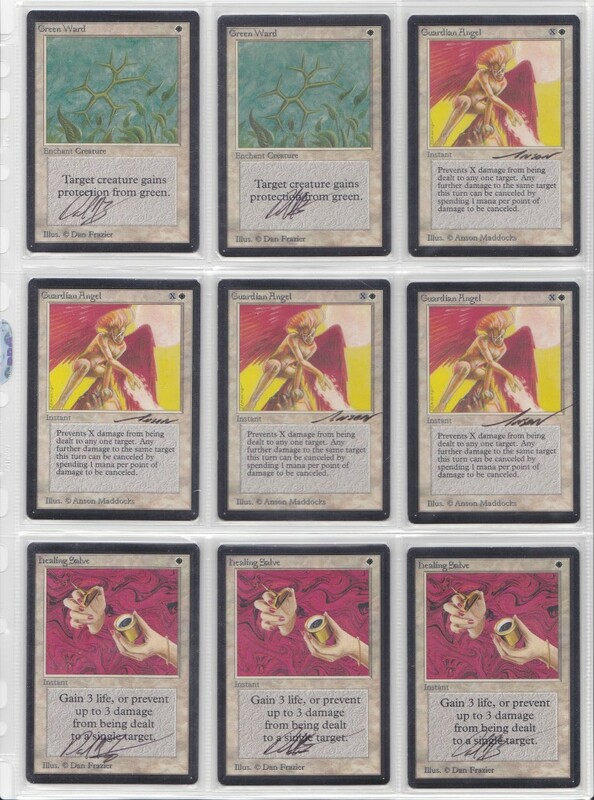 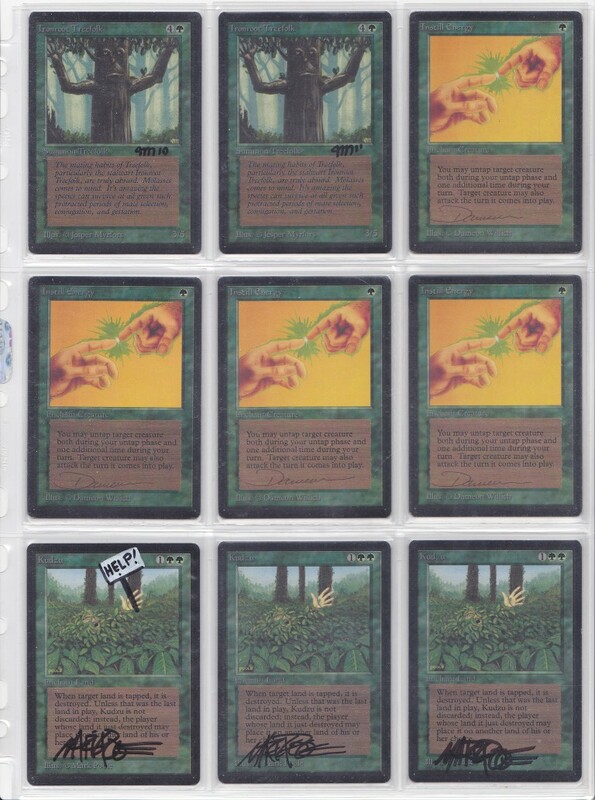 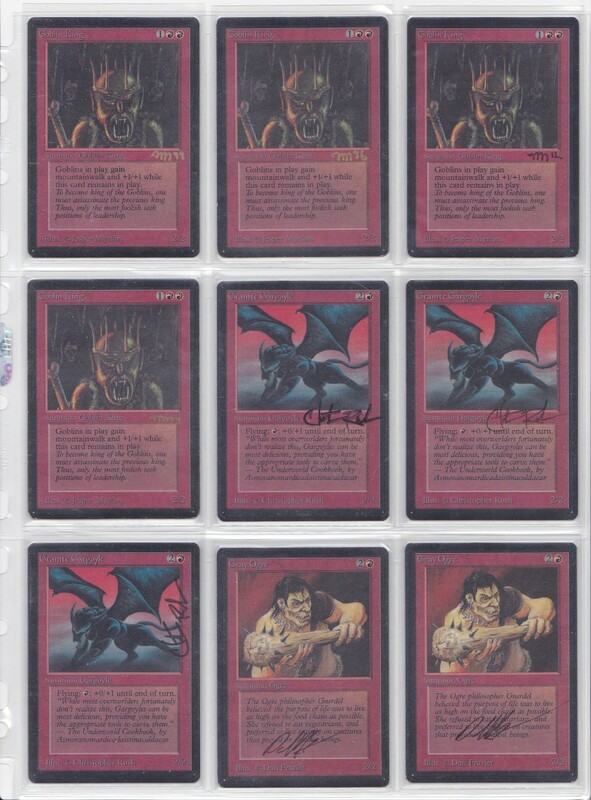 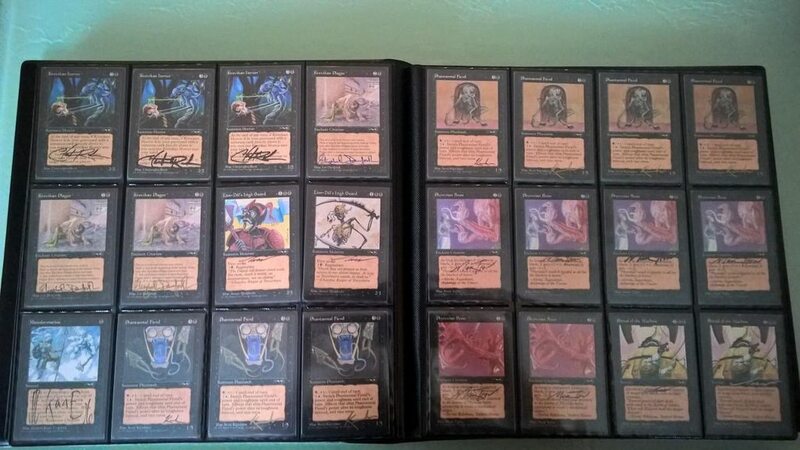 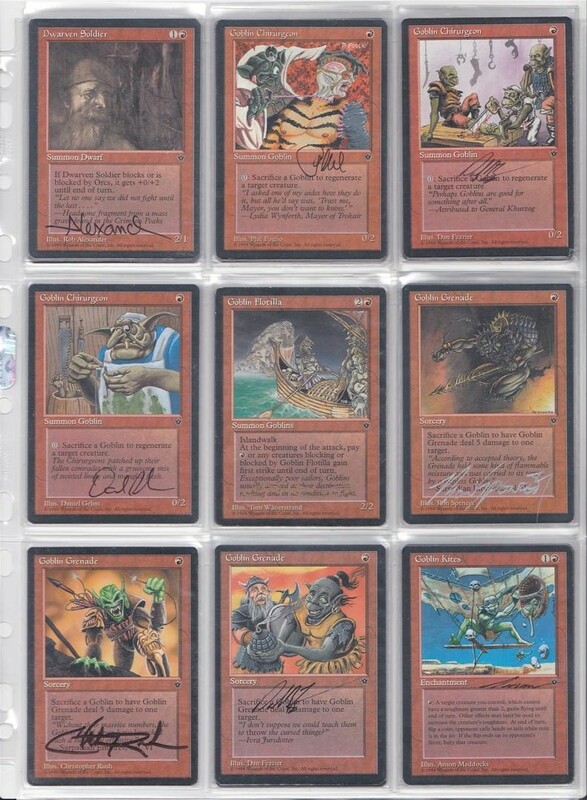 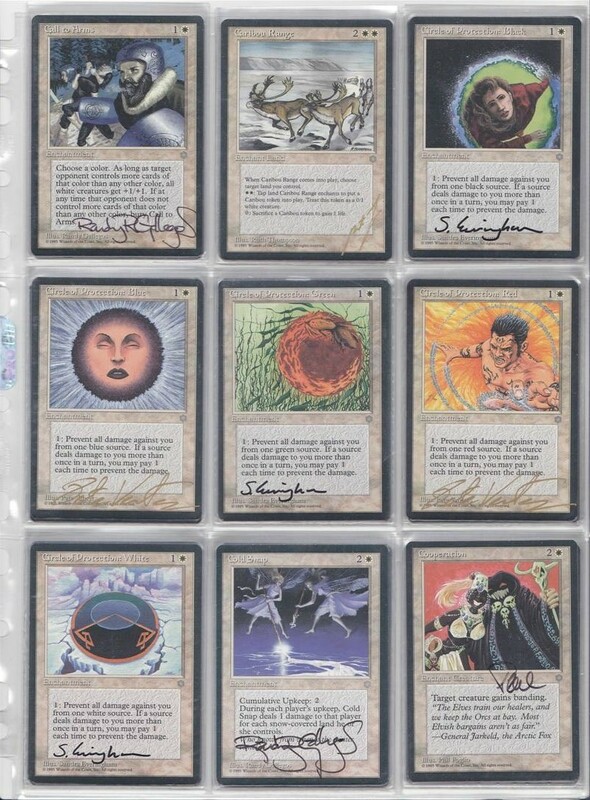 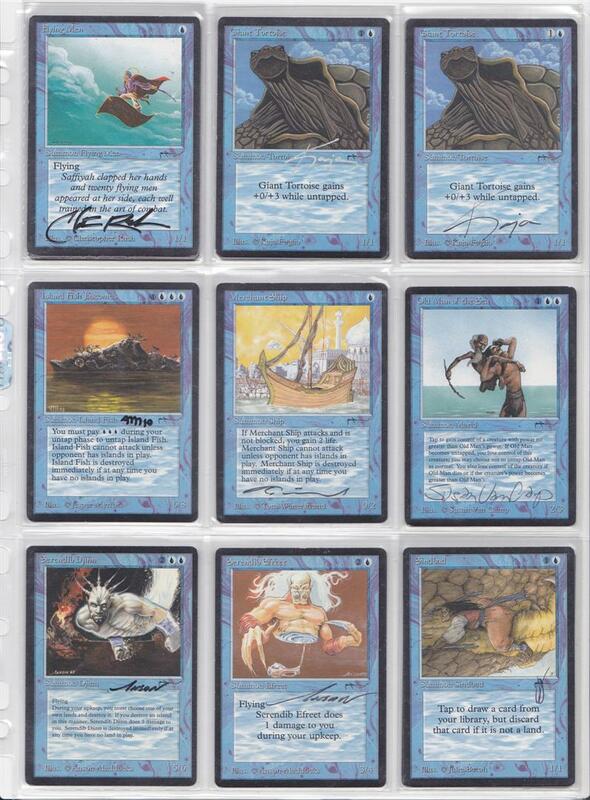 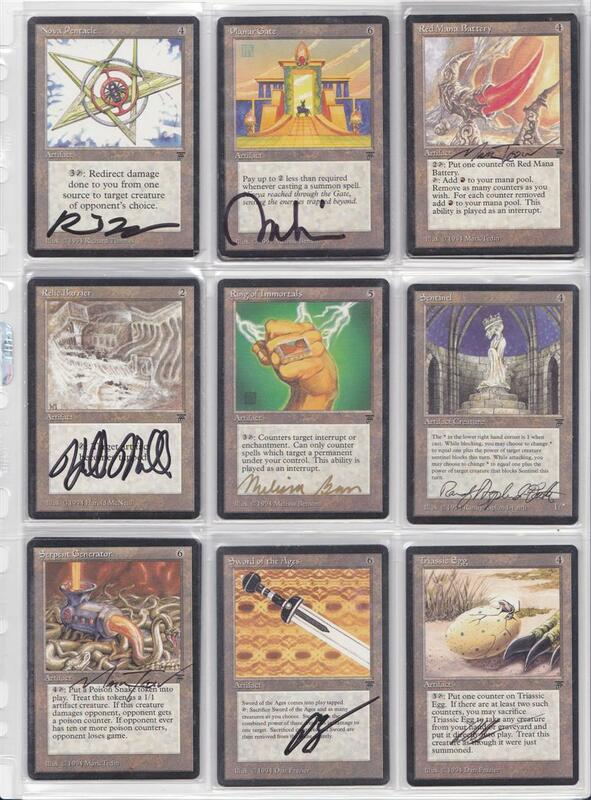 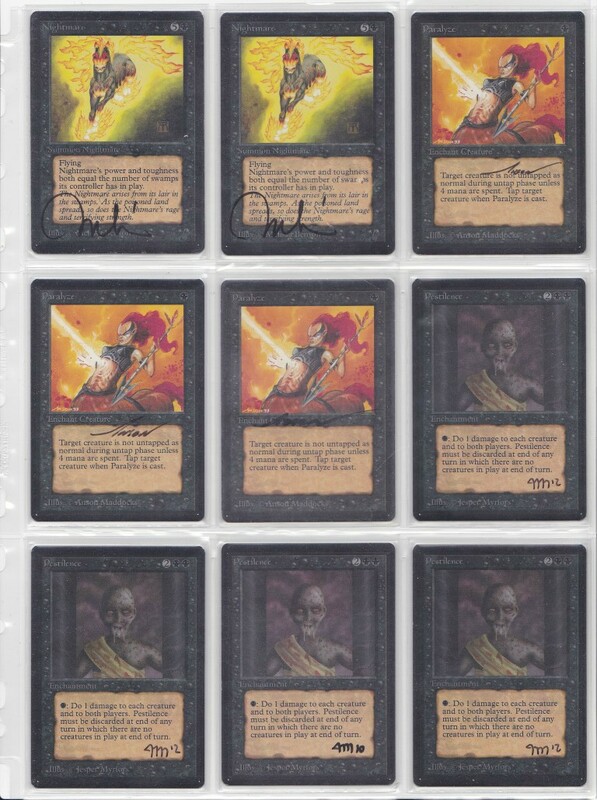 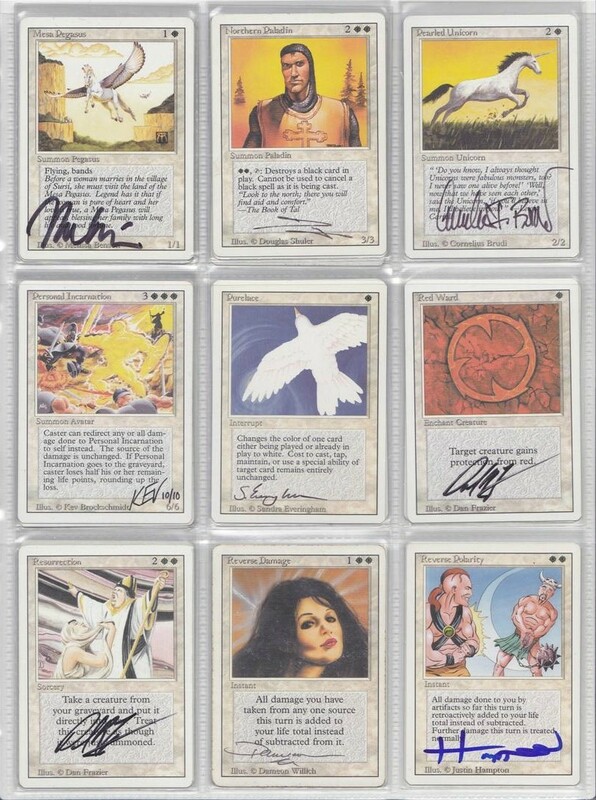 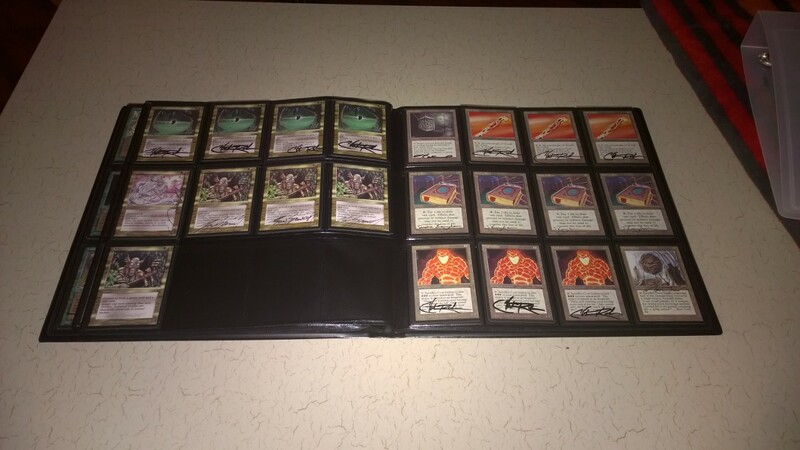 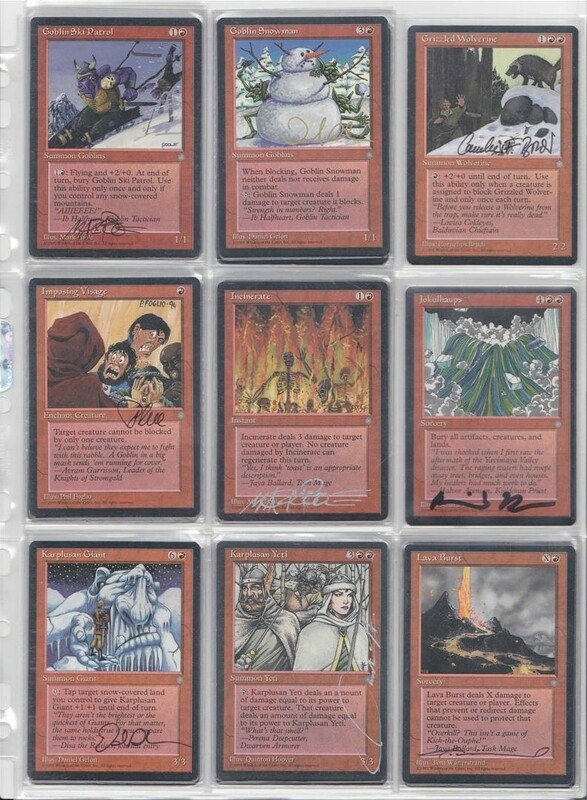 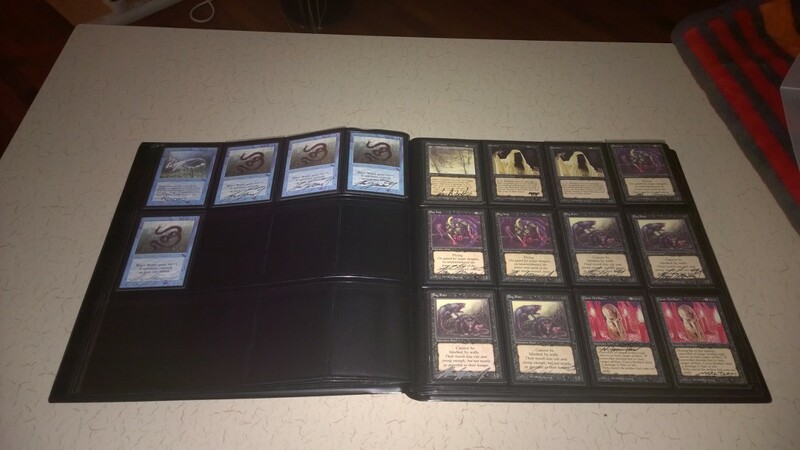 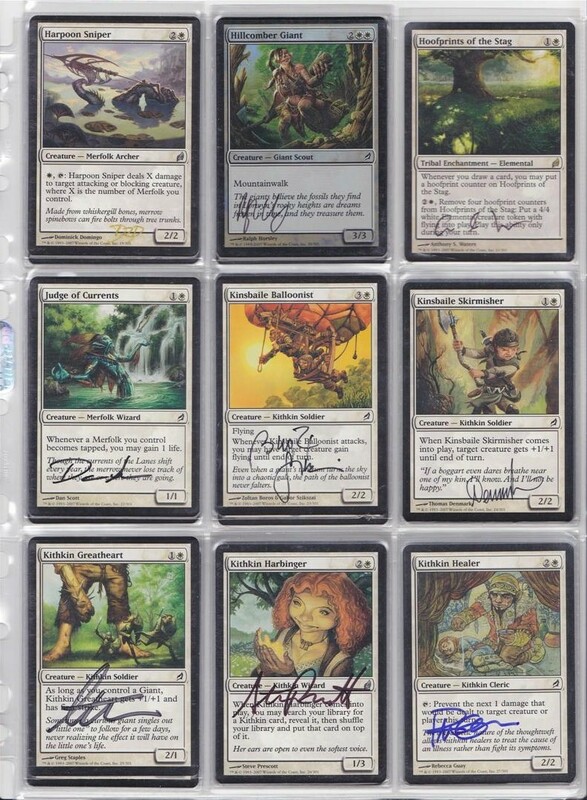 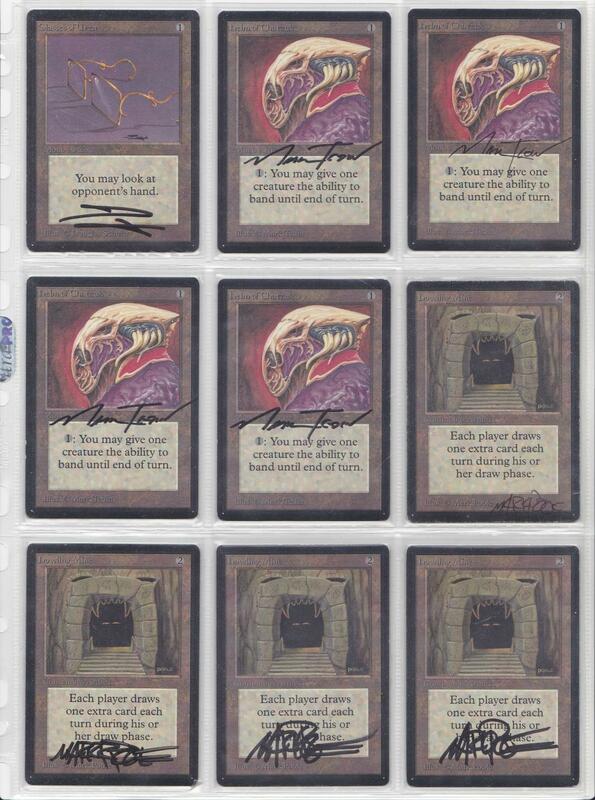 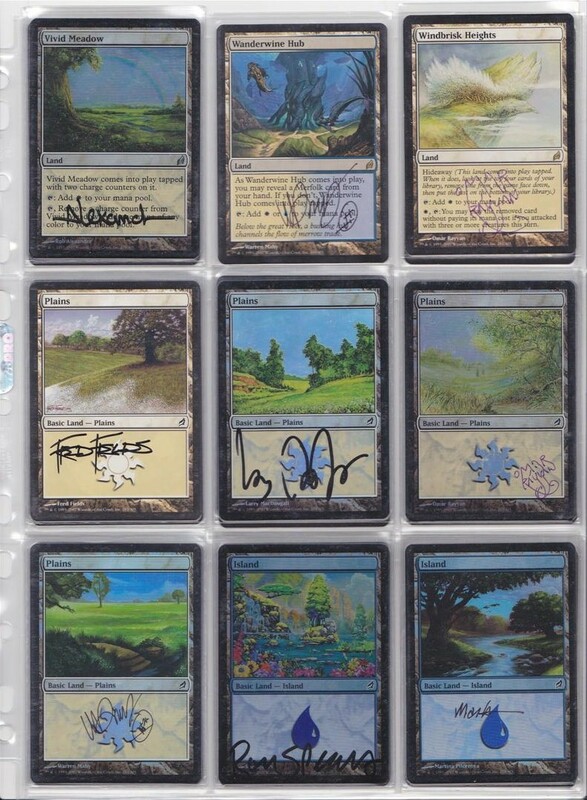 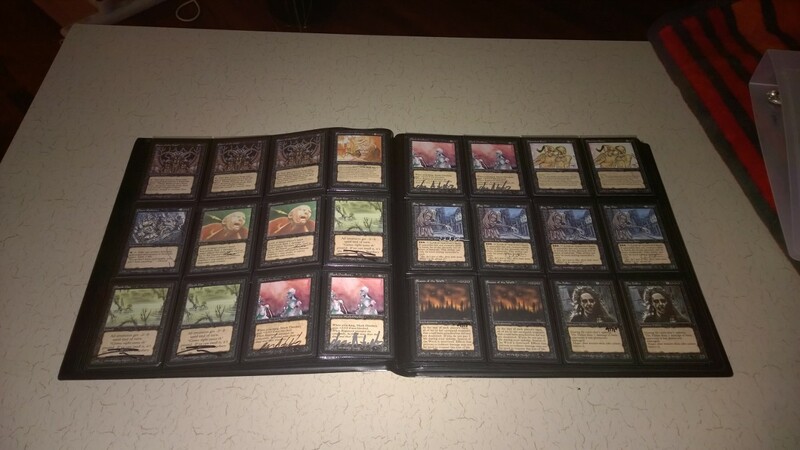 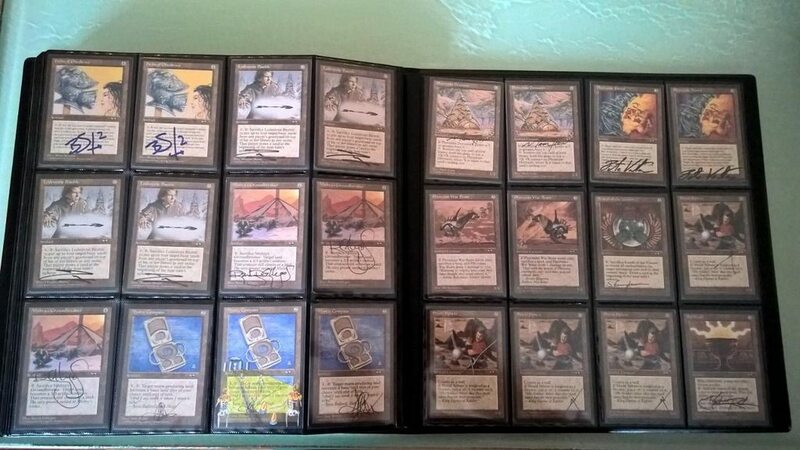 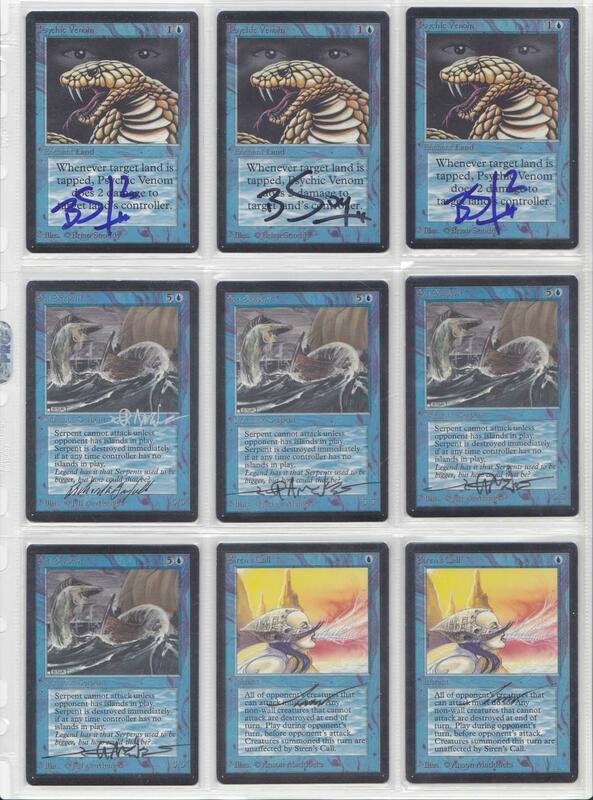 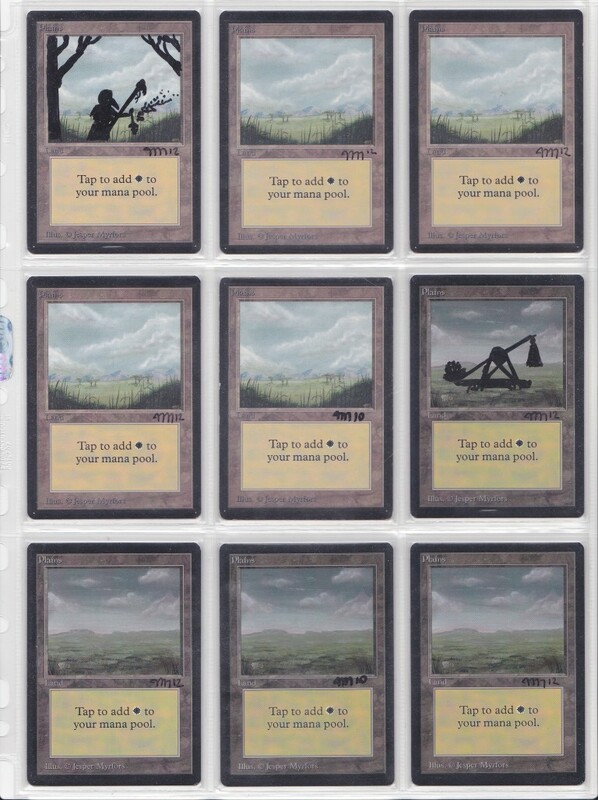 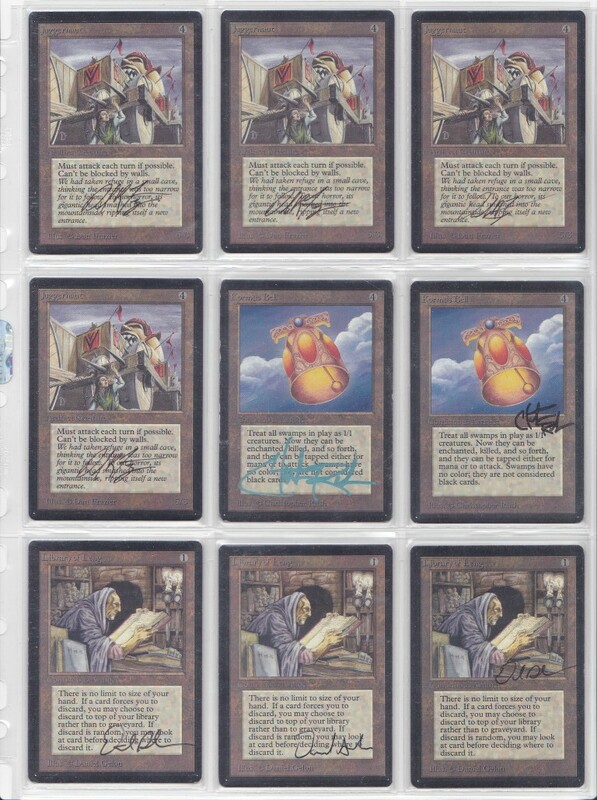 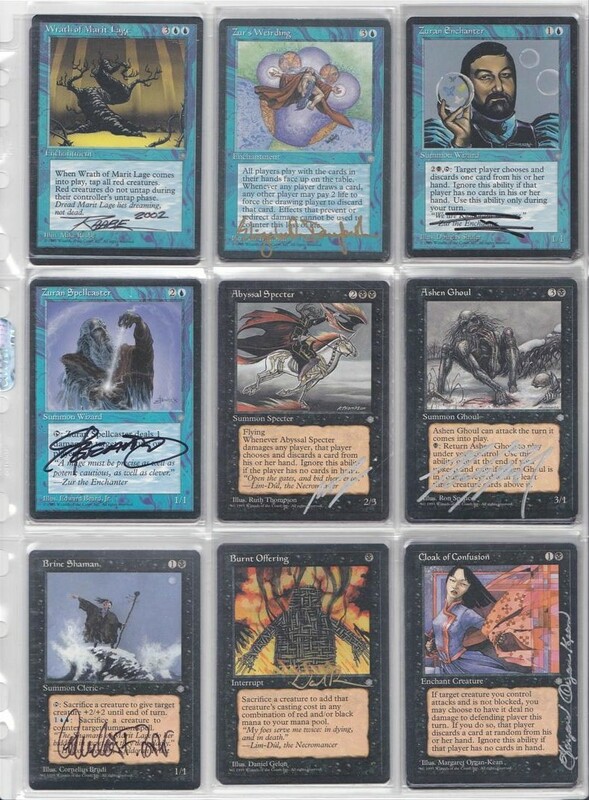 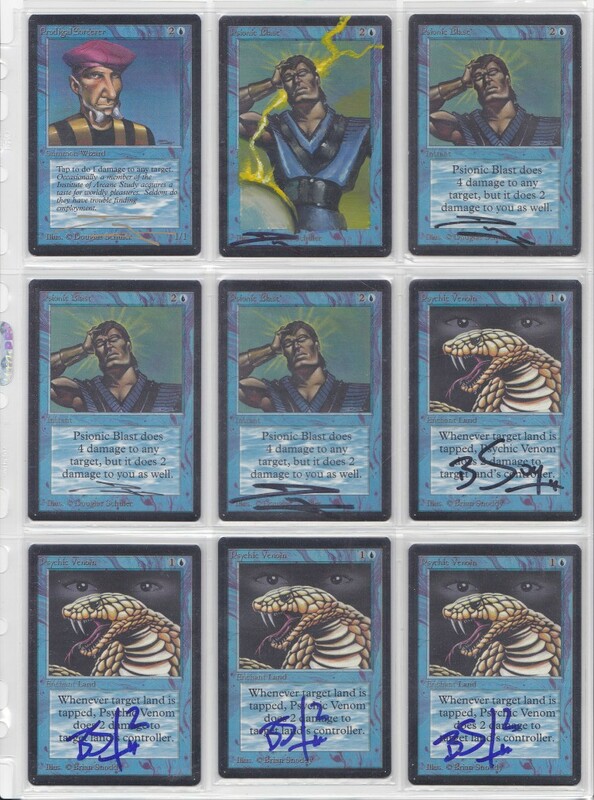 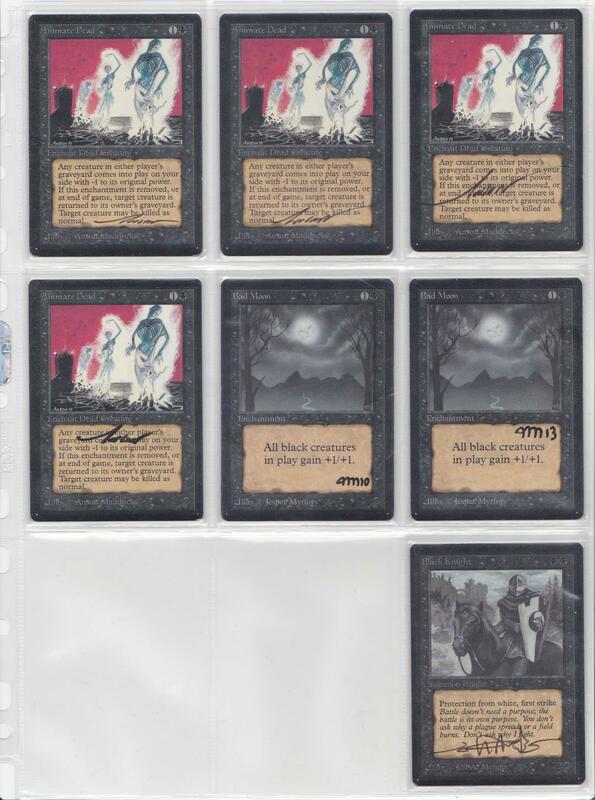 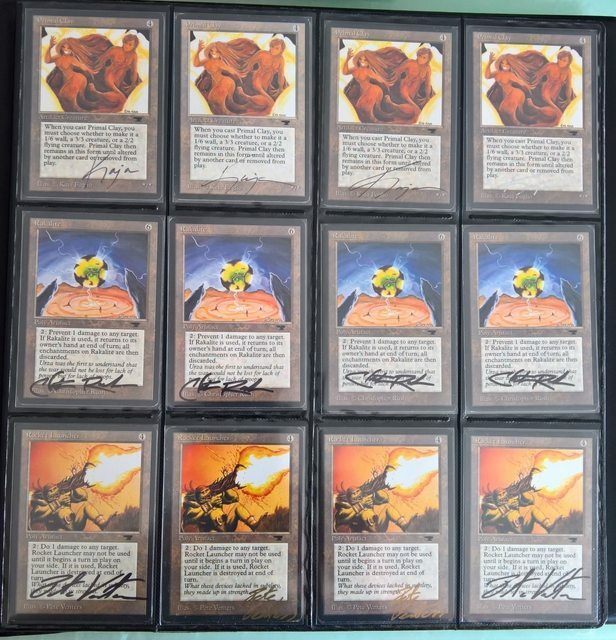 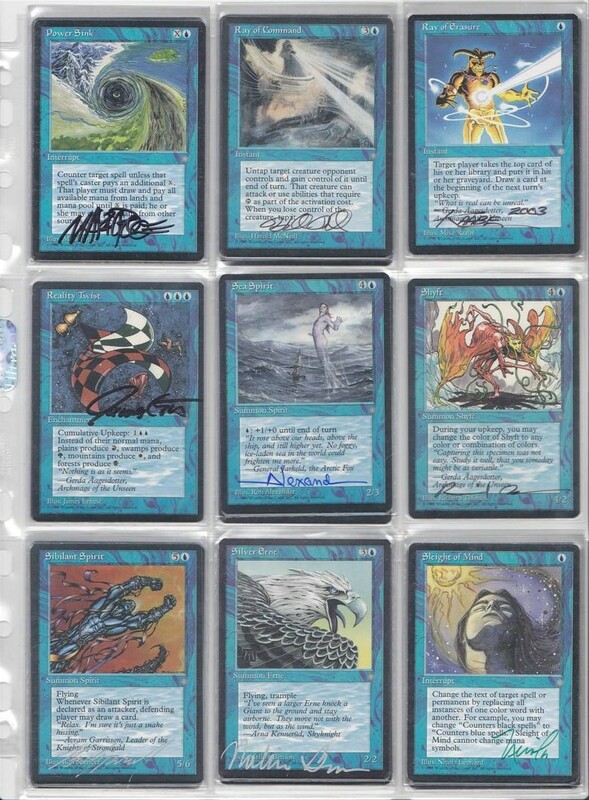 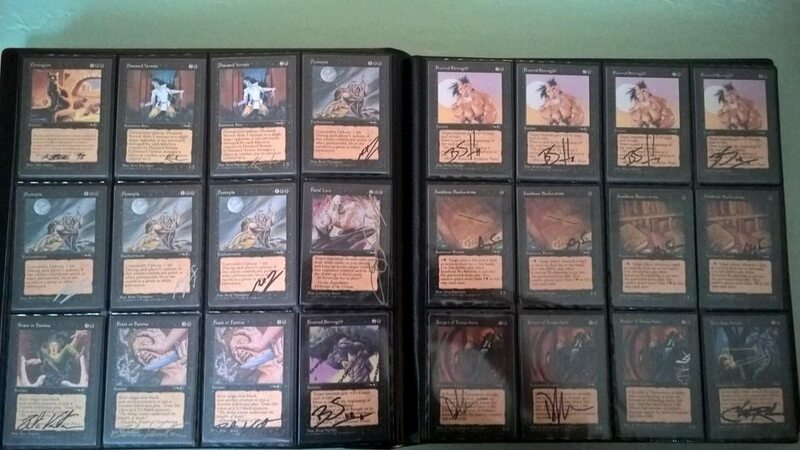 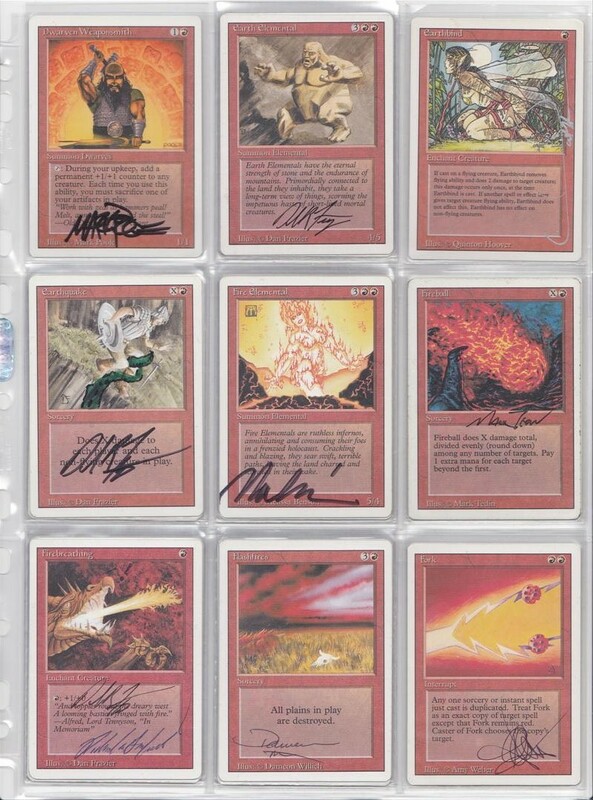 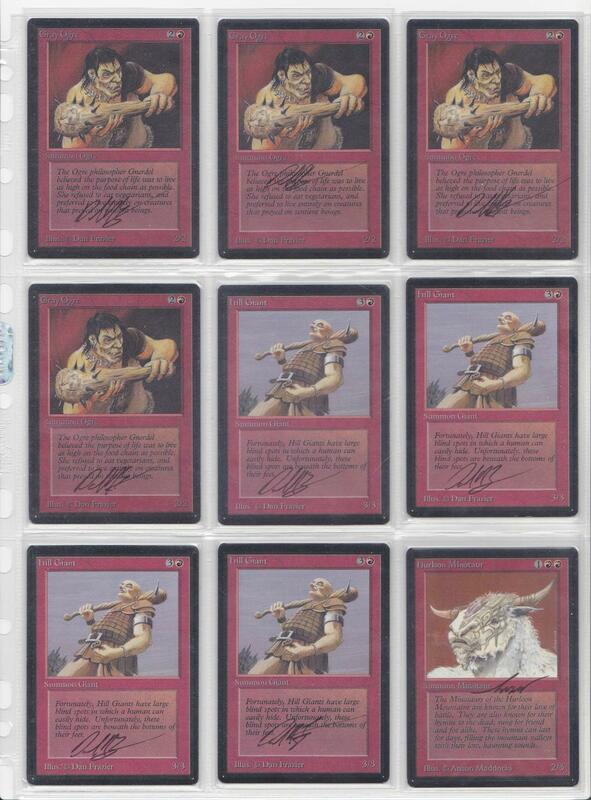 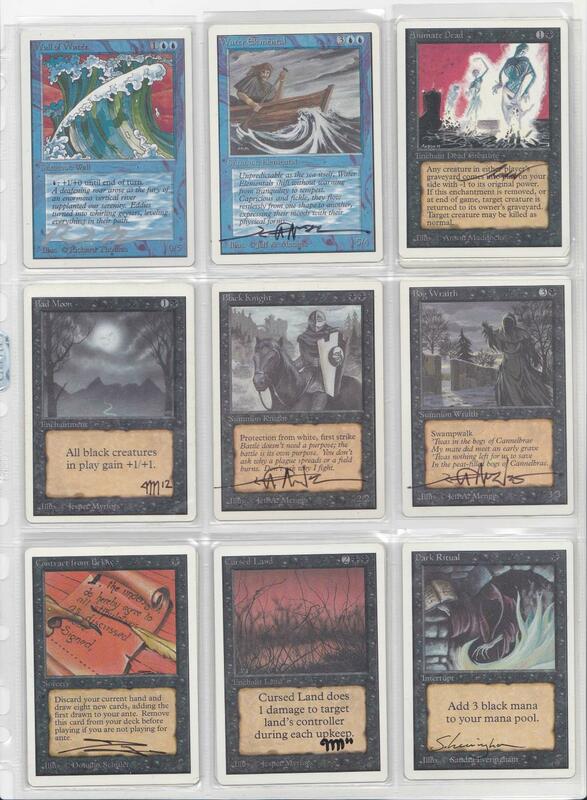 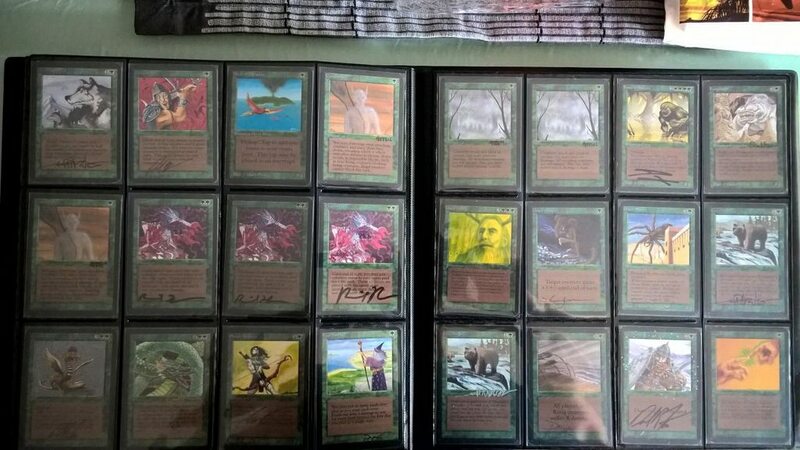 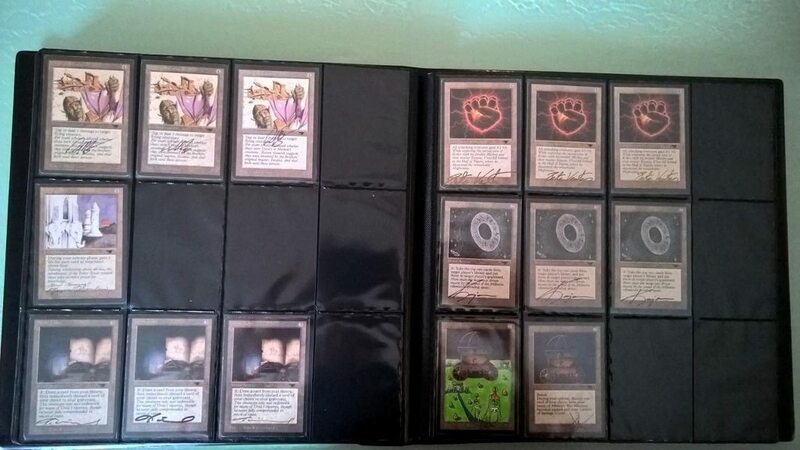 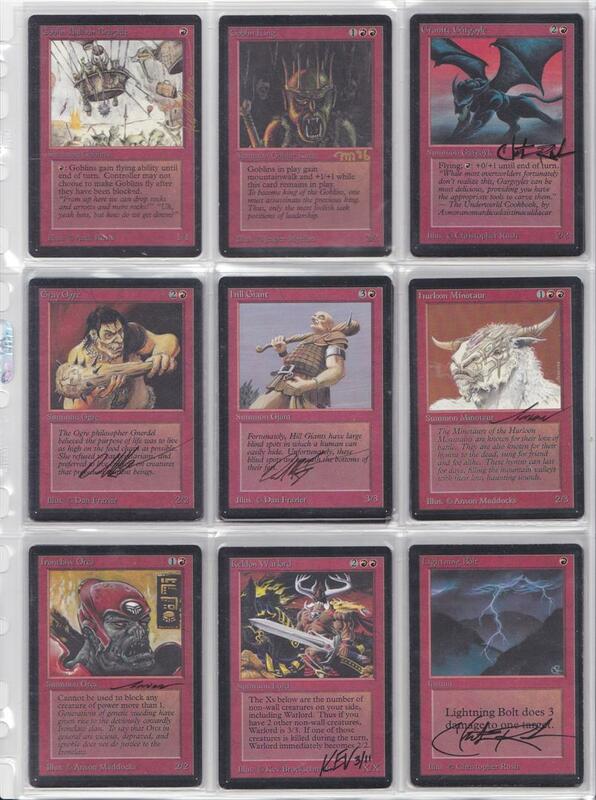 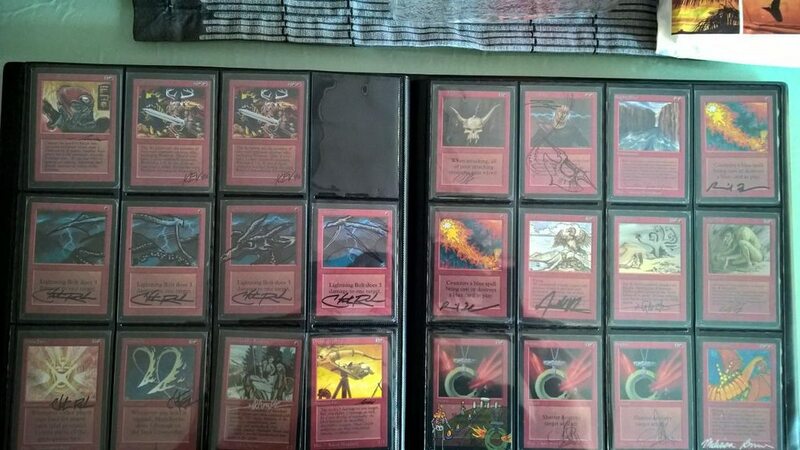 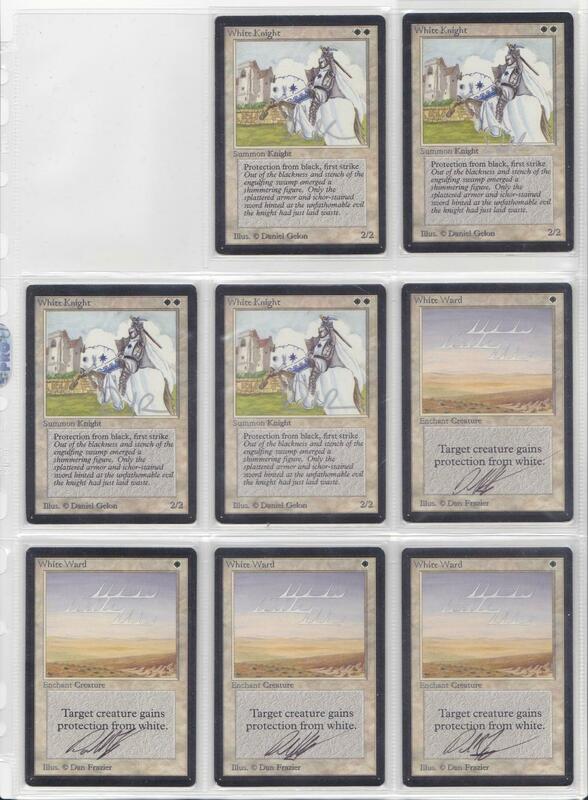 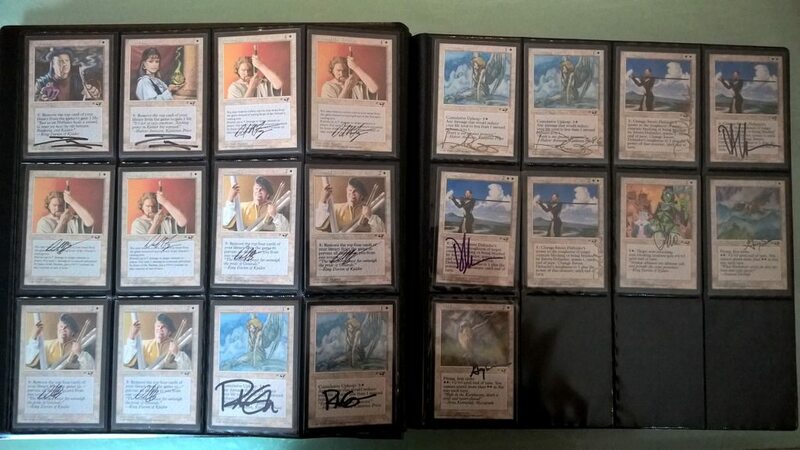 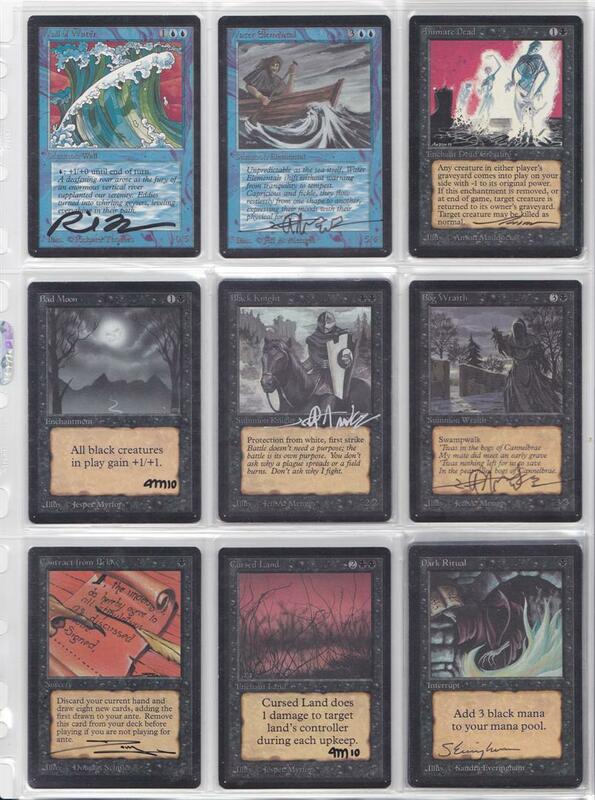 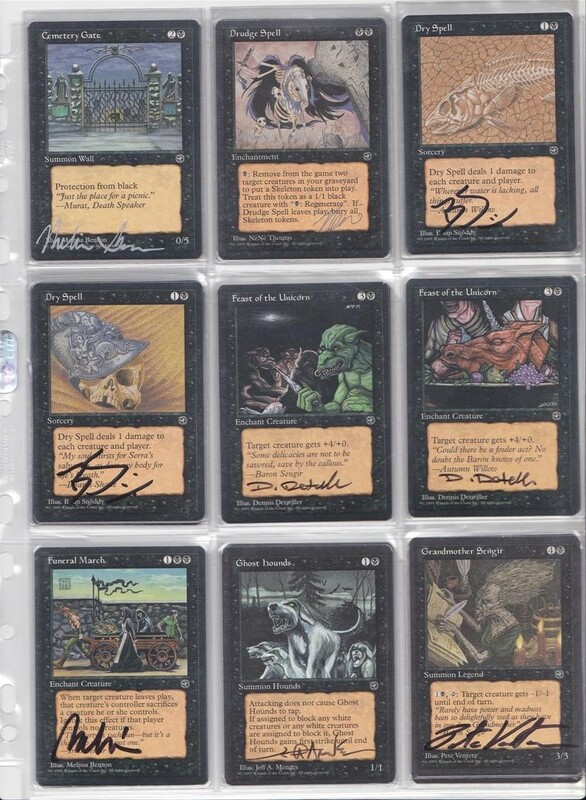 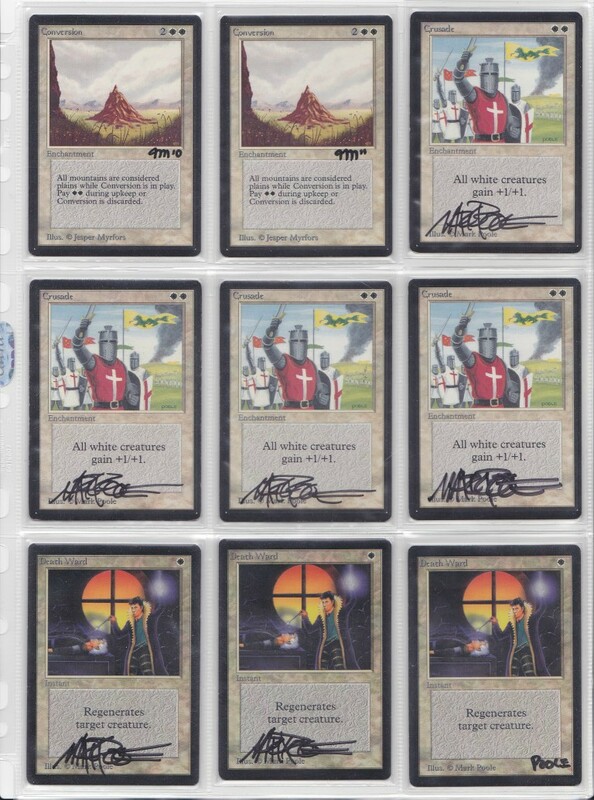 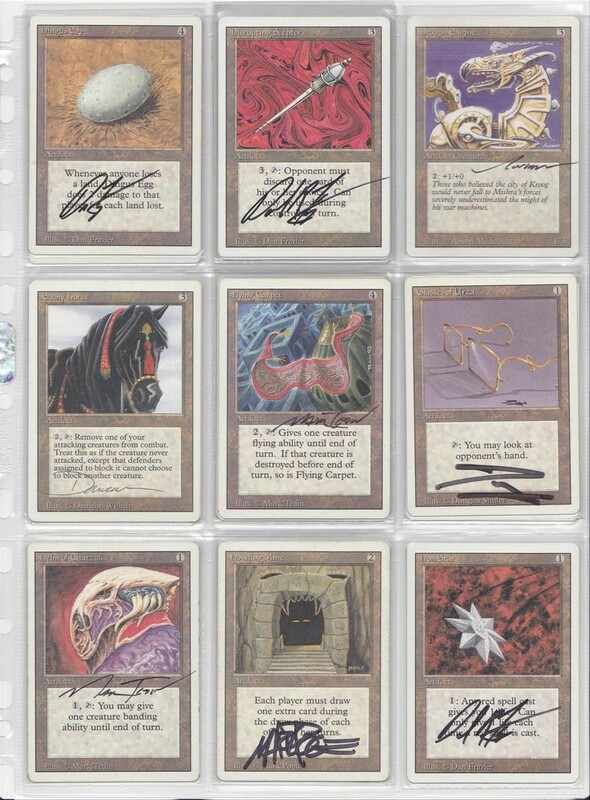 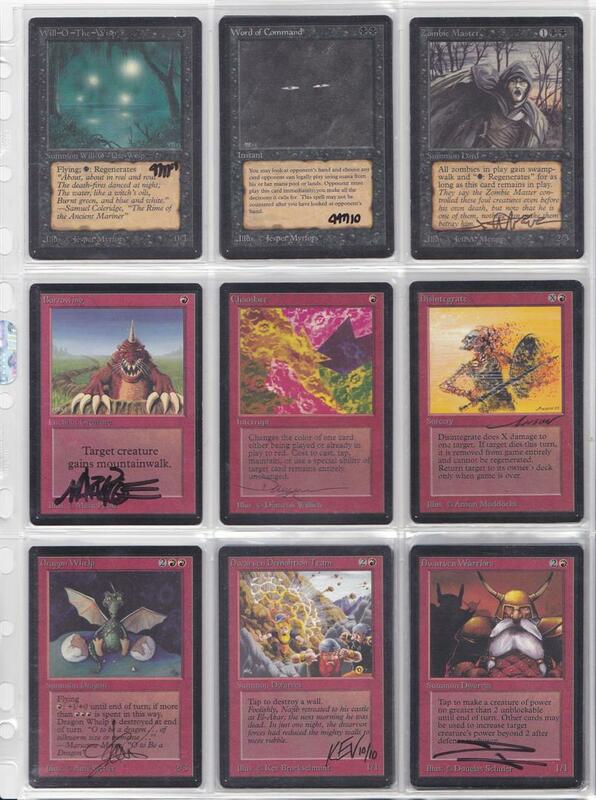 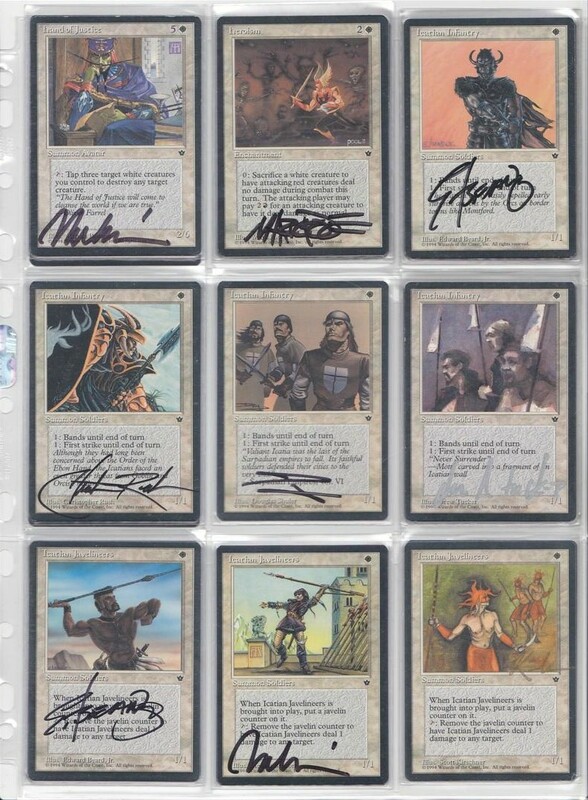 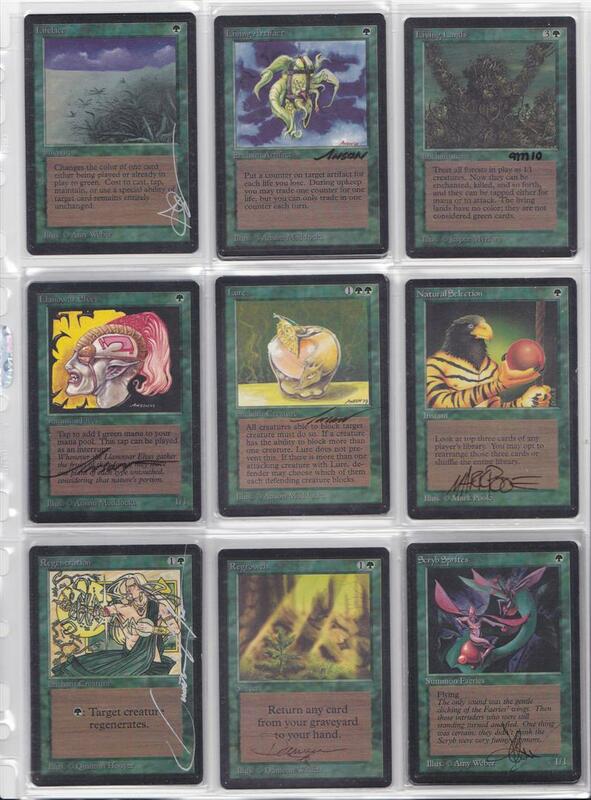 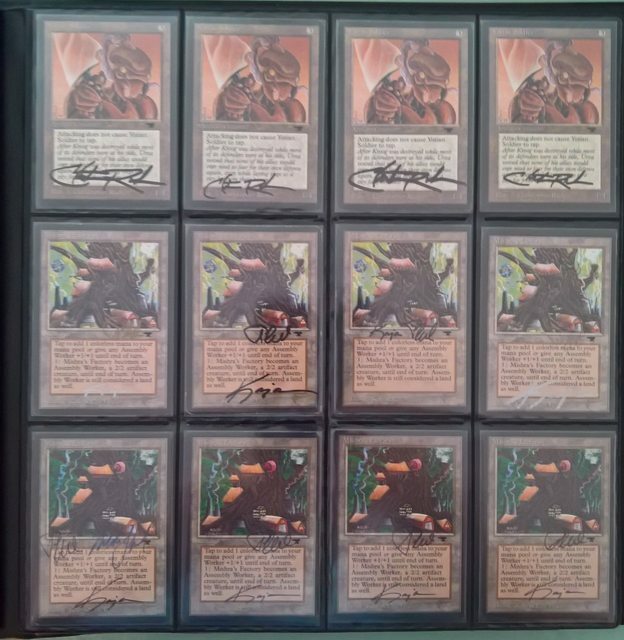 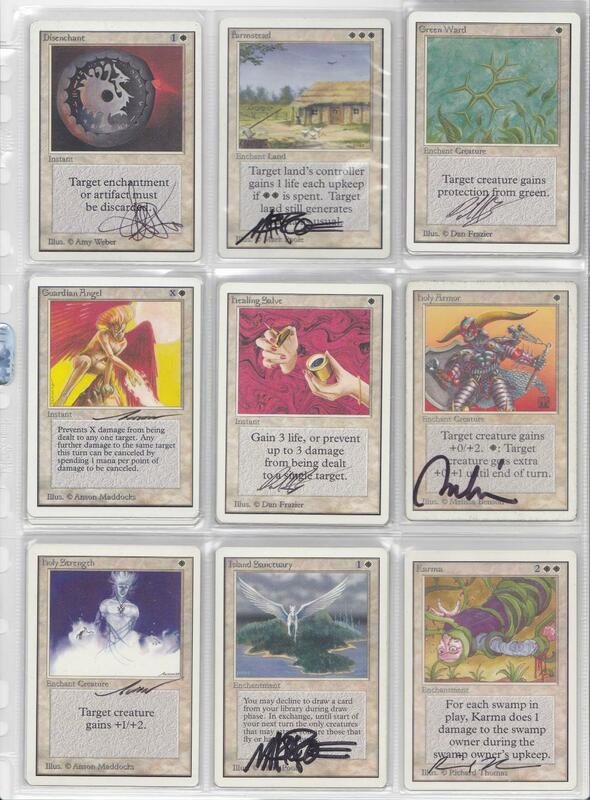 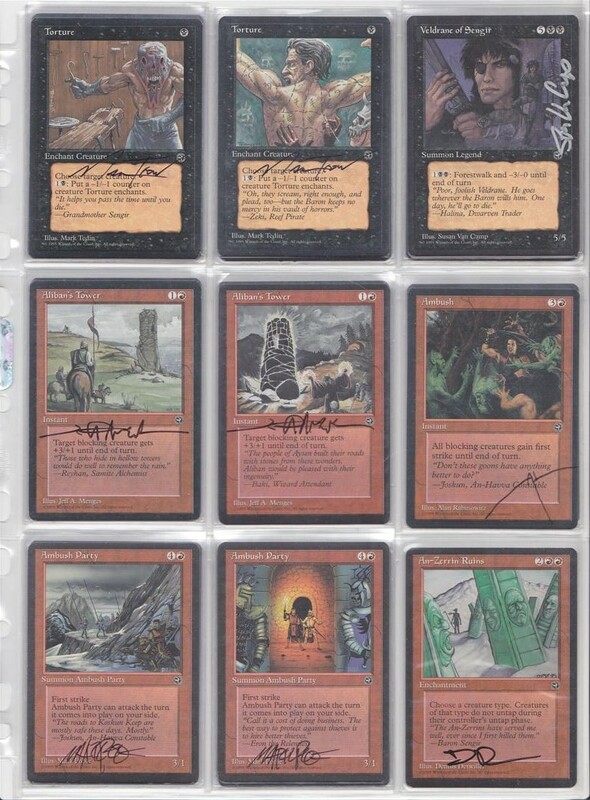 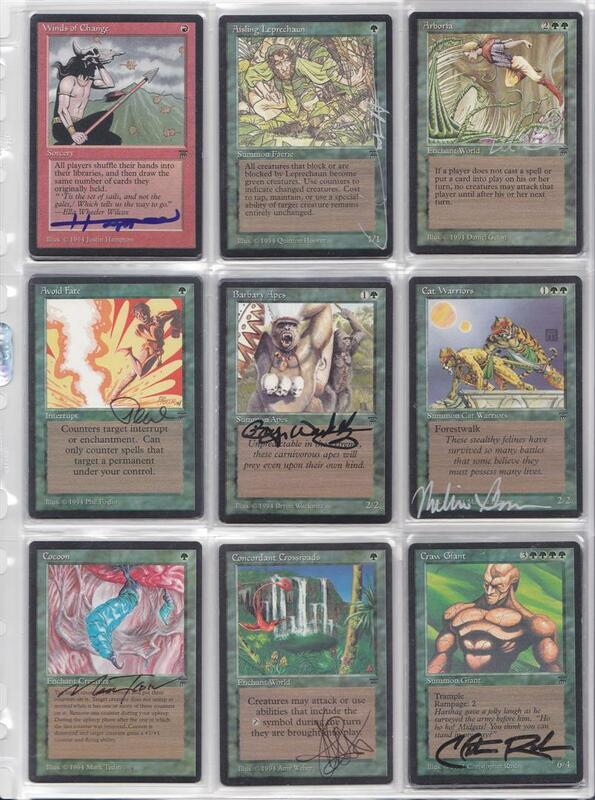 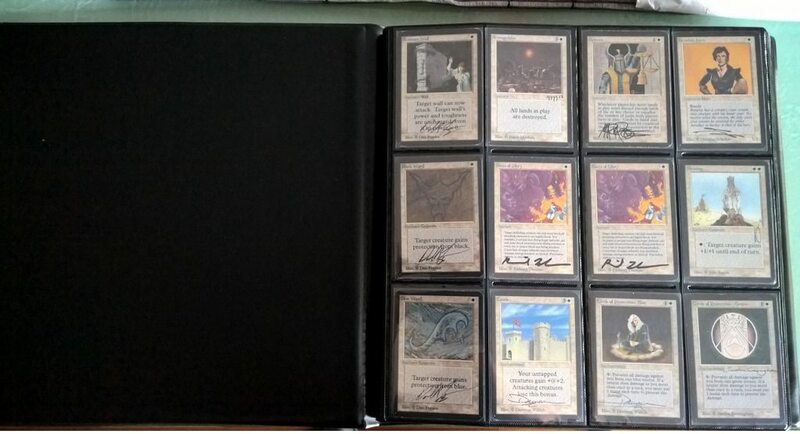 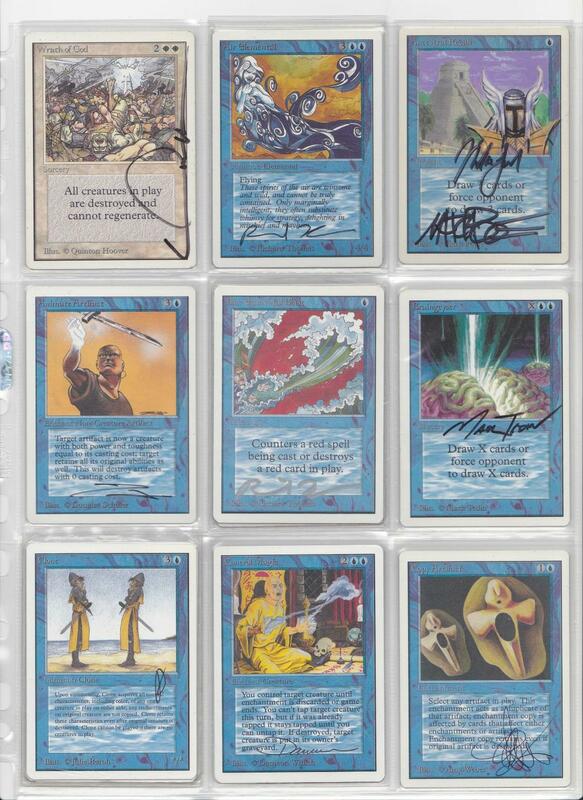 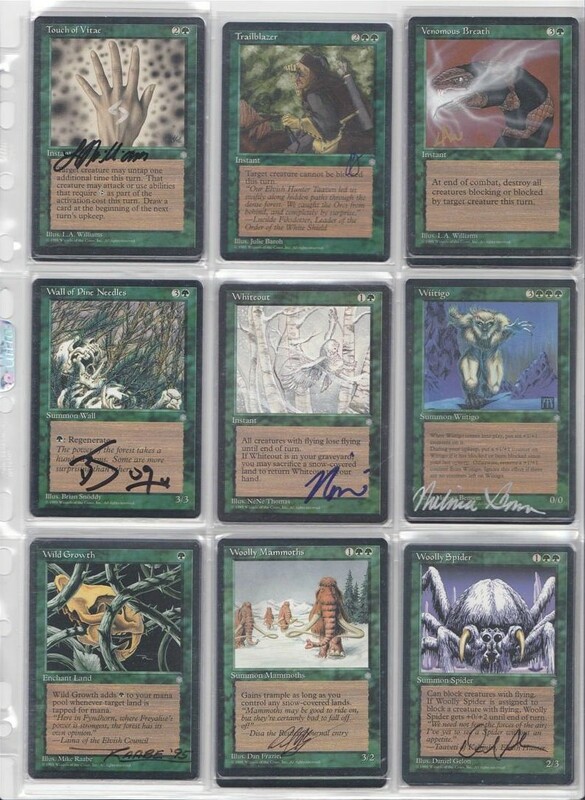 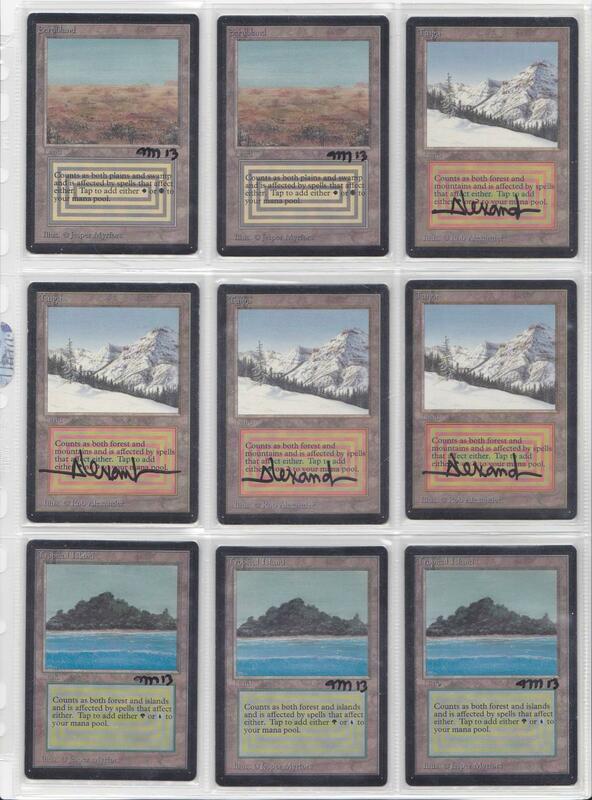 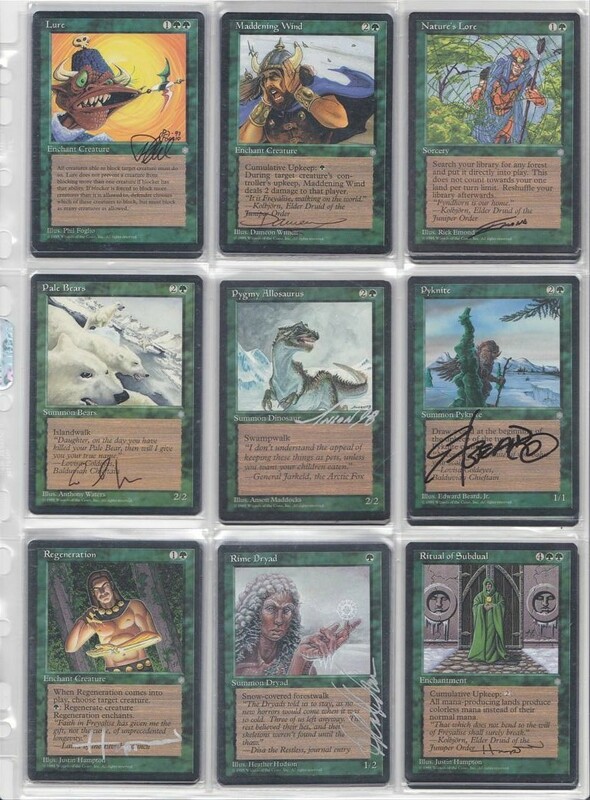 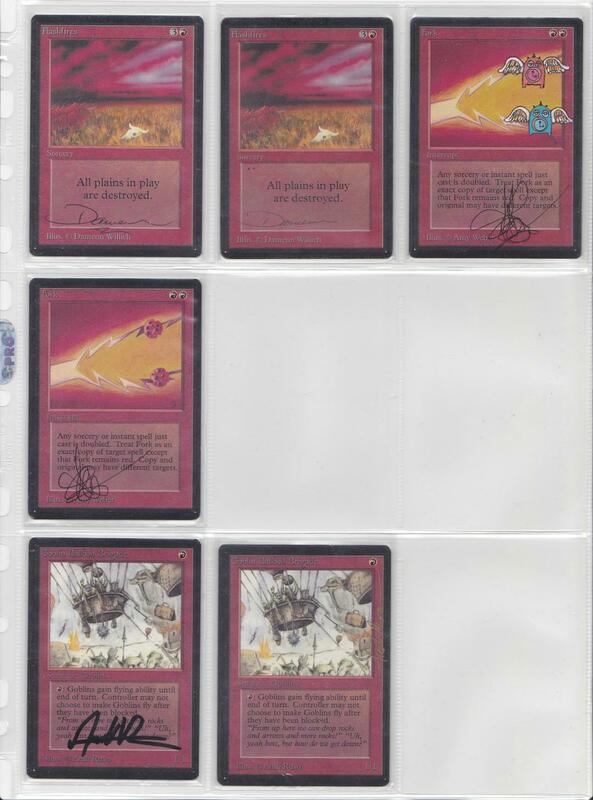 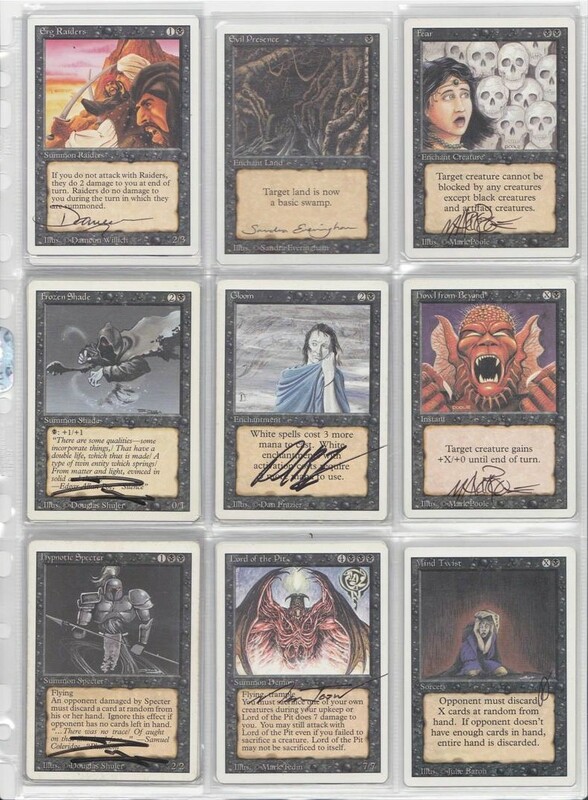 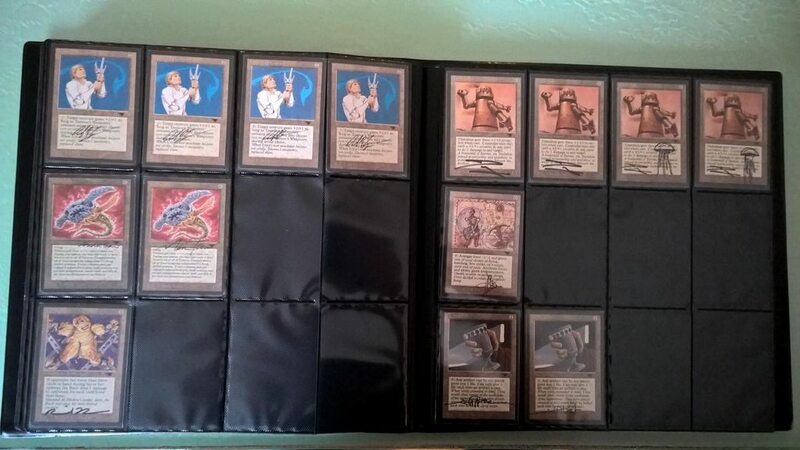 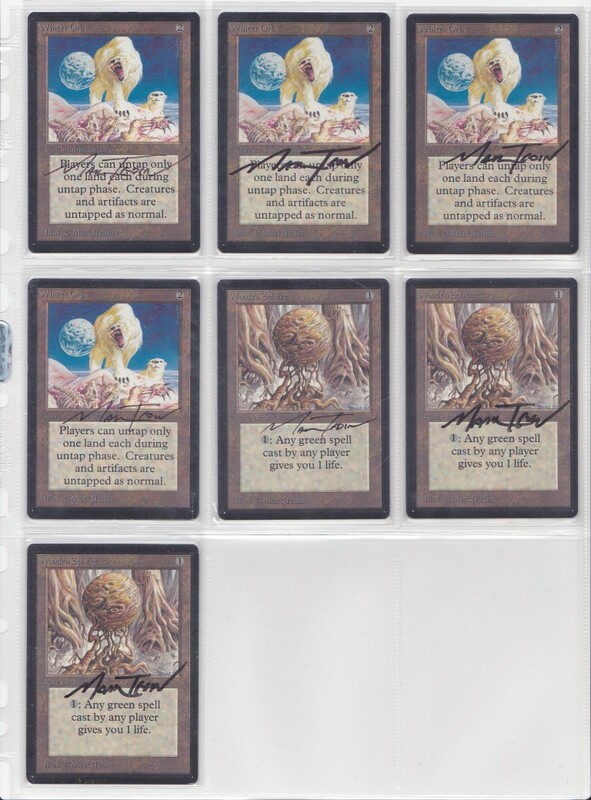 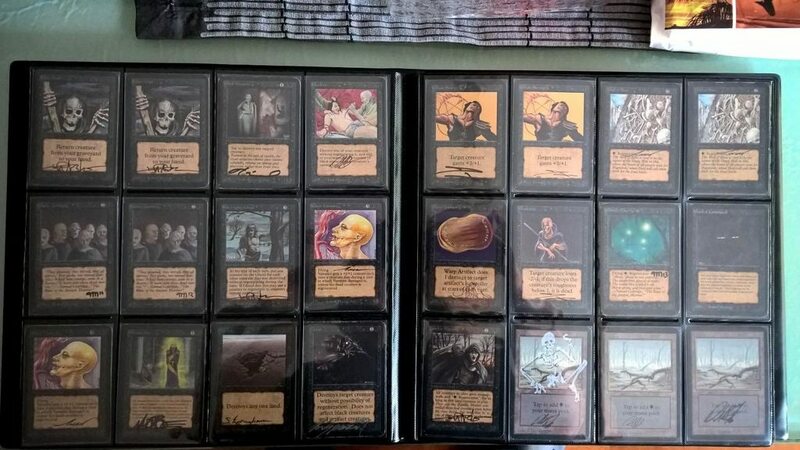 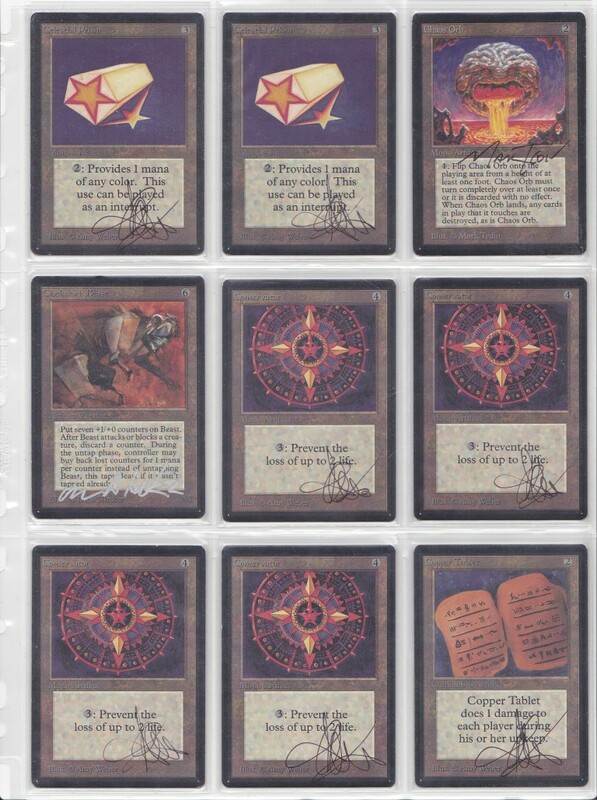 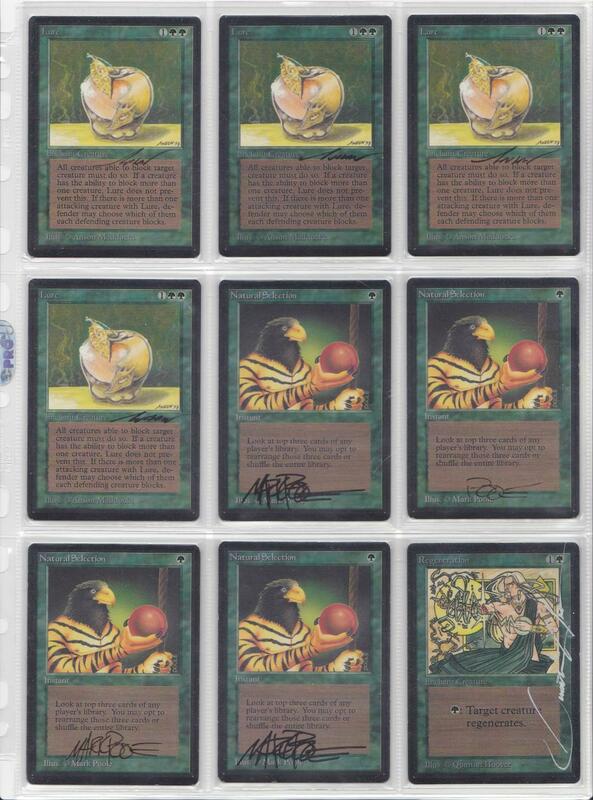 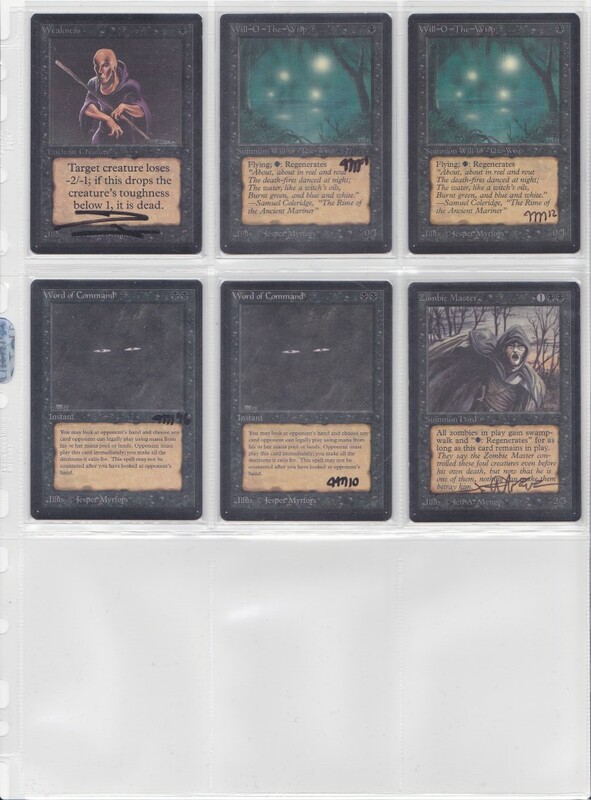 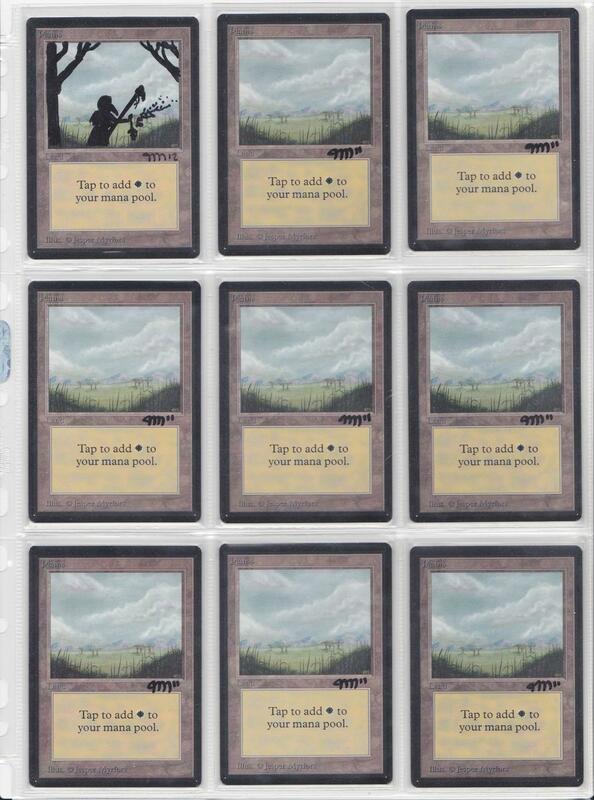 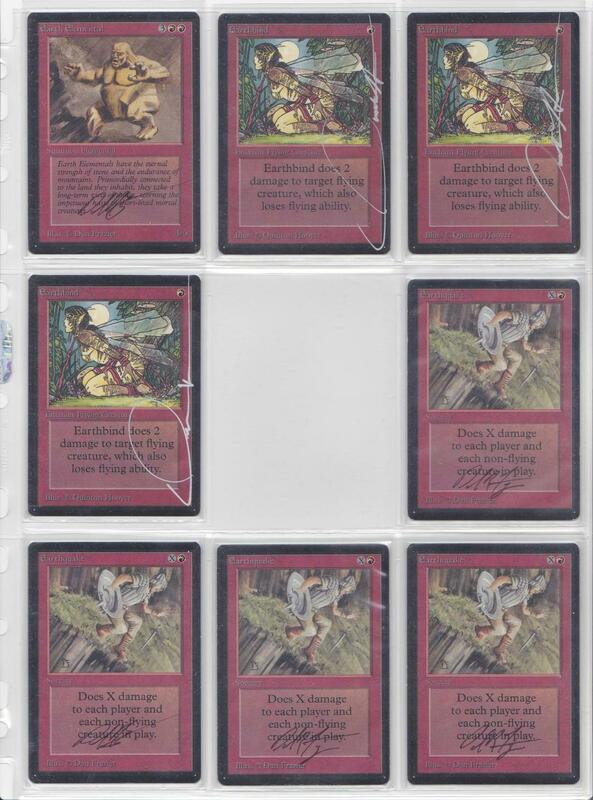 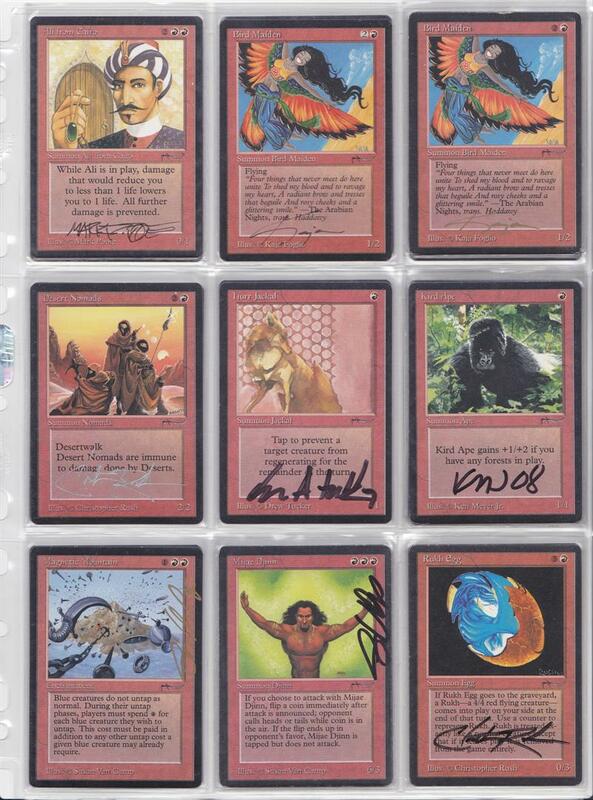 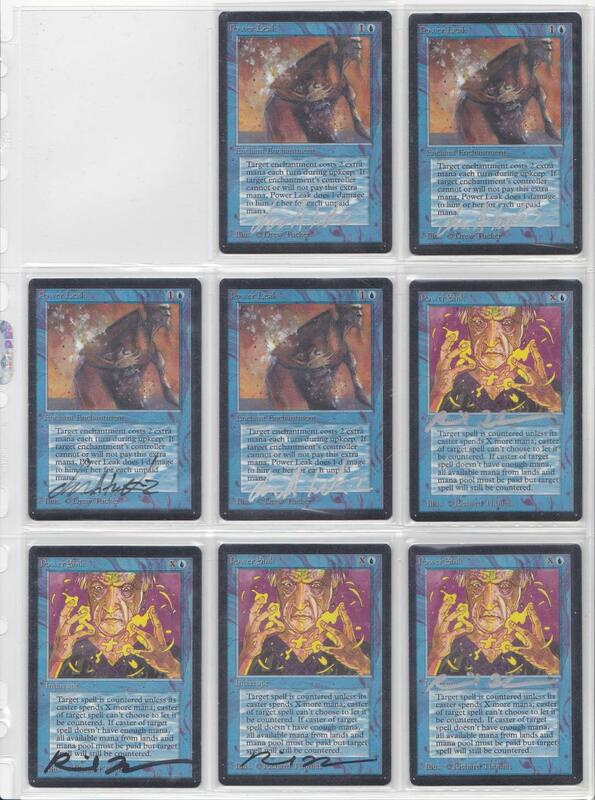 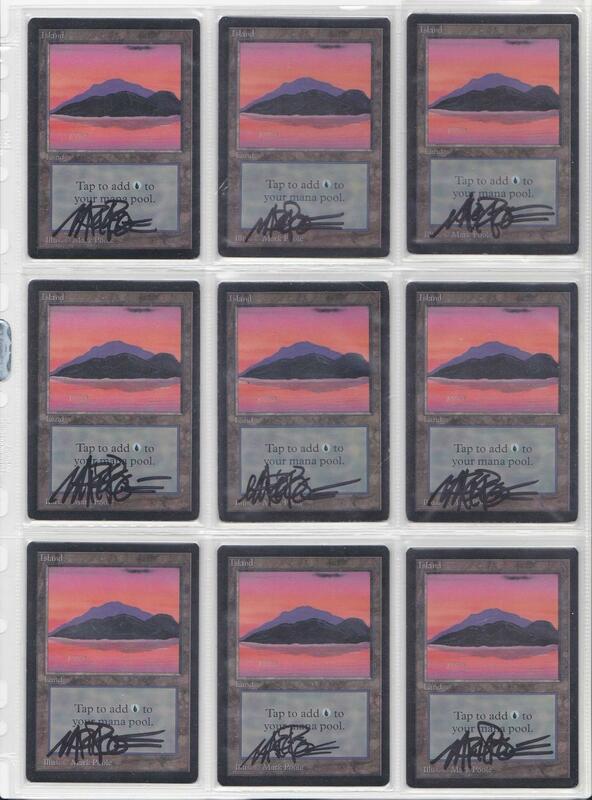 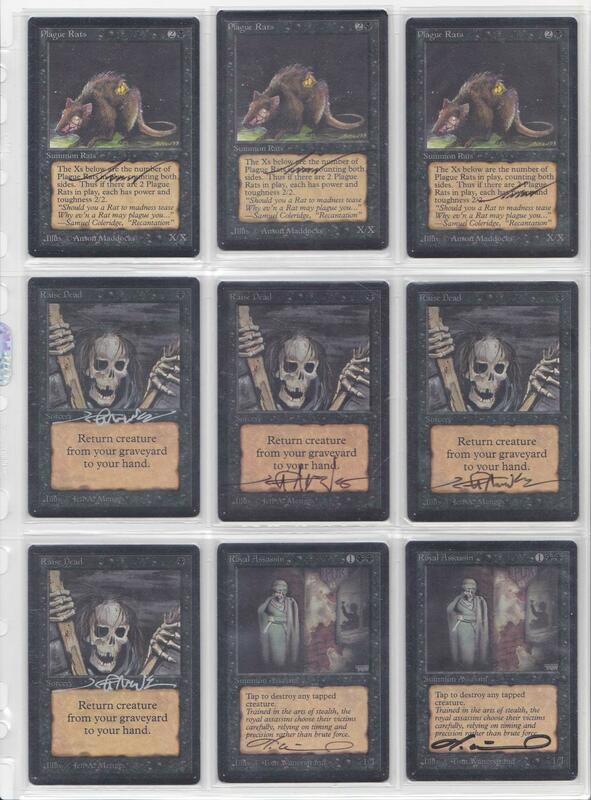 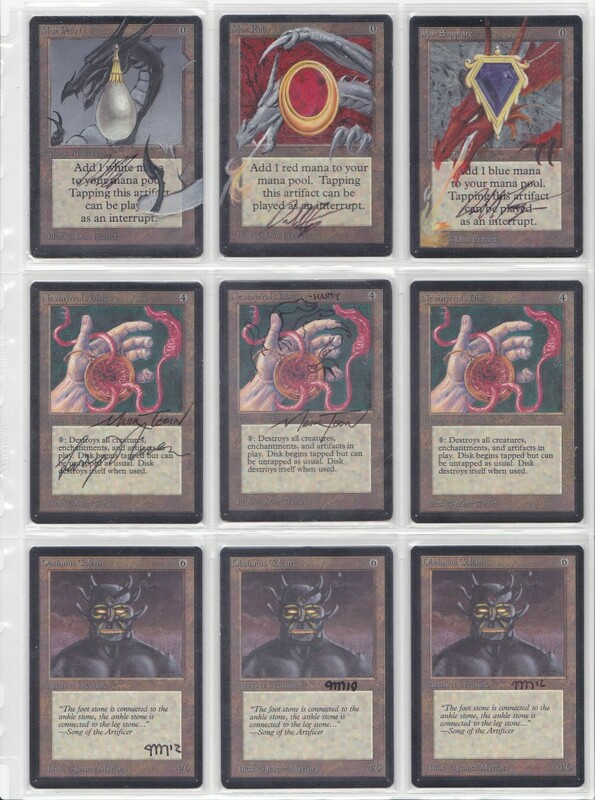 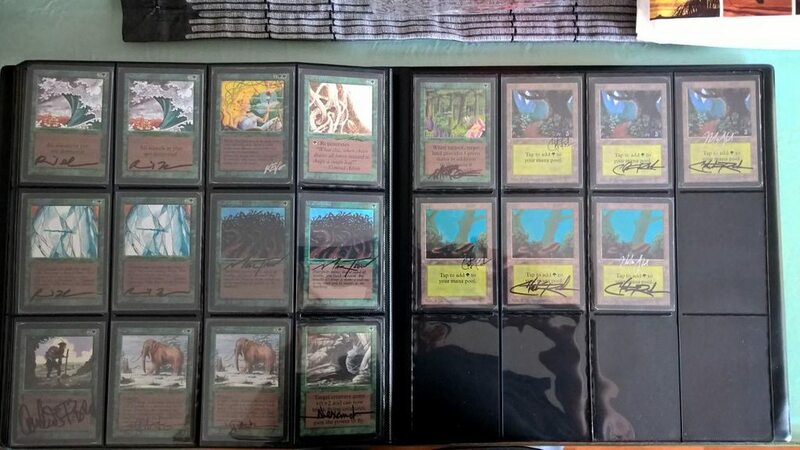 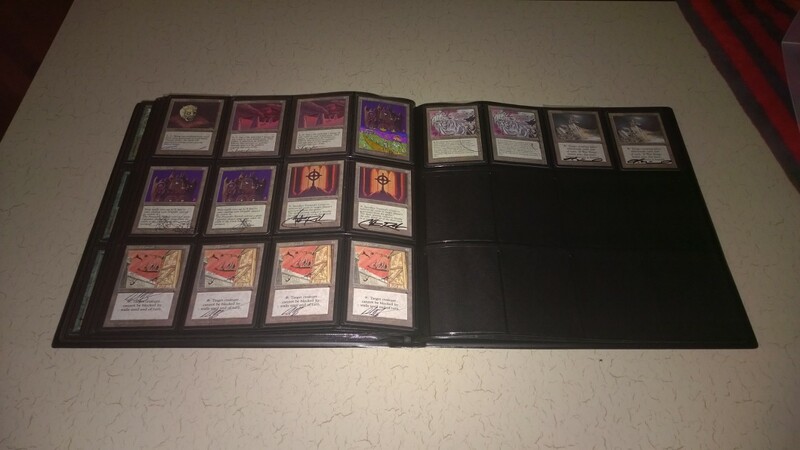 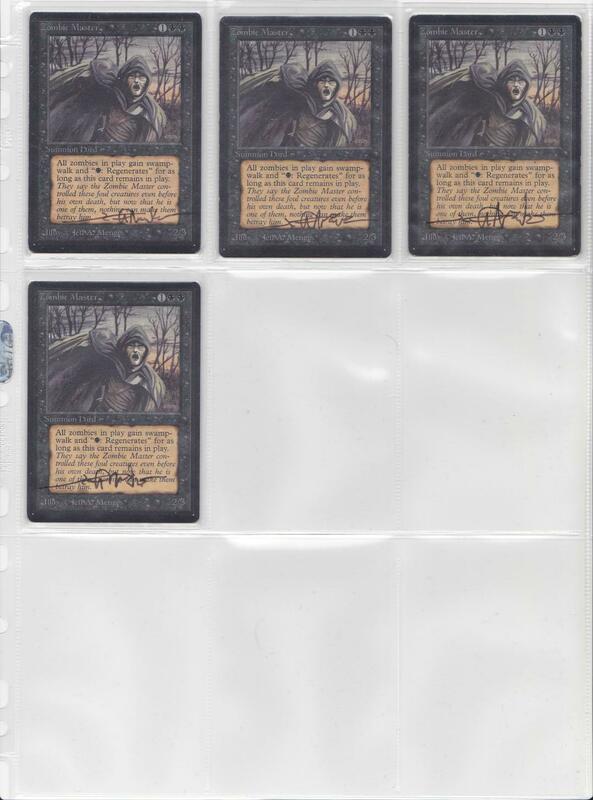 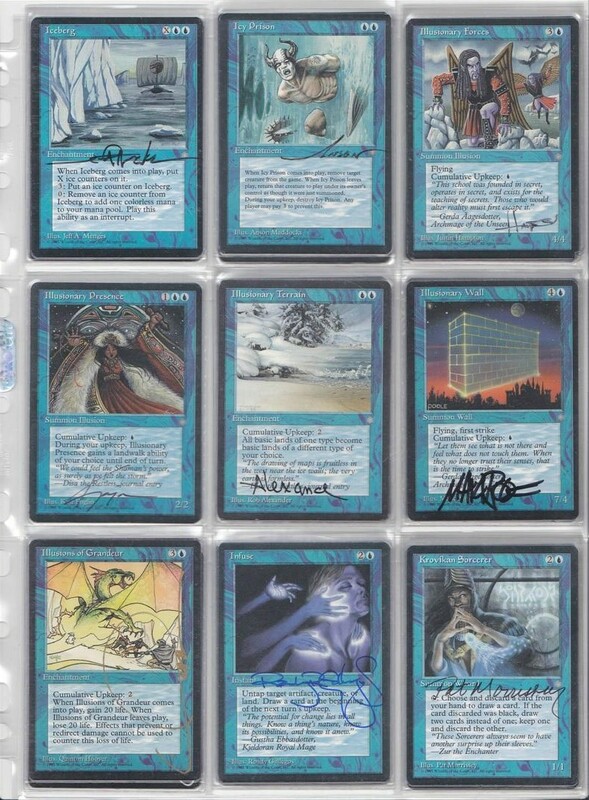 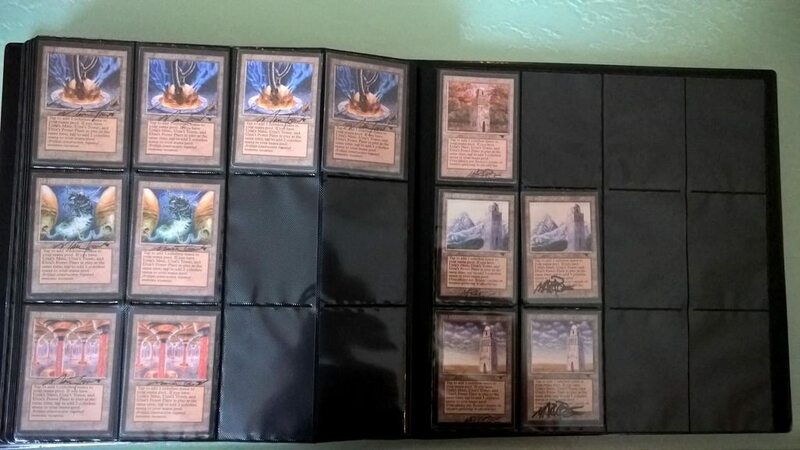 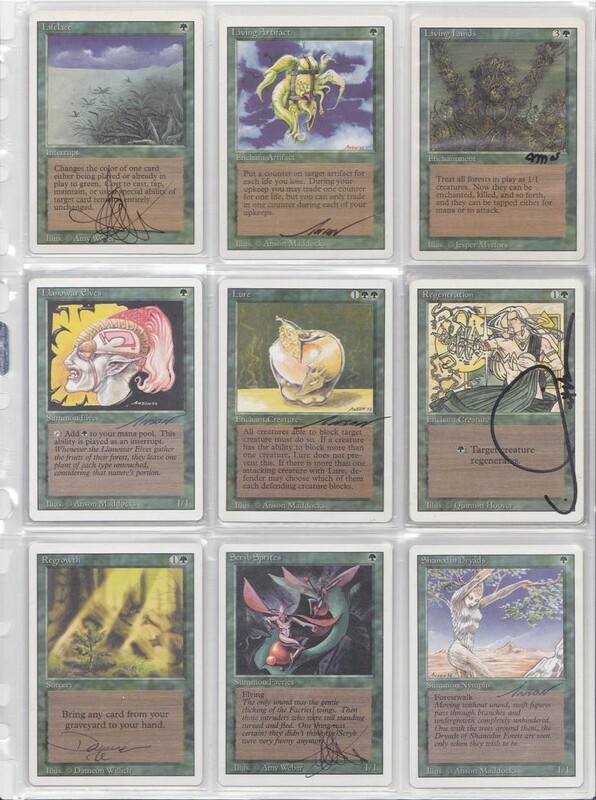 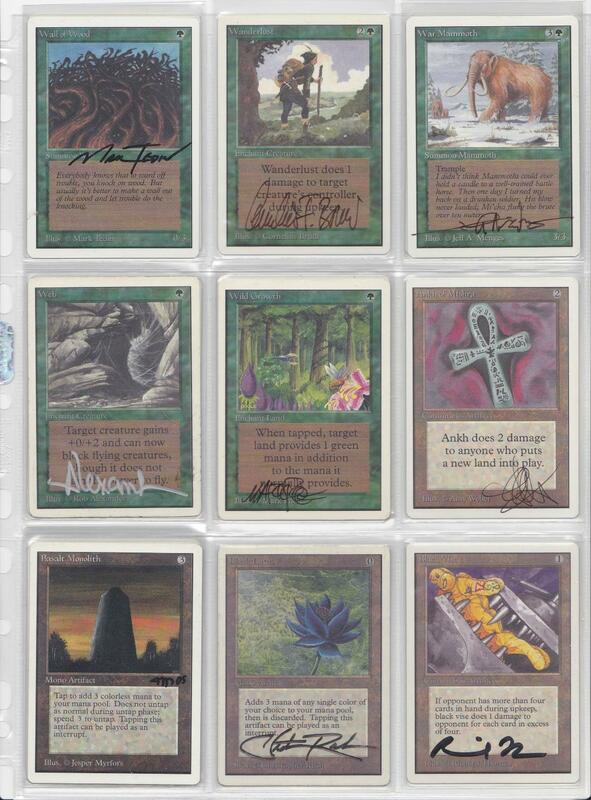 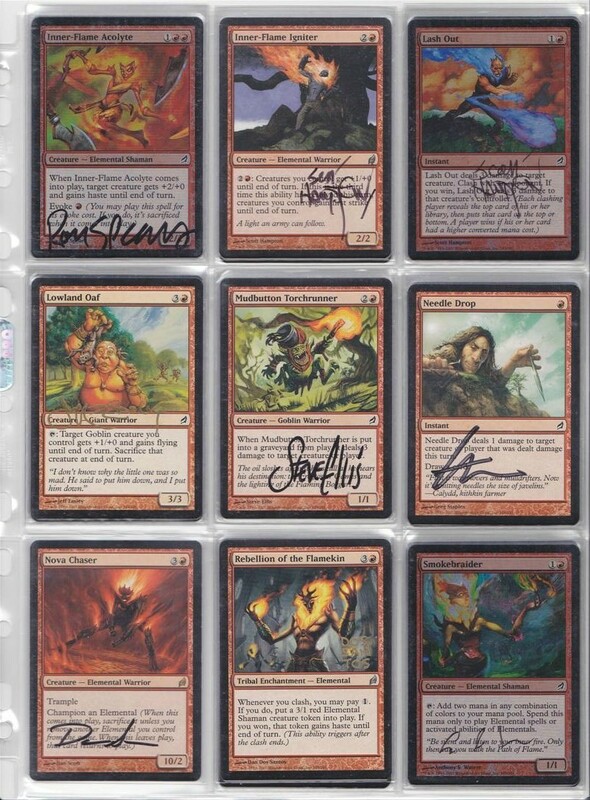 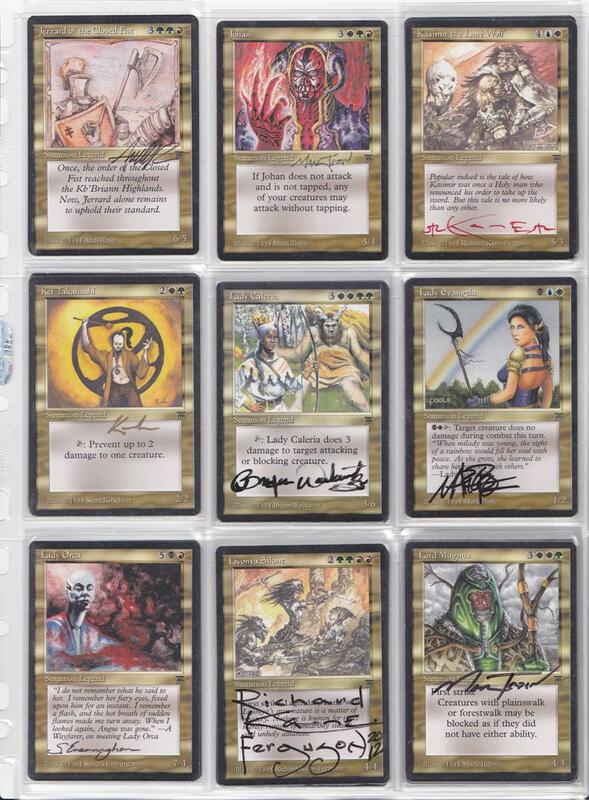 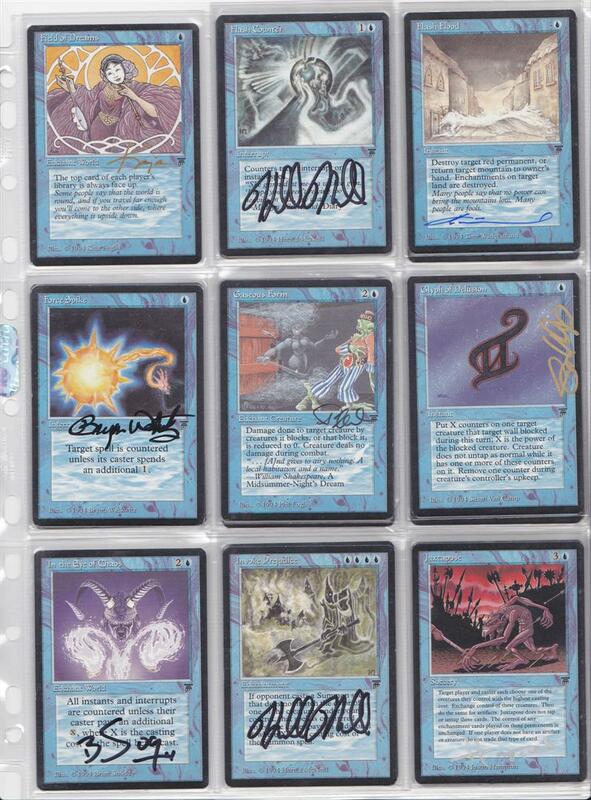 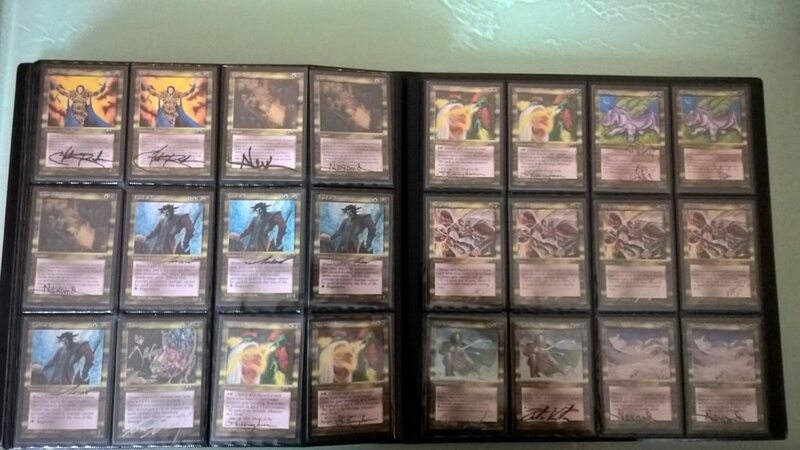 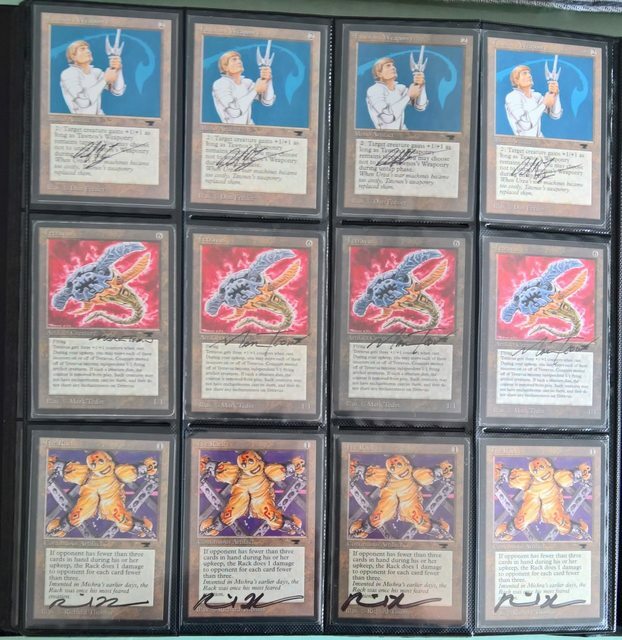 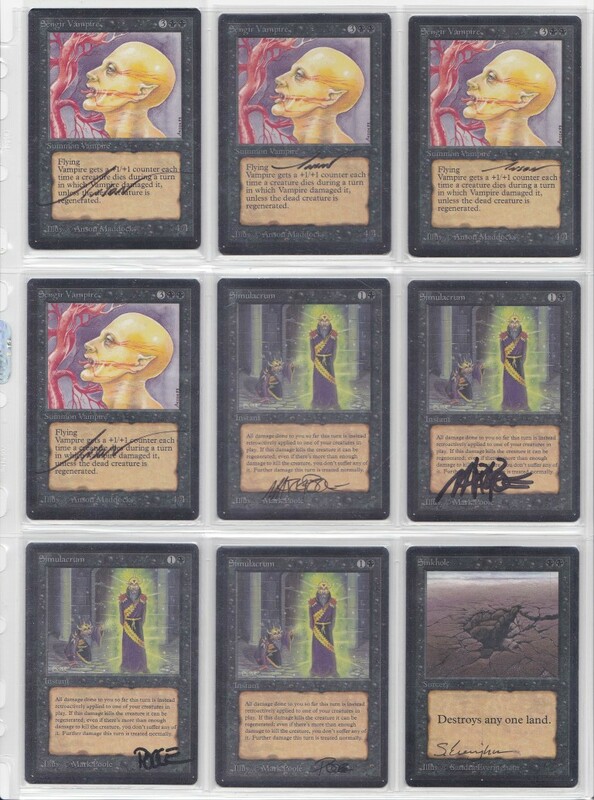 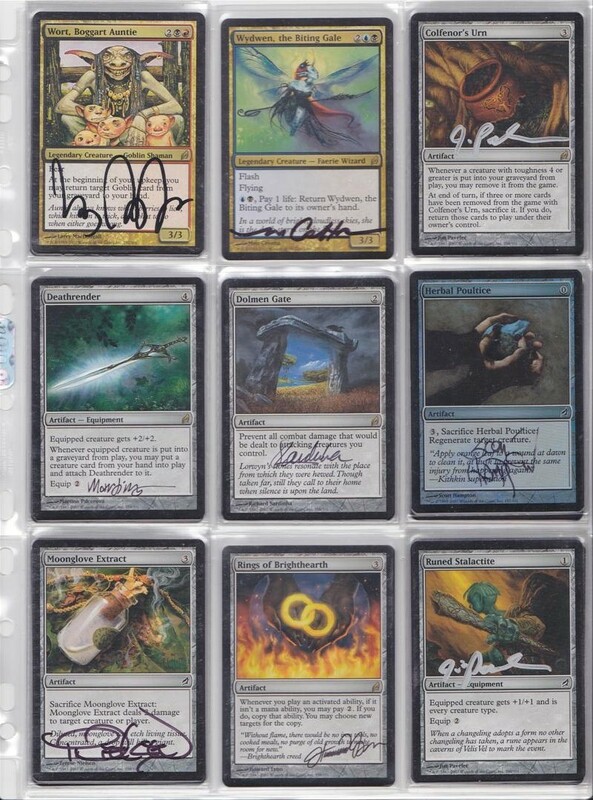 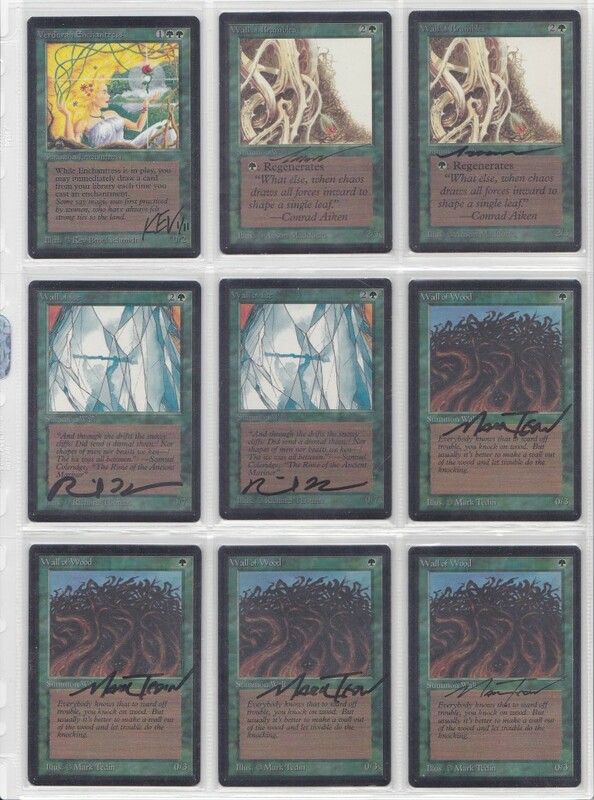 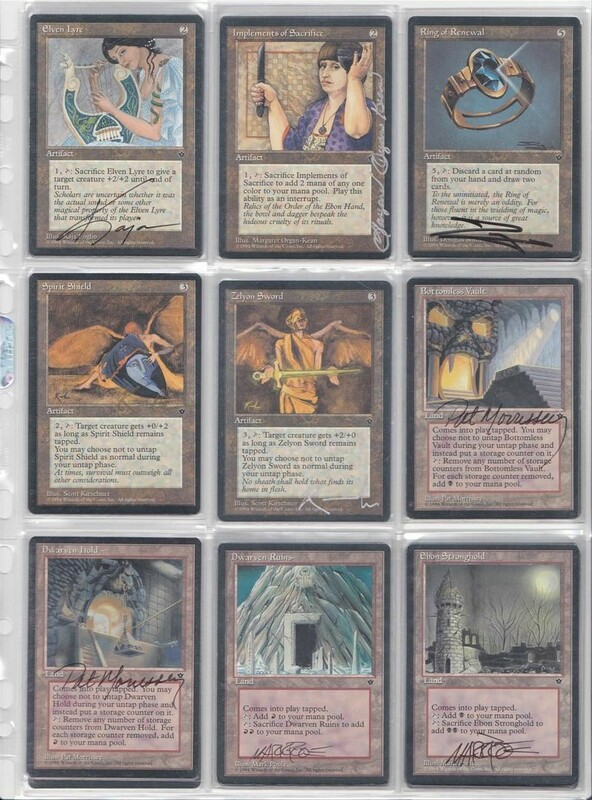 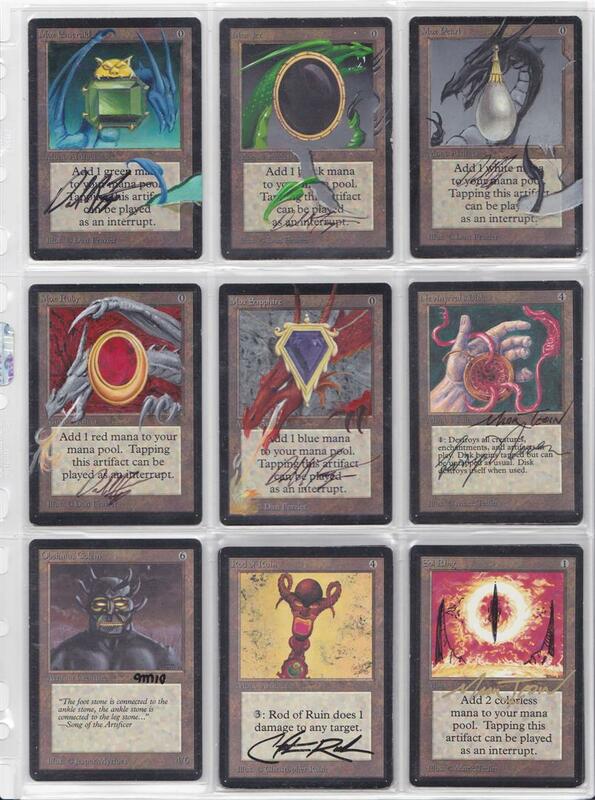 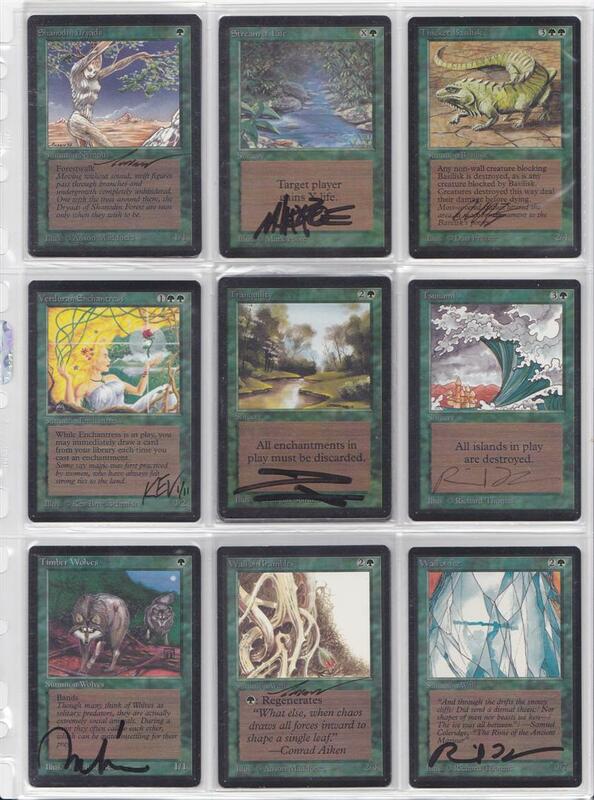 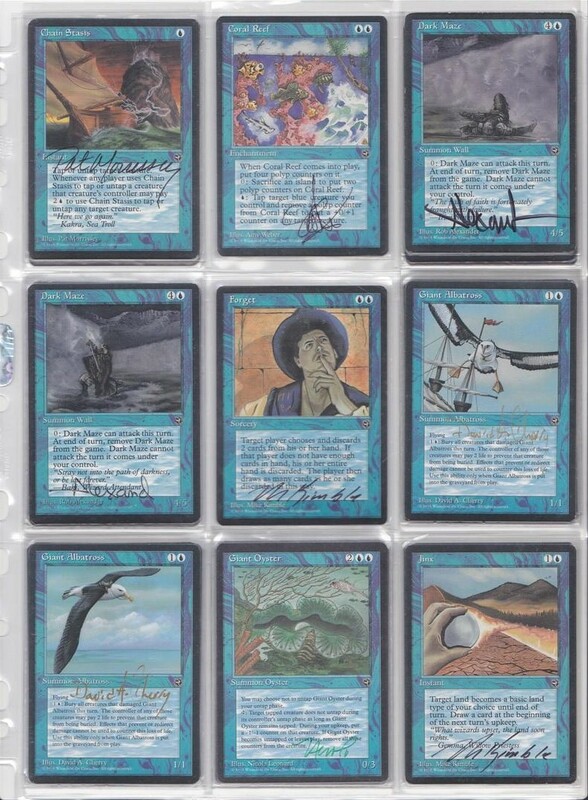 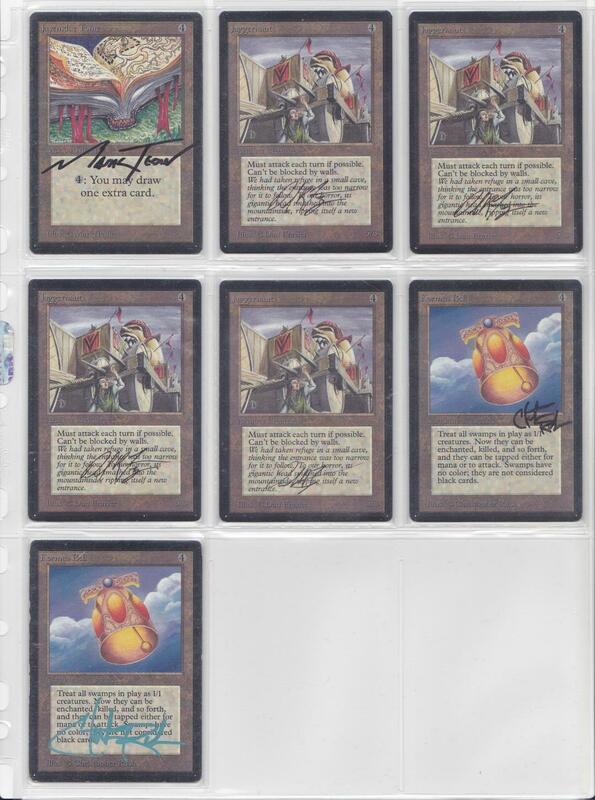 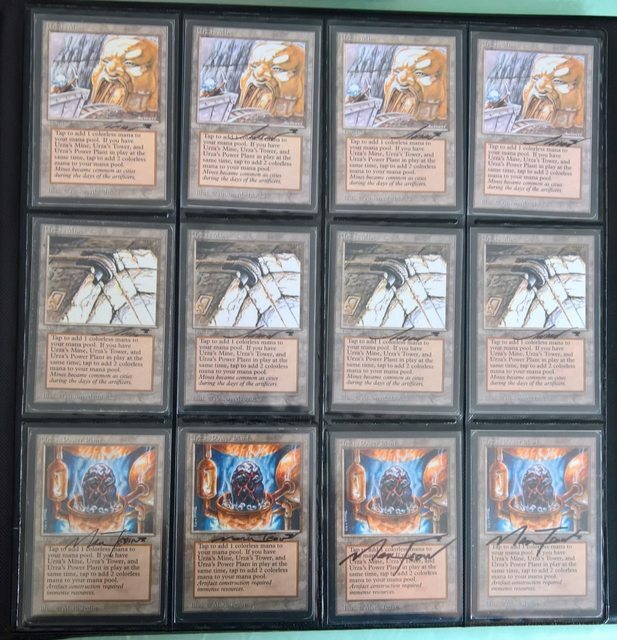 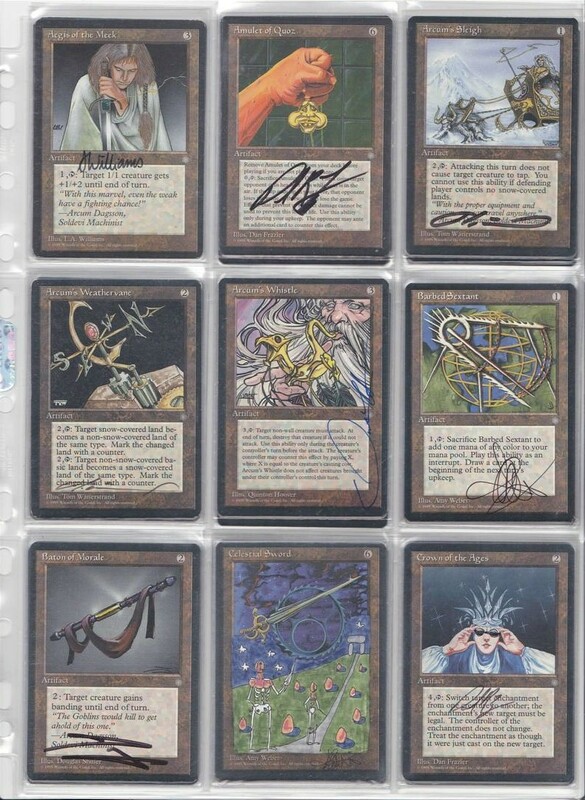 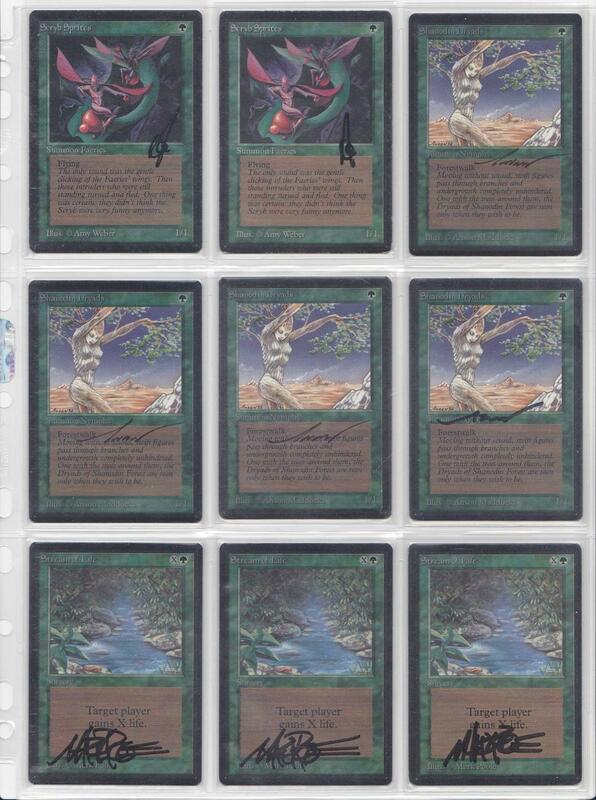 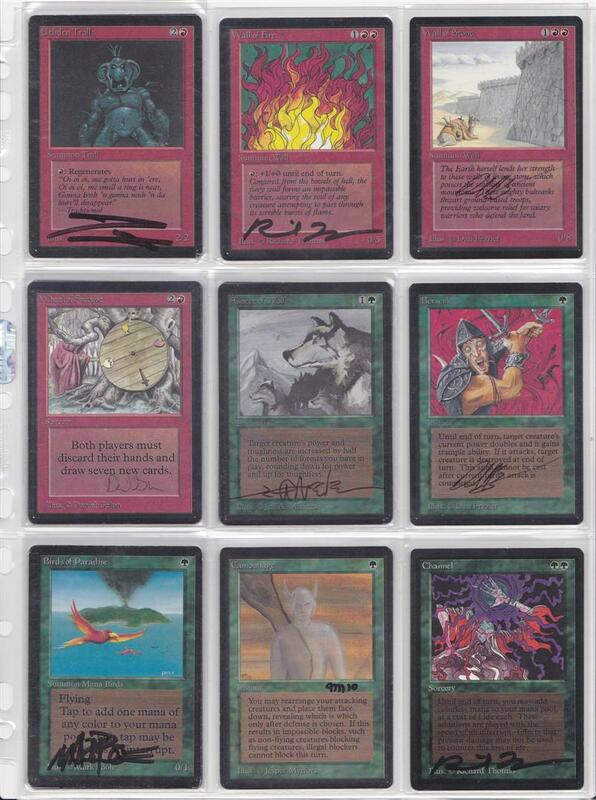 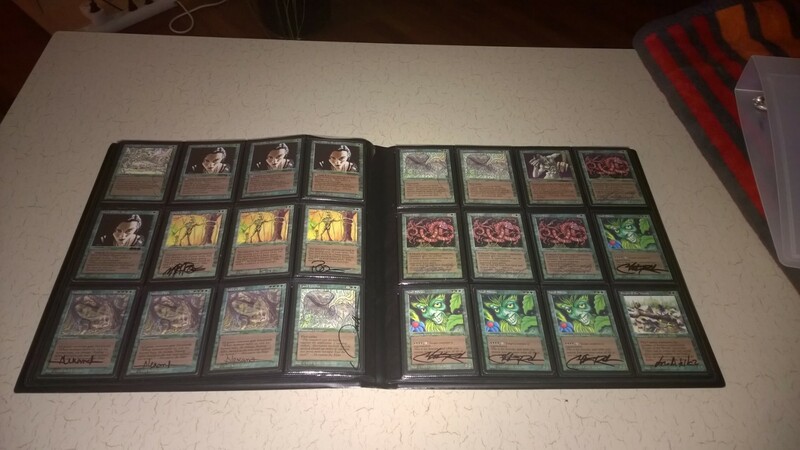 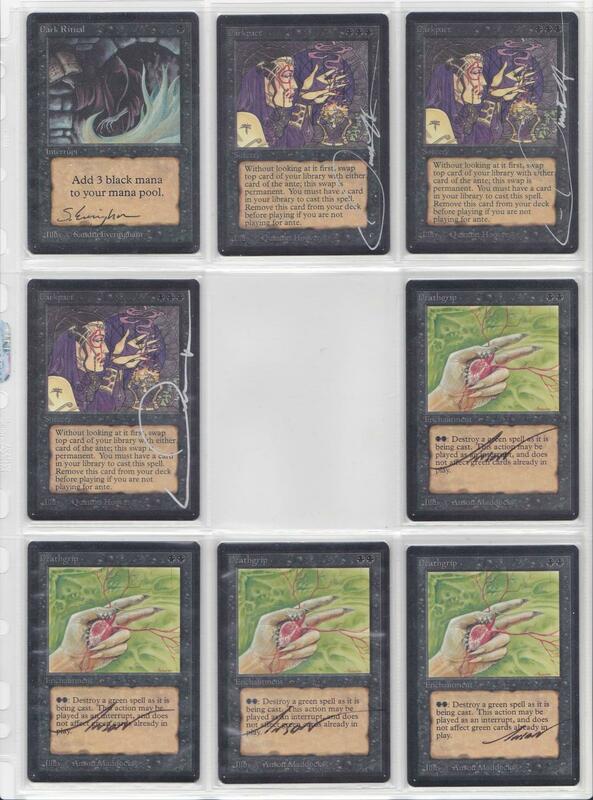 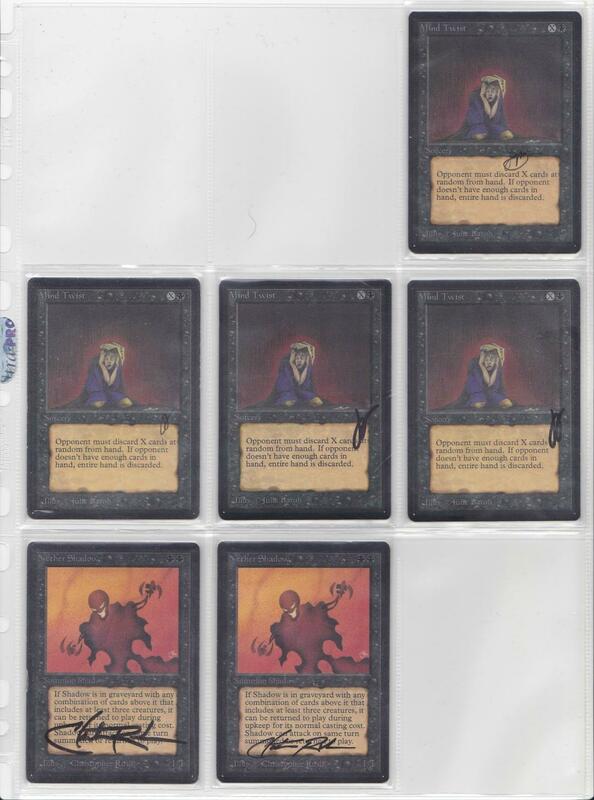 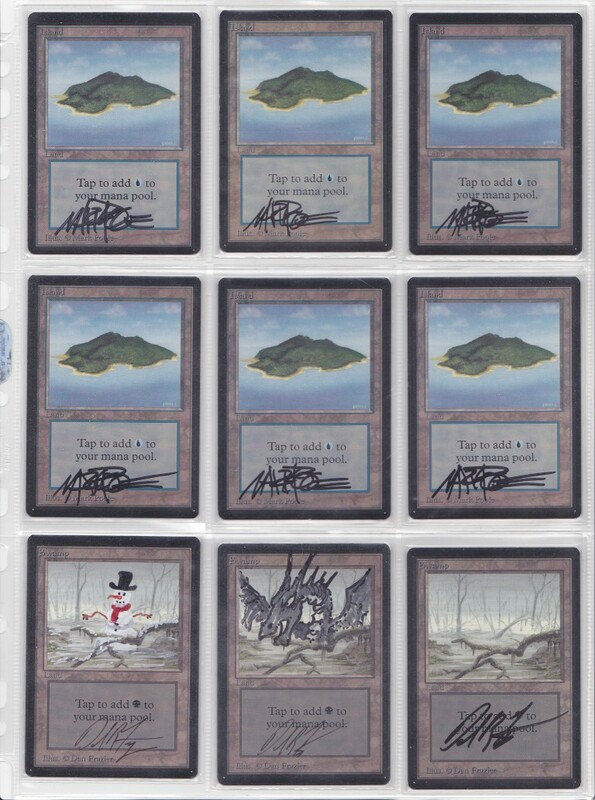 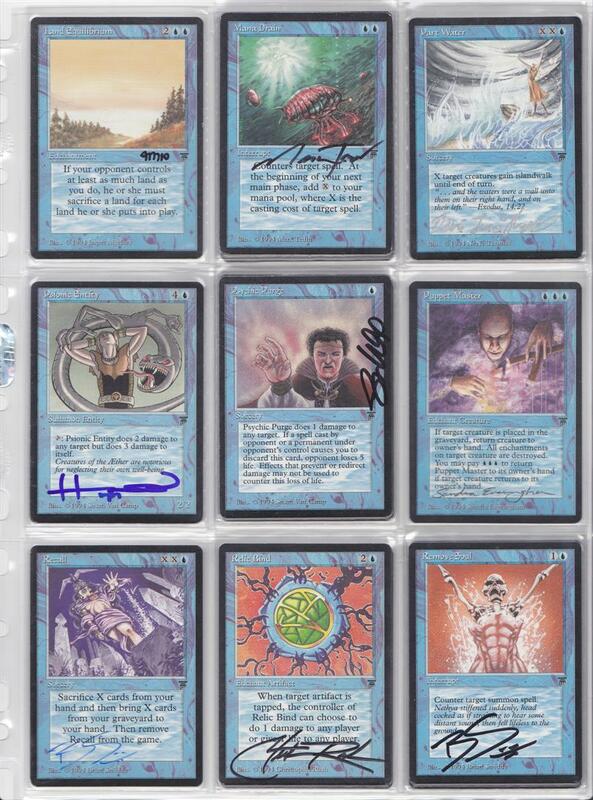 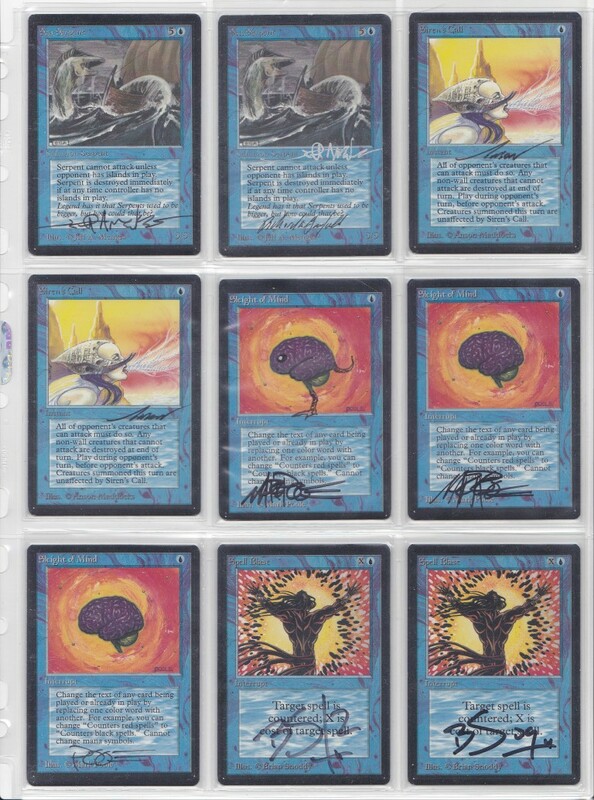 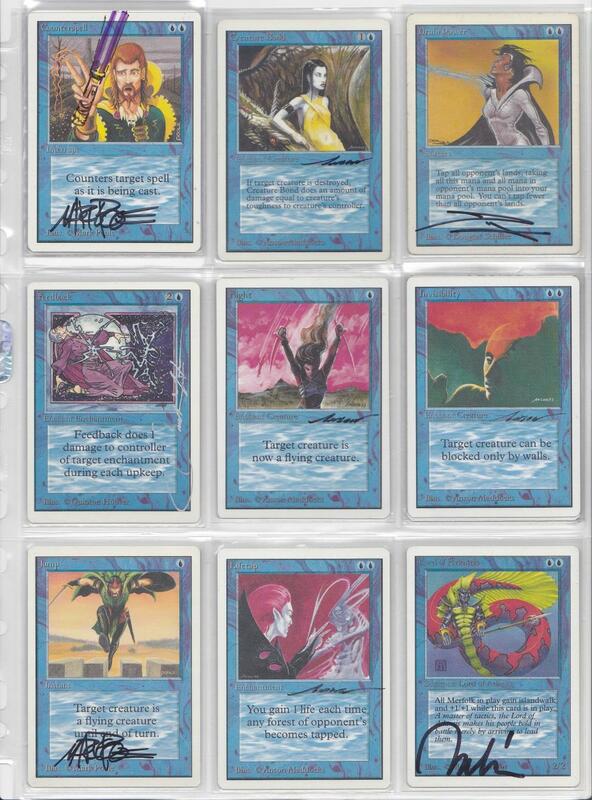 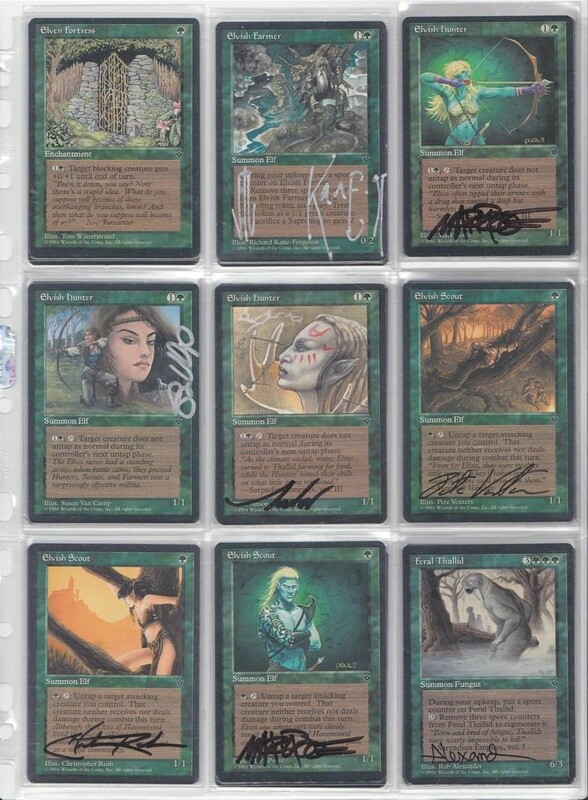 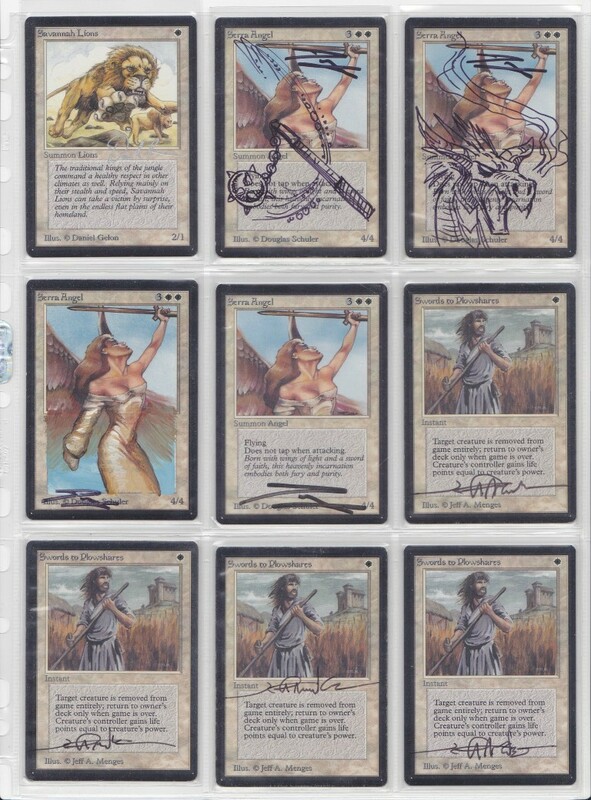 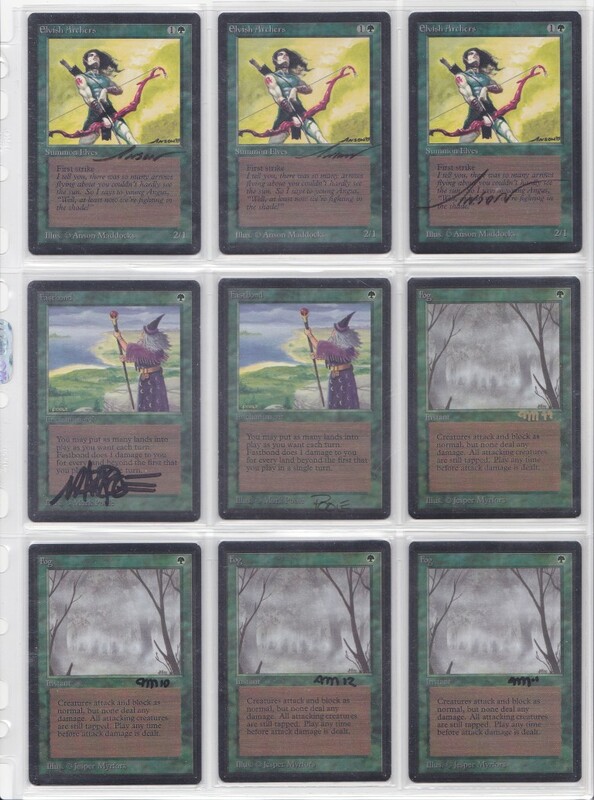 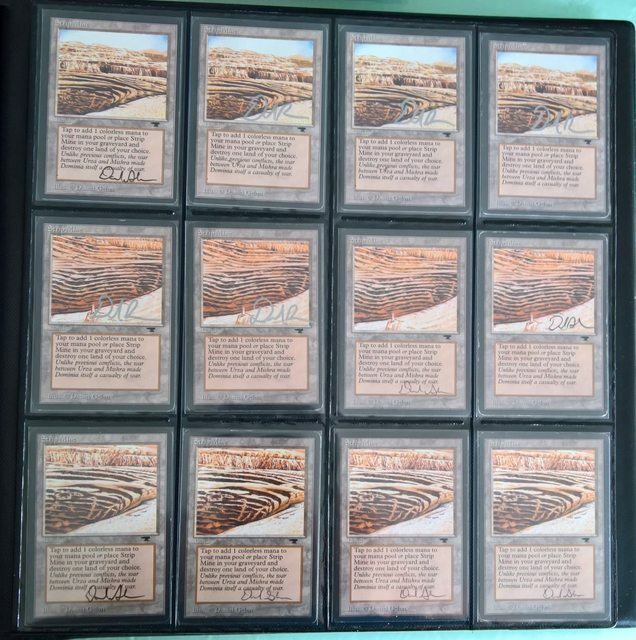 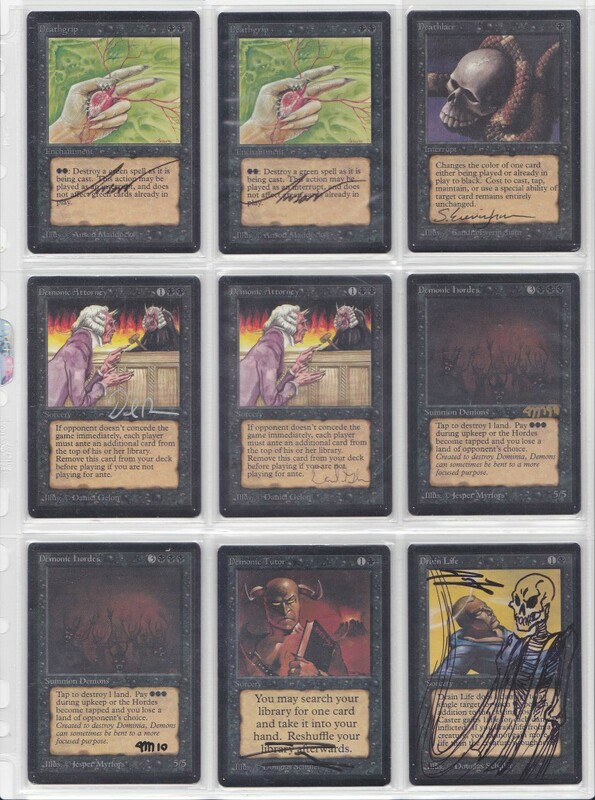 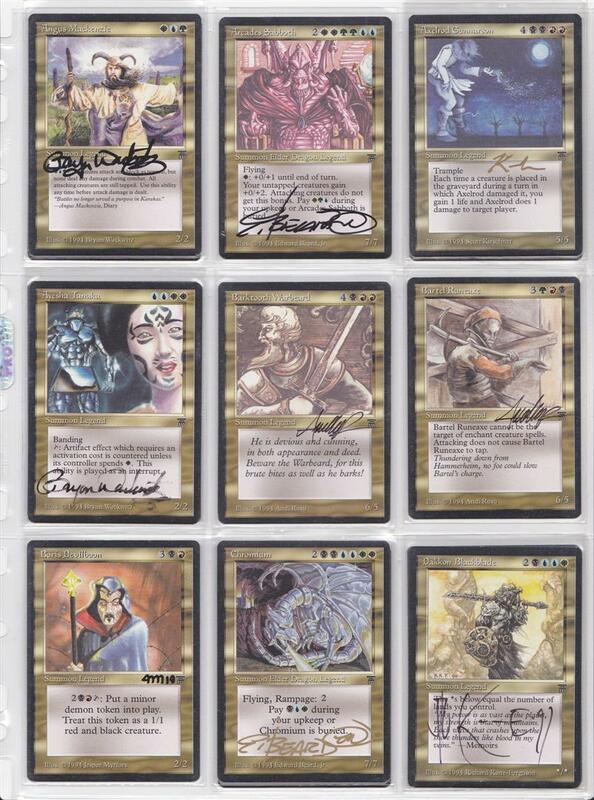 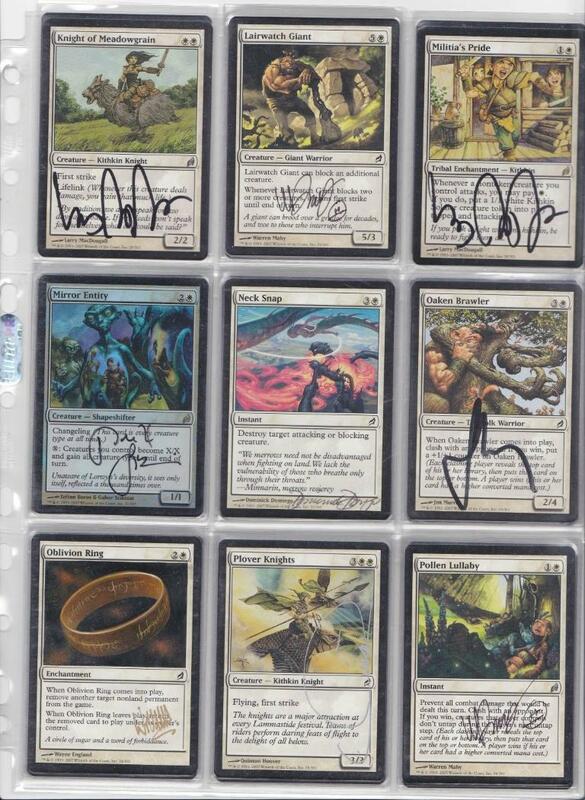 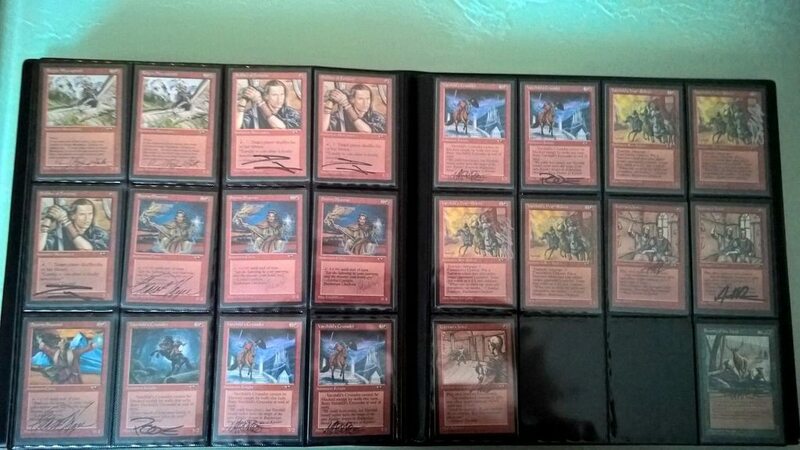 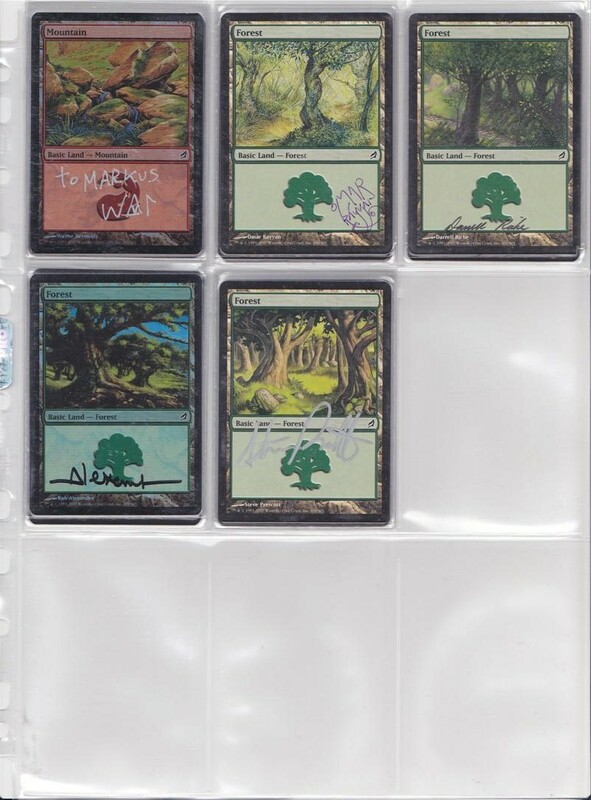 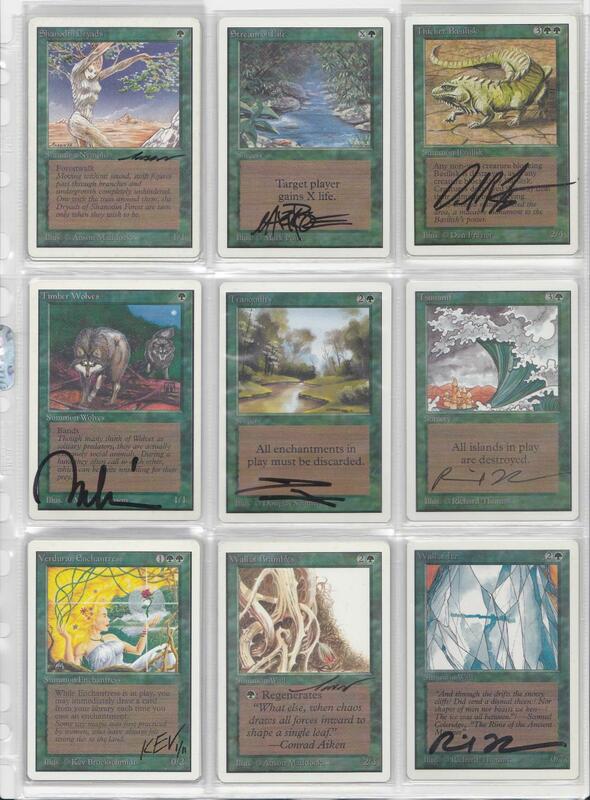 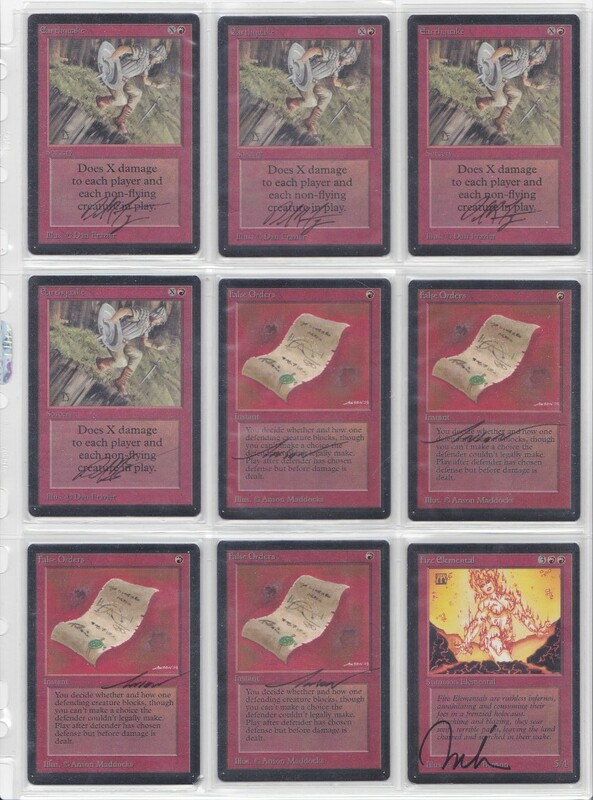 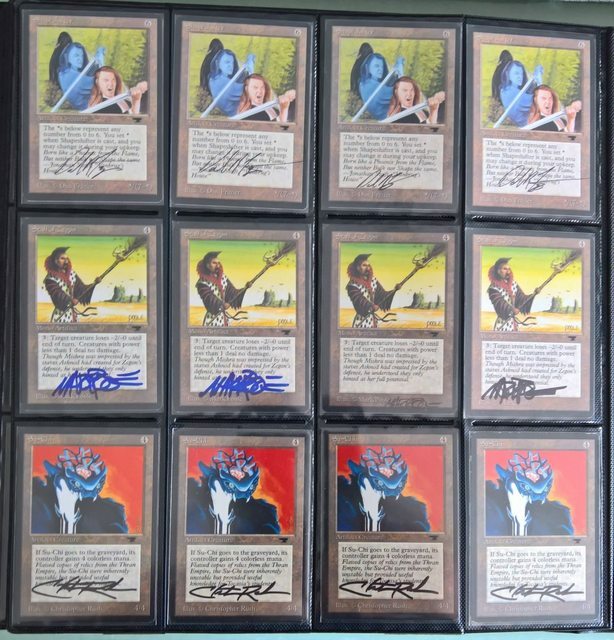 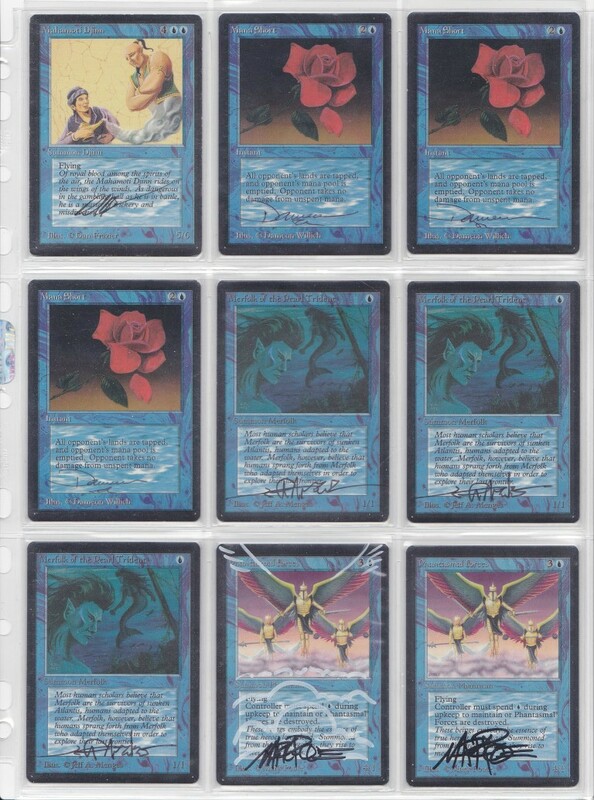 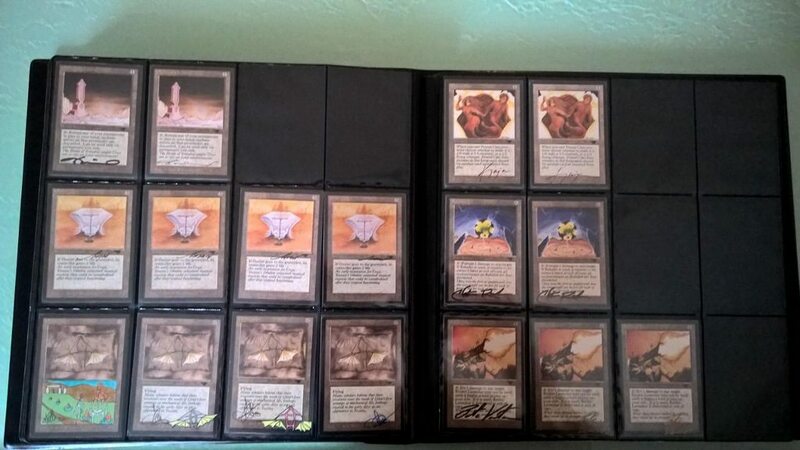 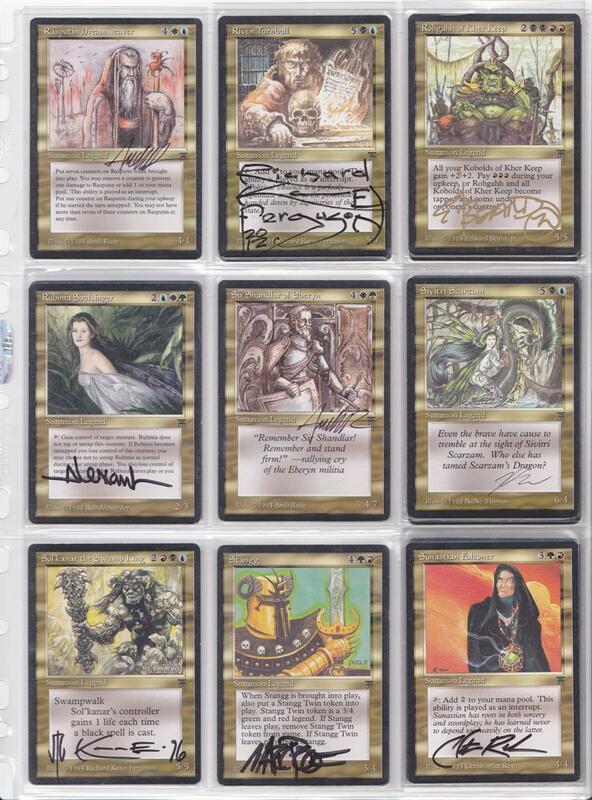 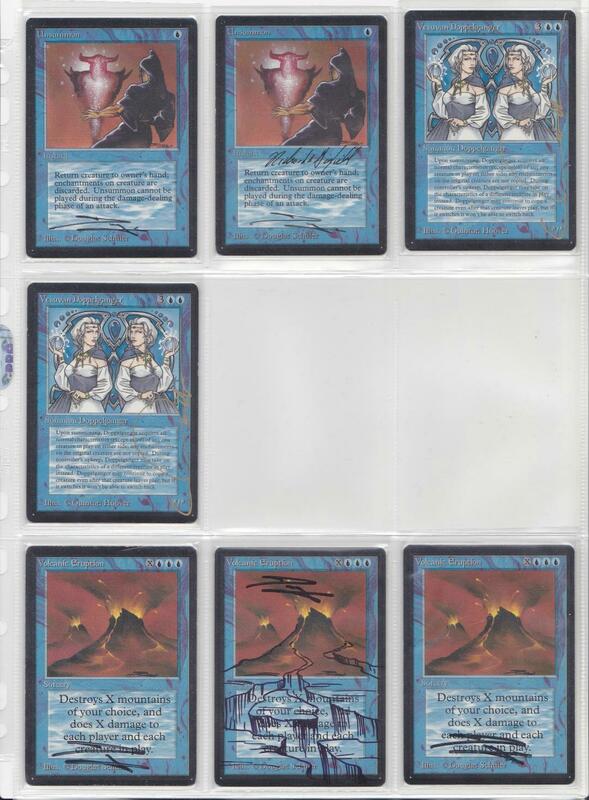 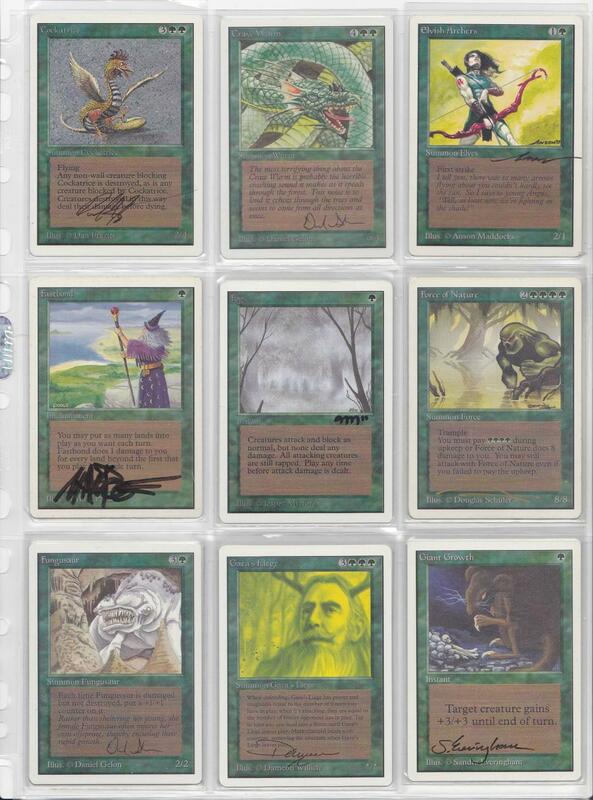 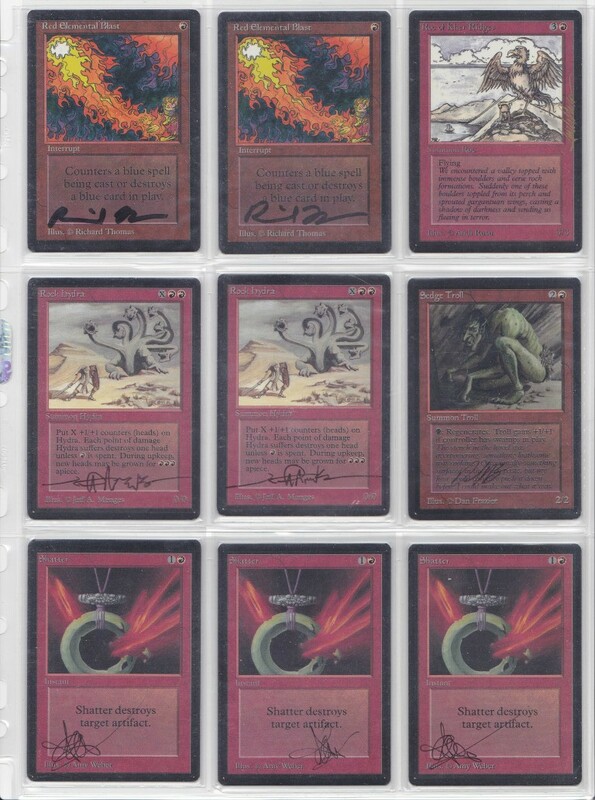 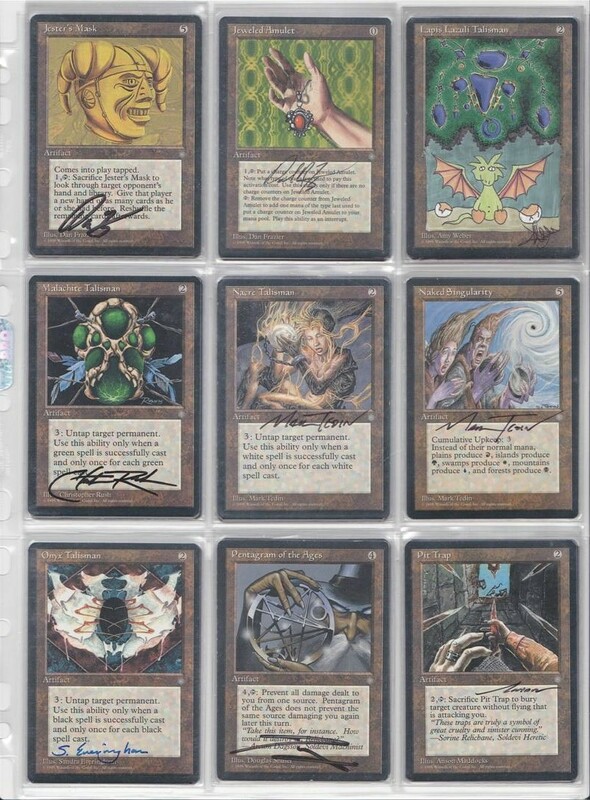 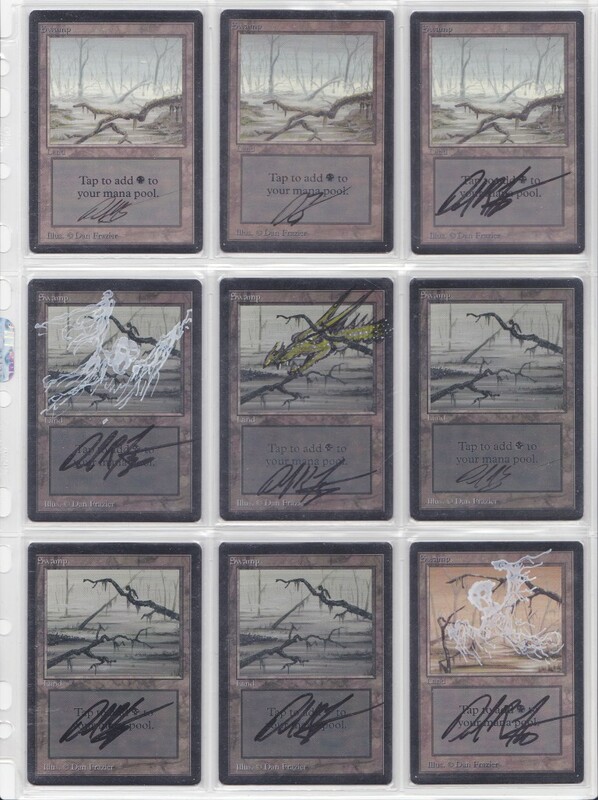 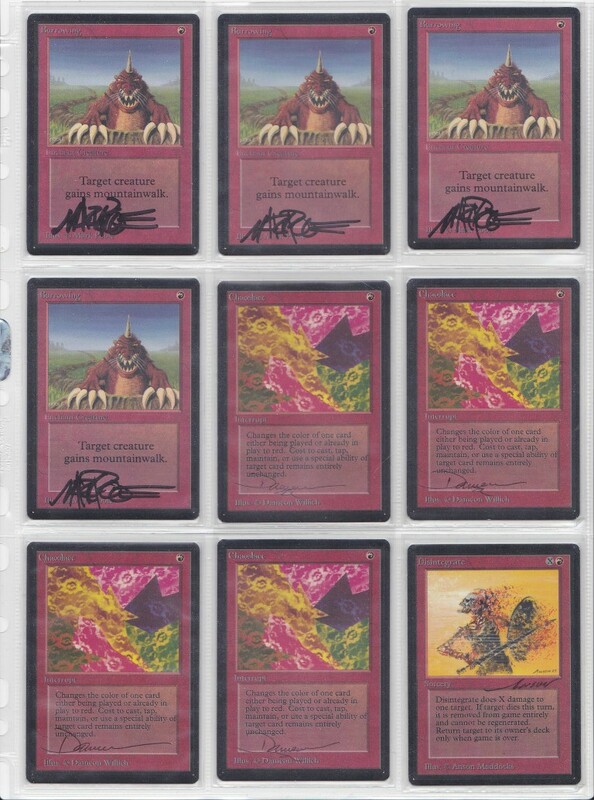 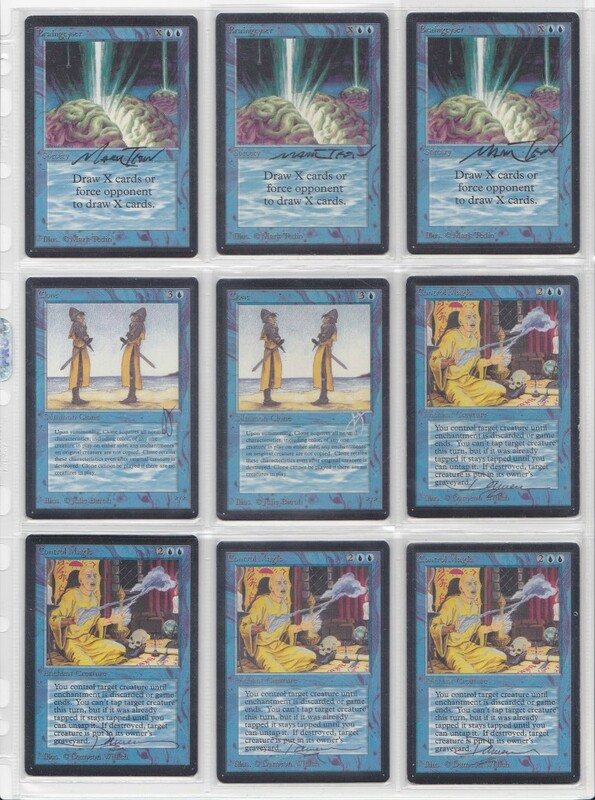 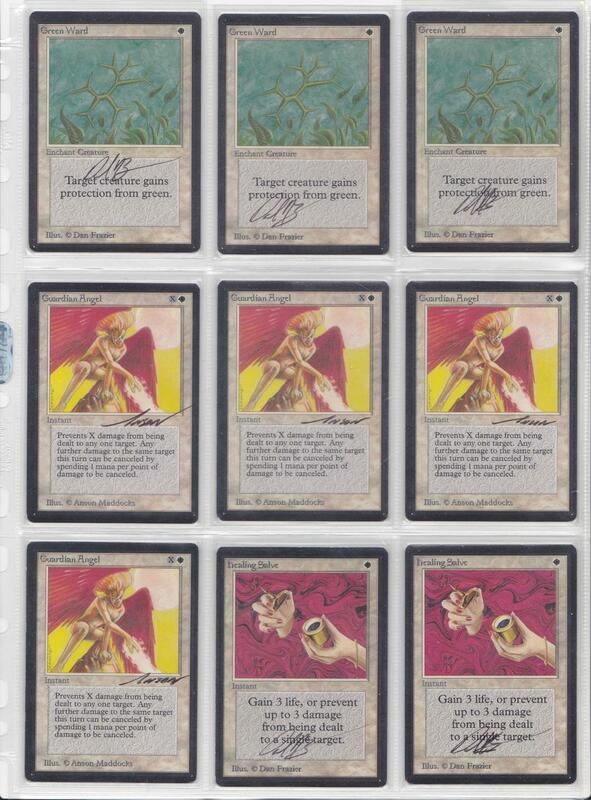 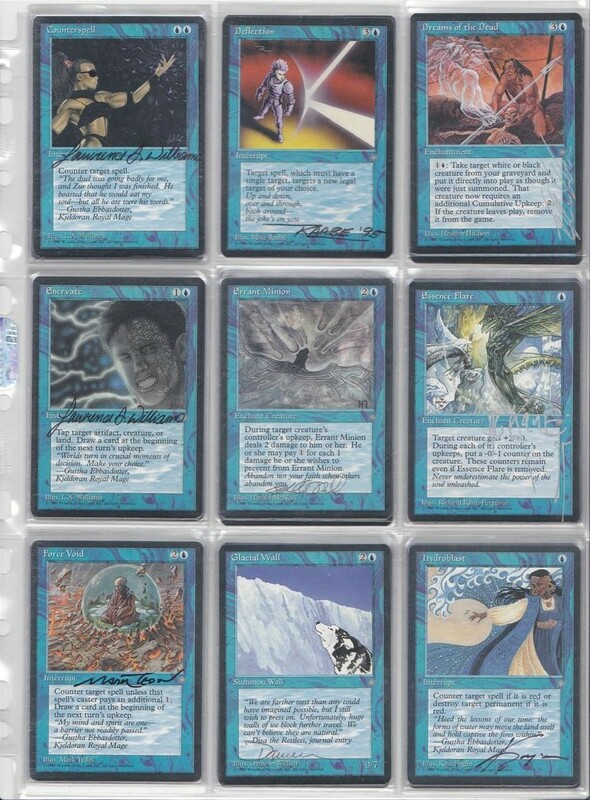 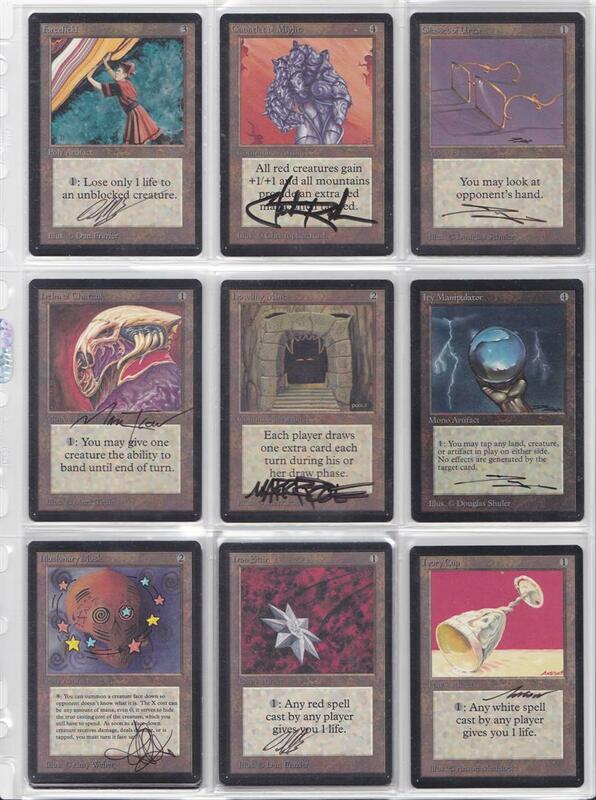 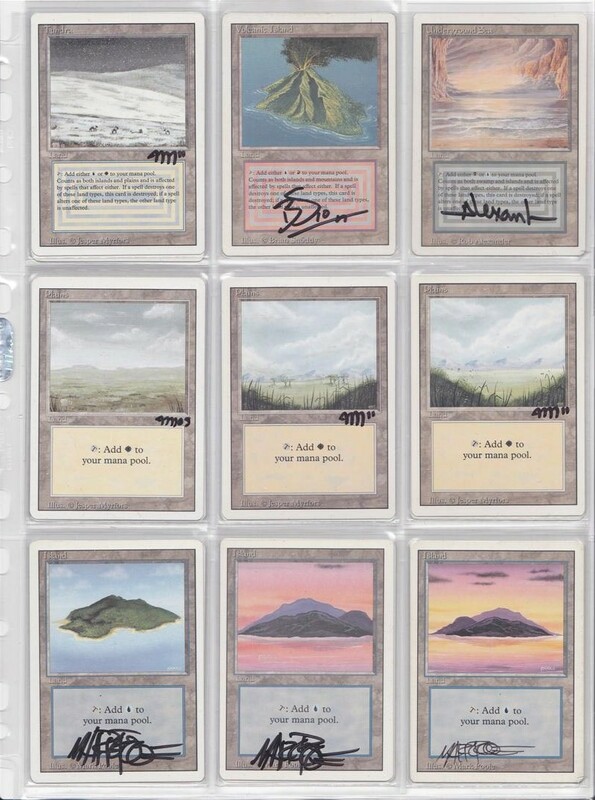 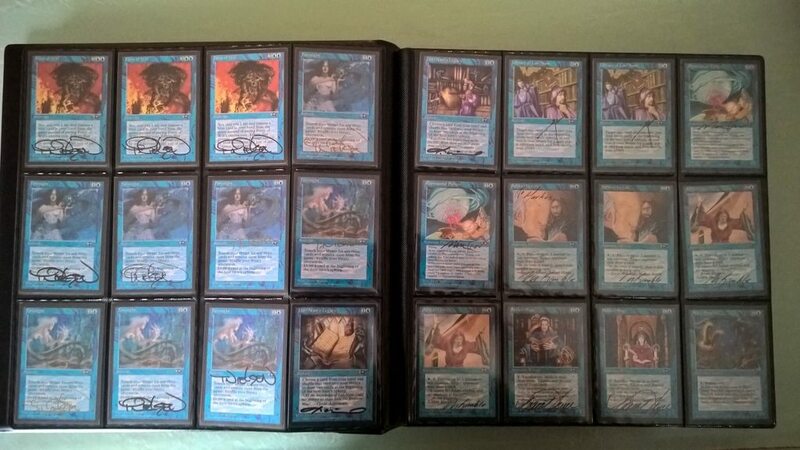 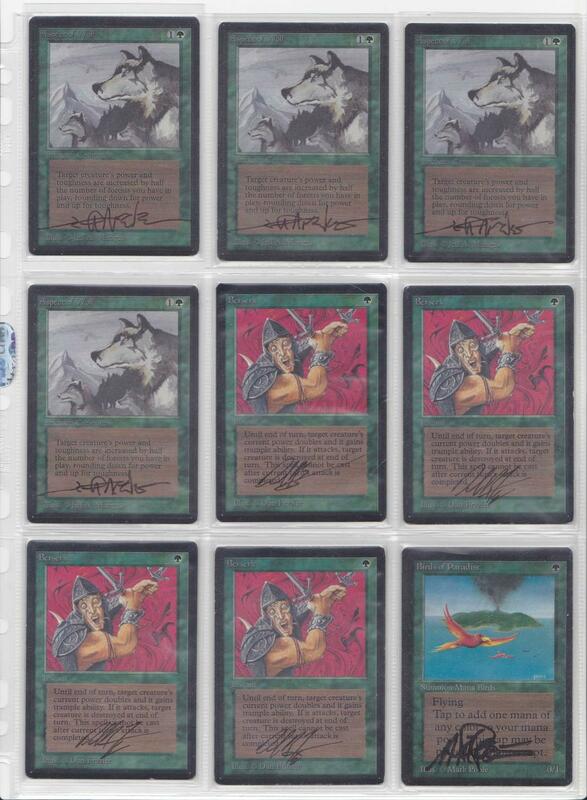 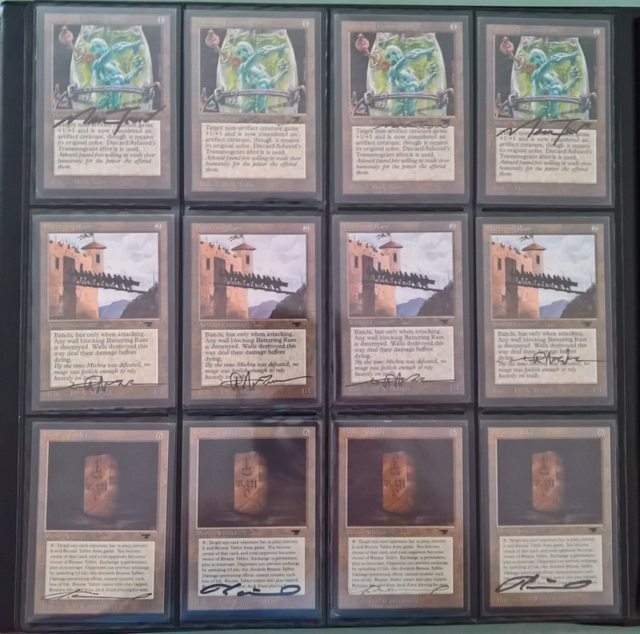 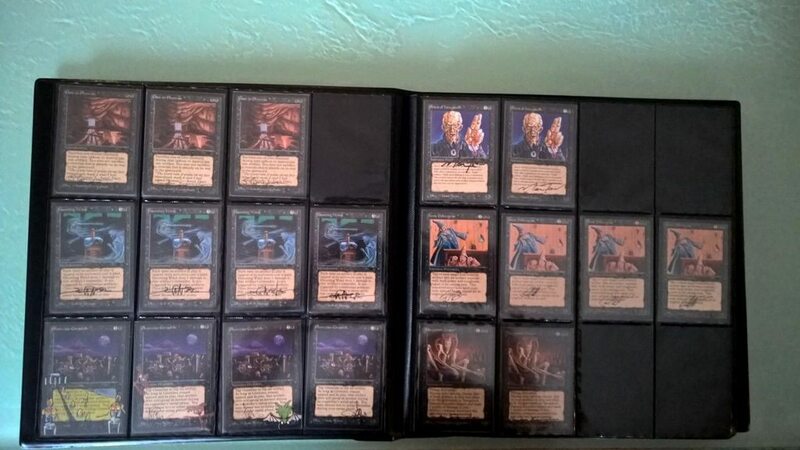 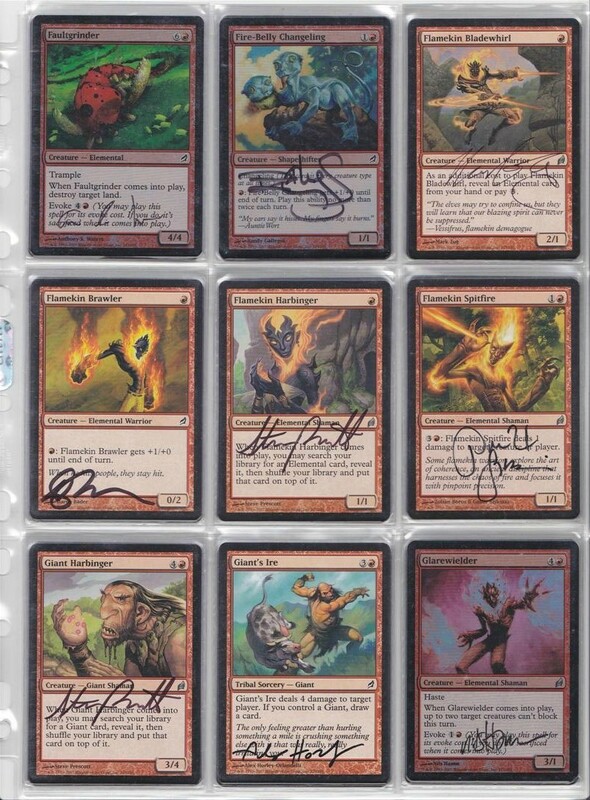 Since Beta is my favorite Magic set I've decided to extend the original Project from "single signed set" to "signed playset"...Here is my status at the end of 2012 (around 930 cards). 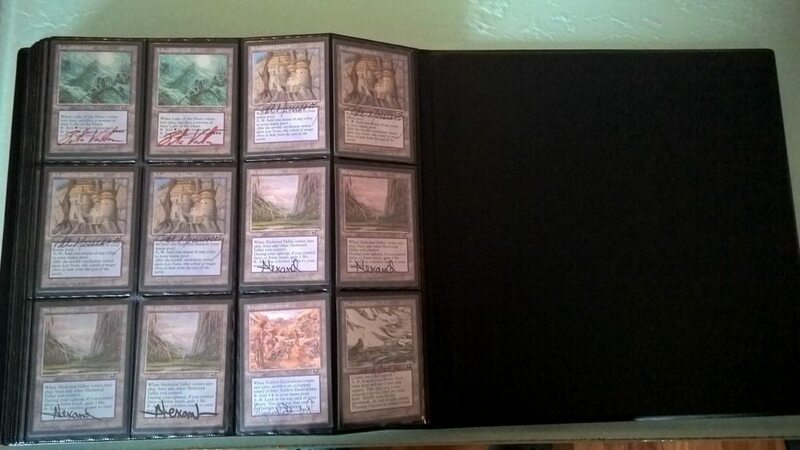 Last edited by markers on Sat May 10, 2014 1:26 pm, edited 2 times in total. 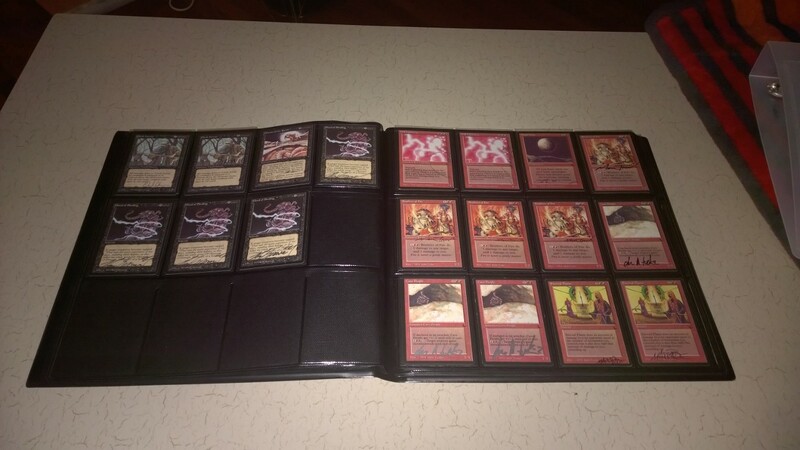 Last edited by markers on Fri Dec 16, 2016 5:35 pm, edited 2 times in total. 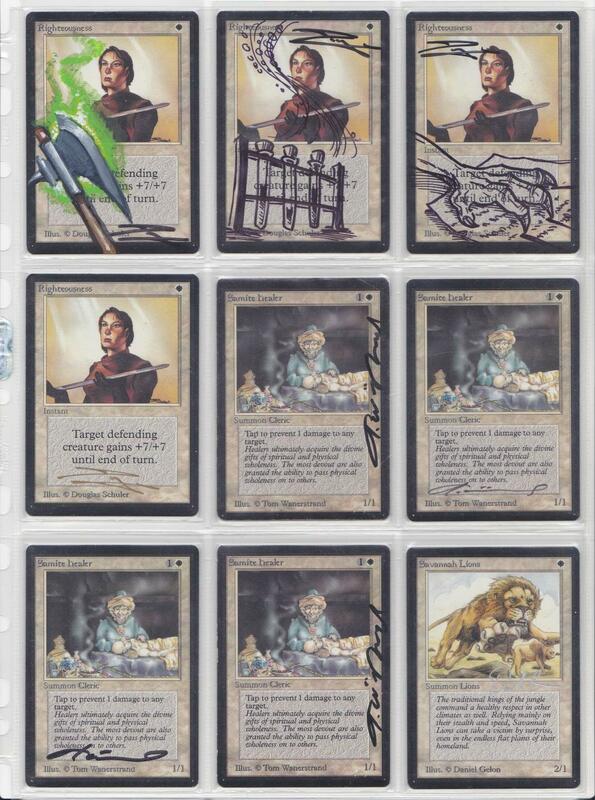 Last edited by markers on Sun May 04, 2014 9:01 am, edited 1 time in total. 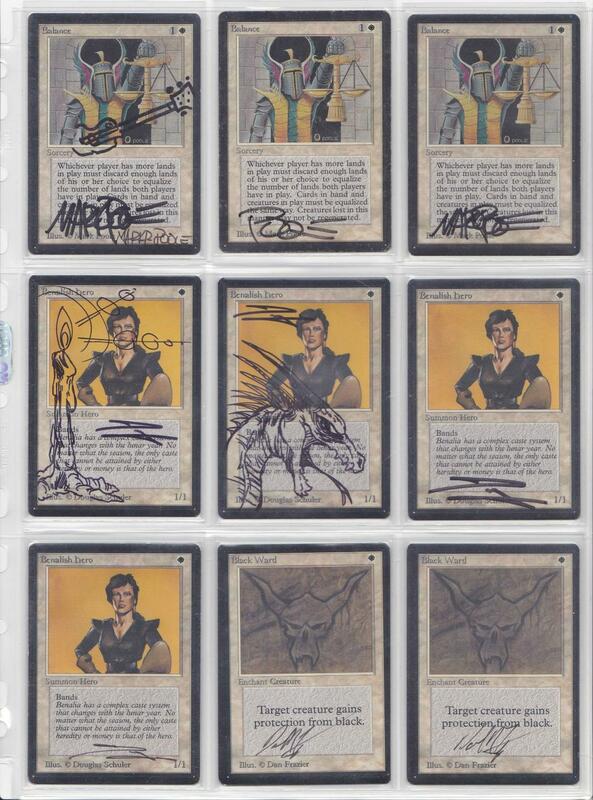 Last edited by markers on Sun May 04, 2014 9:03 am, edited 1 time in total. 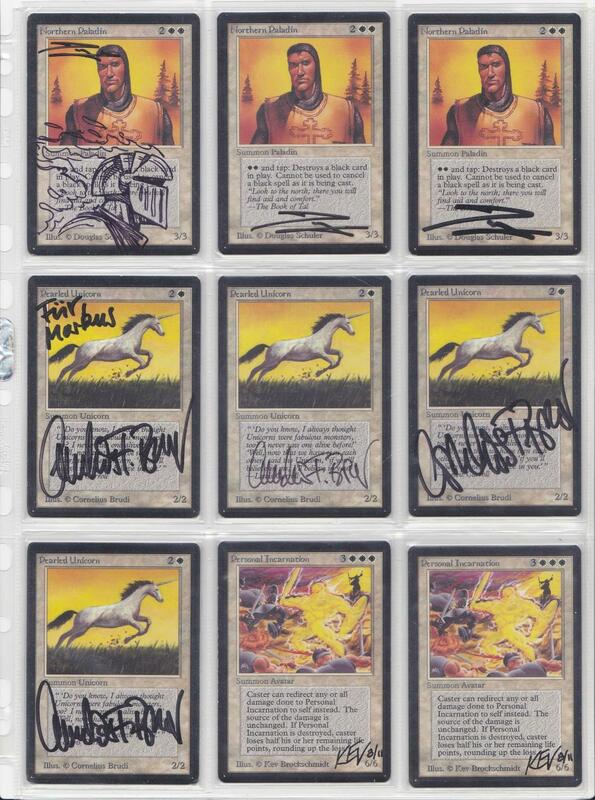 Last edited by markers on Sun May 04, 2014 9:05 am, edited 1 time in total. 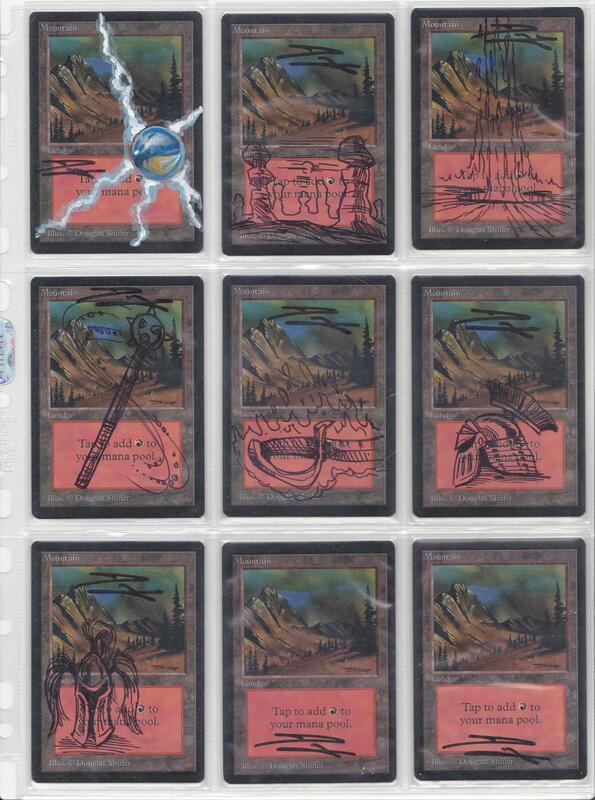 Last edited by markers on Sun May 04, 2014 9:06 am, edited 1 time in total. 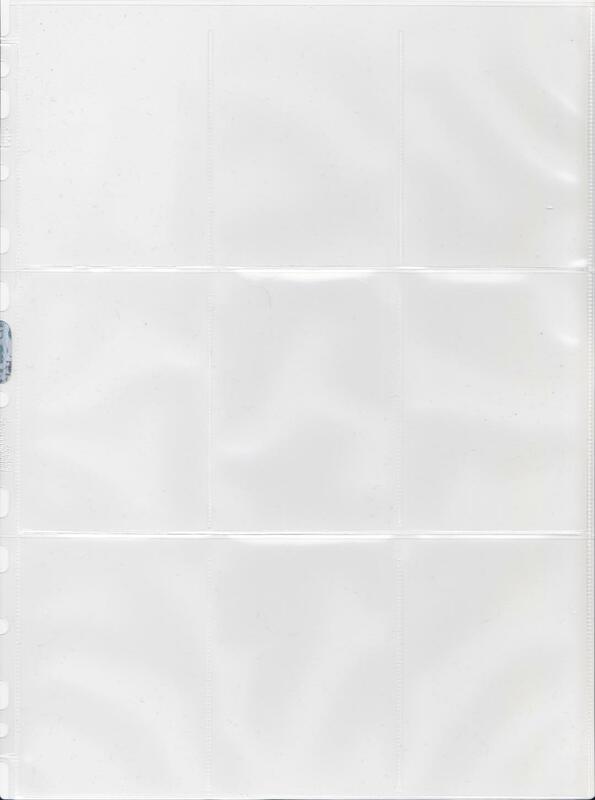 Last edited by markers on Sun May 04, 2014 9:13 am, edited 2 times in total. 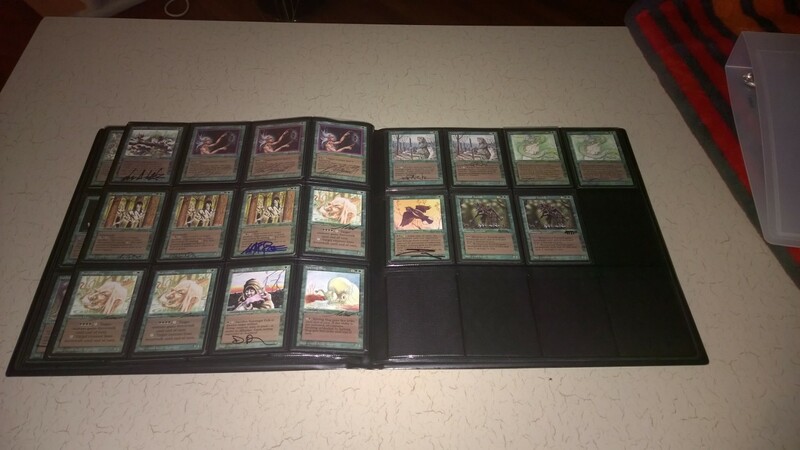 Last edited by markers on Fri Apr 03, 2015 8:51 am, edited 2 times in total. 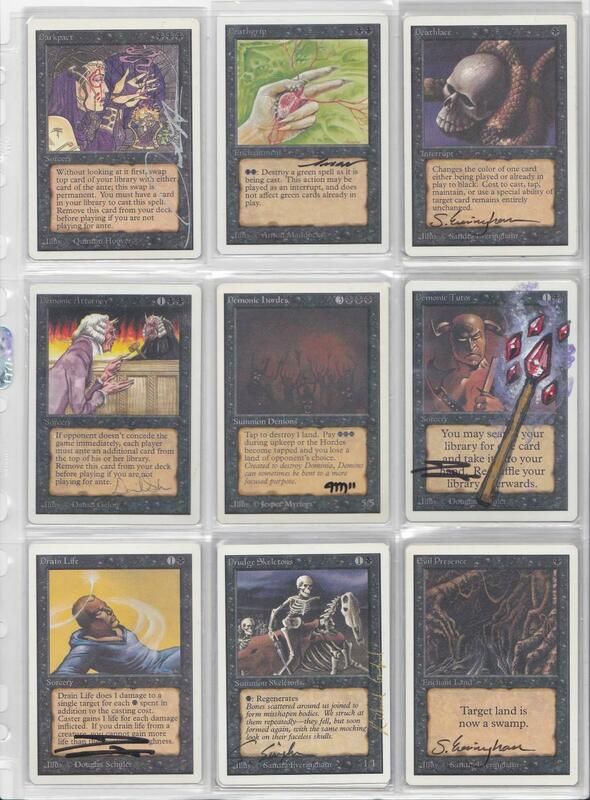 Last edited by markers on Sun May 04, 2014 9:21 am, edited 1 time in total. 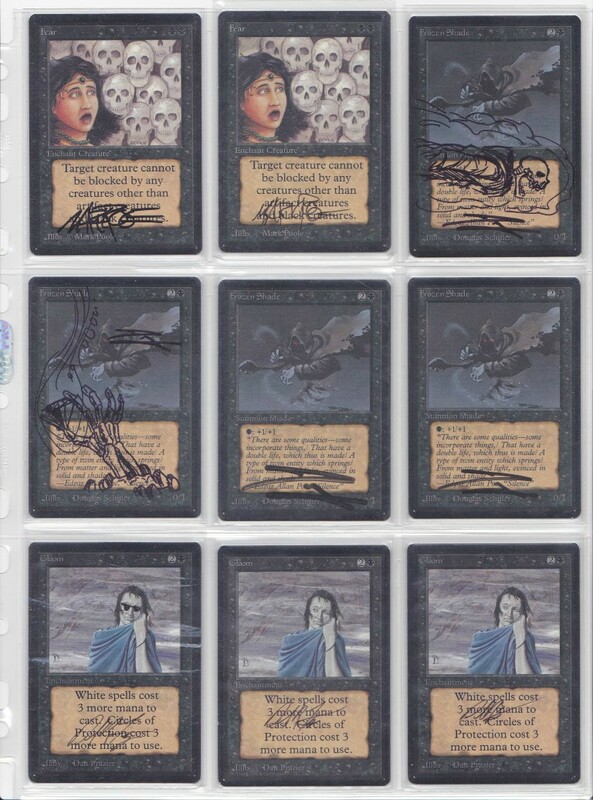 Last edited by markers on Sun May 04, 2014 9:25 am, edited 1 time in total. 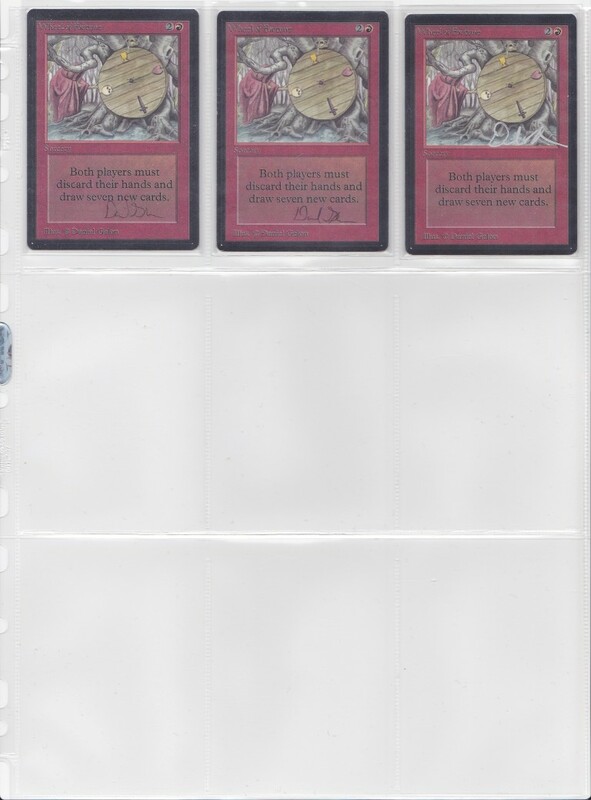 Last edited by markers on Fri Apr 03, 2015 8:00 am, edited 3 times in total. 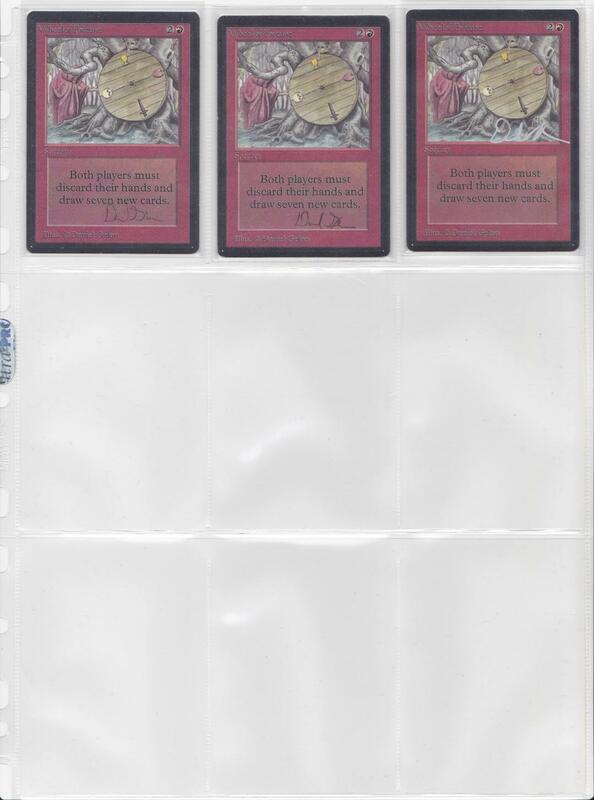 Last edited by markers on Tue Jul 22, 2014 5:59 pm, edited 2 times in total. 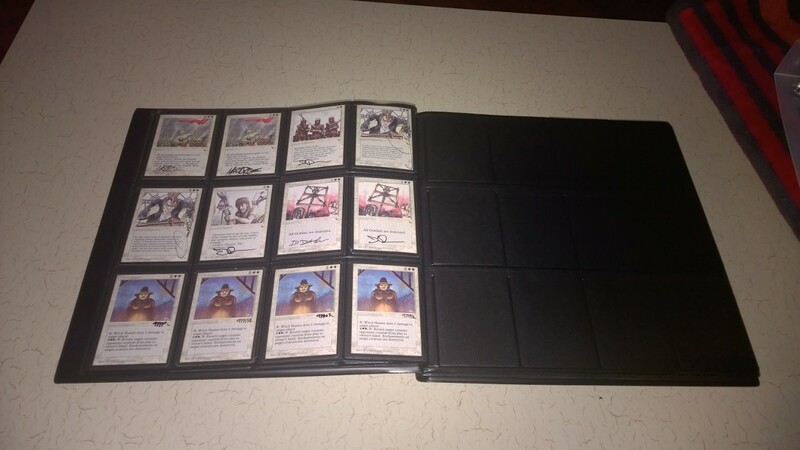 Last edited by markers on Wed Dec 31, 2014 11:48 am, edited 2 times in total.